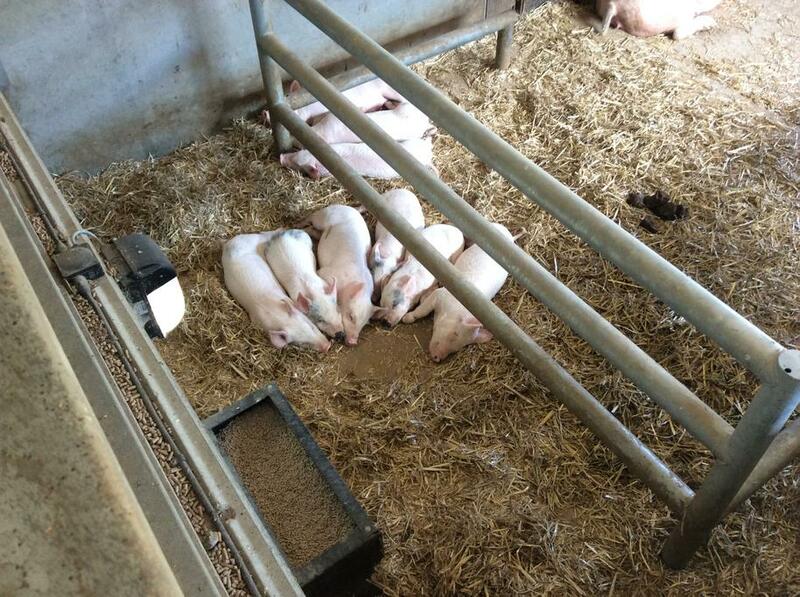 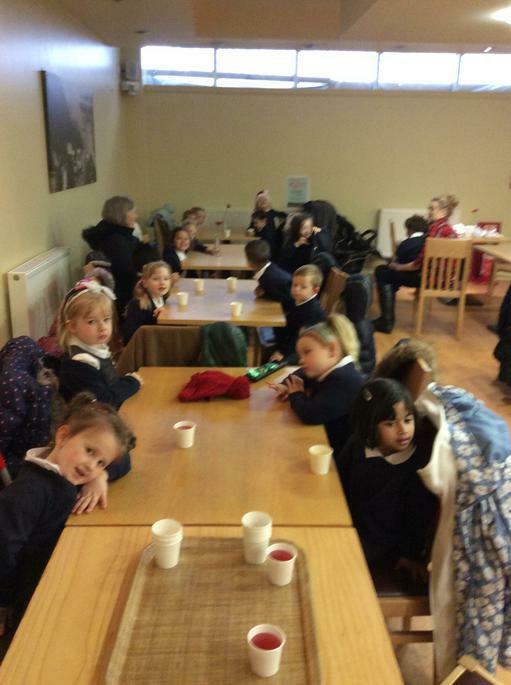 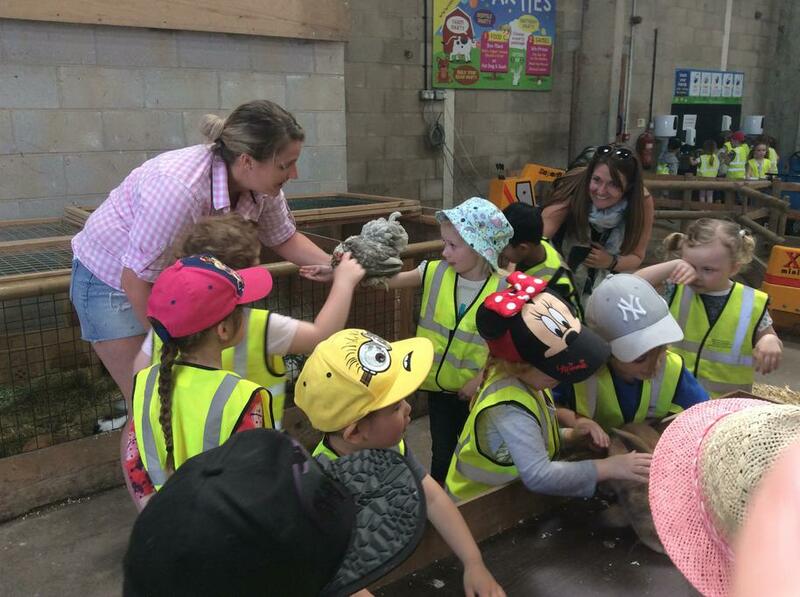 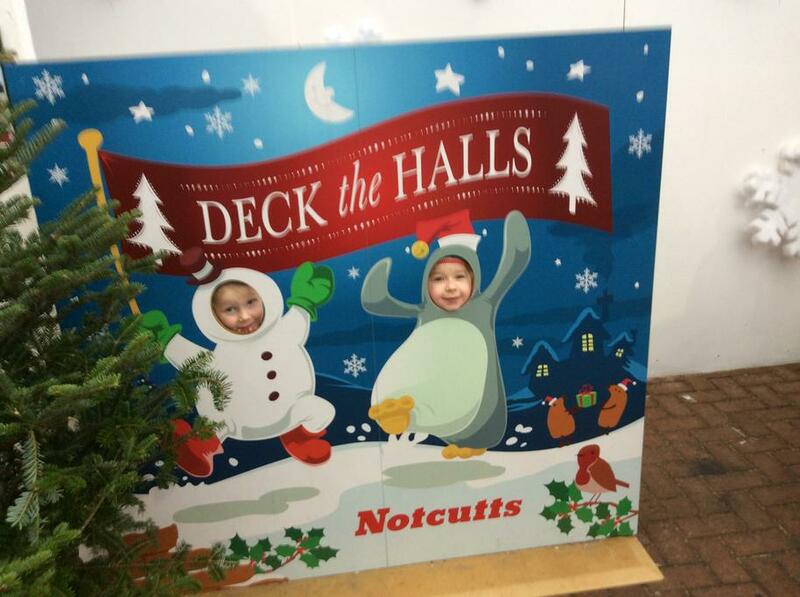 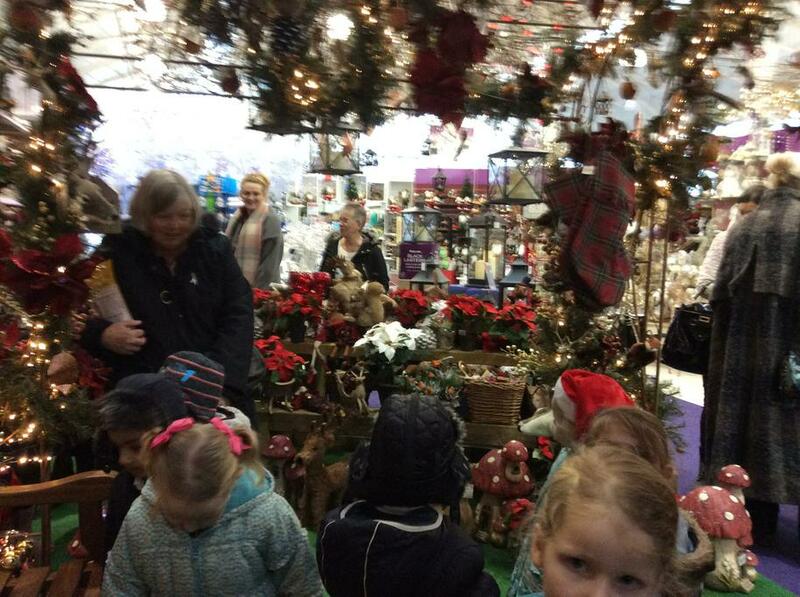 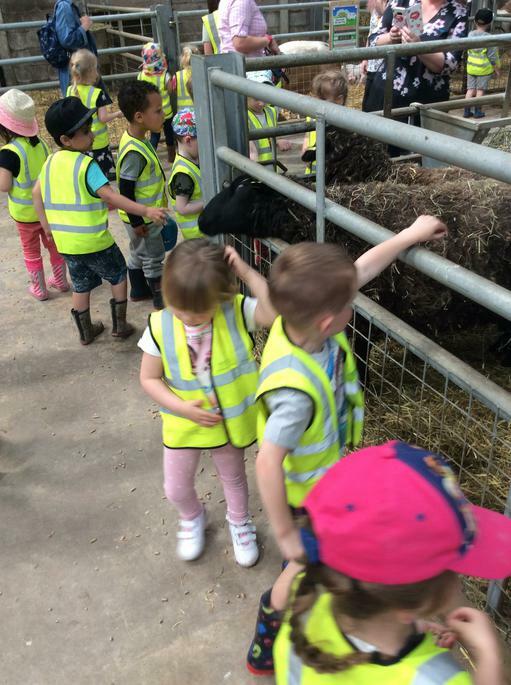 We had a lovely time at Cockfields farm. 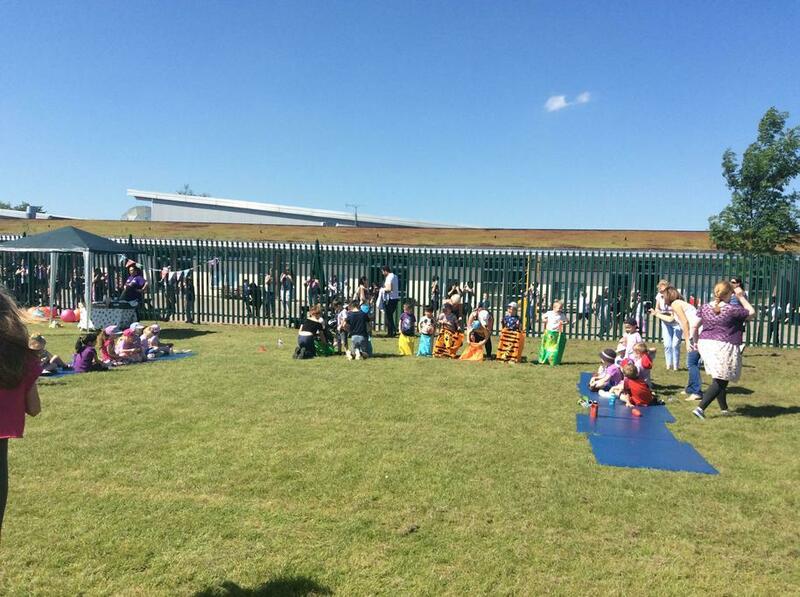 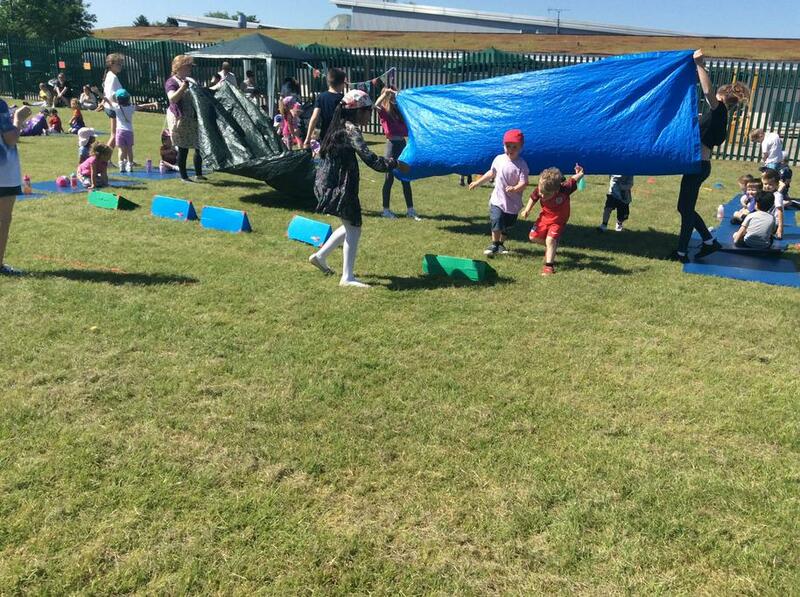 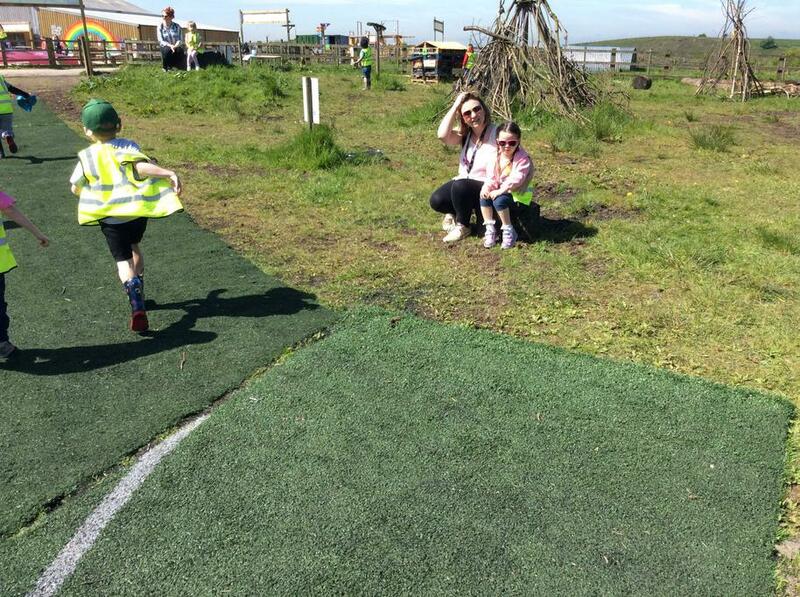 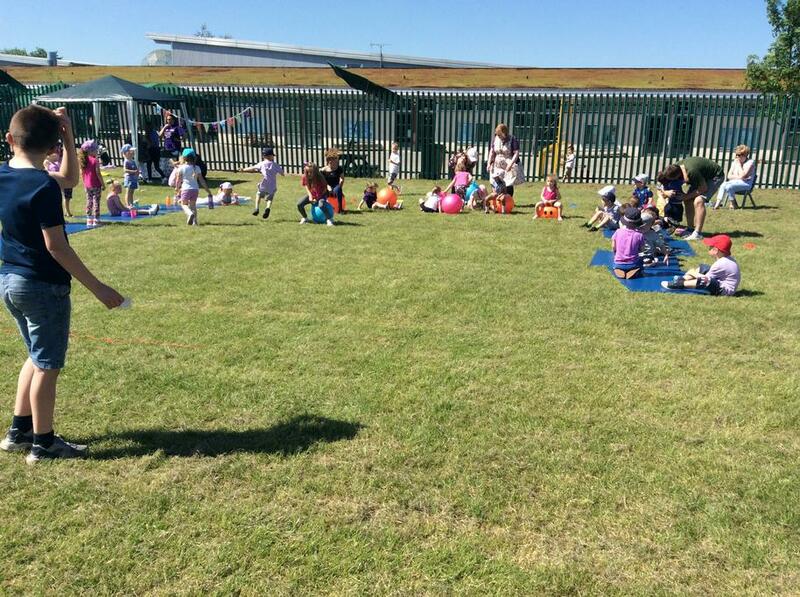 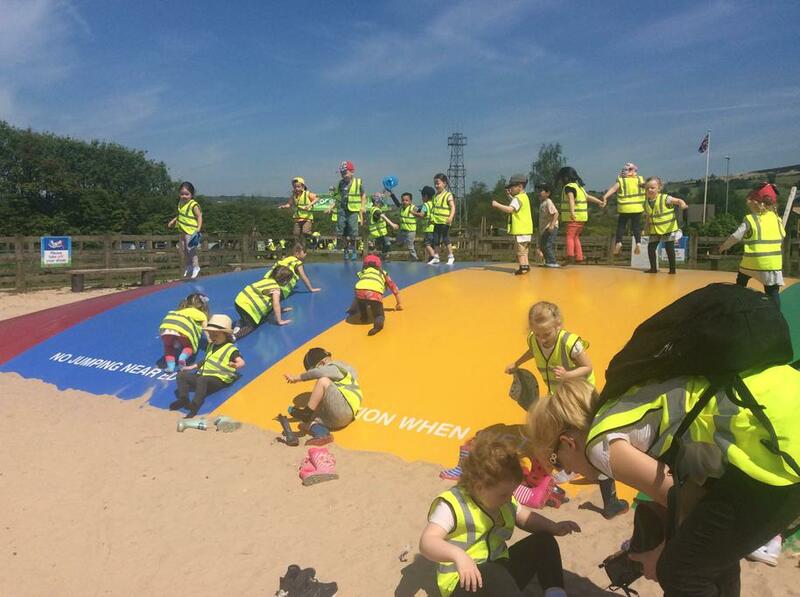 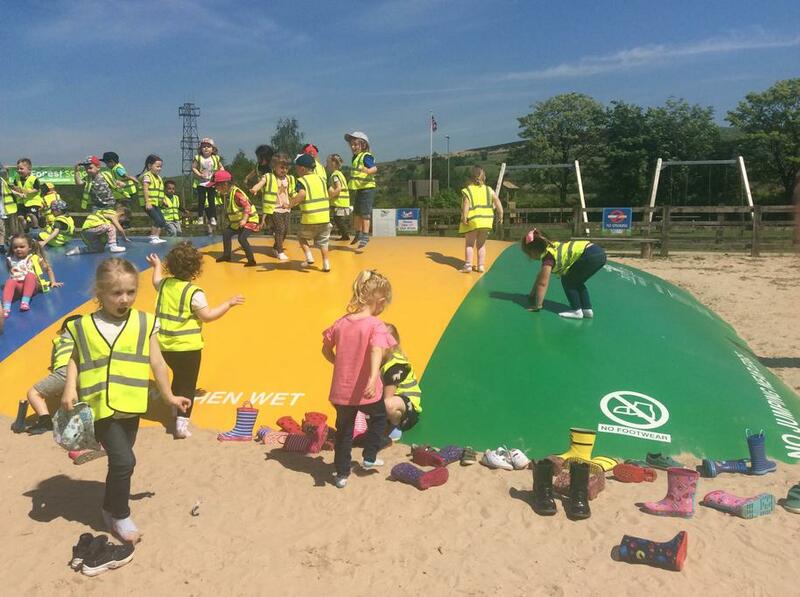 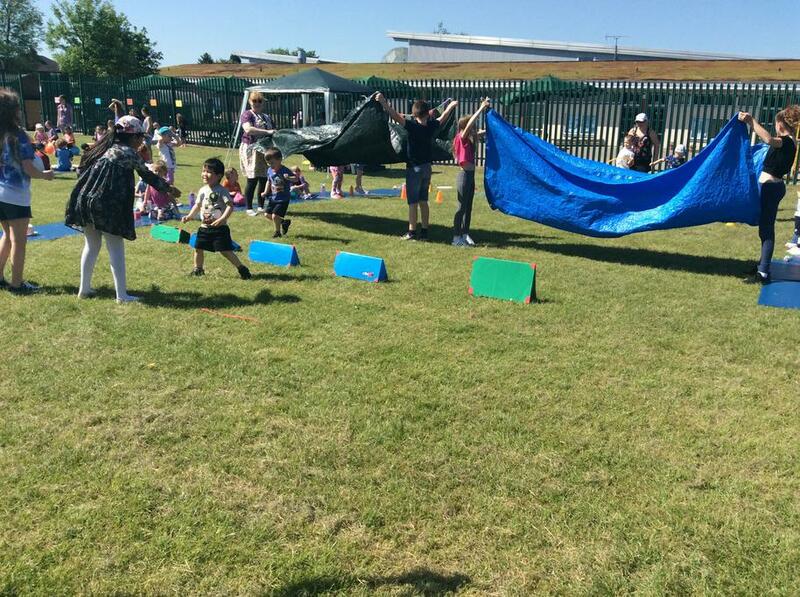 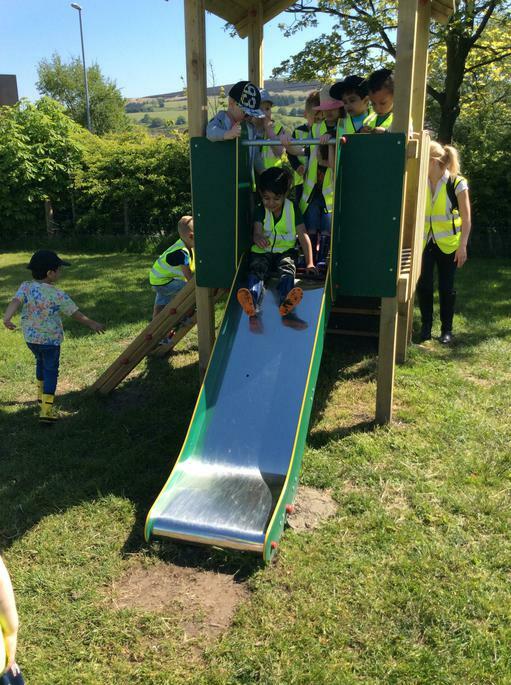 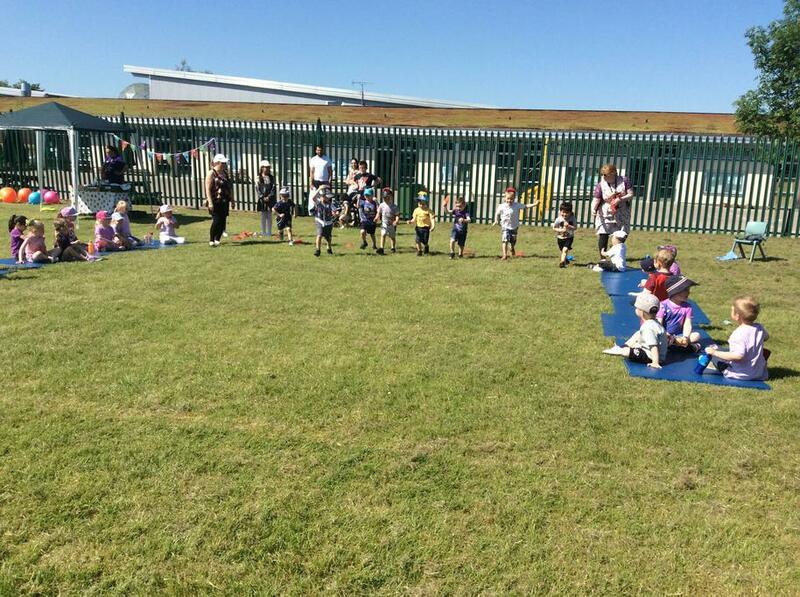 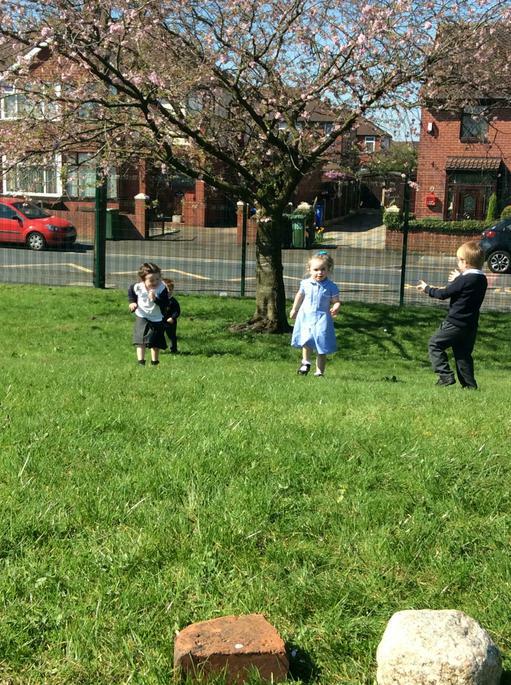 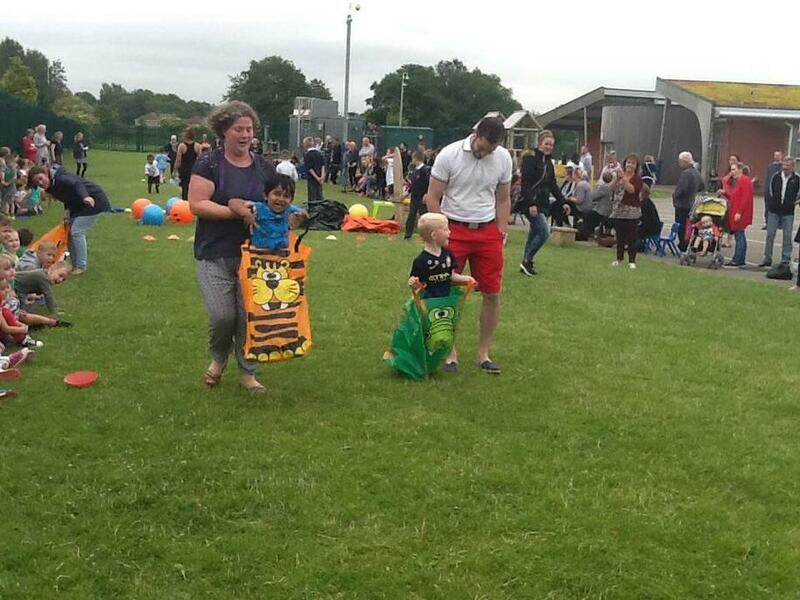 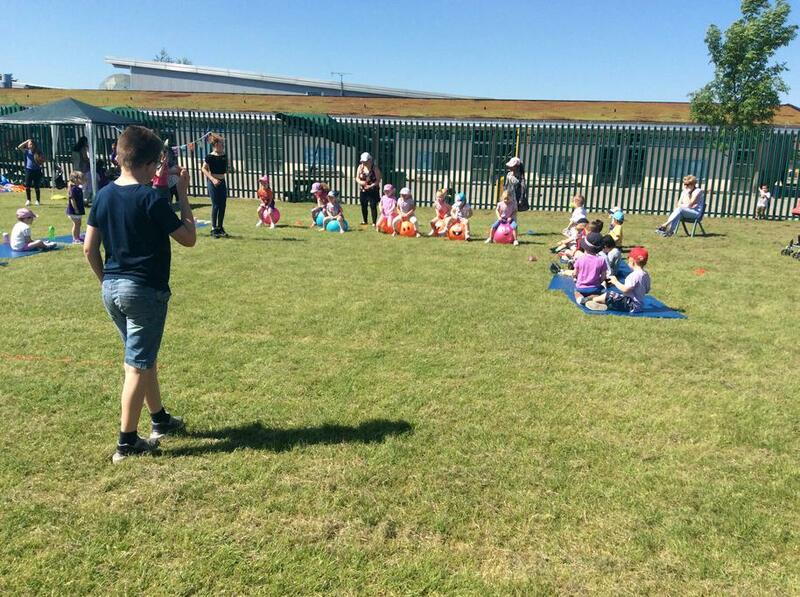 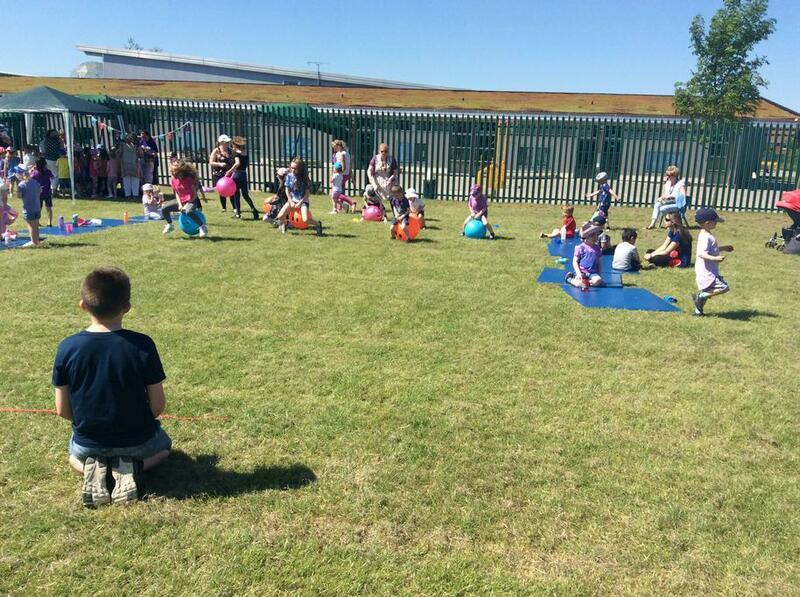 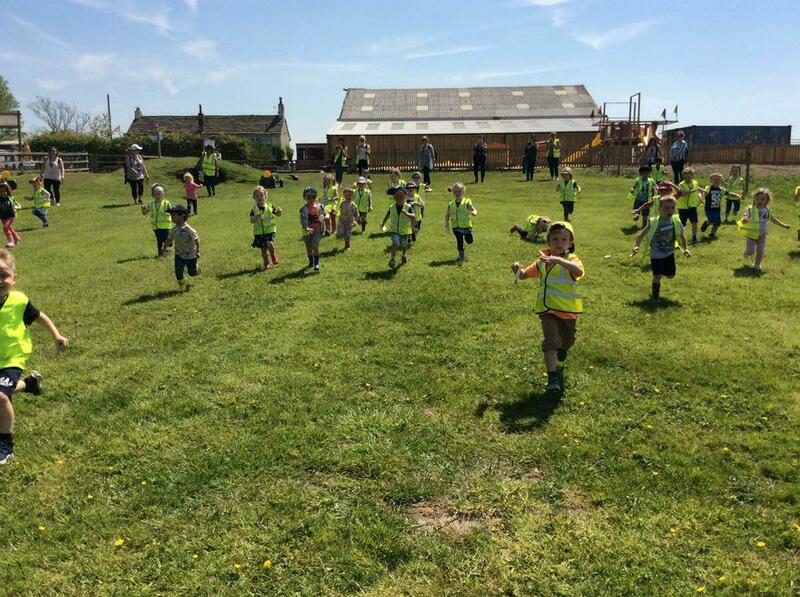 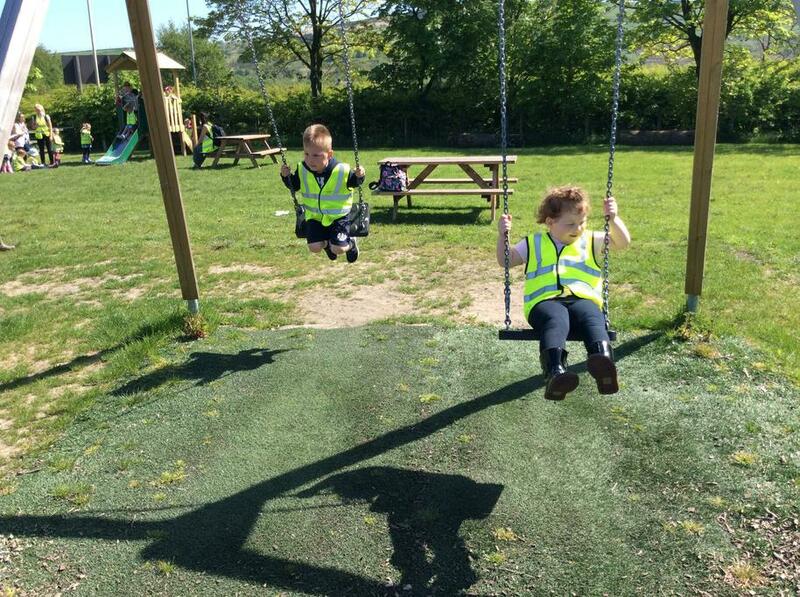 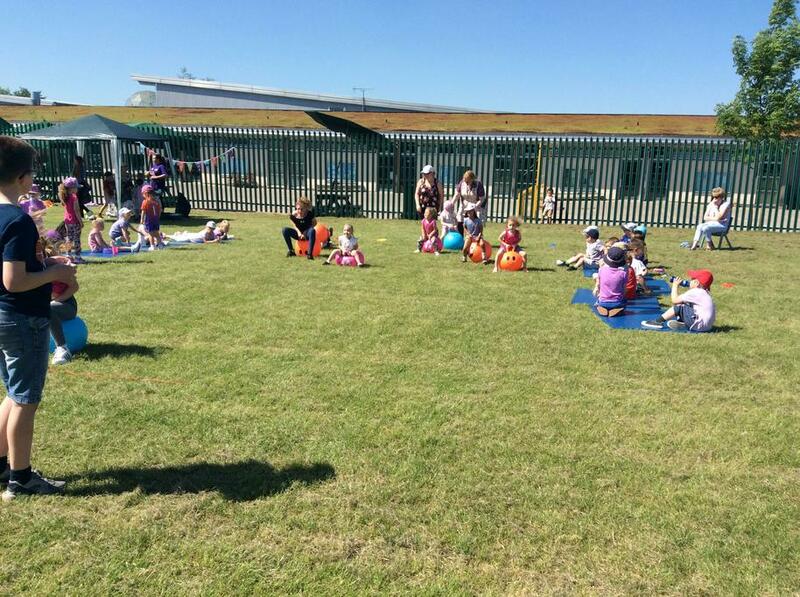 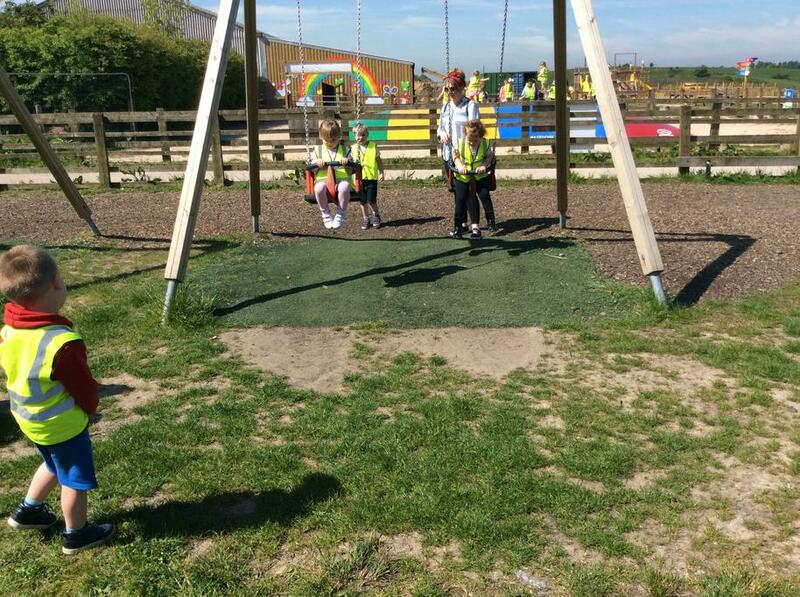 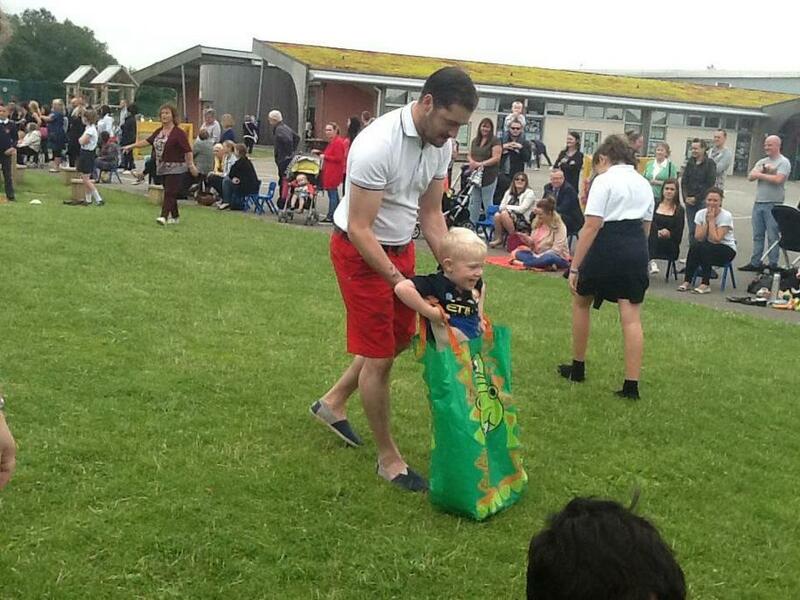 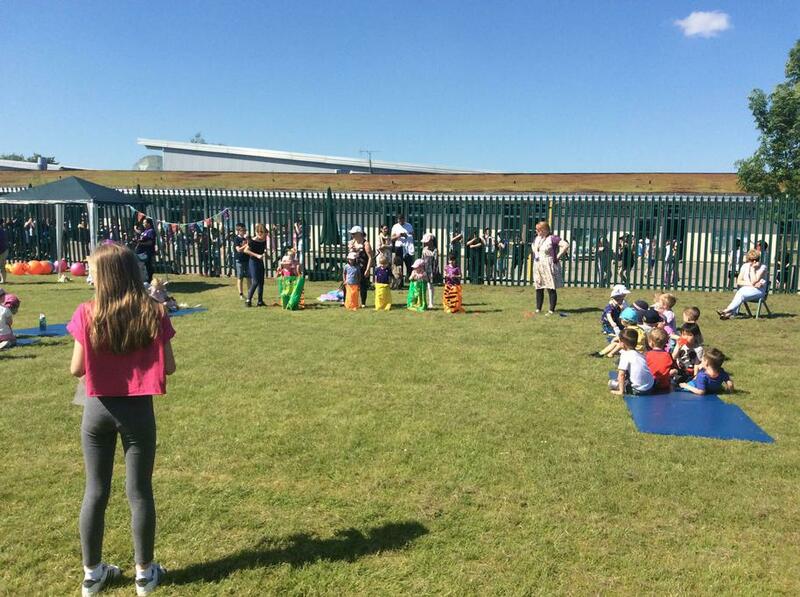 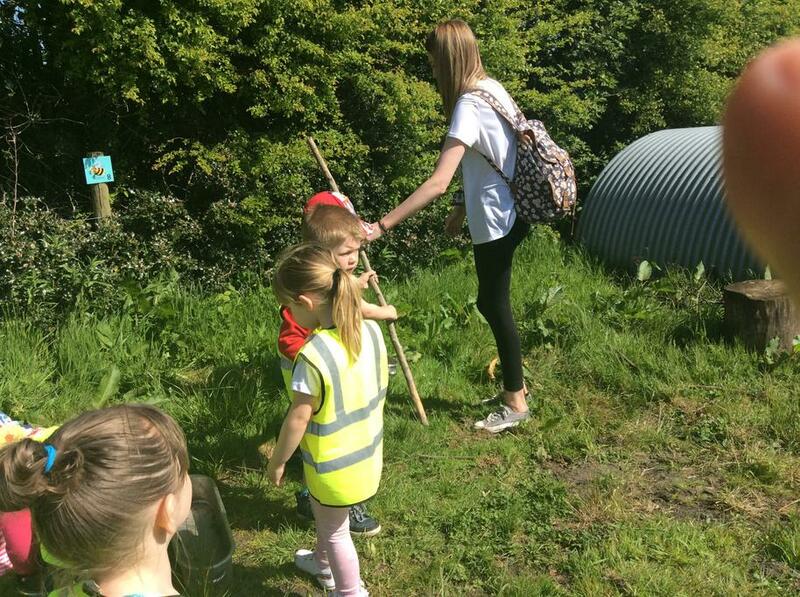 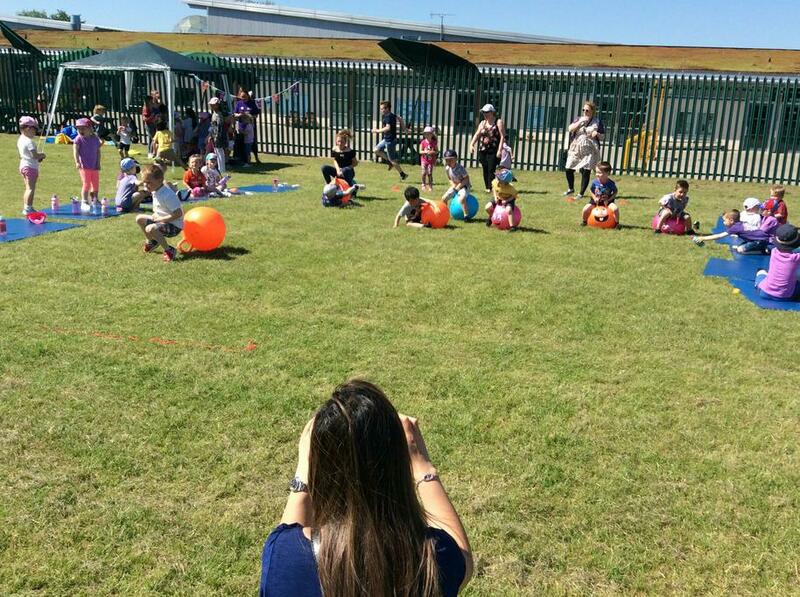 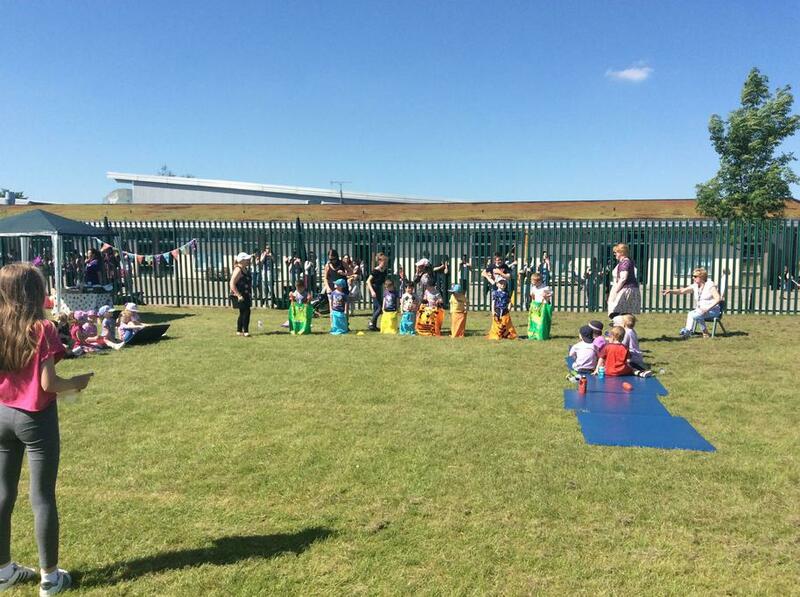 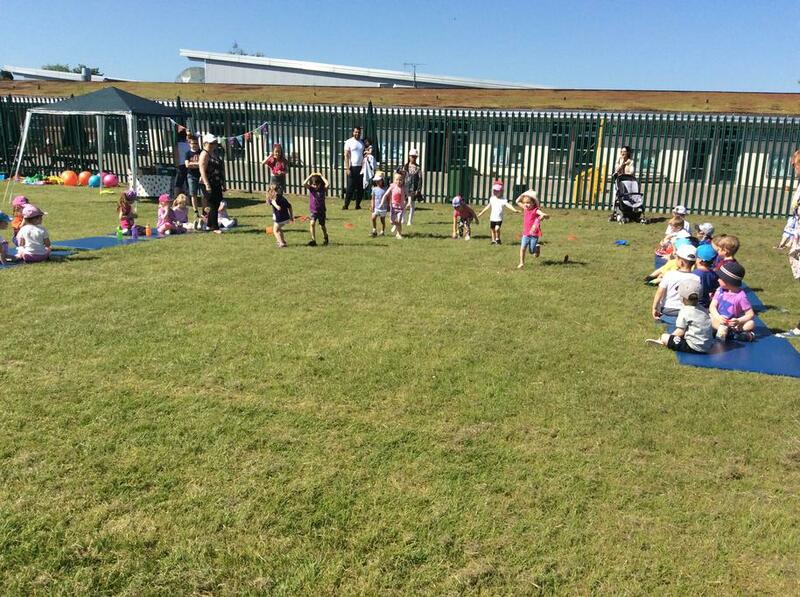 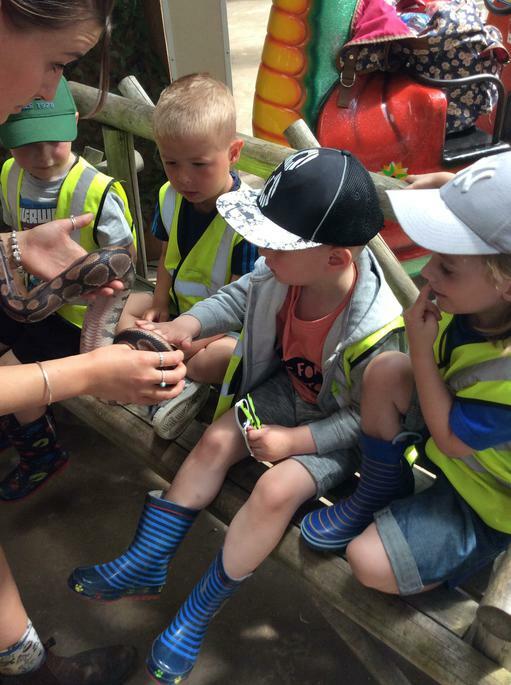 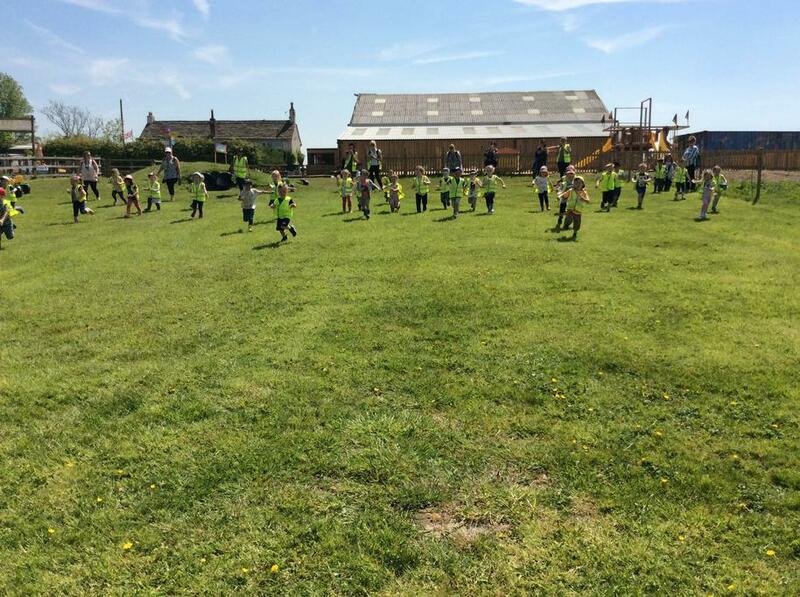 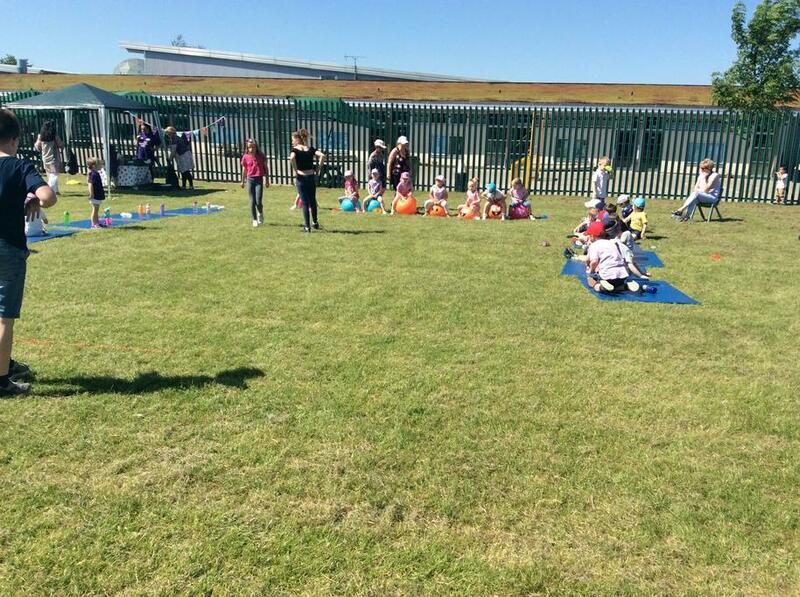 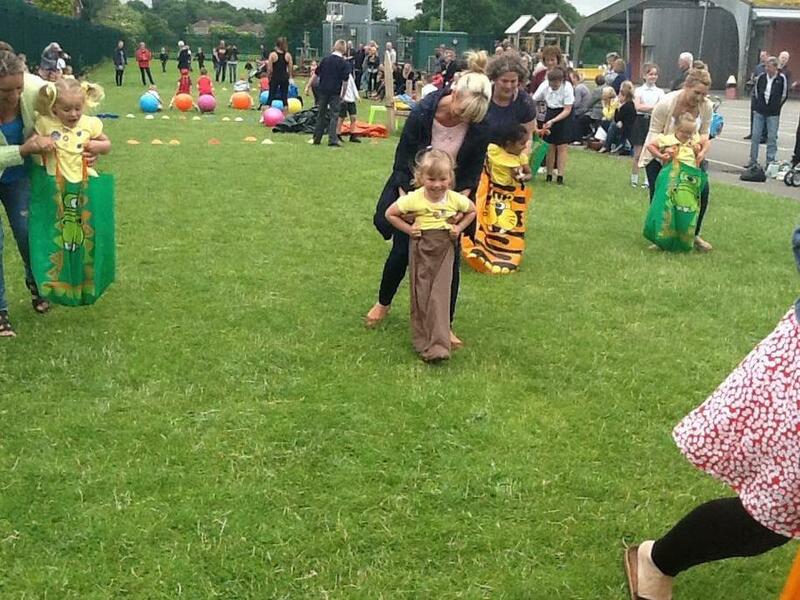 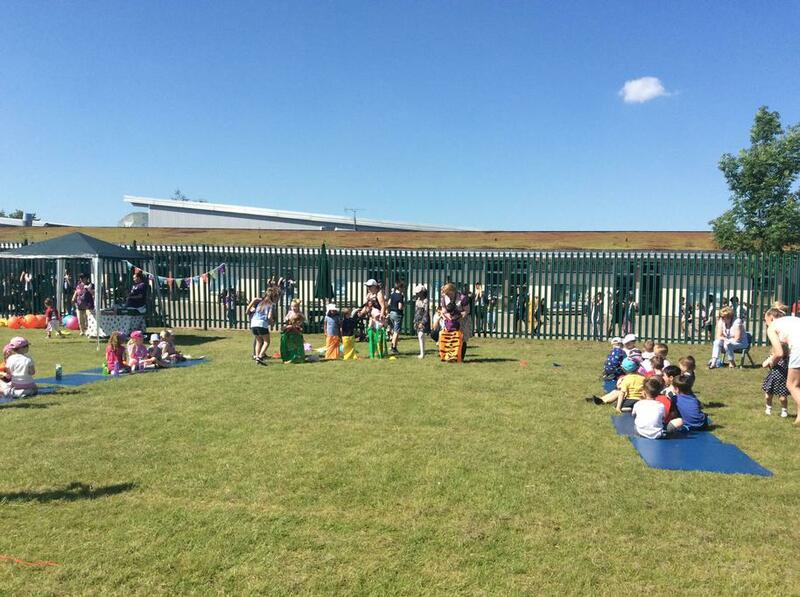 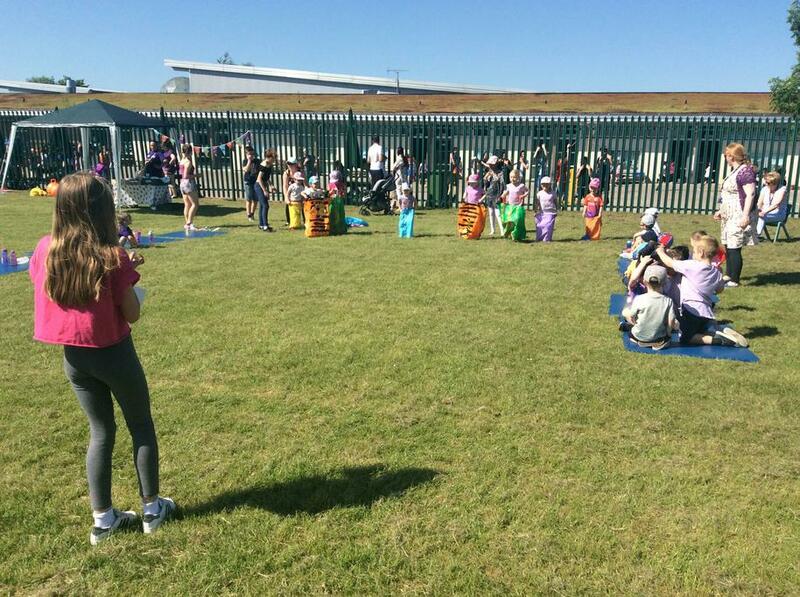 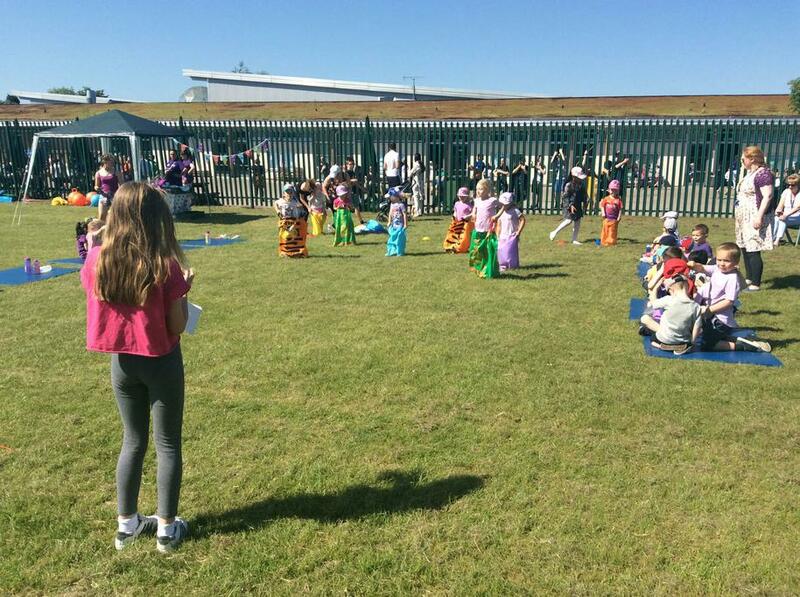 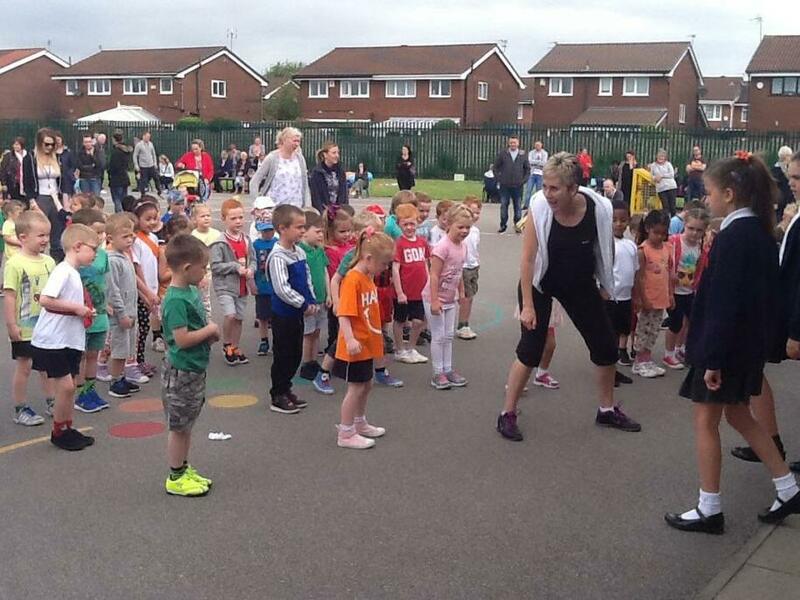 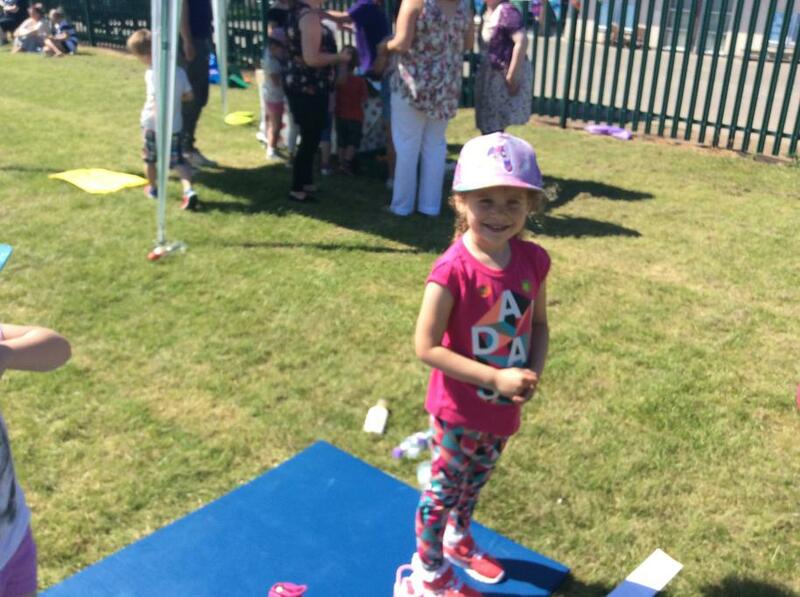 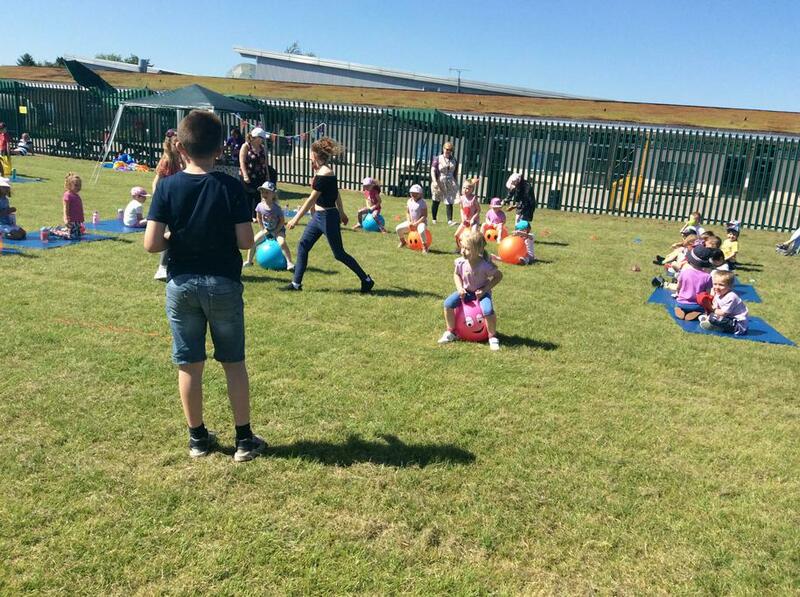 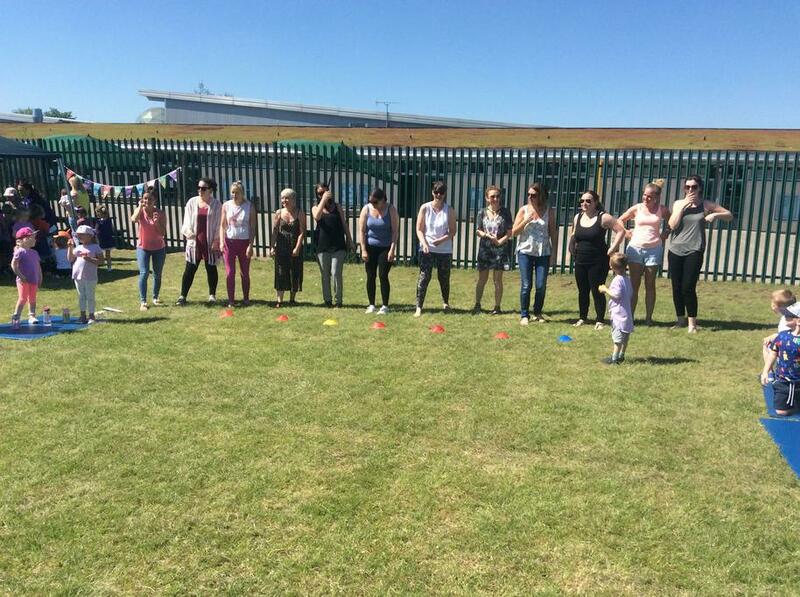 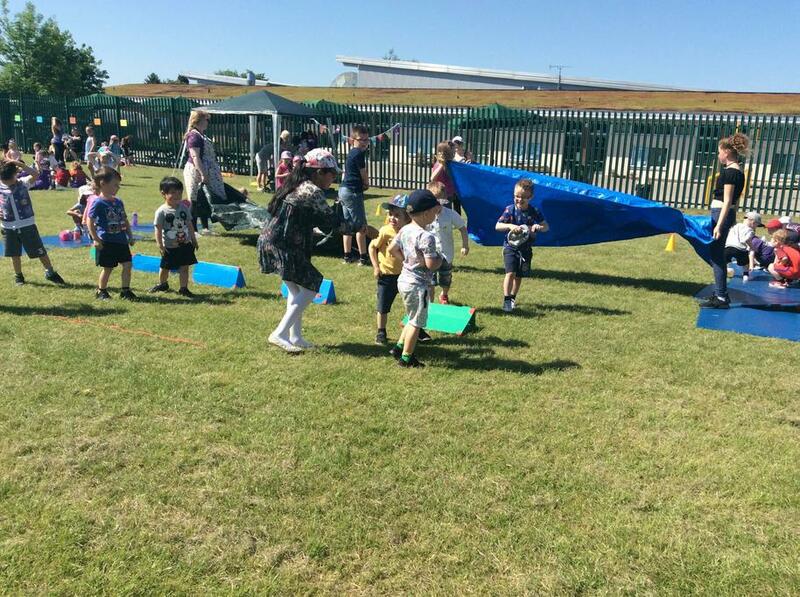 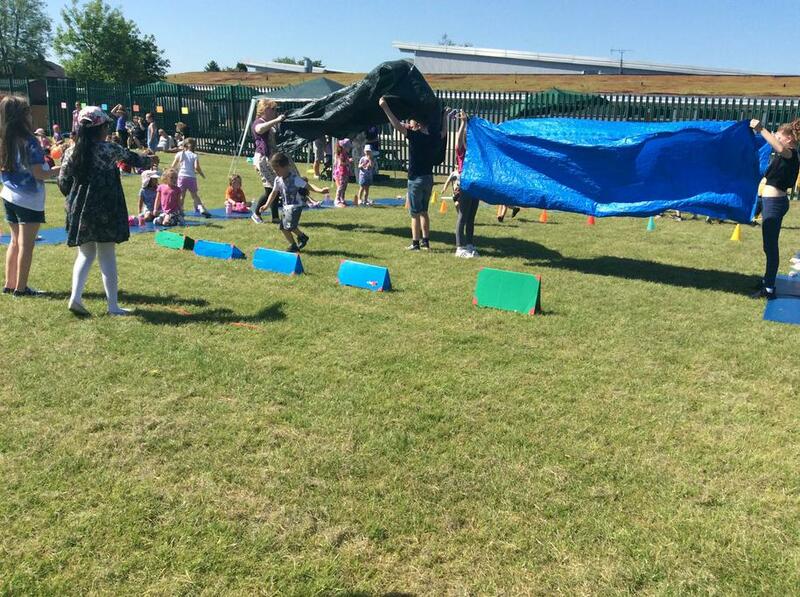 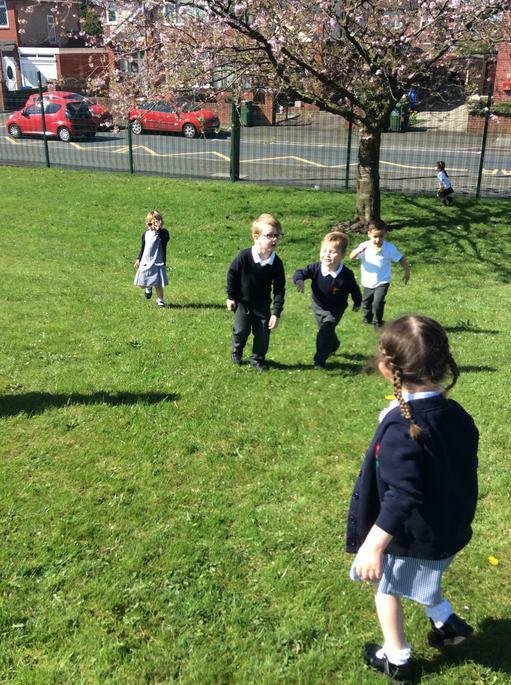 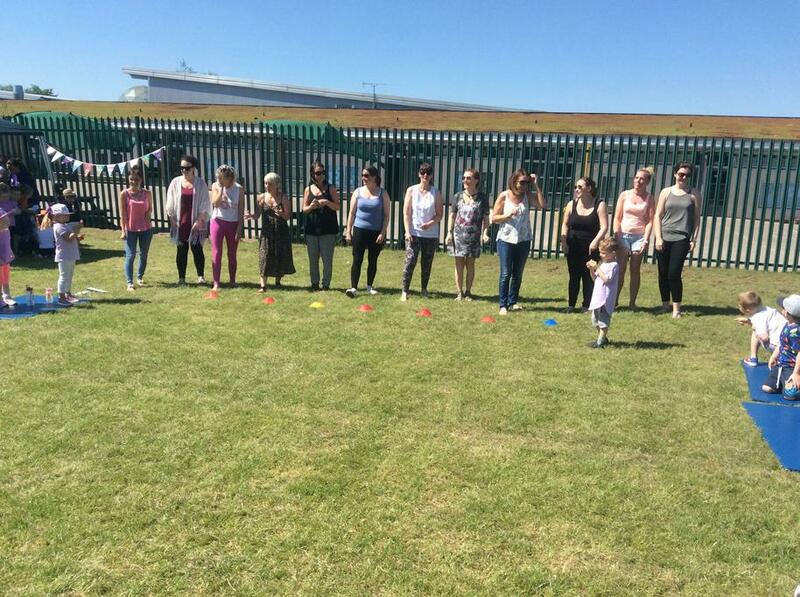 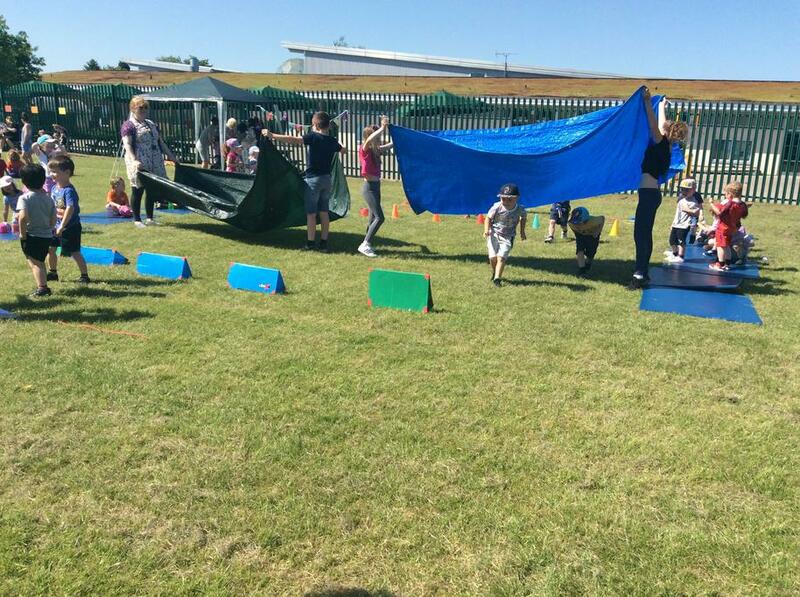 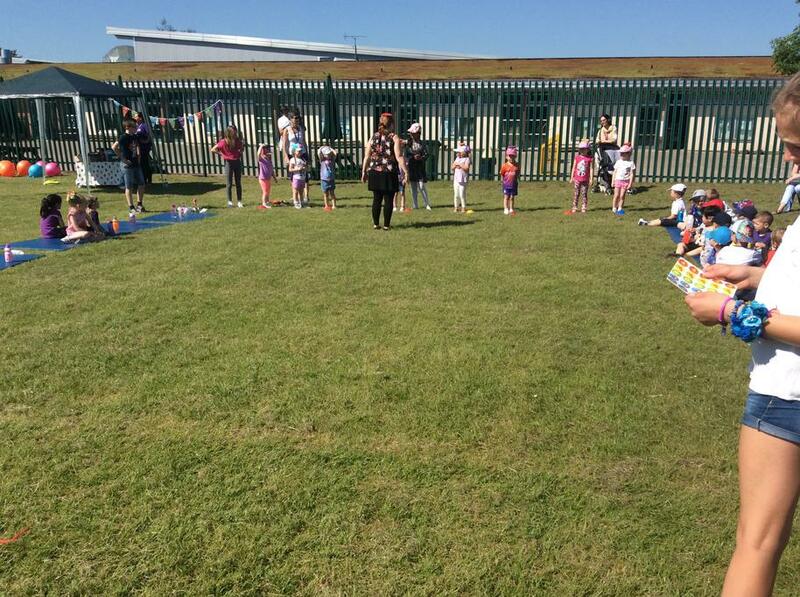 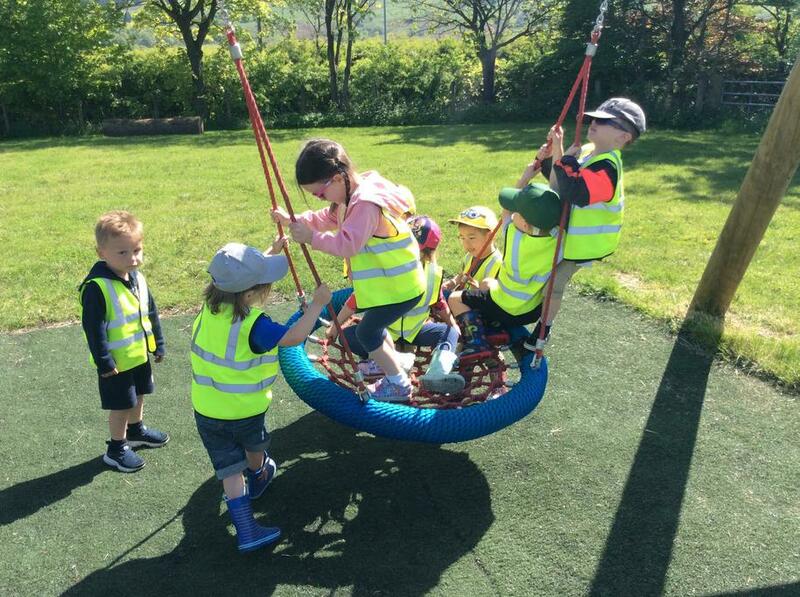 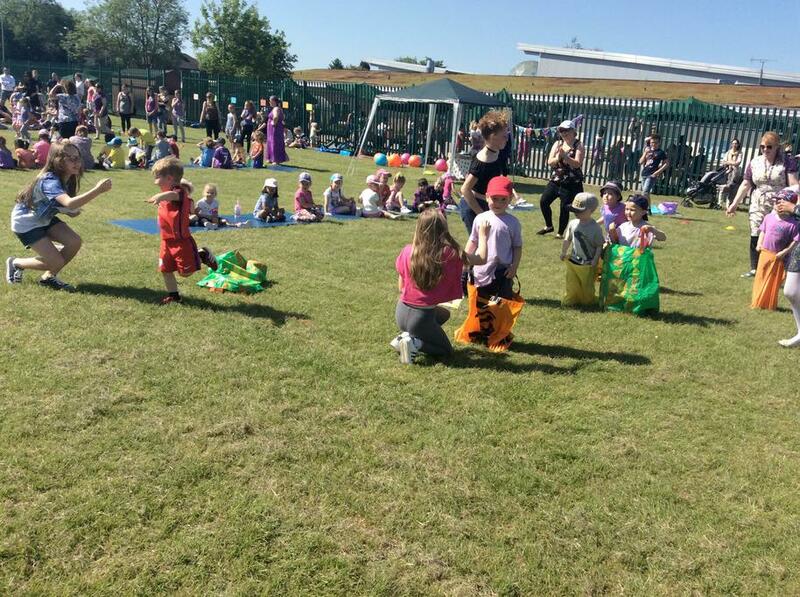 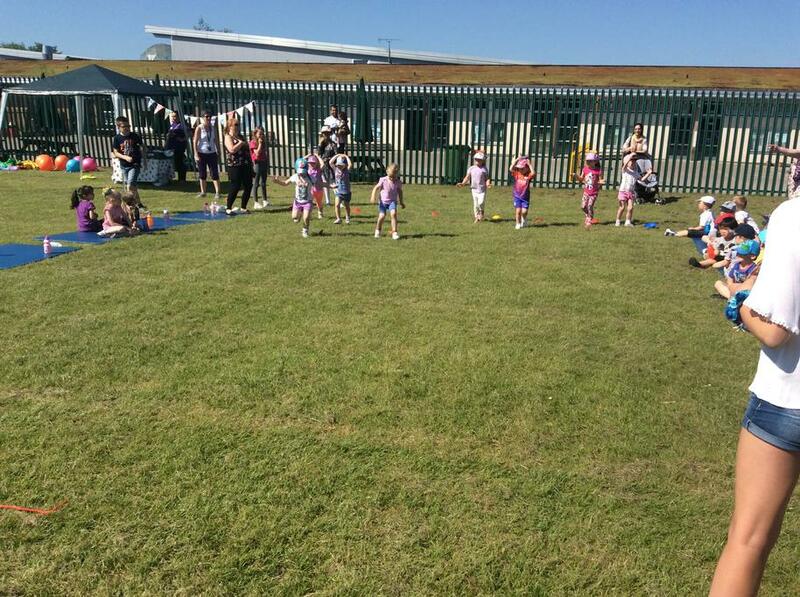 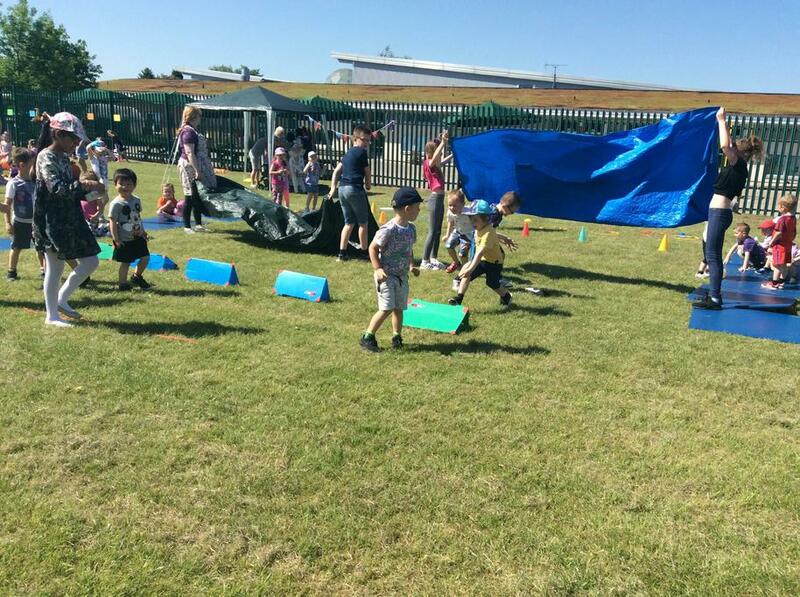 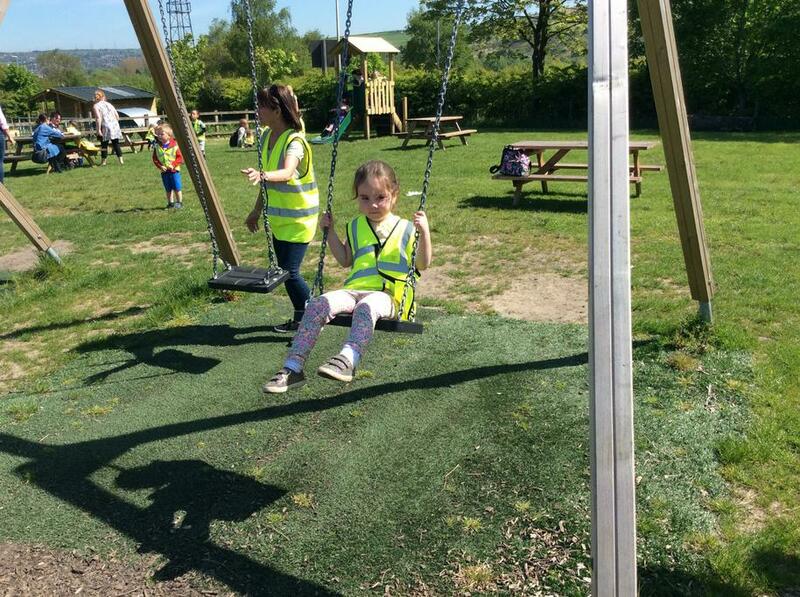 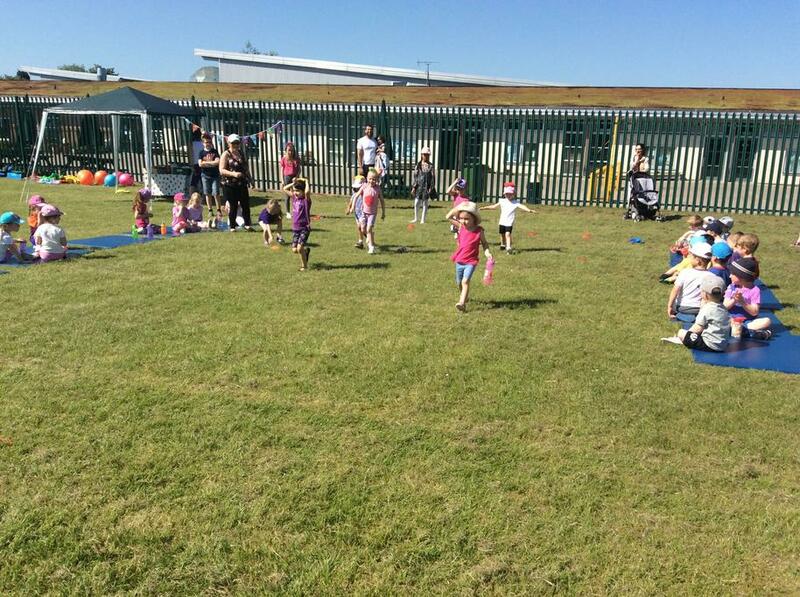 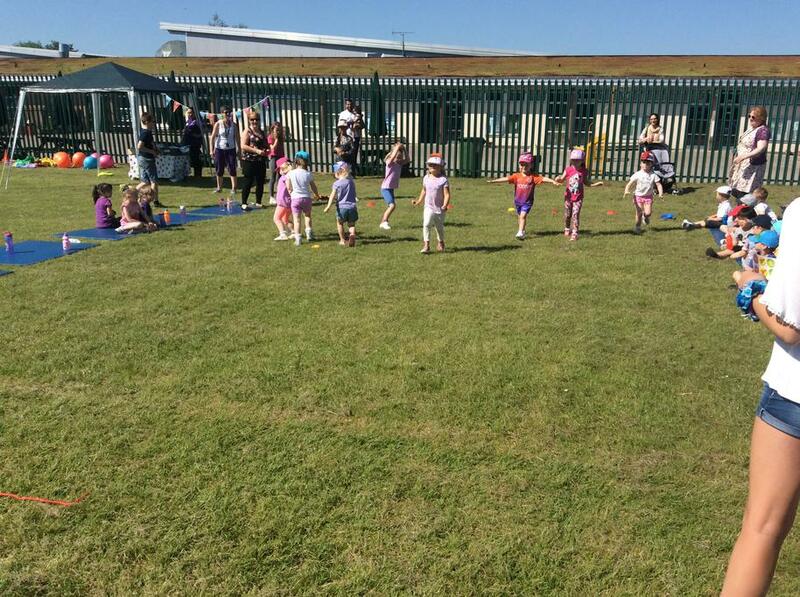 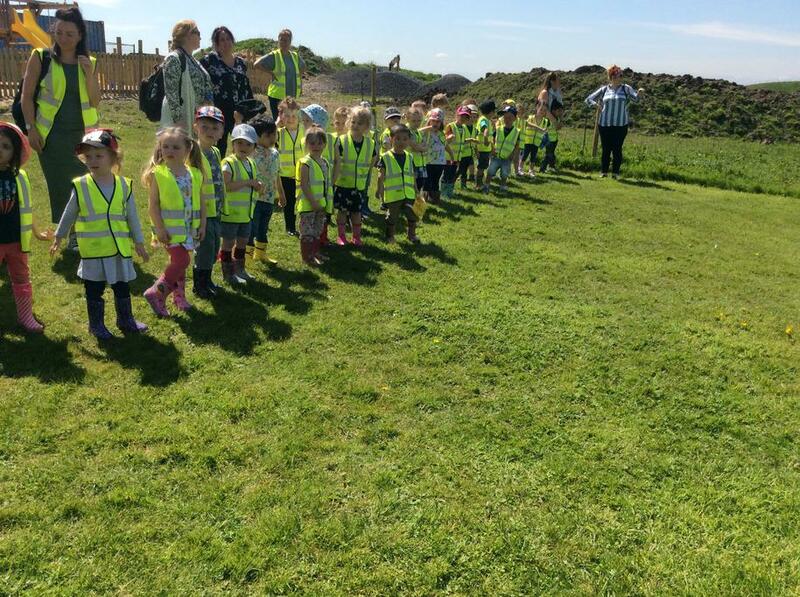 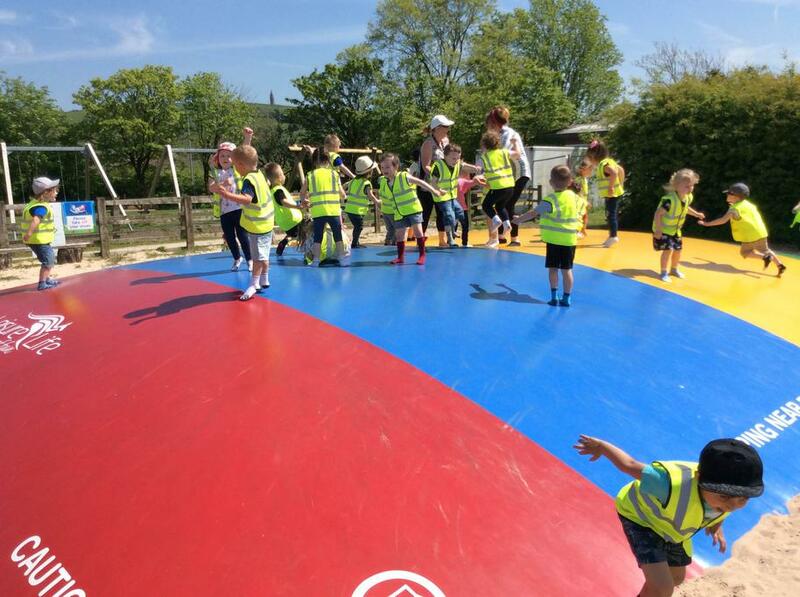 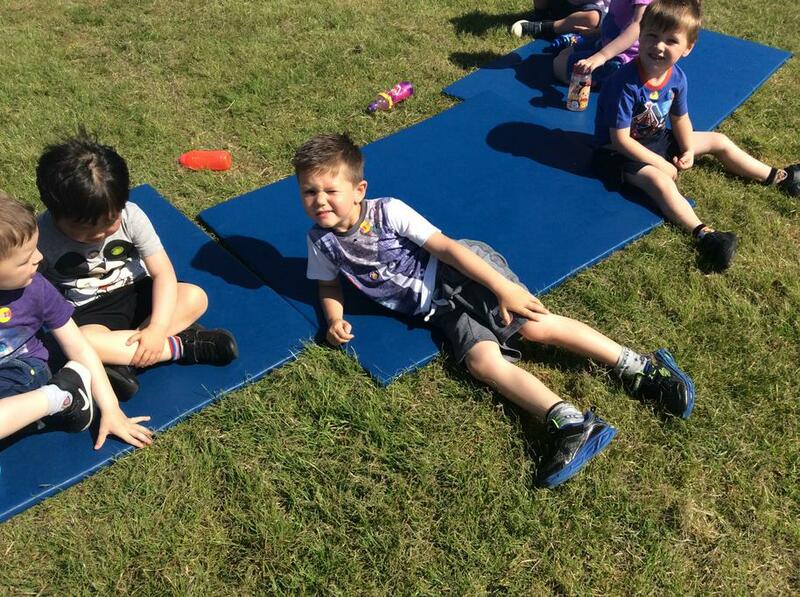 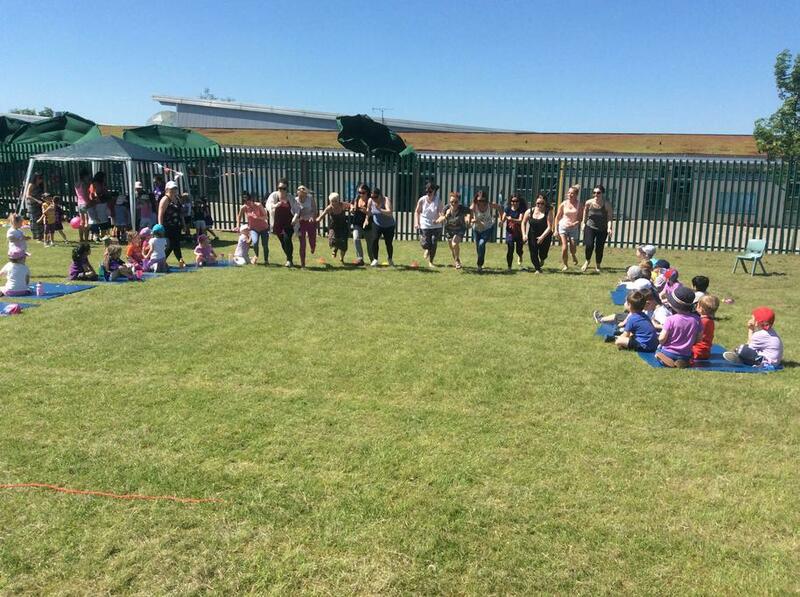 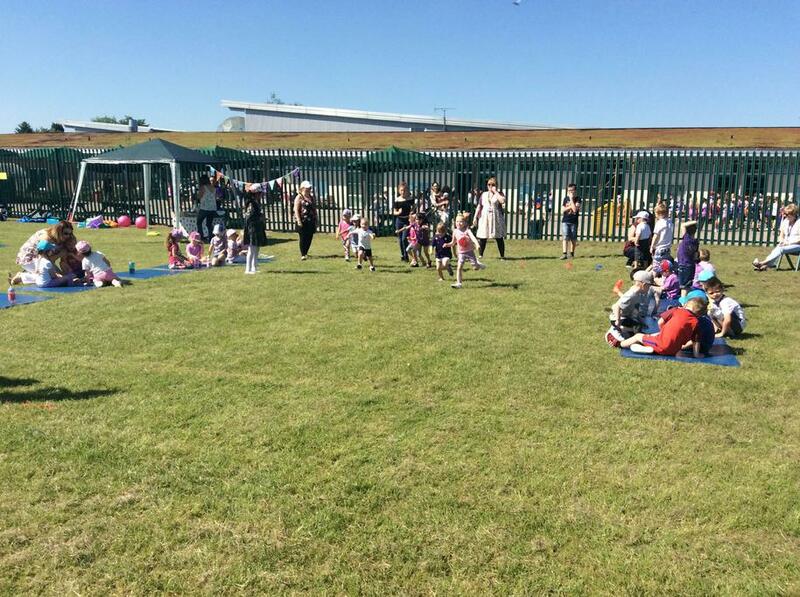 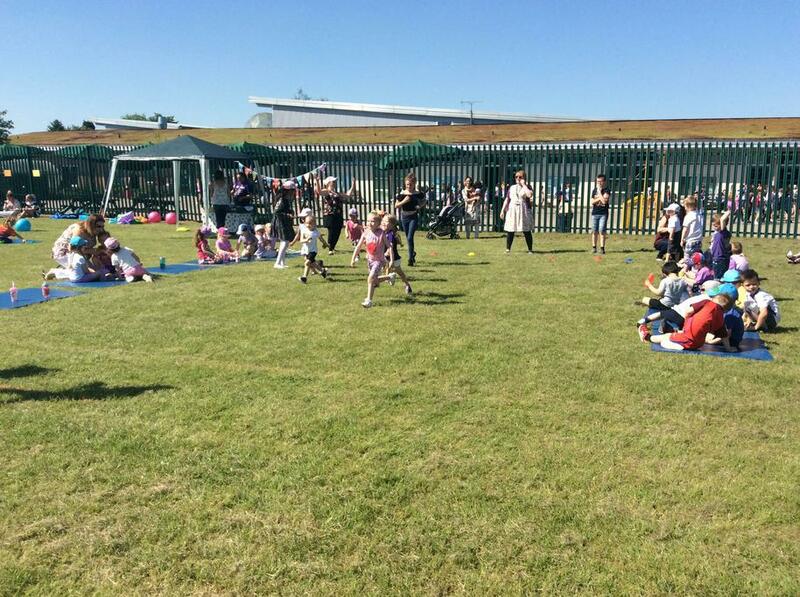 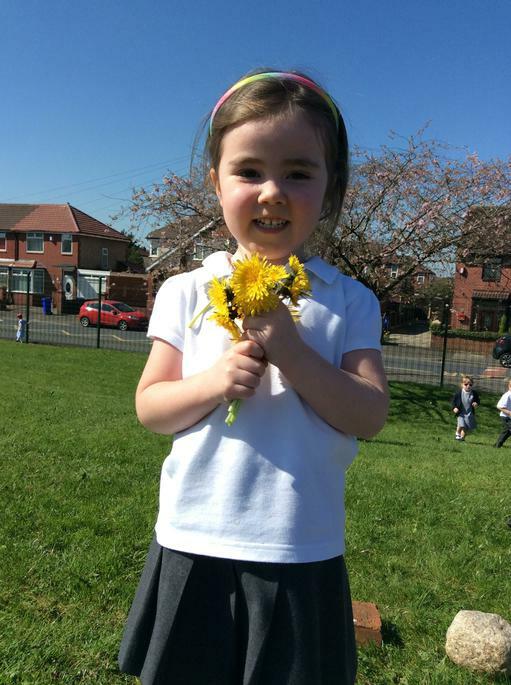 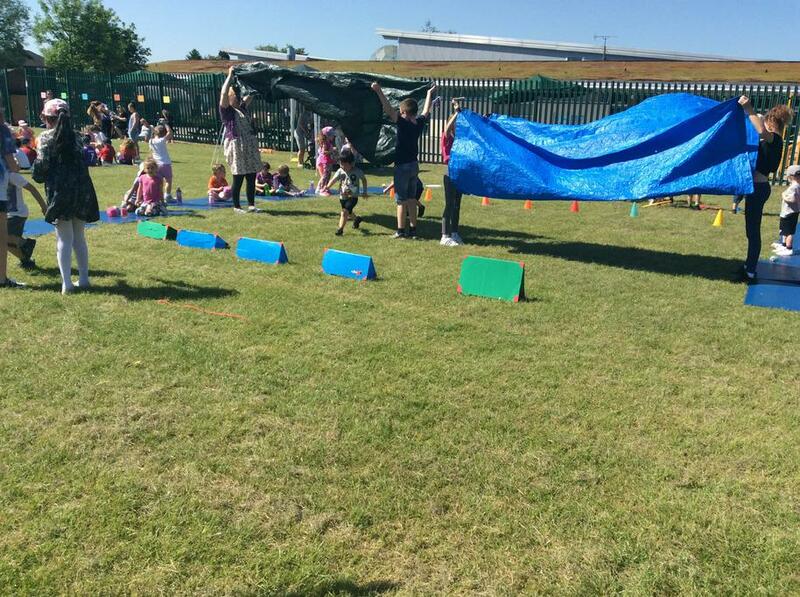 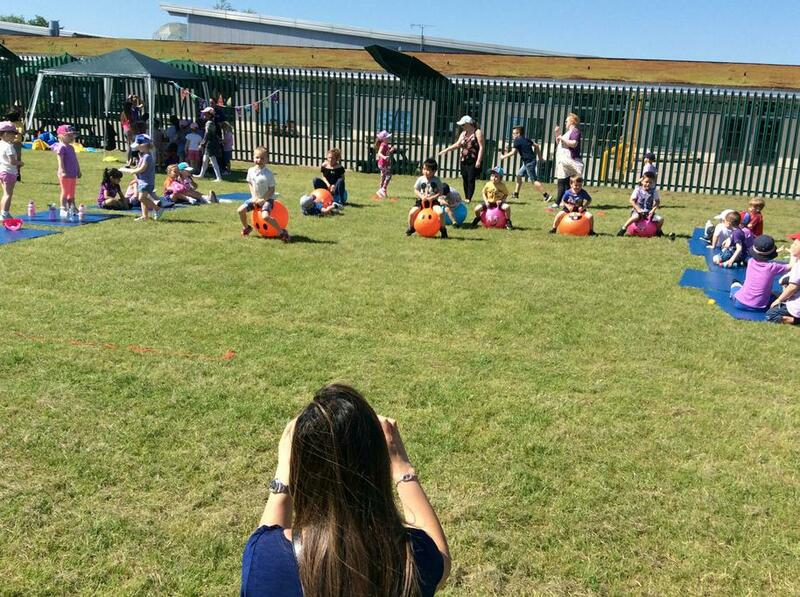 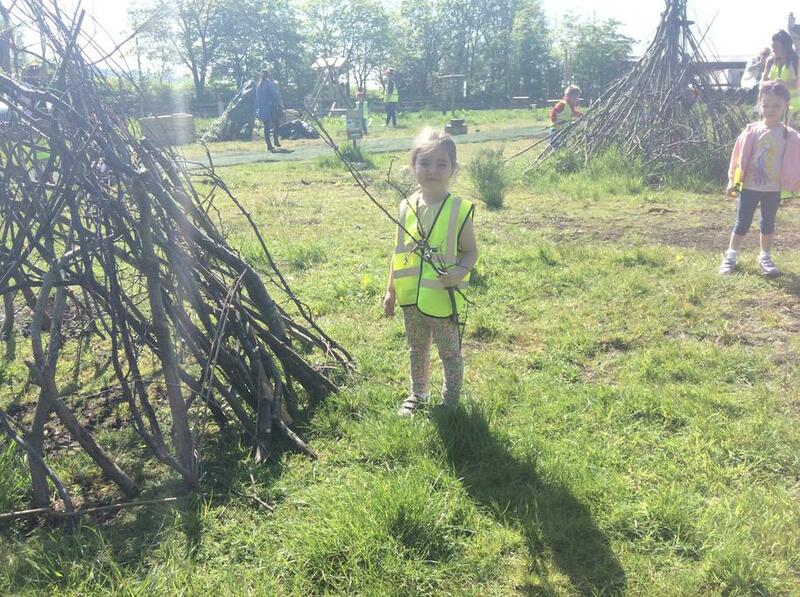 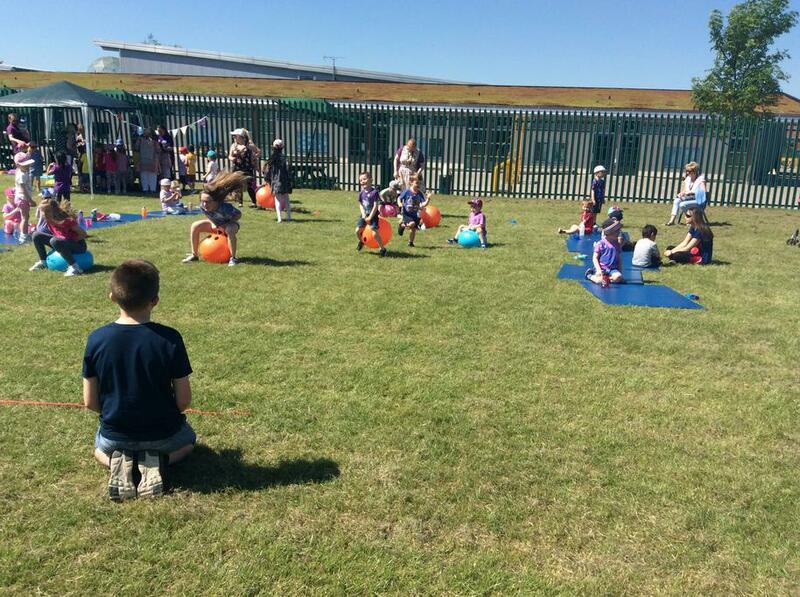 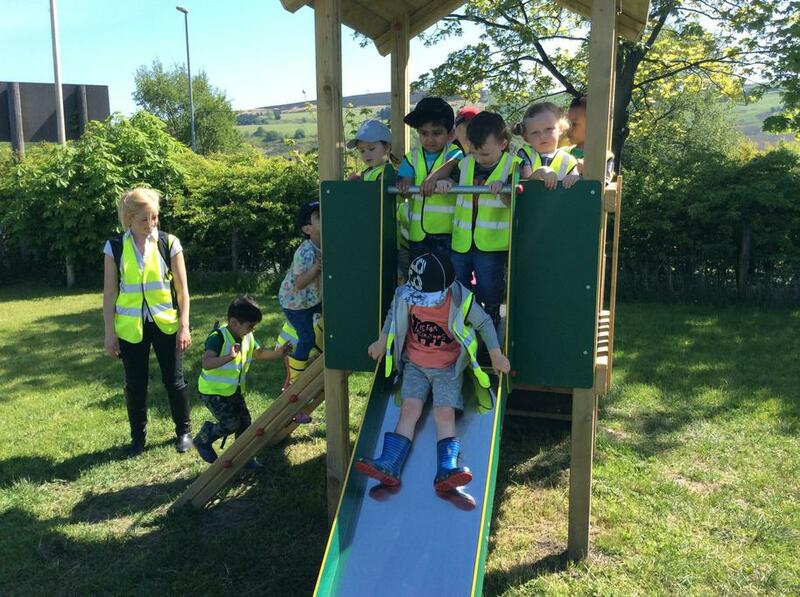 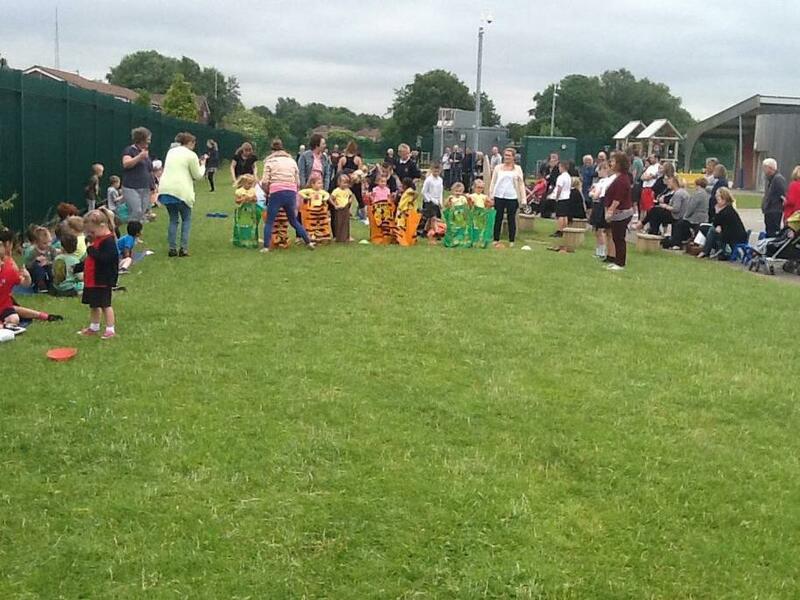 The weather was great and the children were all fantastic! 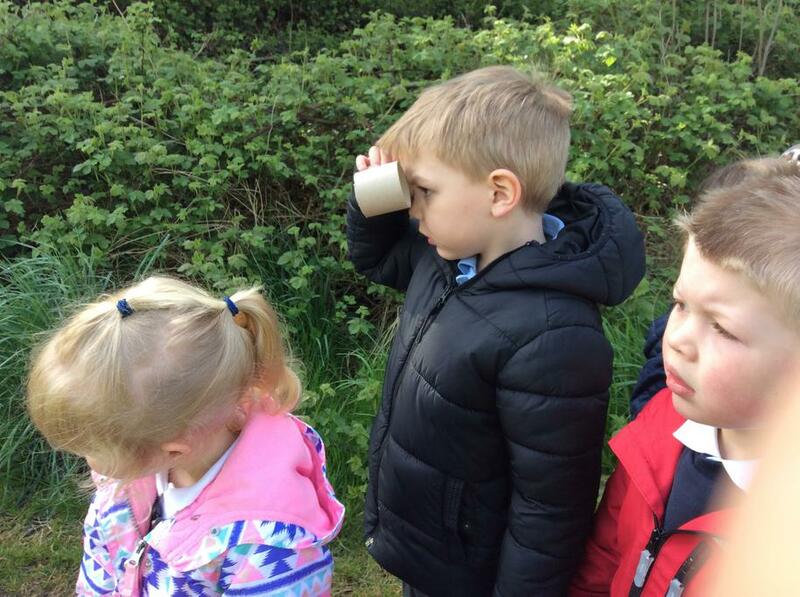 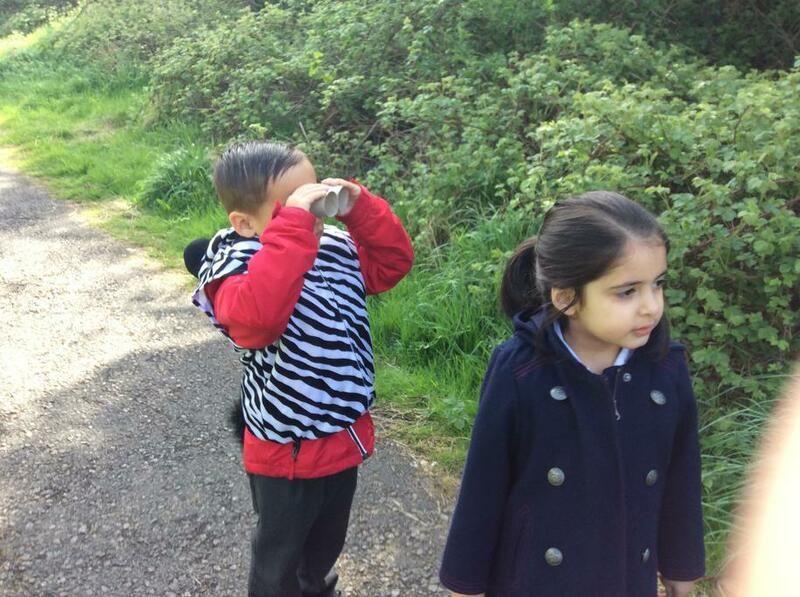 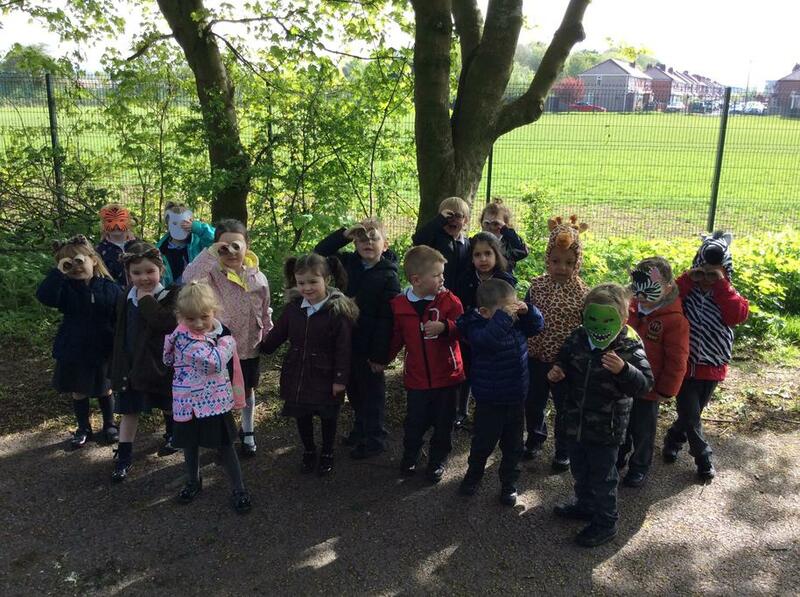 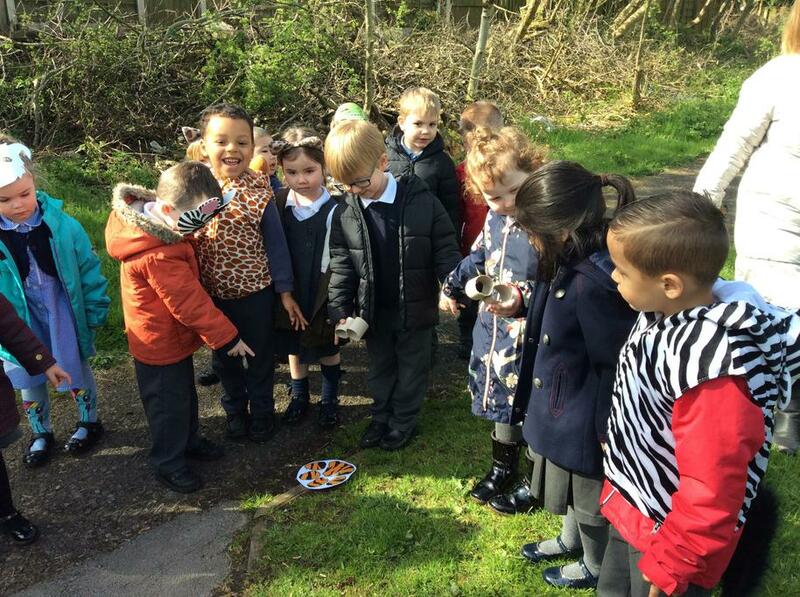 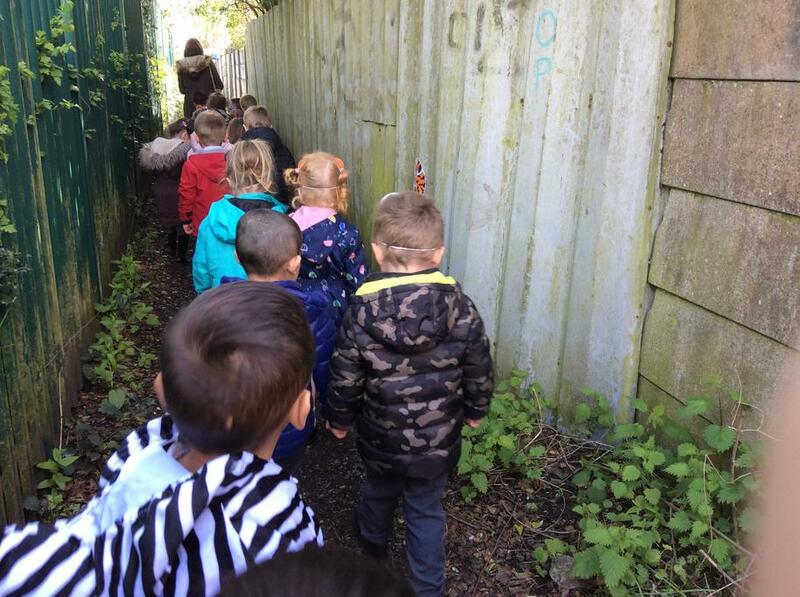 We enjoyed exploring the forest and seeing lots of different animals. 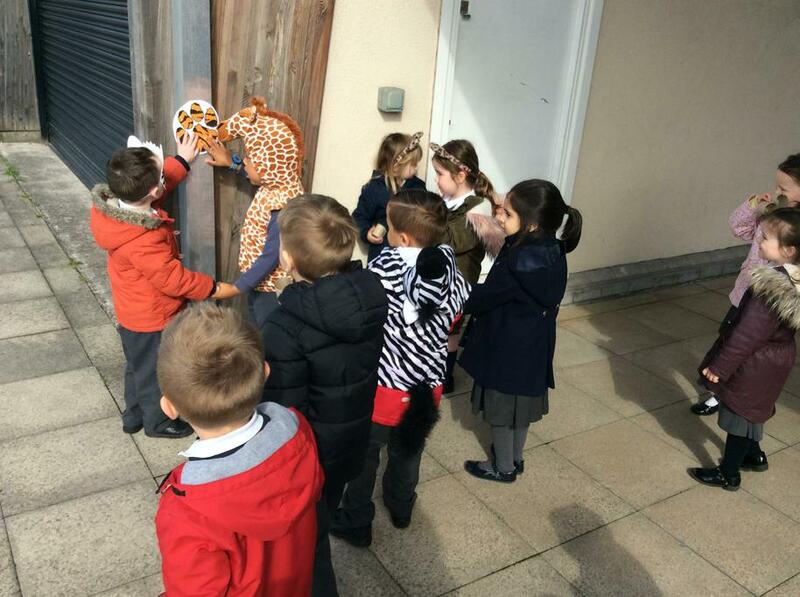 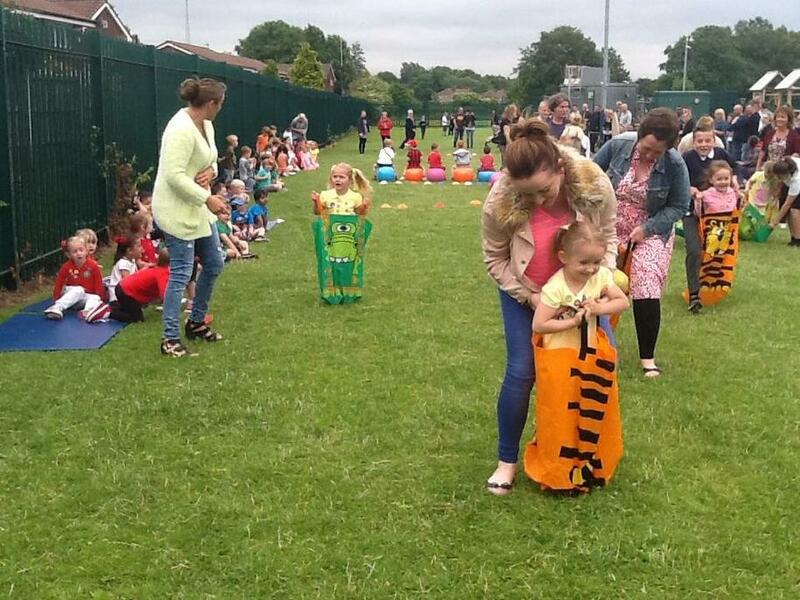 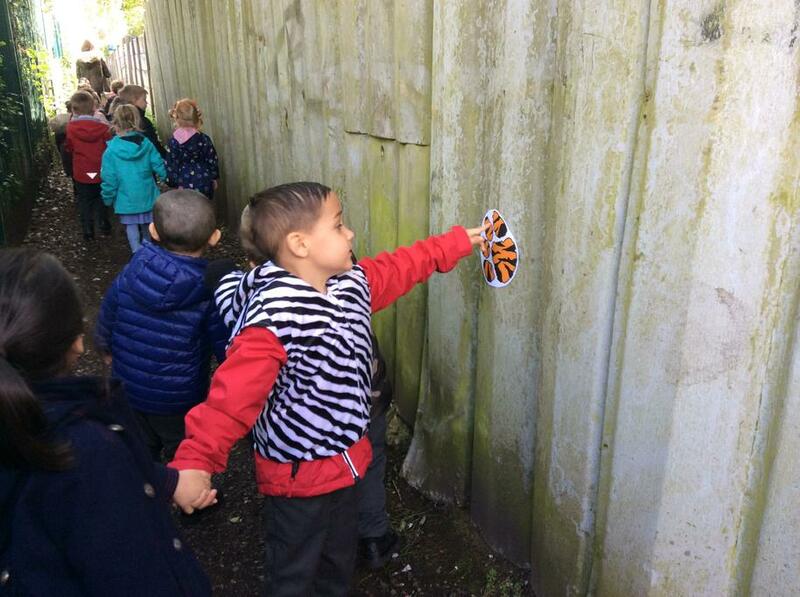 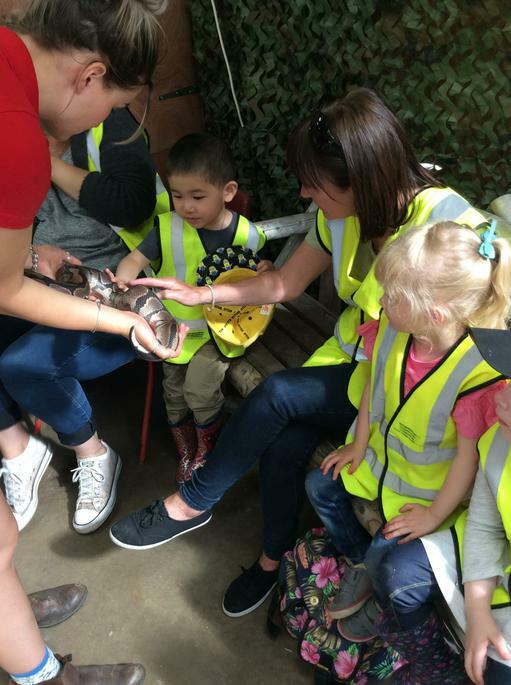 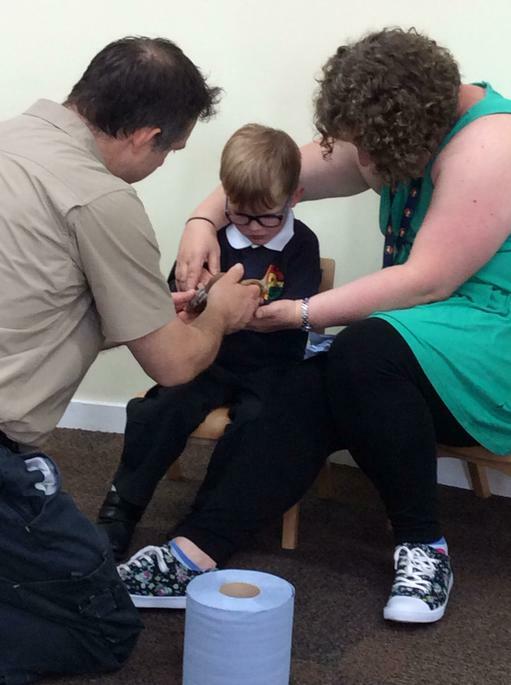 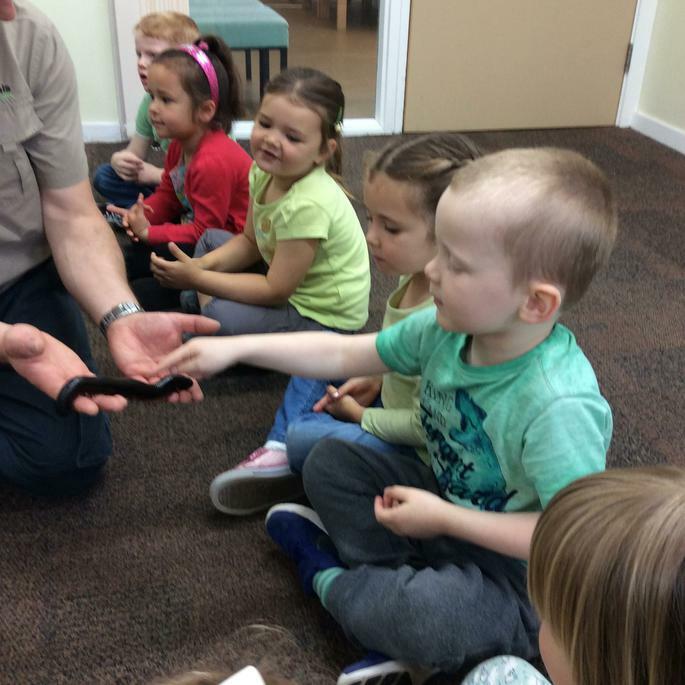 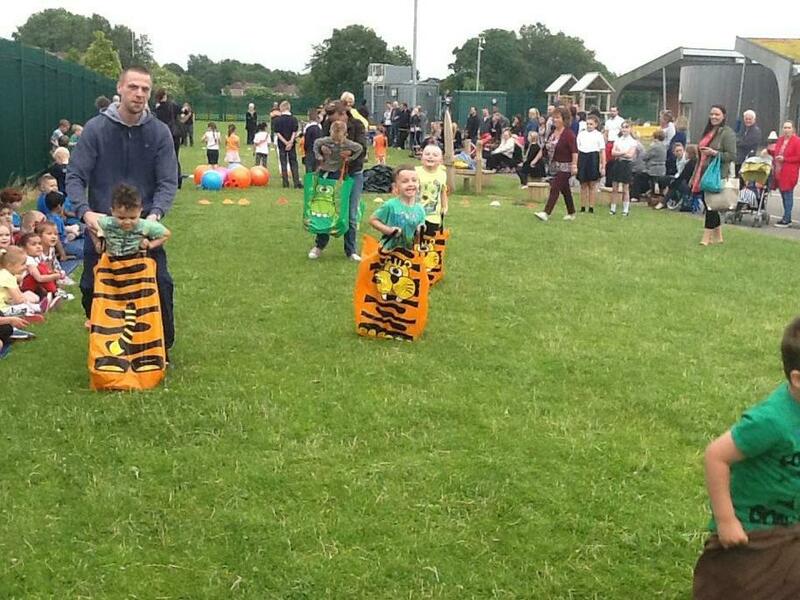 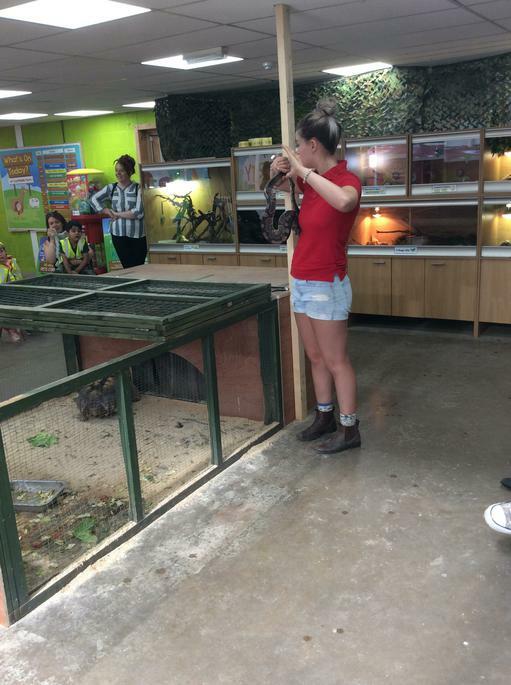 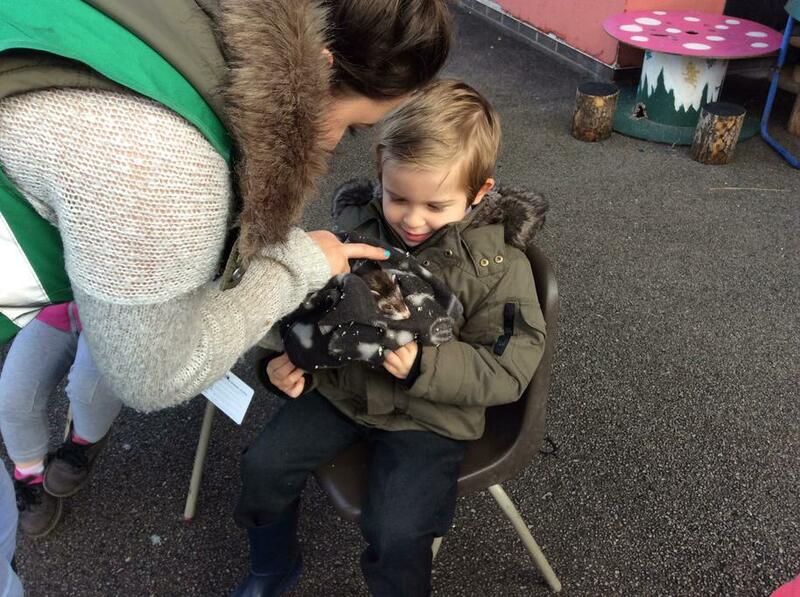 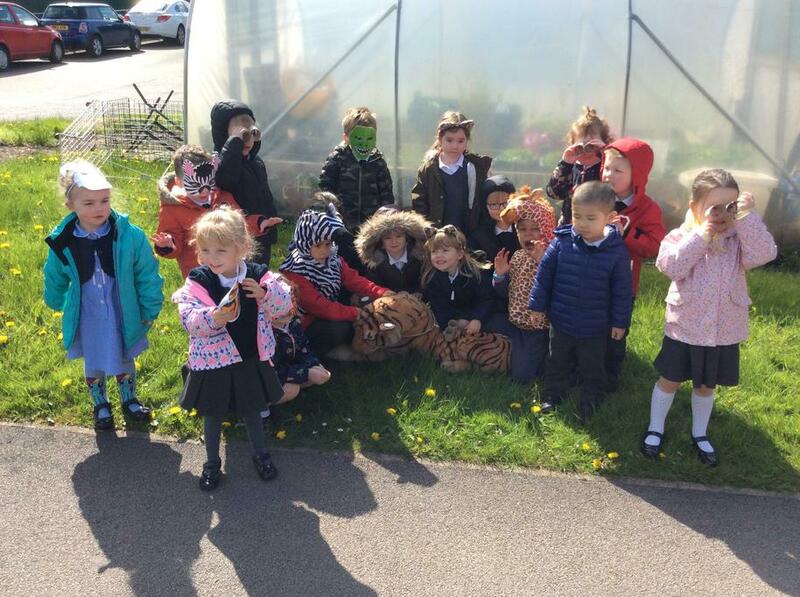 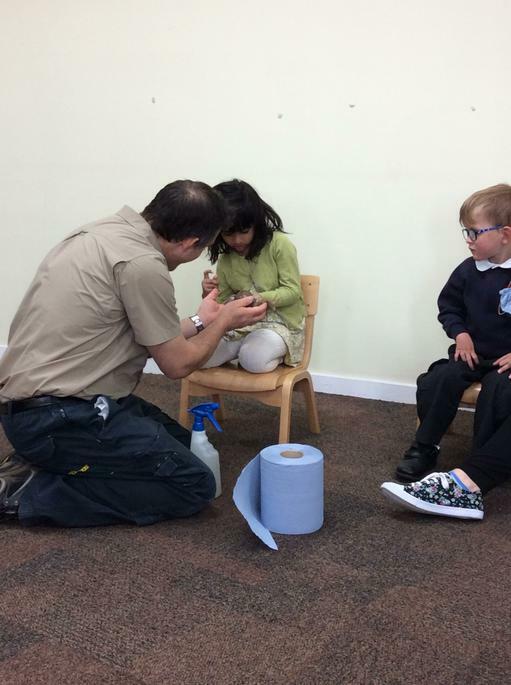 We rescued Tommy the tiger who had escaped from our nursery zoo! 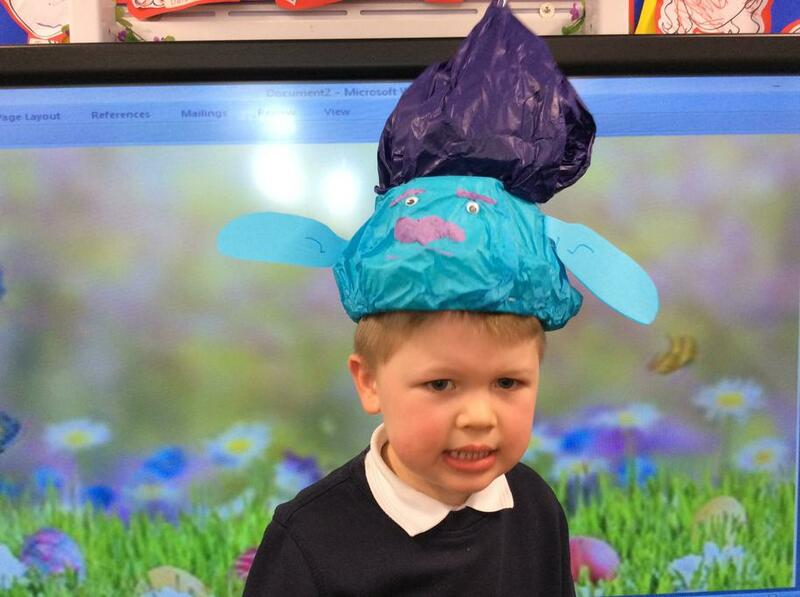 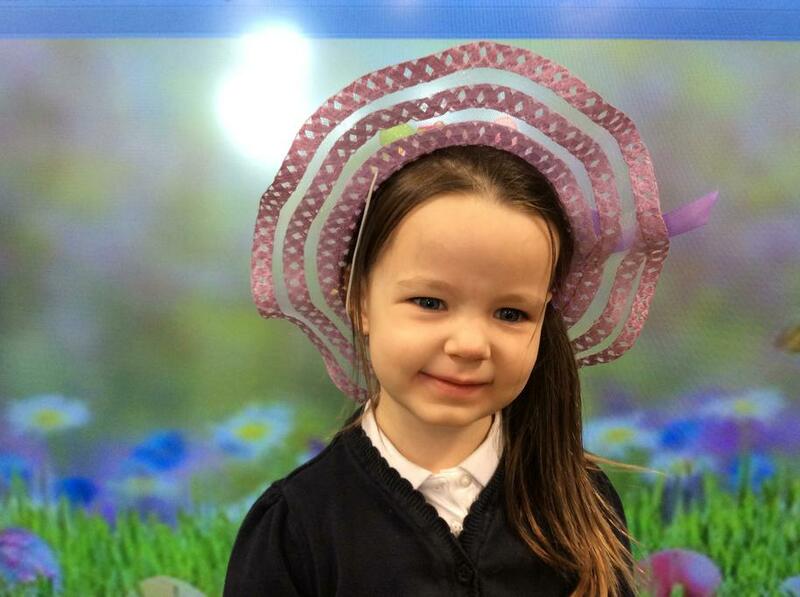 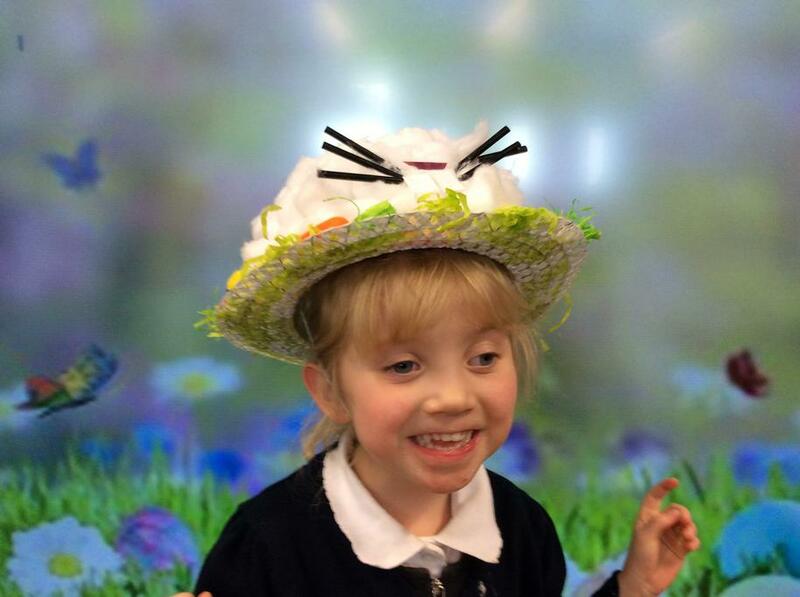 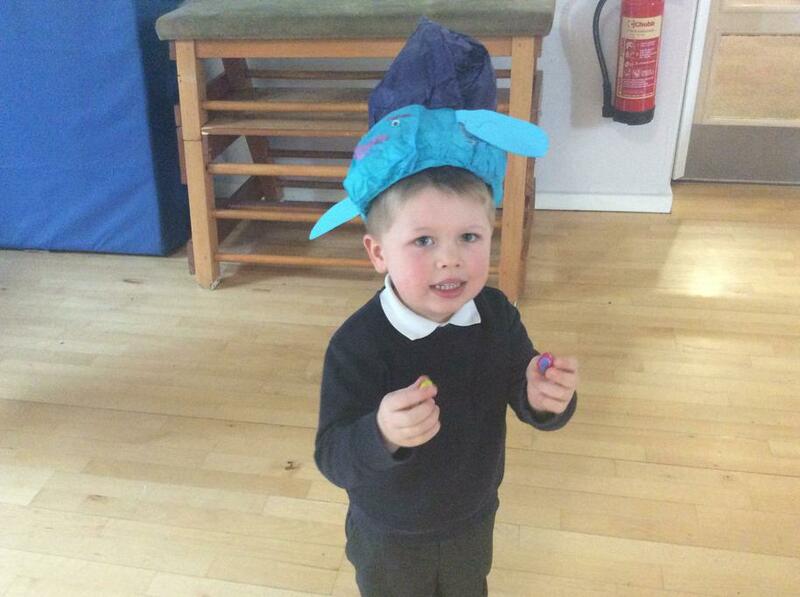 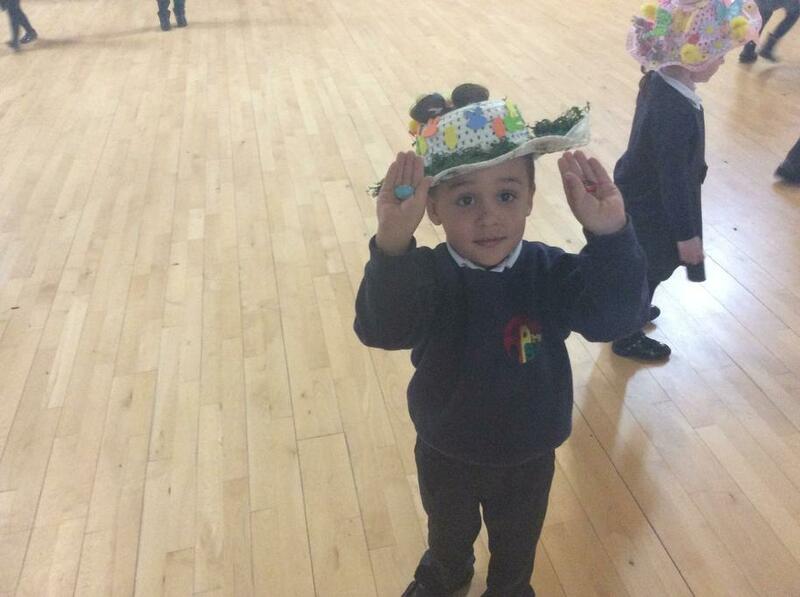 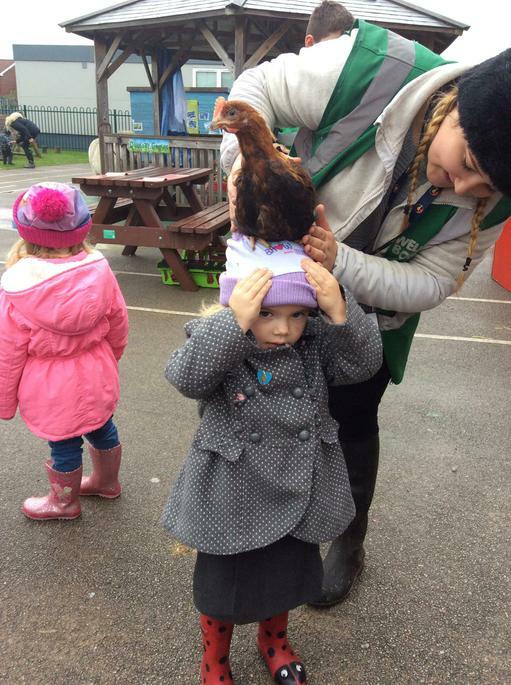 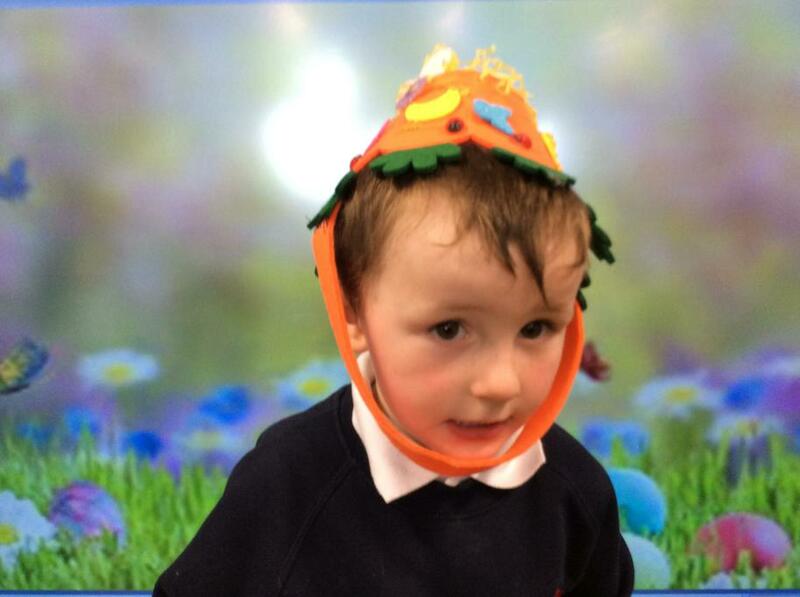 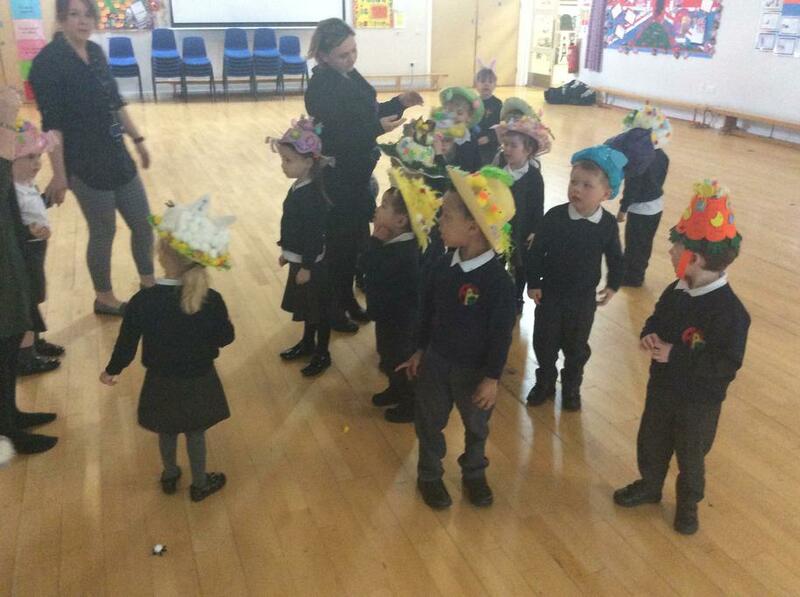 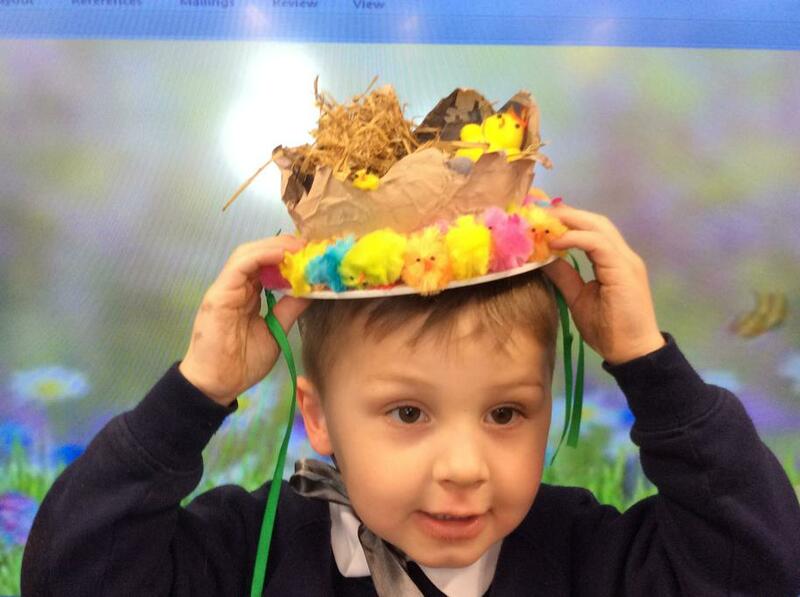 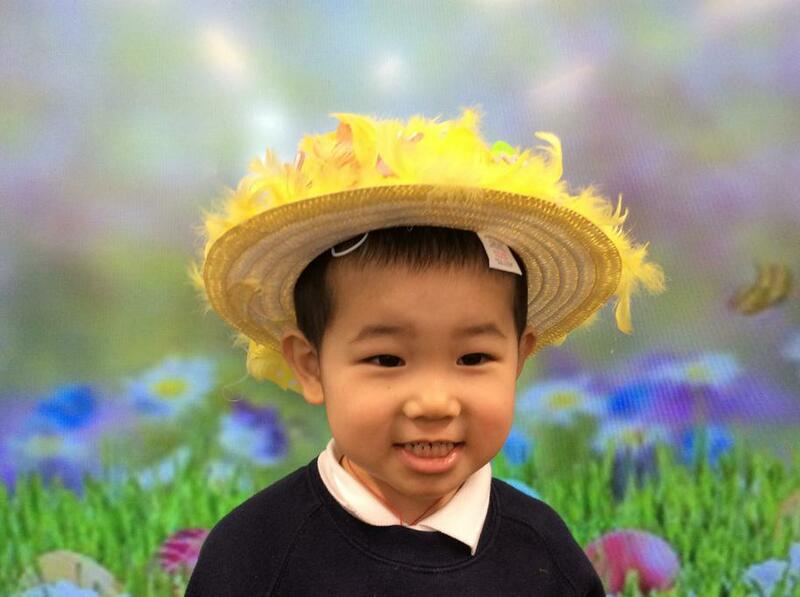 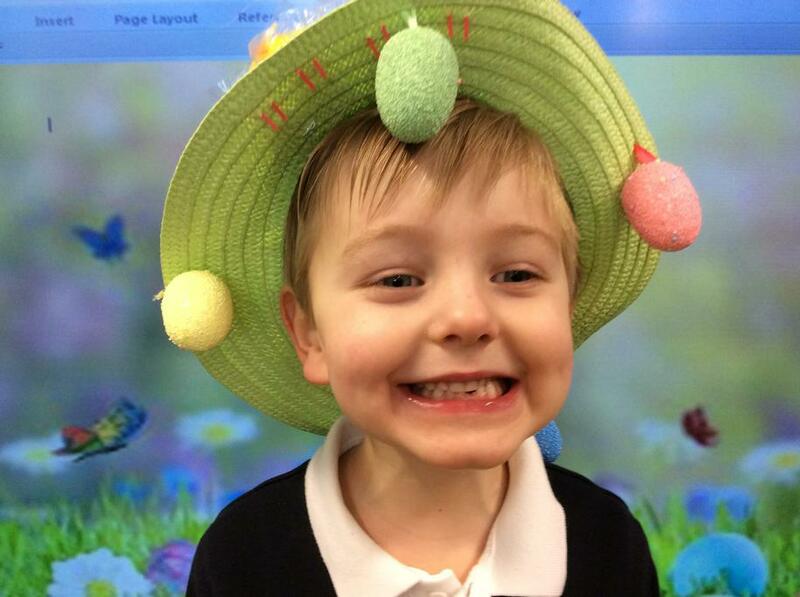 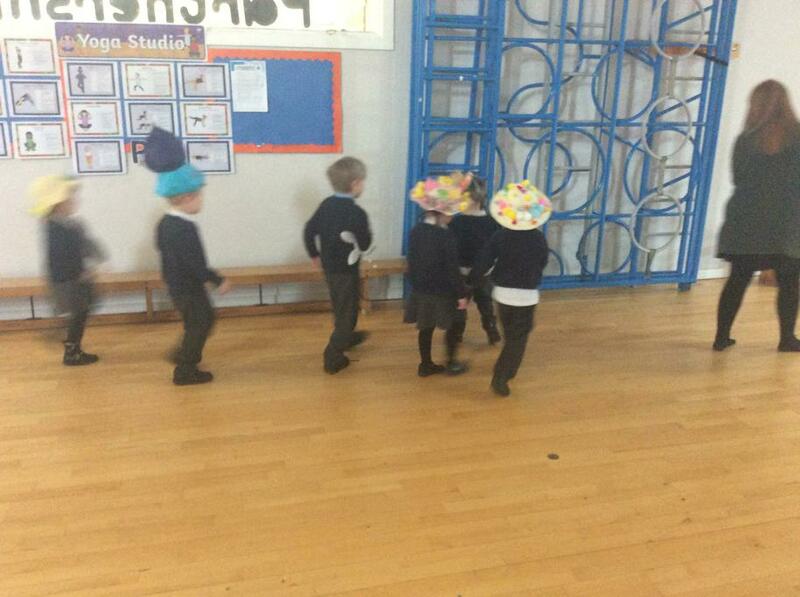 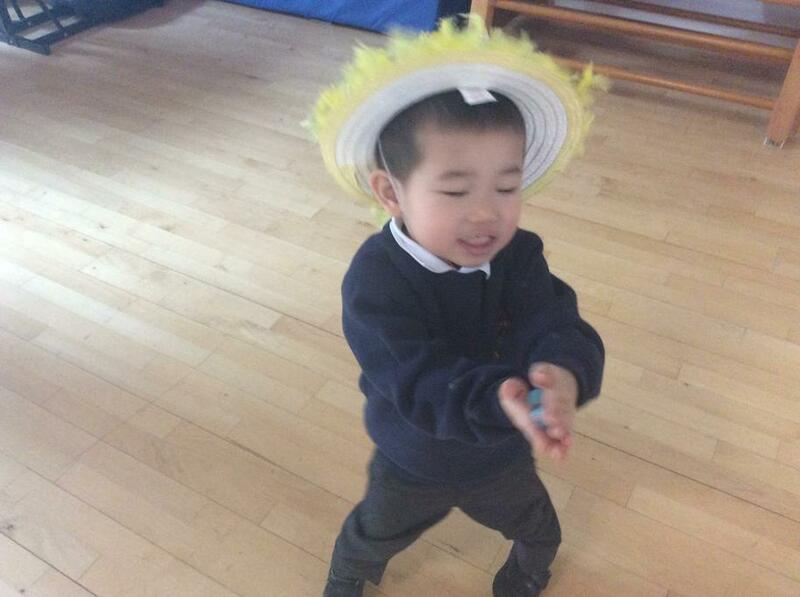 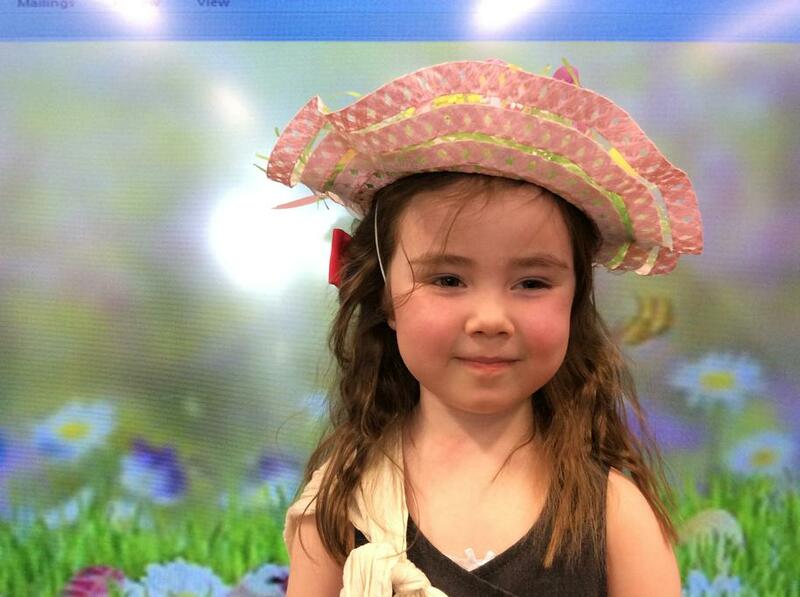 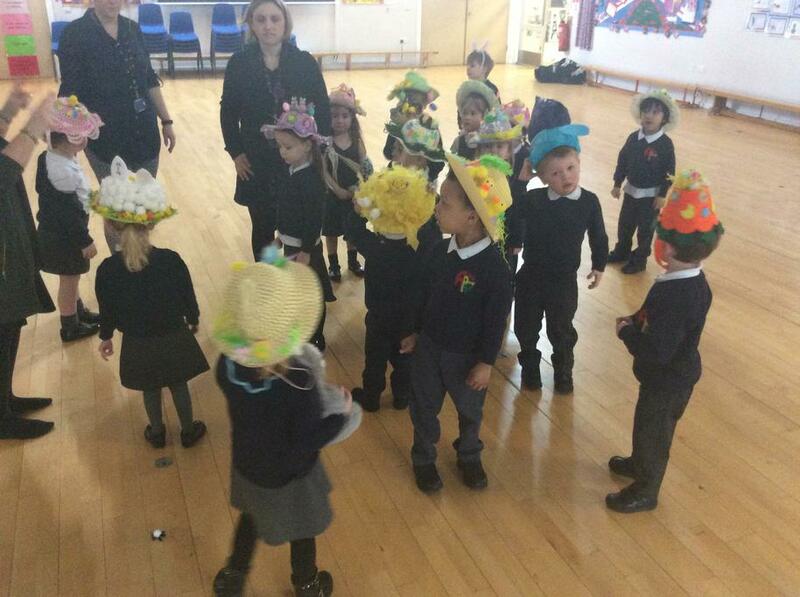 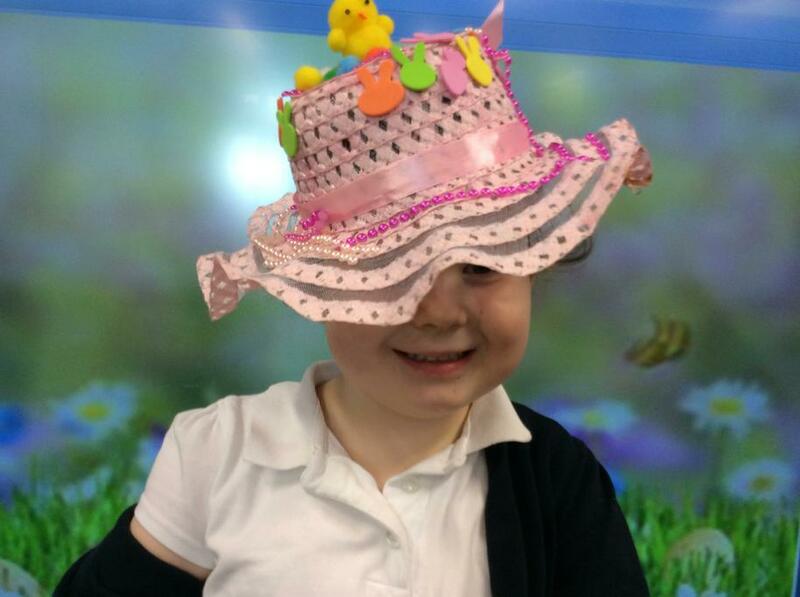 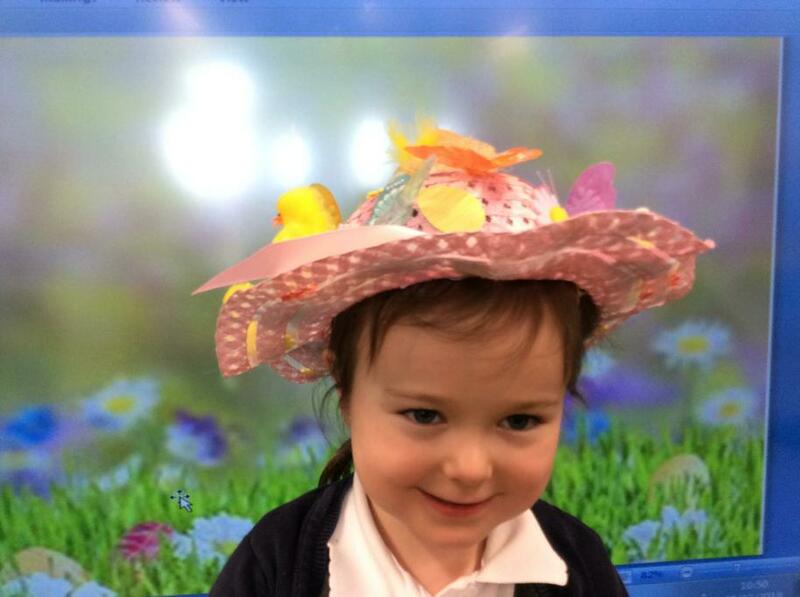 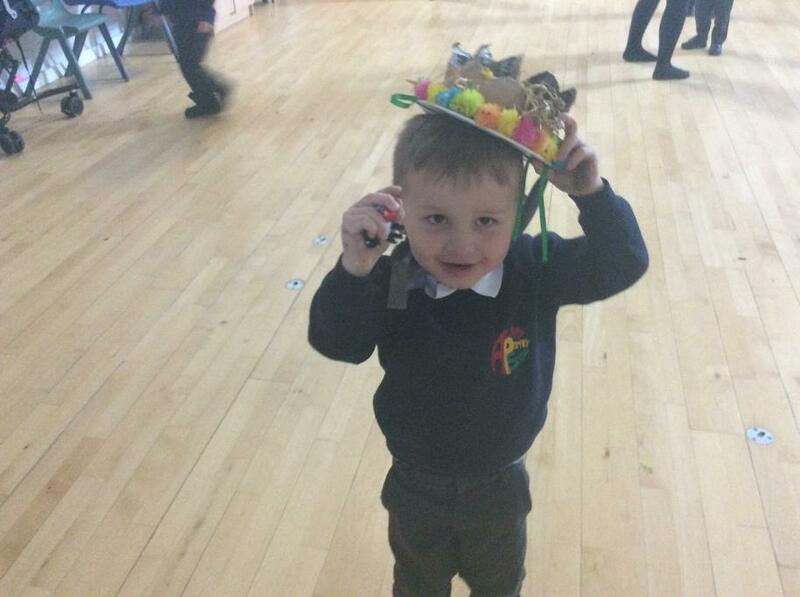 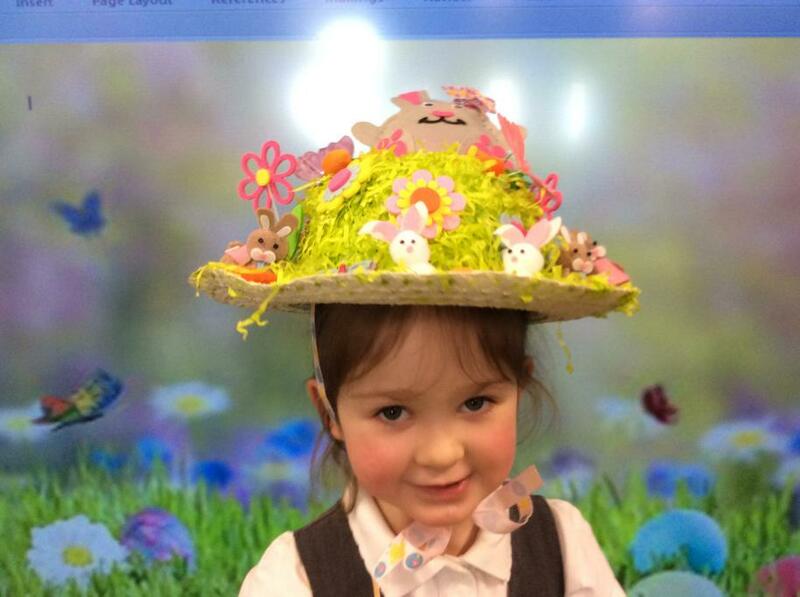 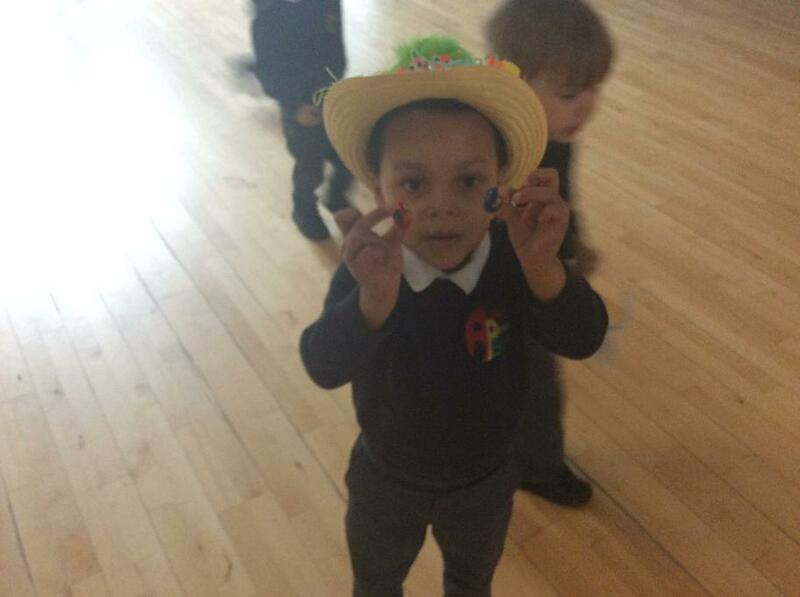 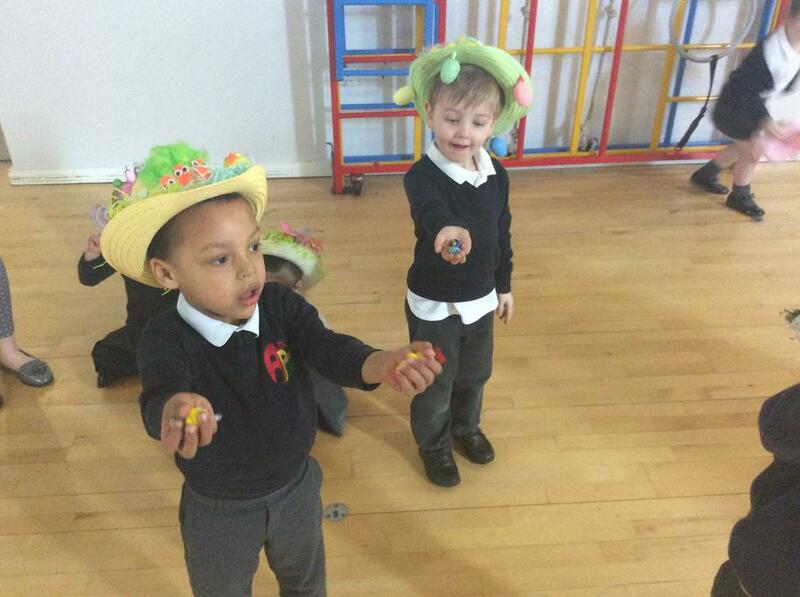 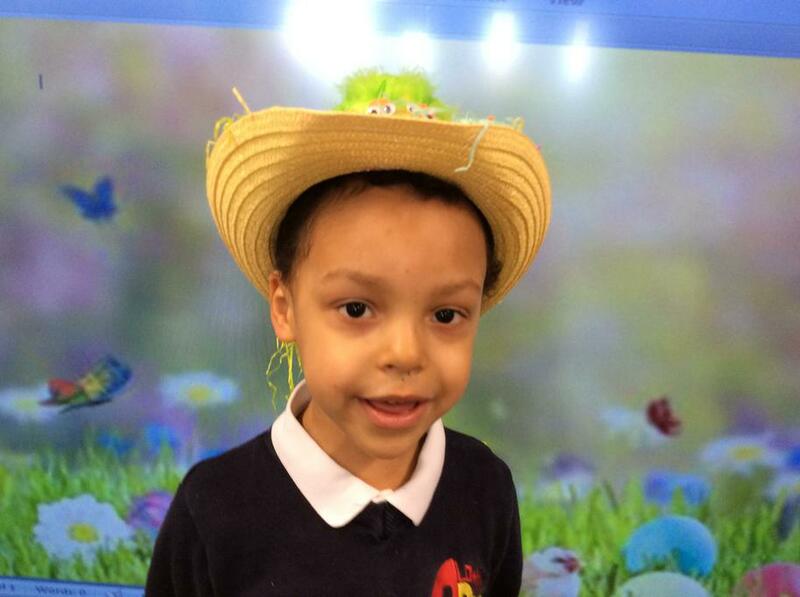 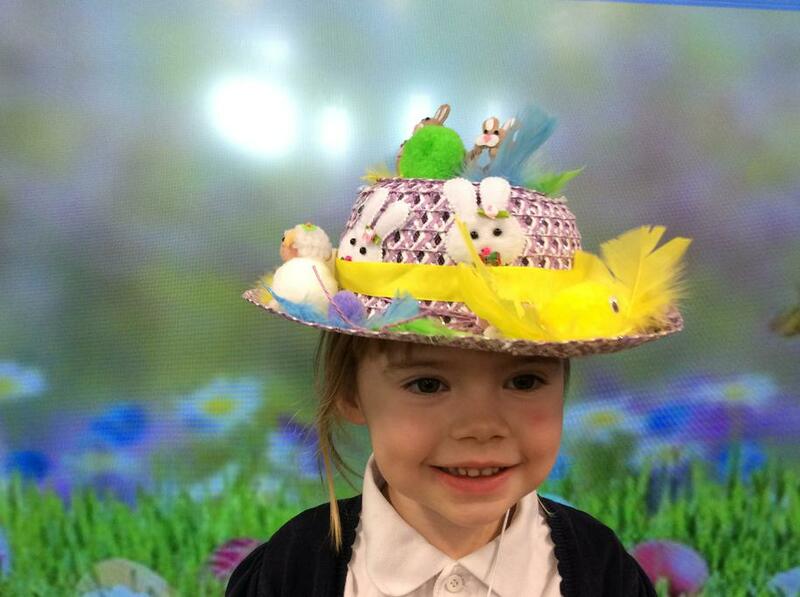 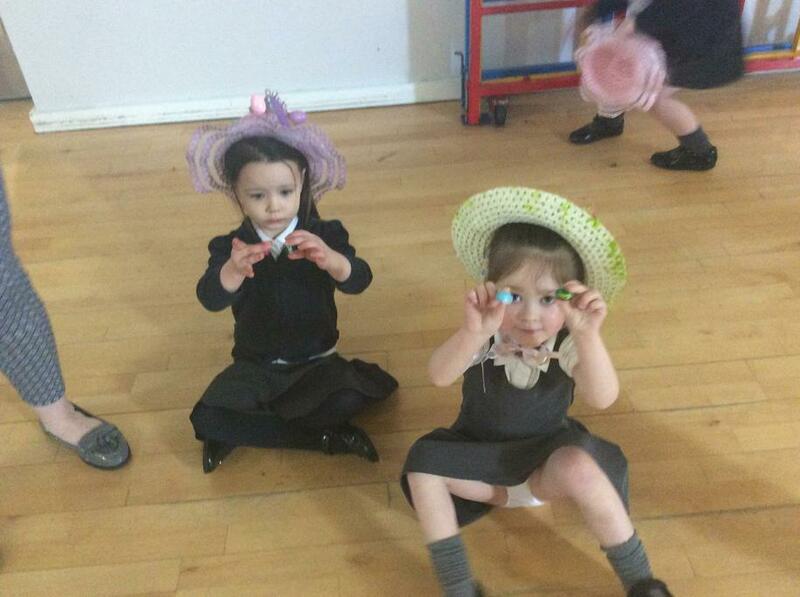 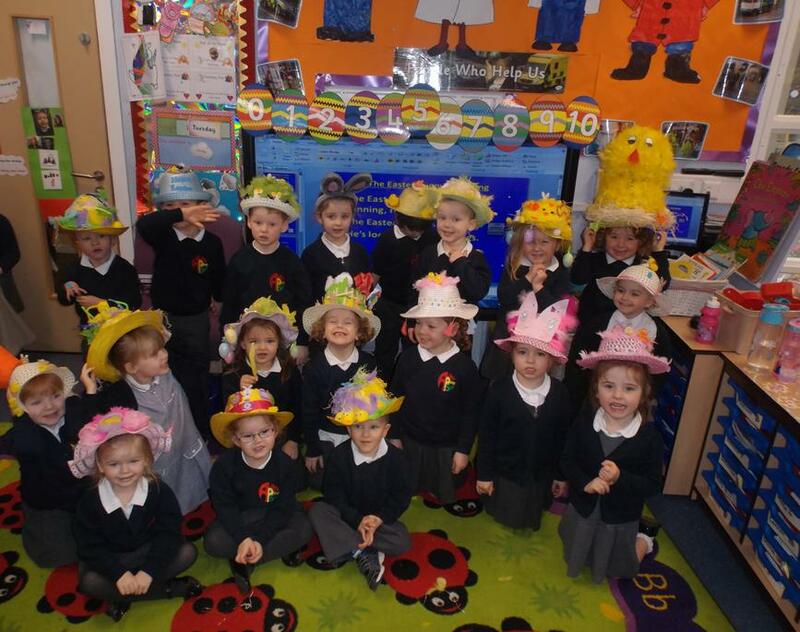 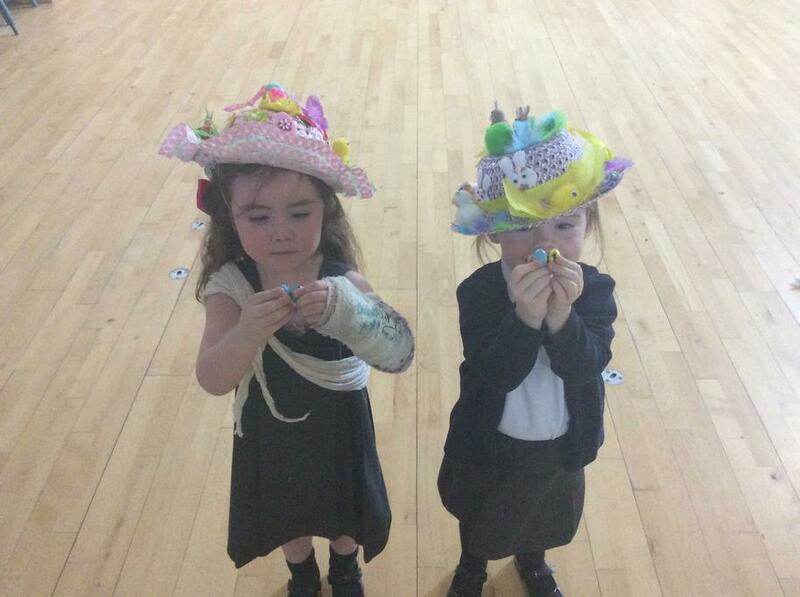 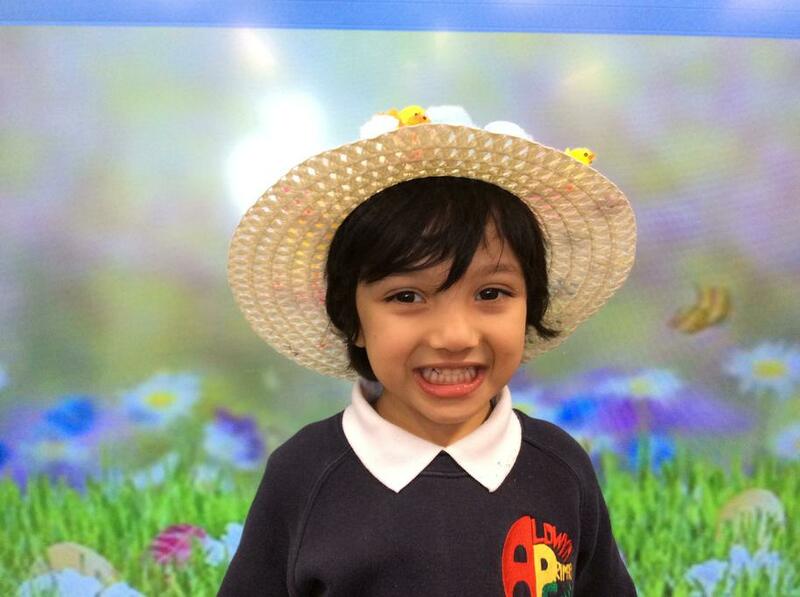 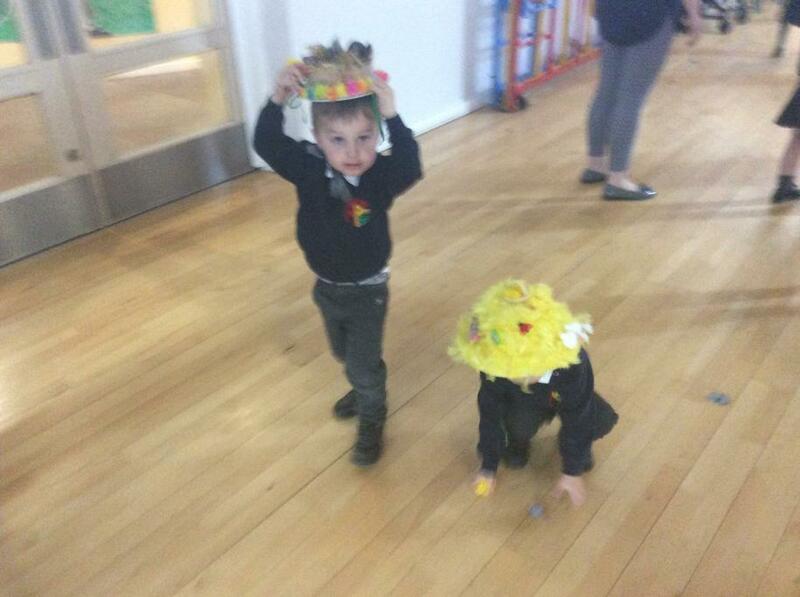 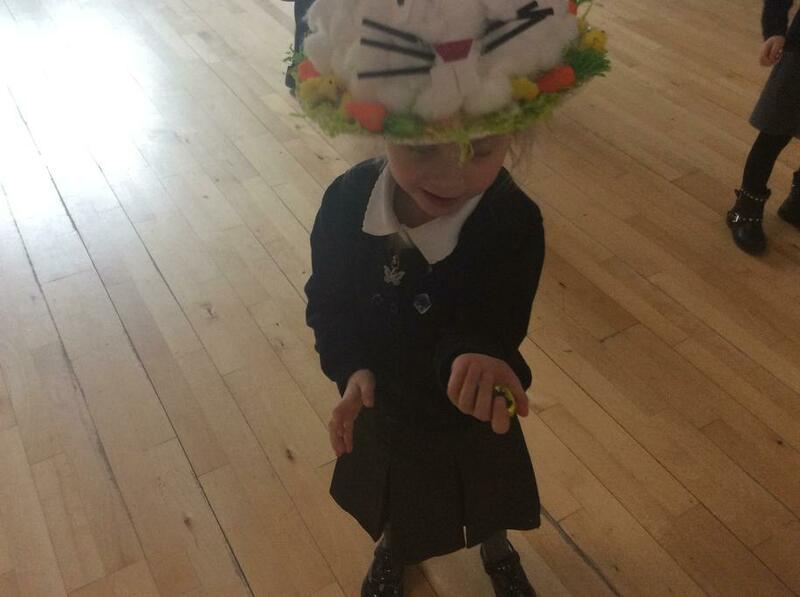 Morning nursery made excellent Easter bonnets for our 'Easter show'. 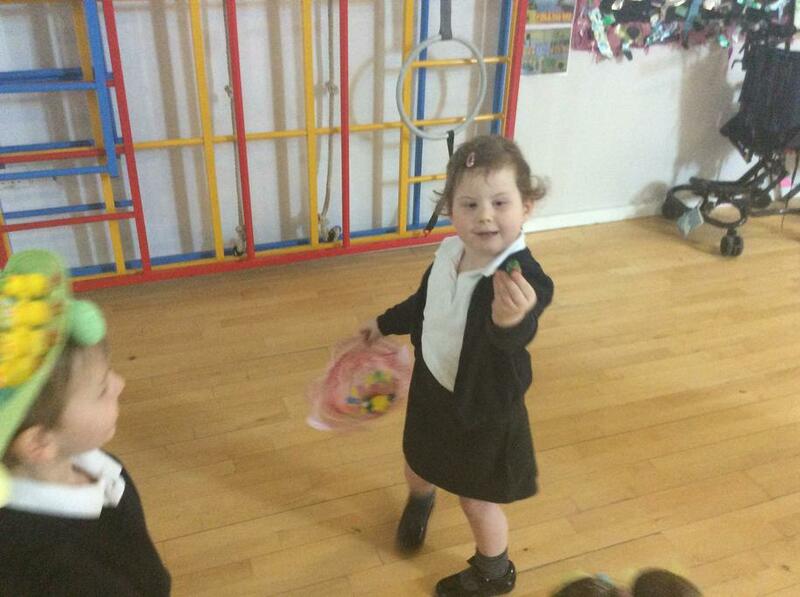 We also enjoyed finding yummy Easter eggs that Hoppy hid in the hall. 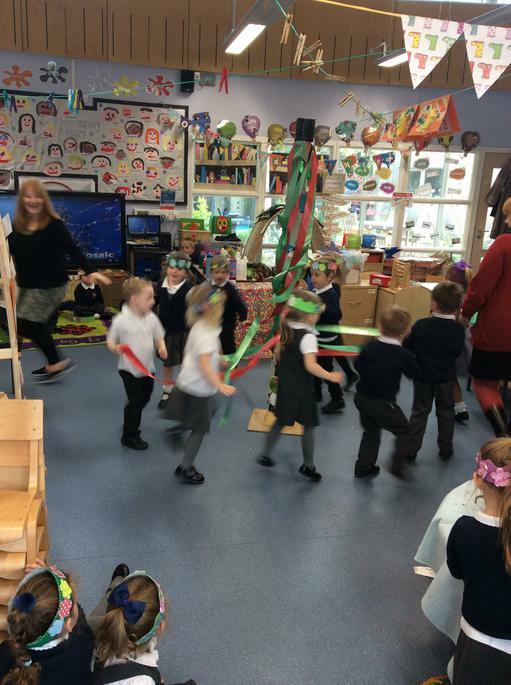 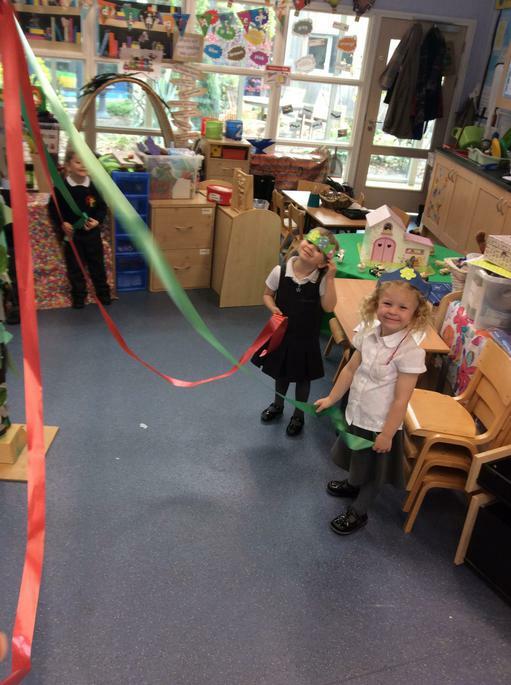 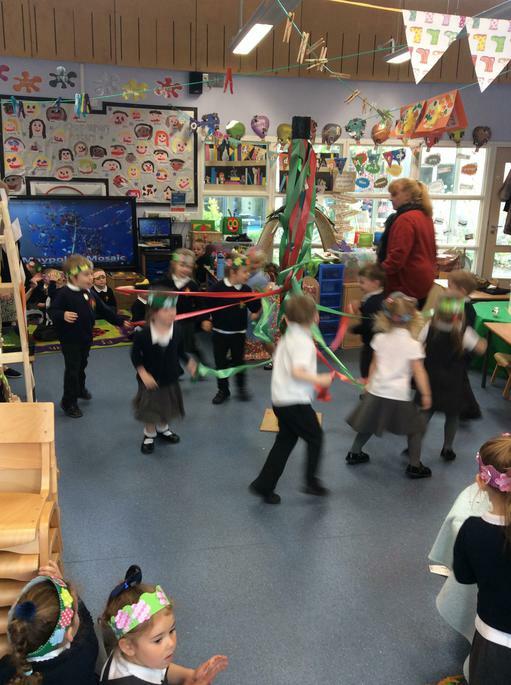 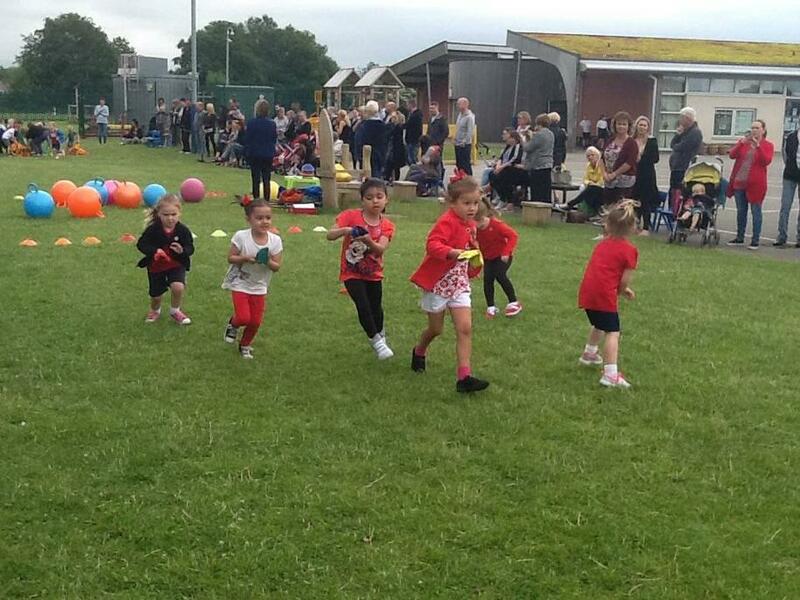 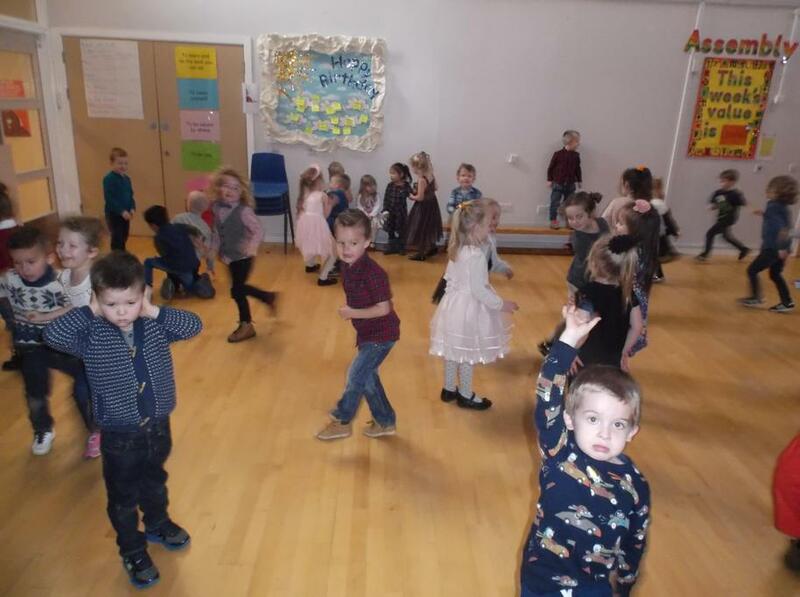 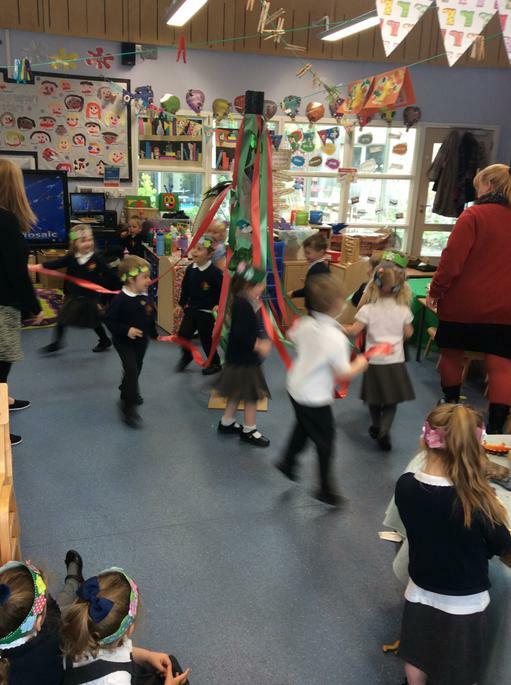 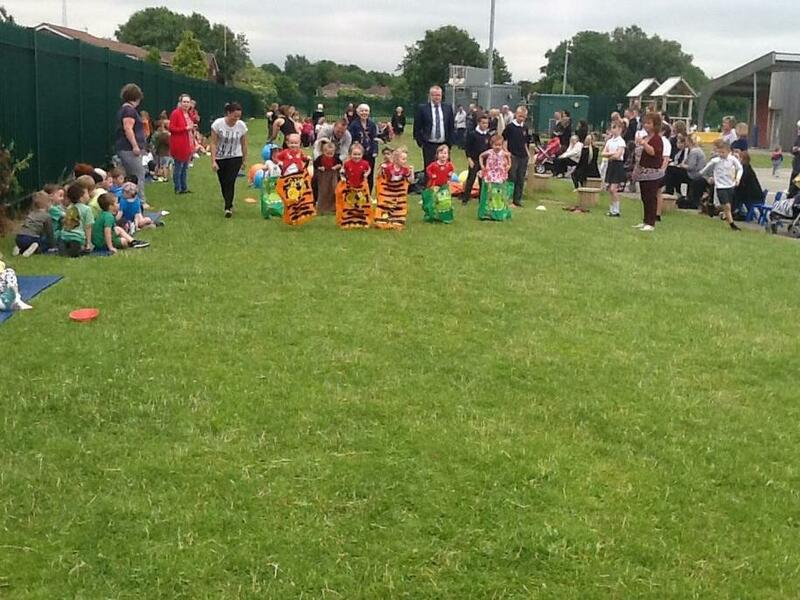 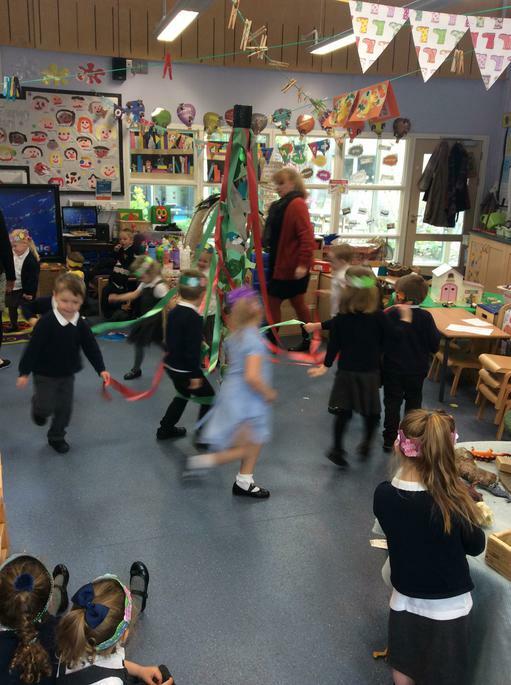 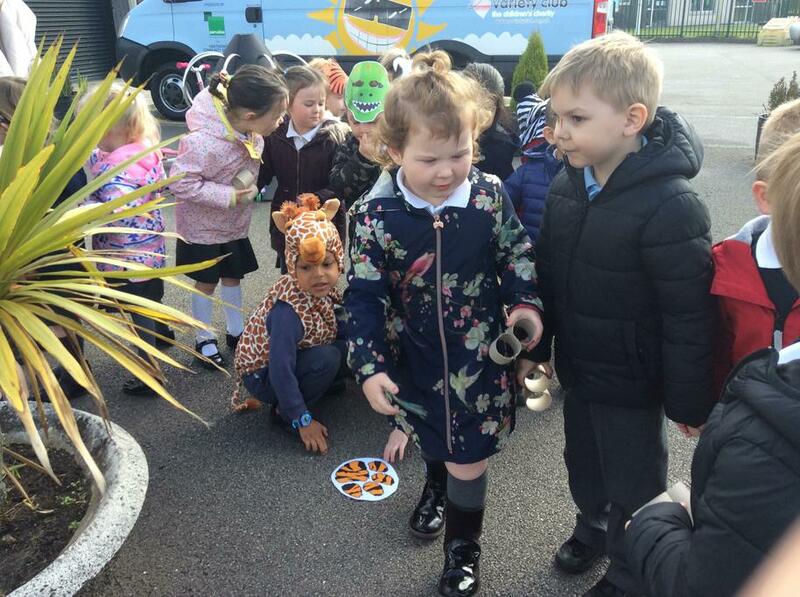 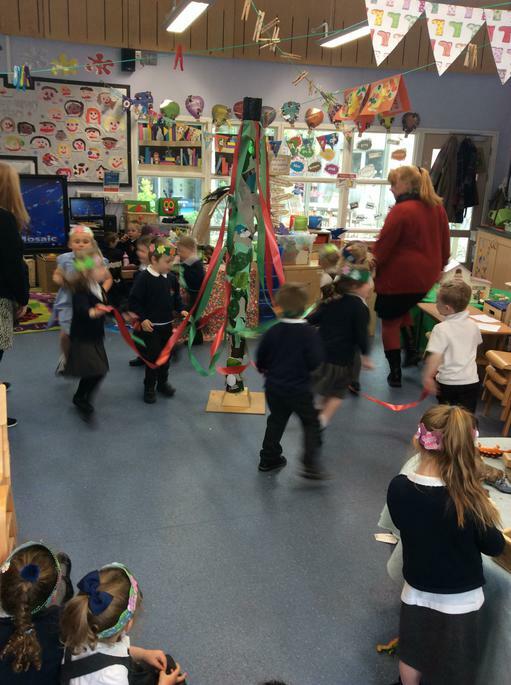 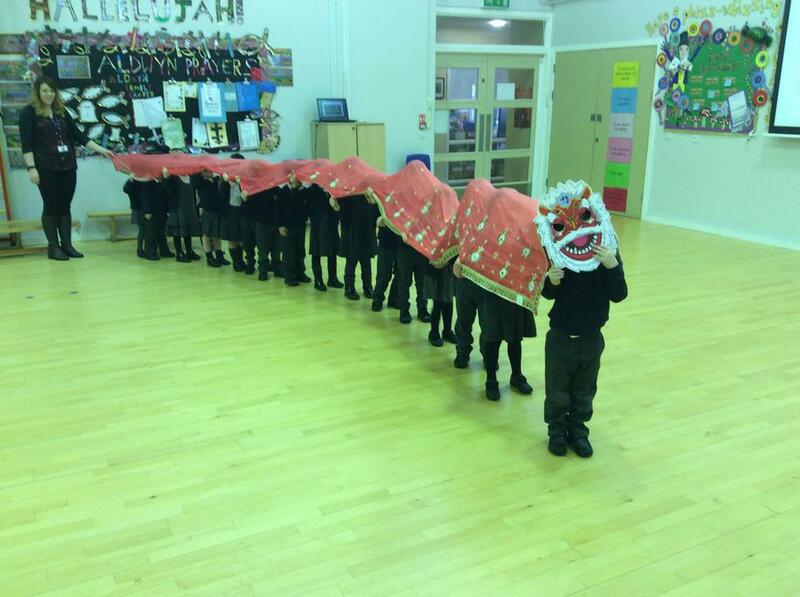 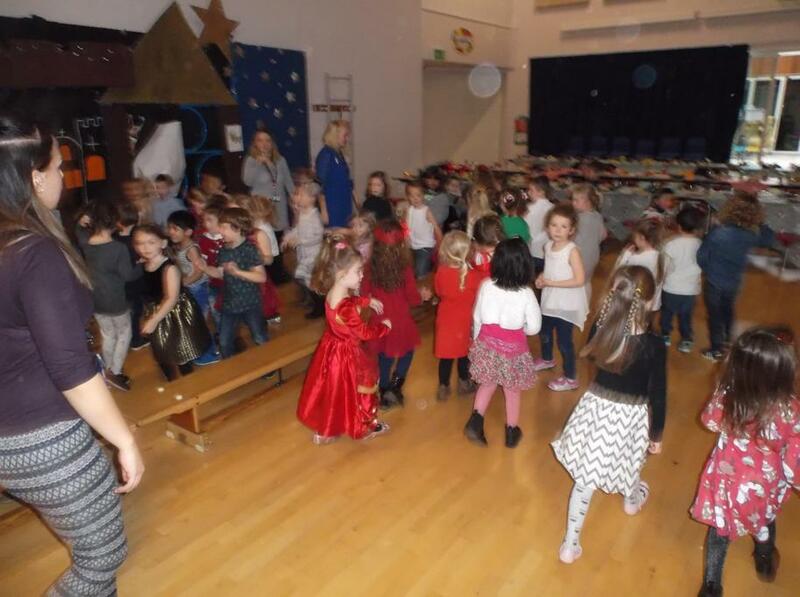 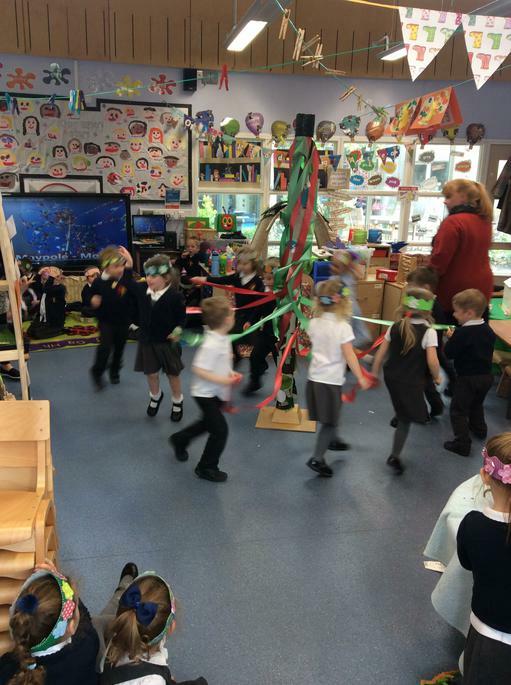 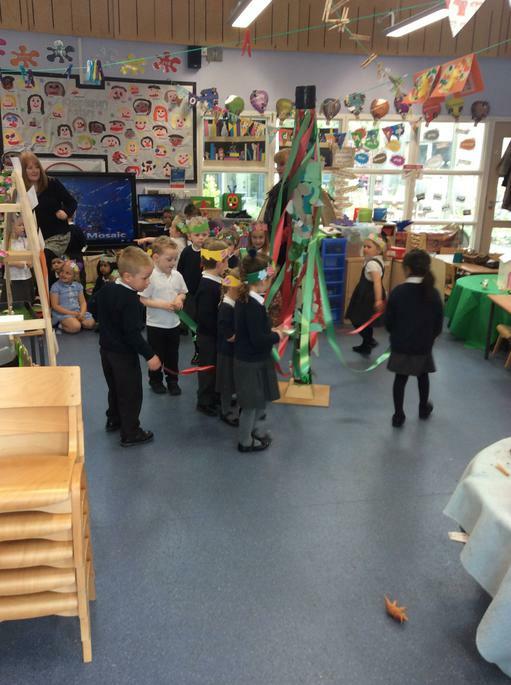 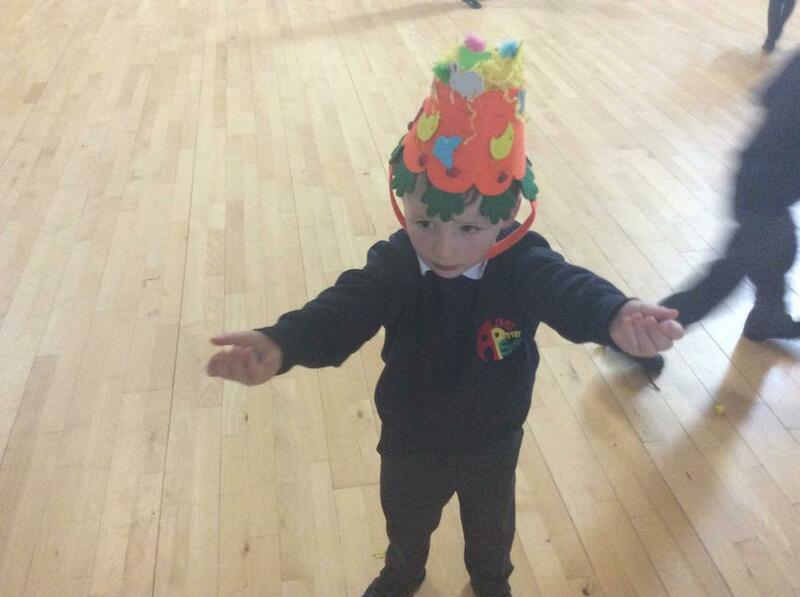 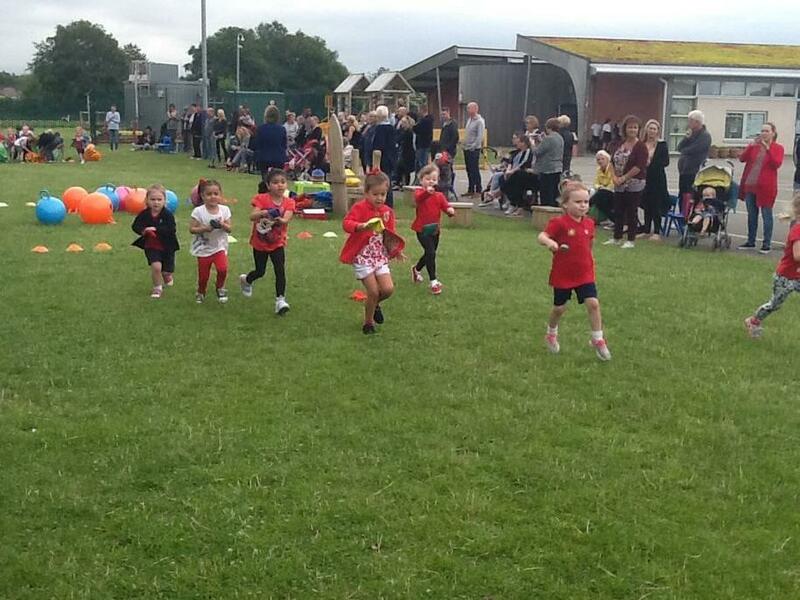 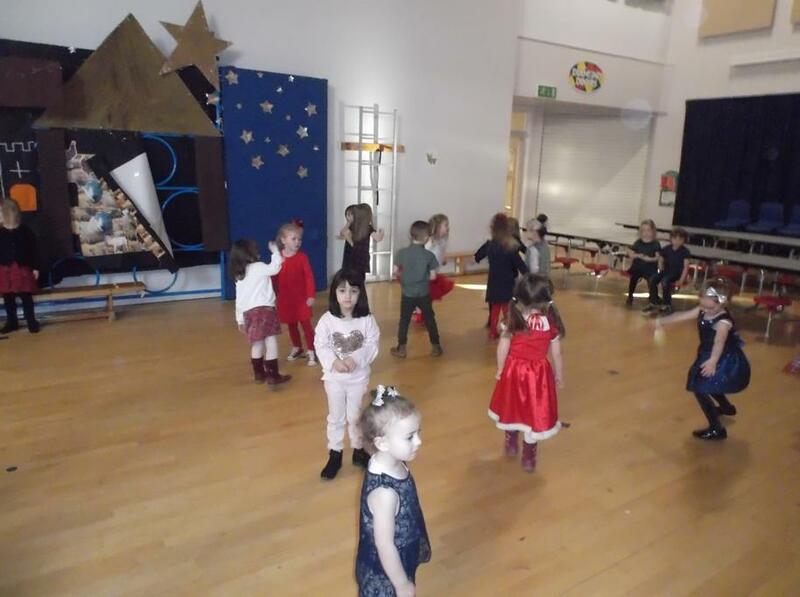 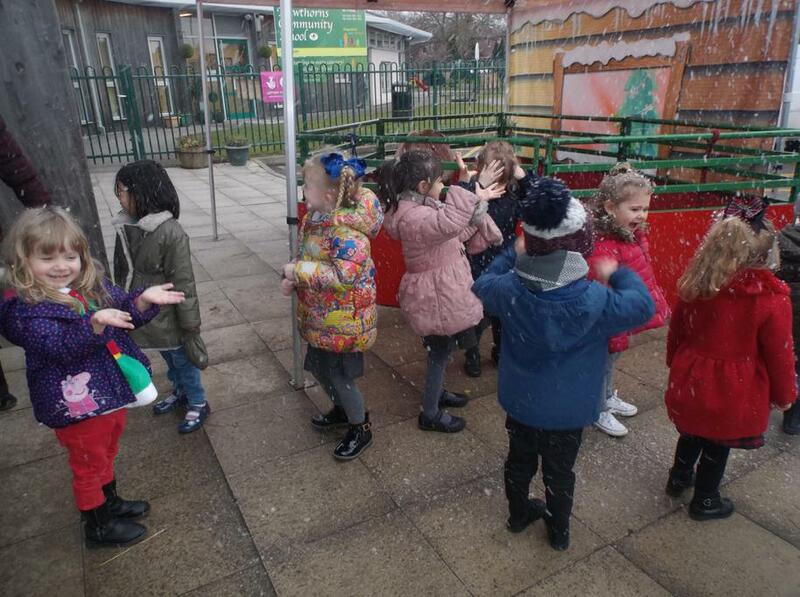 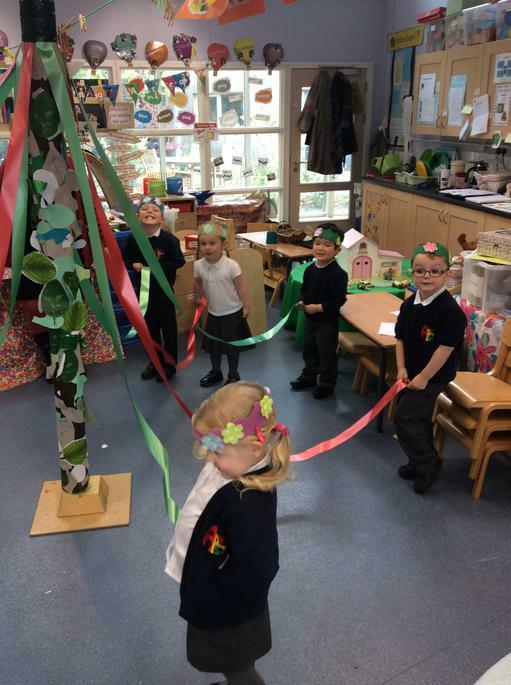 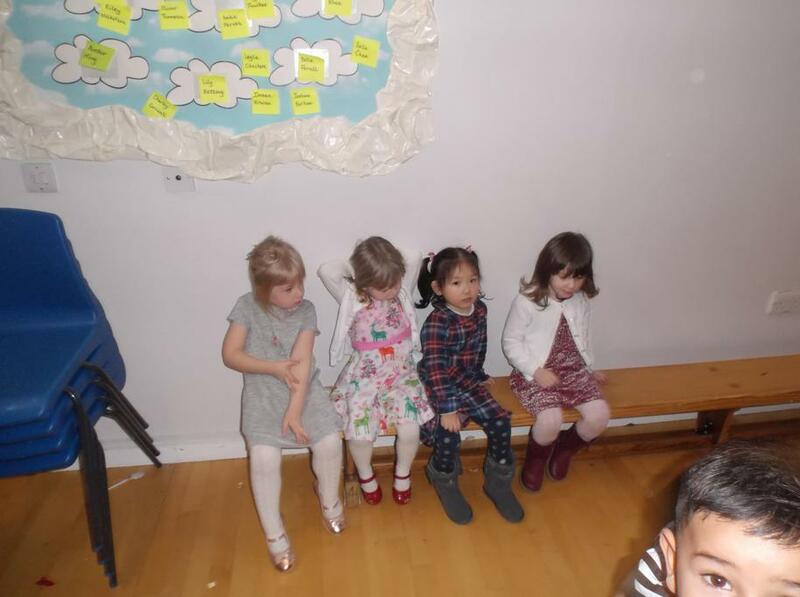 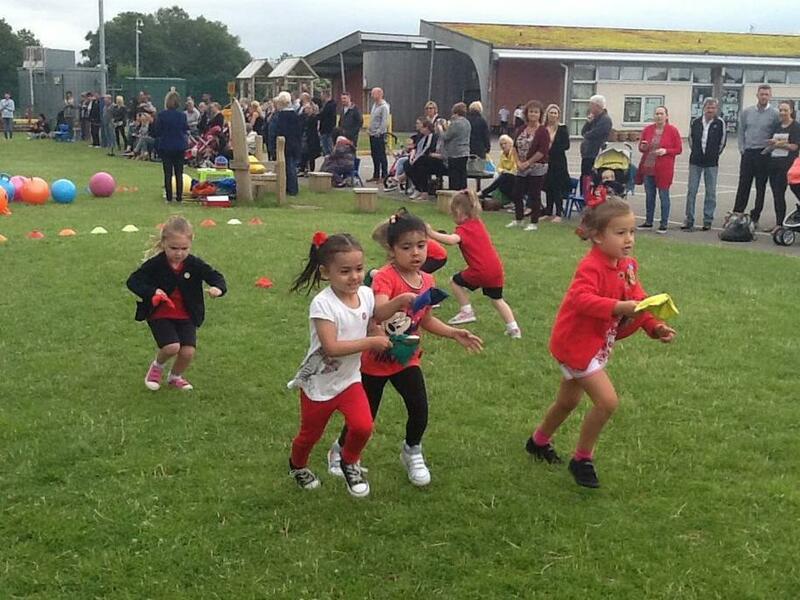 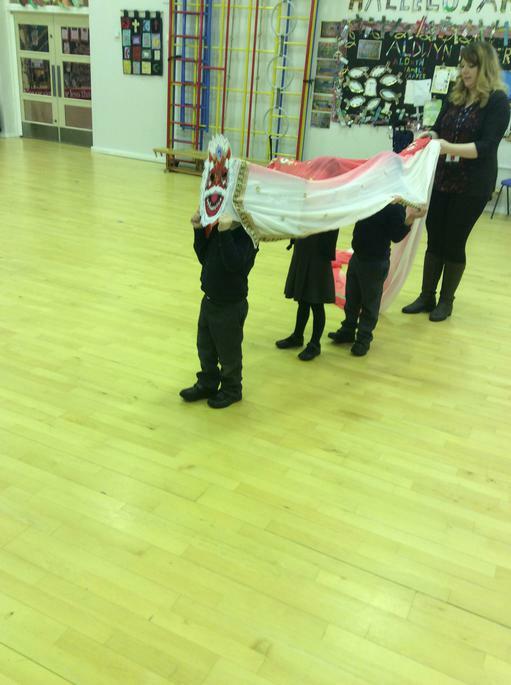 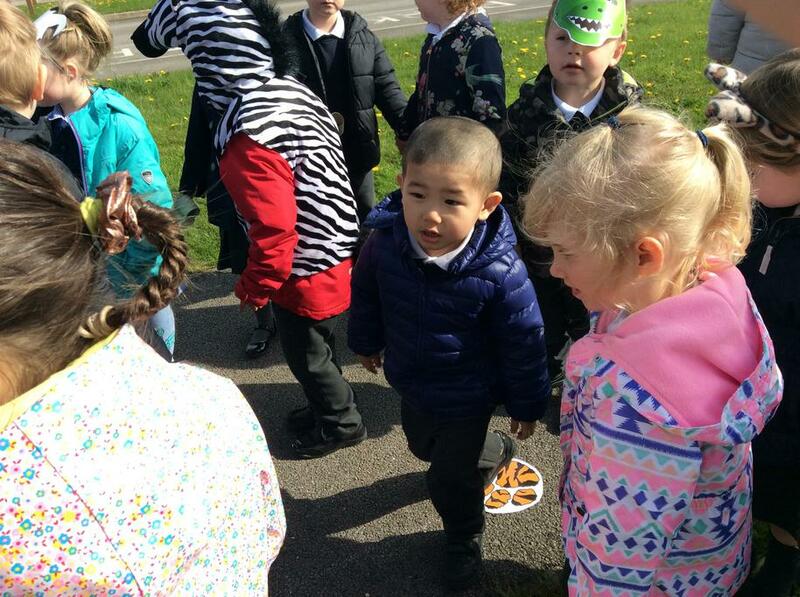 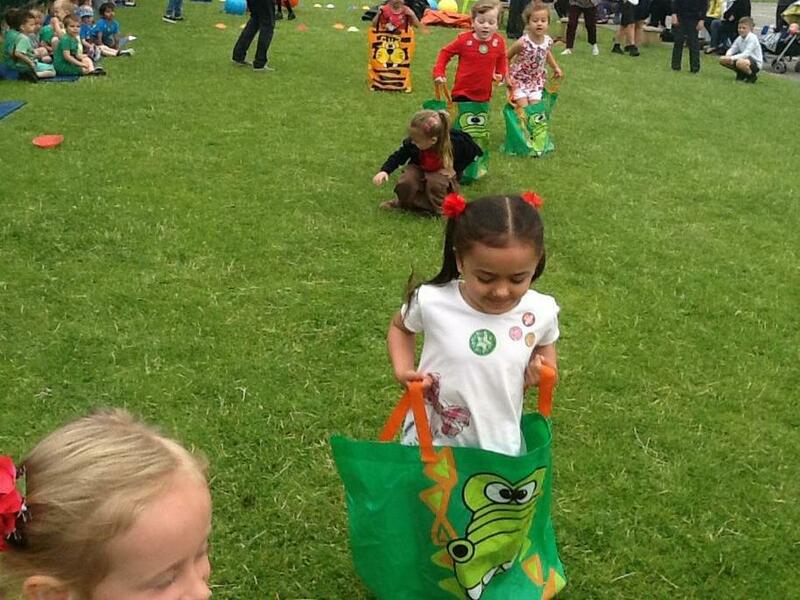 The morning nursery enjoyed joining in the the 'Chinese New Year' celebrations by doing our own dragon dance in P.E. 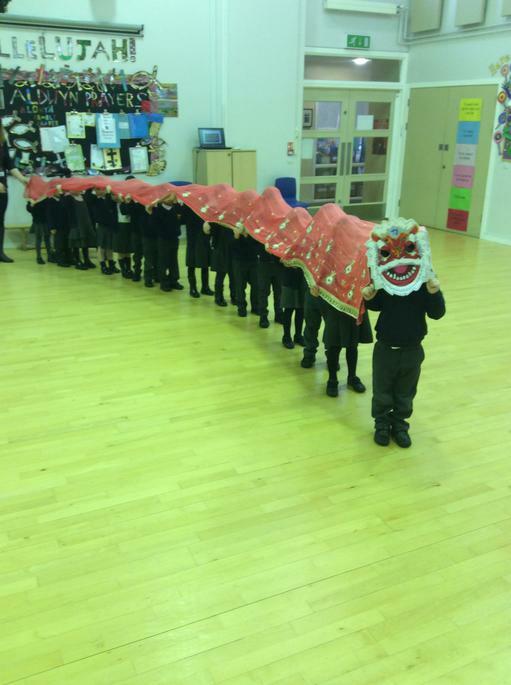 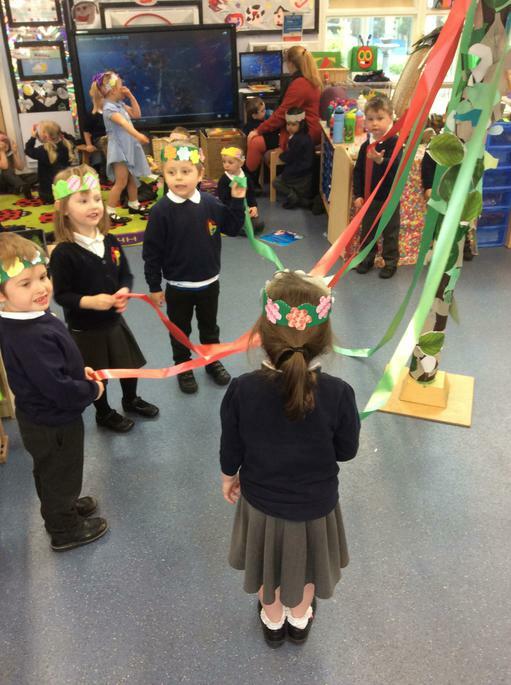 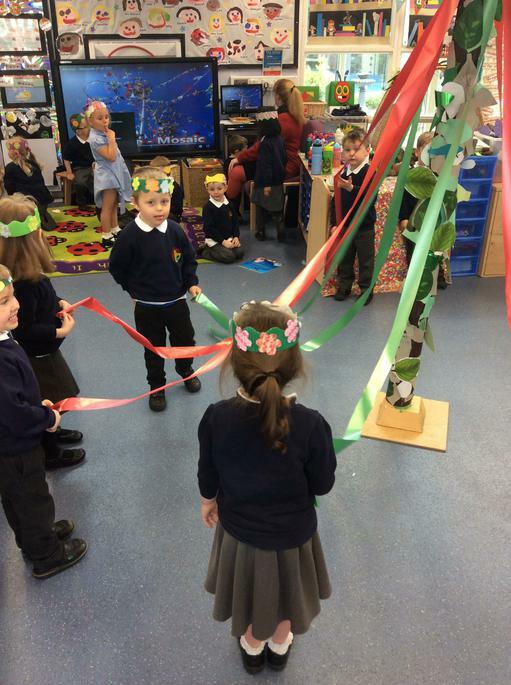 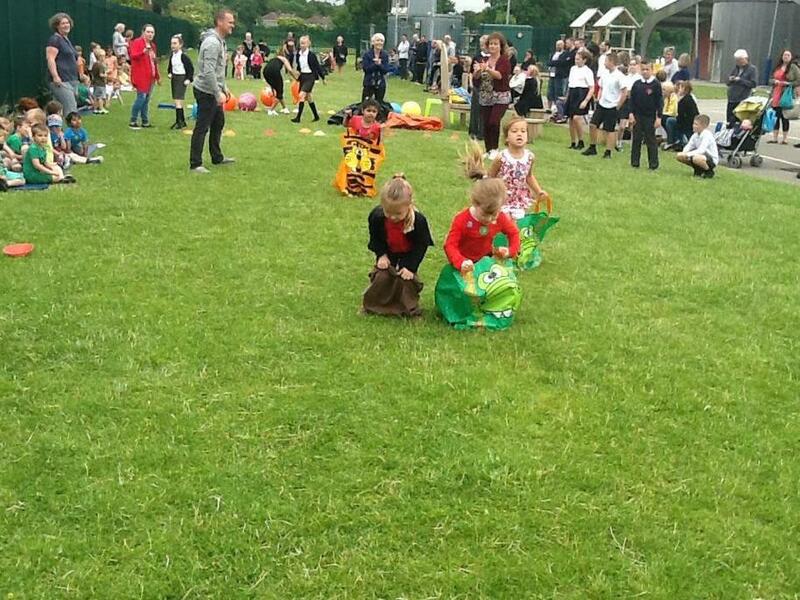 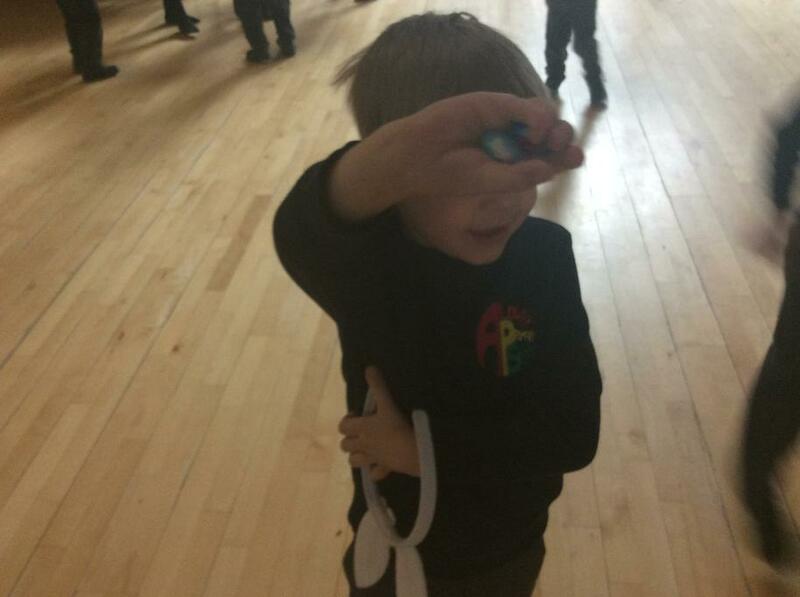 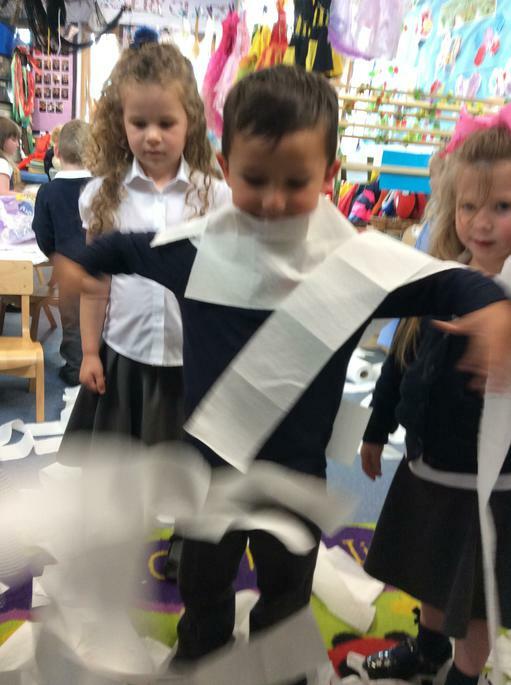 We went all around the school showing off the different ways we made the dragon moved. 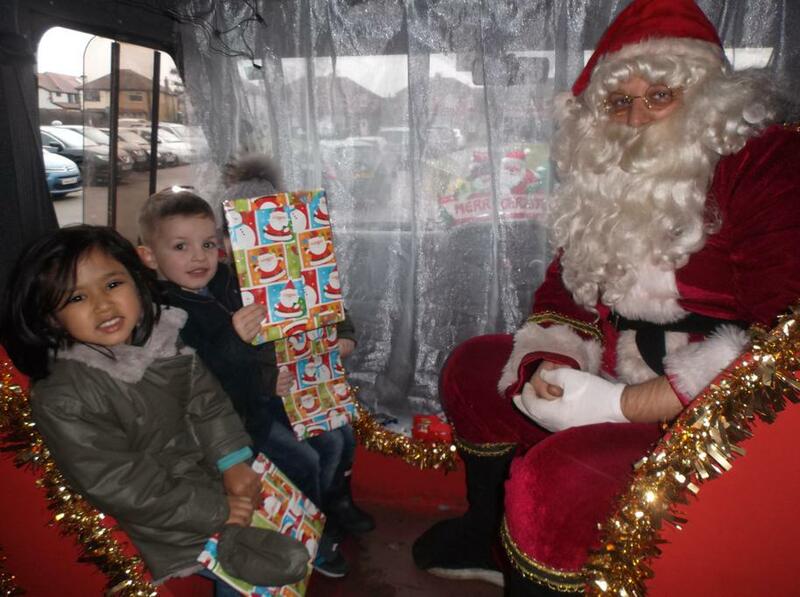 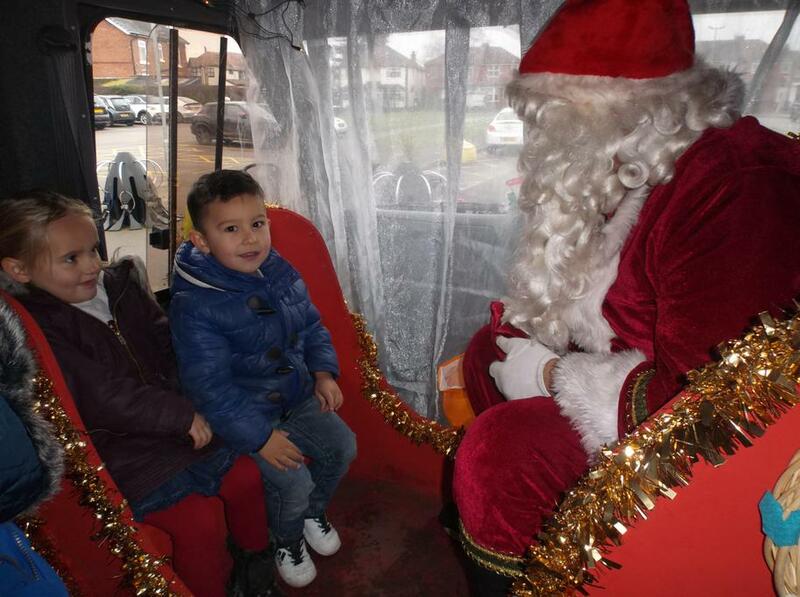 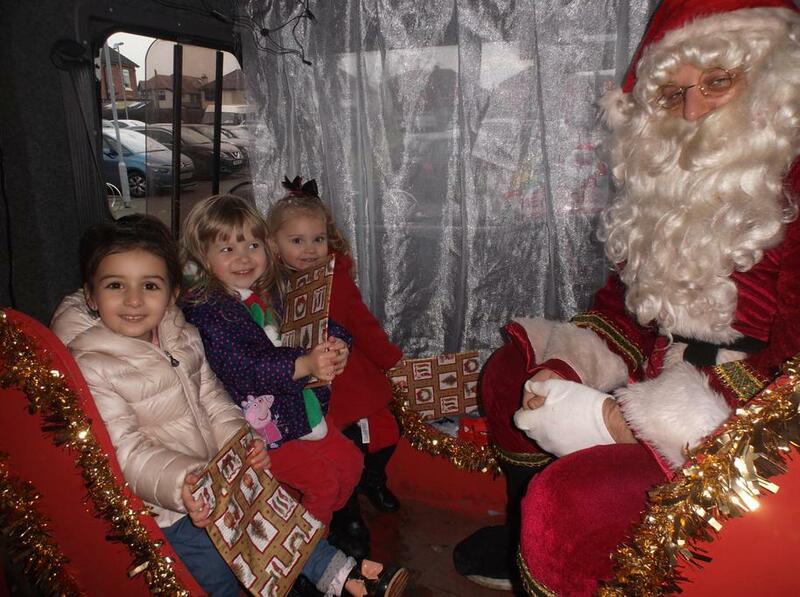 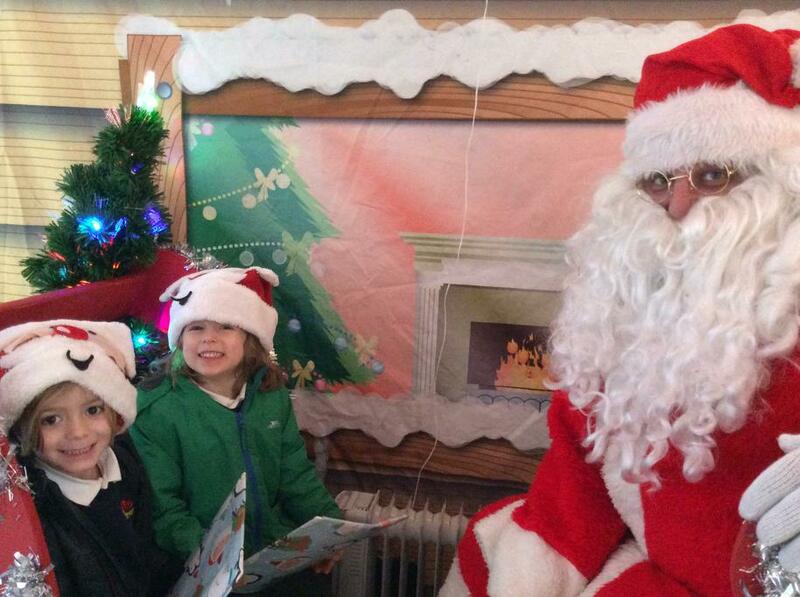 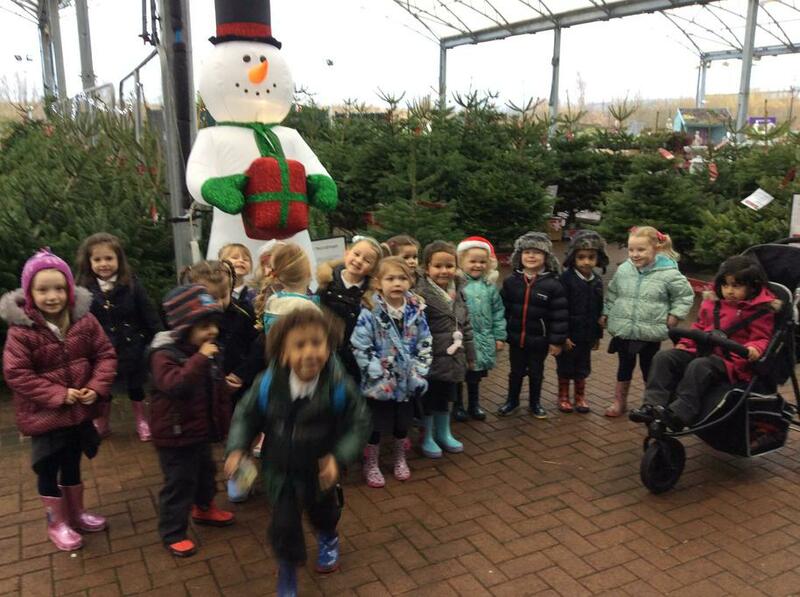 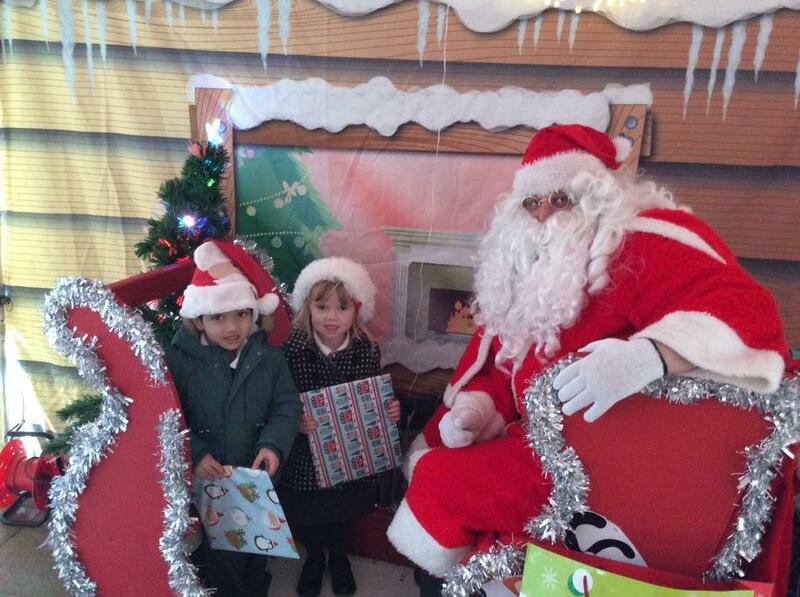 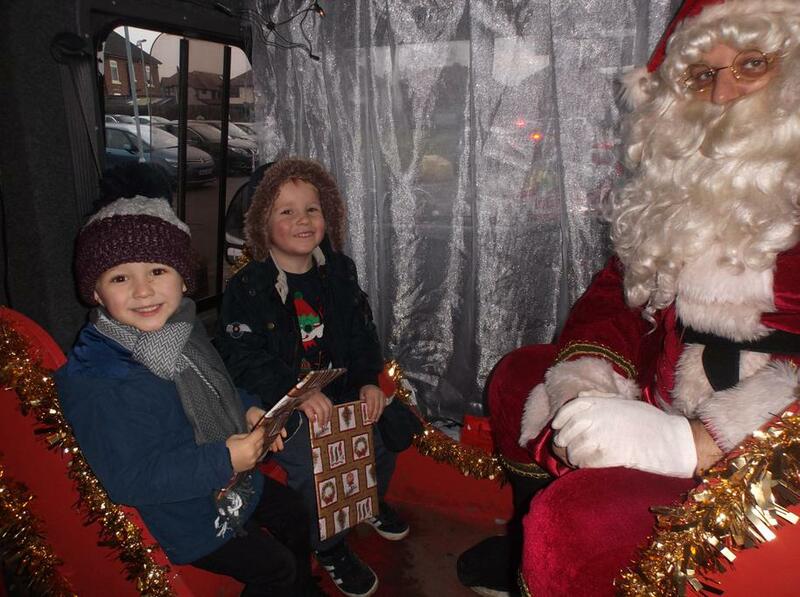 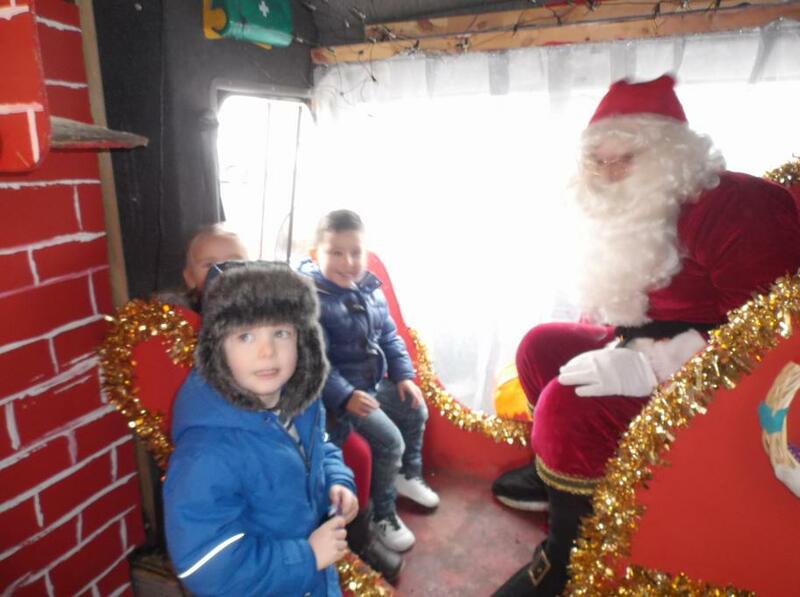 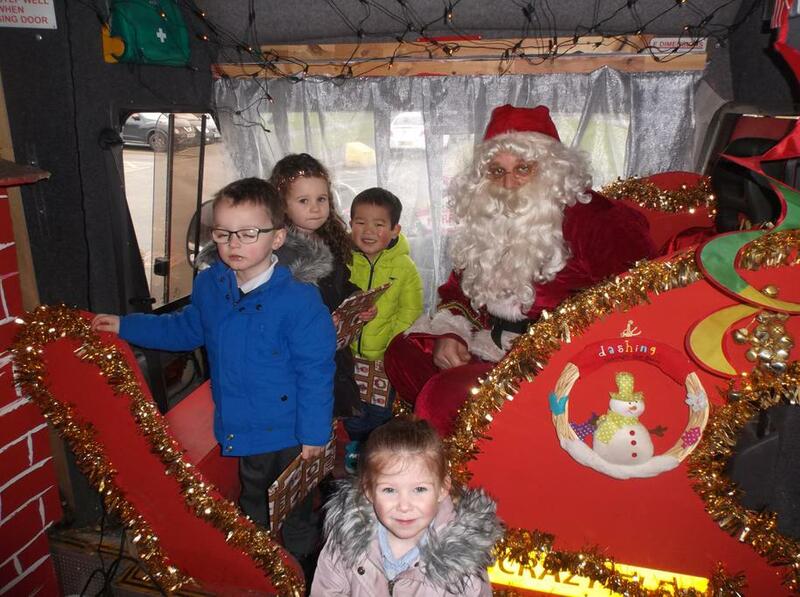 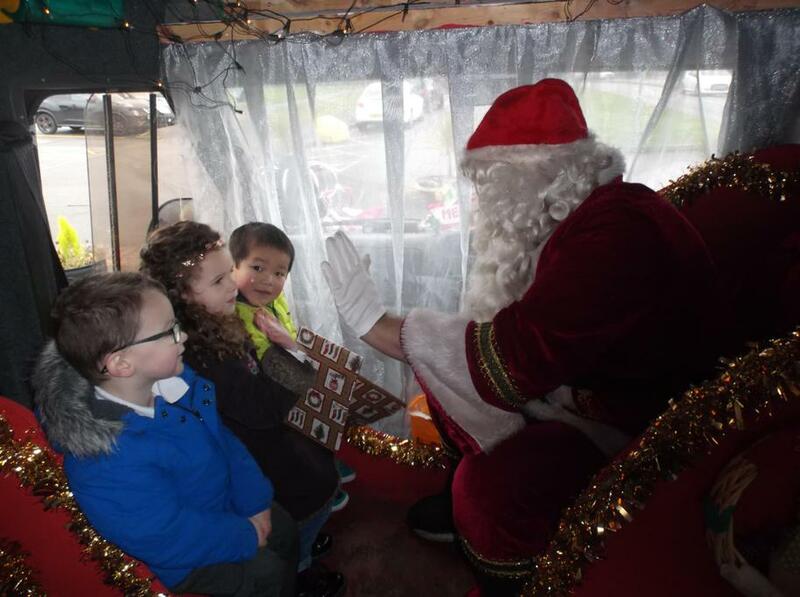 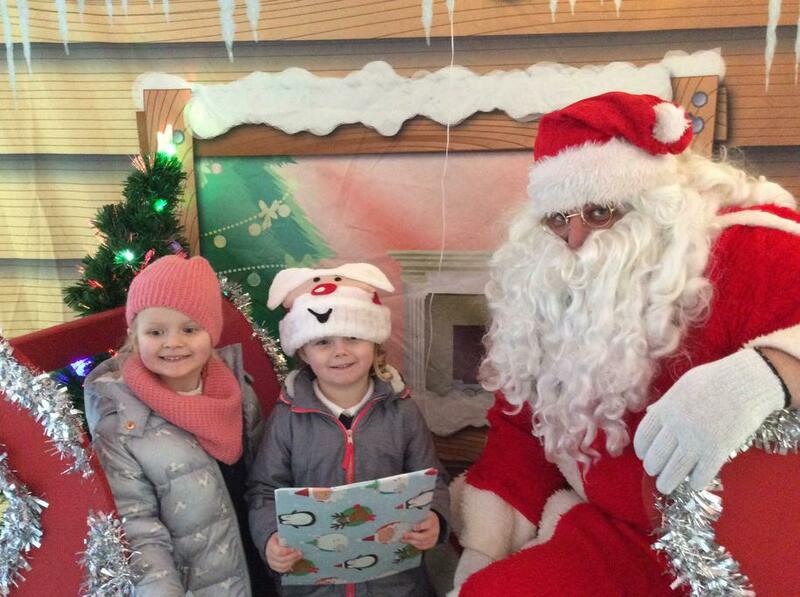 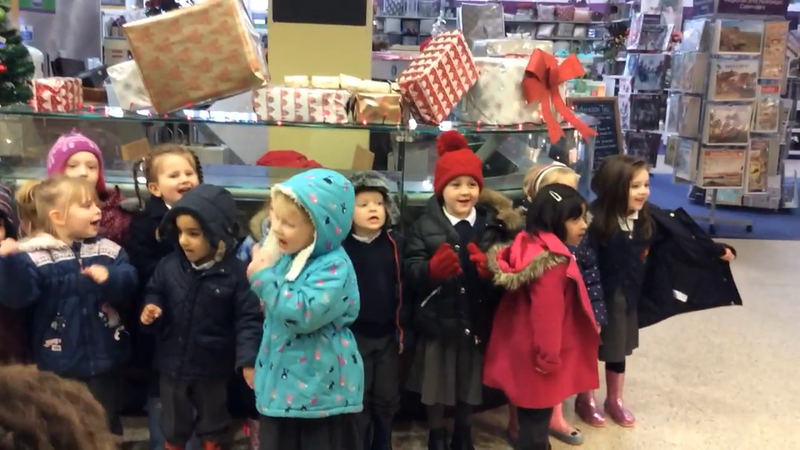 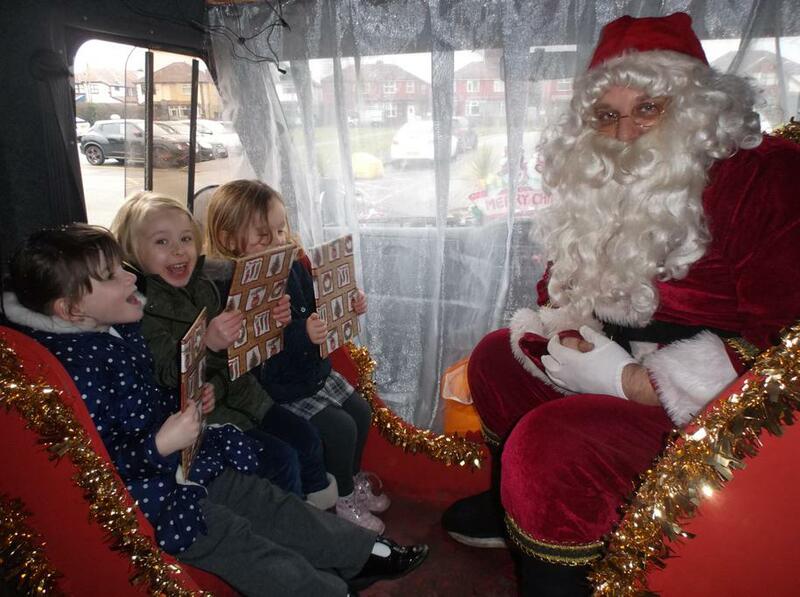 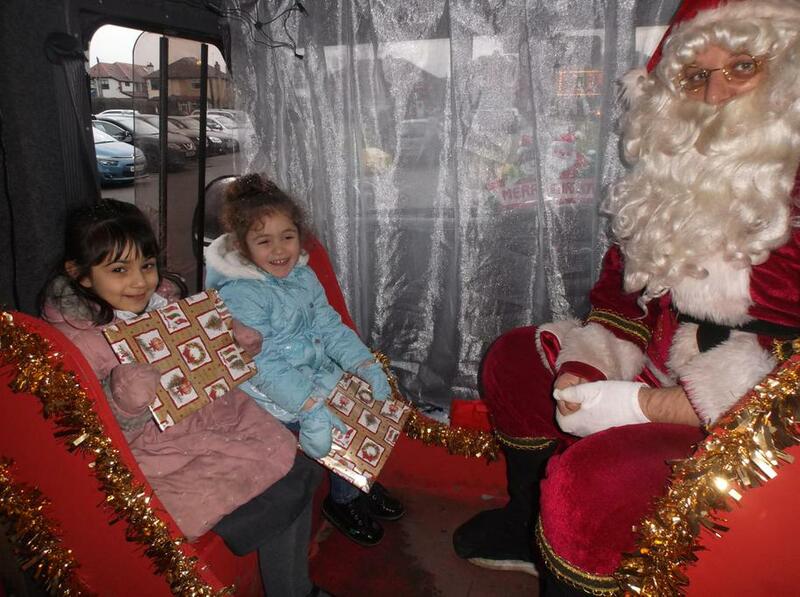 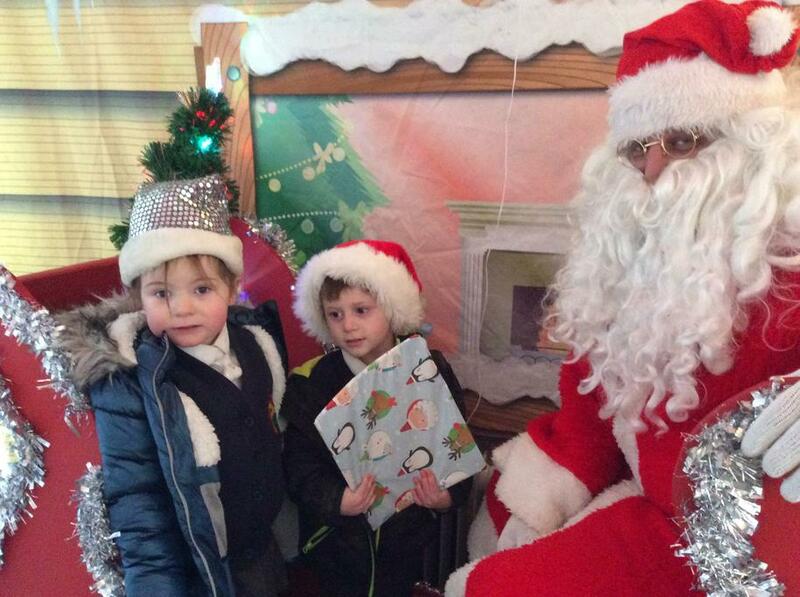 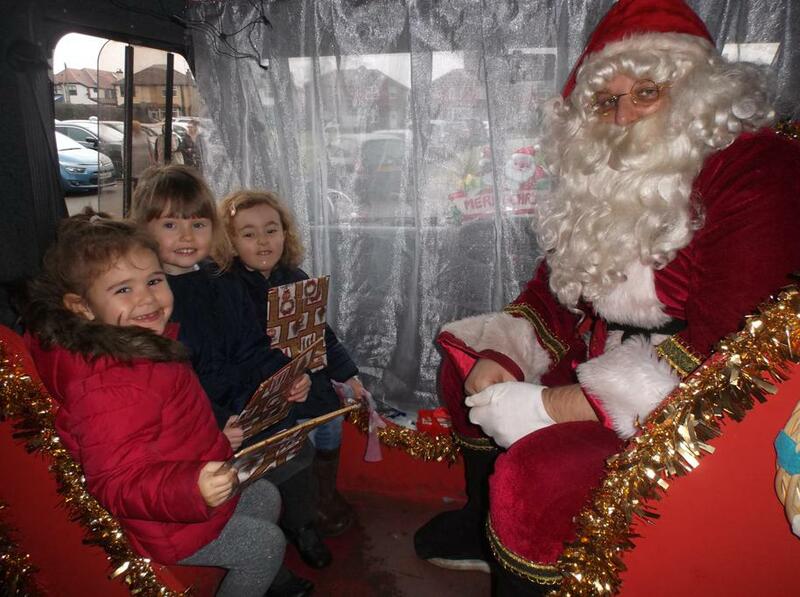 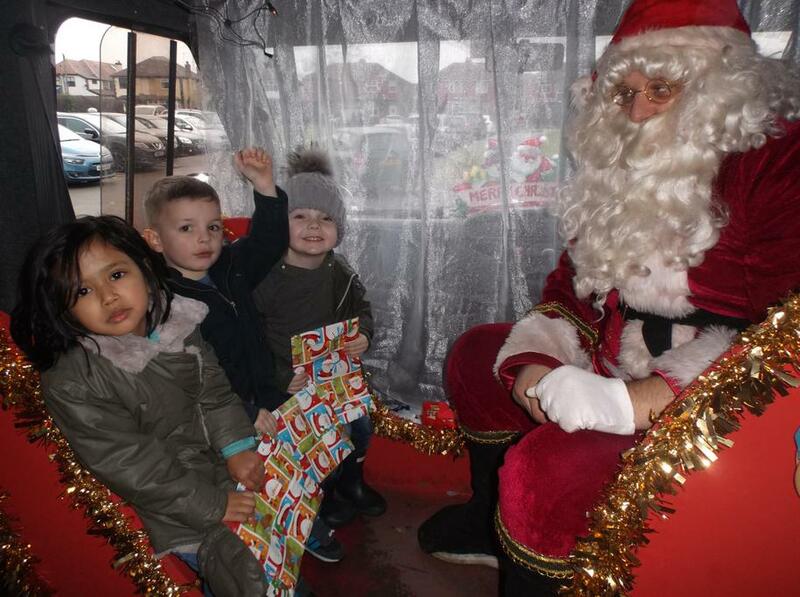 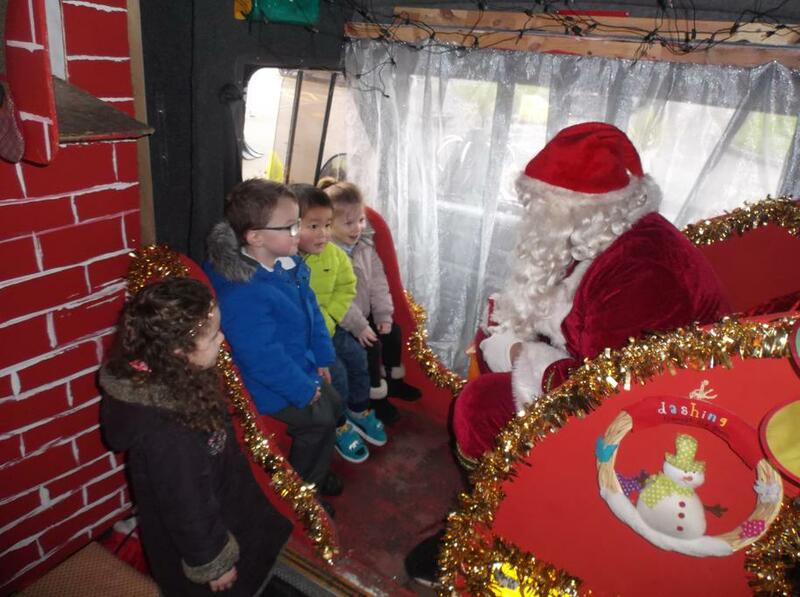 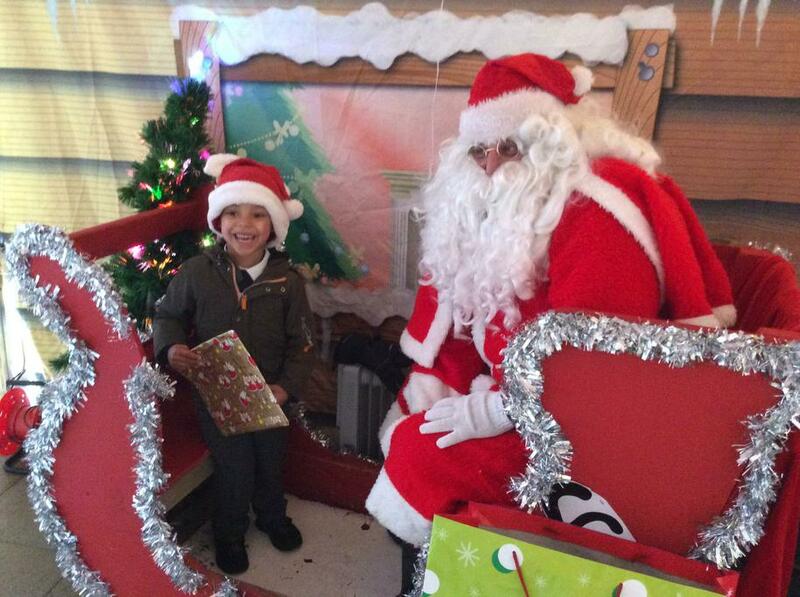 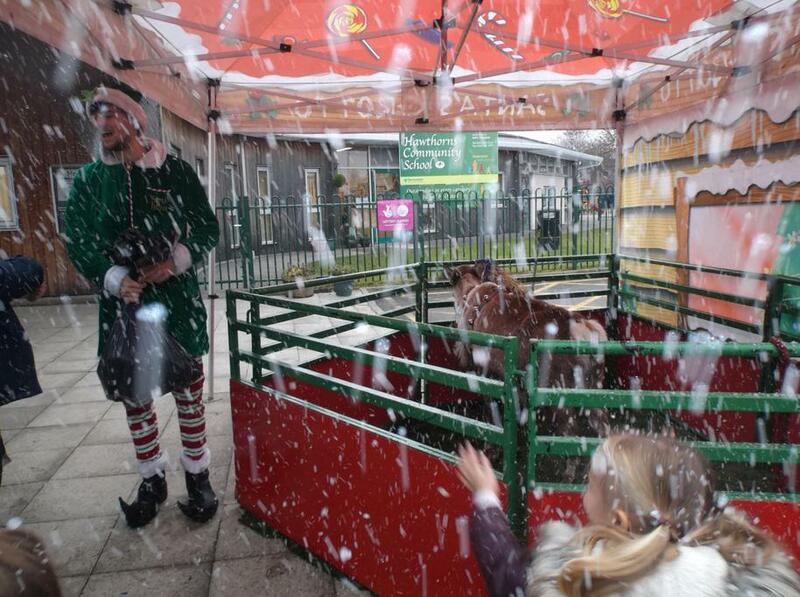 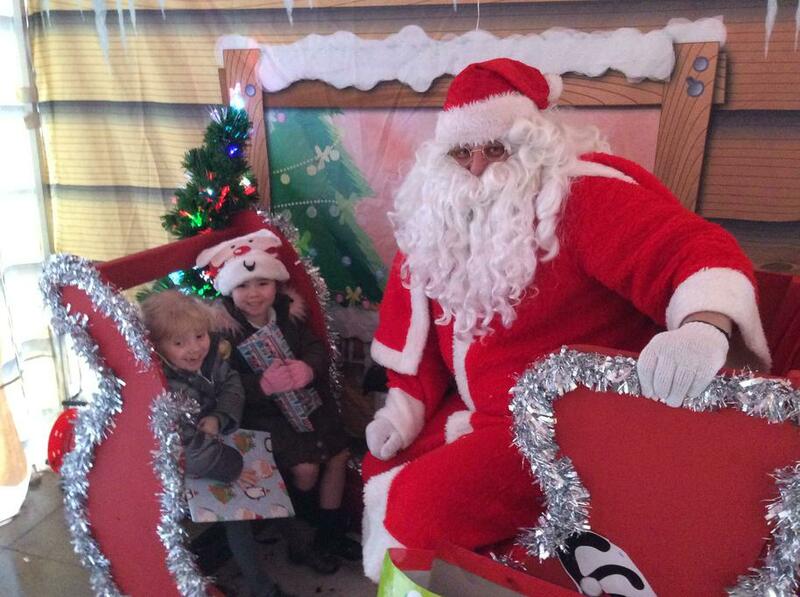 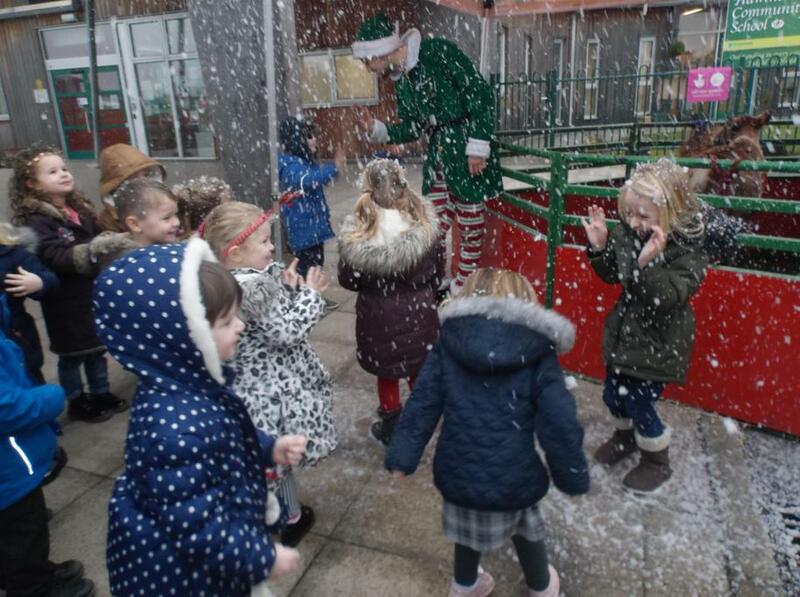 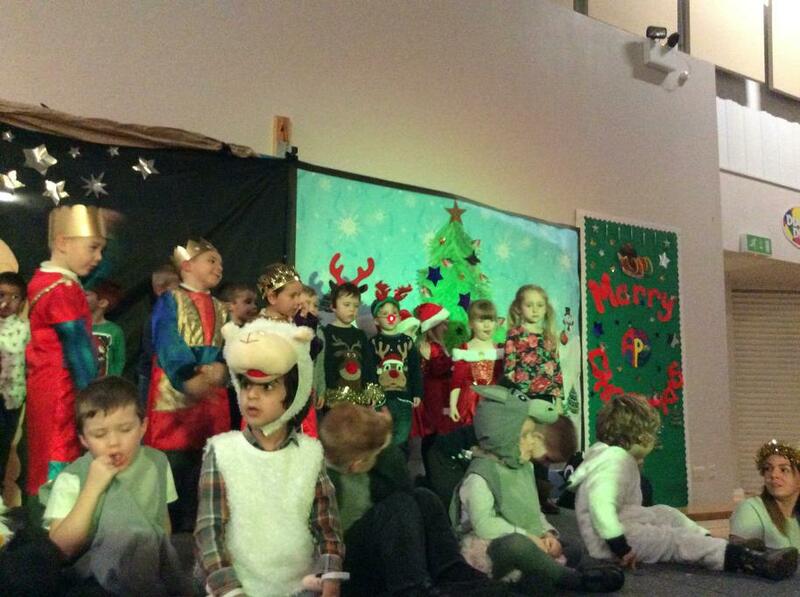 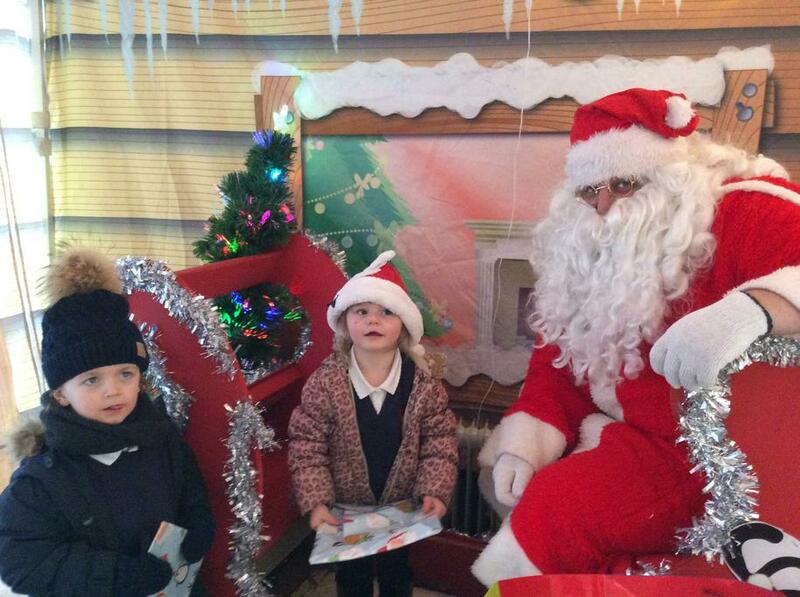 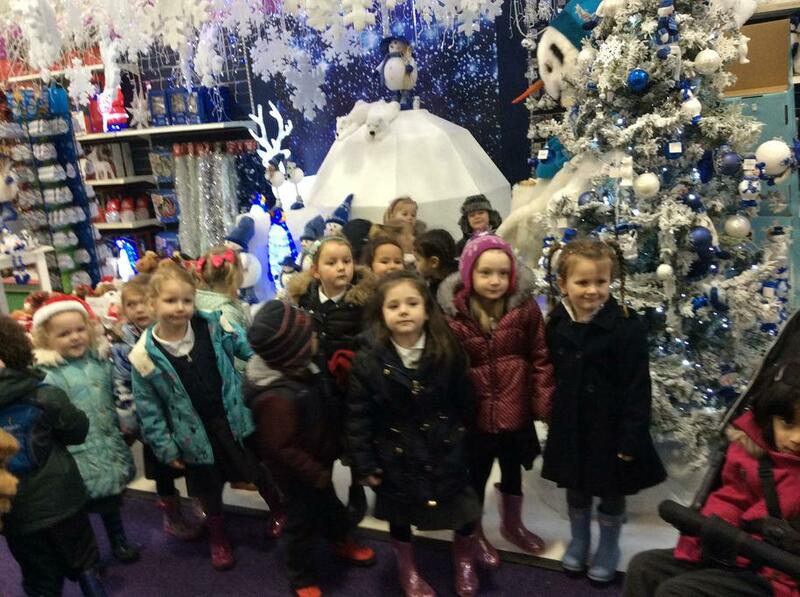 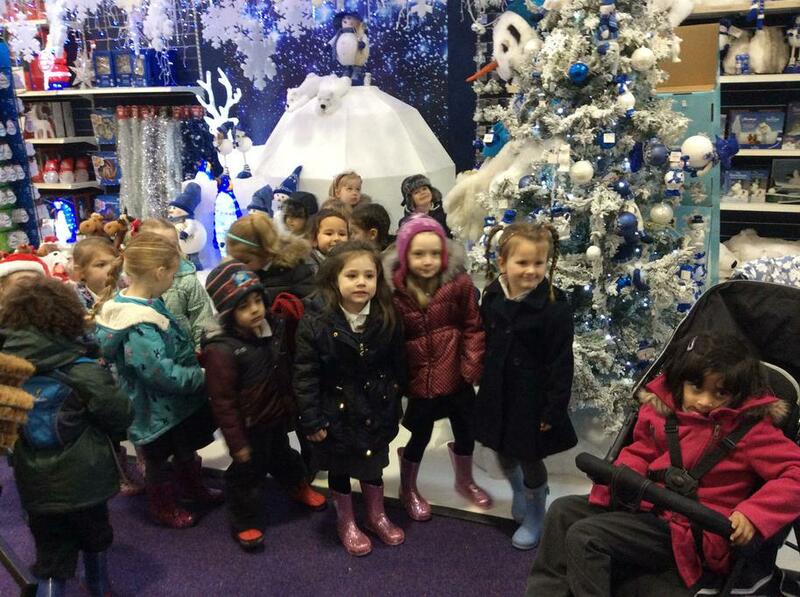 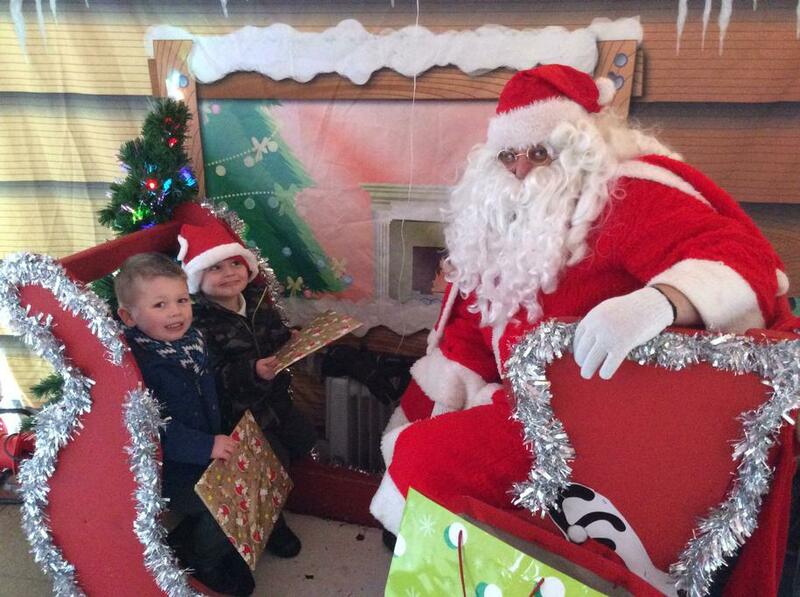 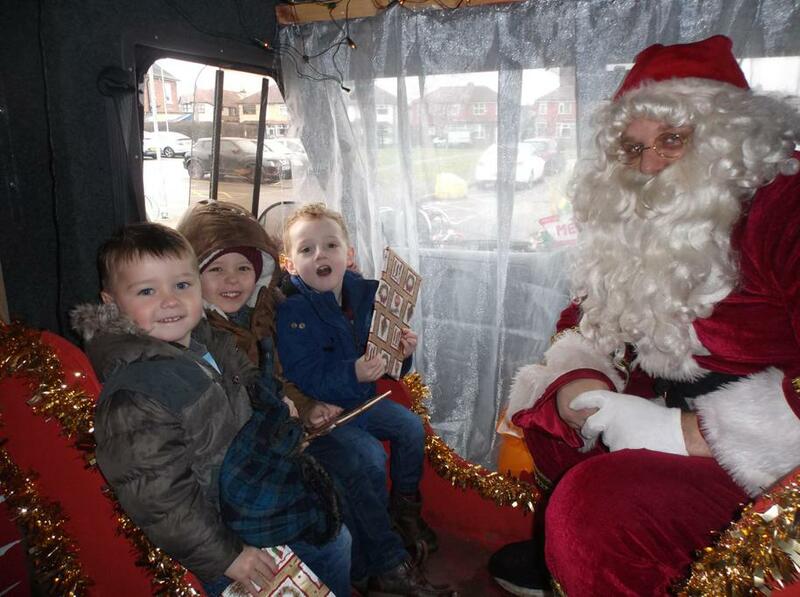 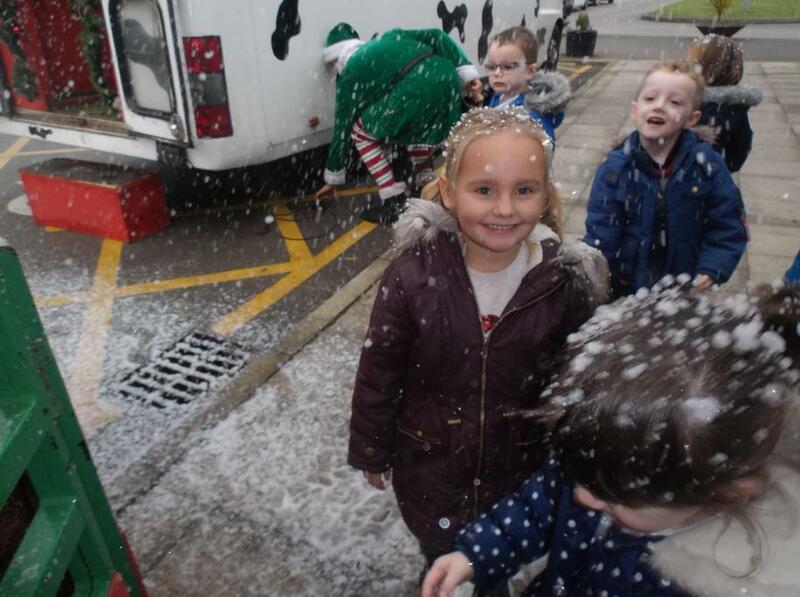 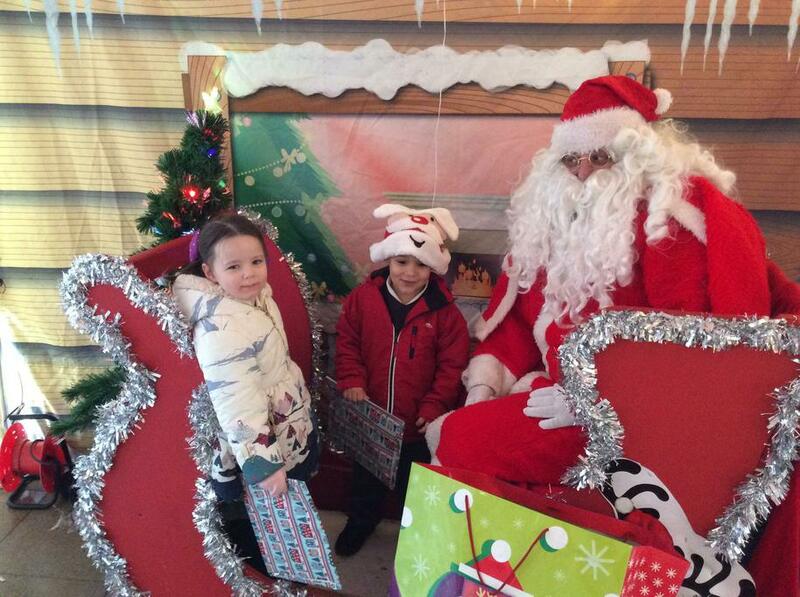 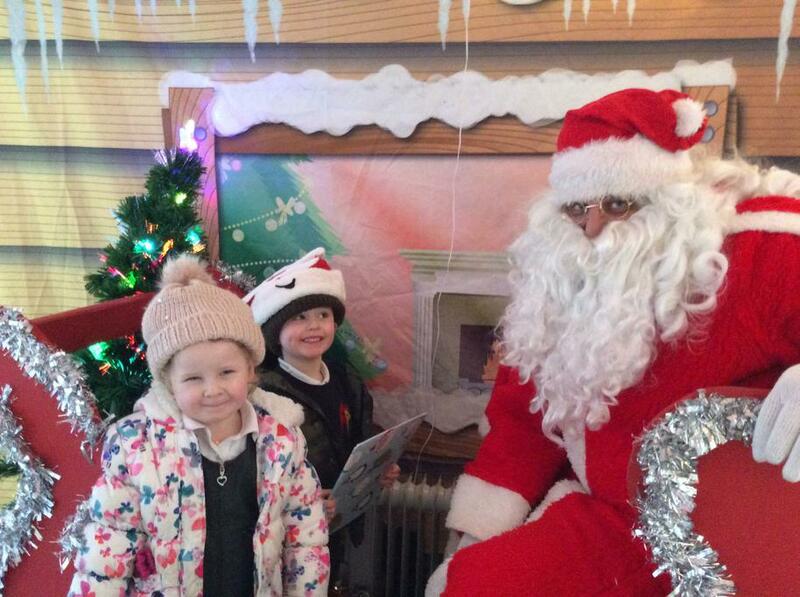 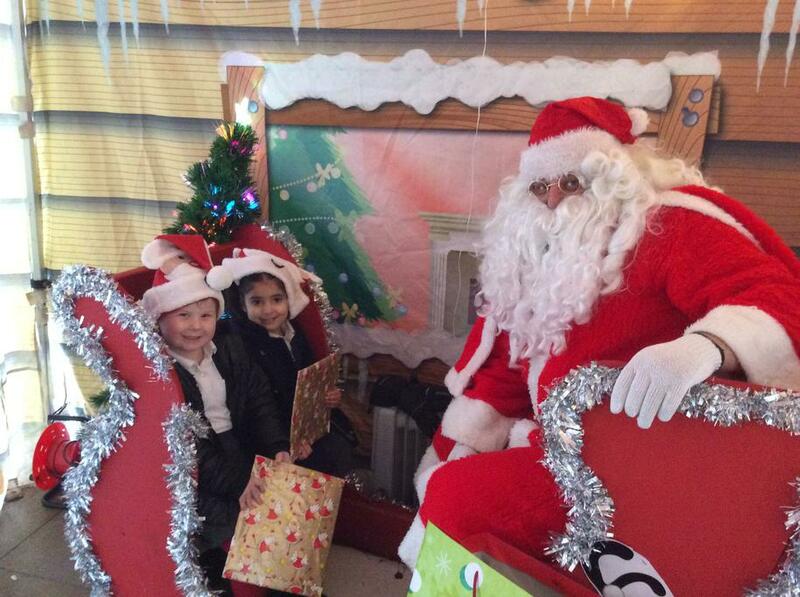 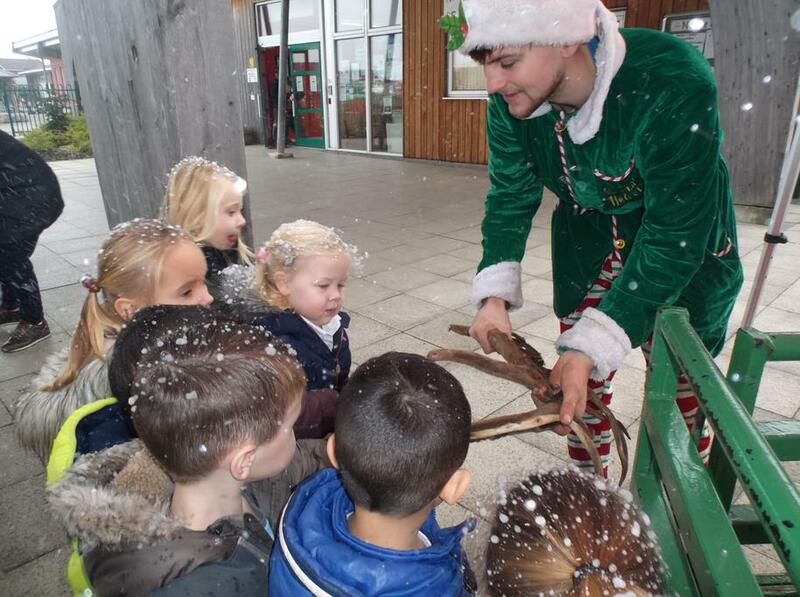 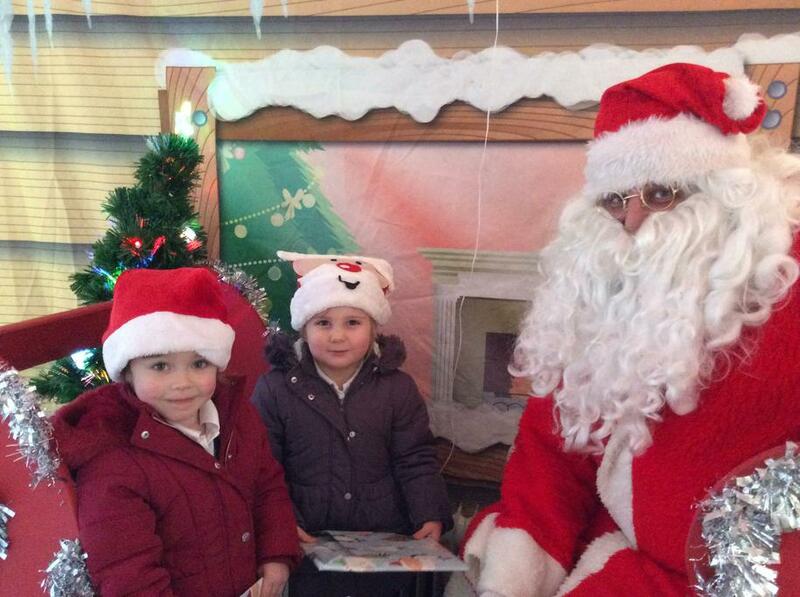 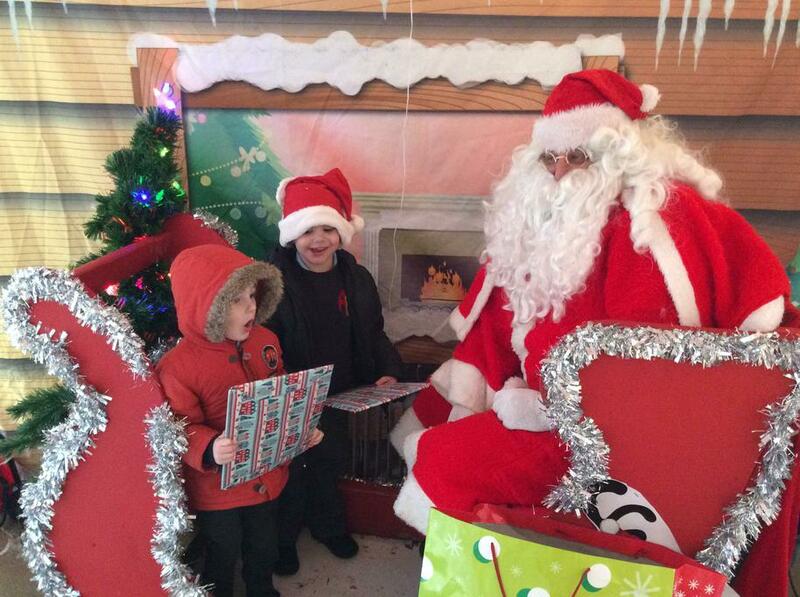 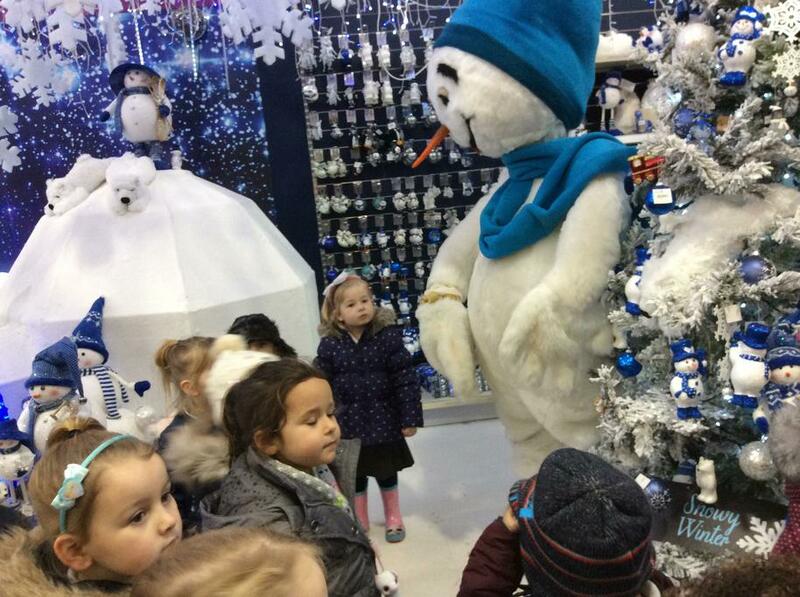 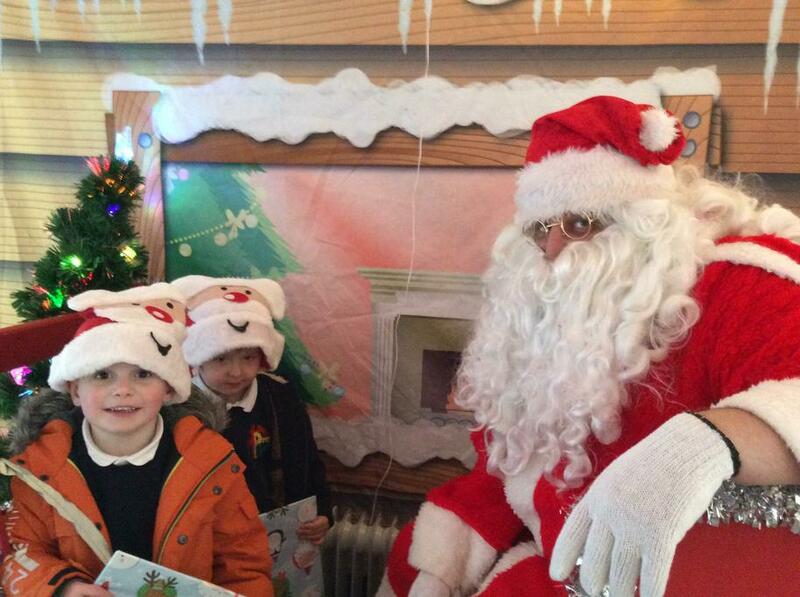 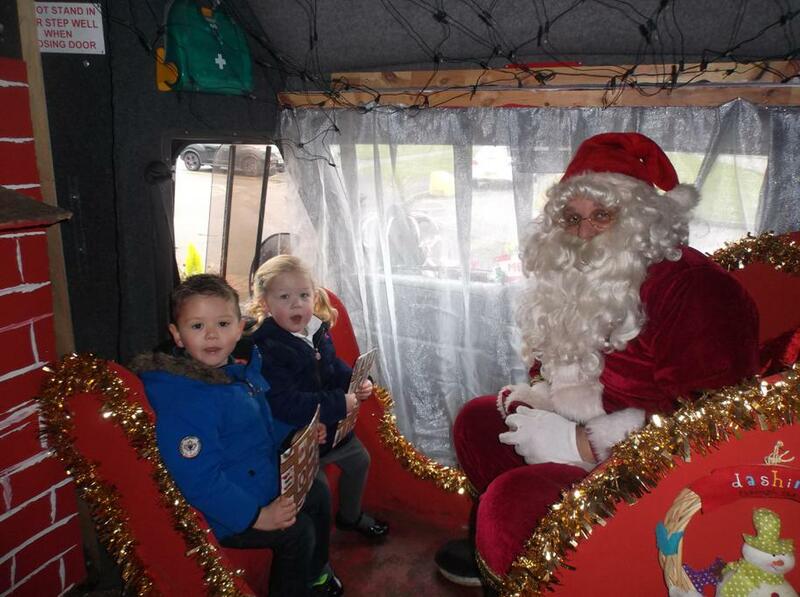 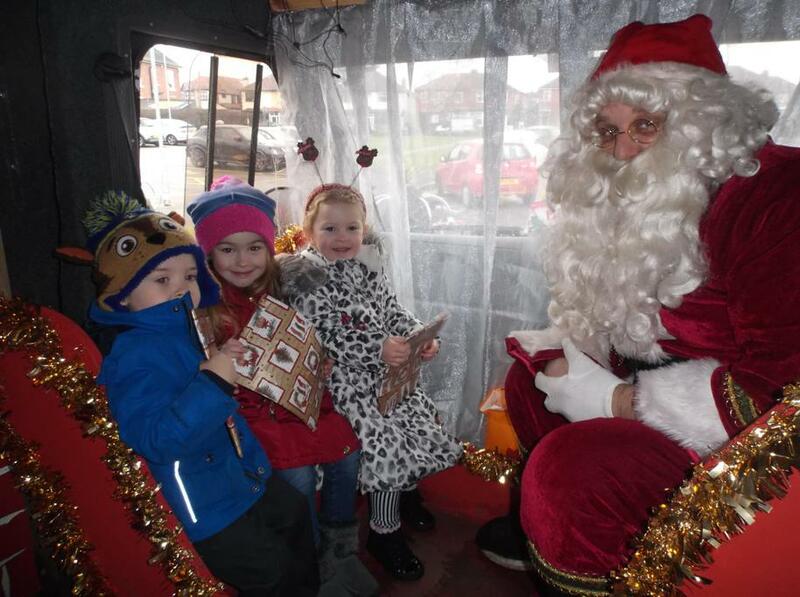 The nursery boys and girls had a very special visit from Father Christmas, Buddy the elf and his reindeer. 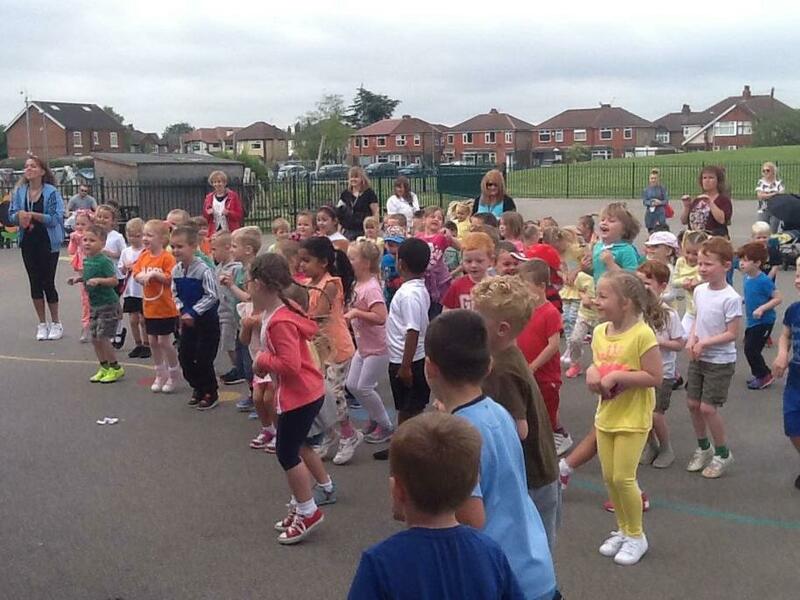 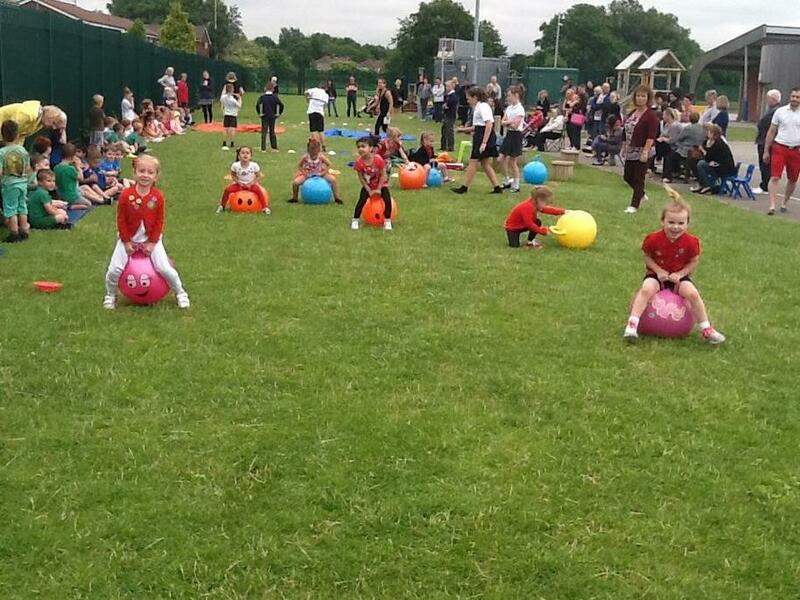 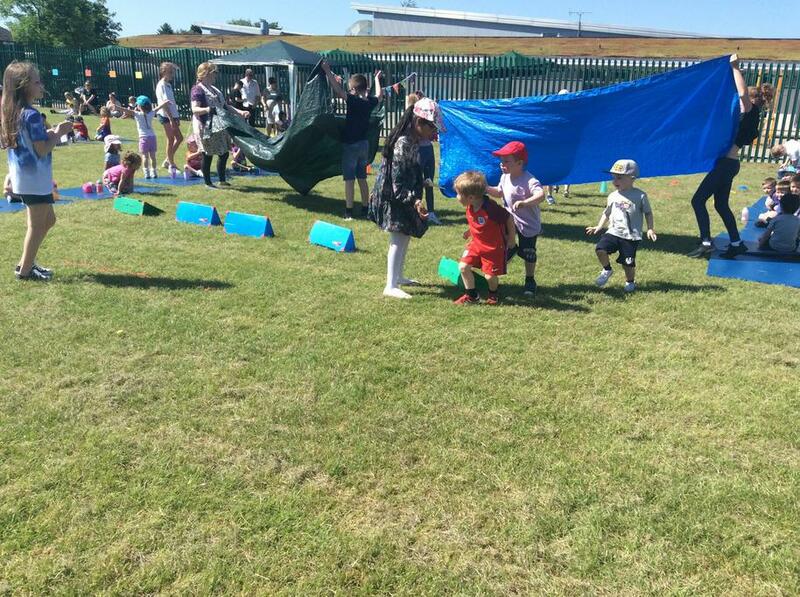 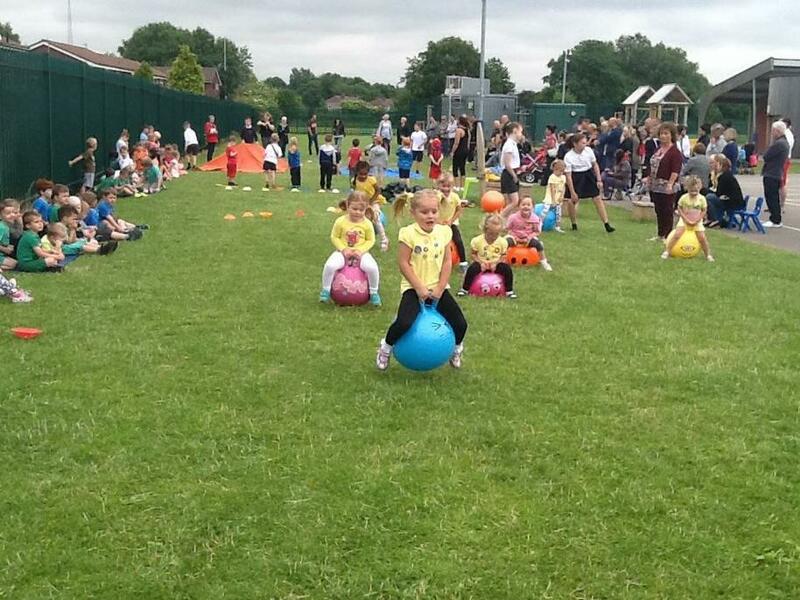 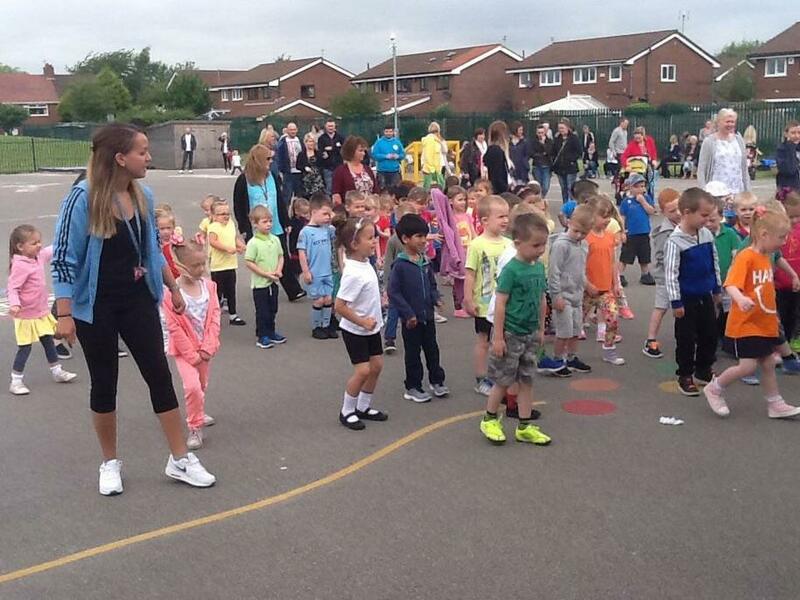 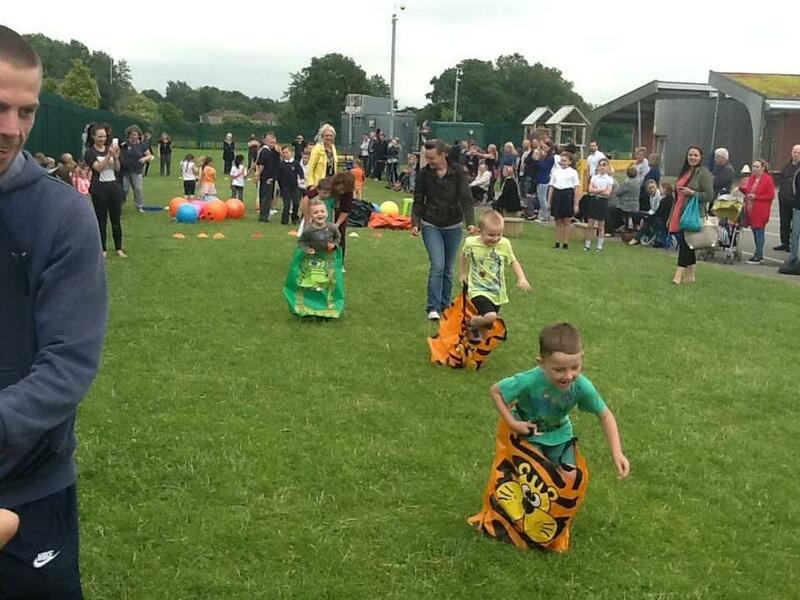 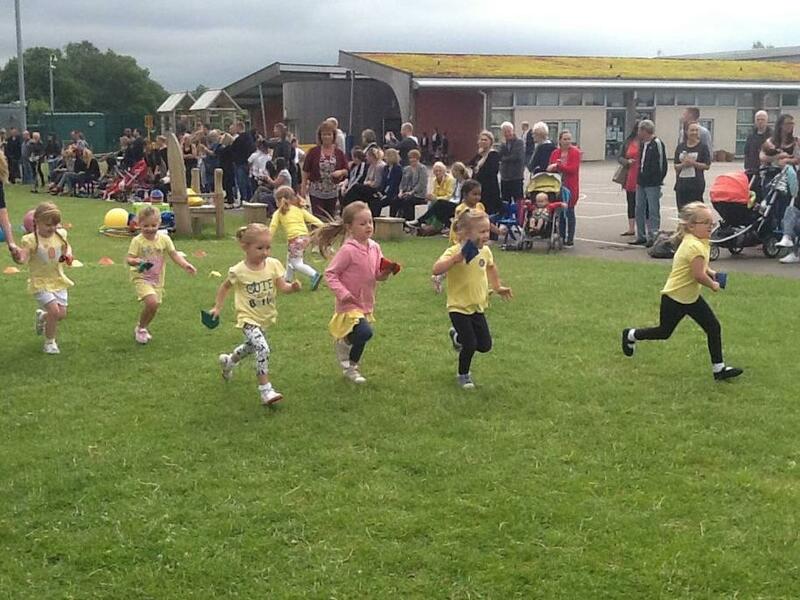 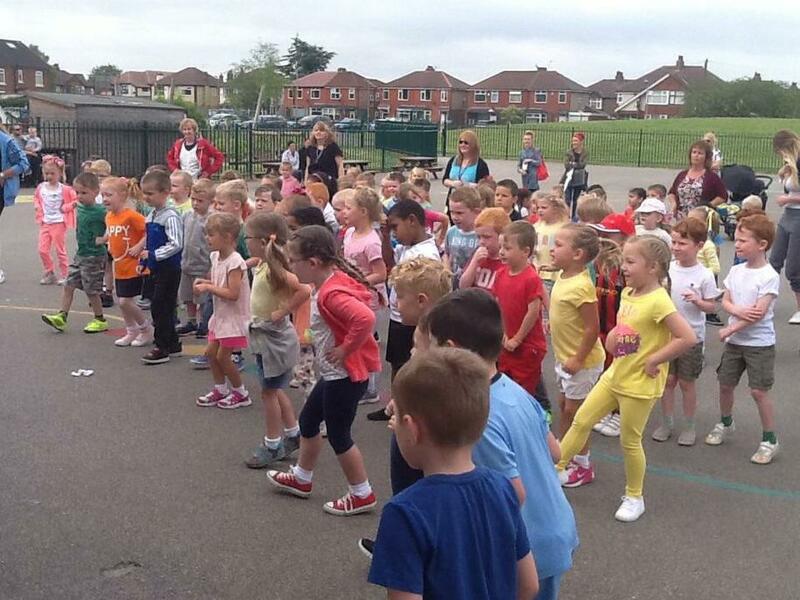 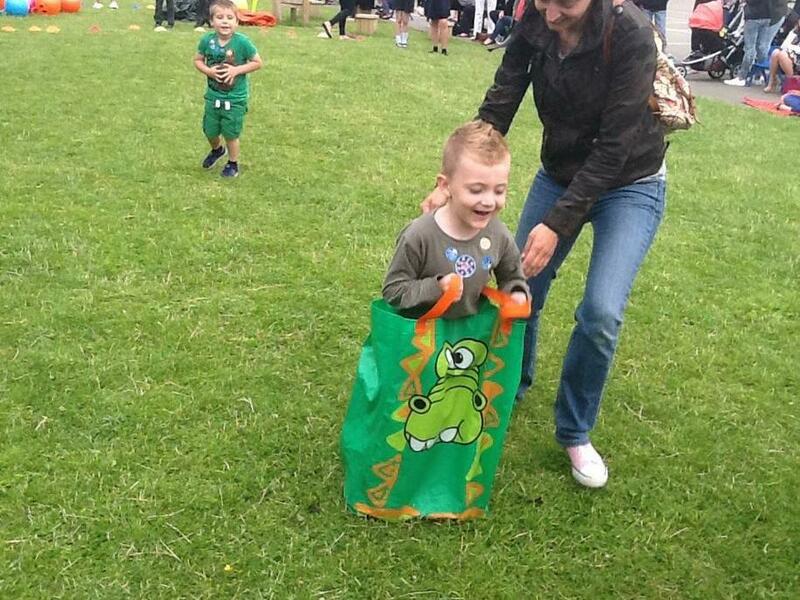 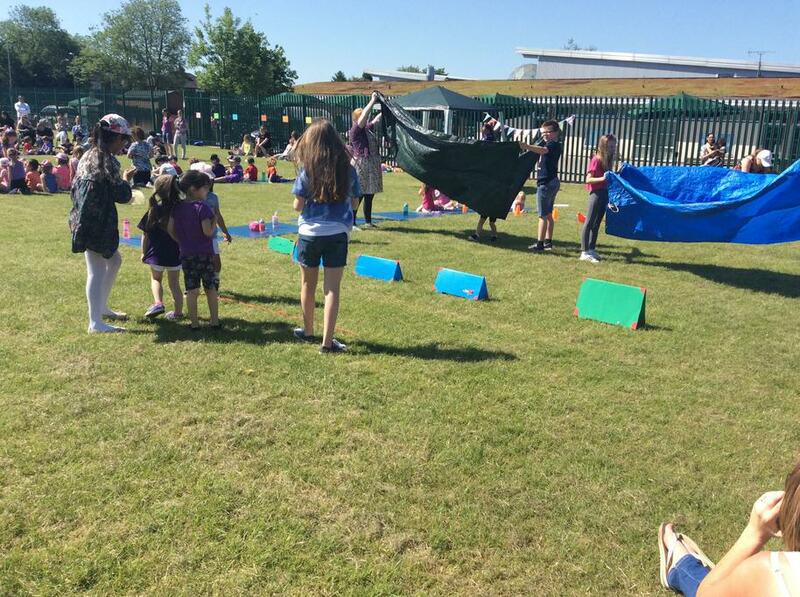 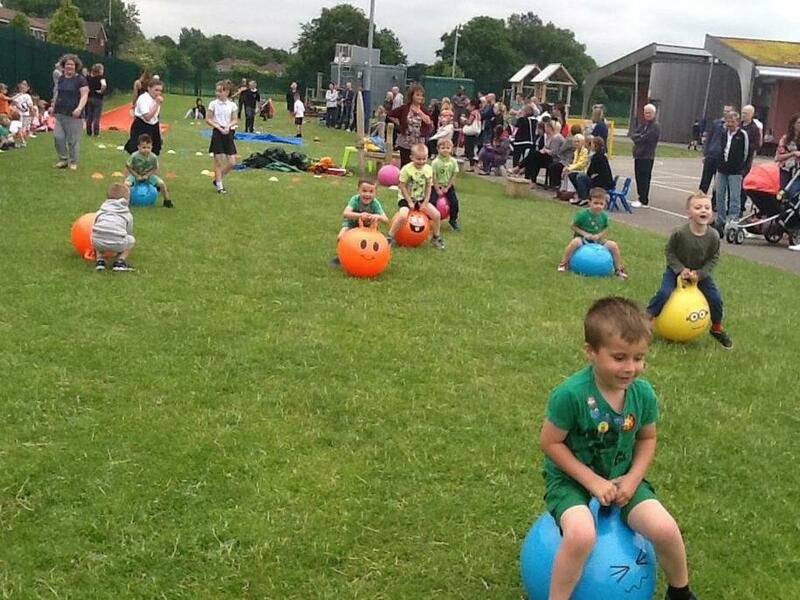 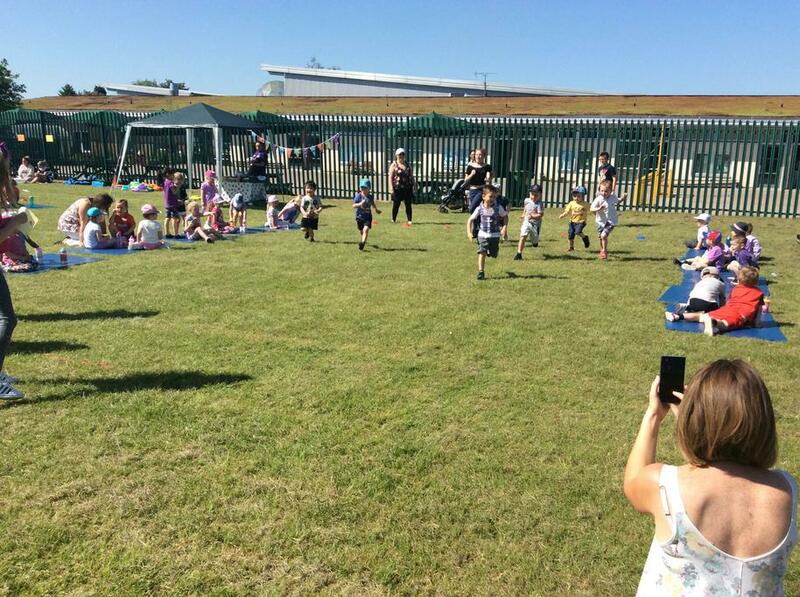 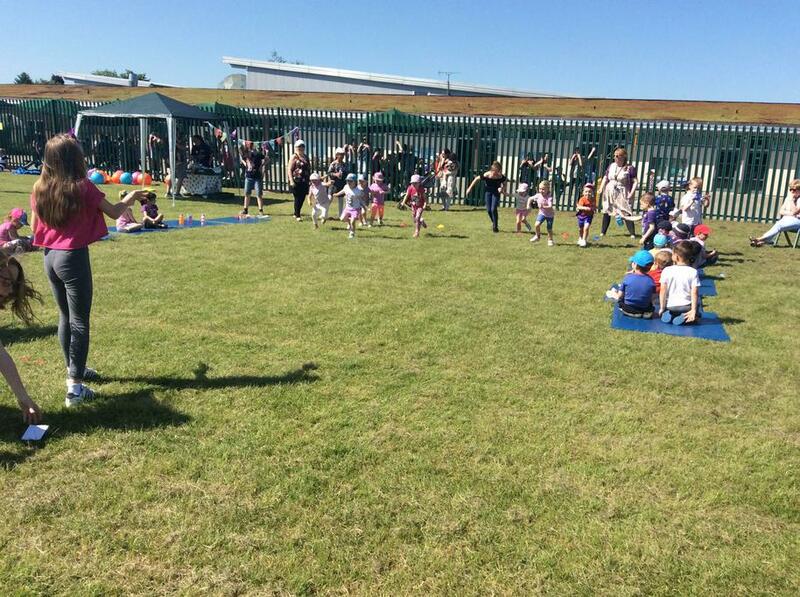 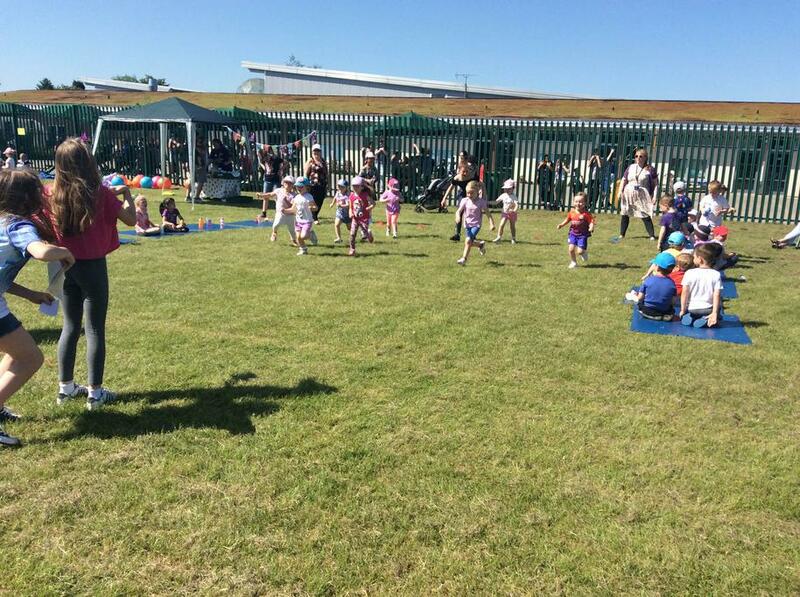 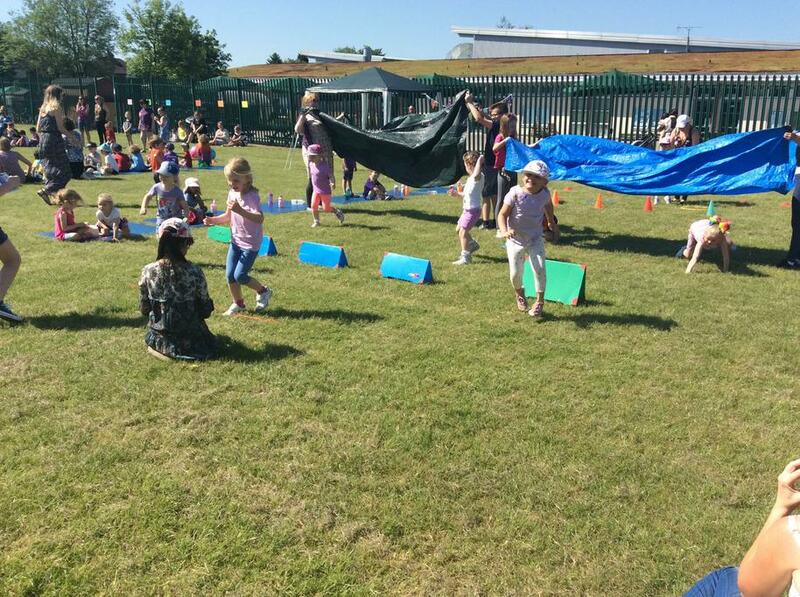 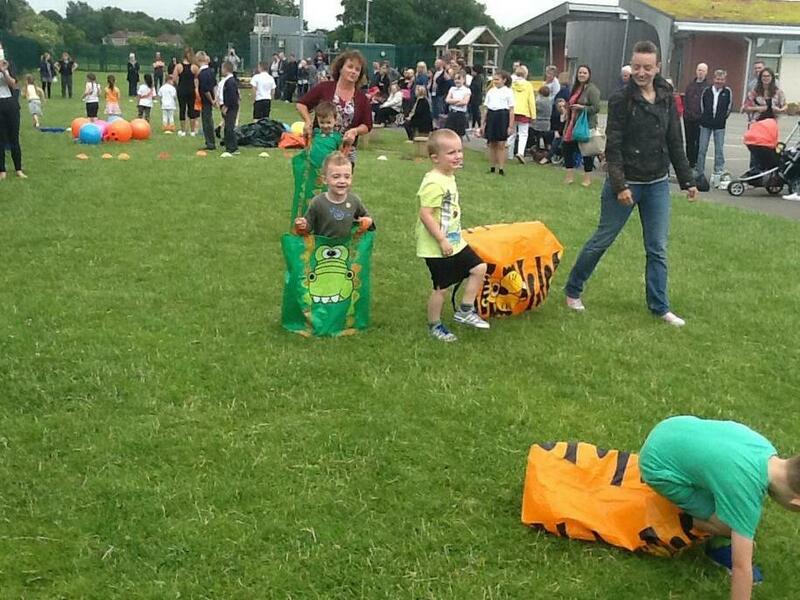 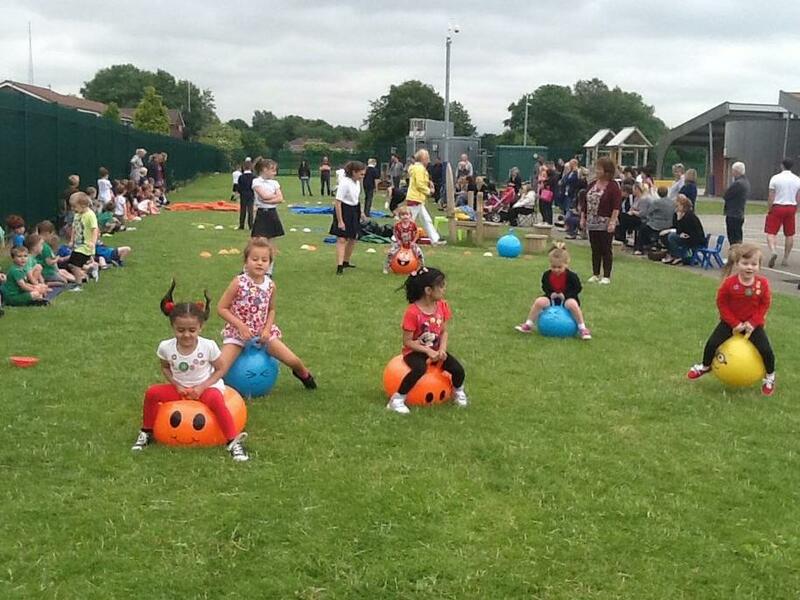 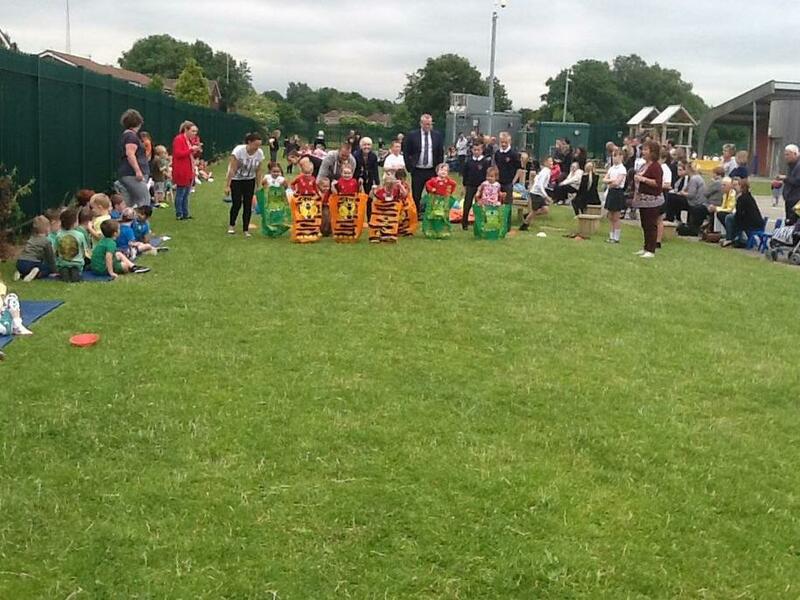 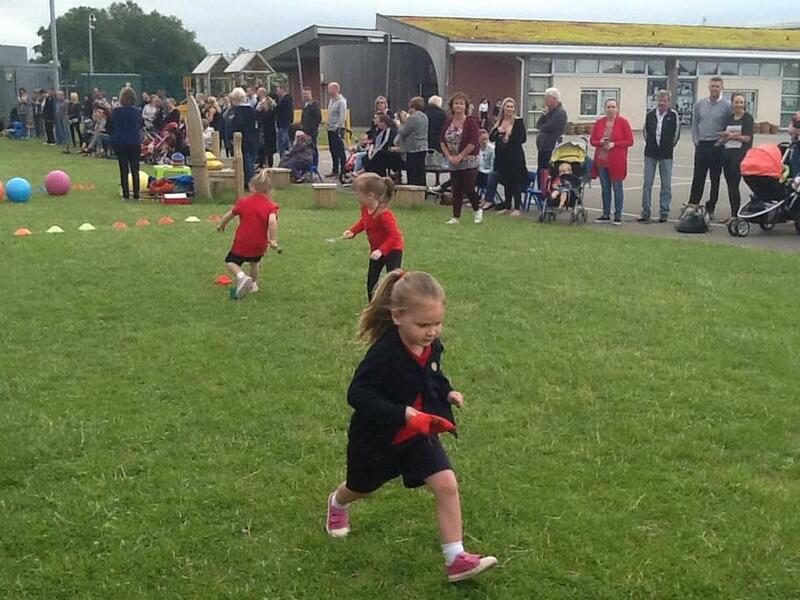 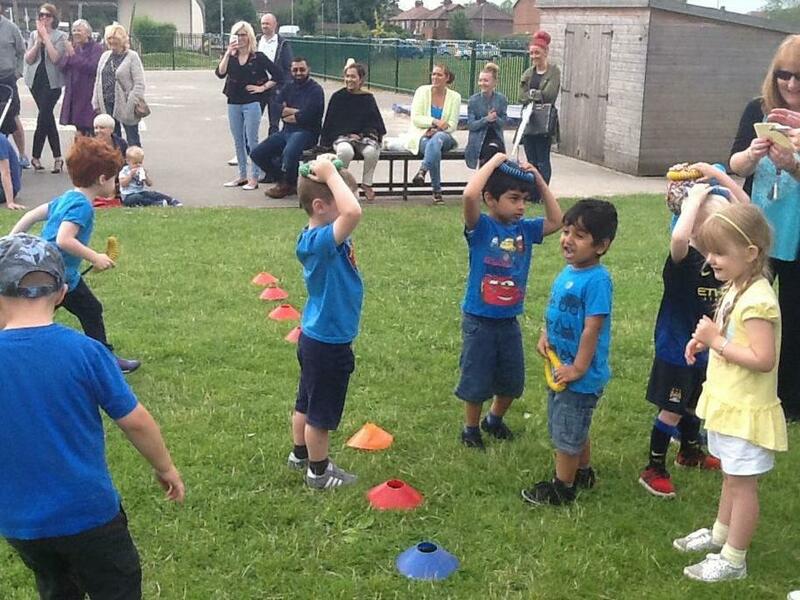 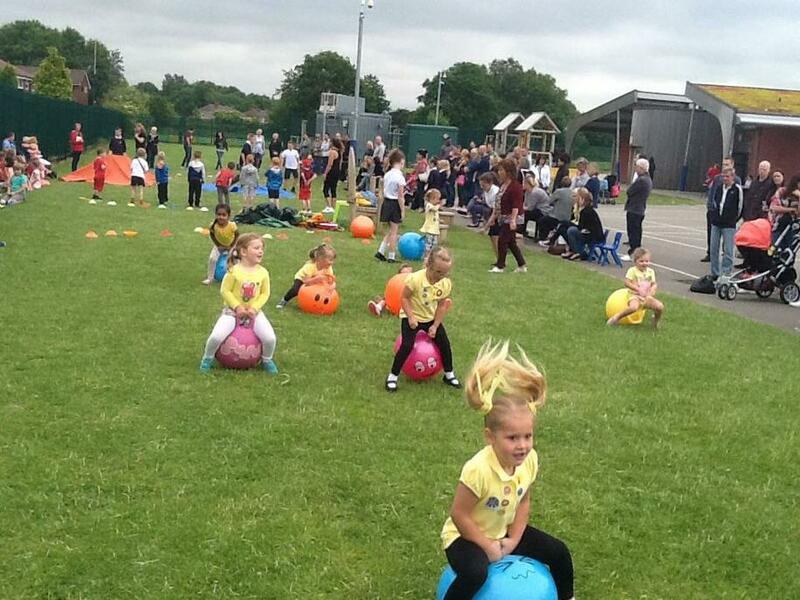 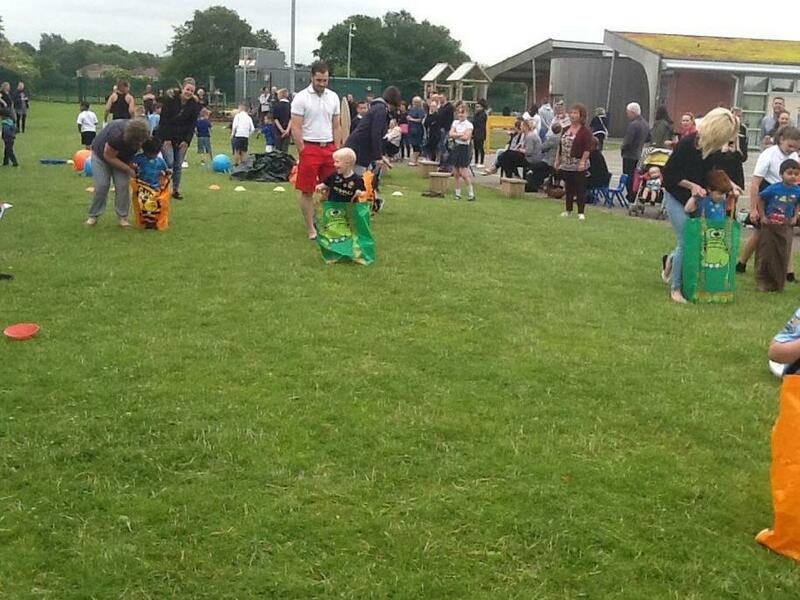 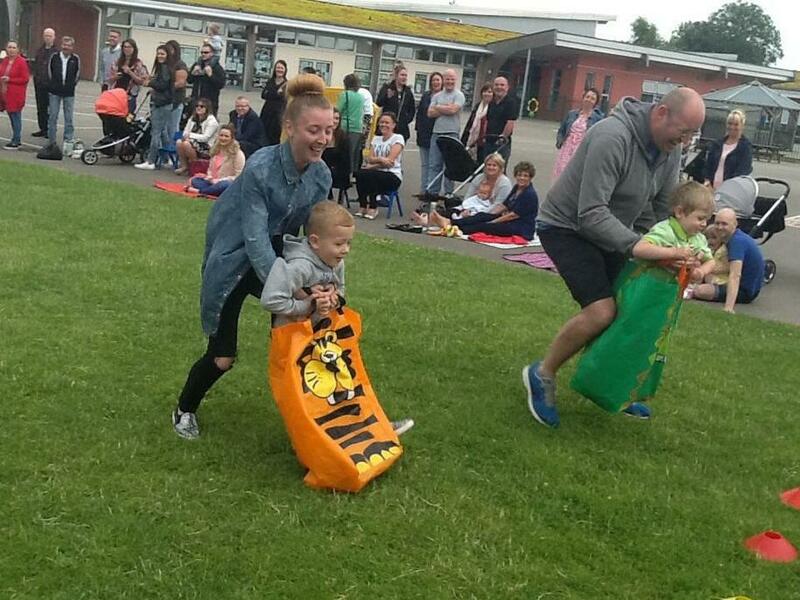 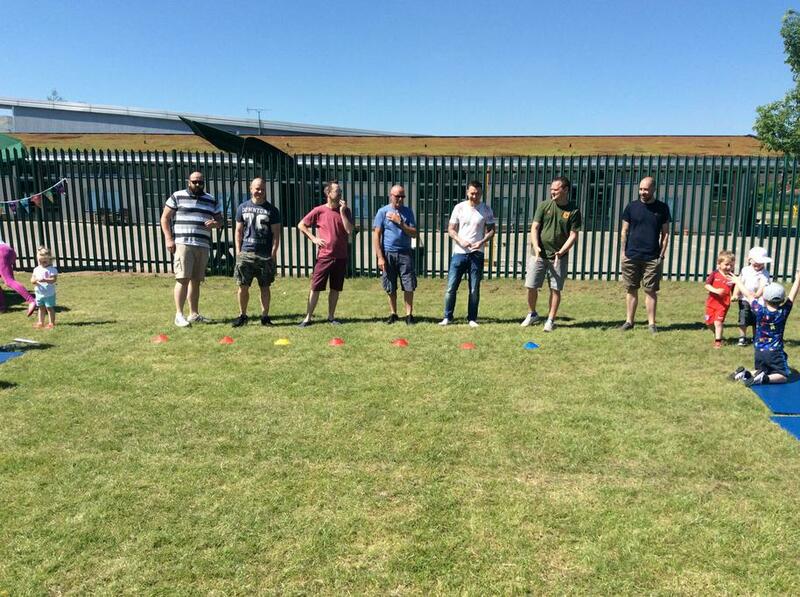 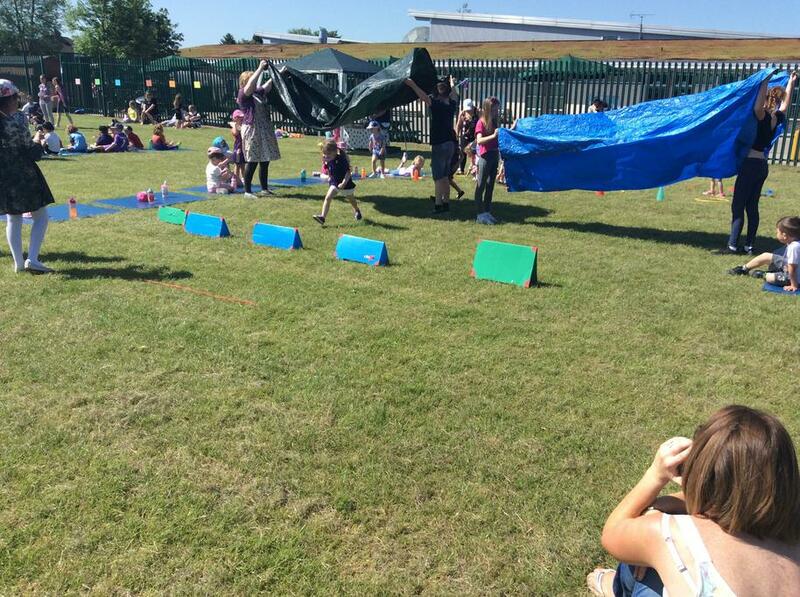 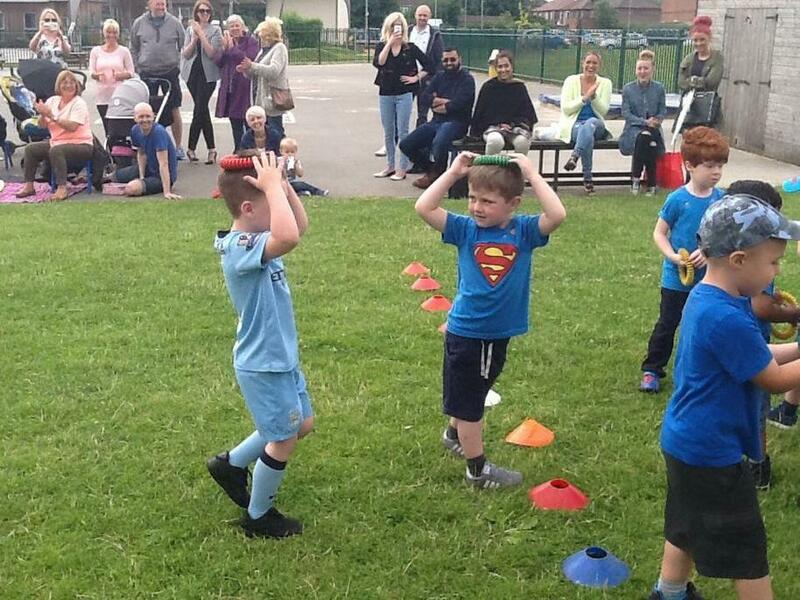 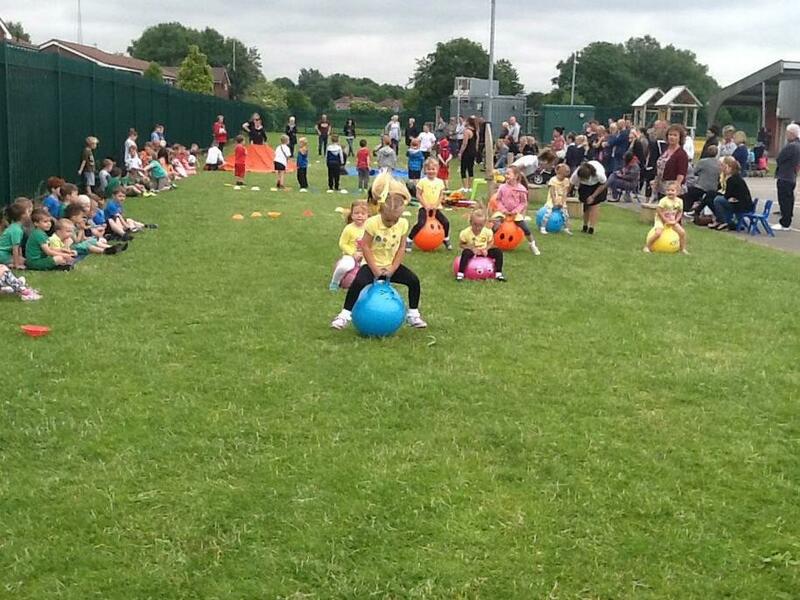 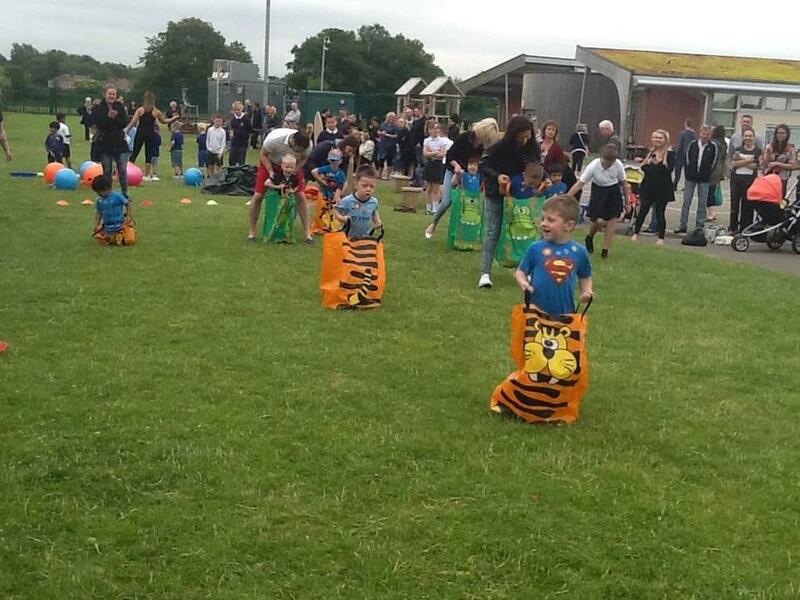 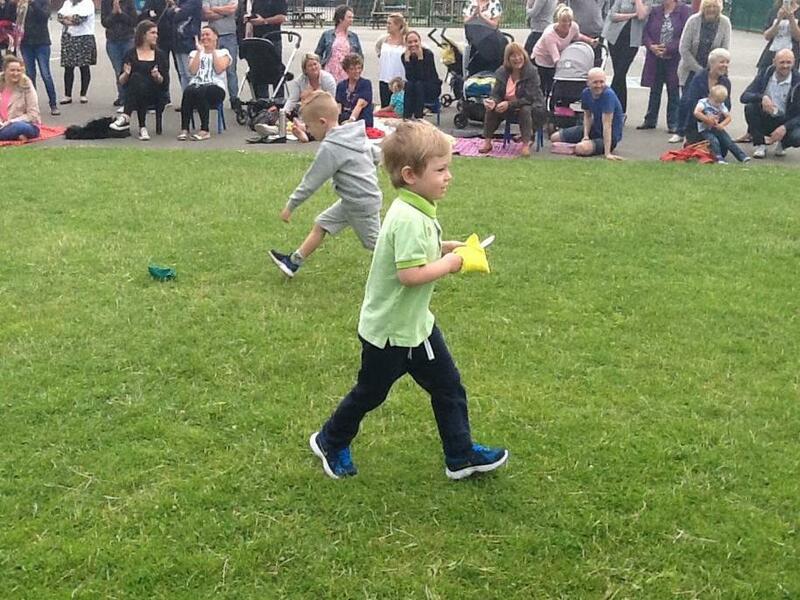 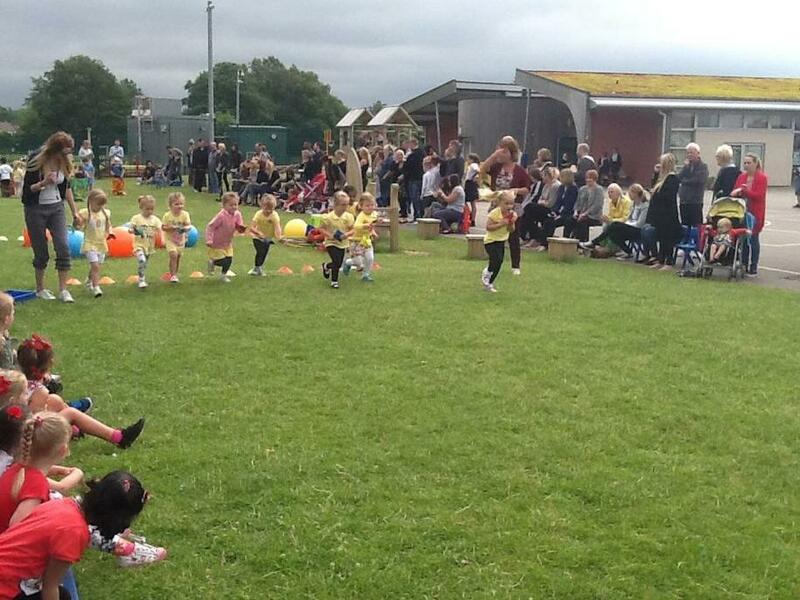 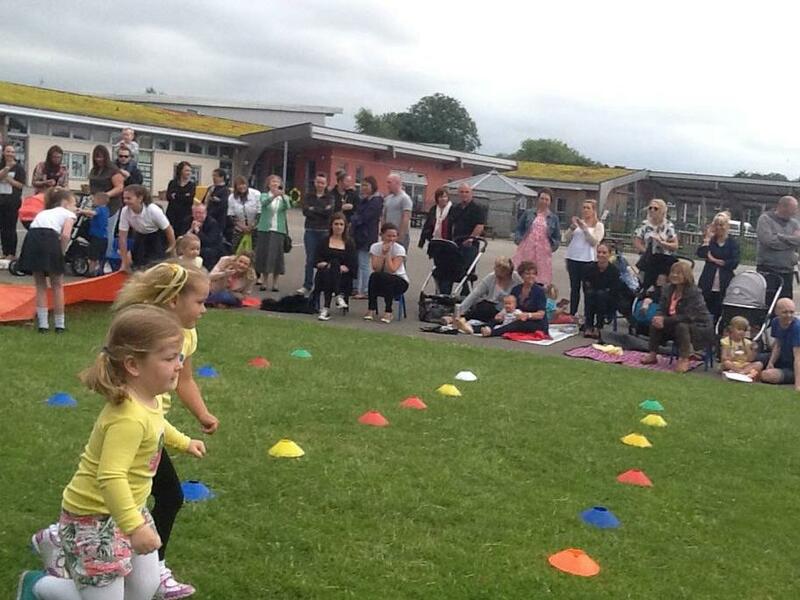 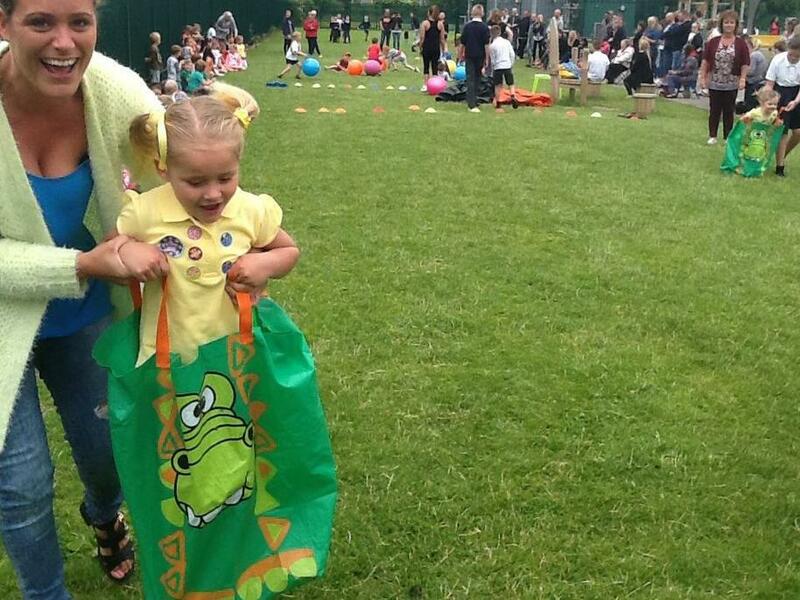 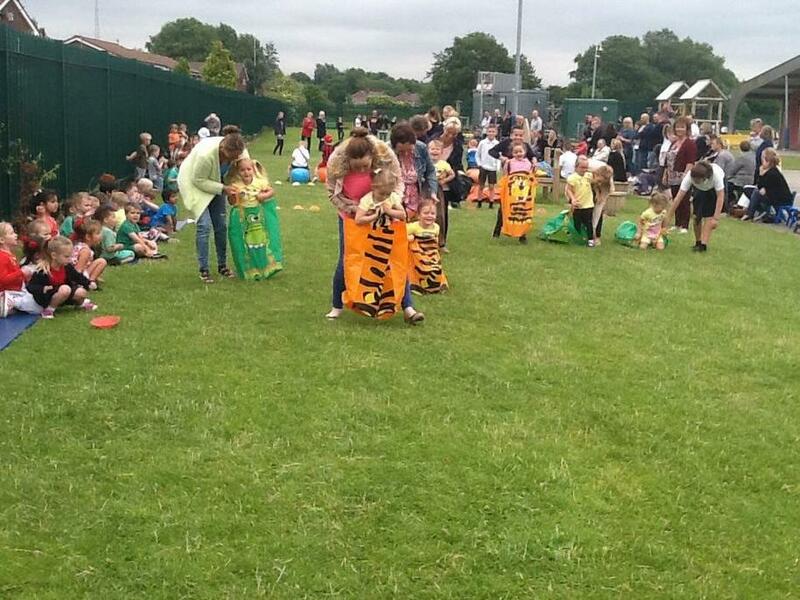 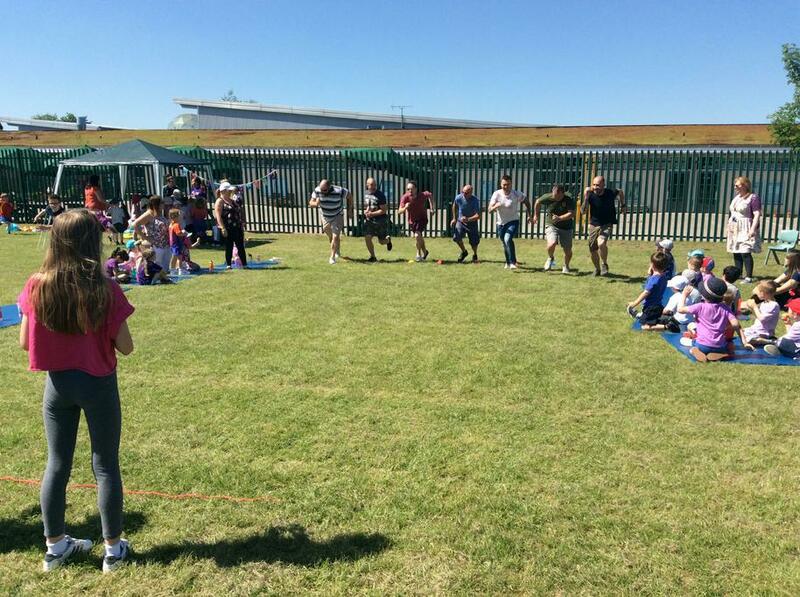 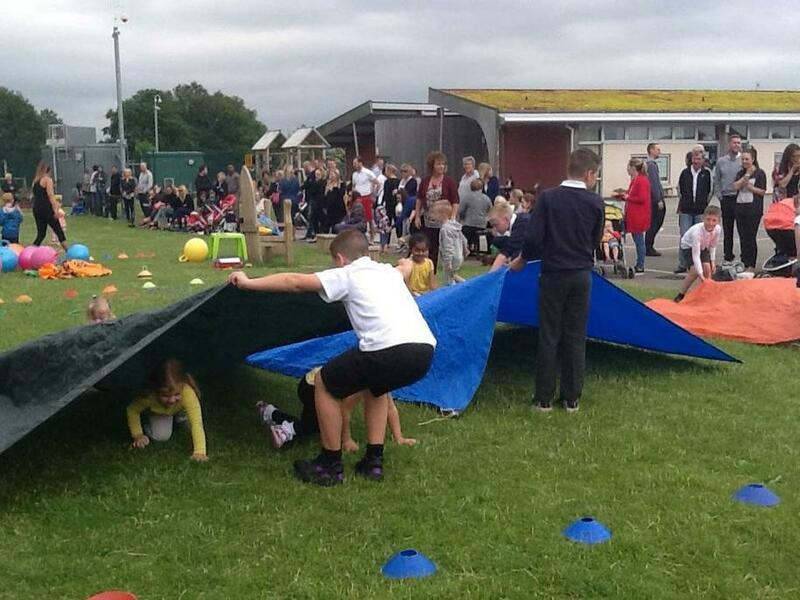 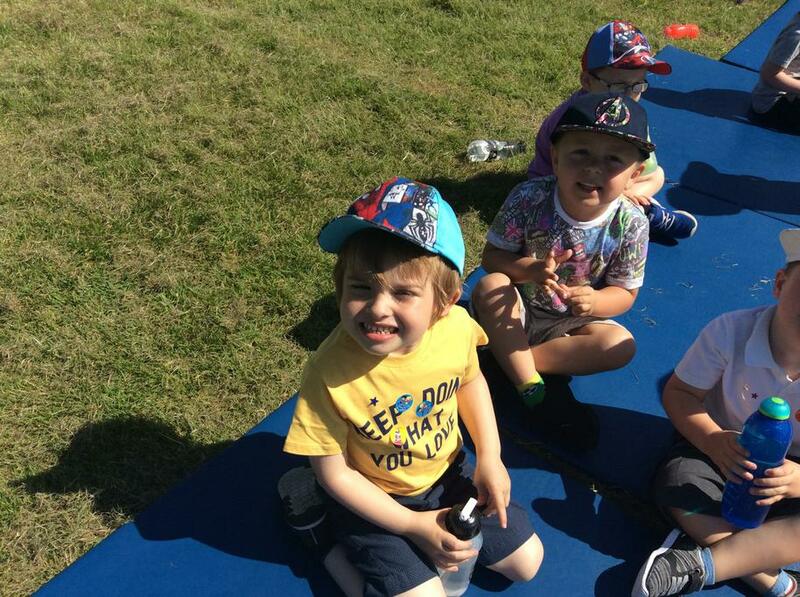 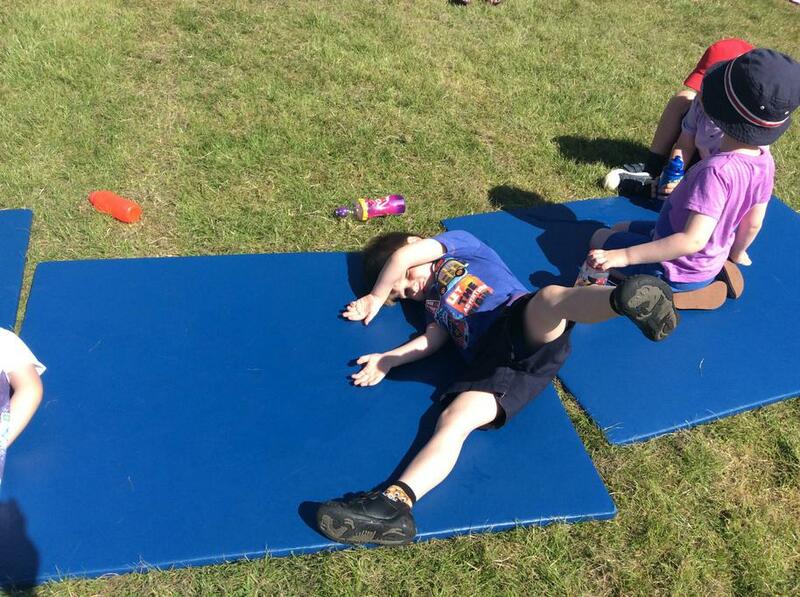 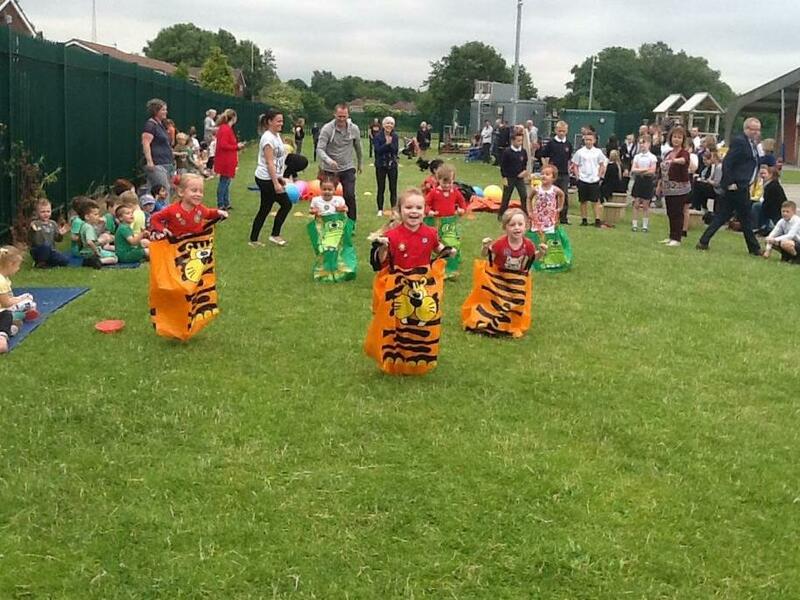 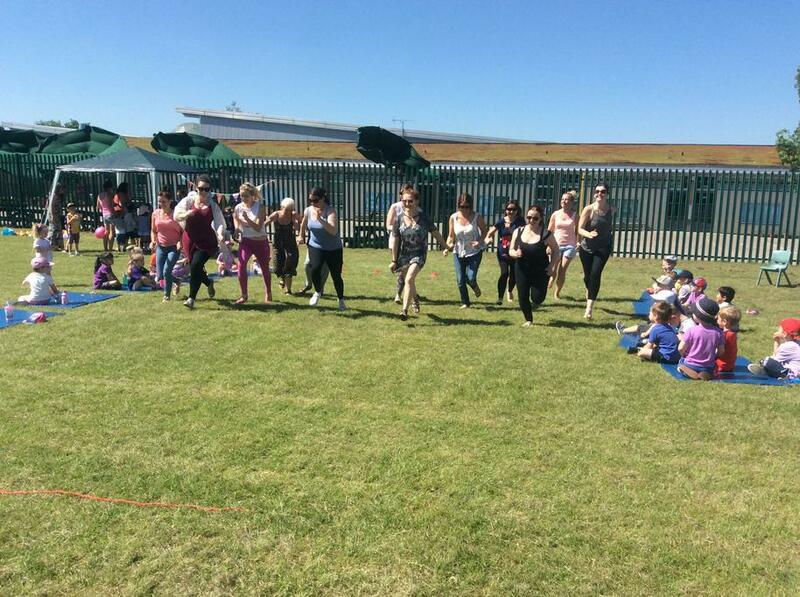 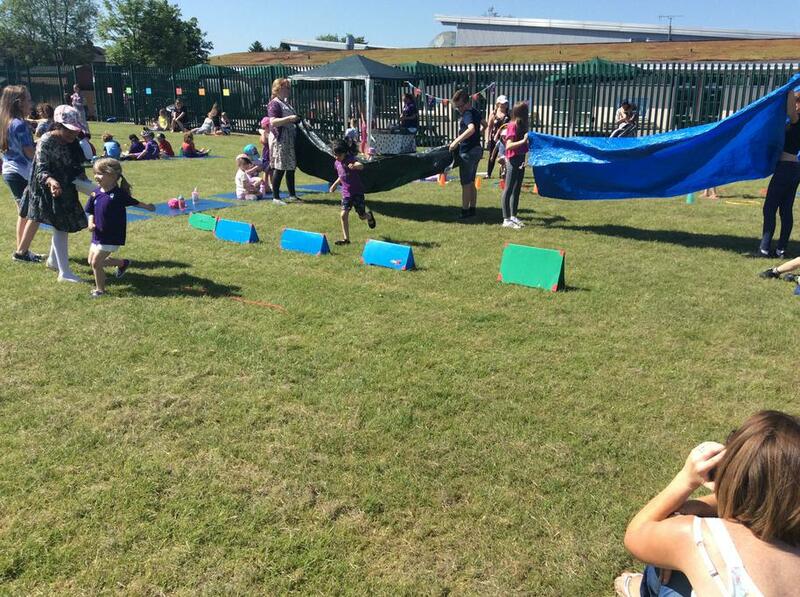 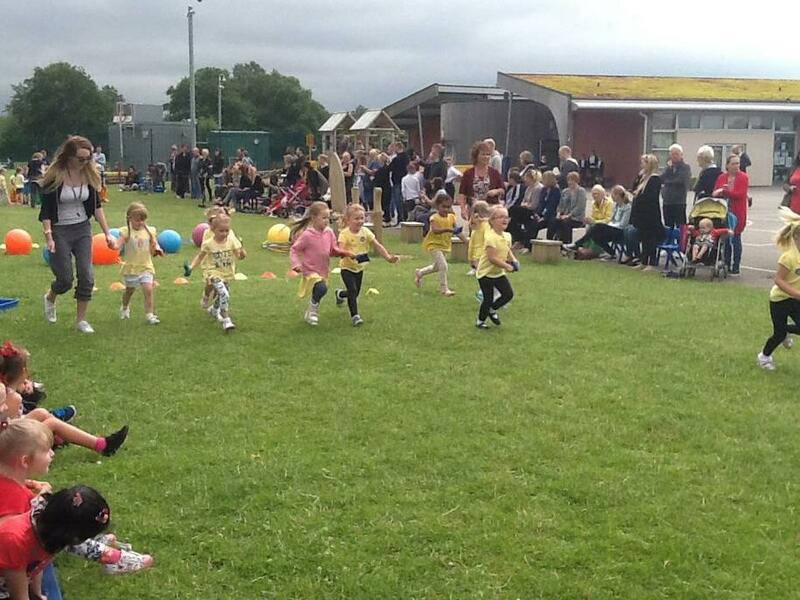 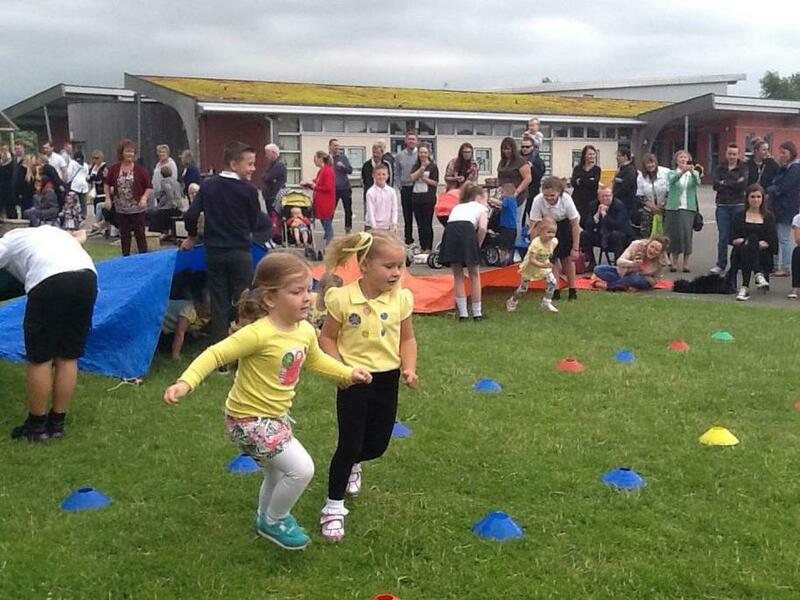 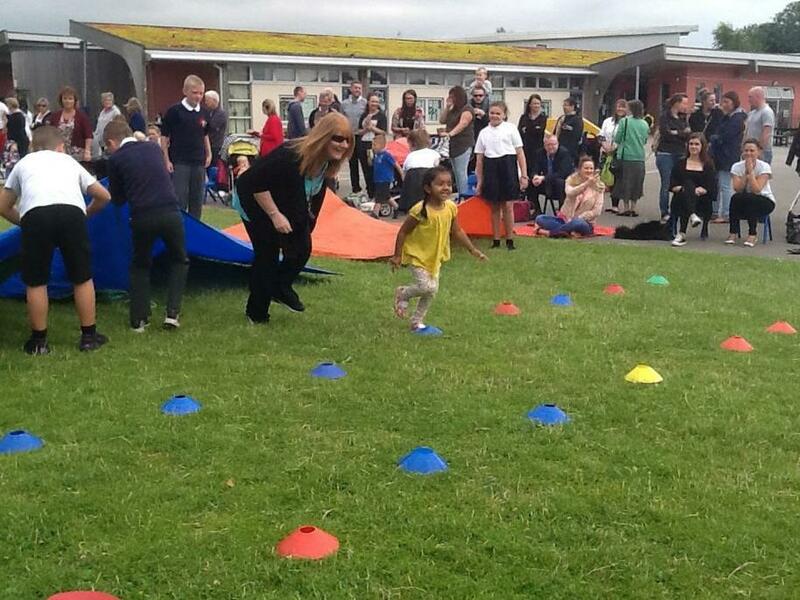 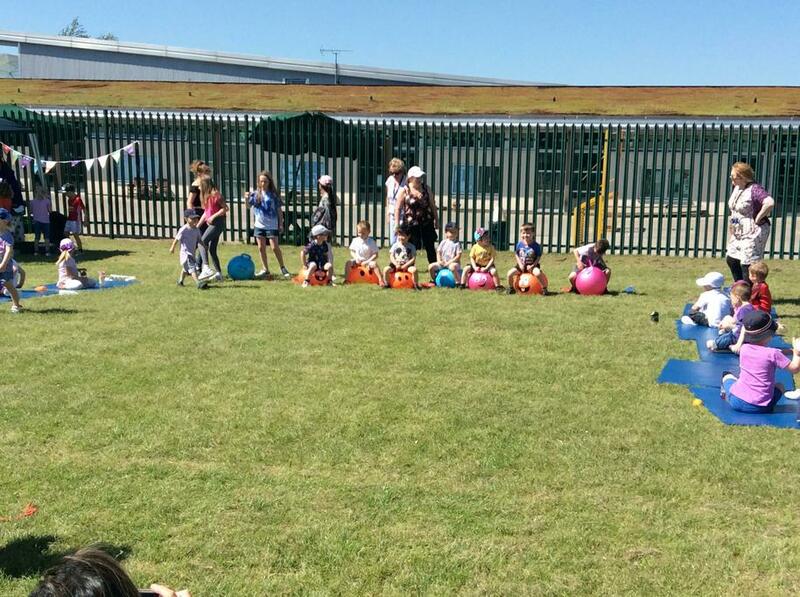 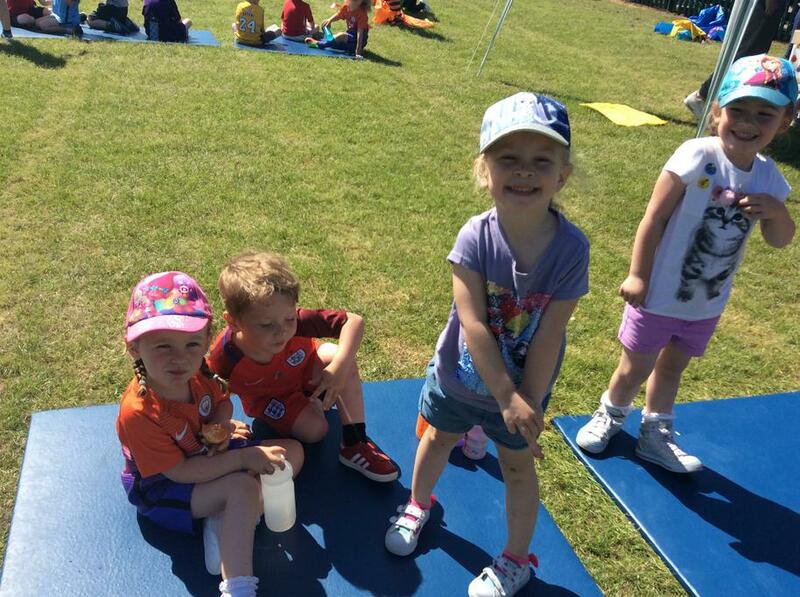 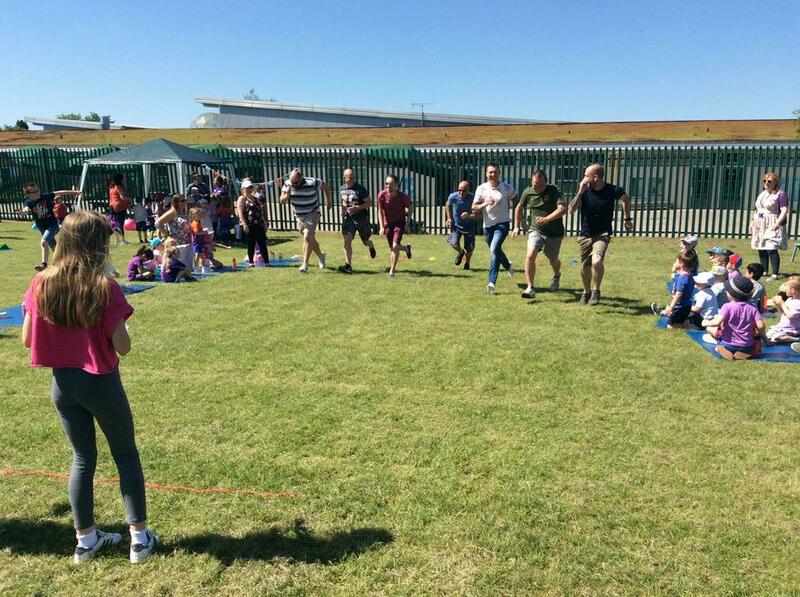 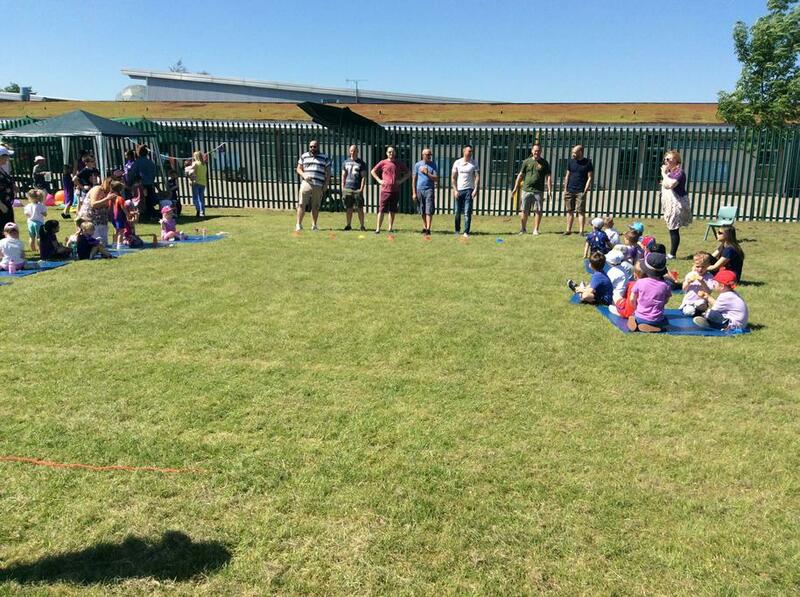 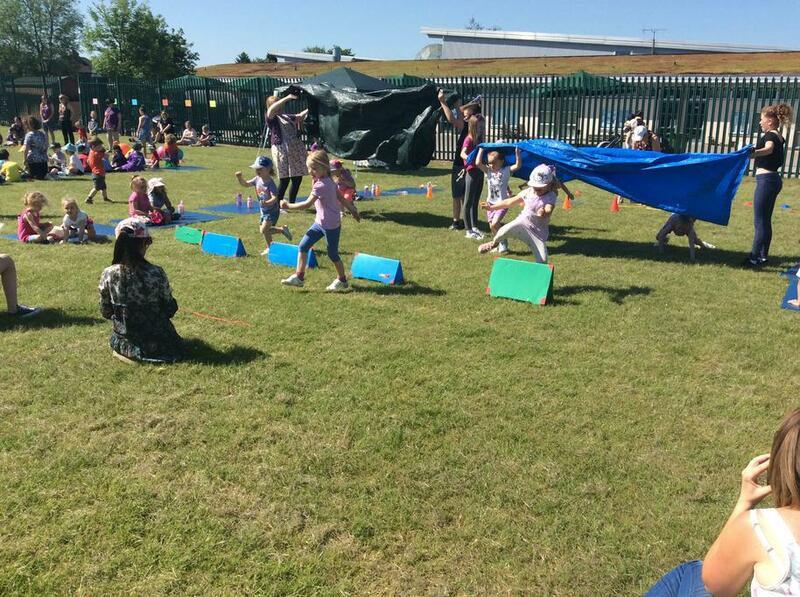 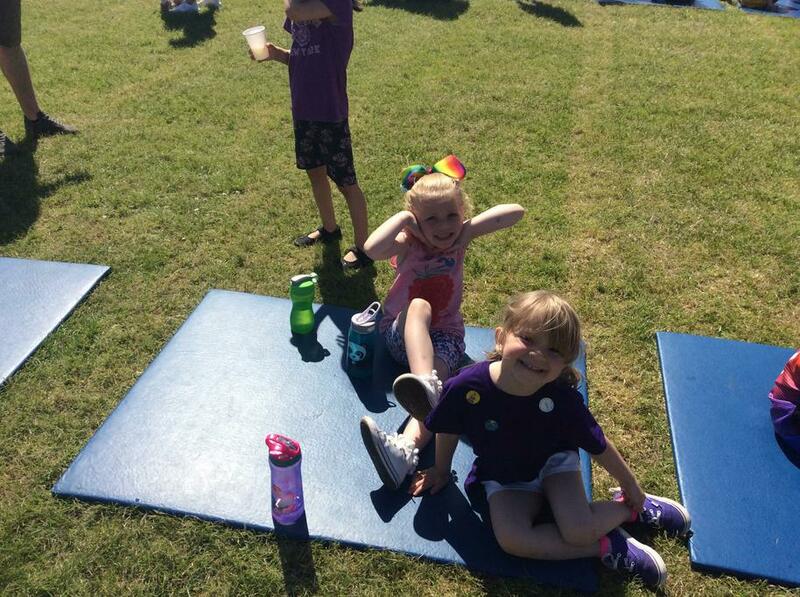 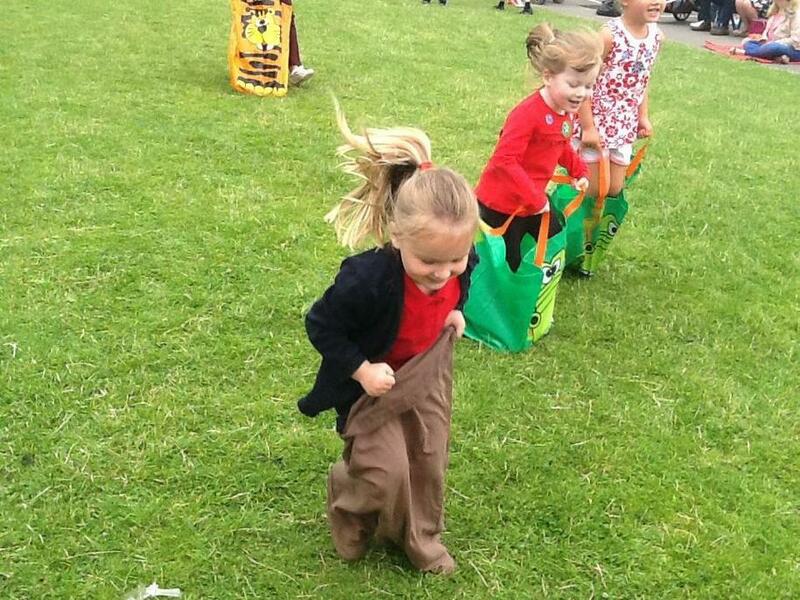 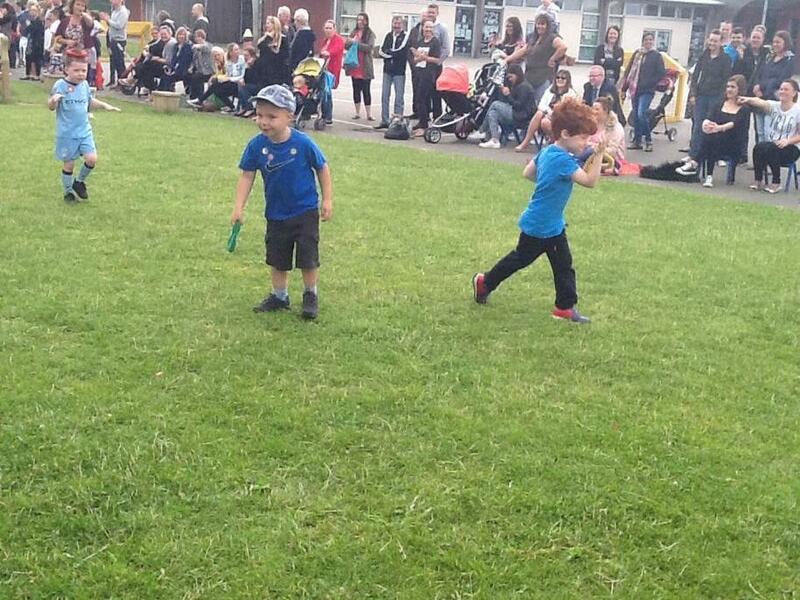 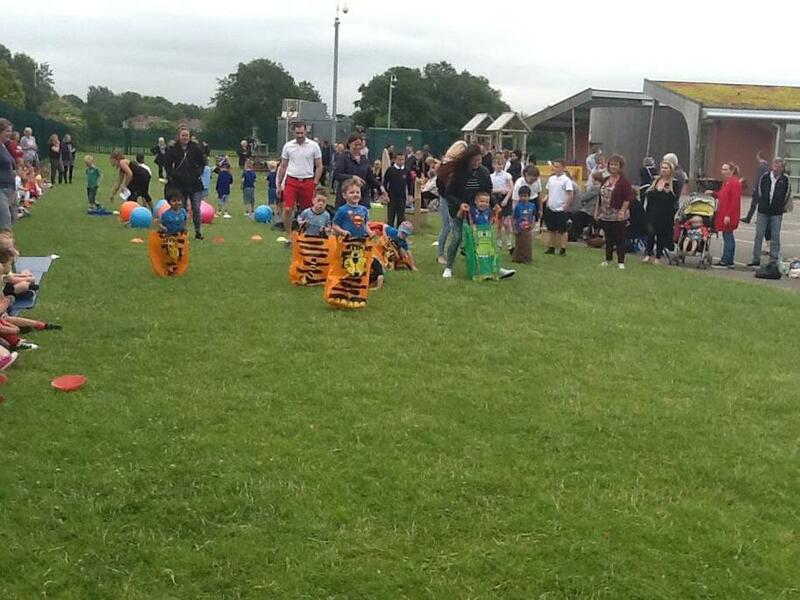 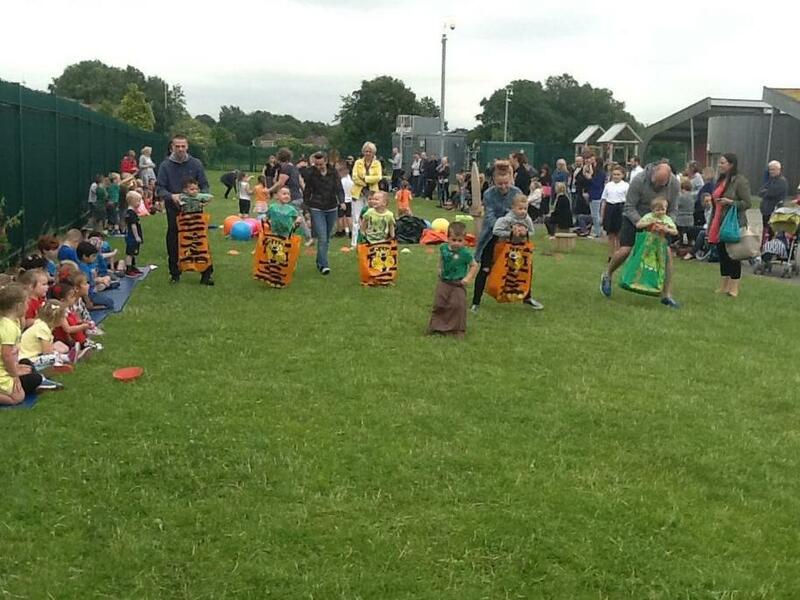 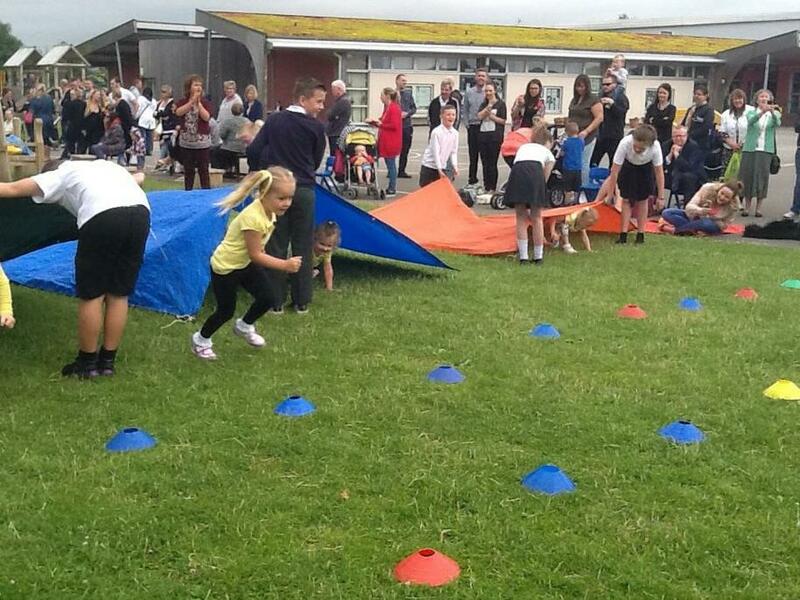 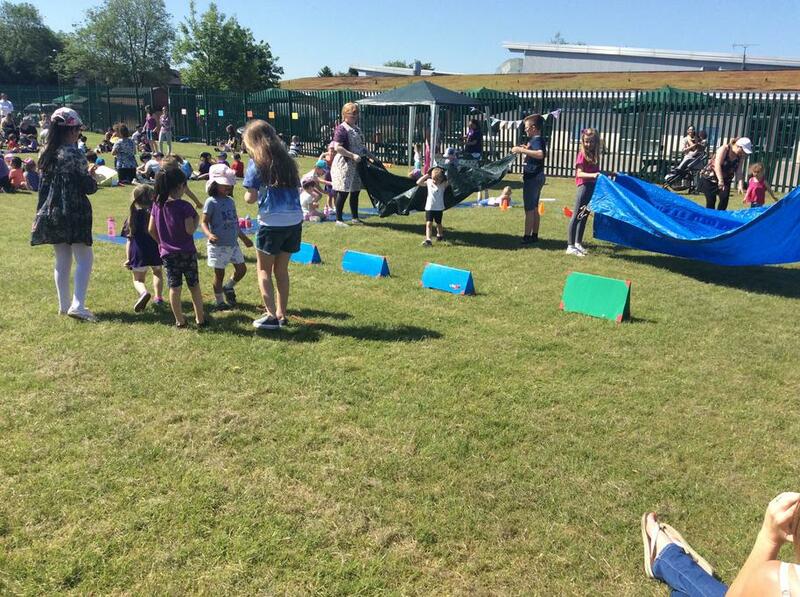 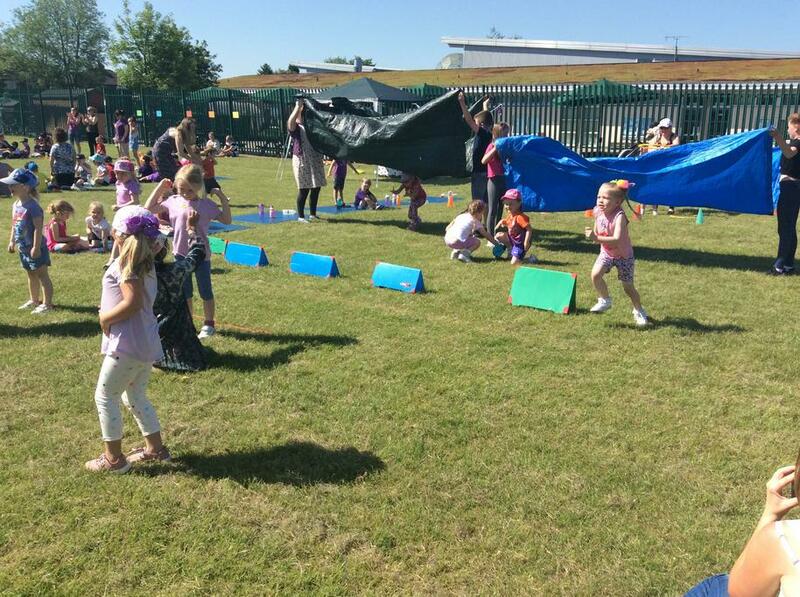 We all had a great time taking part in Sports Day. 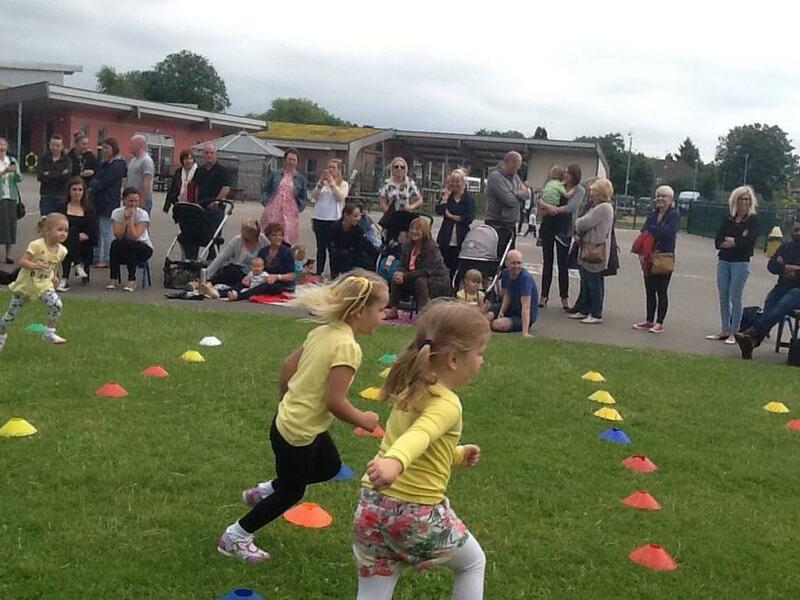 Thank you to all the parents that could come and cheer on the boys and girls. 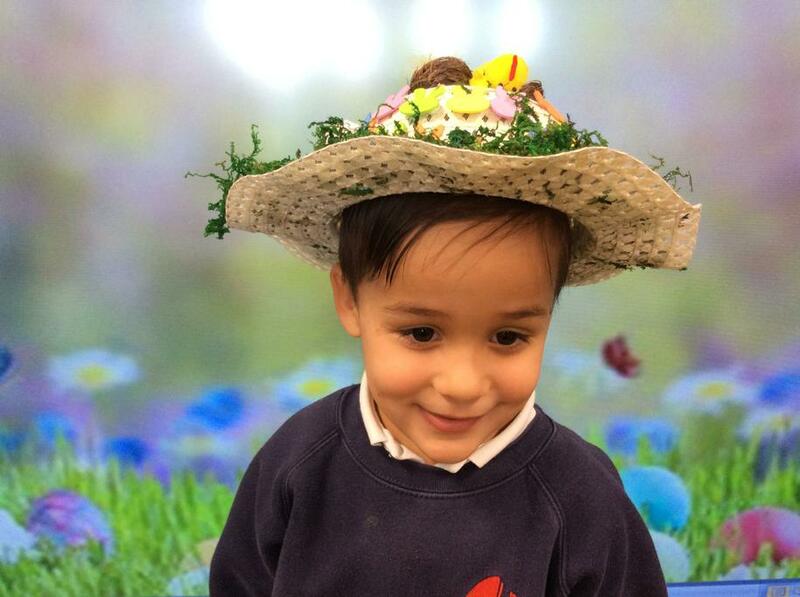 We hope you had a lovely morning. 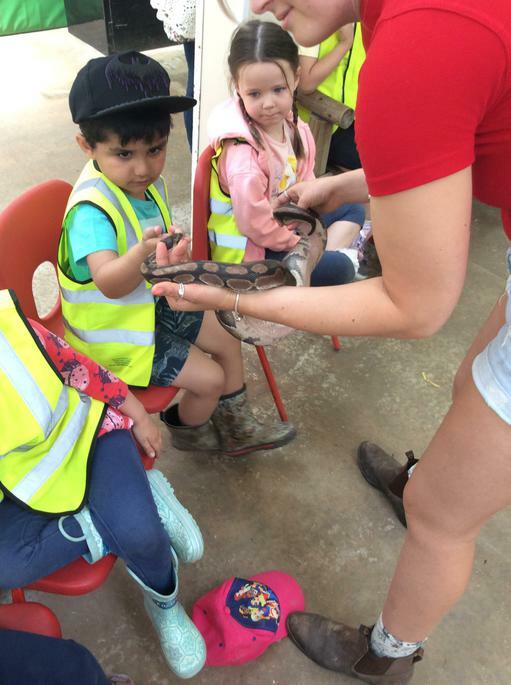 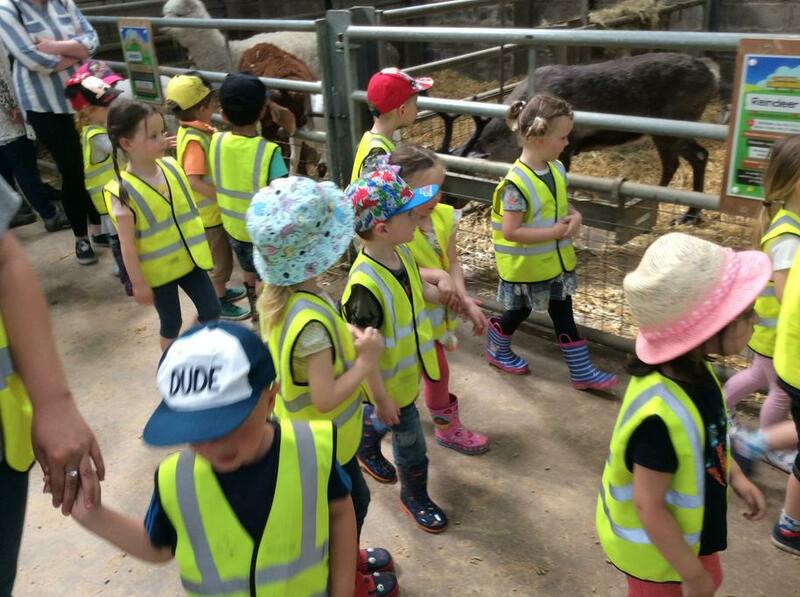 We all had a lovely time at the farm. 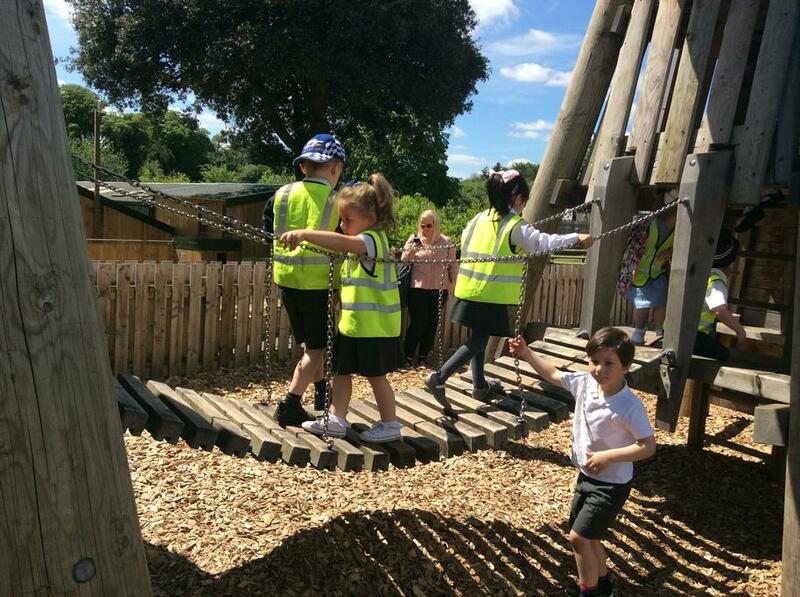 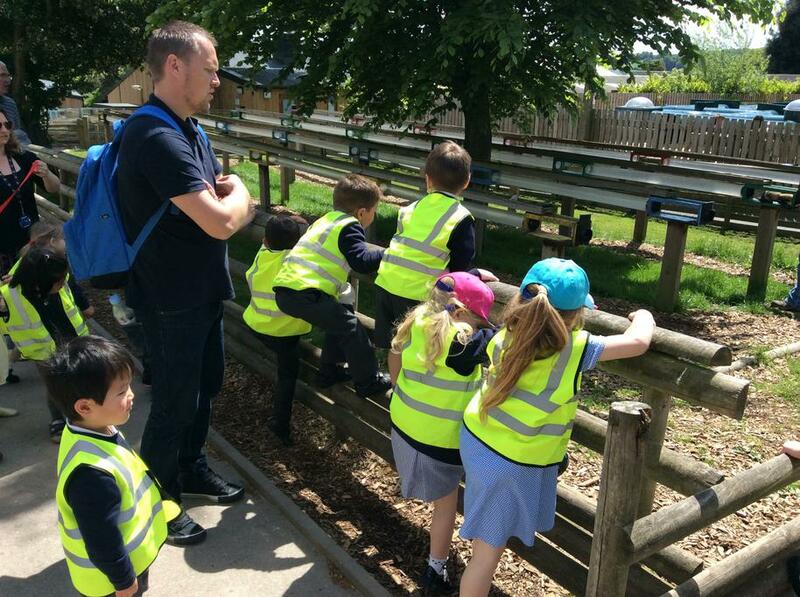 We saw lots of different animals and got to go on the playground. 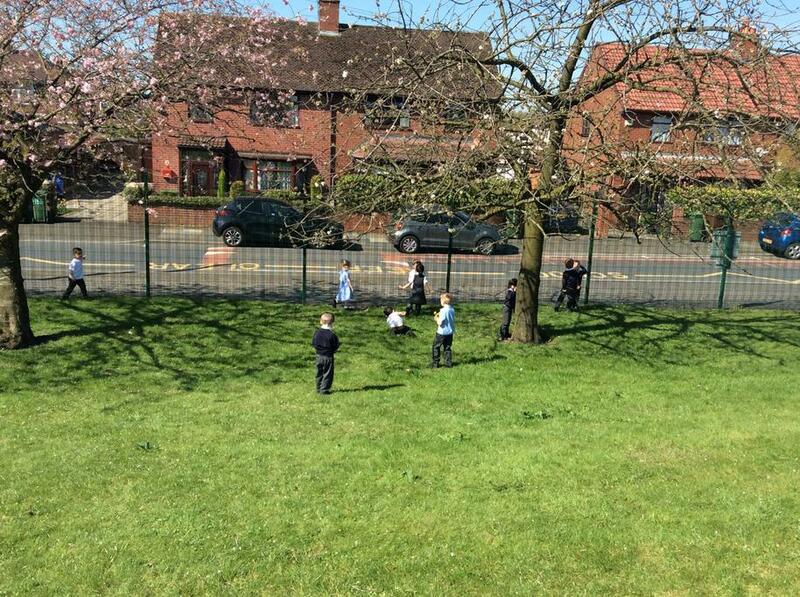 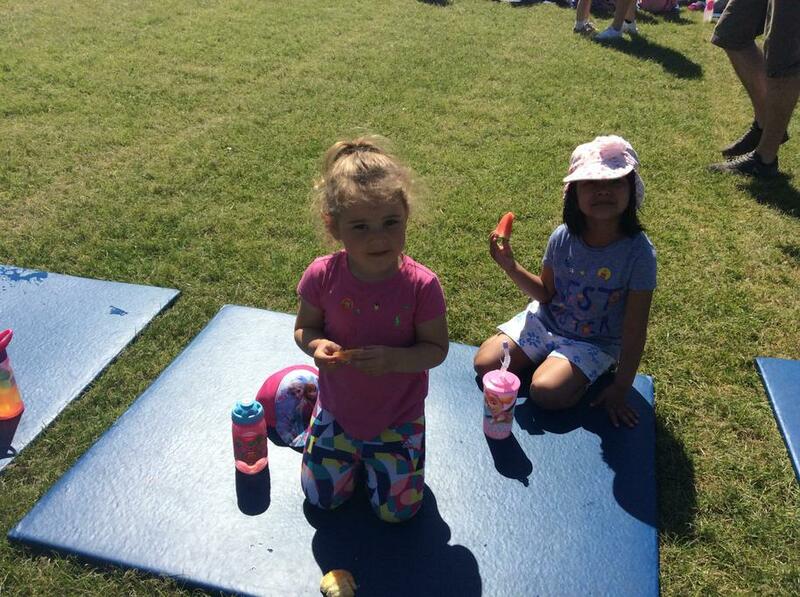 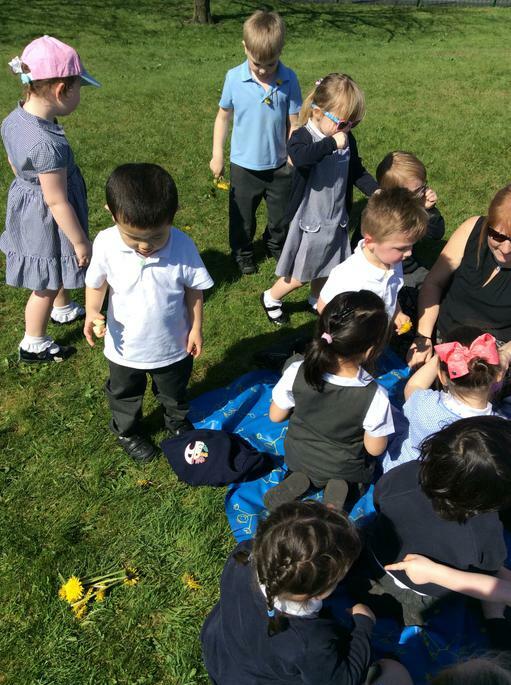 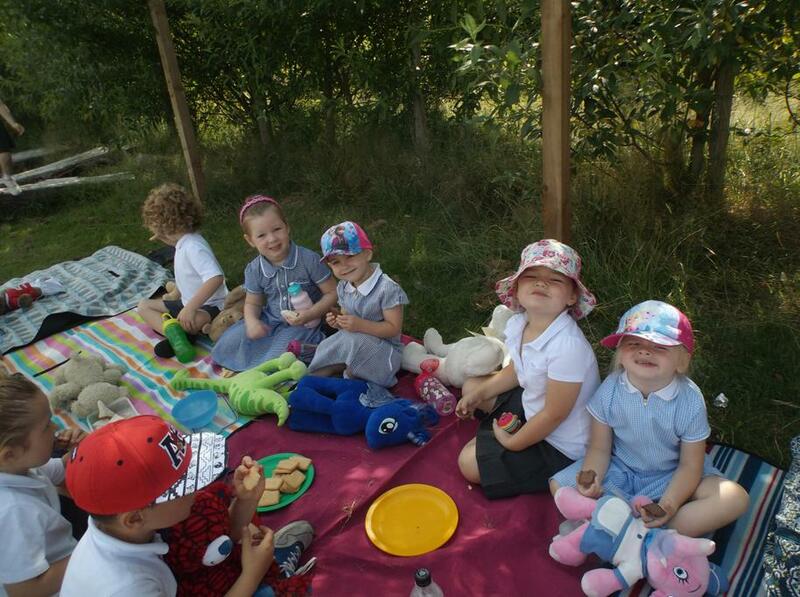 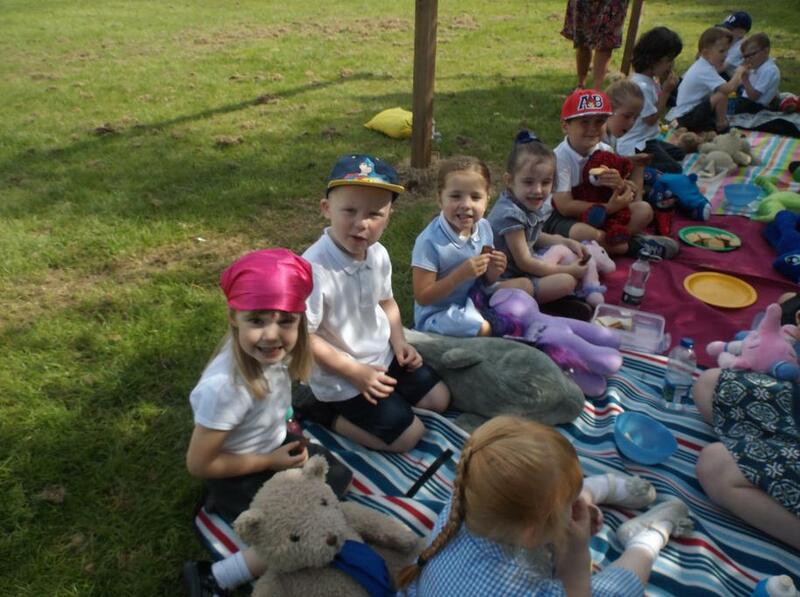 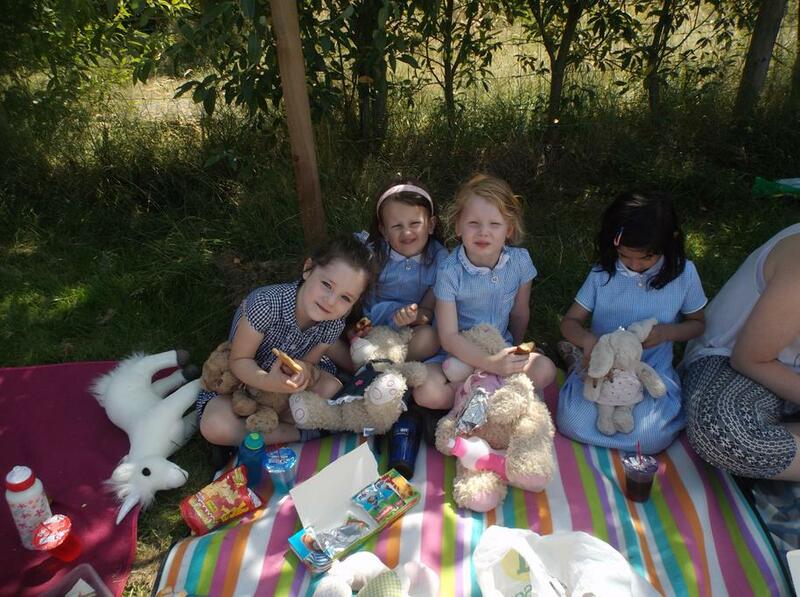 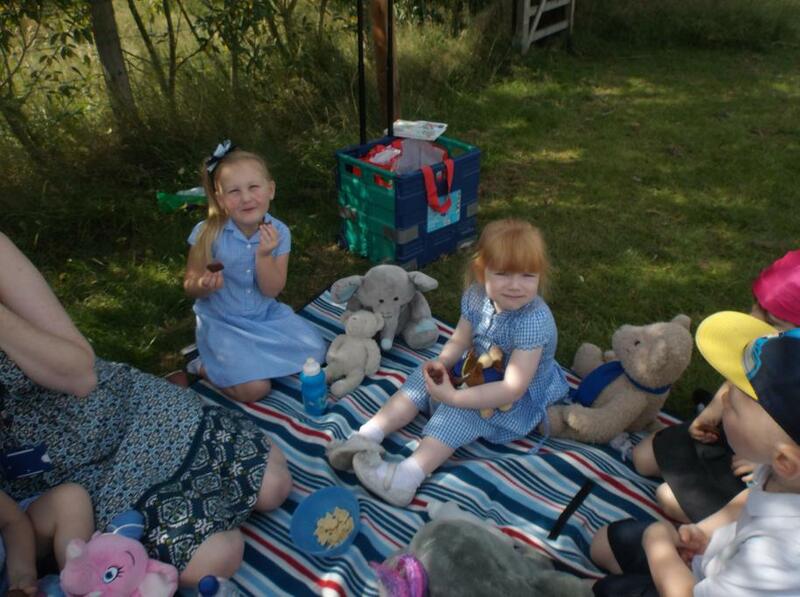 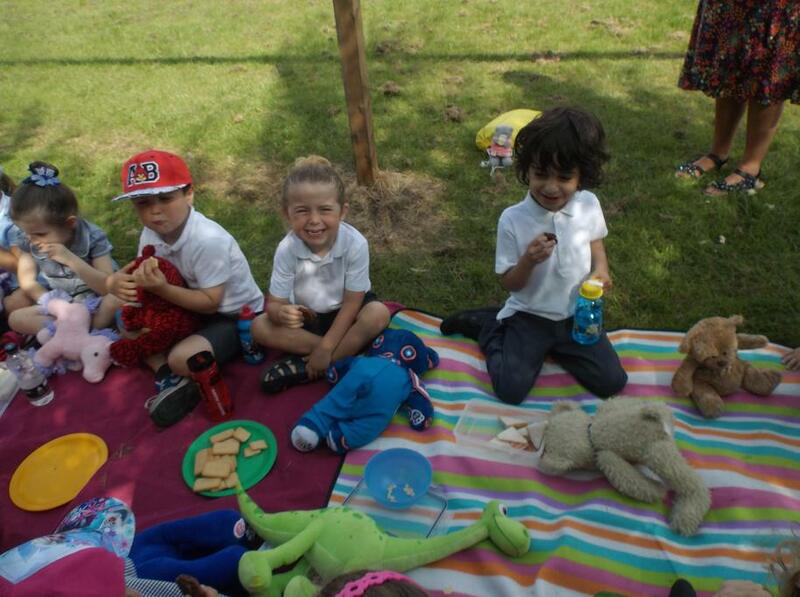 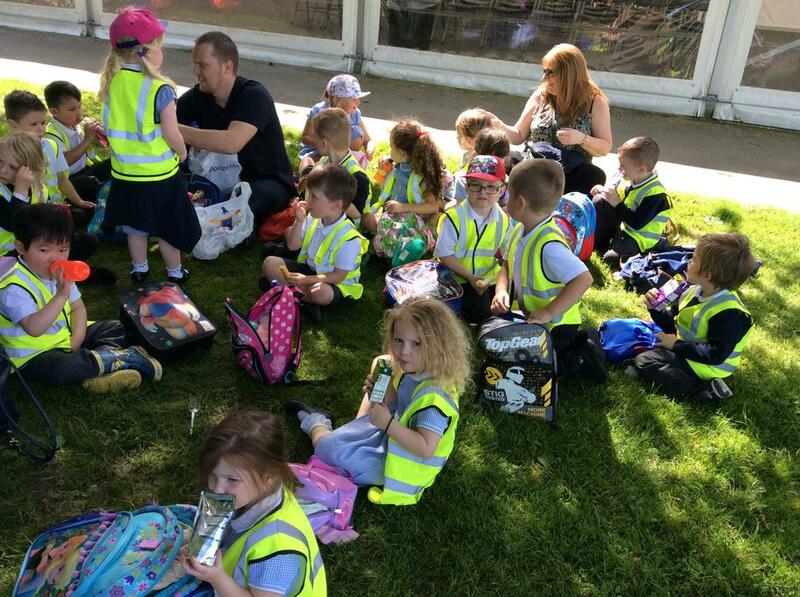 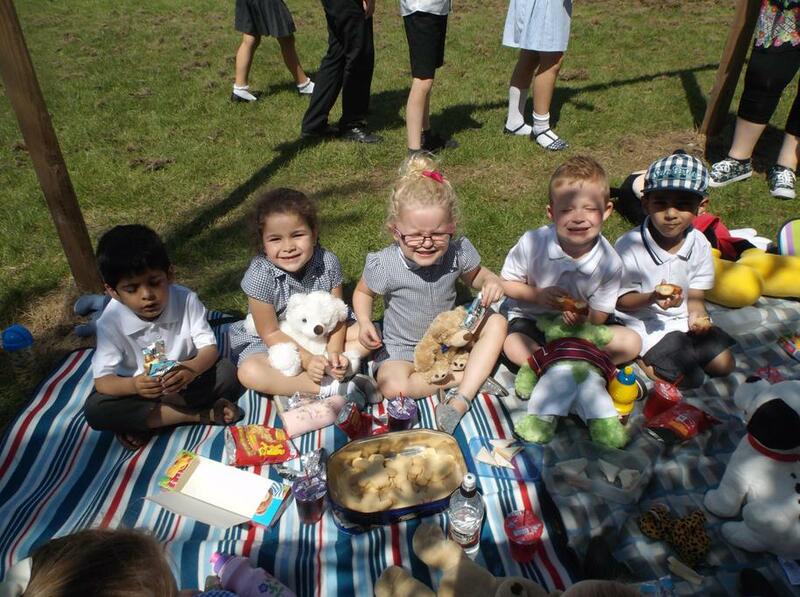 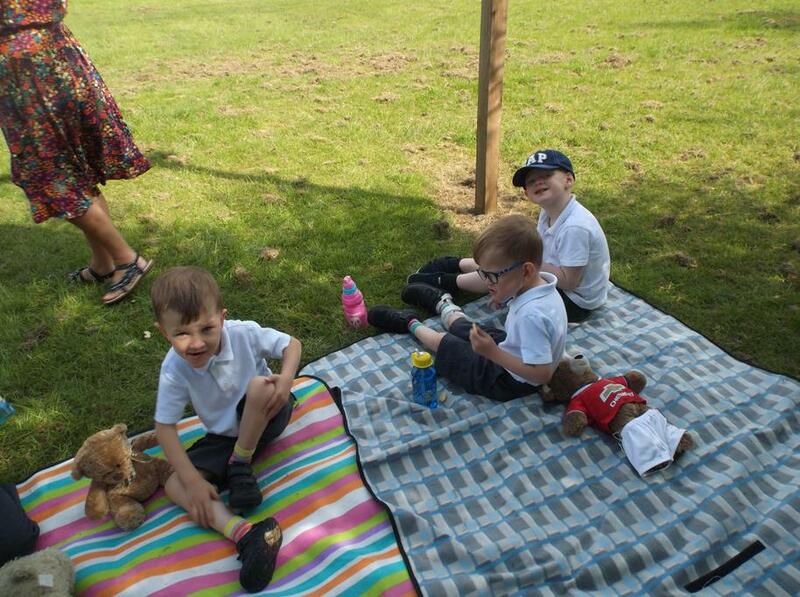 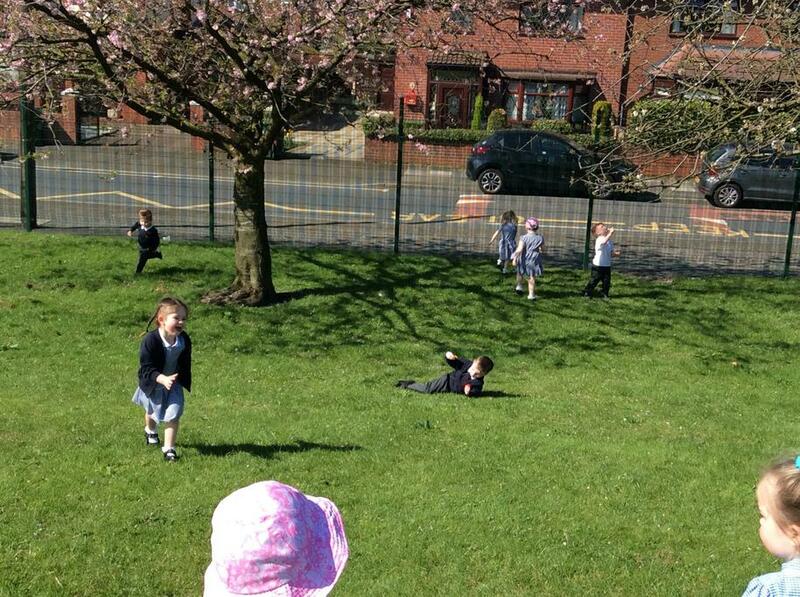 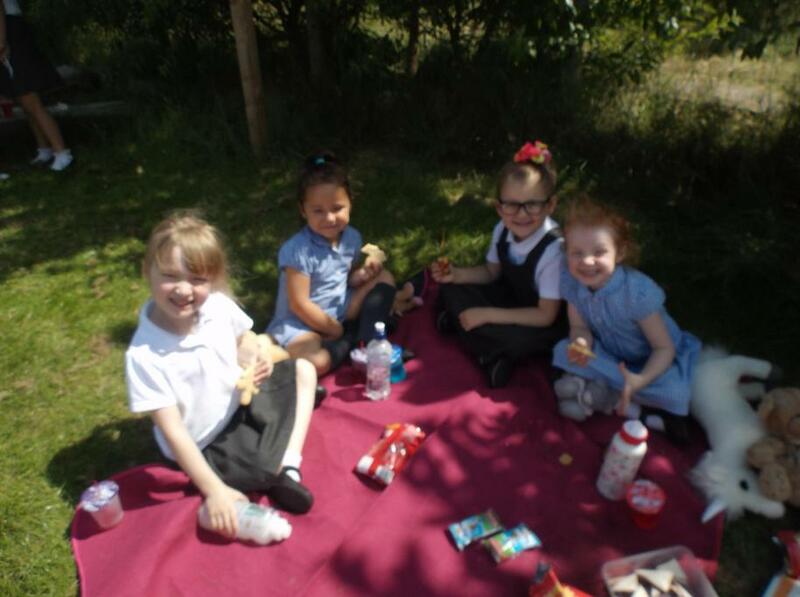 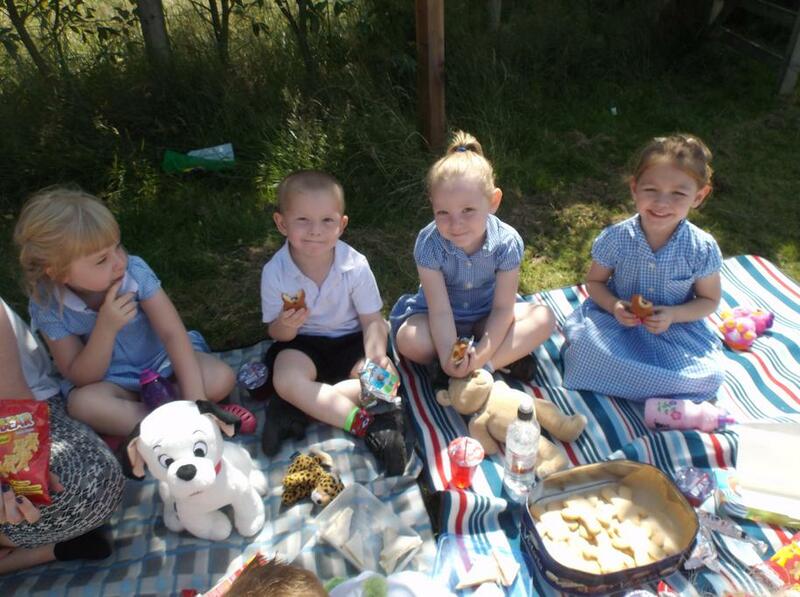 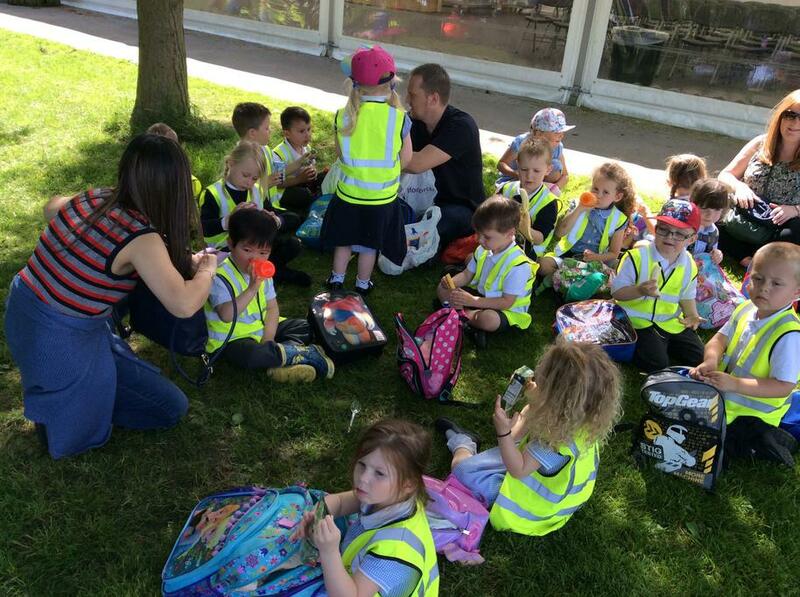 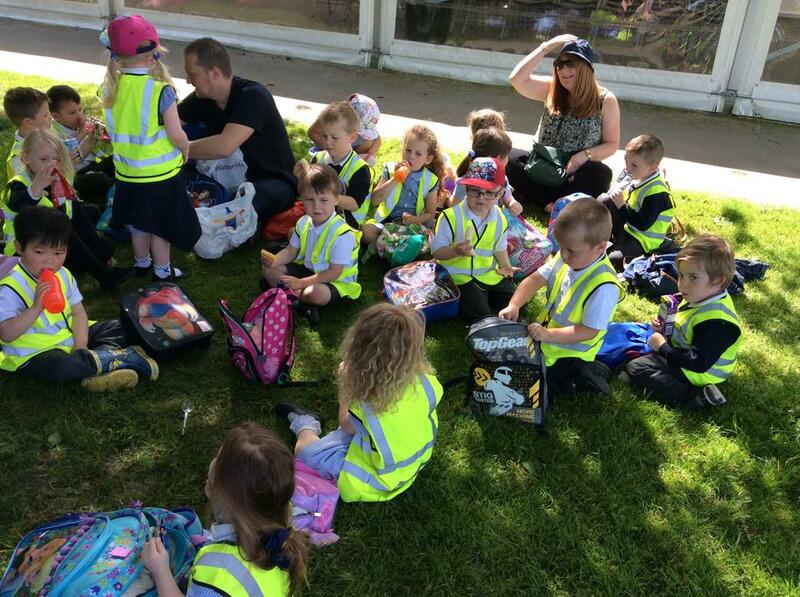 We also enjoyed having our picnic in the sun. 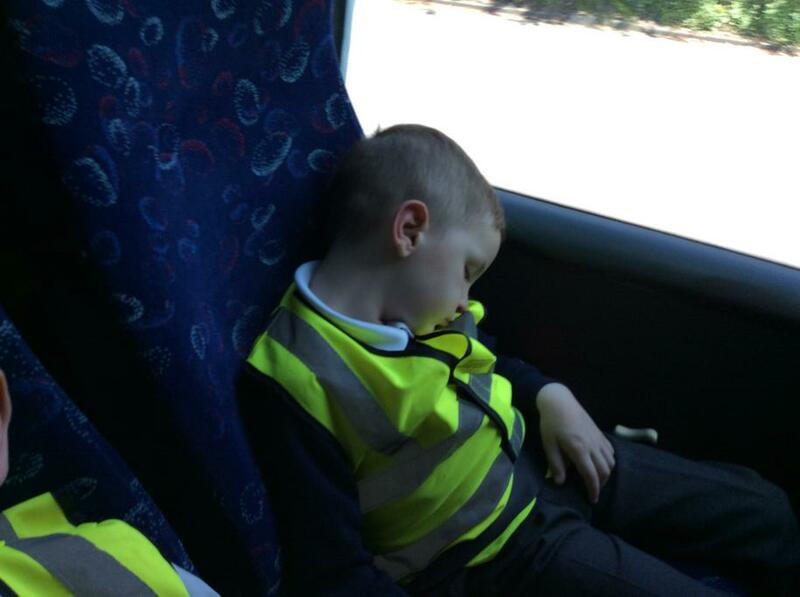 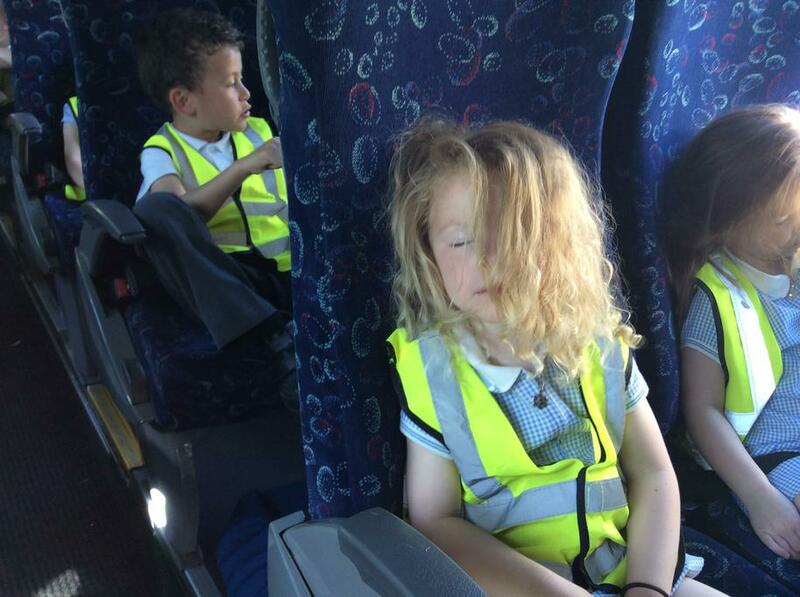 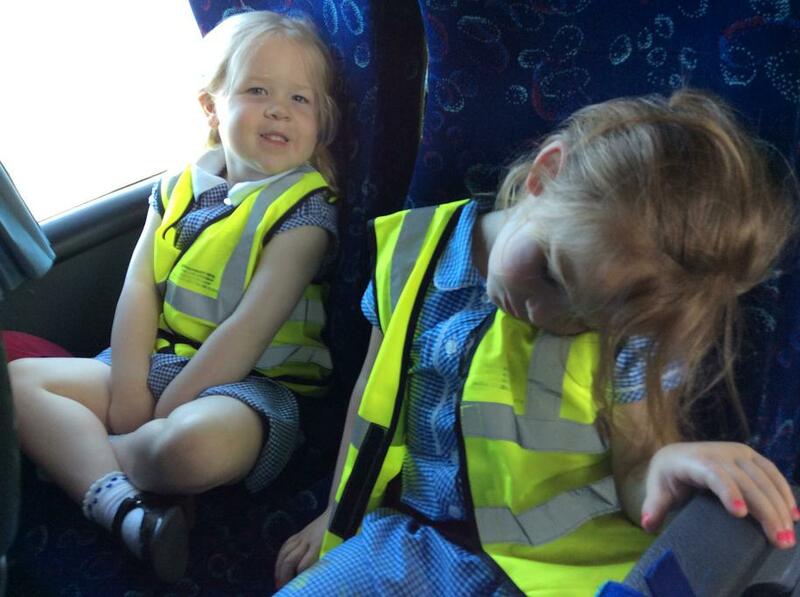 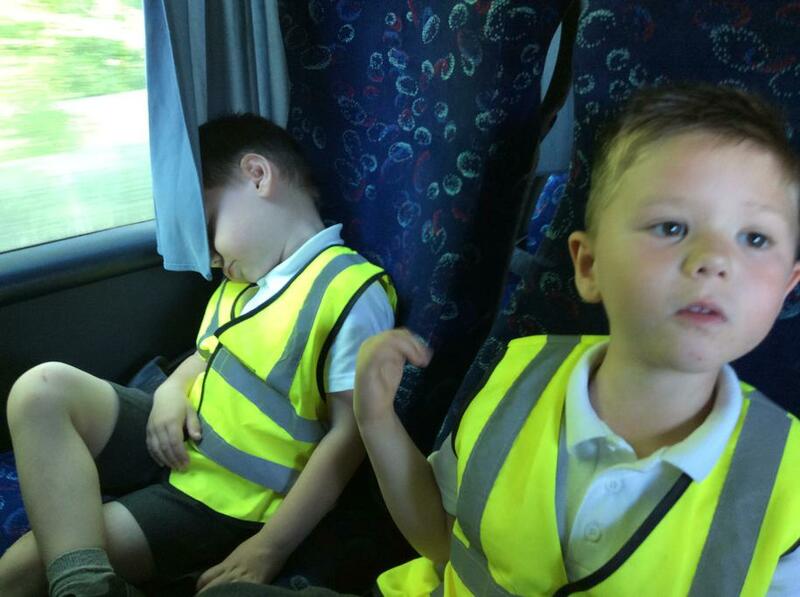 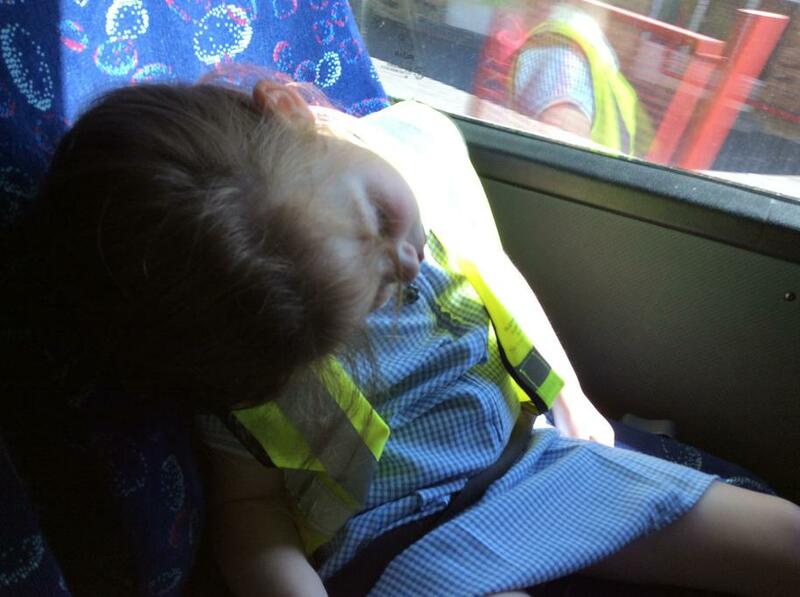 We were all tired out after a busy day, some of us even had a nap on the coach on the way back! 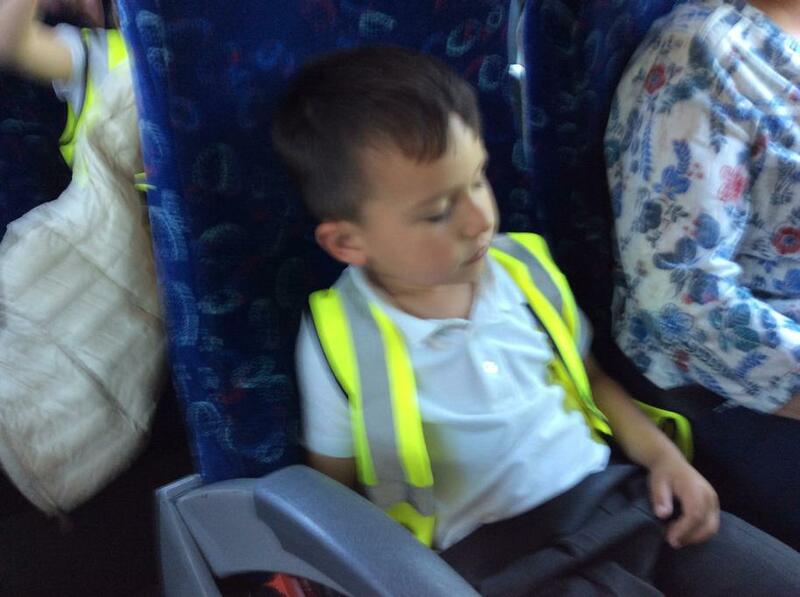 Thank you to Arthur's dad, Leo's mum and Daniel's mum for coming with us. 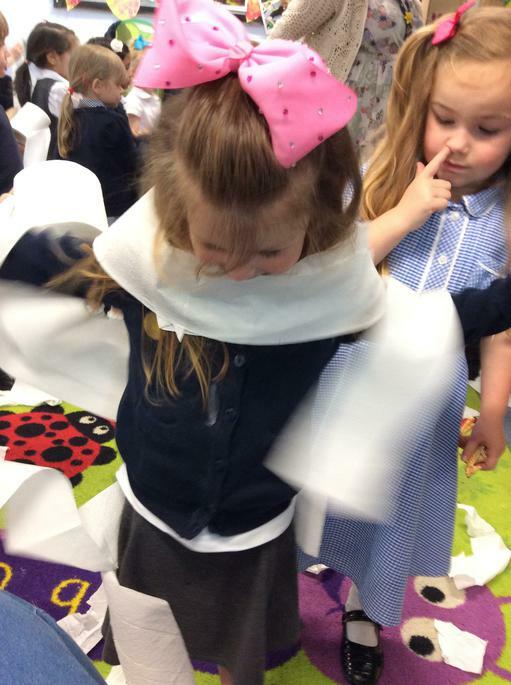 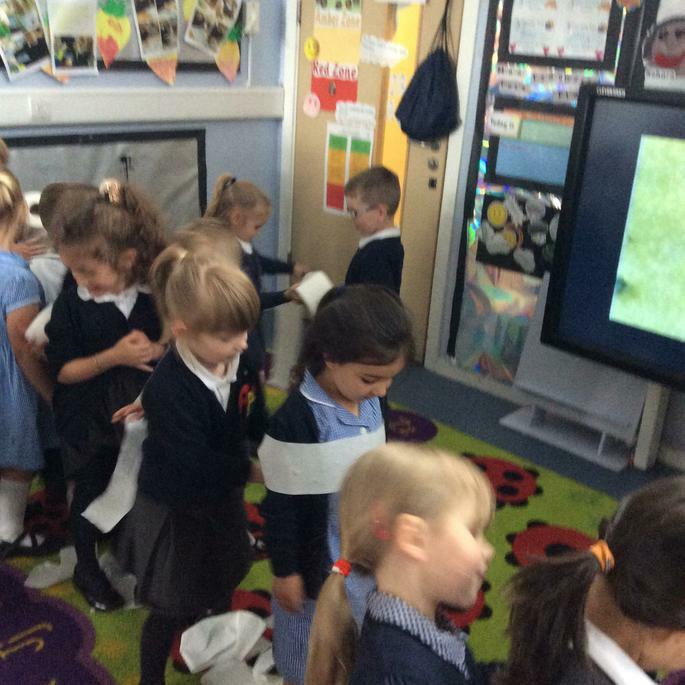 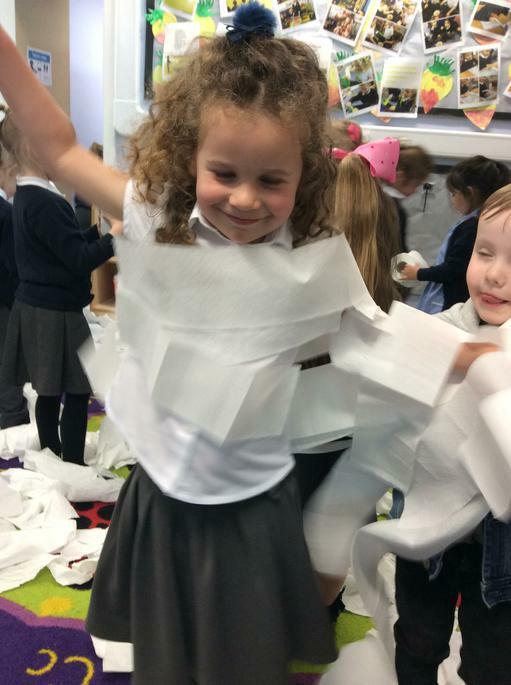 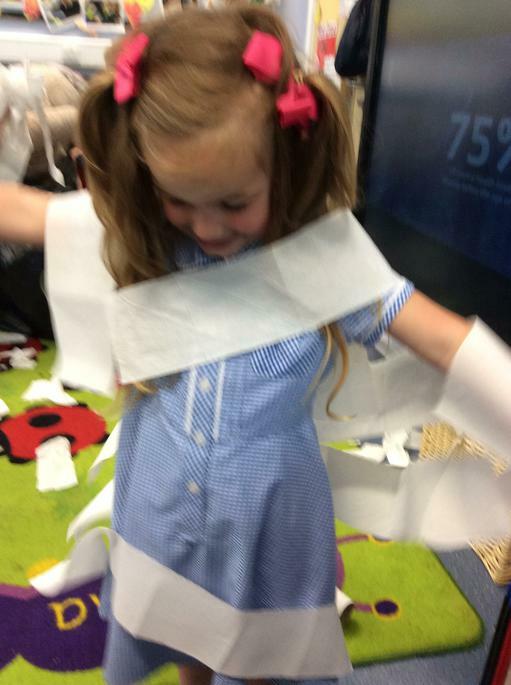 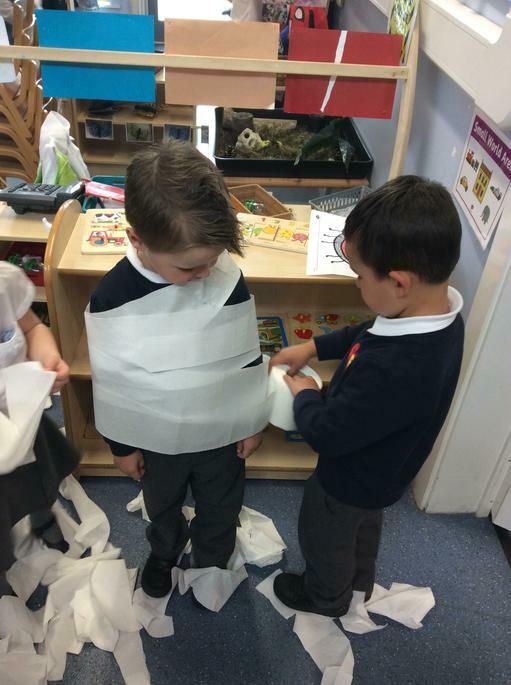 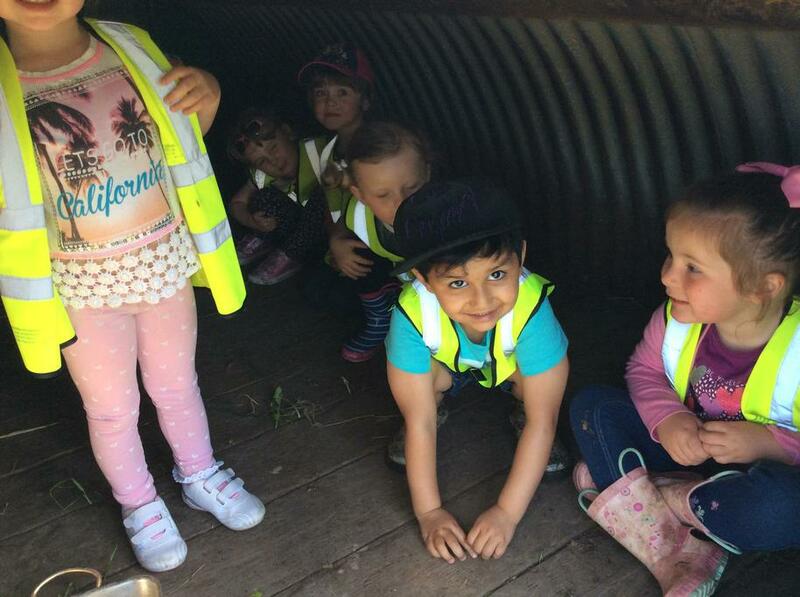 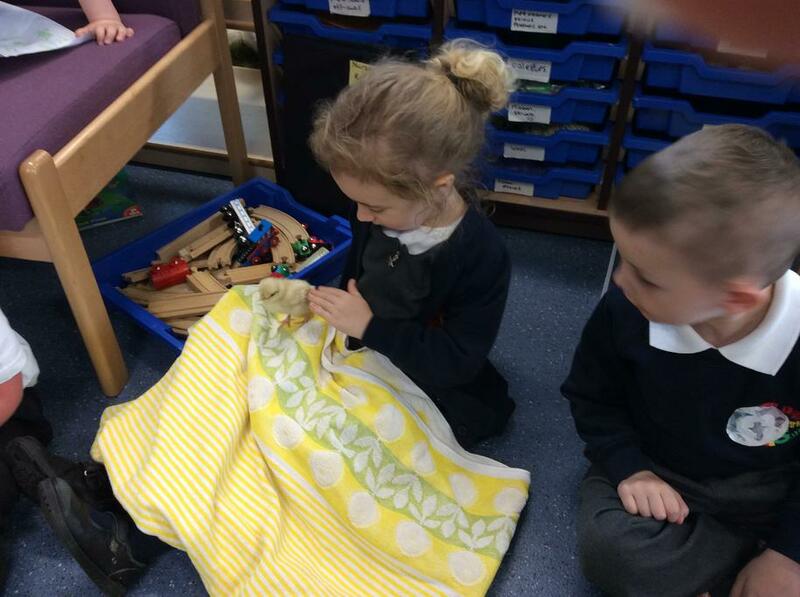 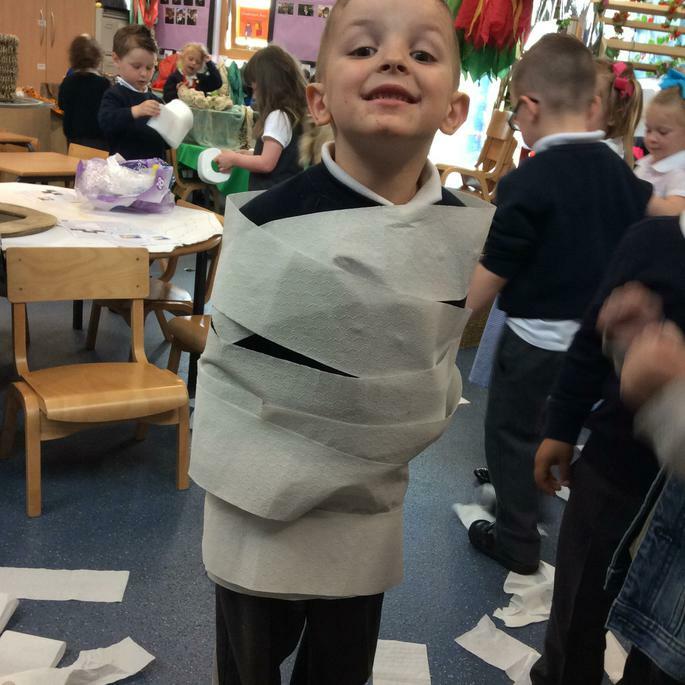 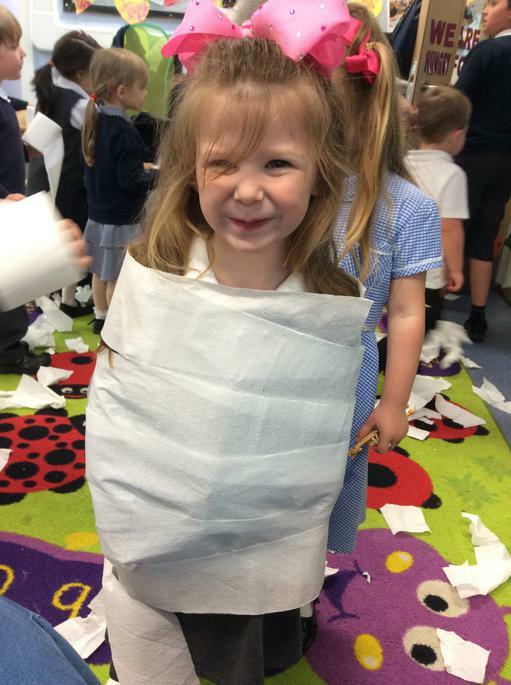 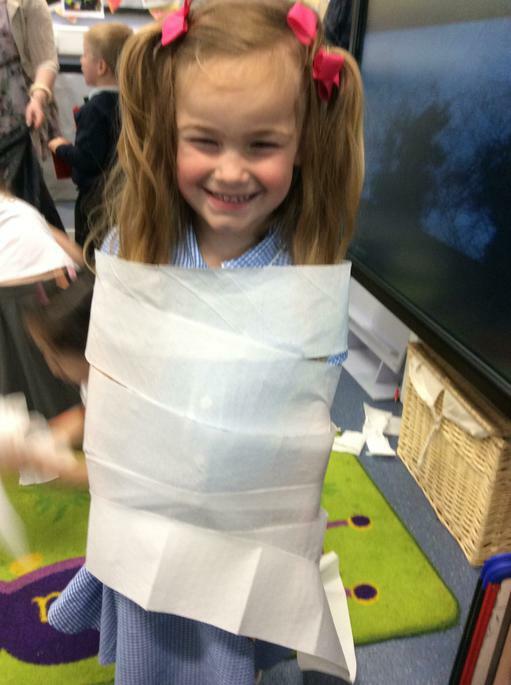 The boys and girls enjoyed making each other into cocoons. 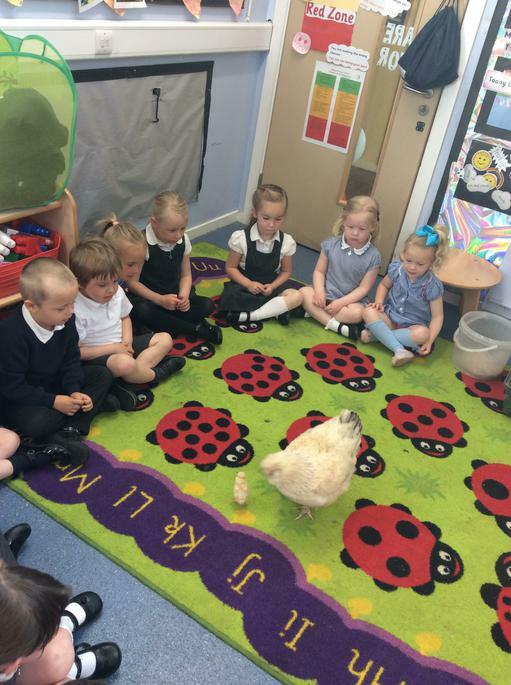 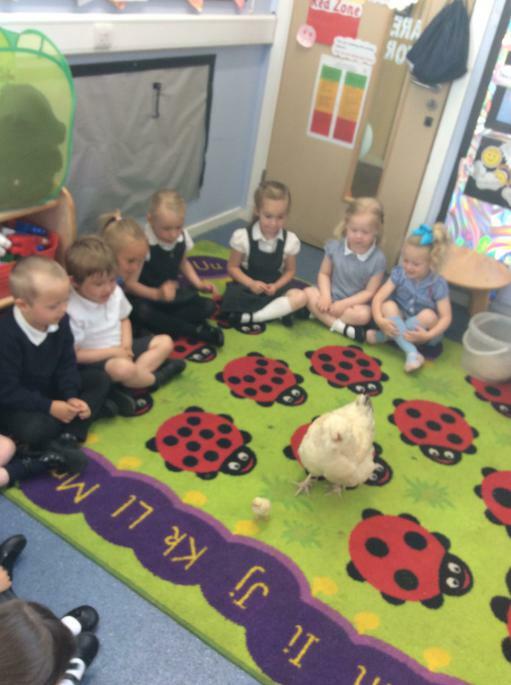 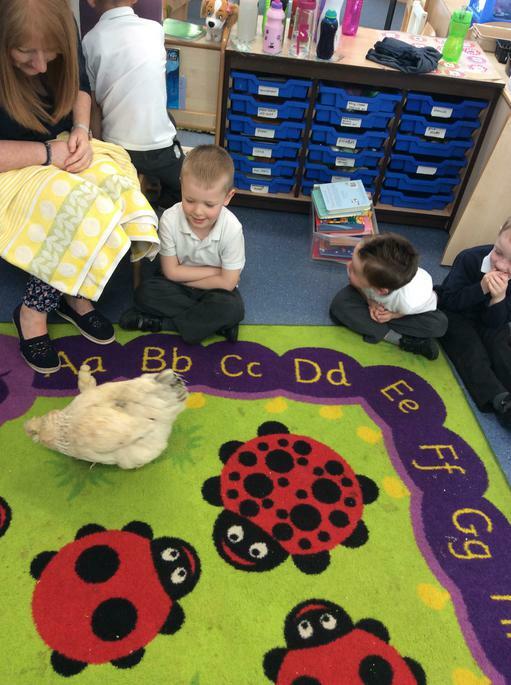 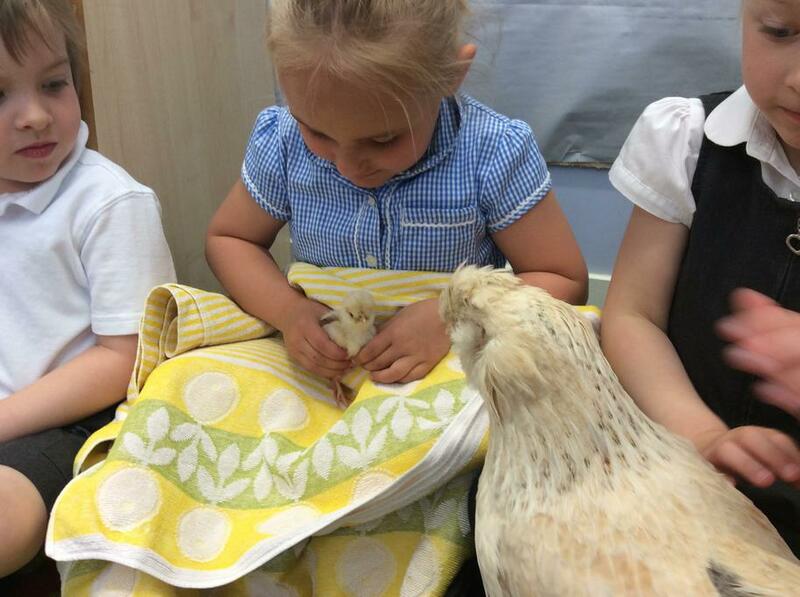 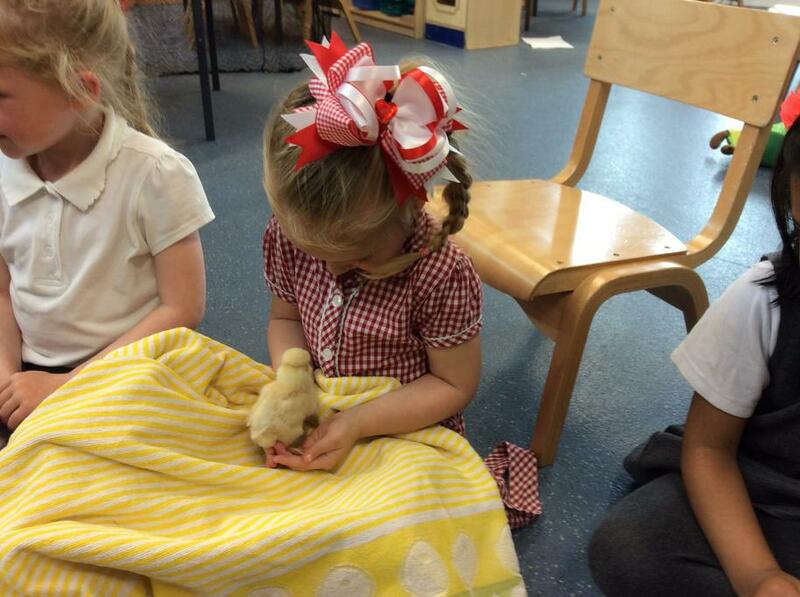 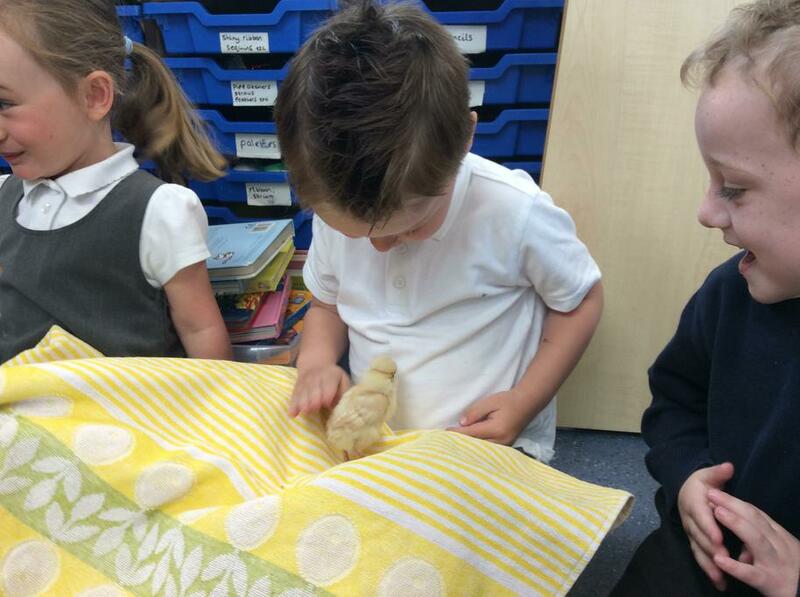 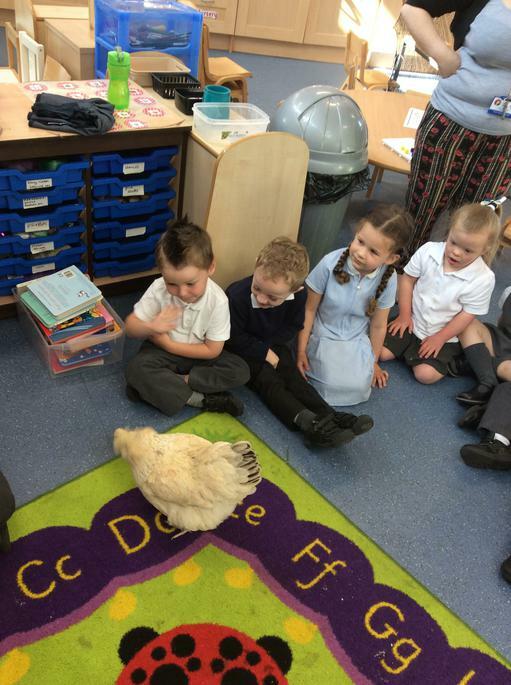 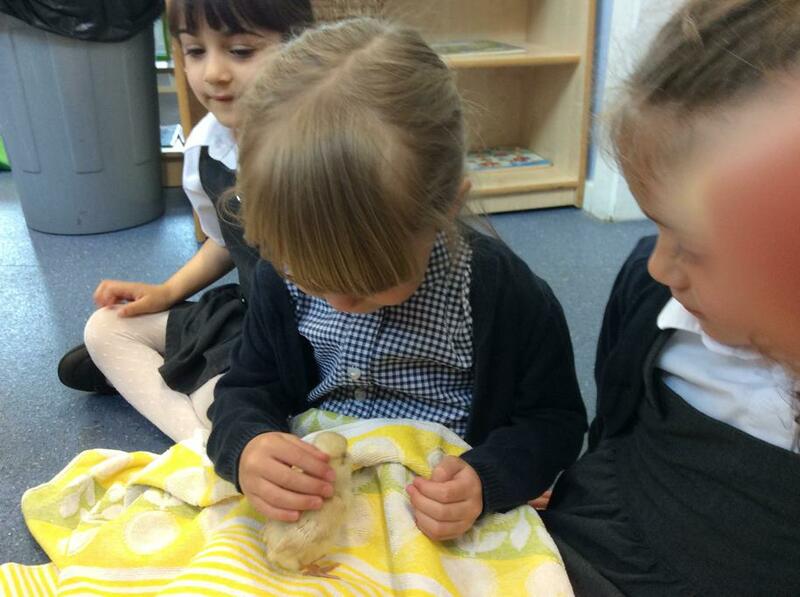 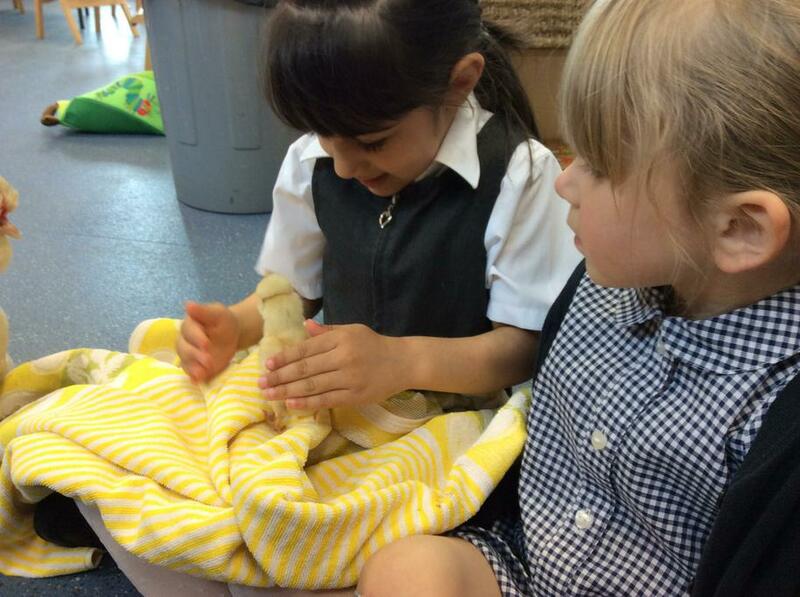 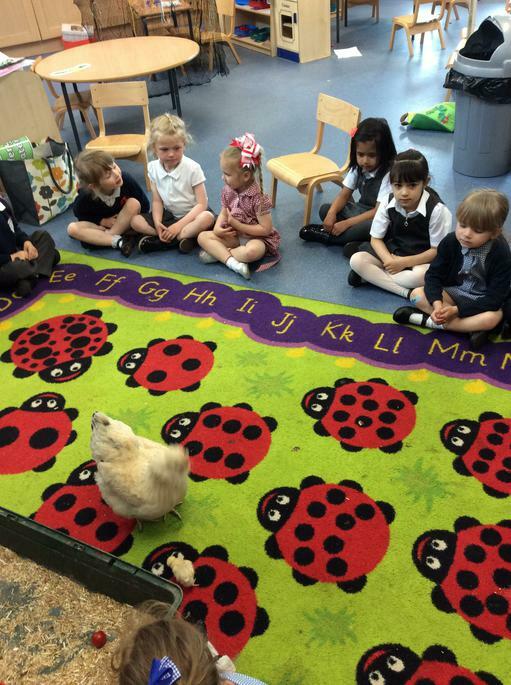 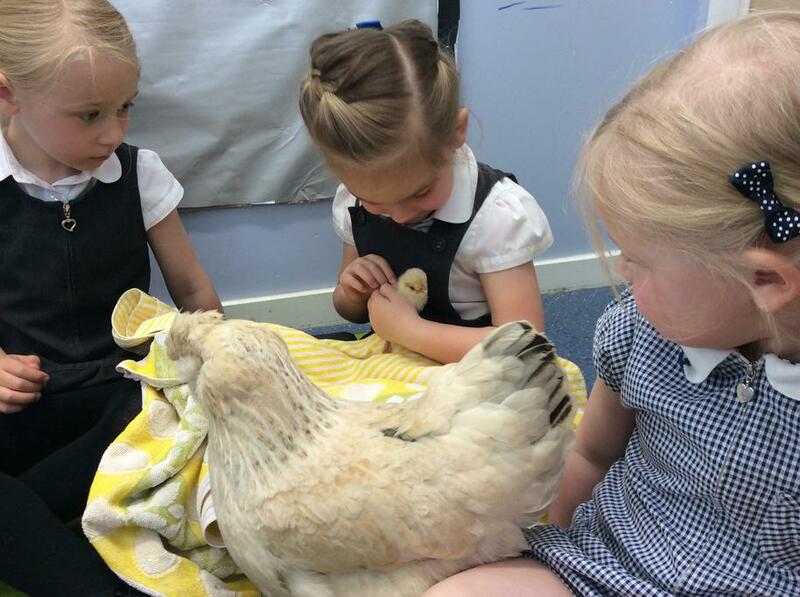 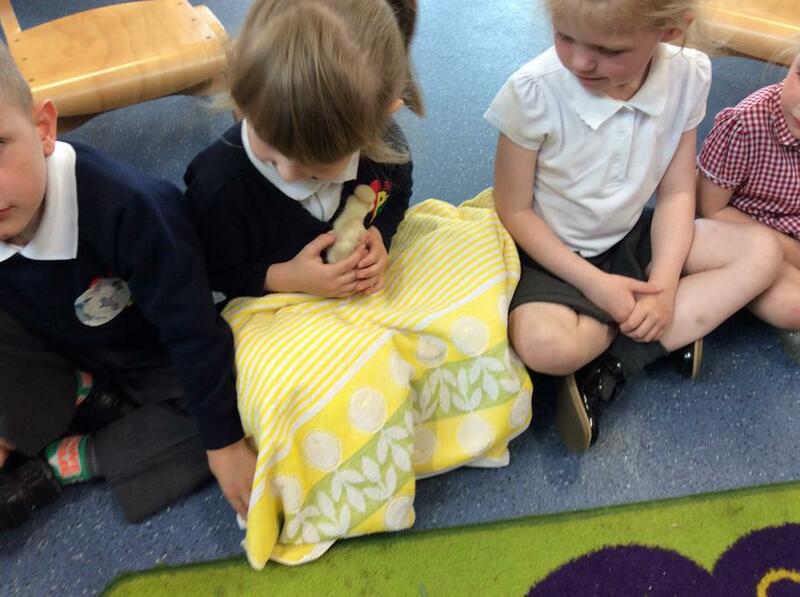 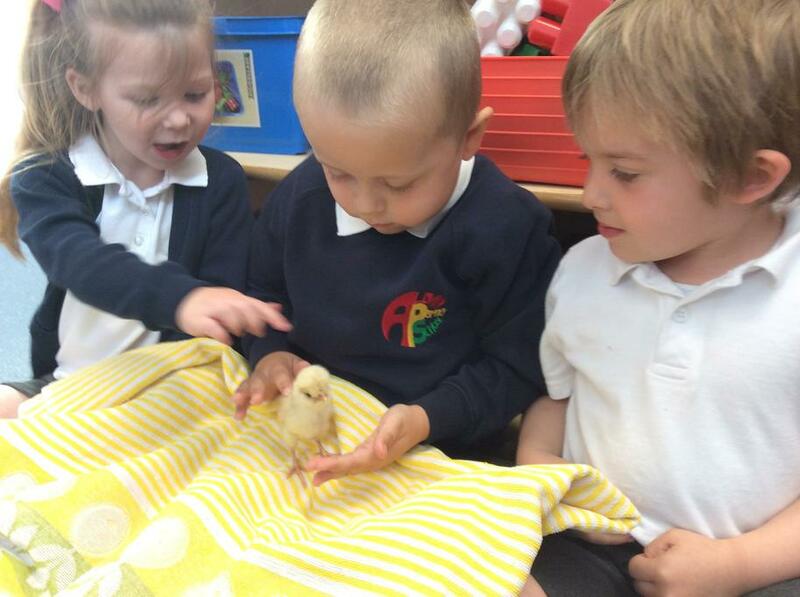 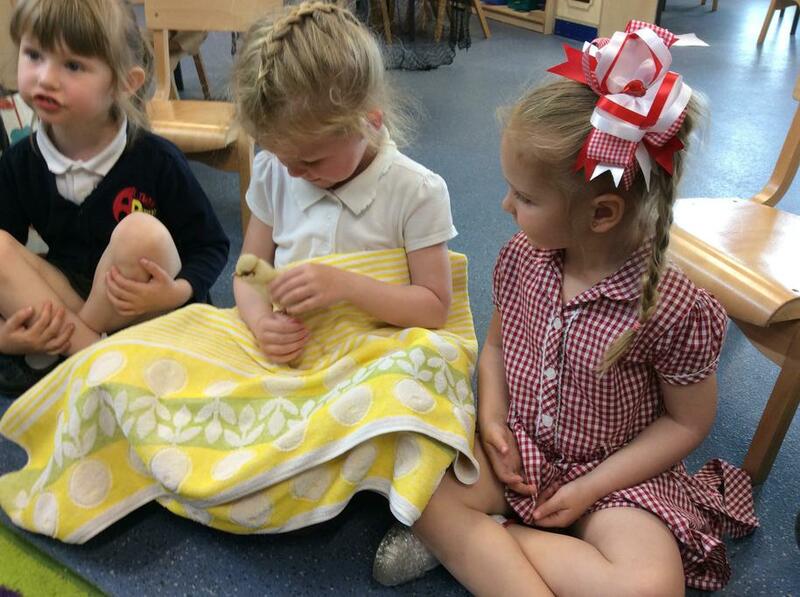 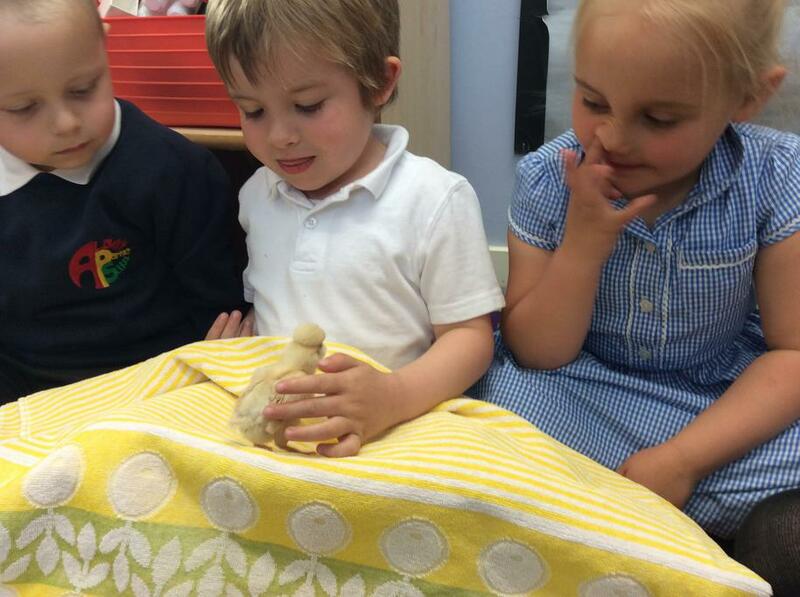 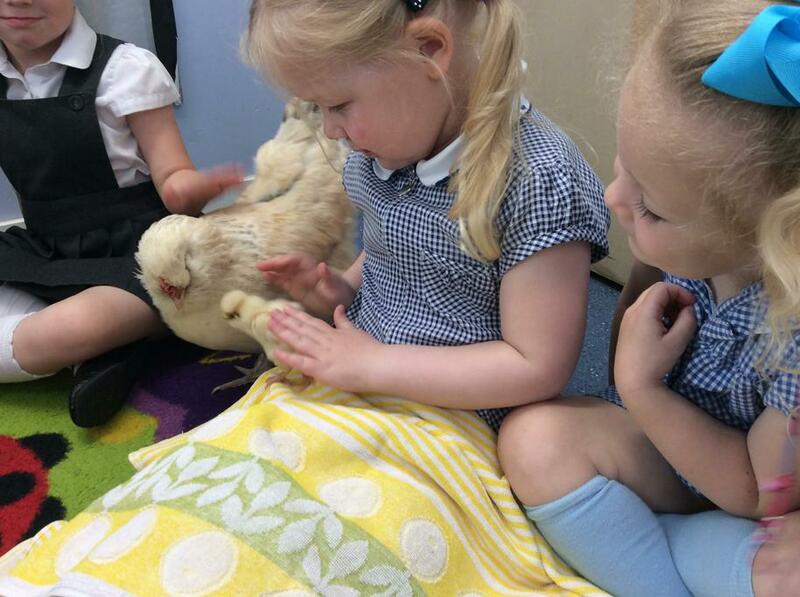 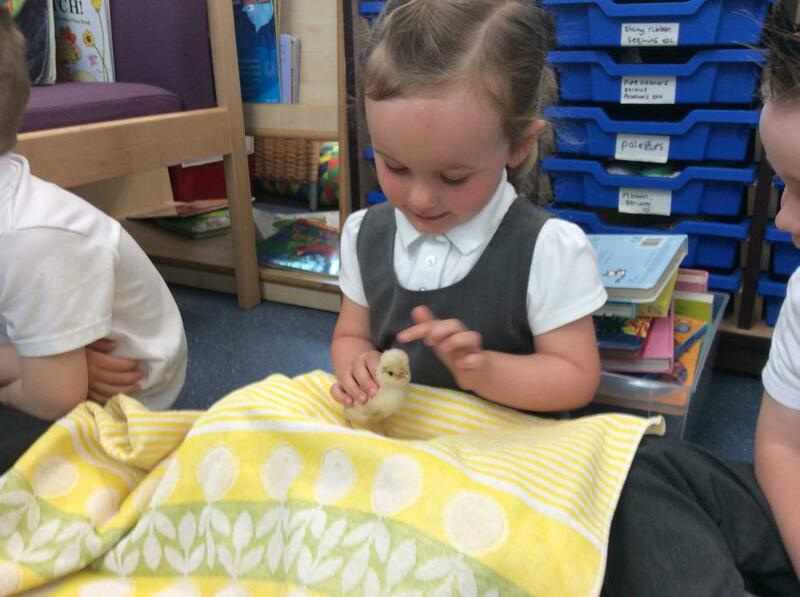 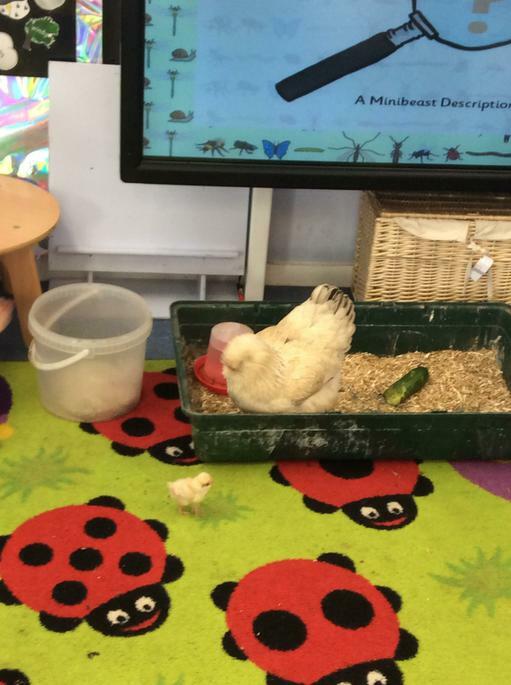 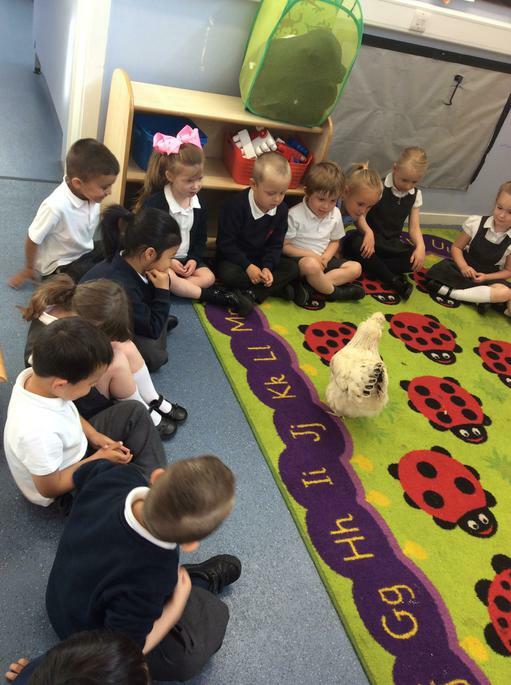 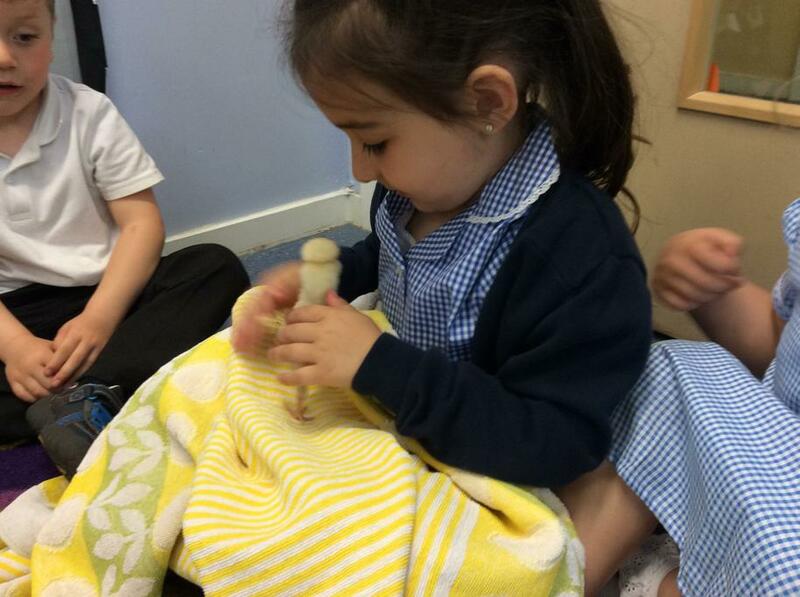 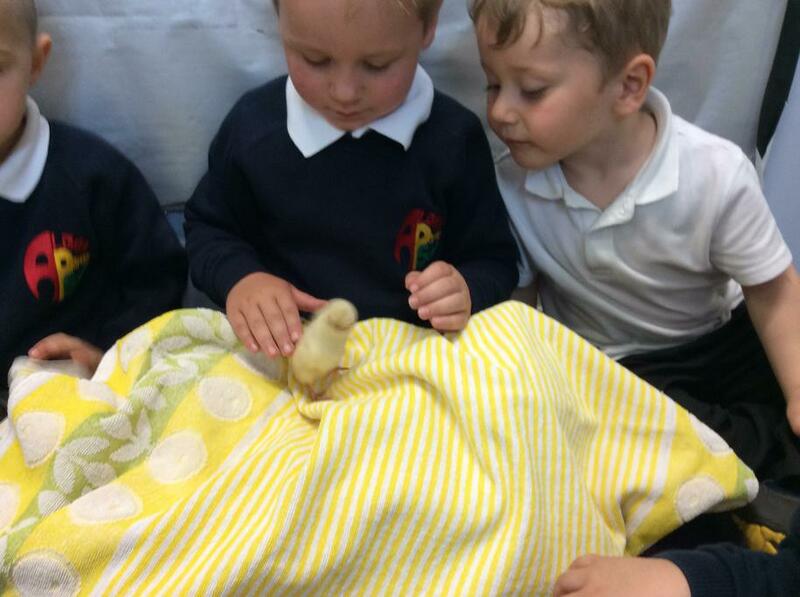 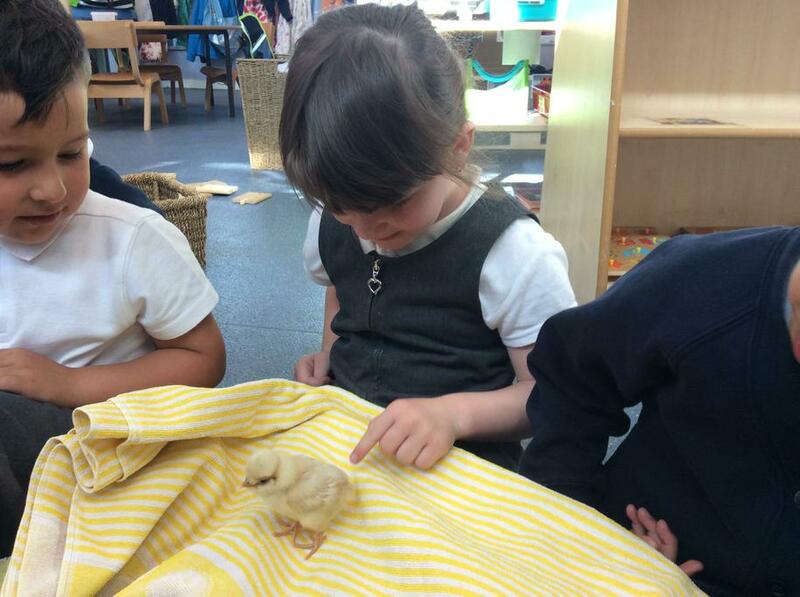 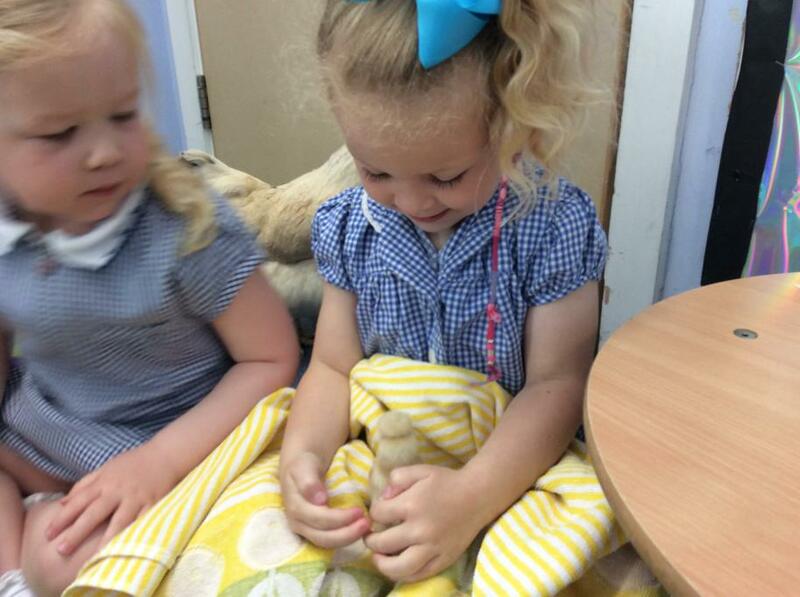 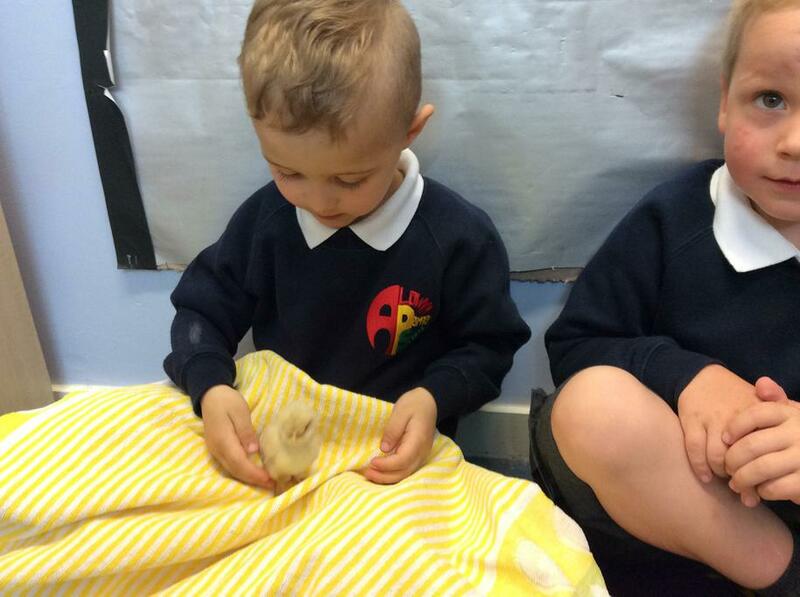 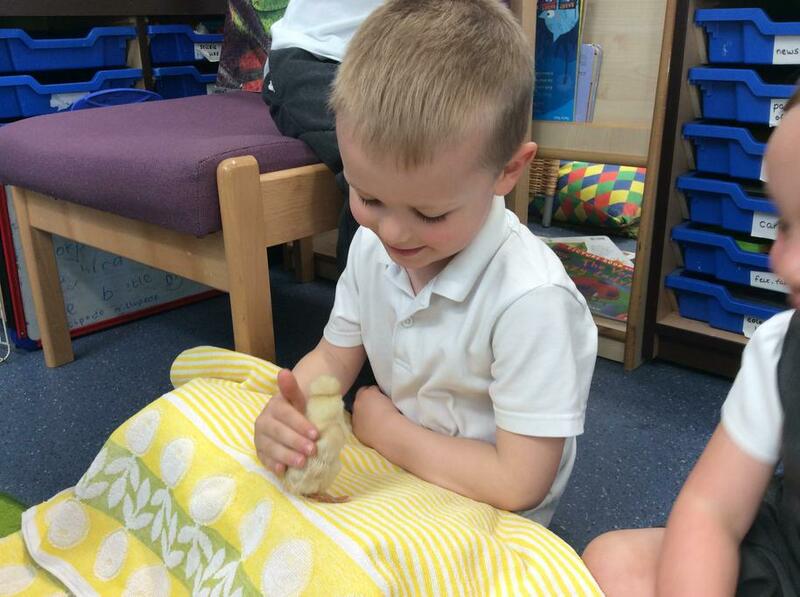 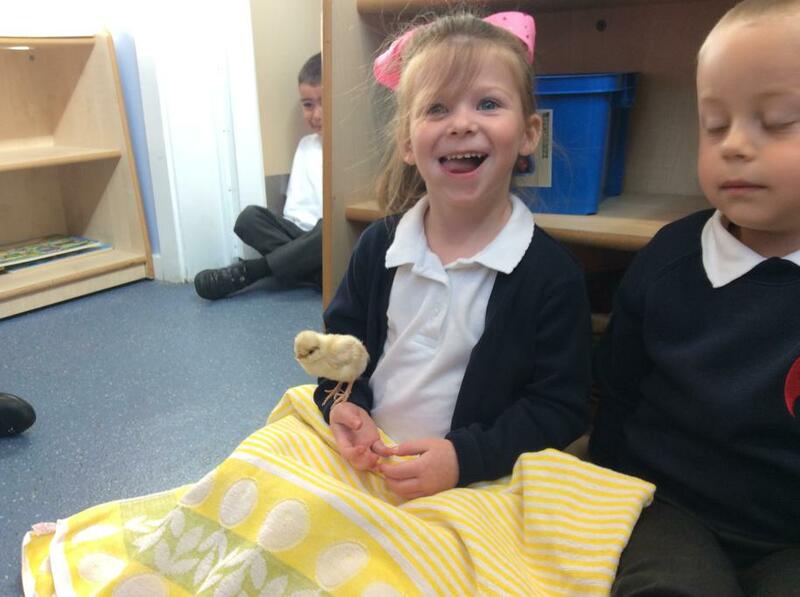 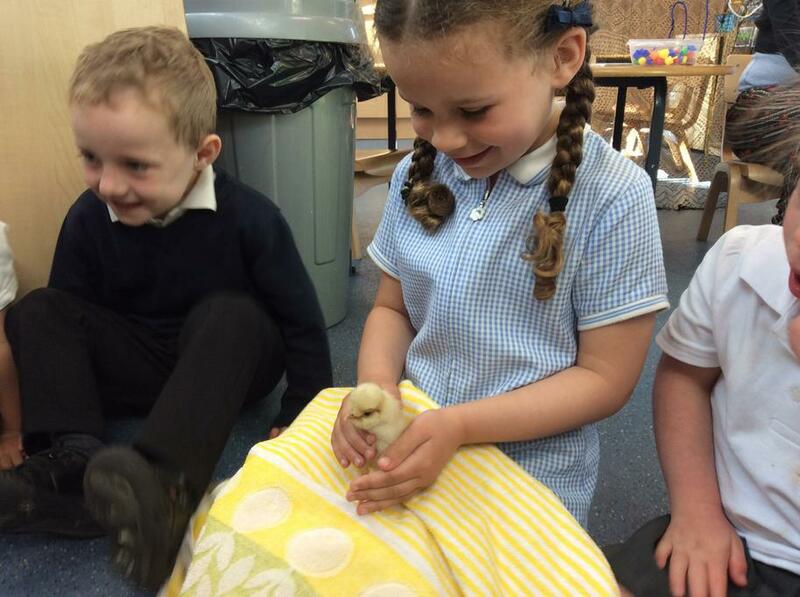 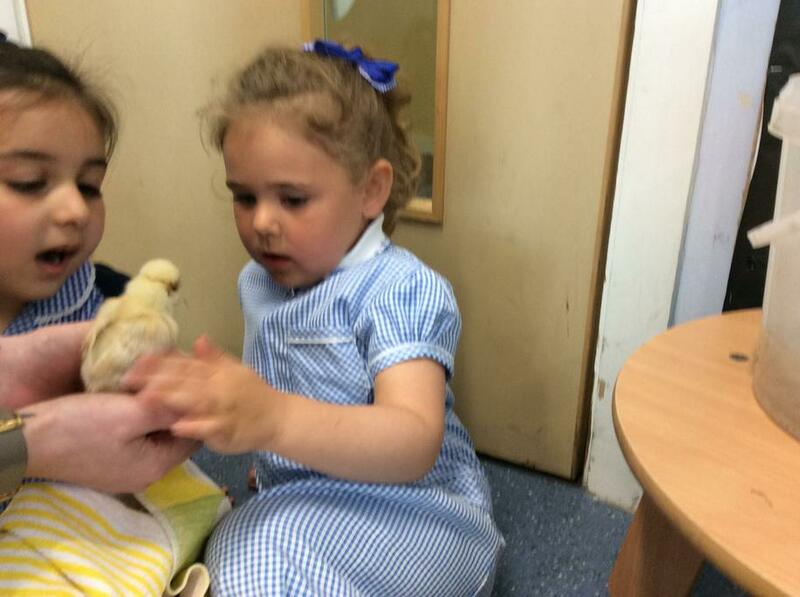 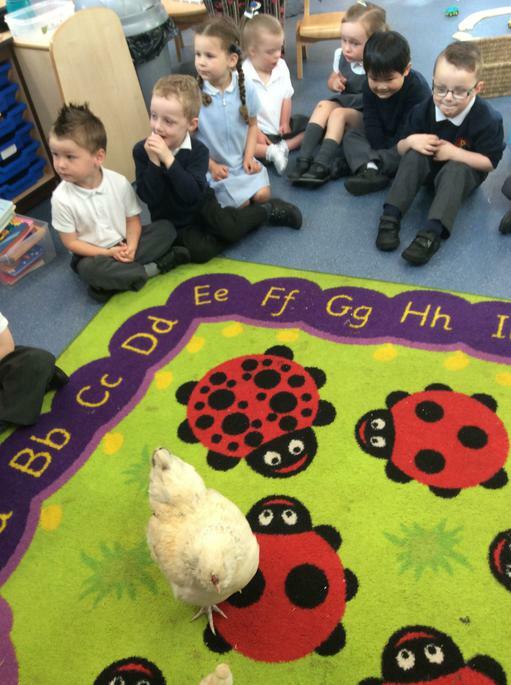 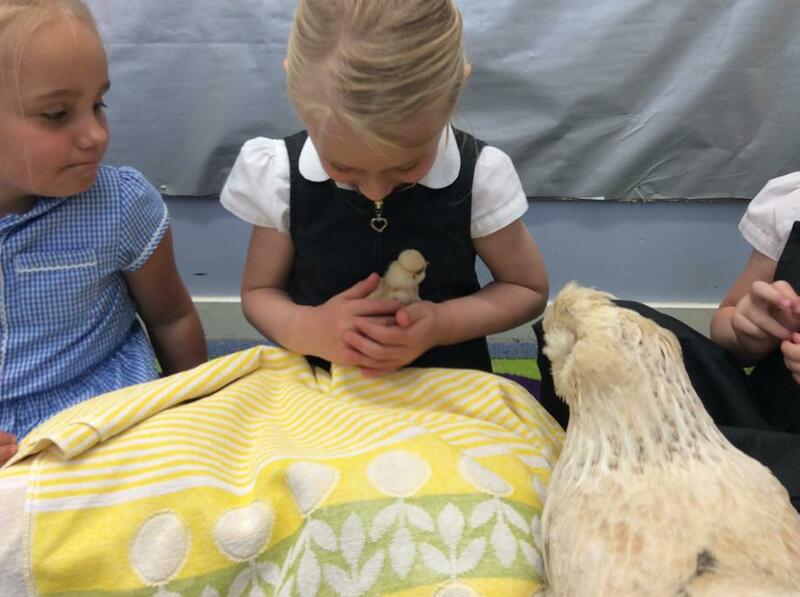 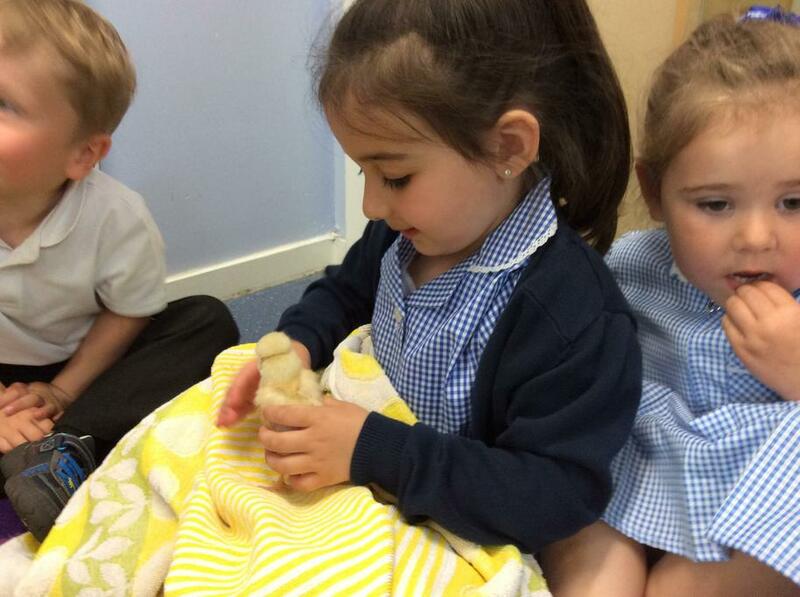 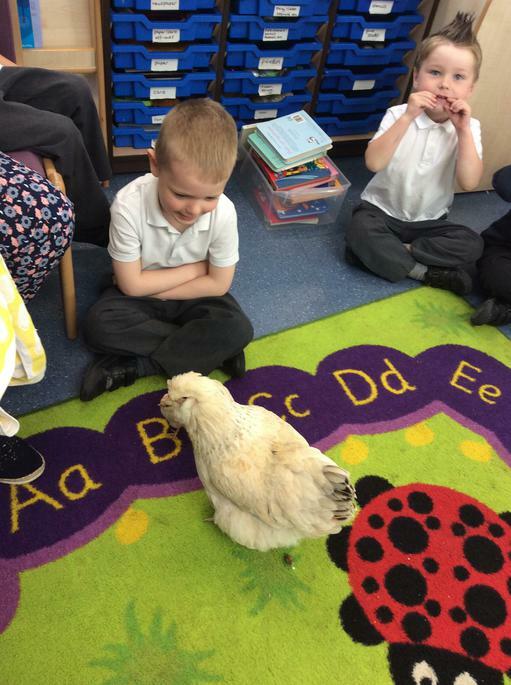 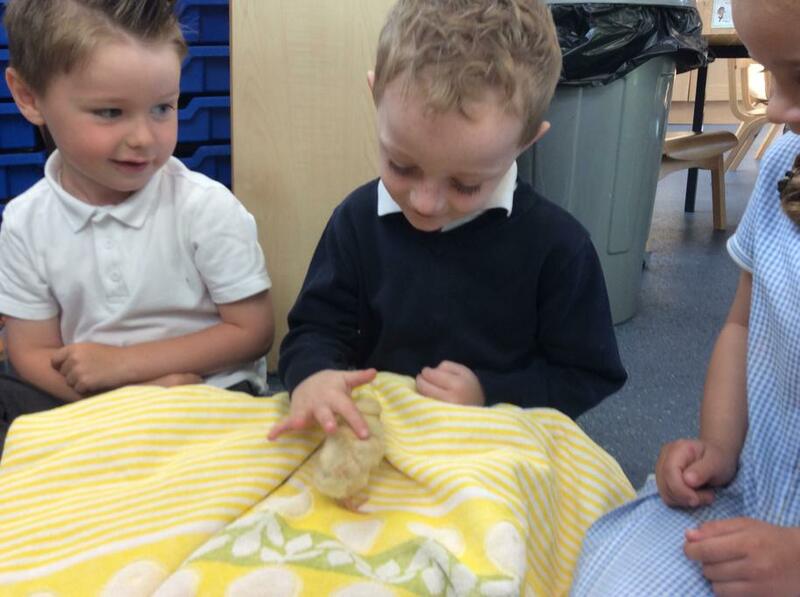 Miss Elwell brought her two chickens in to see us, Aphrodite the mummy chicken and Annie the baby chick. 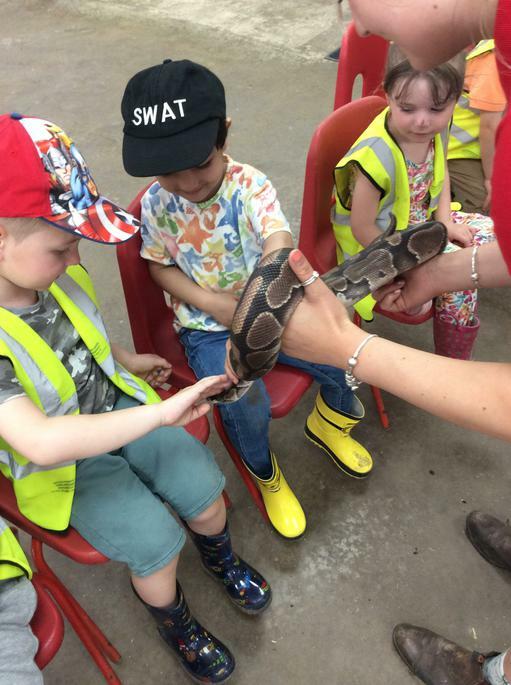 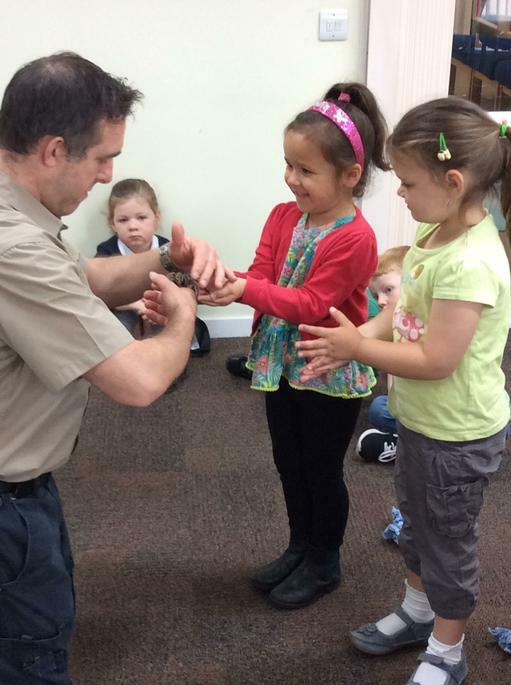 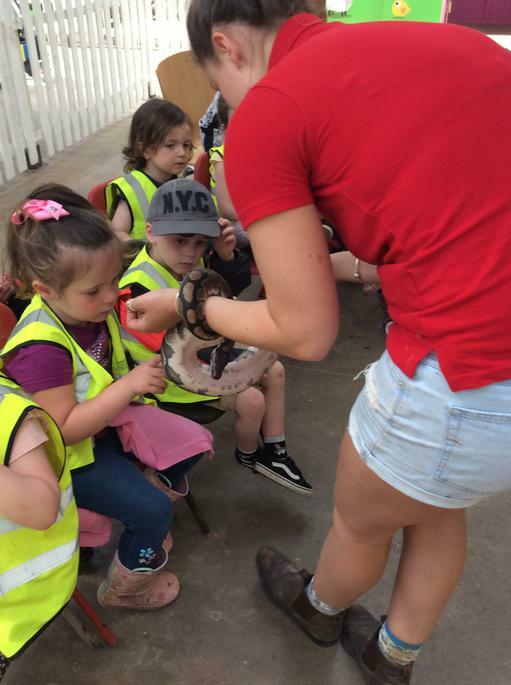 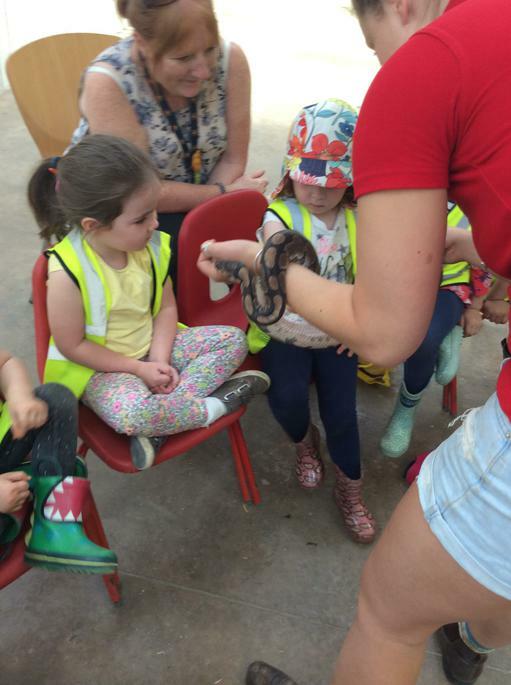 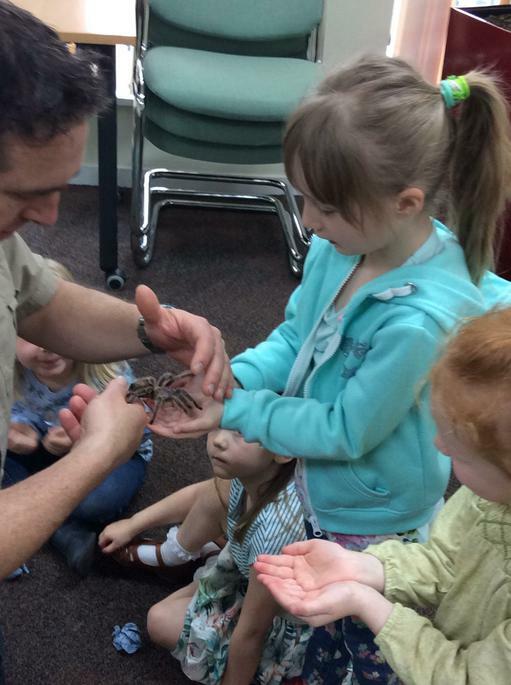 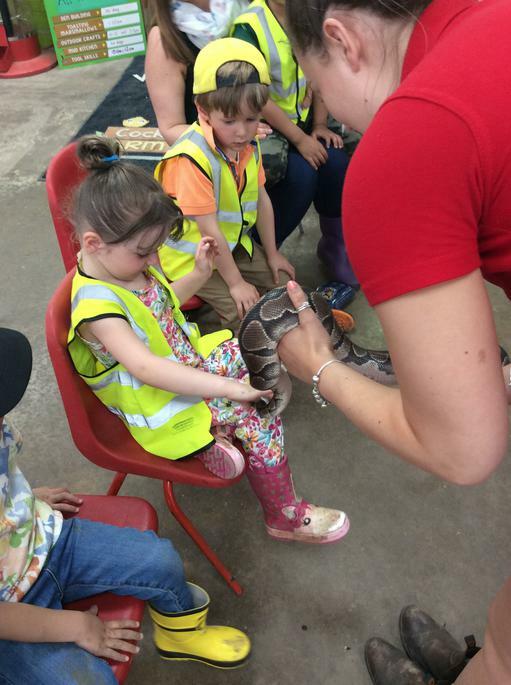 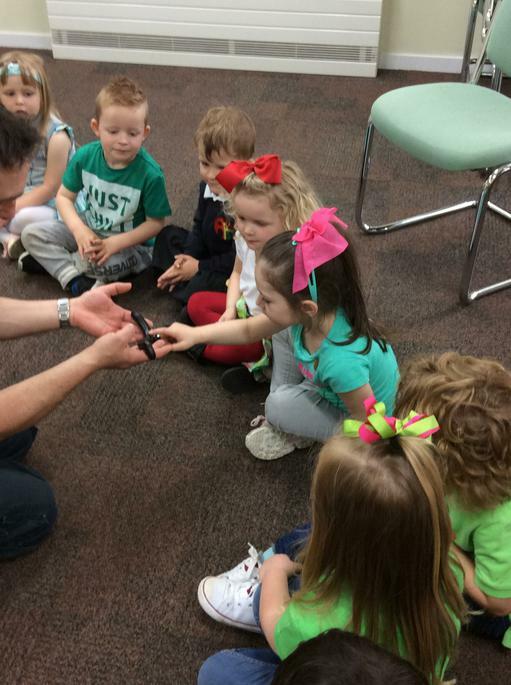 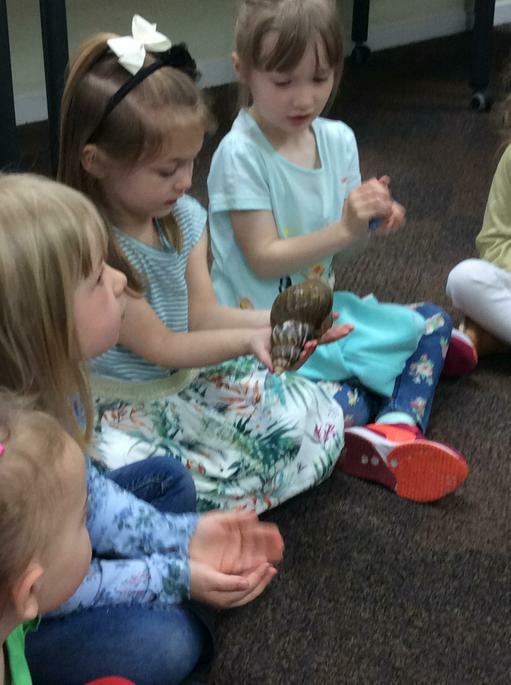 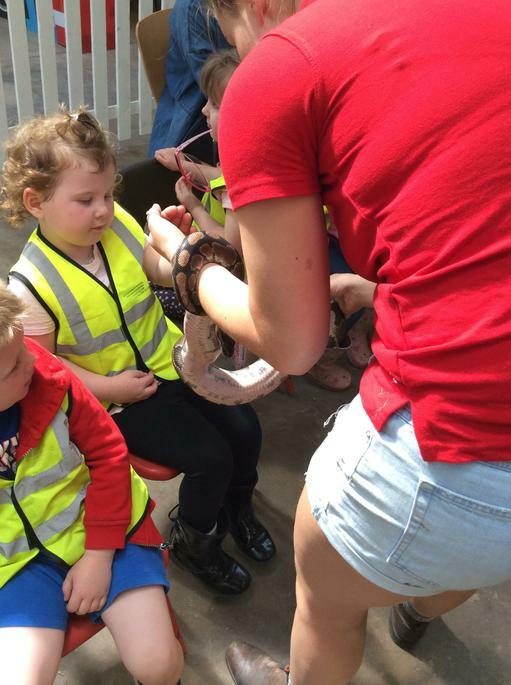 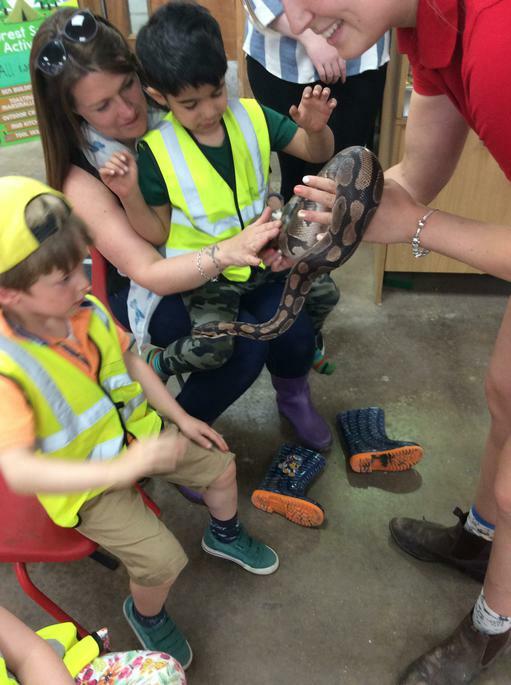 We really enjoyed learning lots about them and if brave enough holding Annie! 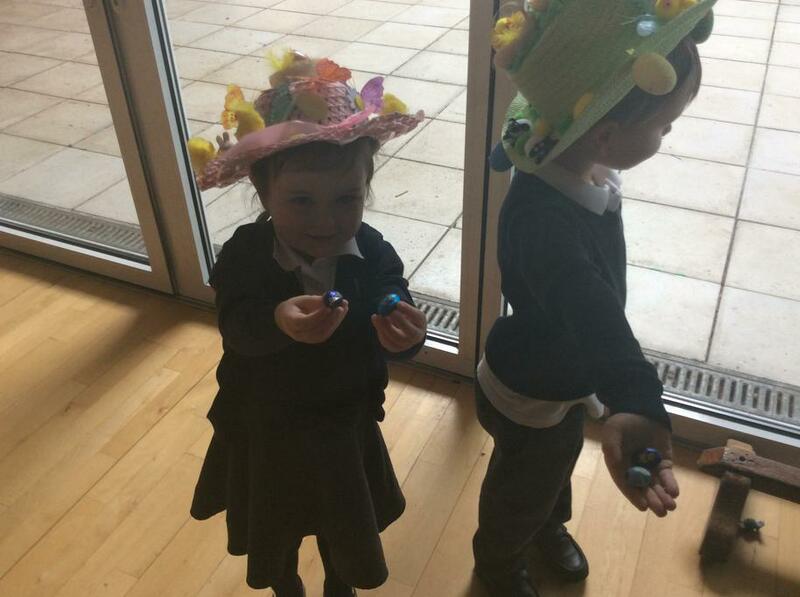 We enjoyed joining in with the whole school Easter Celebration. 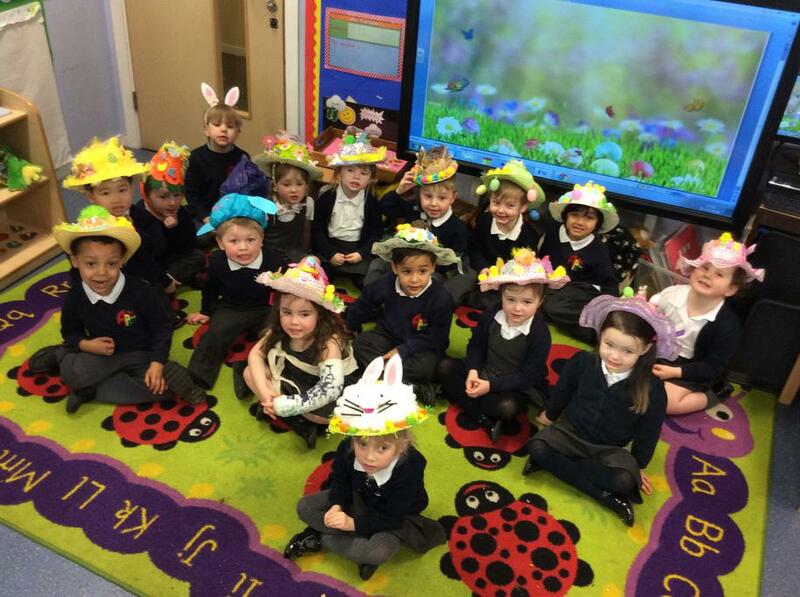 Don't we look great in our Easter Bonnets? 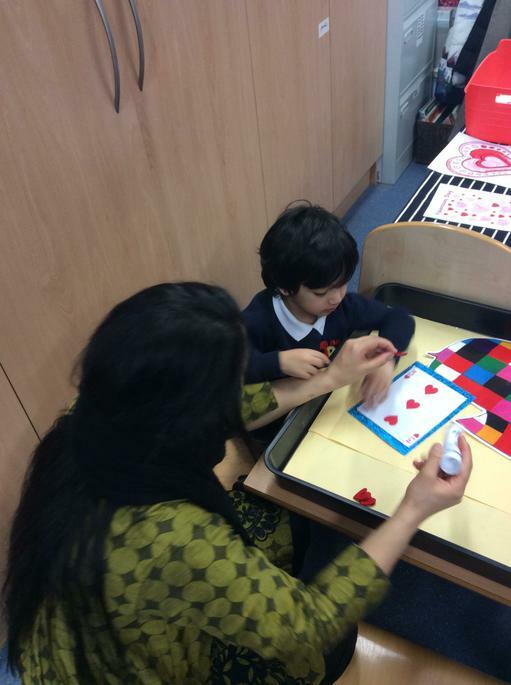 We have been learning about the names and properties of different shapes. 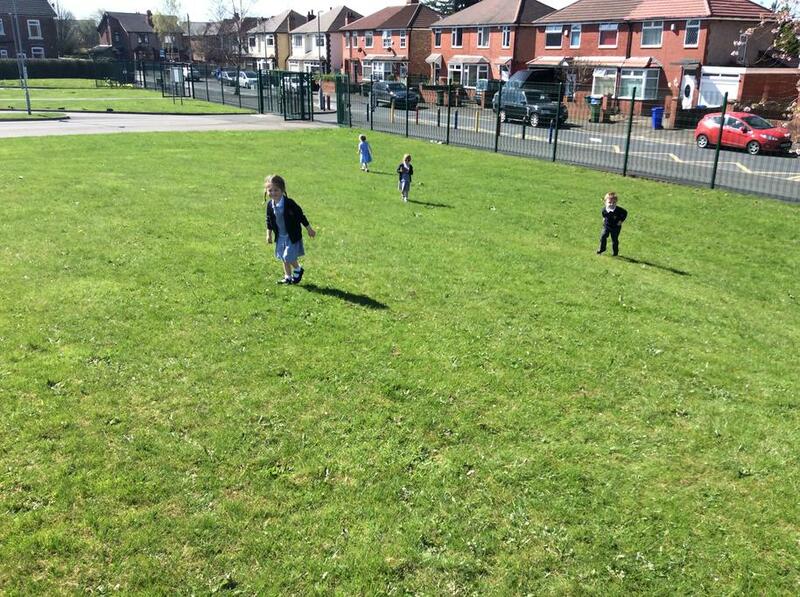 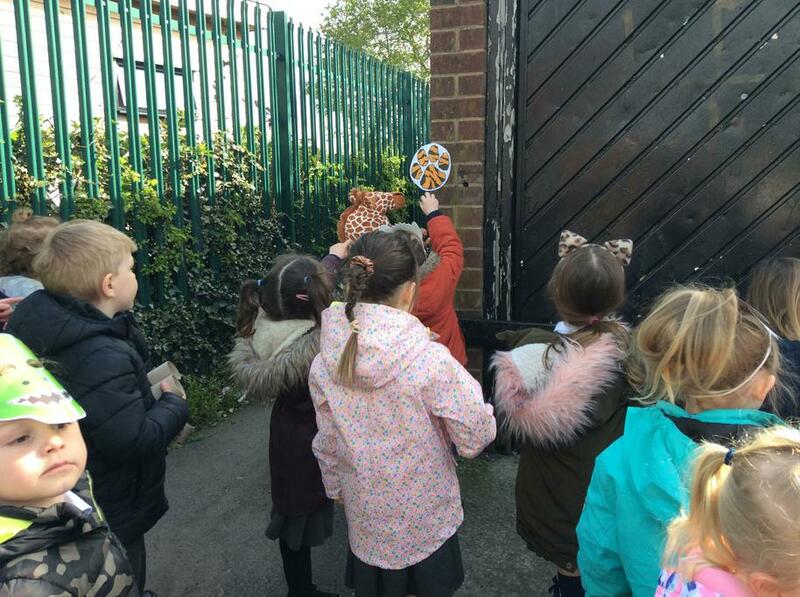 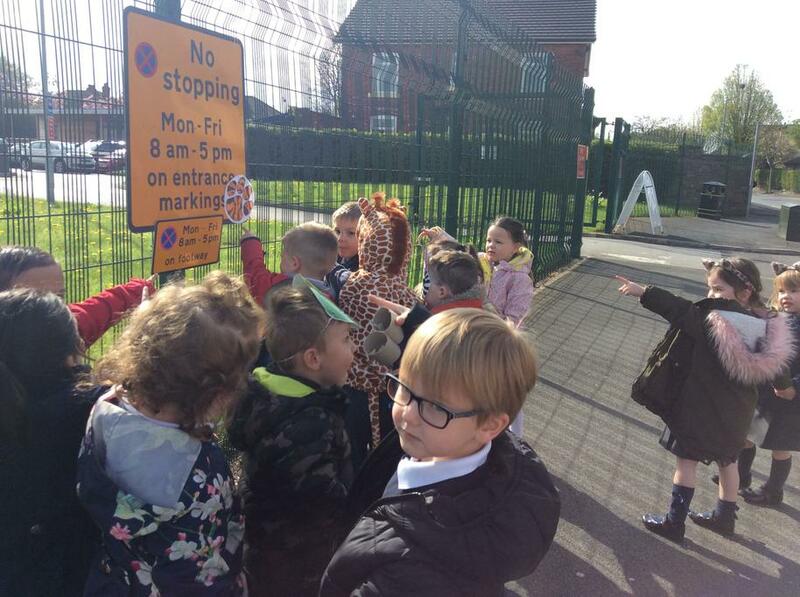 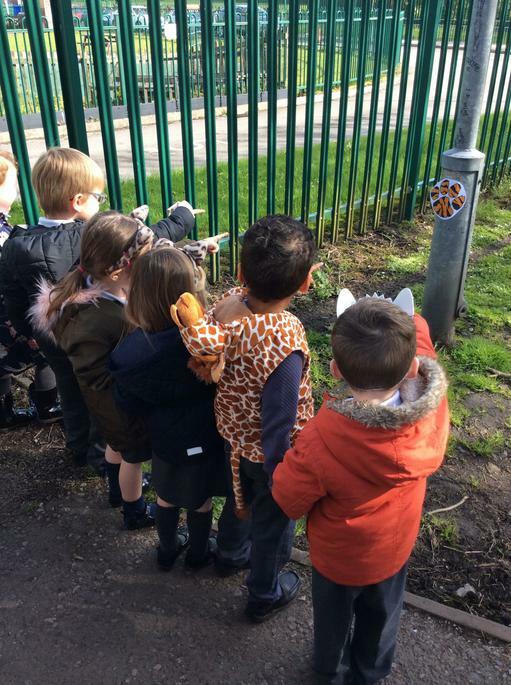 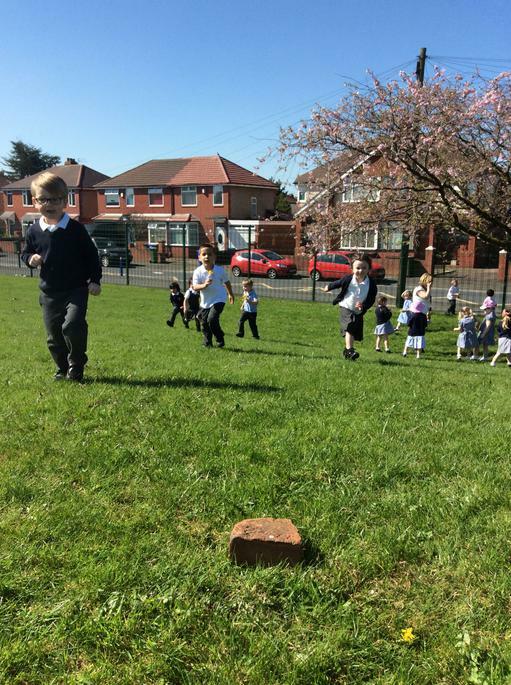 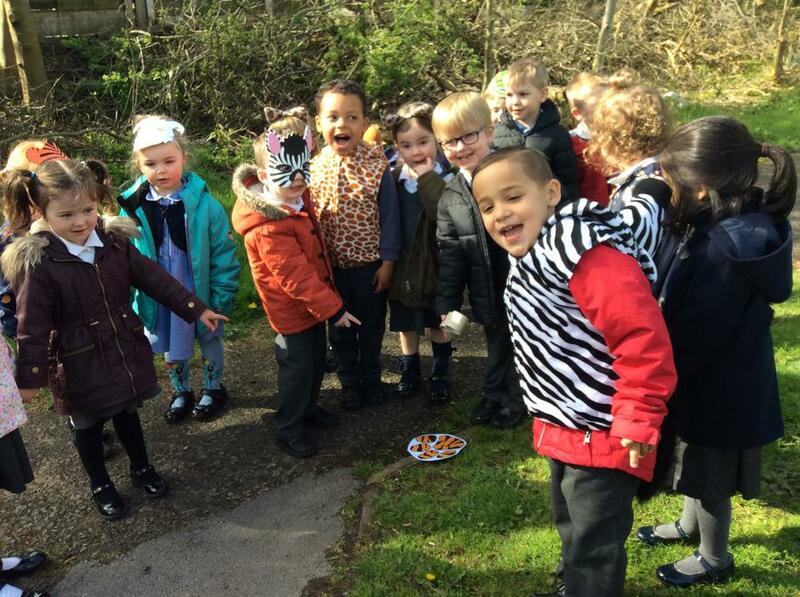 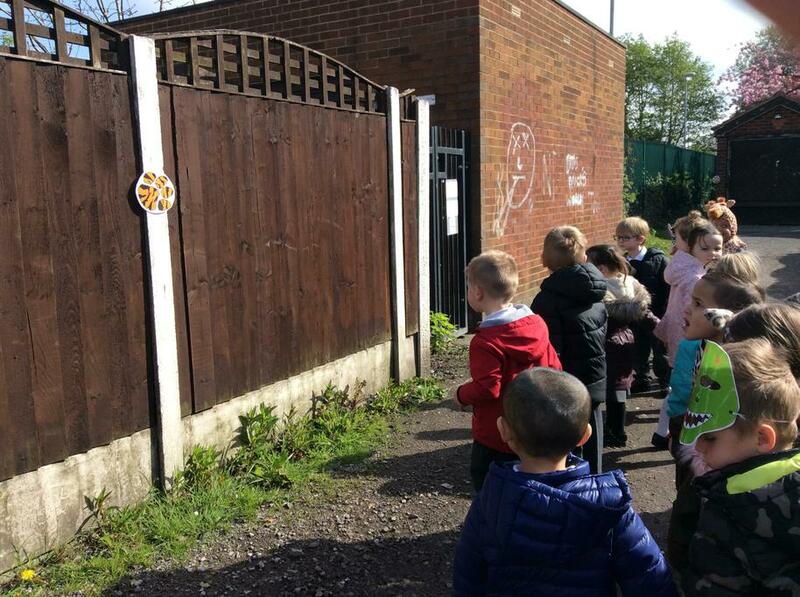 We have been on shape walks around the school to hunt for different shapes. 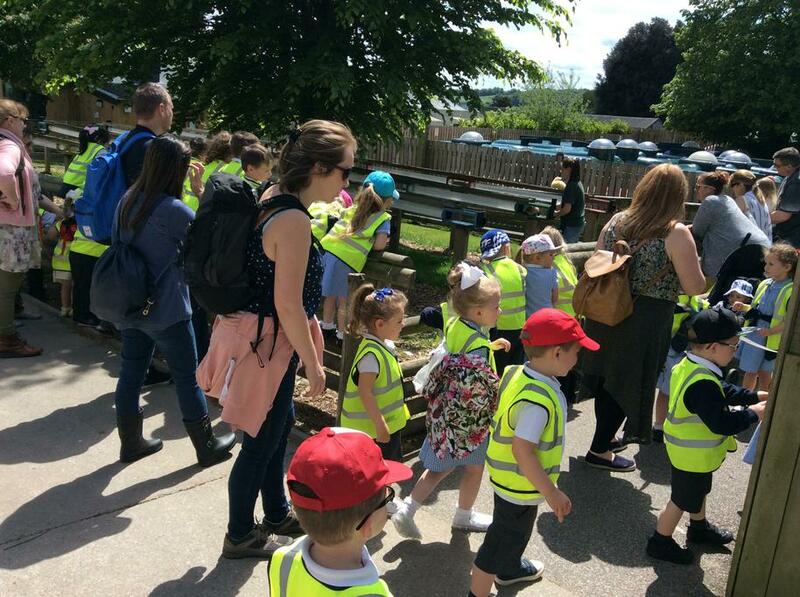 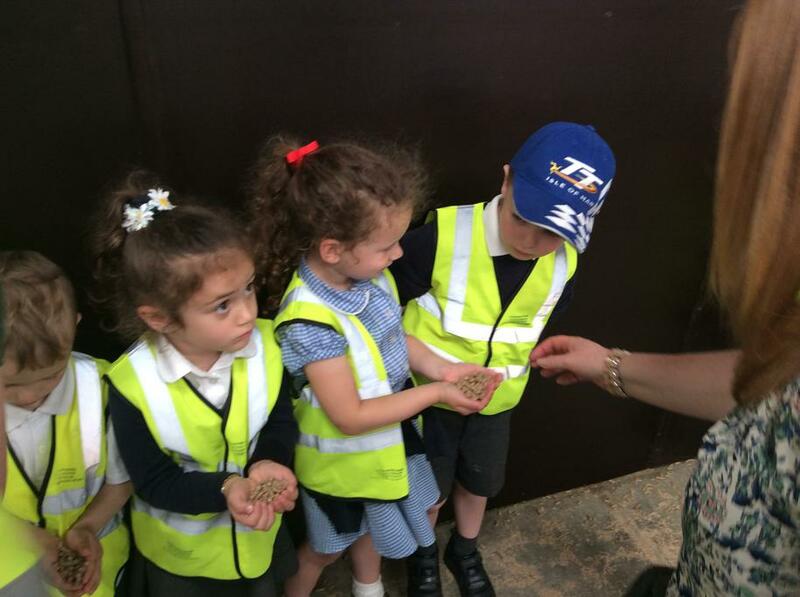 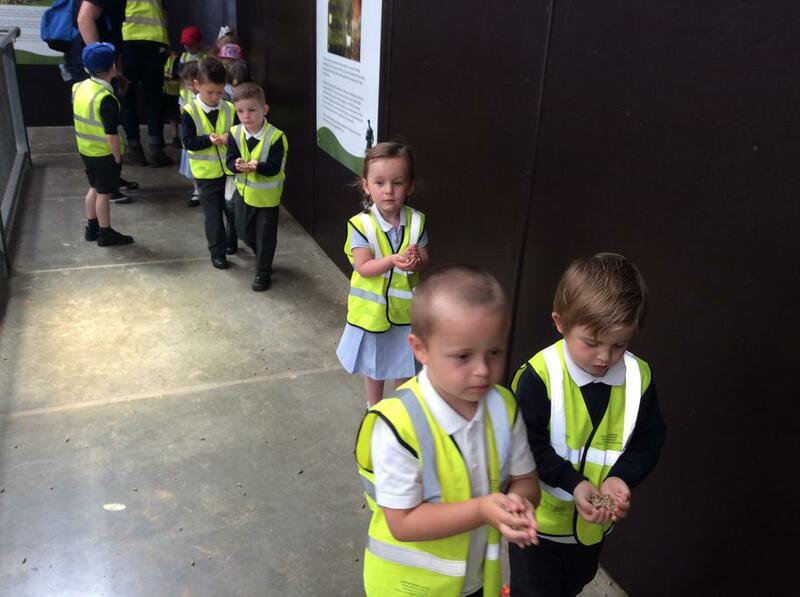 We went on a walk to Ashton Park Garden Centre to look at the different seeds, plants and trees that you can buy there to grow at home. 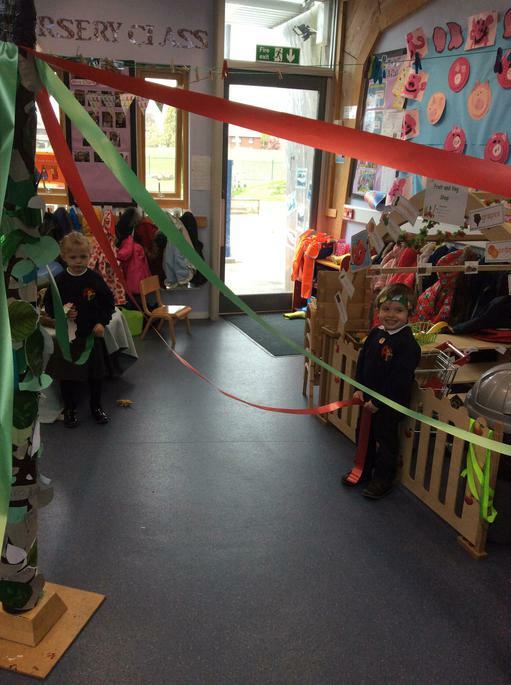 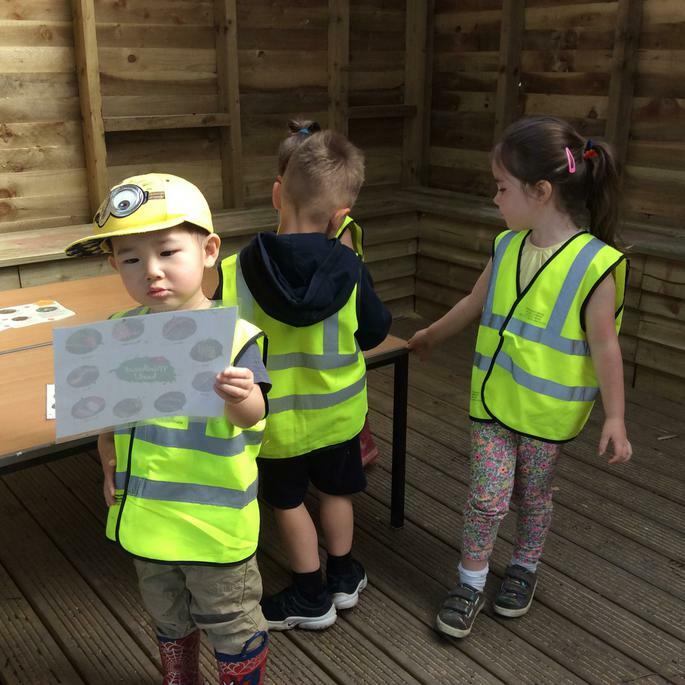 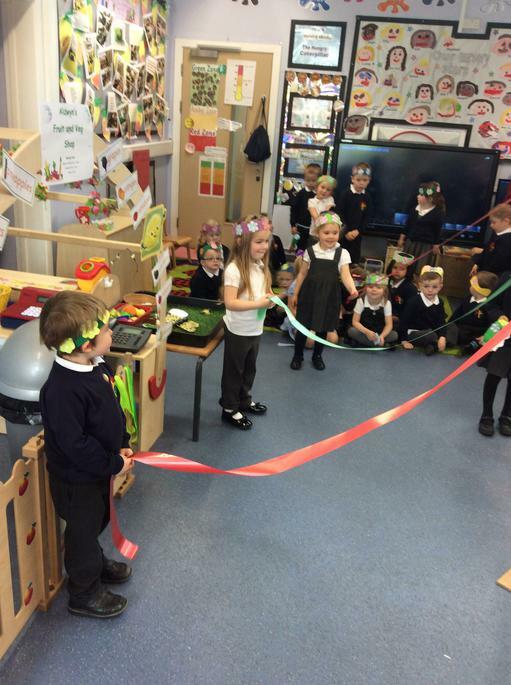 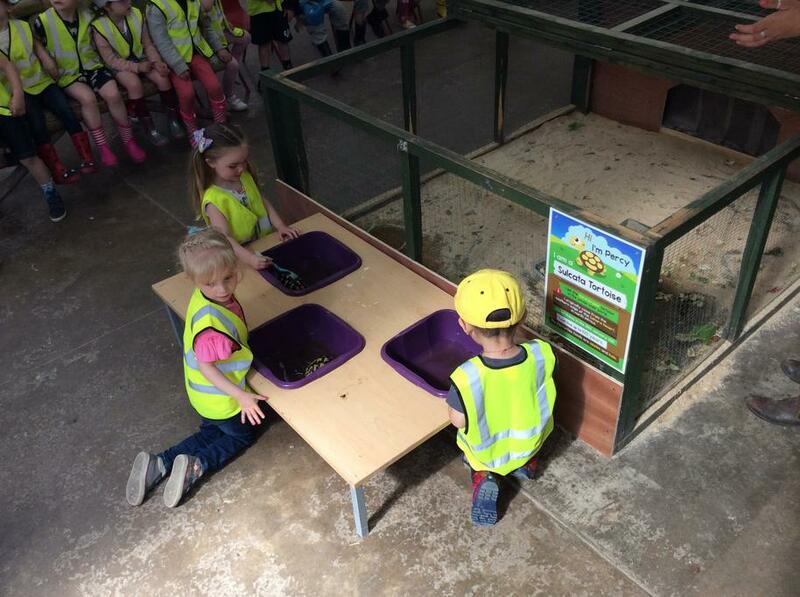 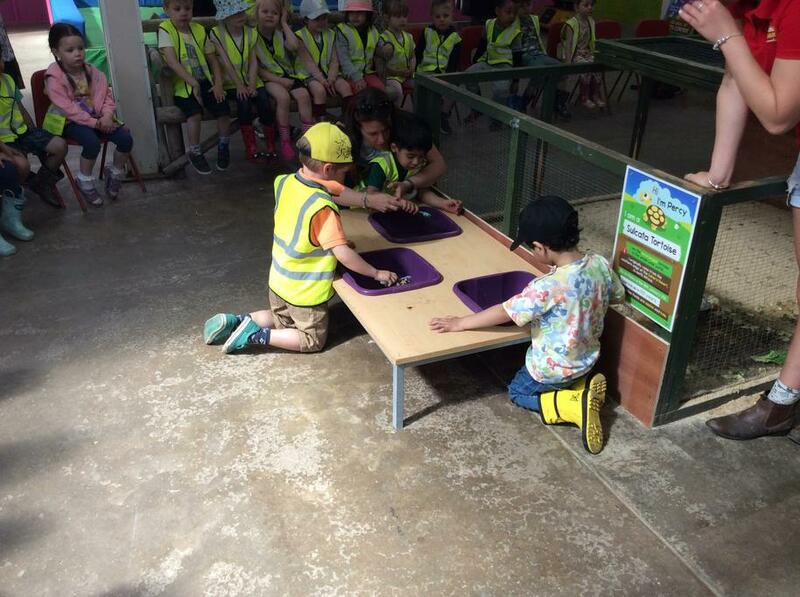 We decided that we would like to have a role play garden centre in the nursery classroom. 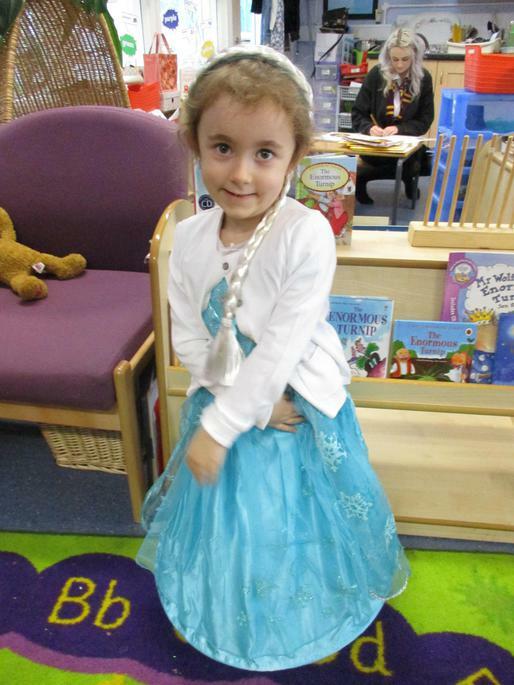 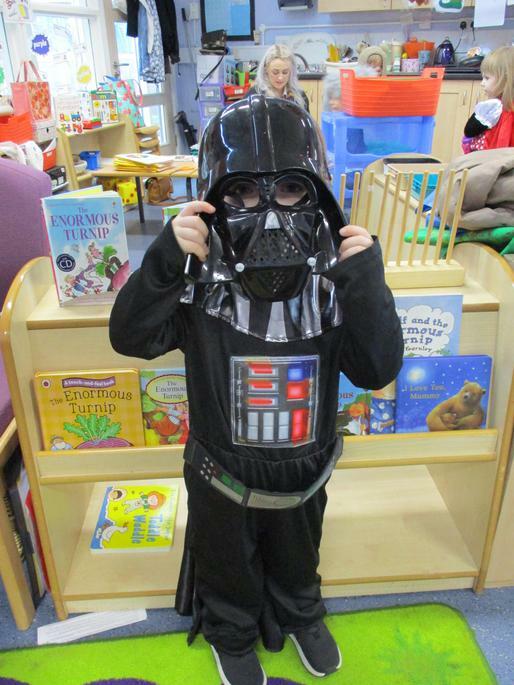 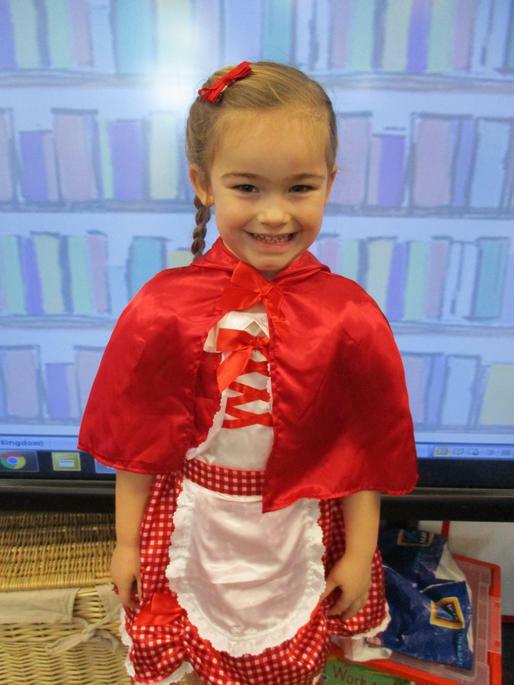 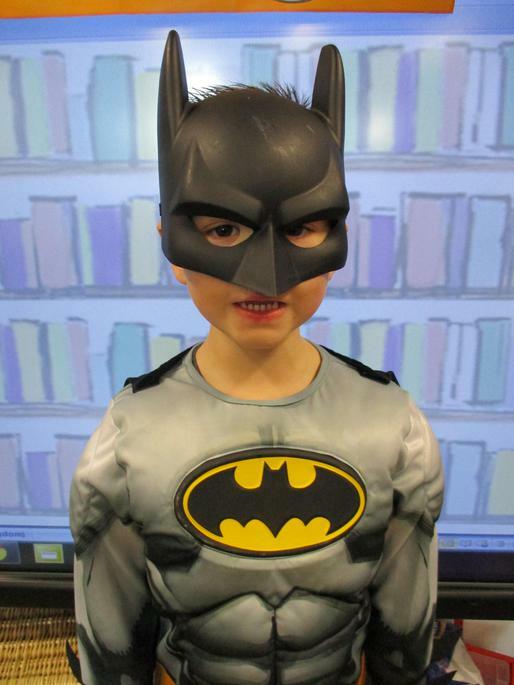 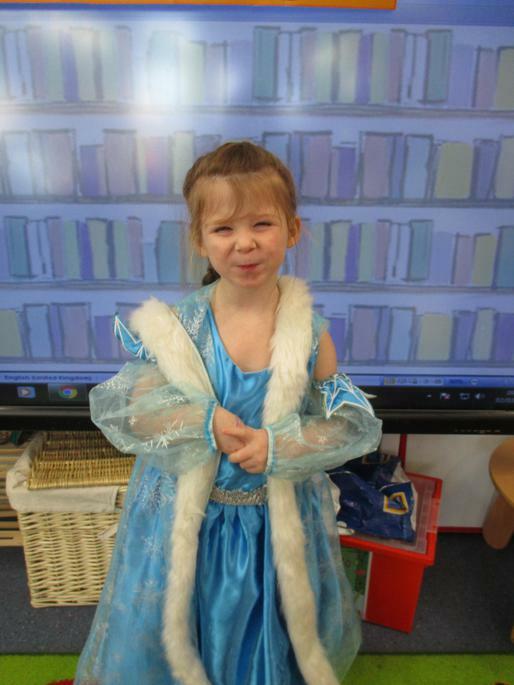 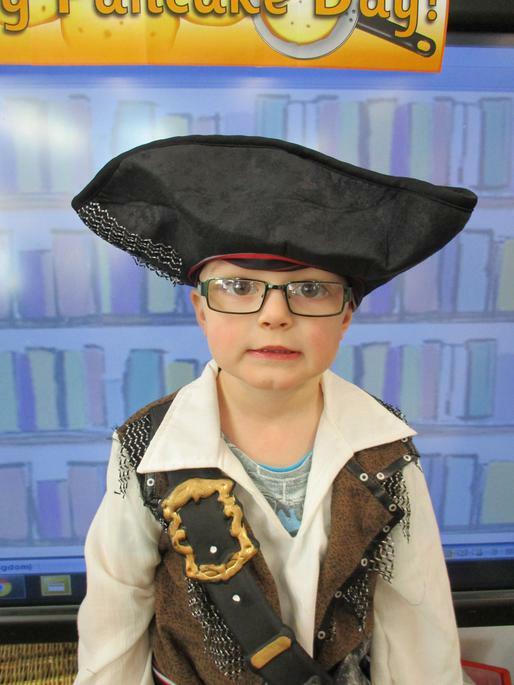 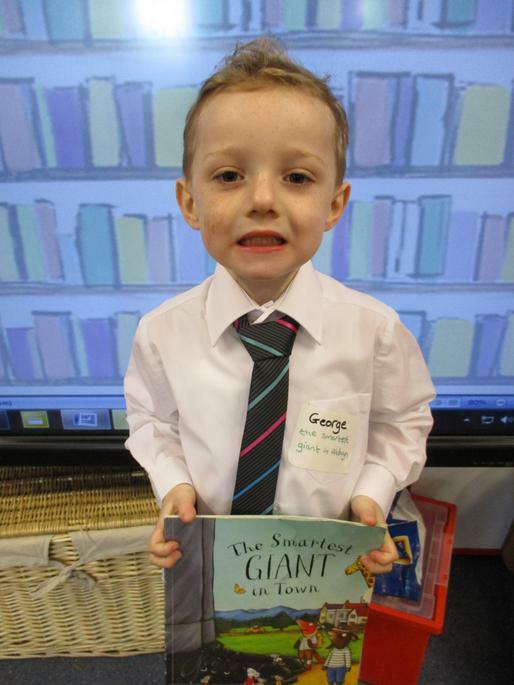 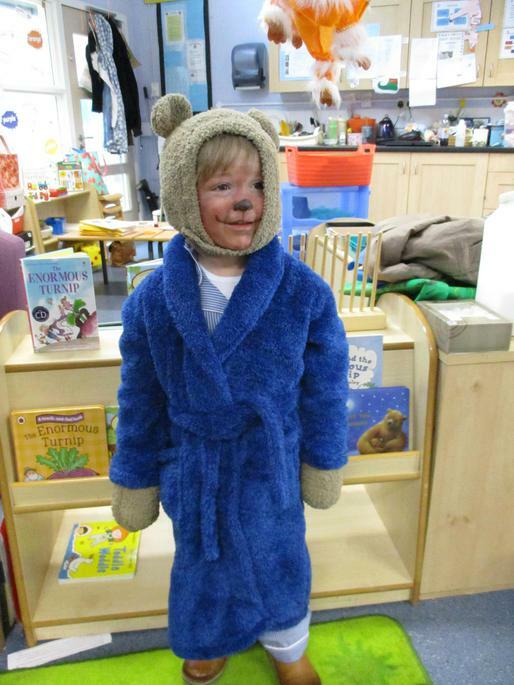 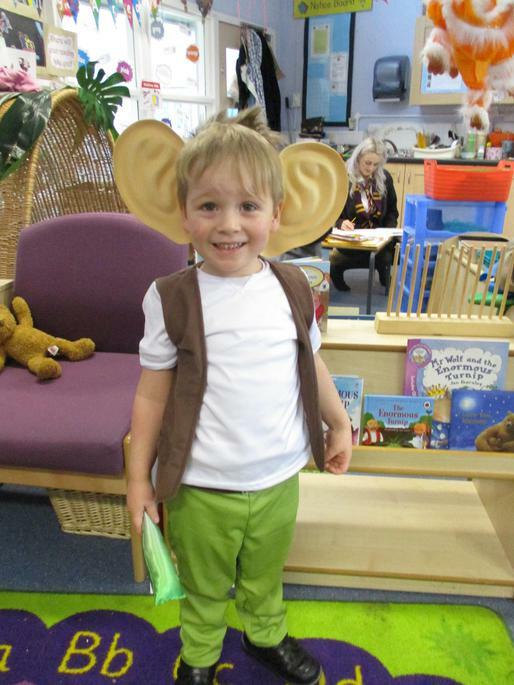 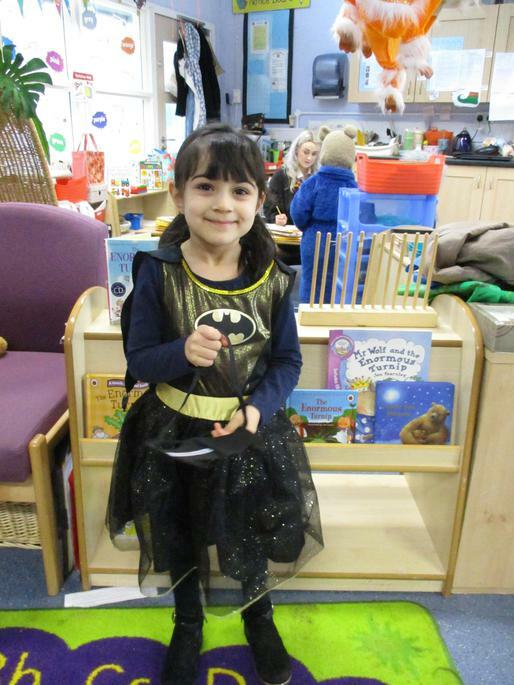 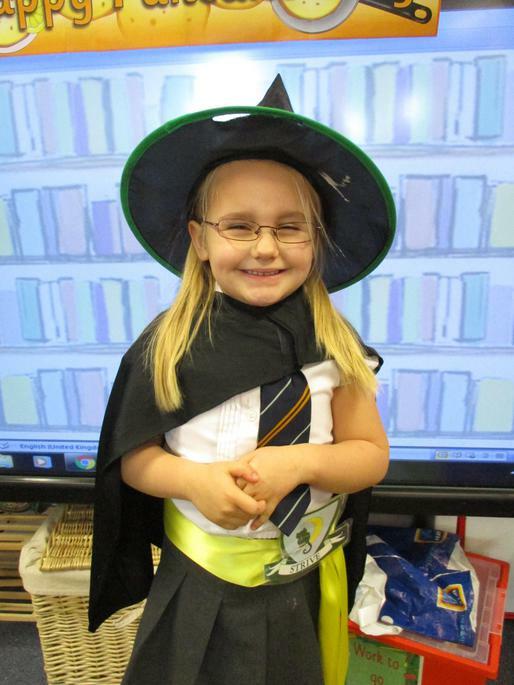 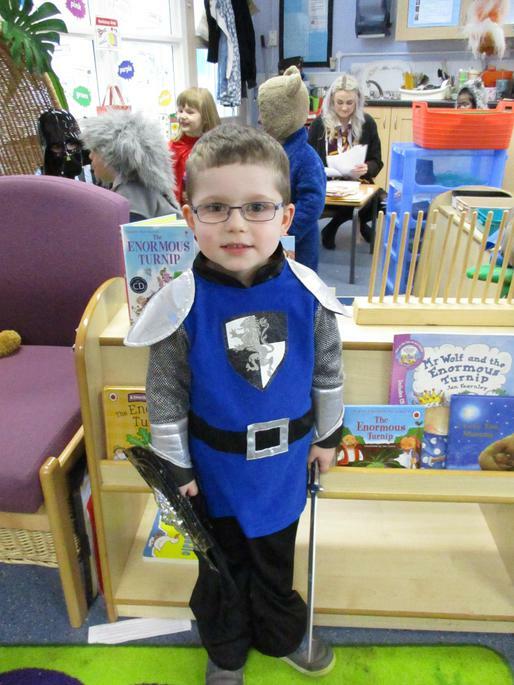 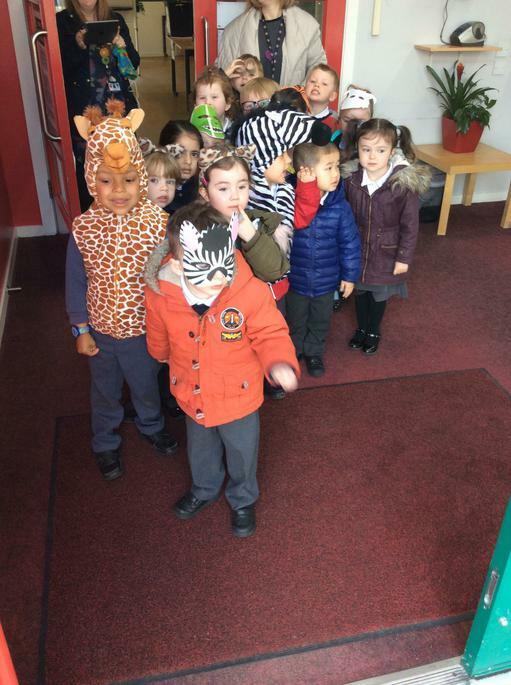 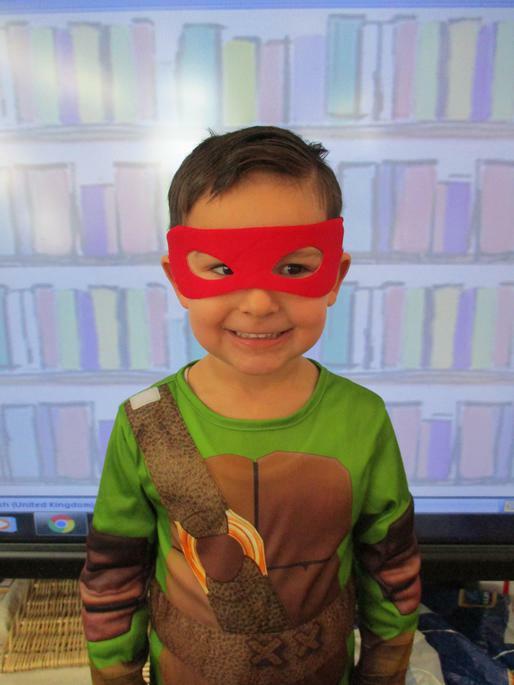 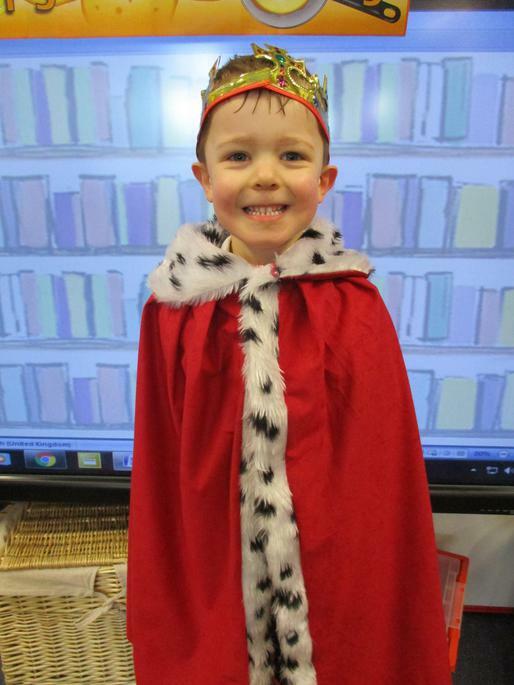 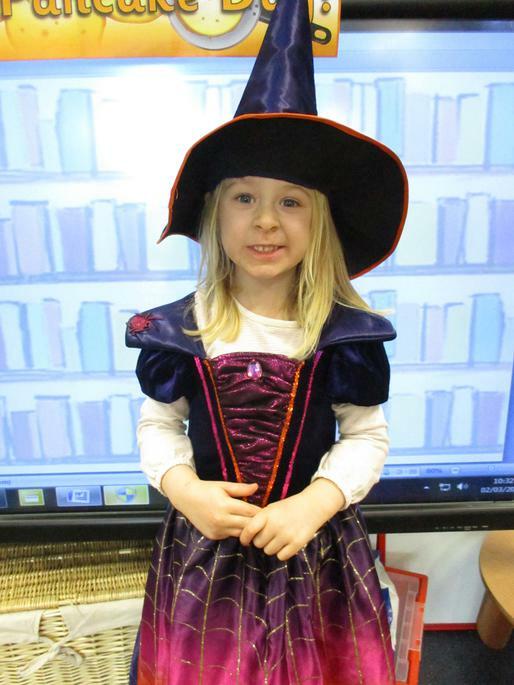 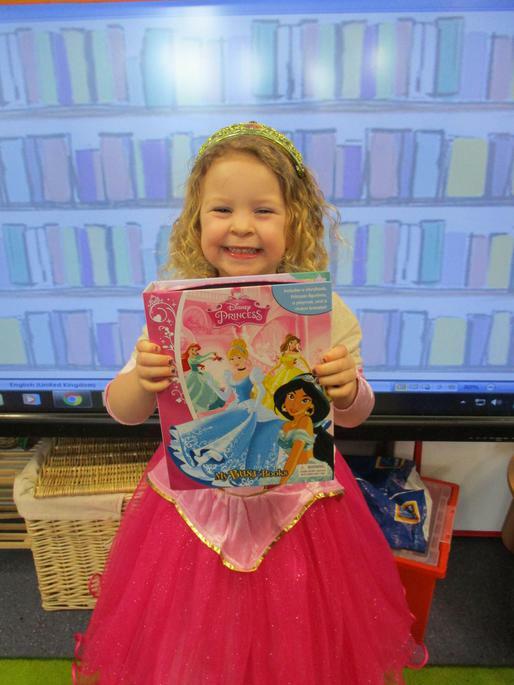 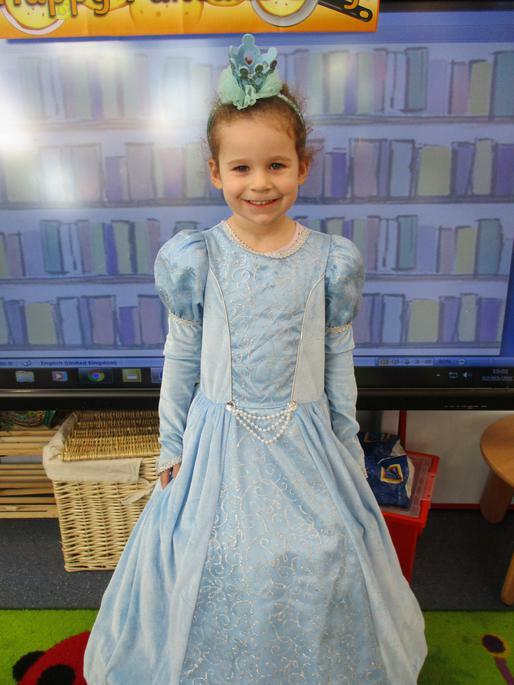 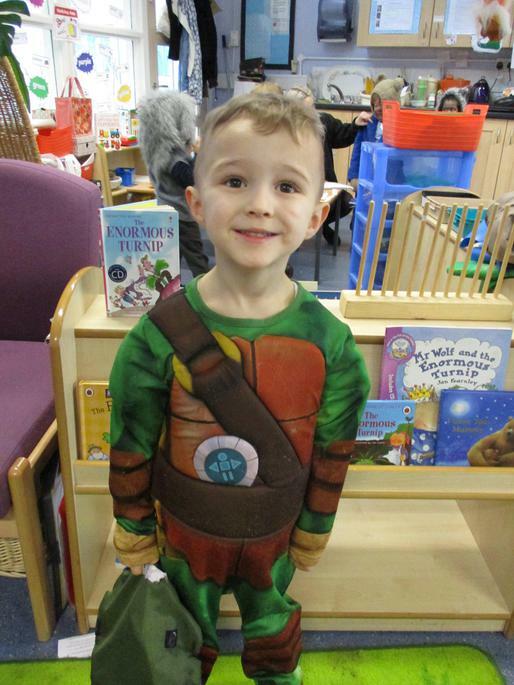 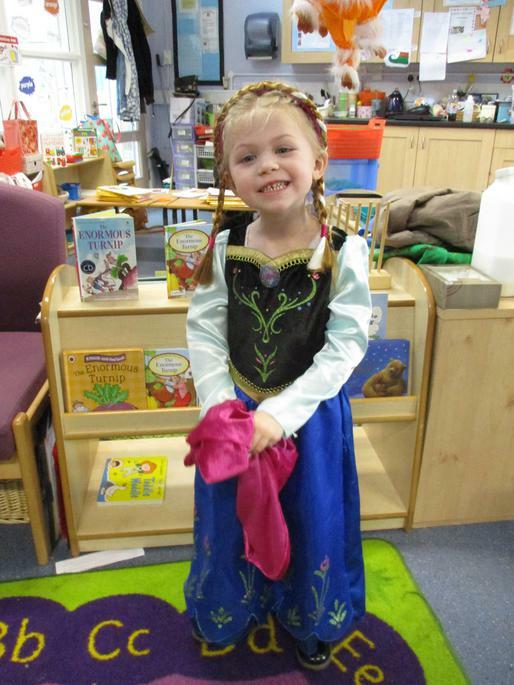 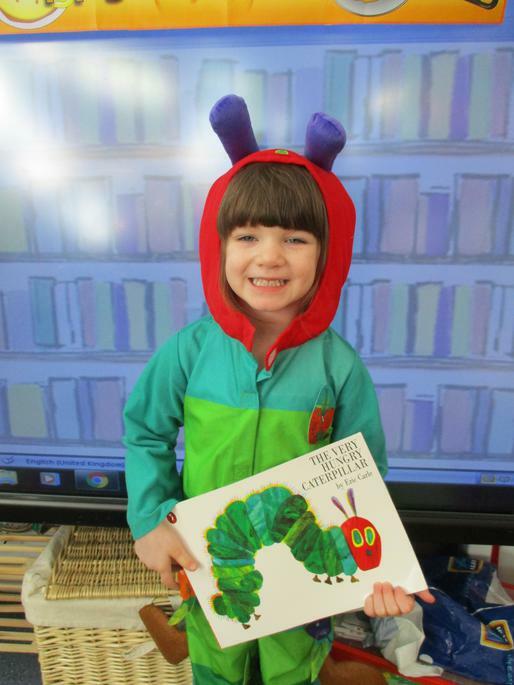 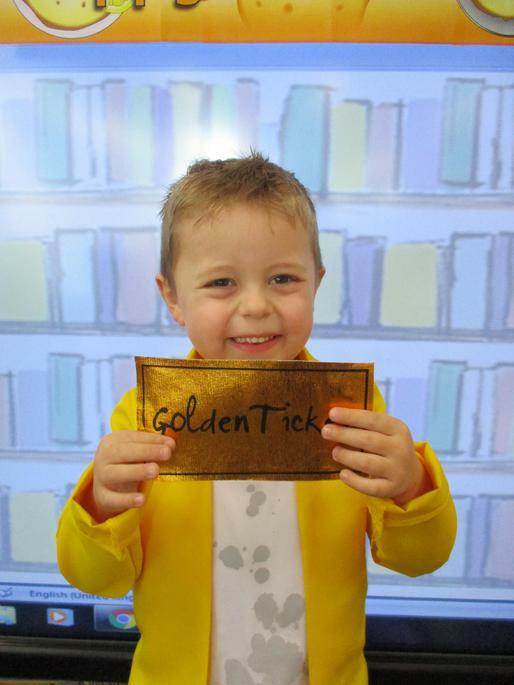 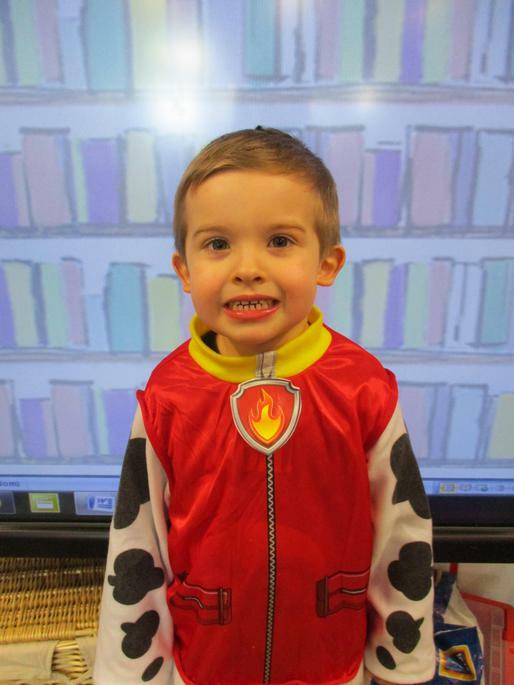 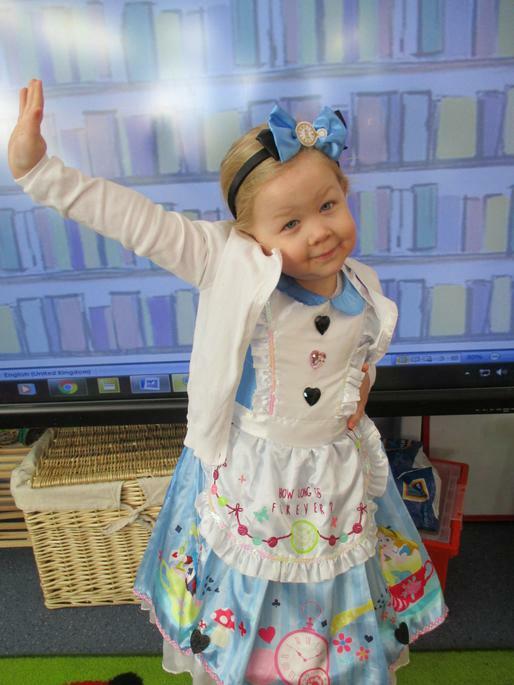 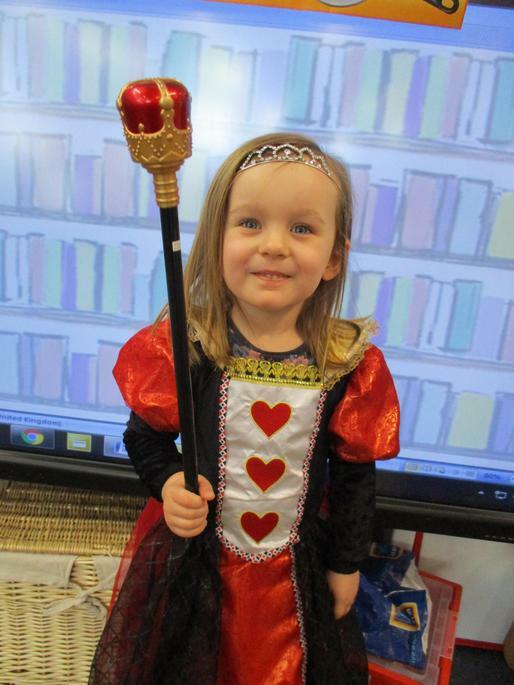 We enjoyed dressing up as book characters for World Book Day. 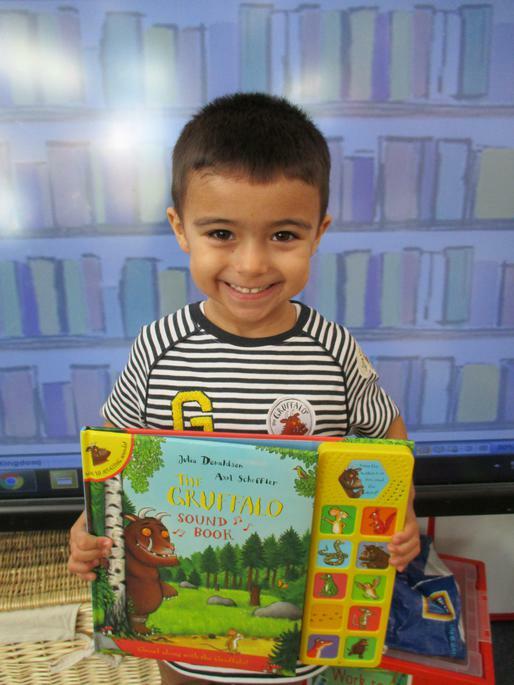 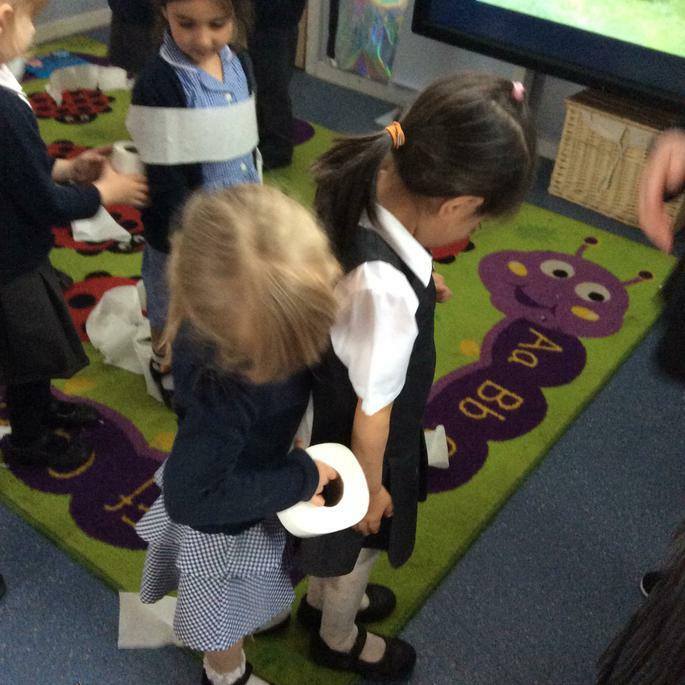 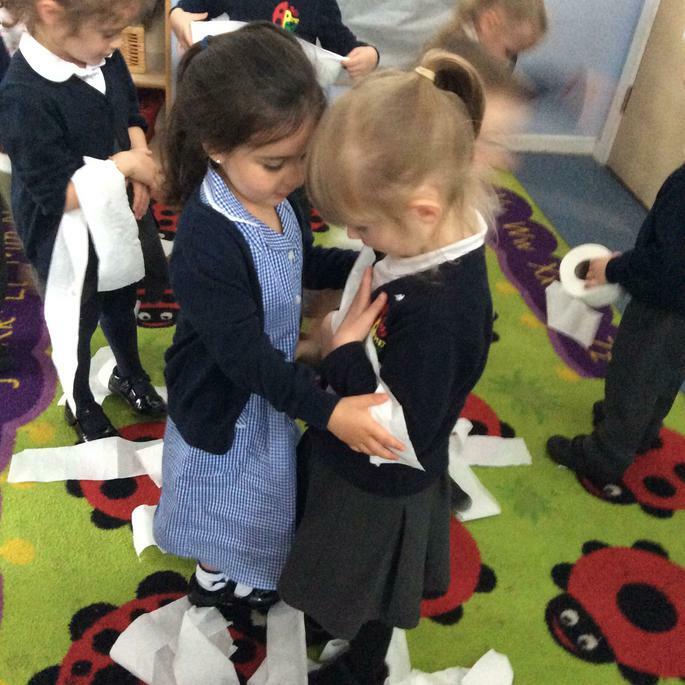 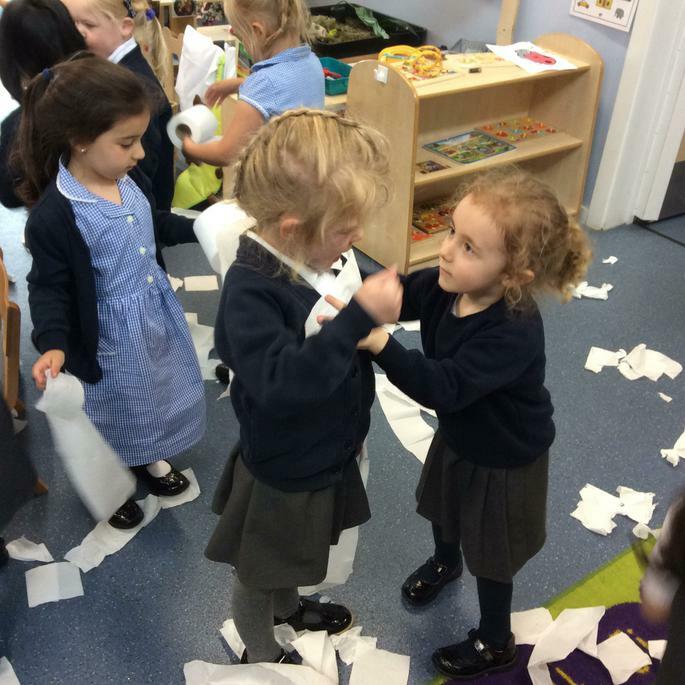 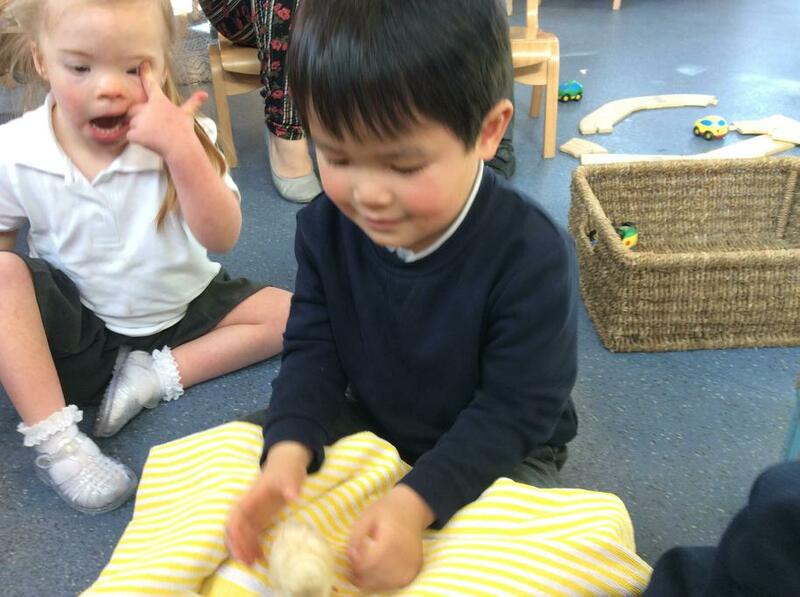 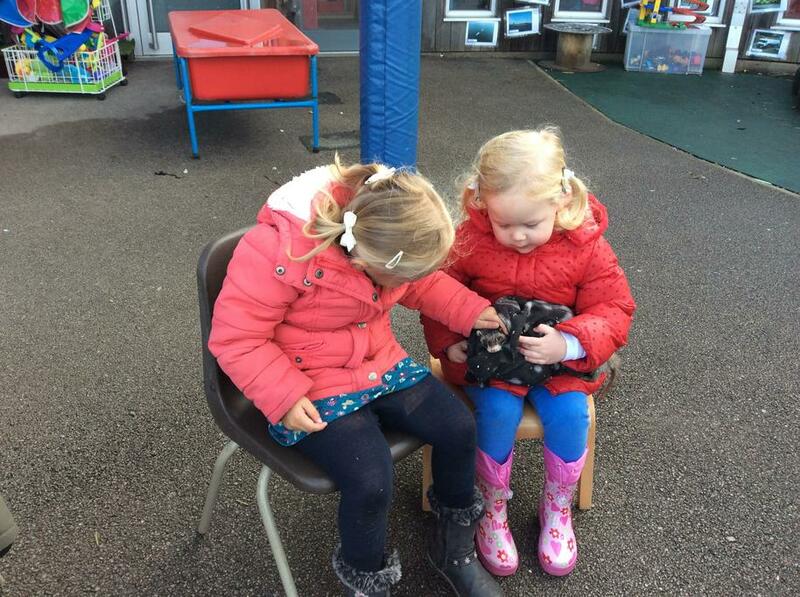 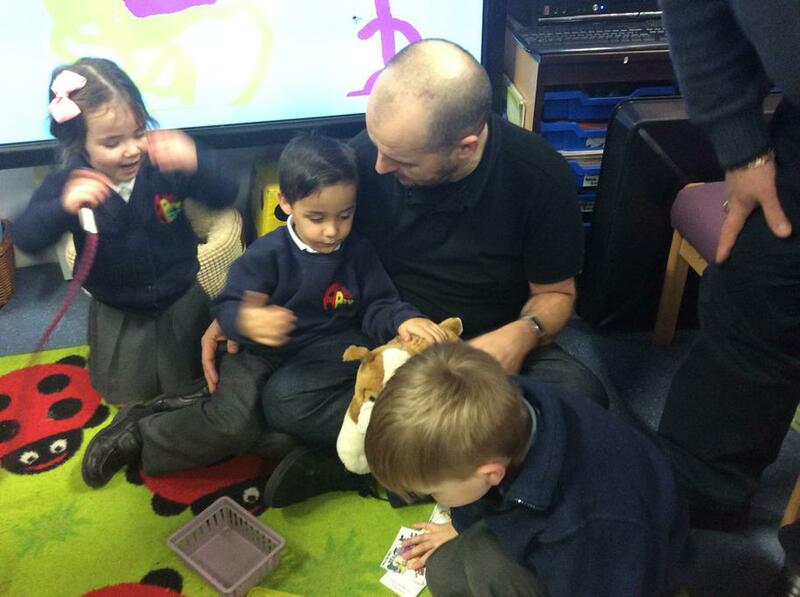 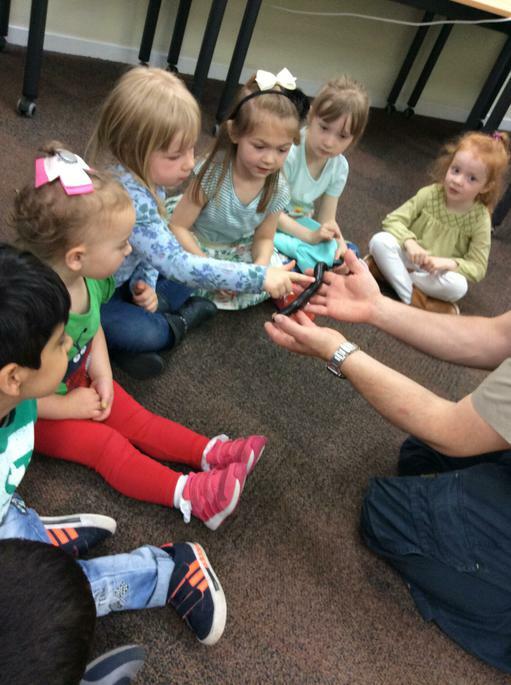 During the nursery session, we enjoyed sharing some of our favourite stories. 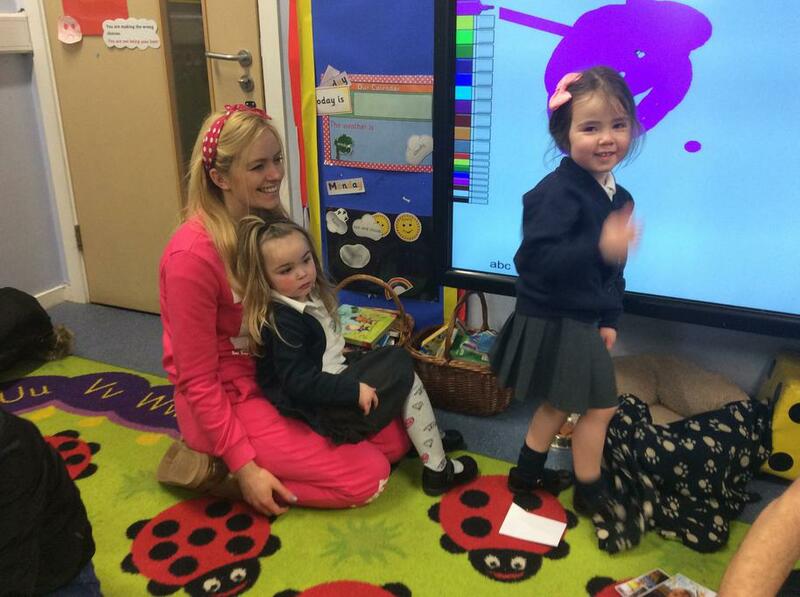 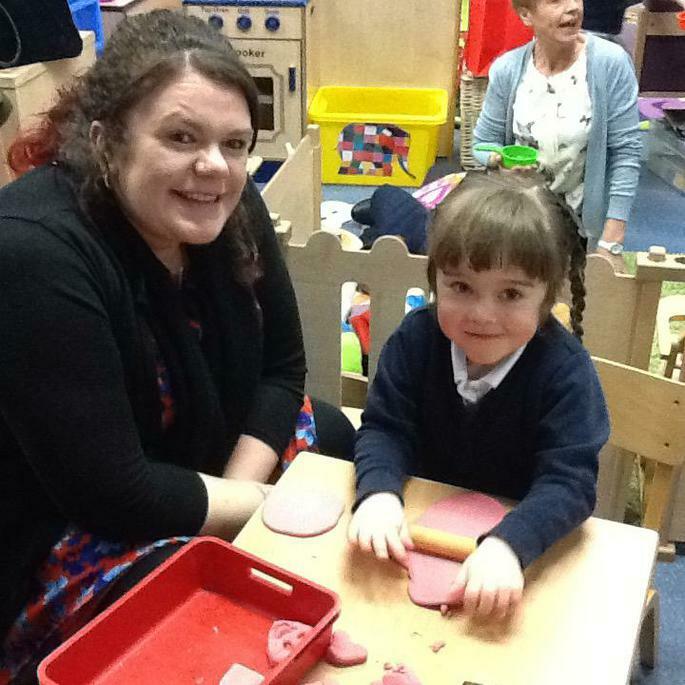 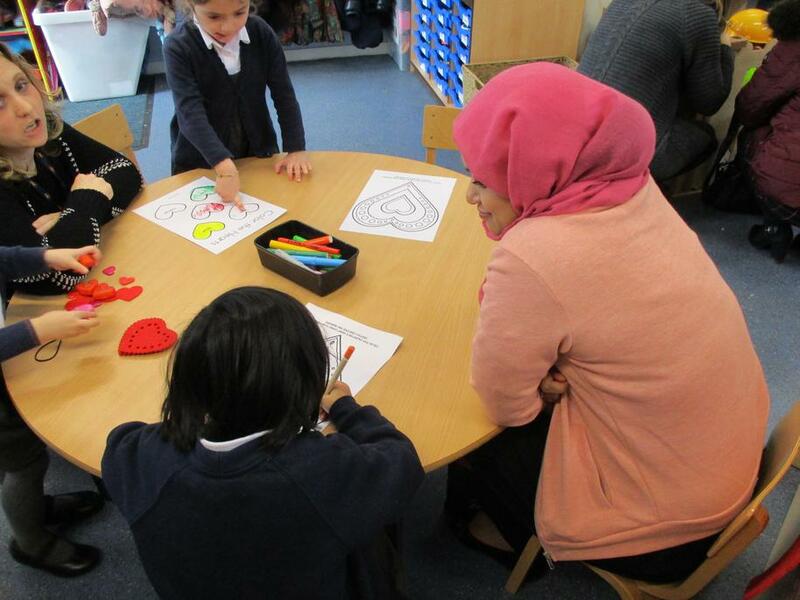 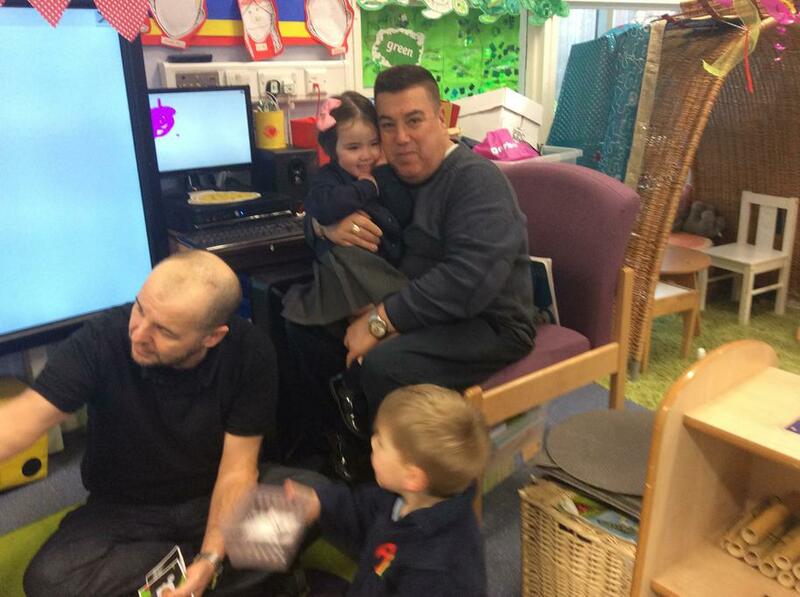 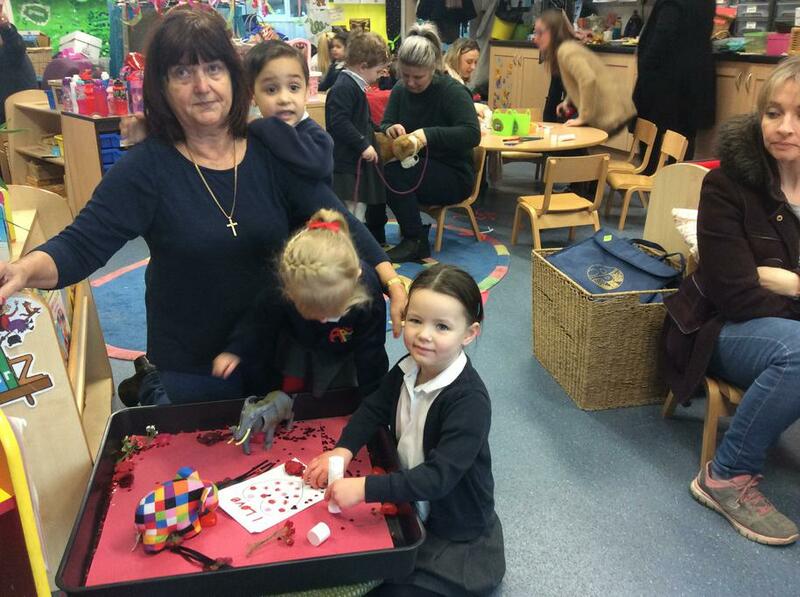 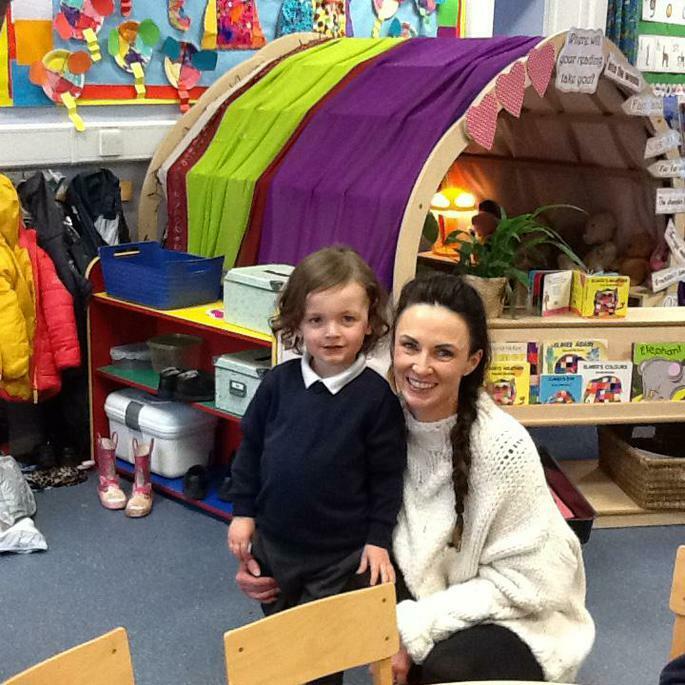 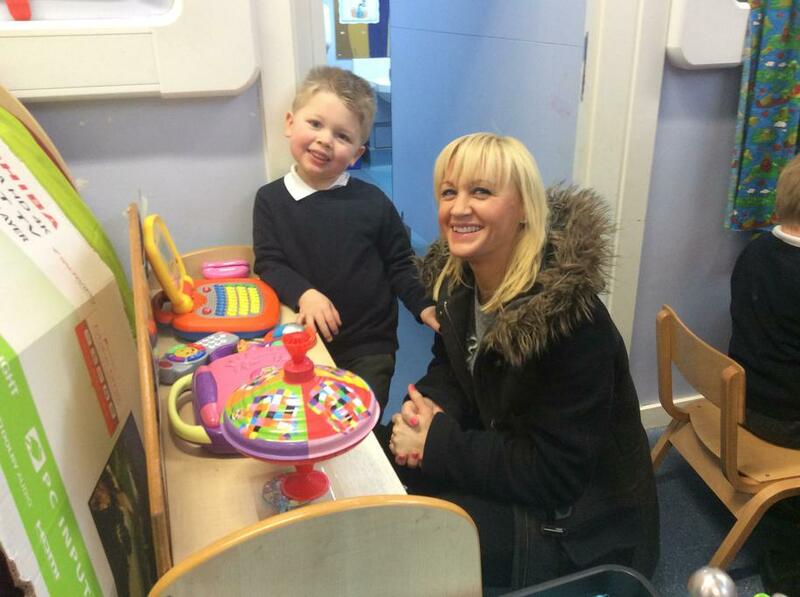 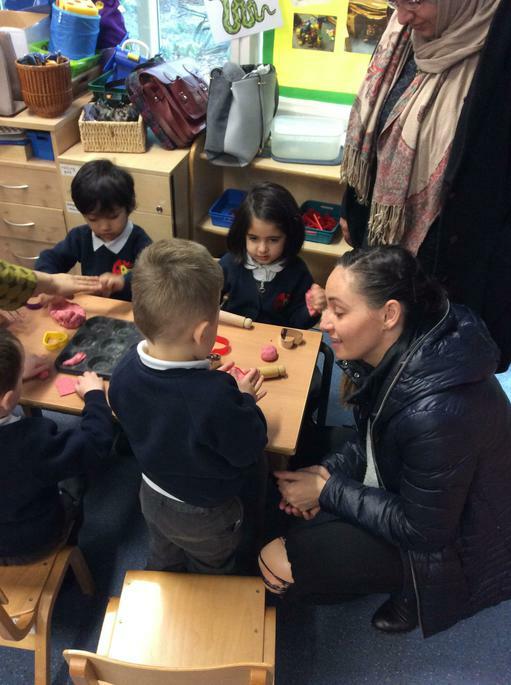 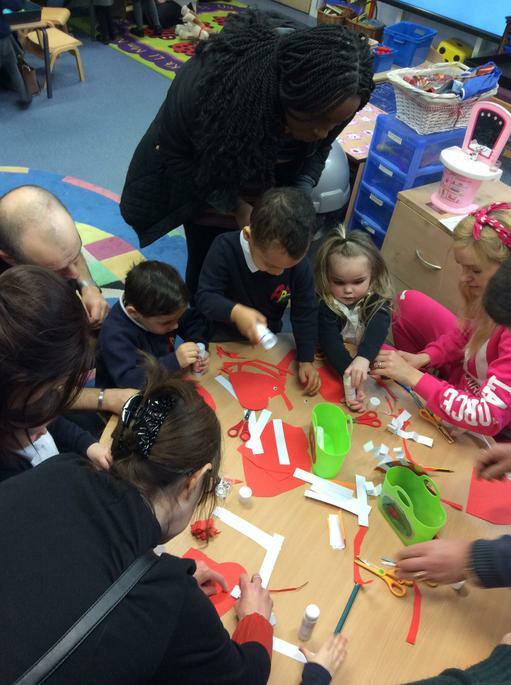 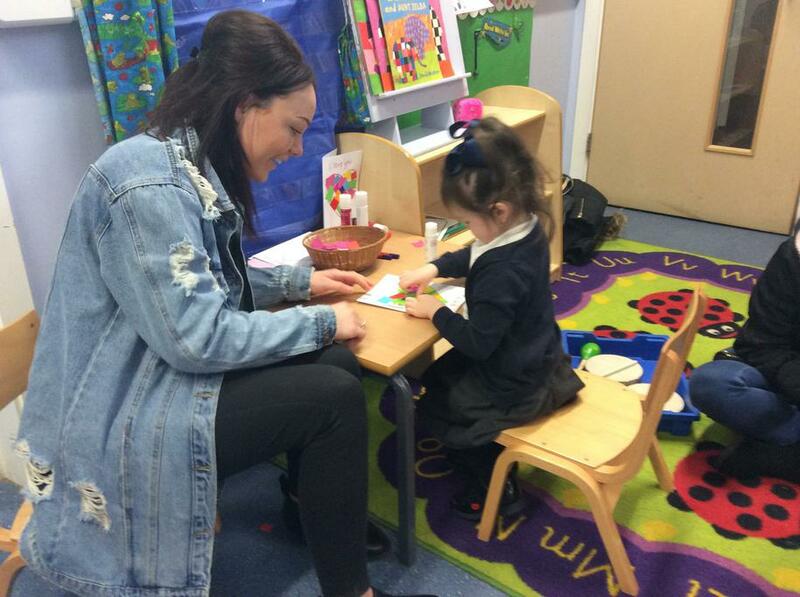 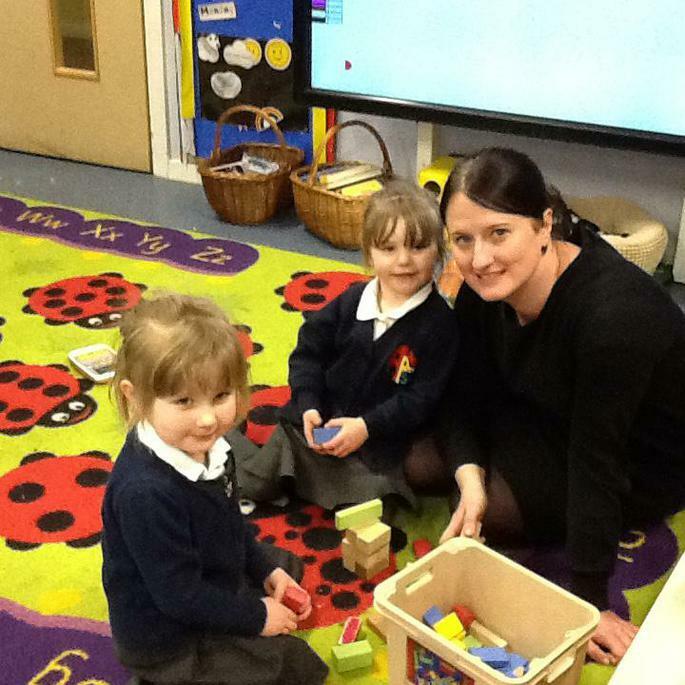 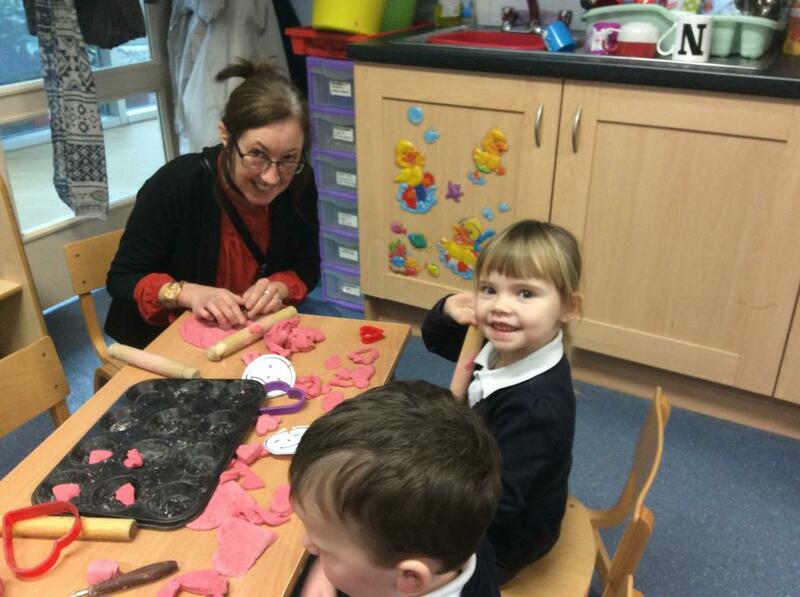 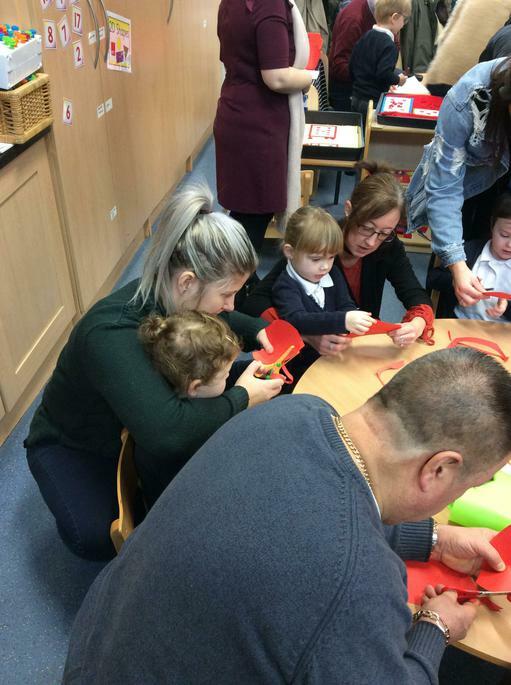 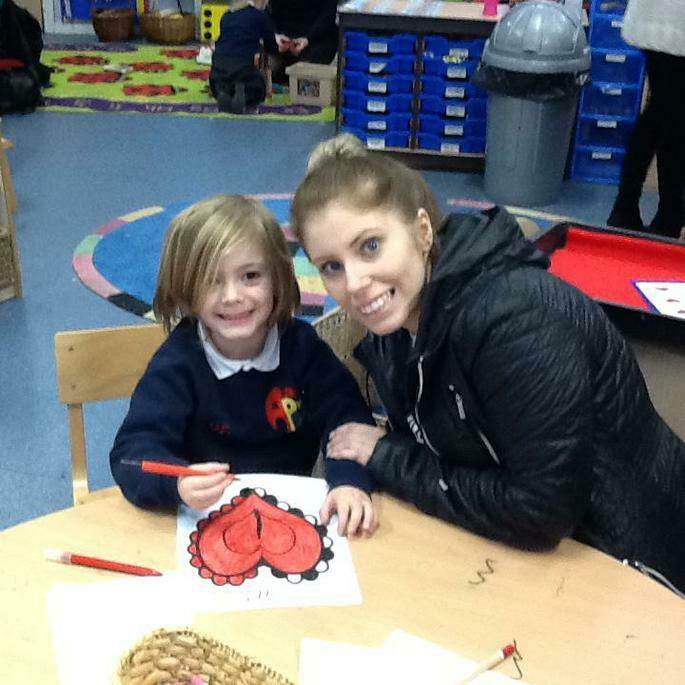 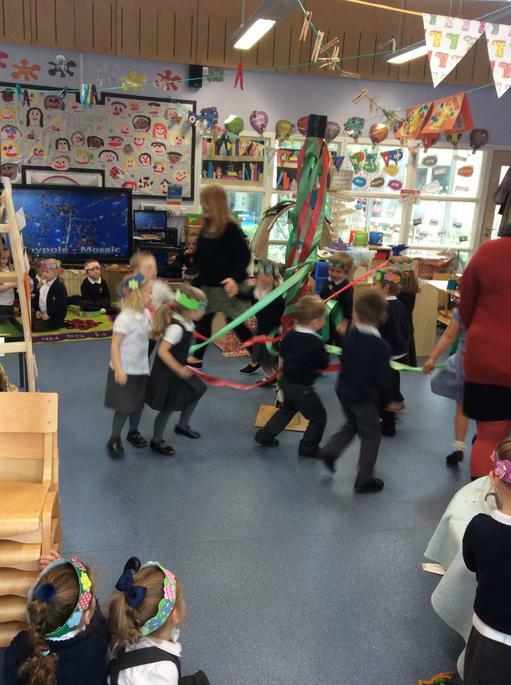 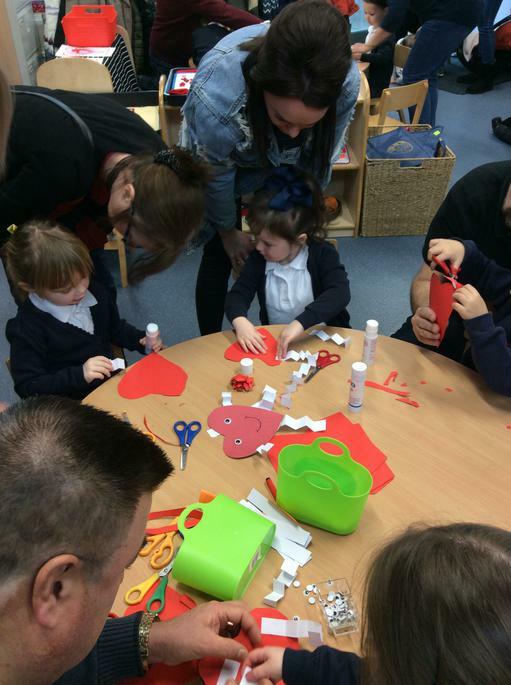 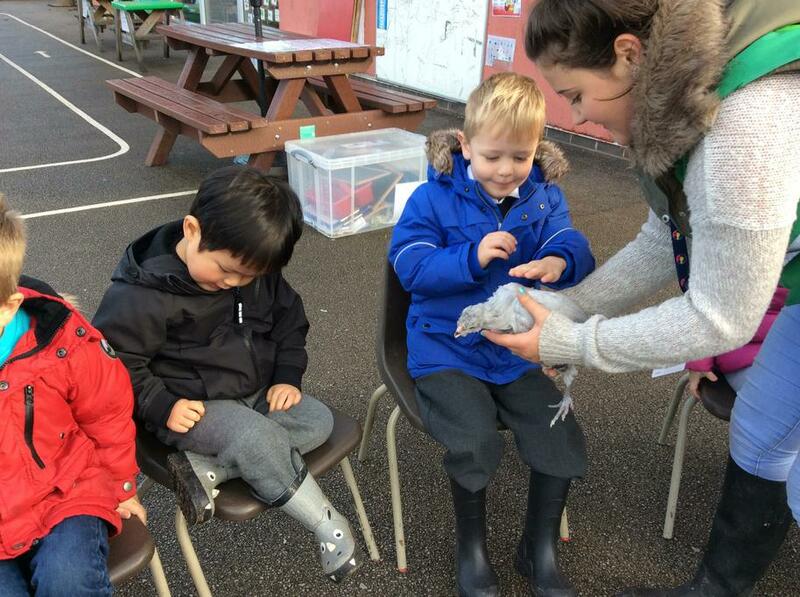 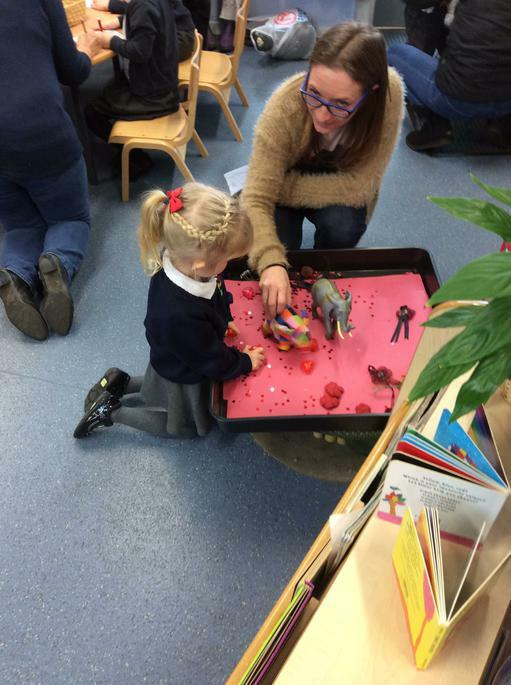 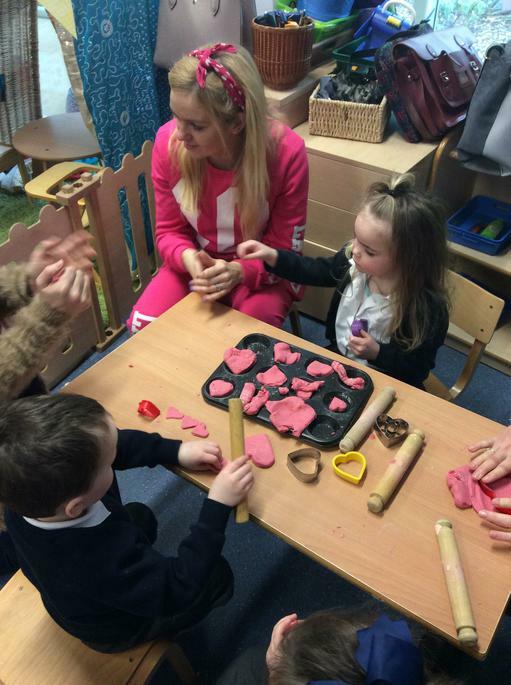 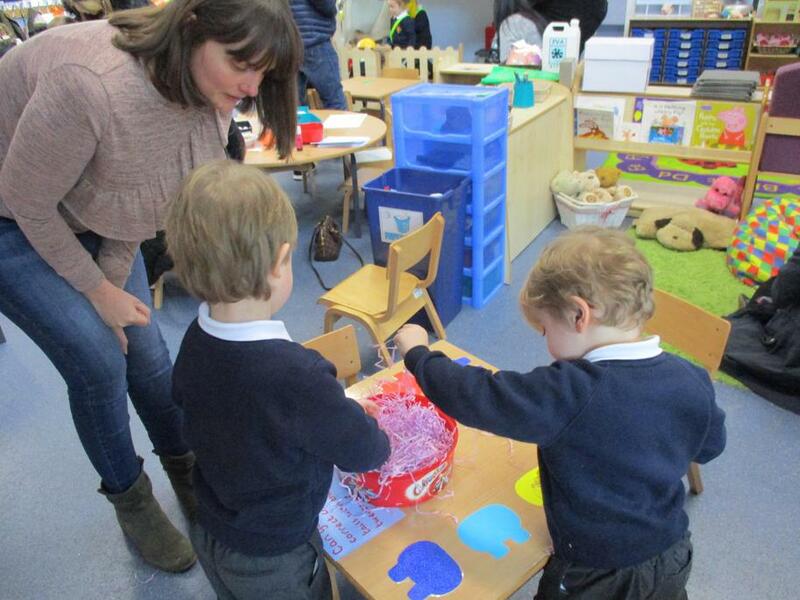 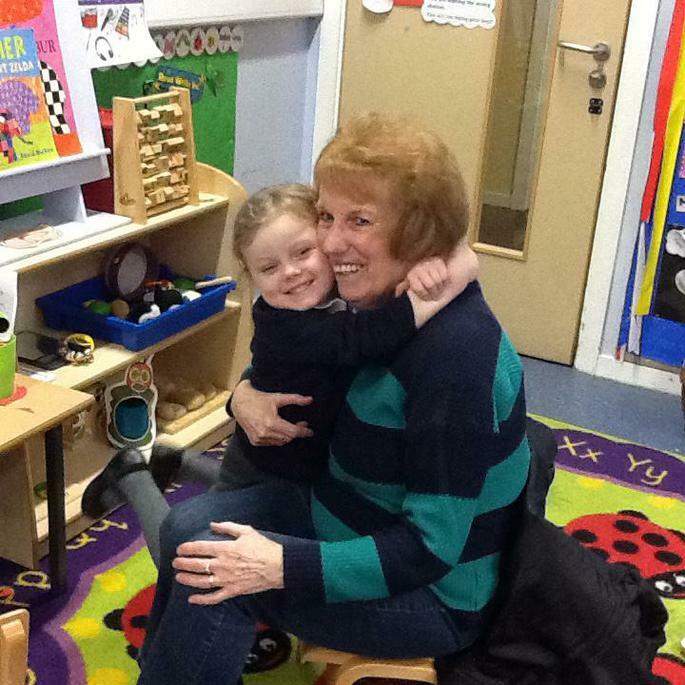 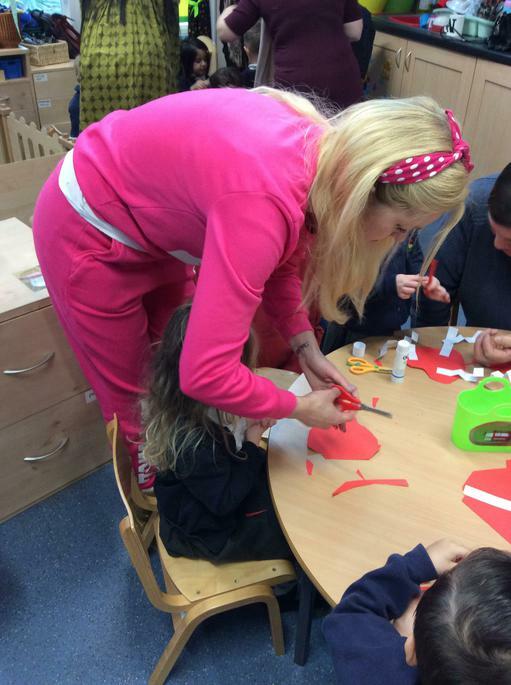 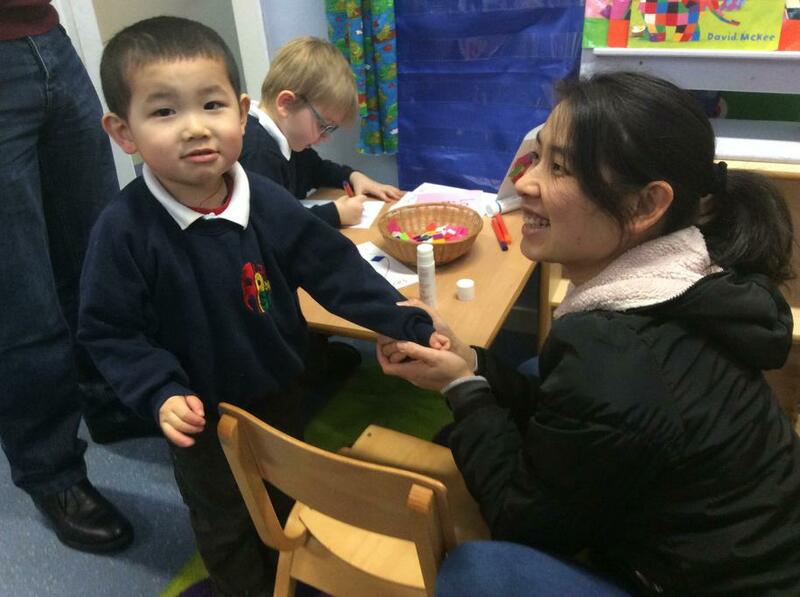 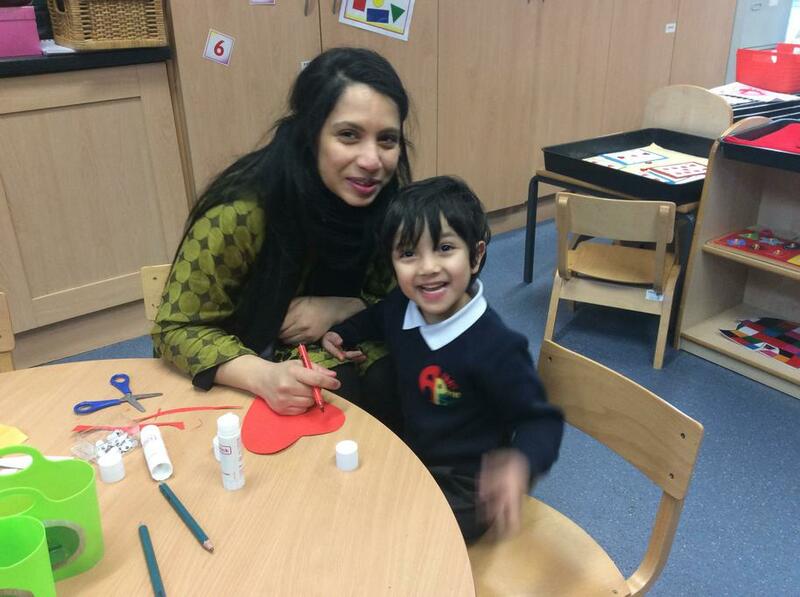 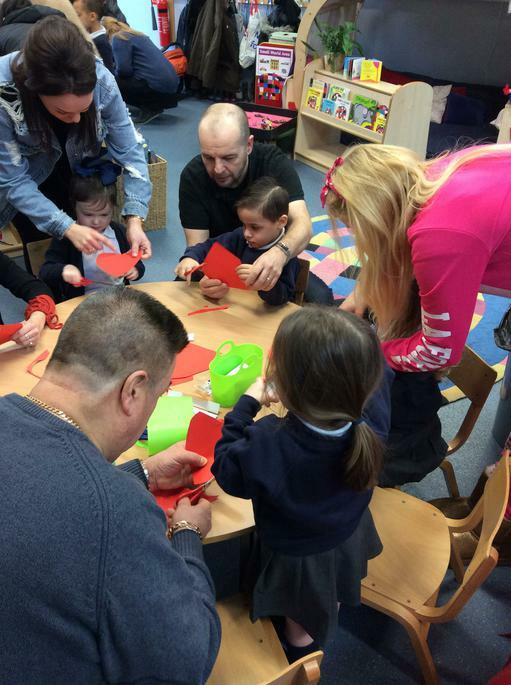 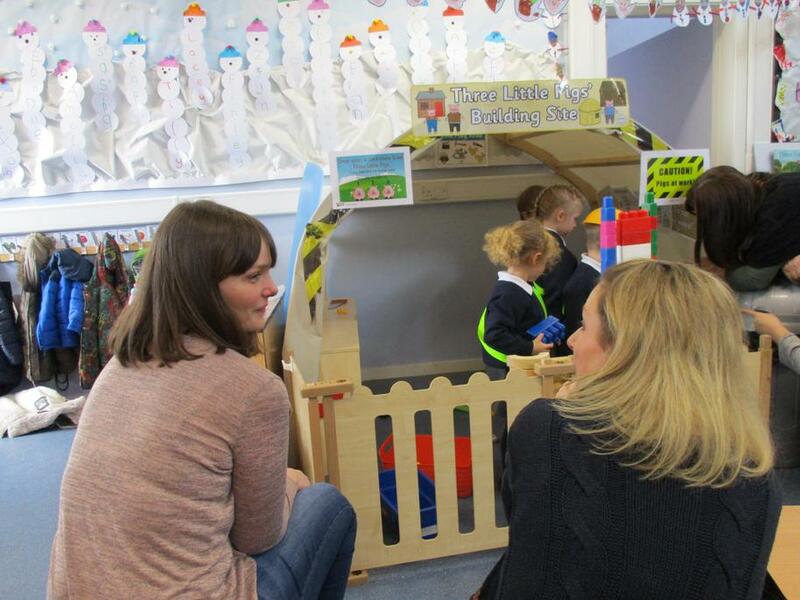 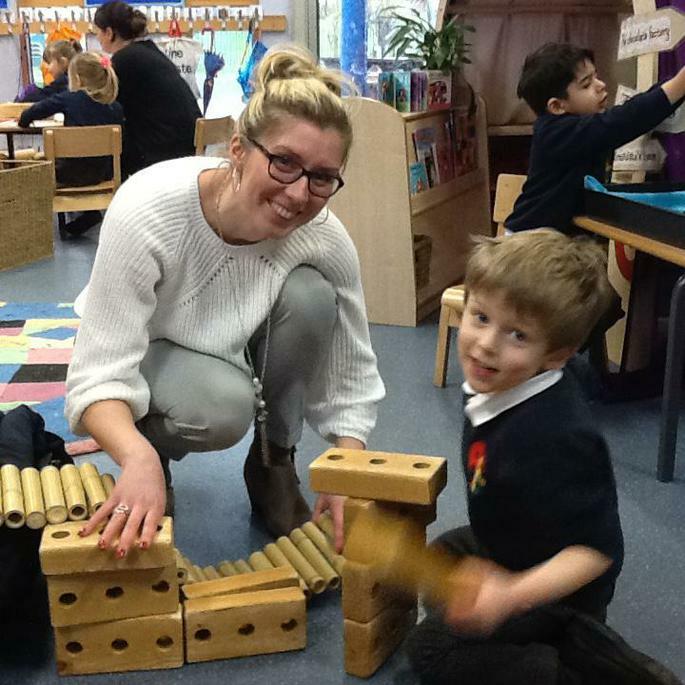 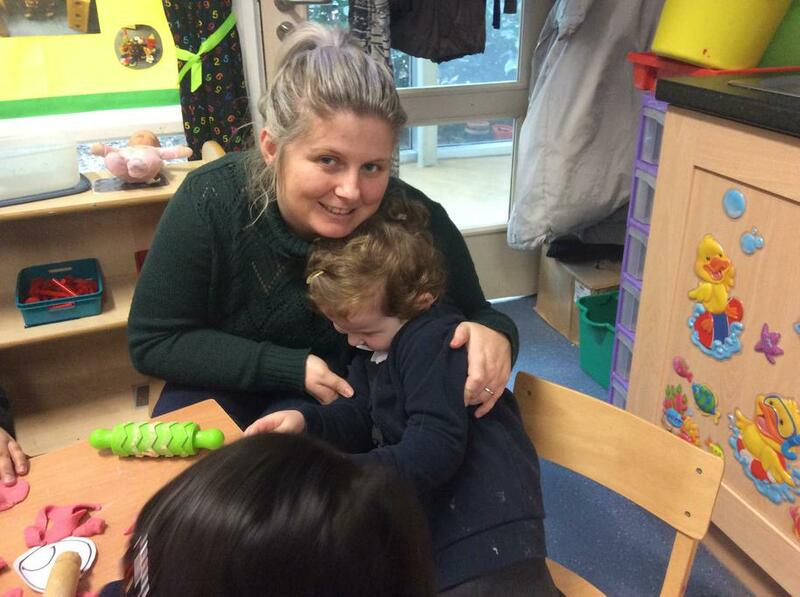 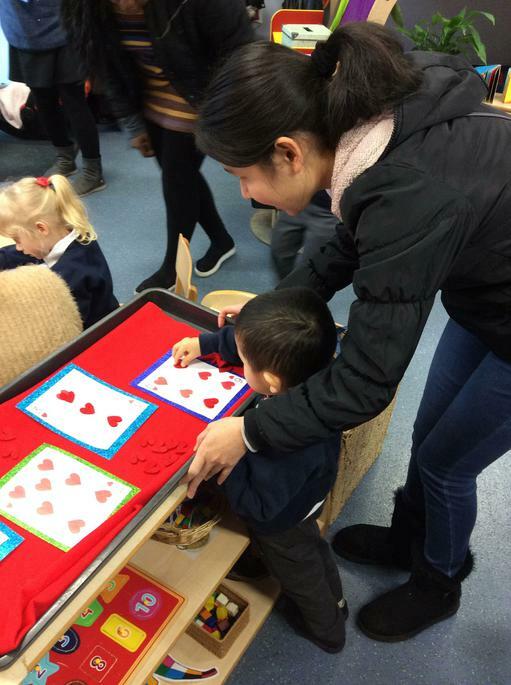 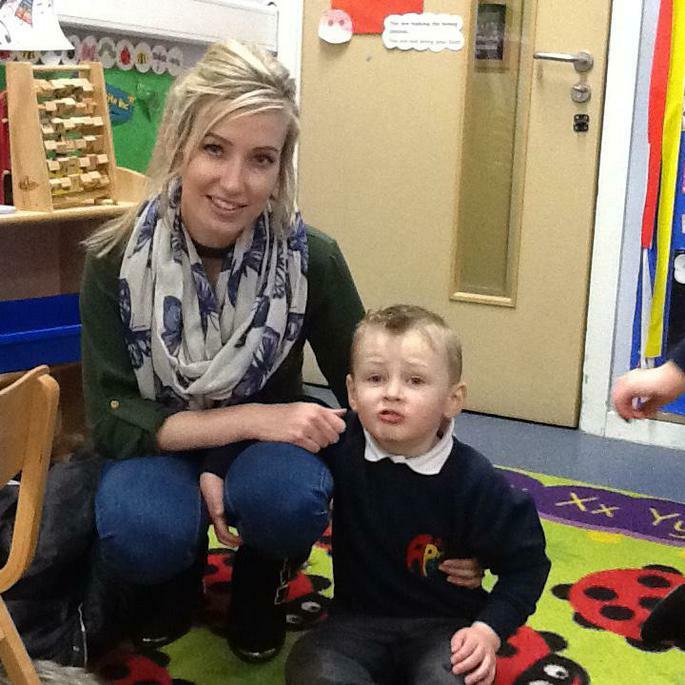 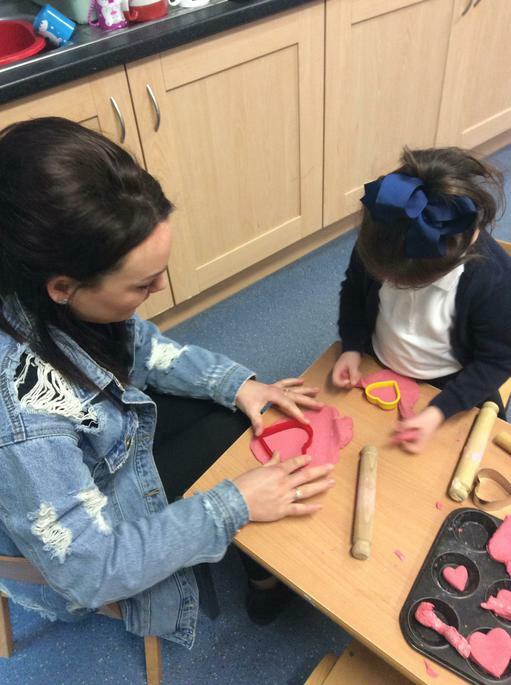 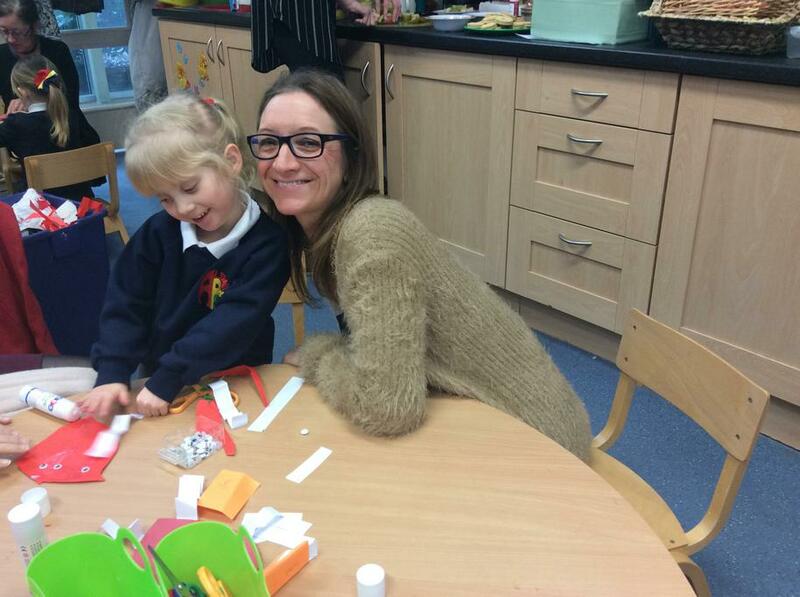 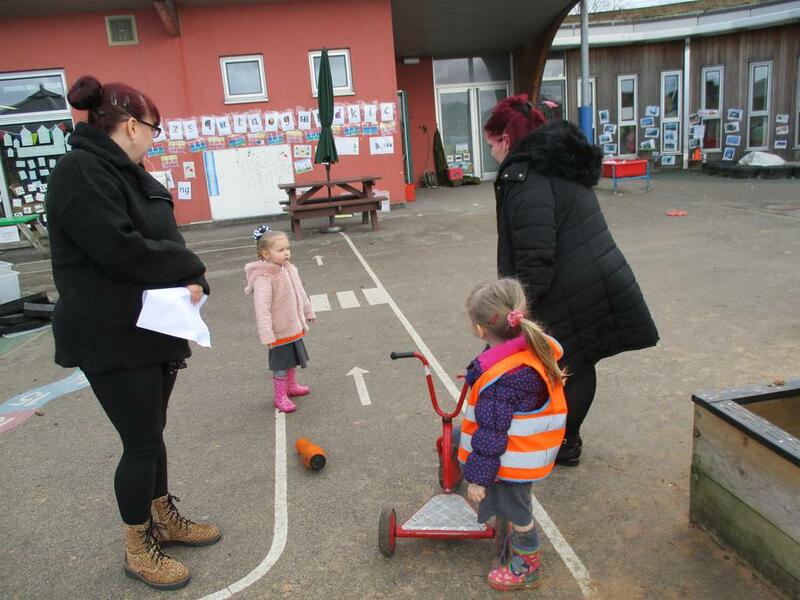 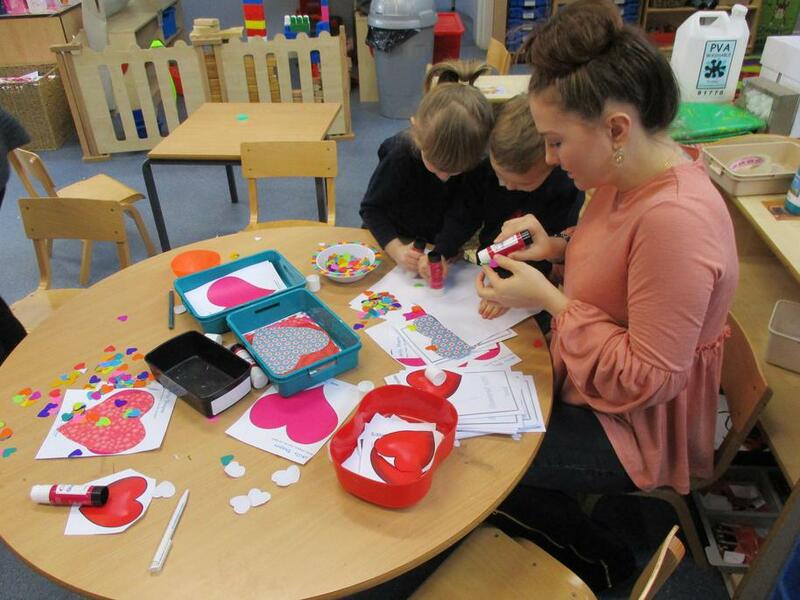 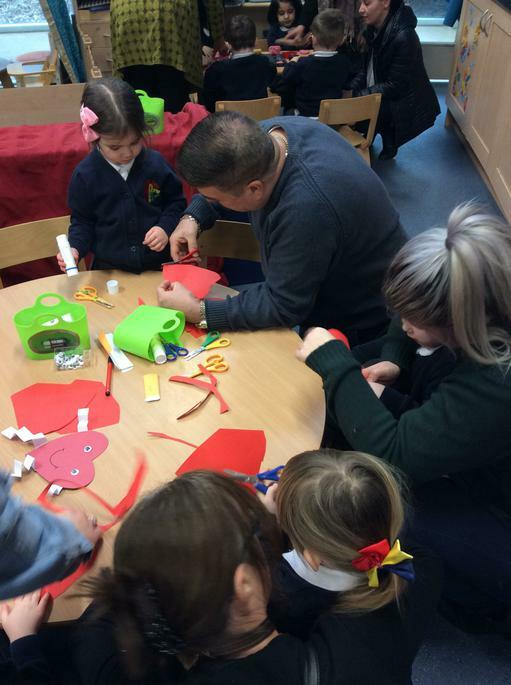 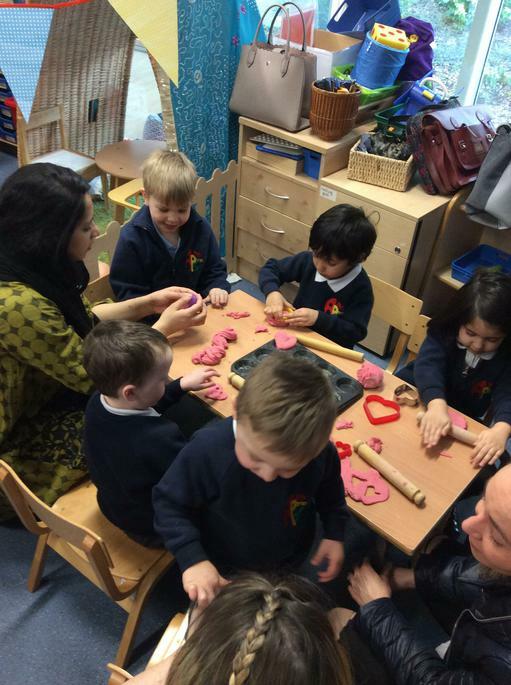 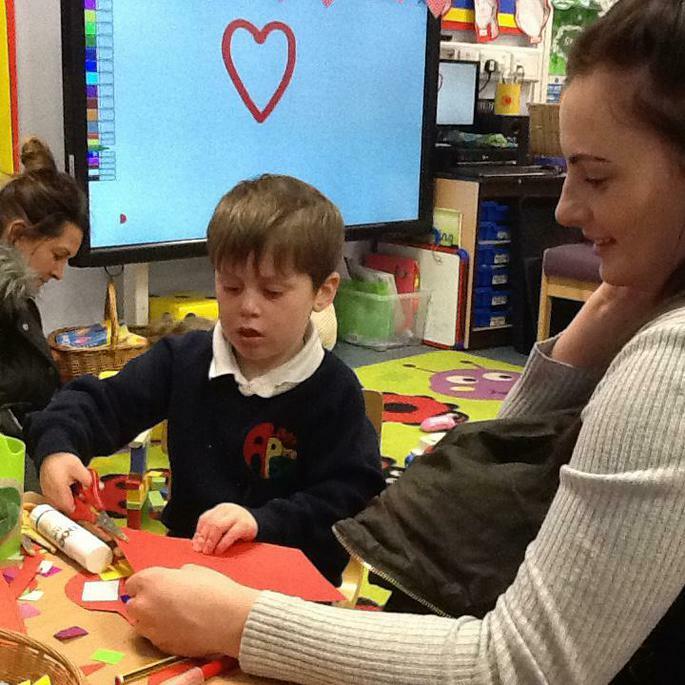 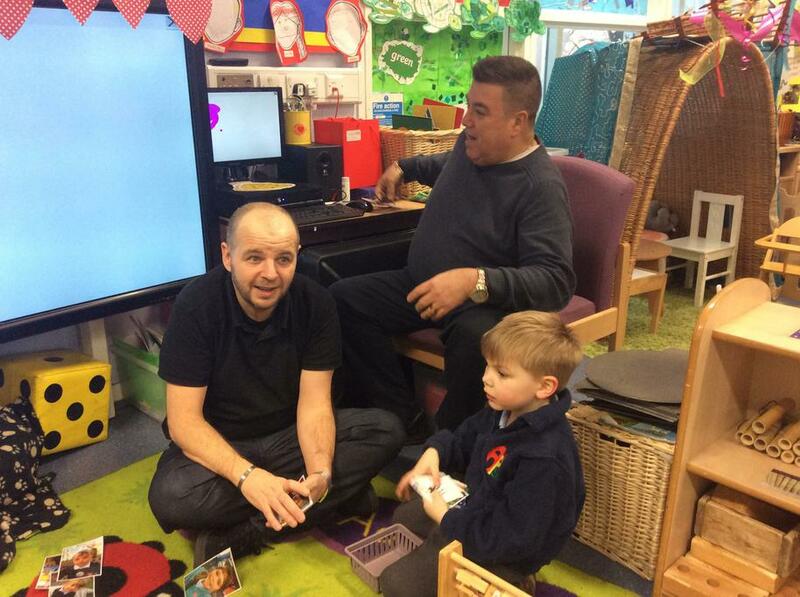 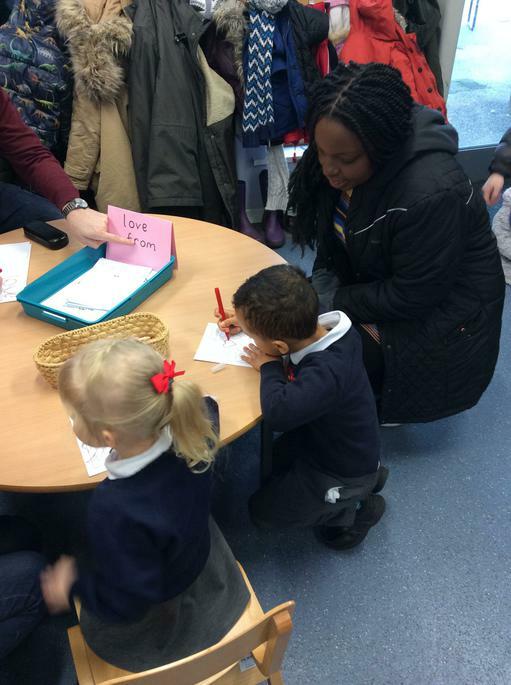 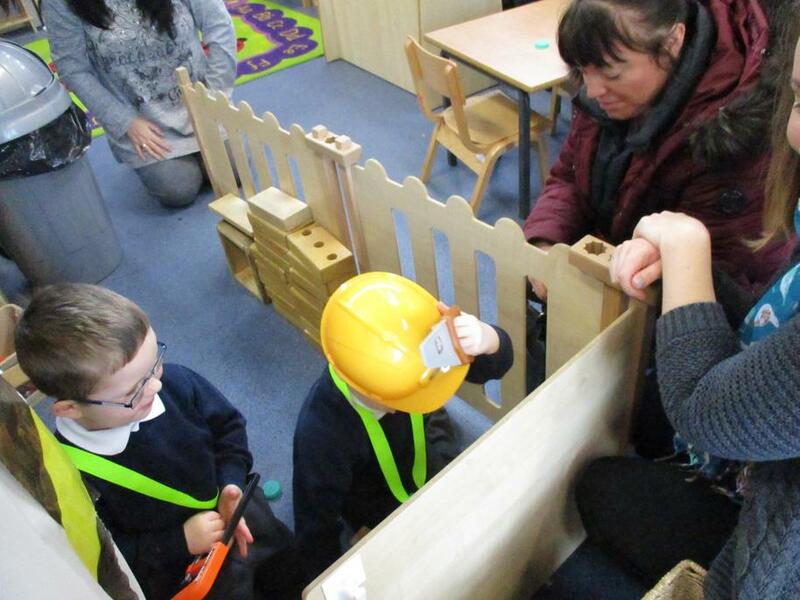 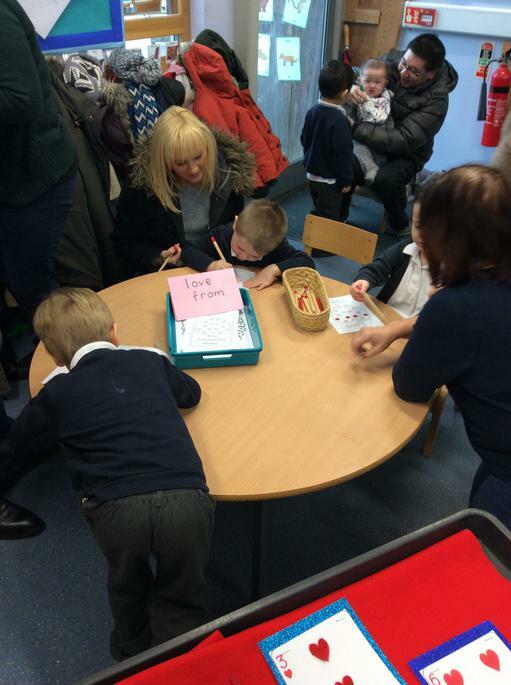 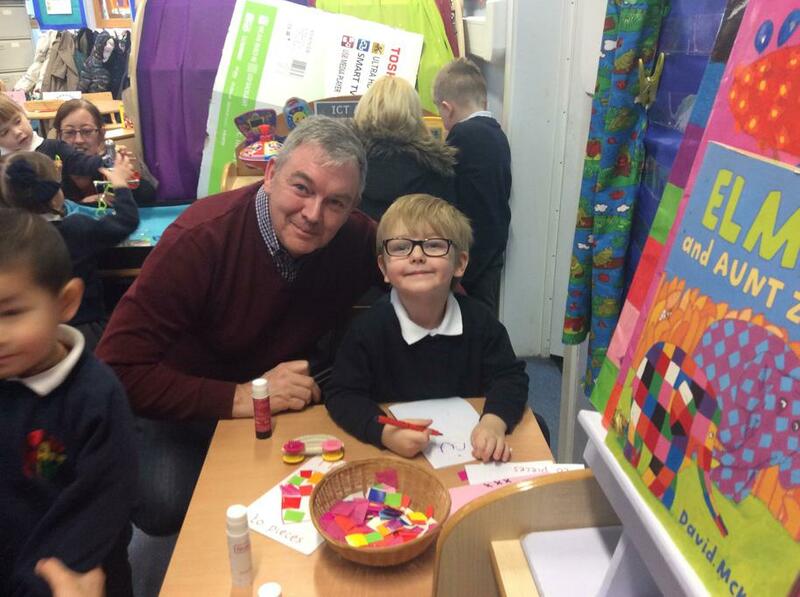 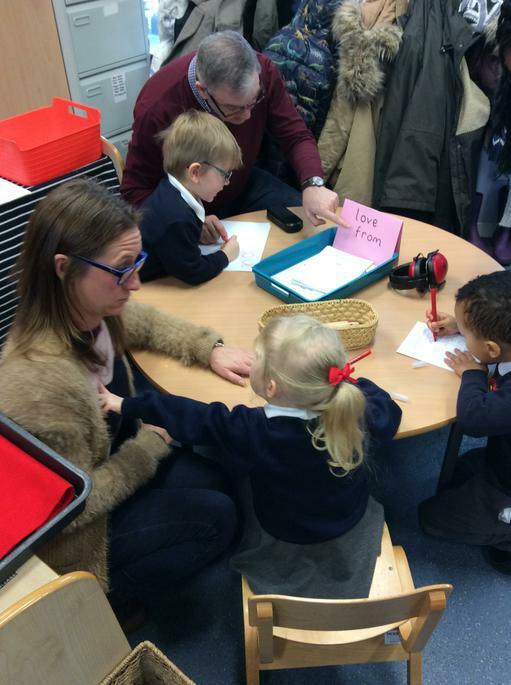 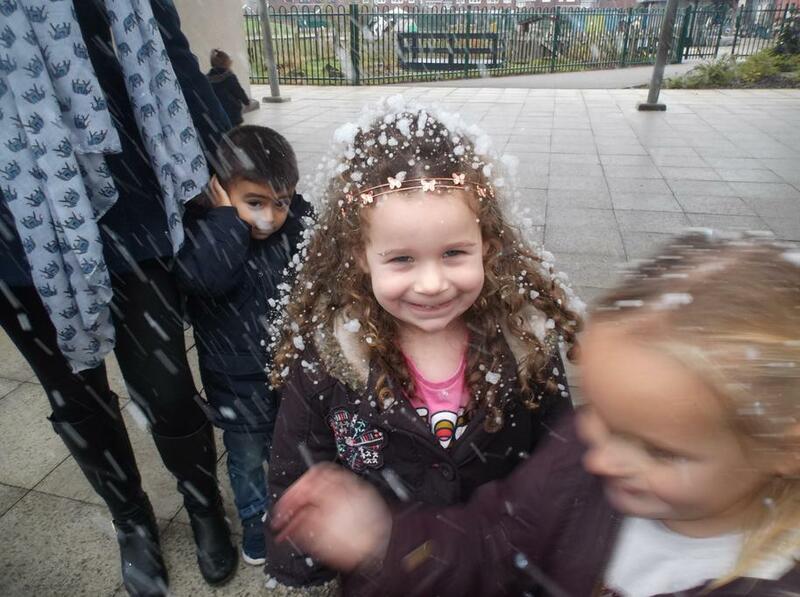 We enjoyed welcoming our parents into nursery for a stay and play session. 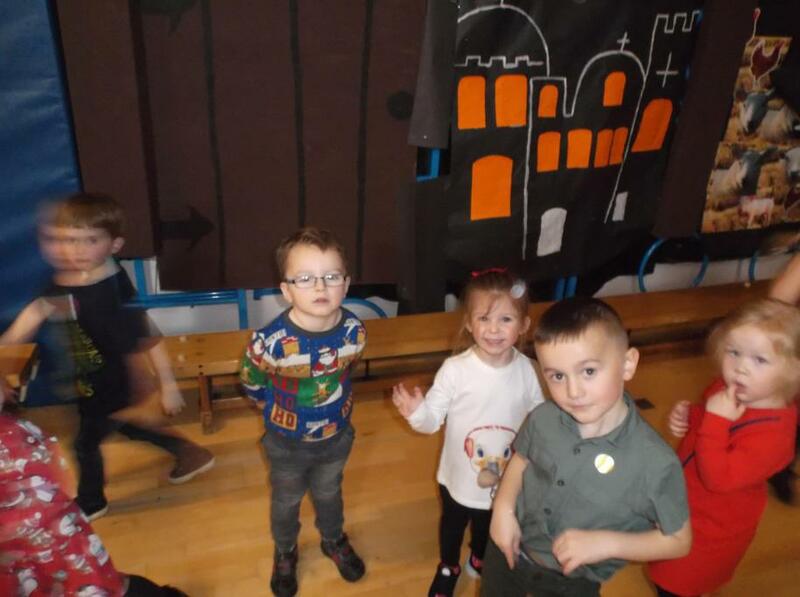 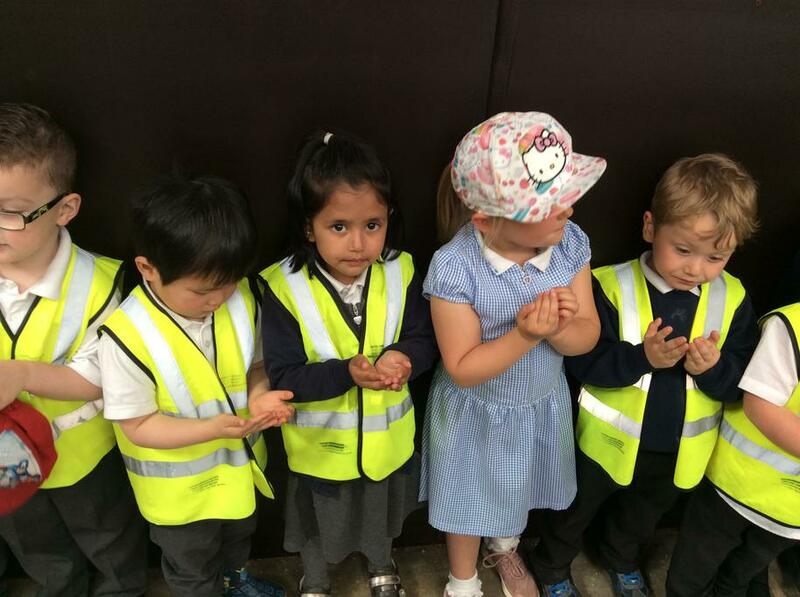 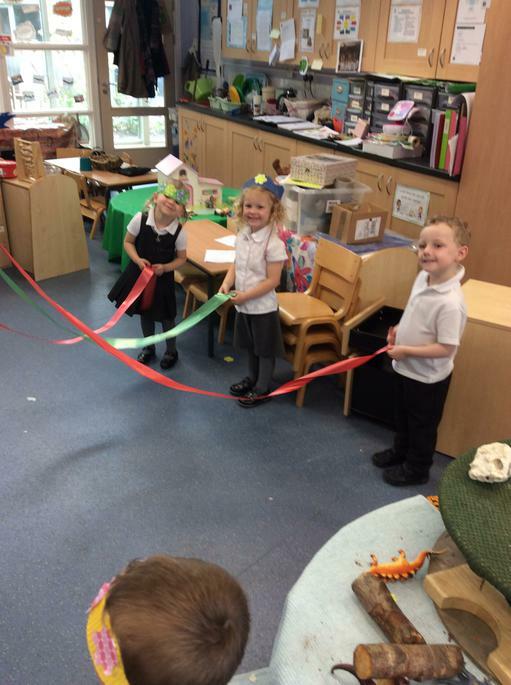 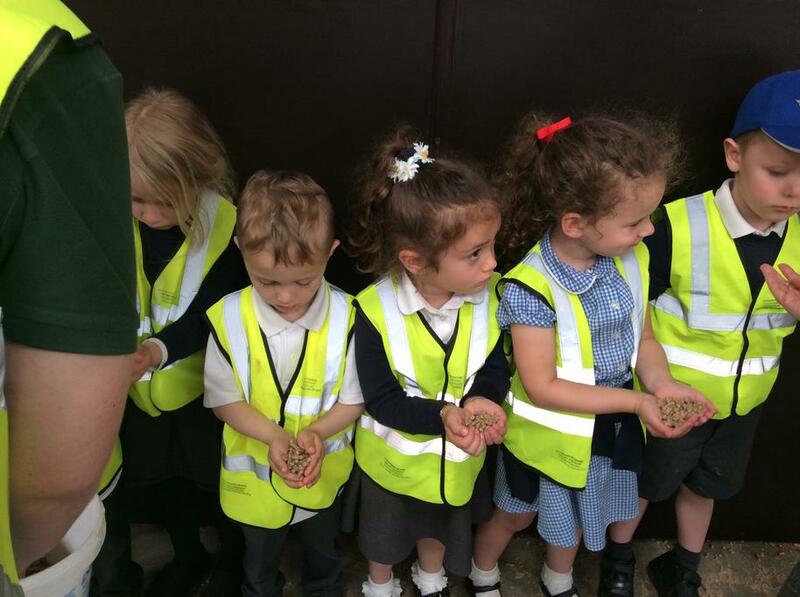 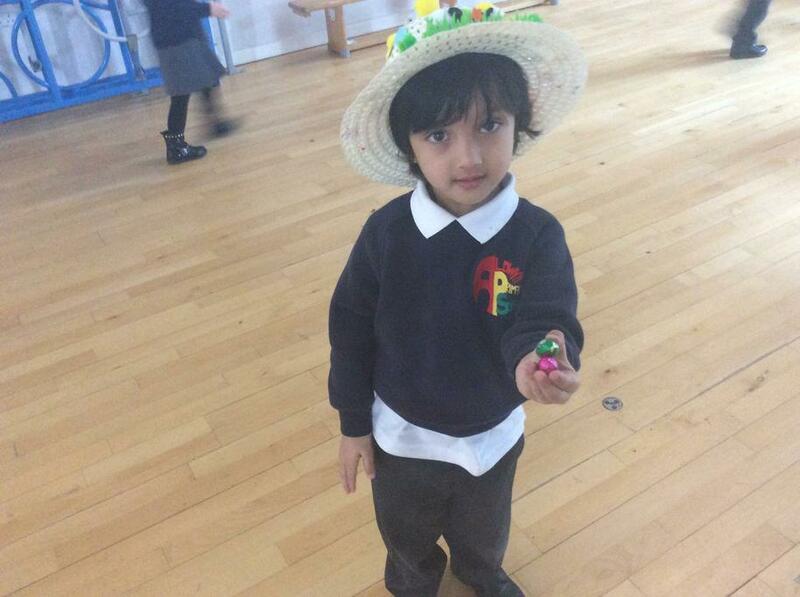 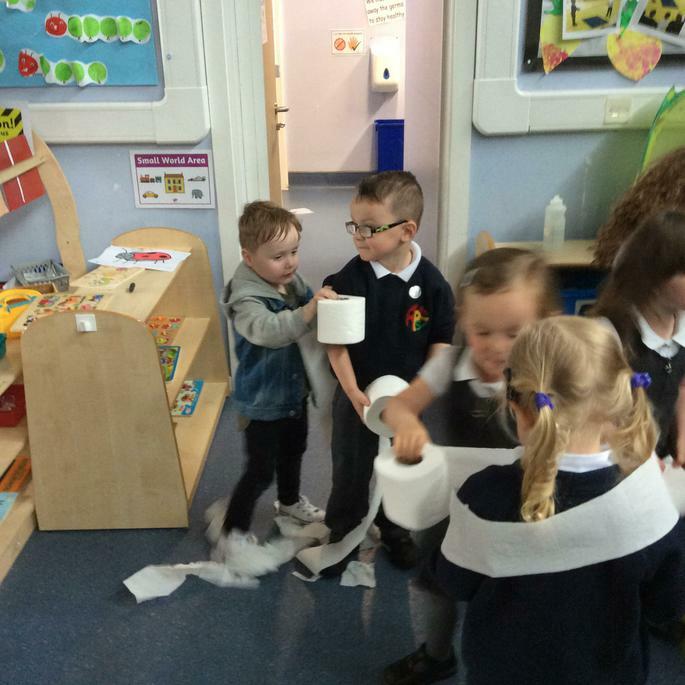 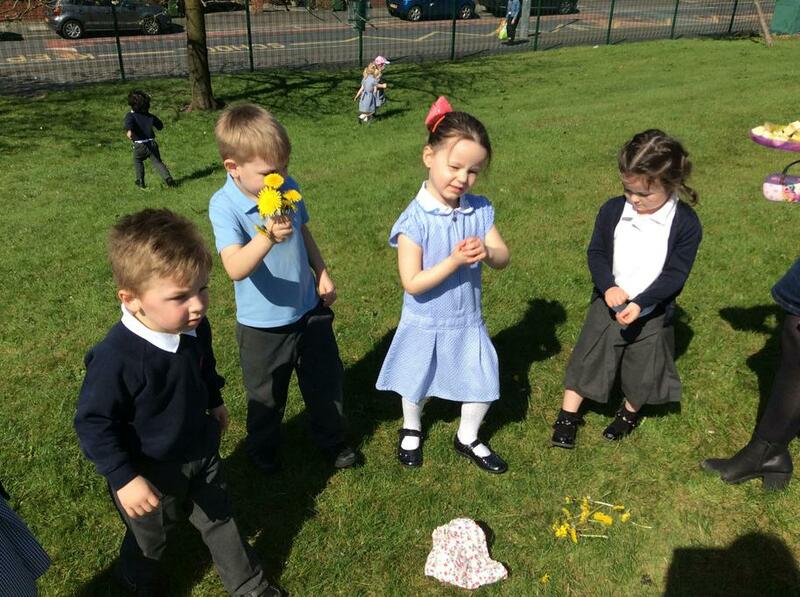 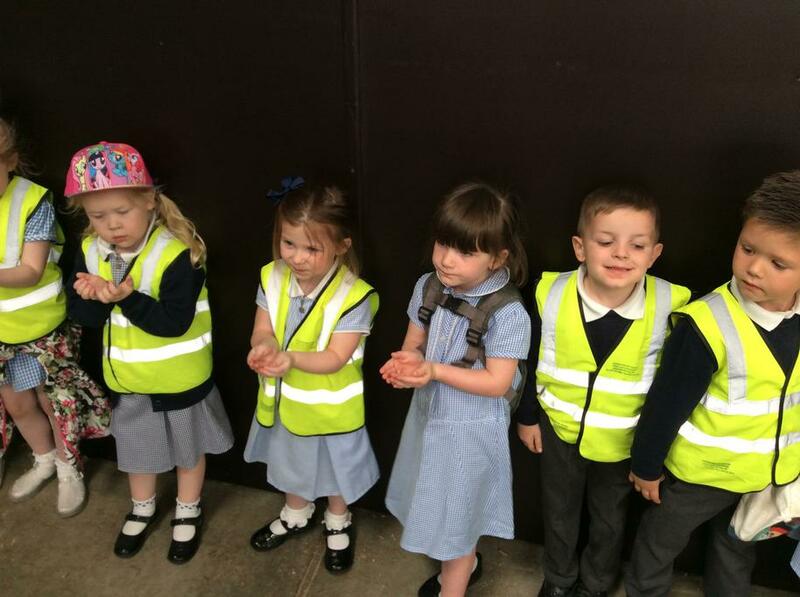 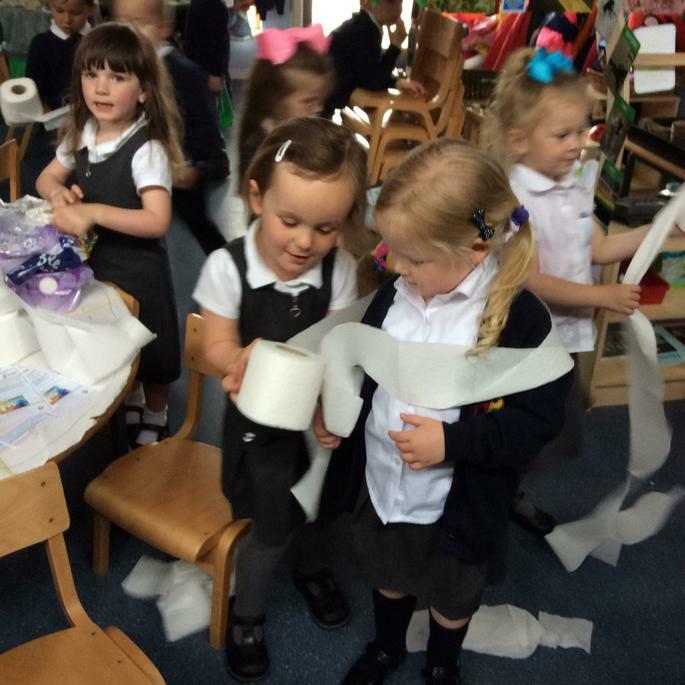 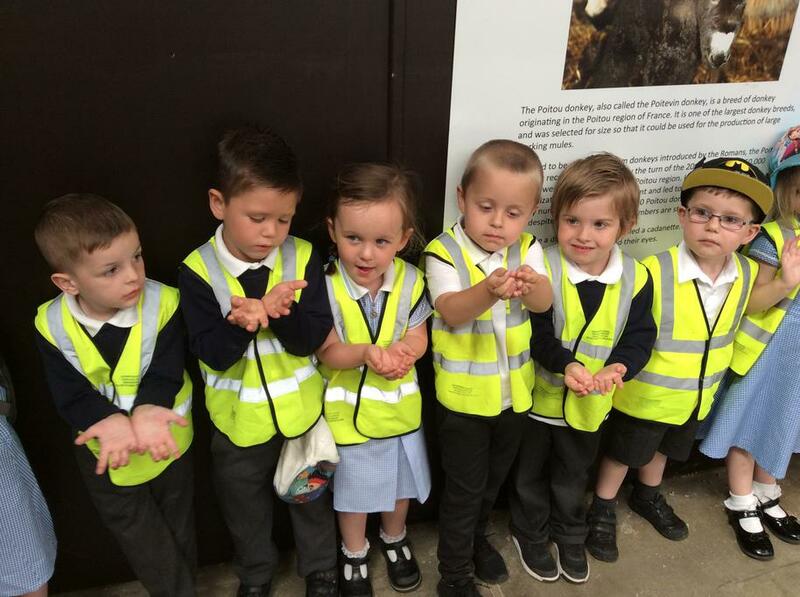 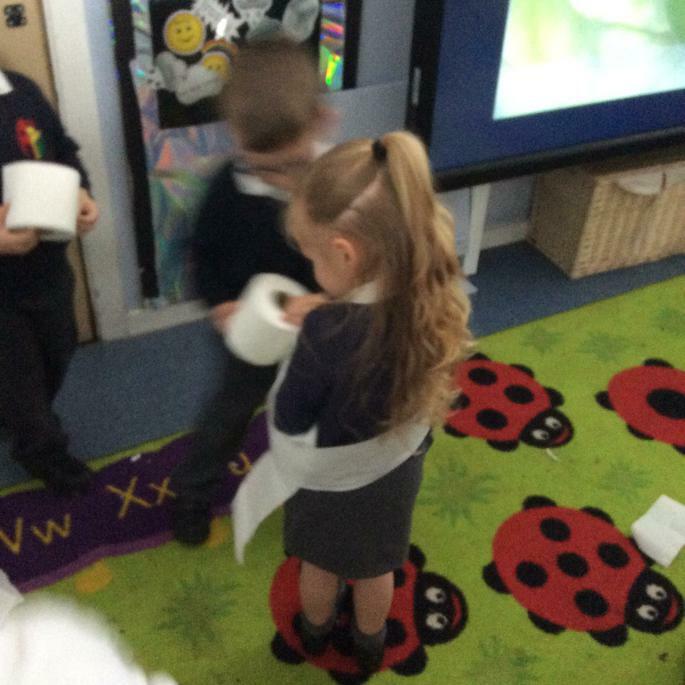 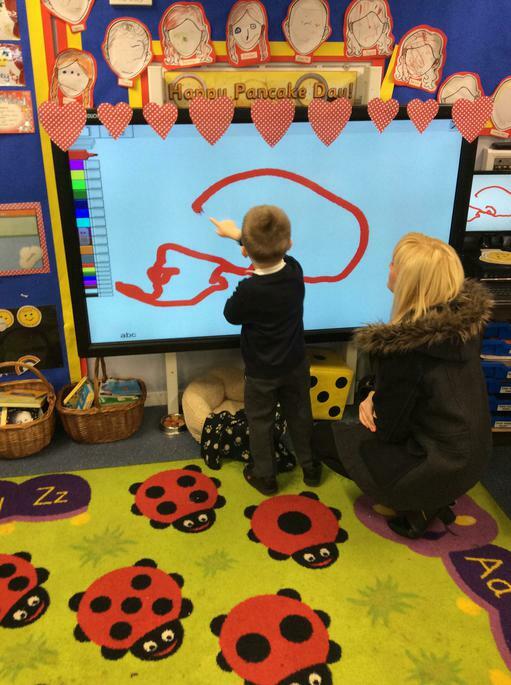 We were able to show them how much we have grown in our learning since starting at nursery. 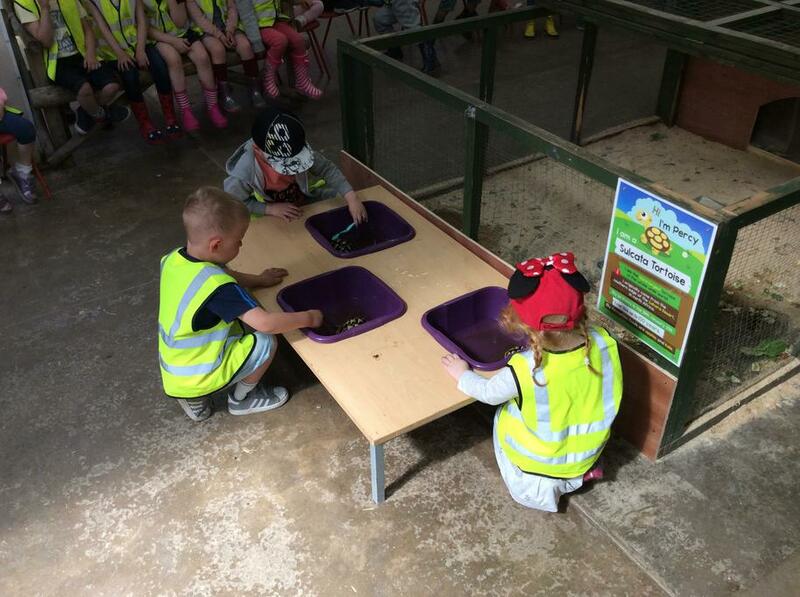 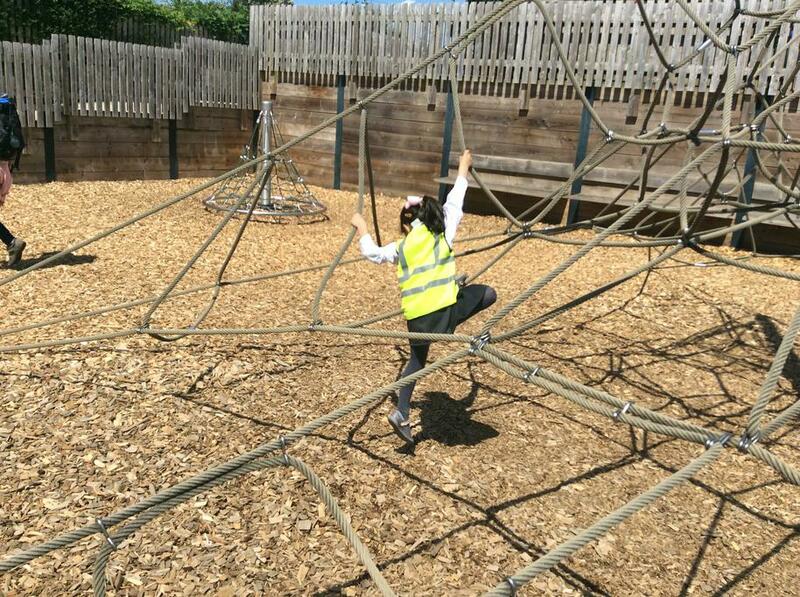 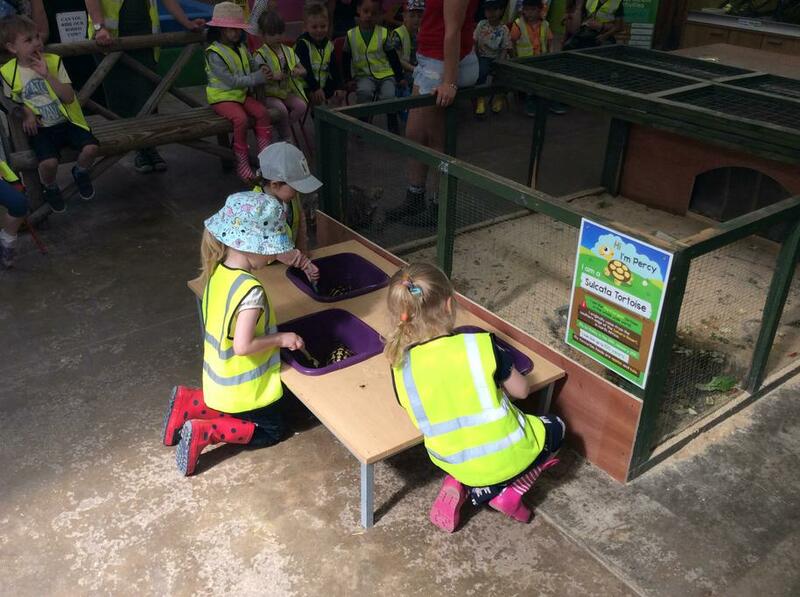 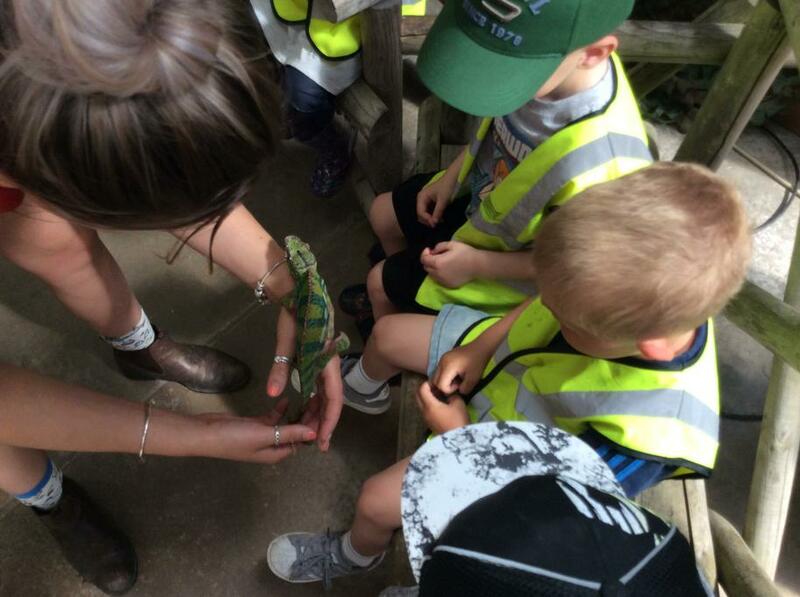 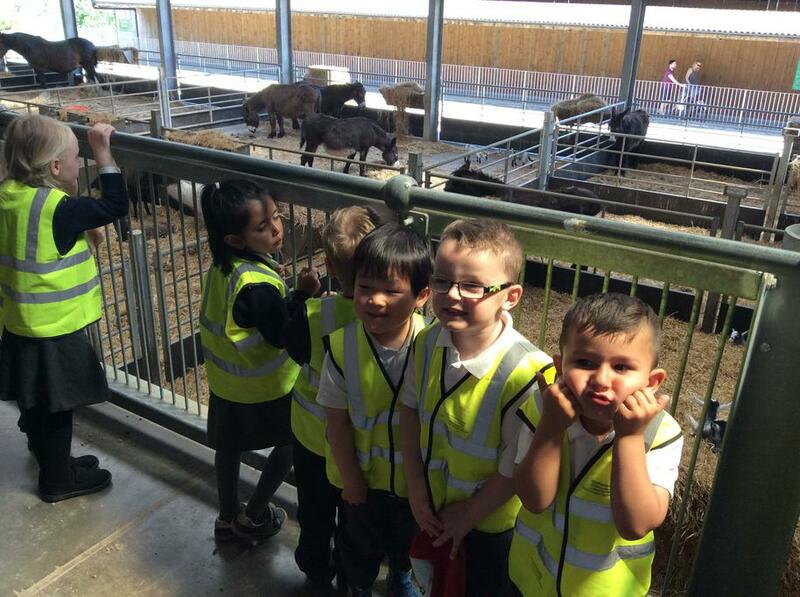 They were impressed with our 'have a go' attitude to learning opportunities in the indoor and outdoor environment. 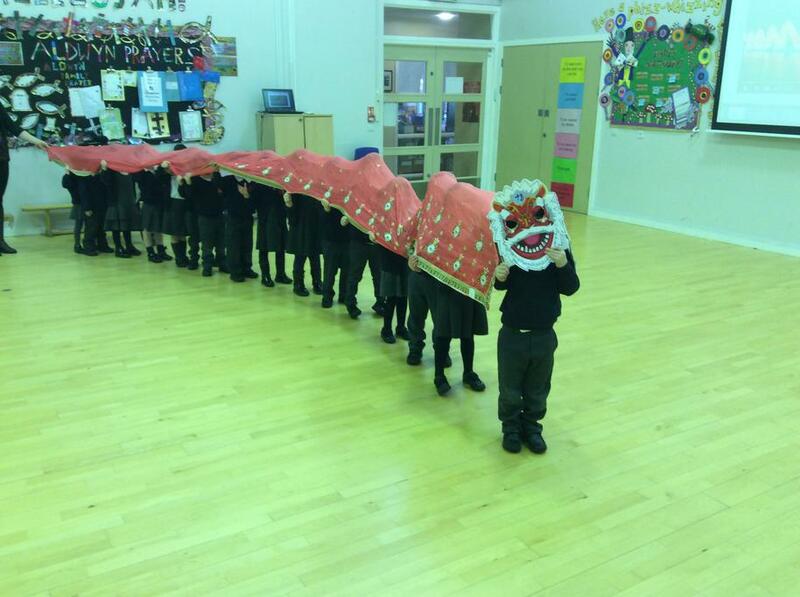 We have enjoyed learning about Chinese New Year. 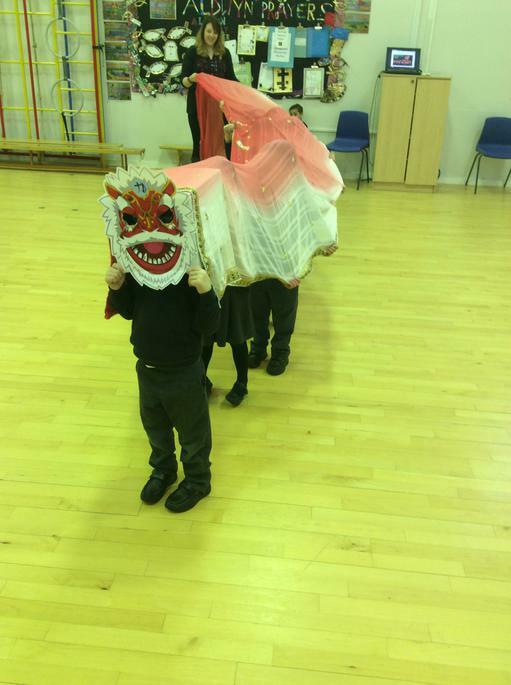 We watched a video showing the dragon dance and then made our own dance and movements to music in the hall. 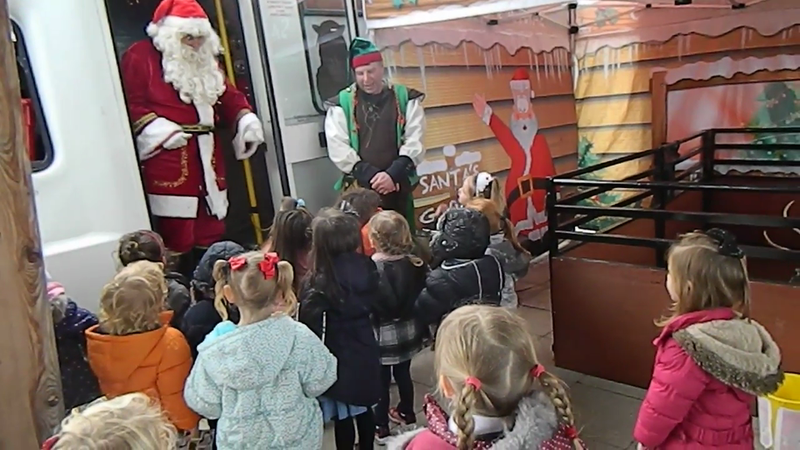 We had a special visit from Santa, his elf and Jolly the reindeer. 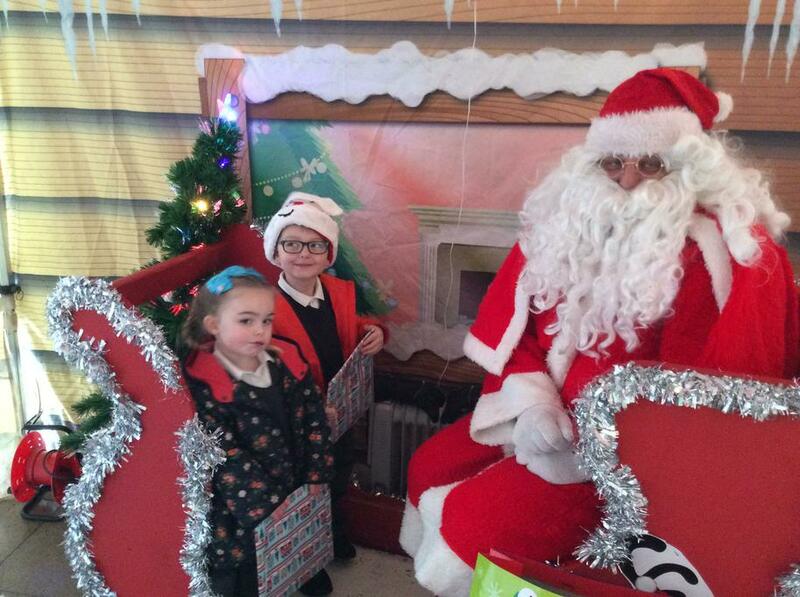 The boys and girls told Santa what they wanted for Christmas. 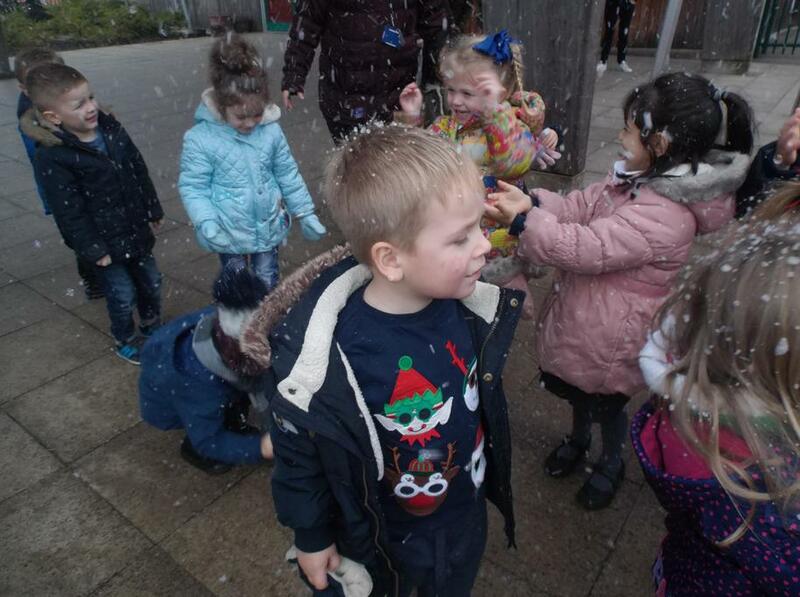 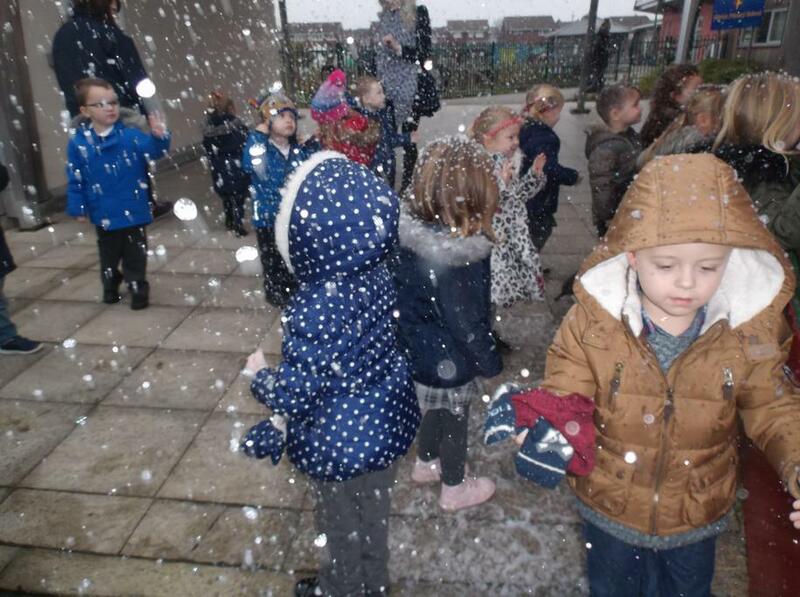 We loved the snow machine! 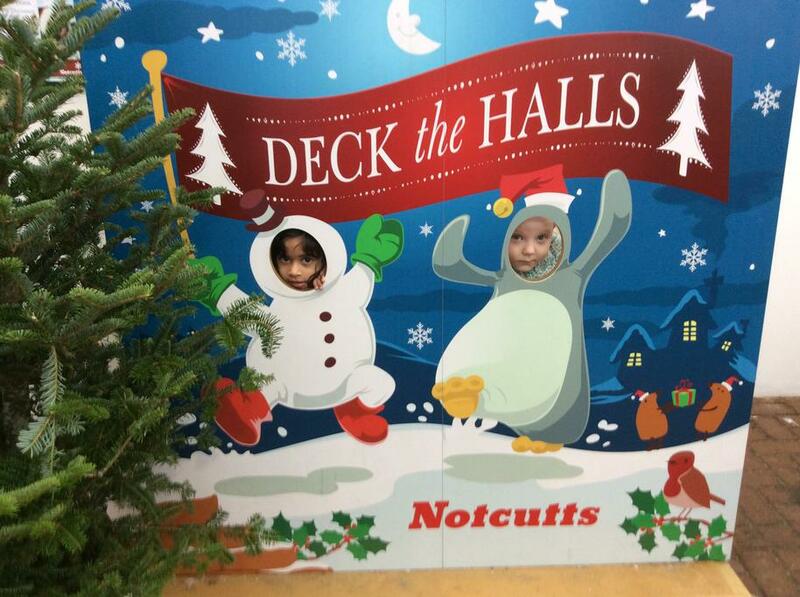 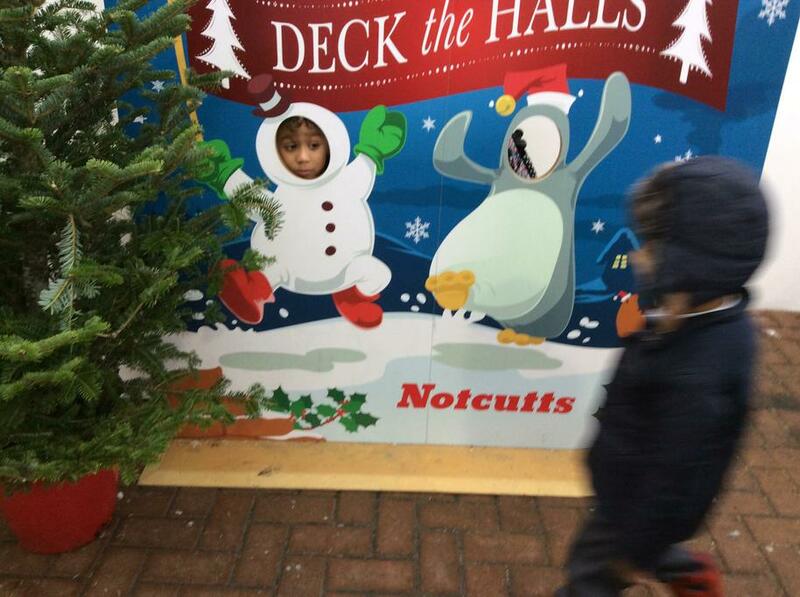 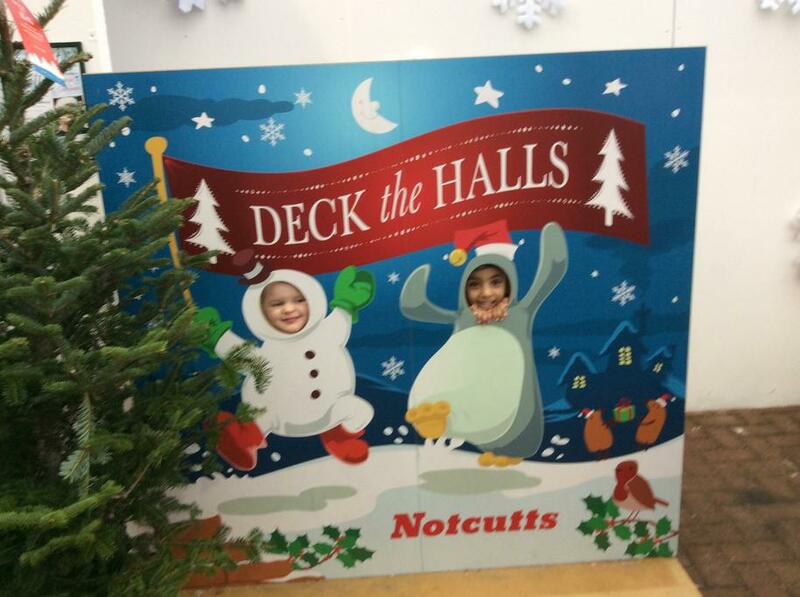 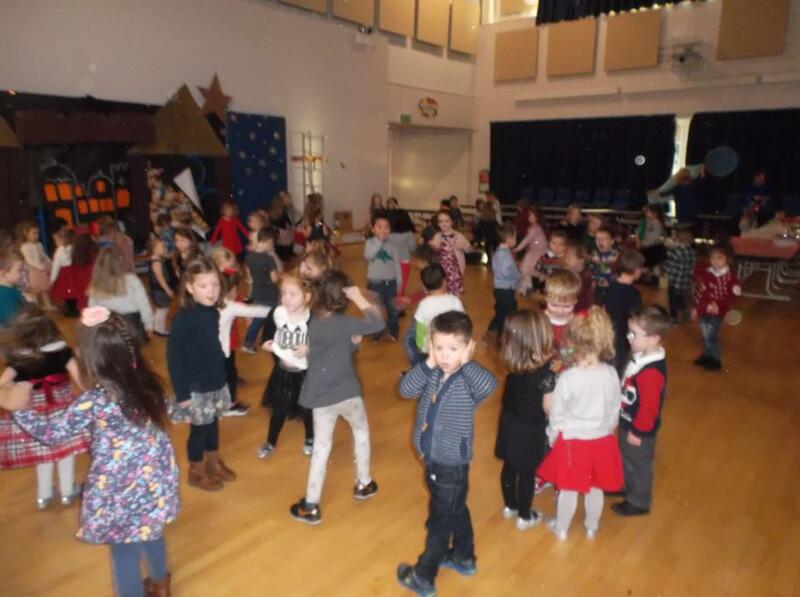 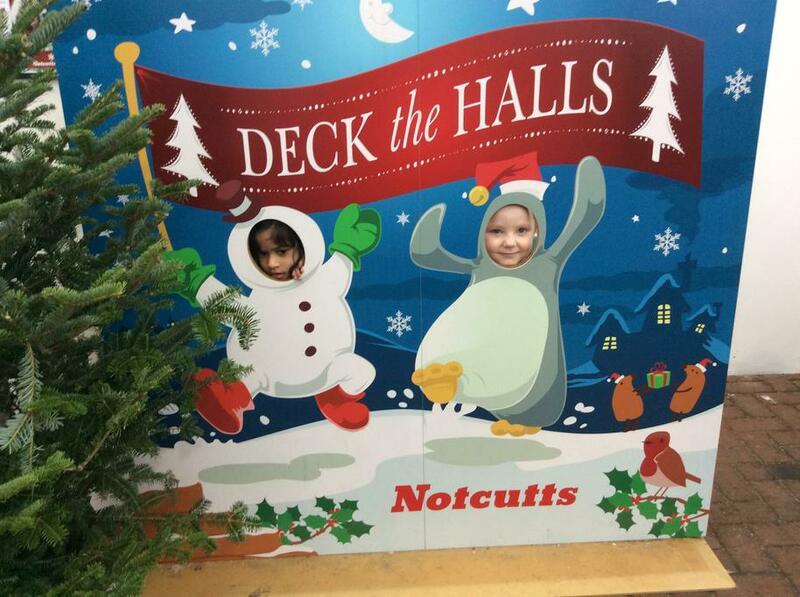 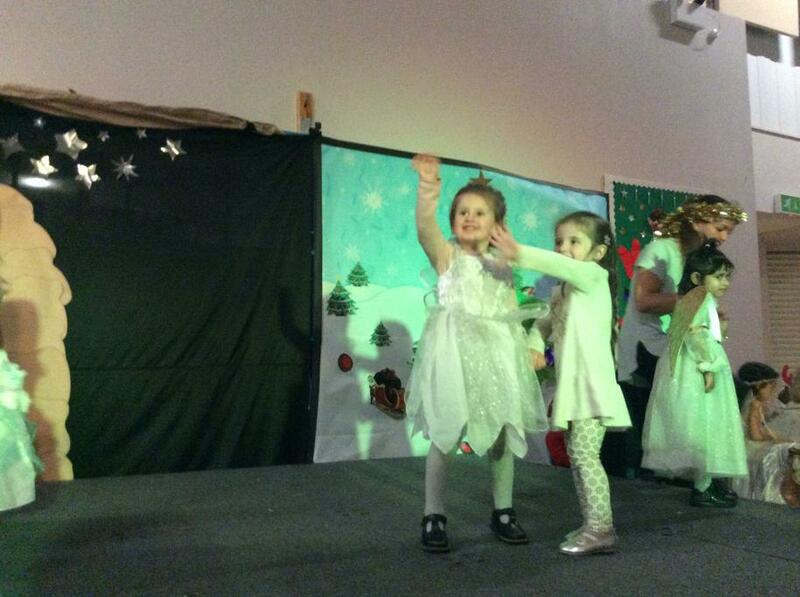 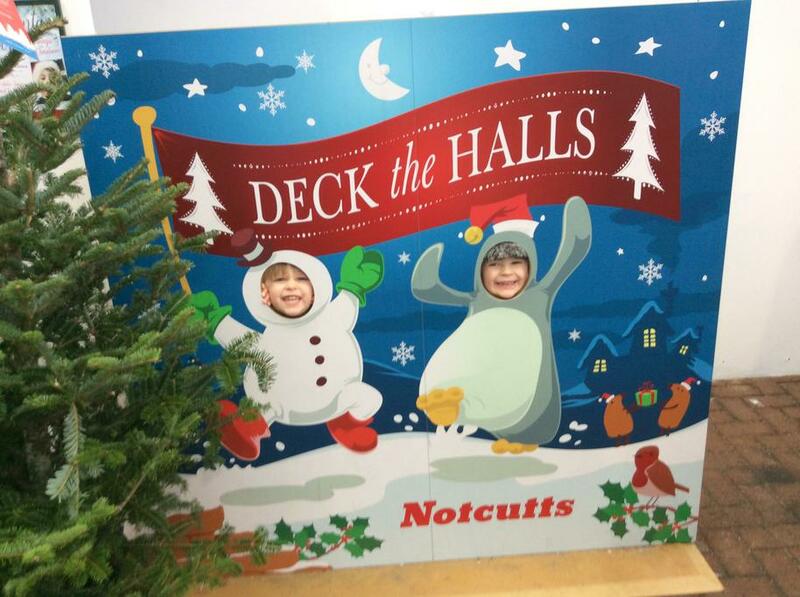 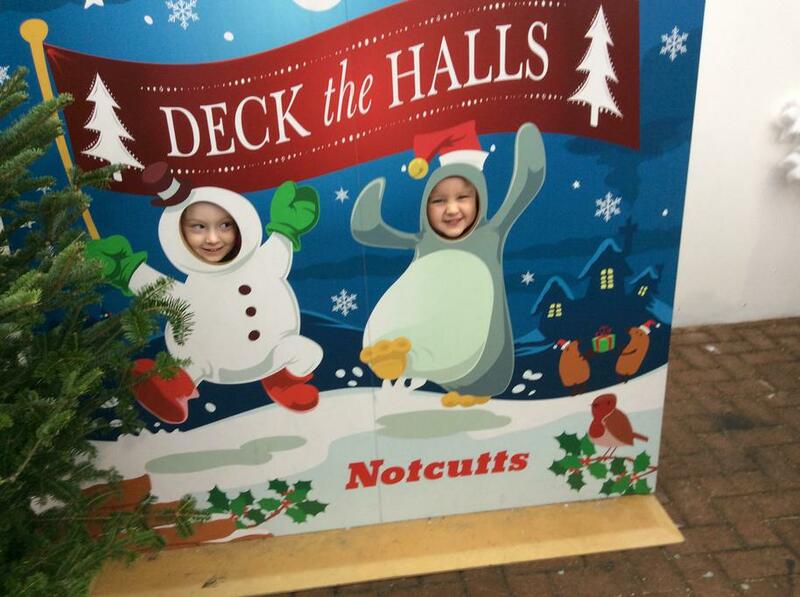 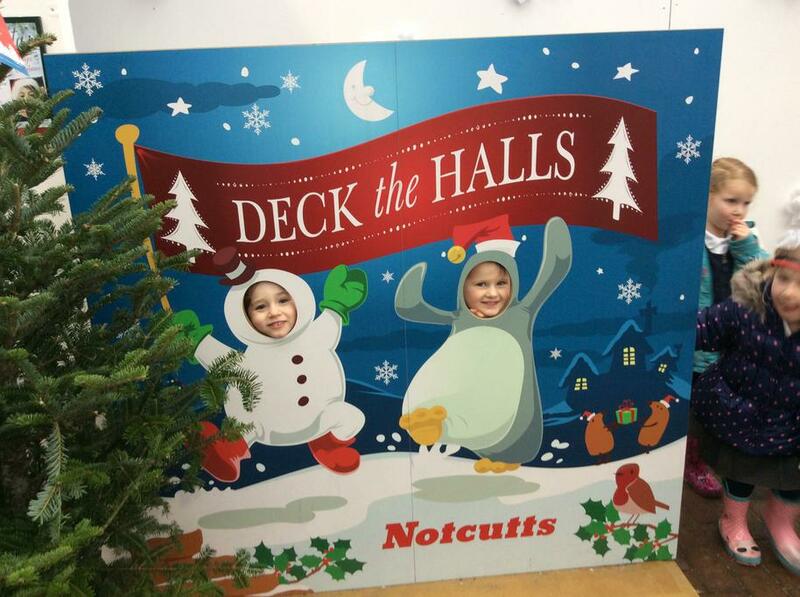 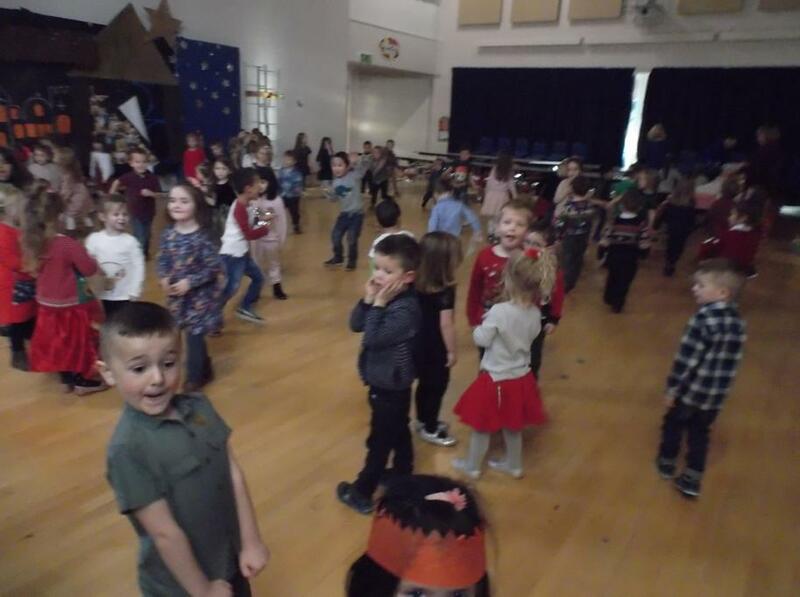 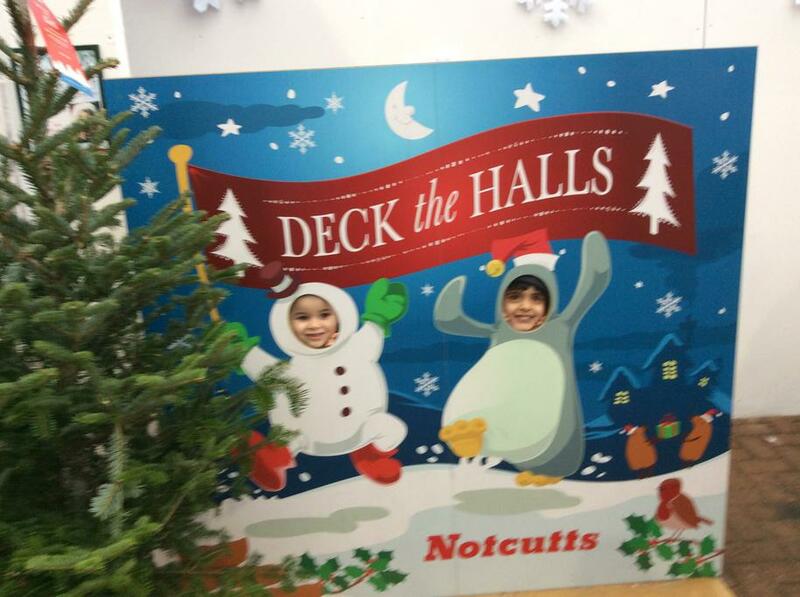 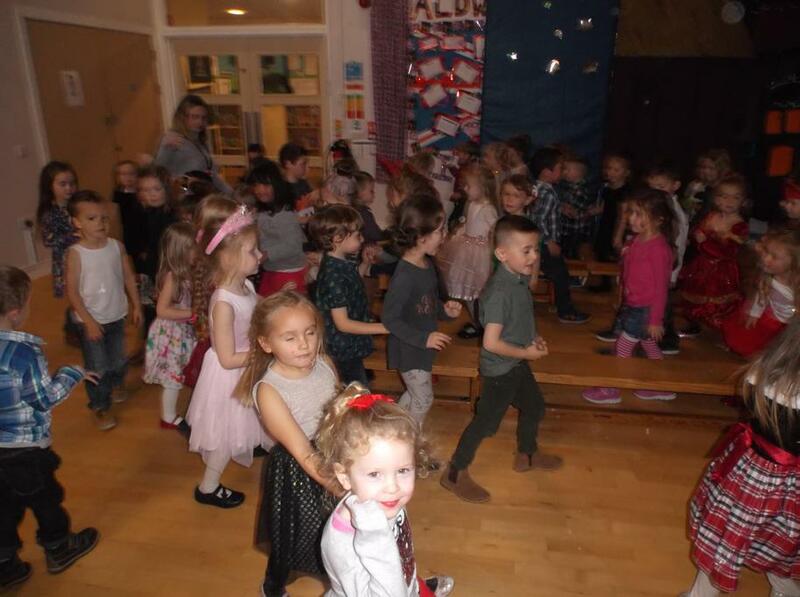 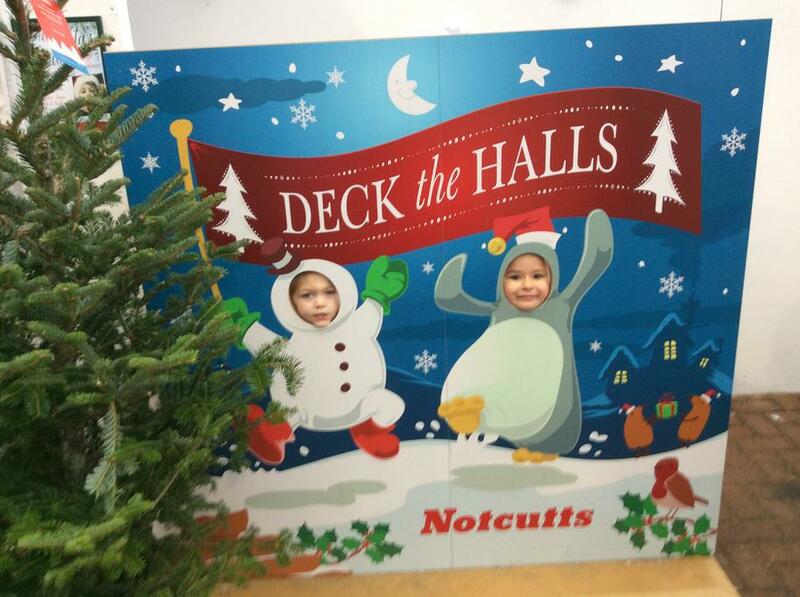 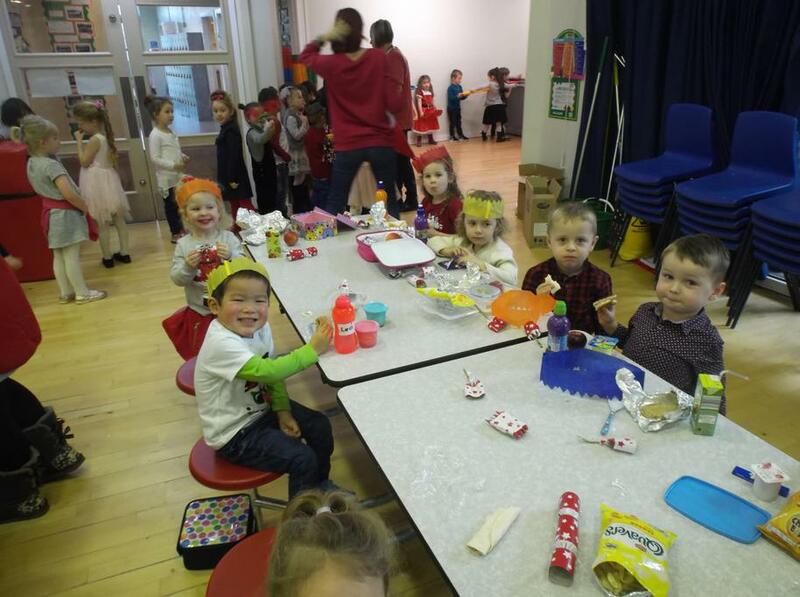 We all had so much fun at our Christmas party! 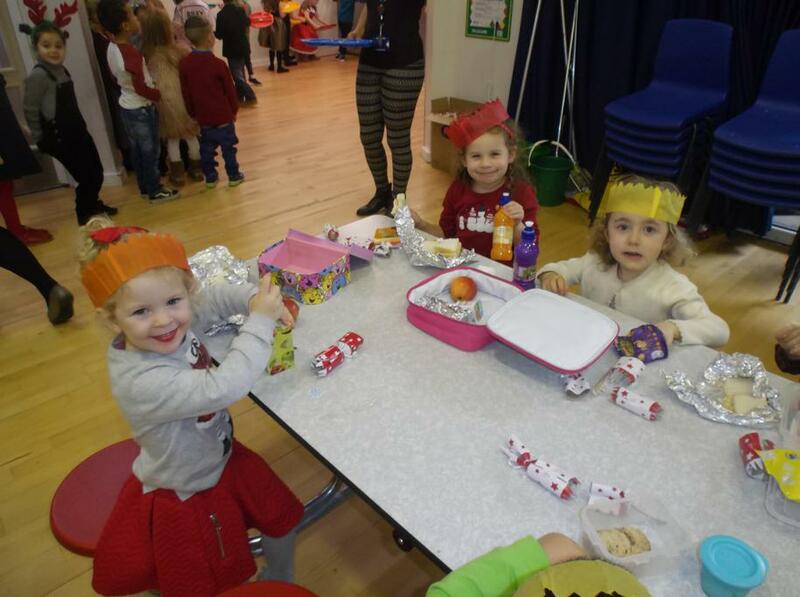 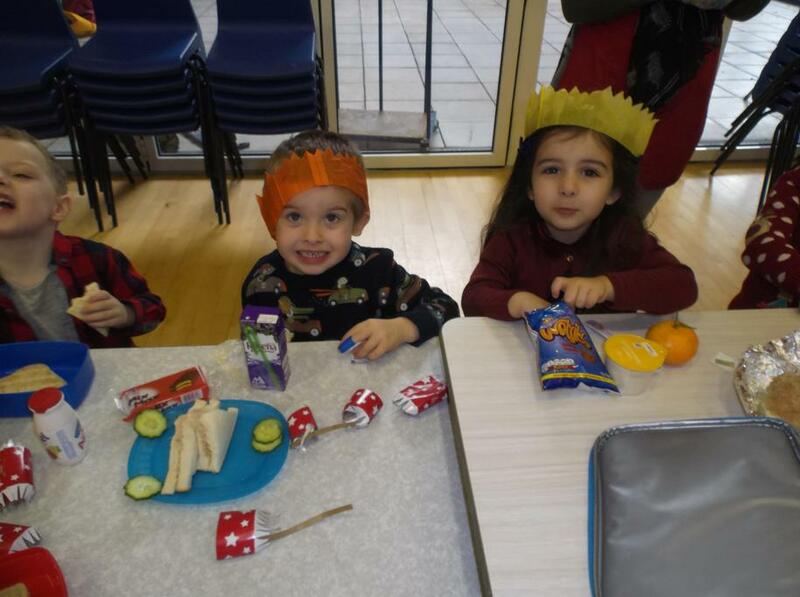 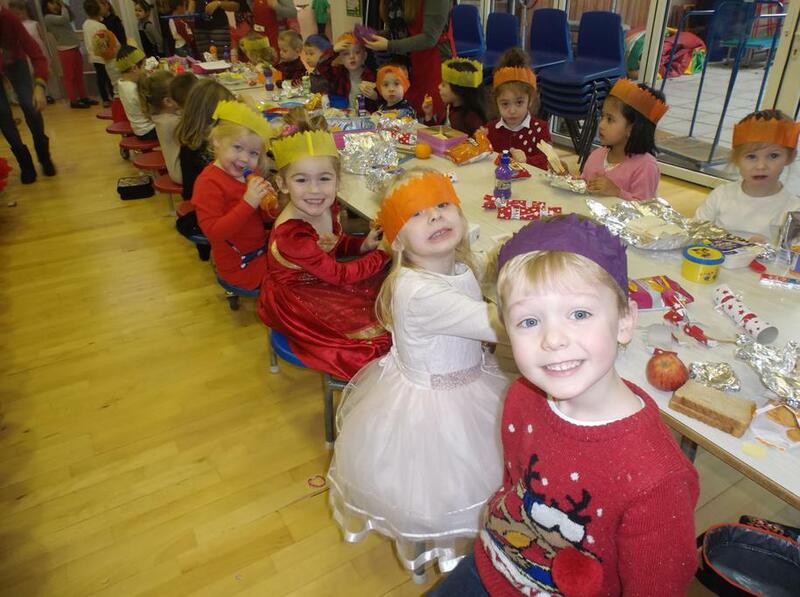 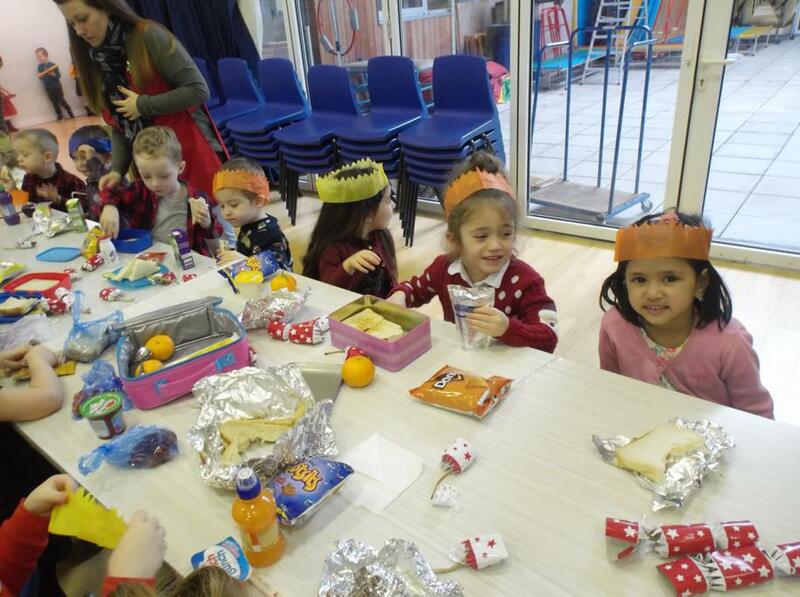 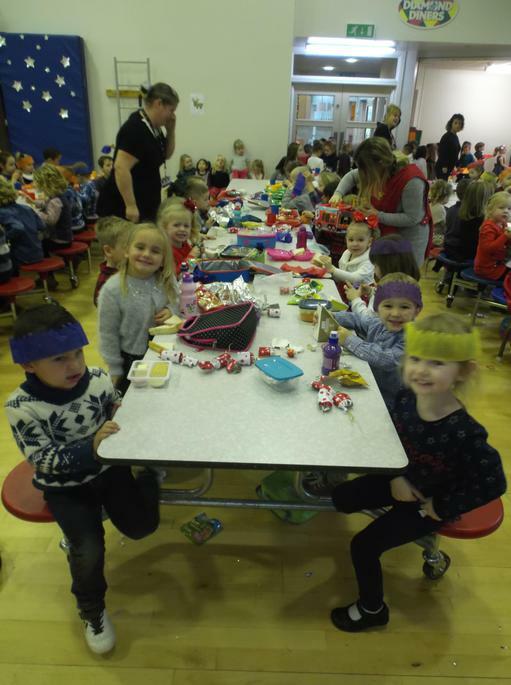 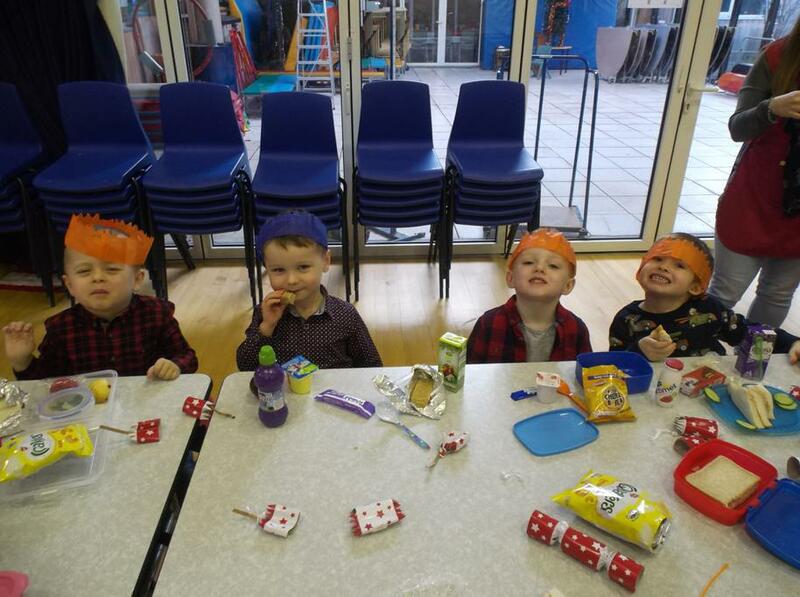 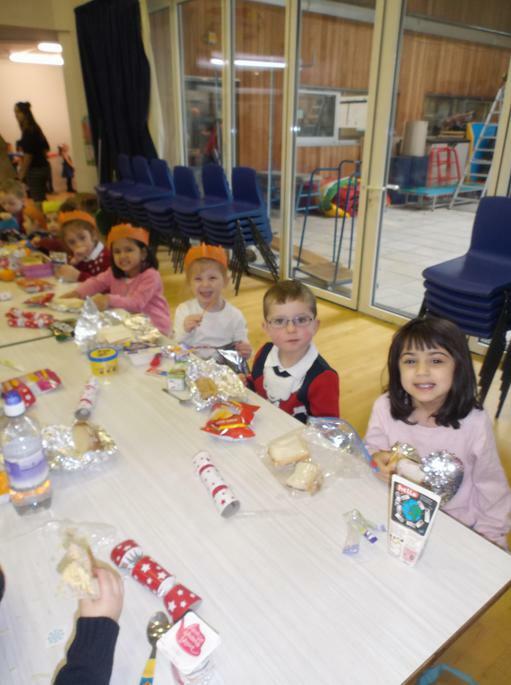 We enjoyed pulling our Christmas crackers on Christmas dinner day! 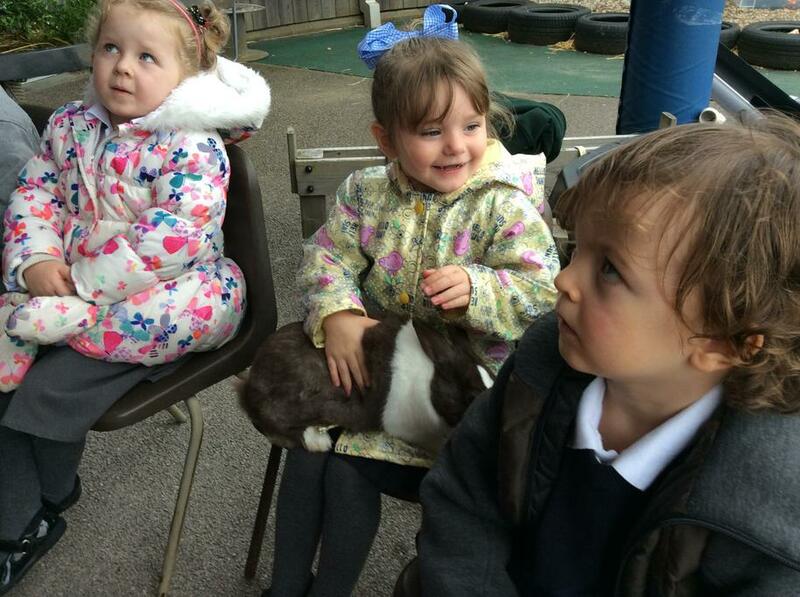 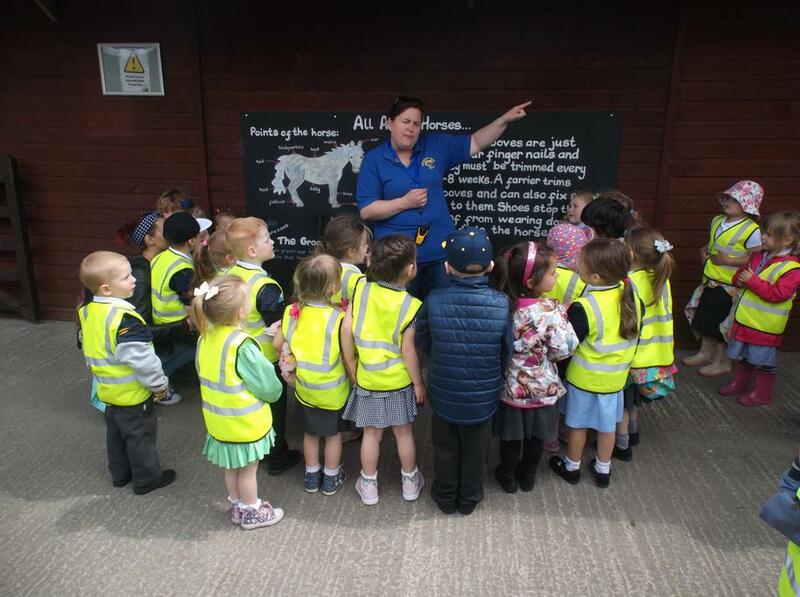 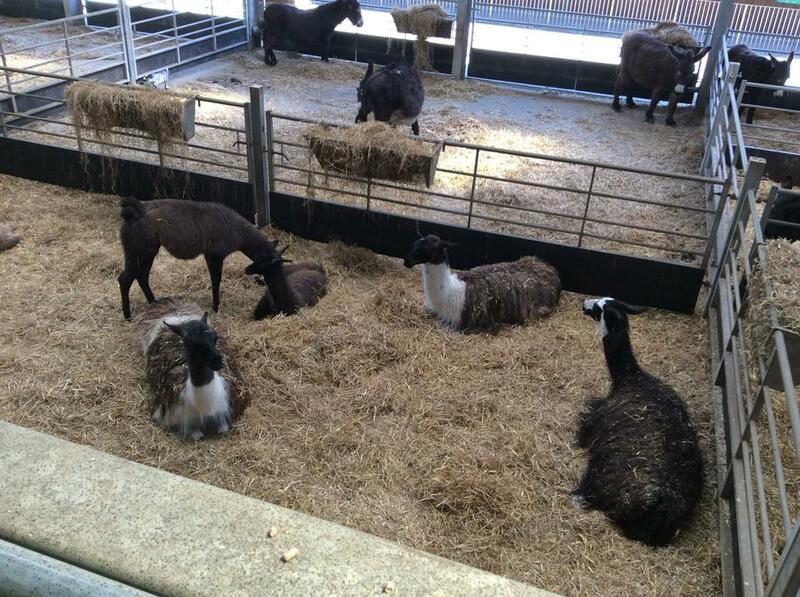 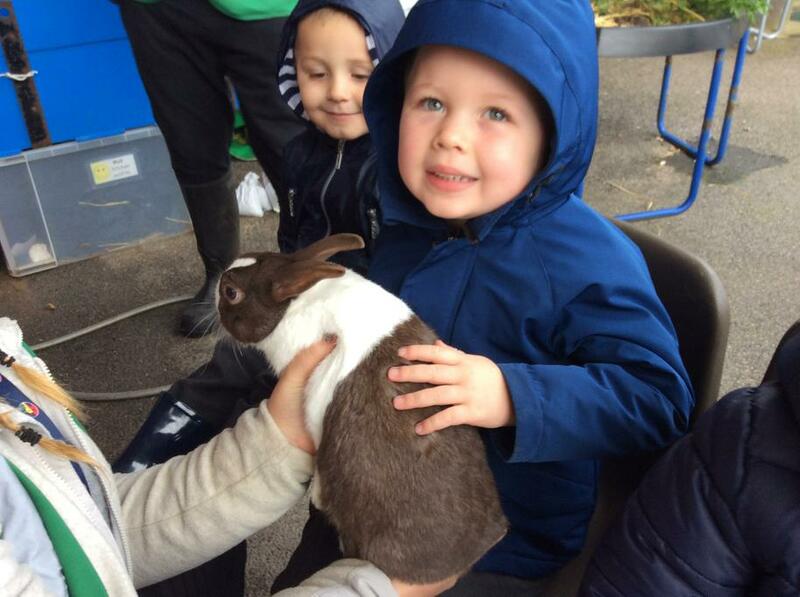 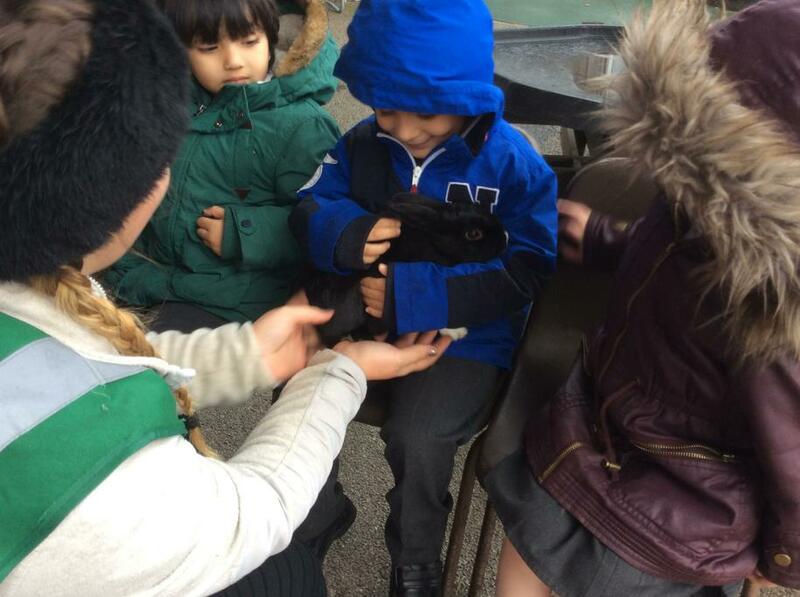 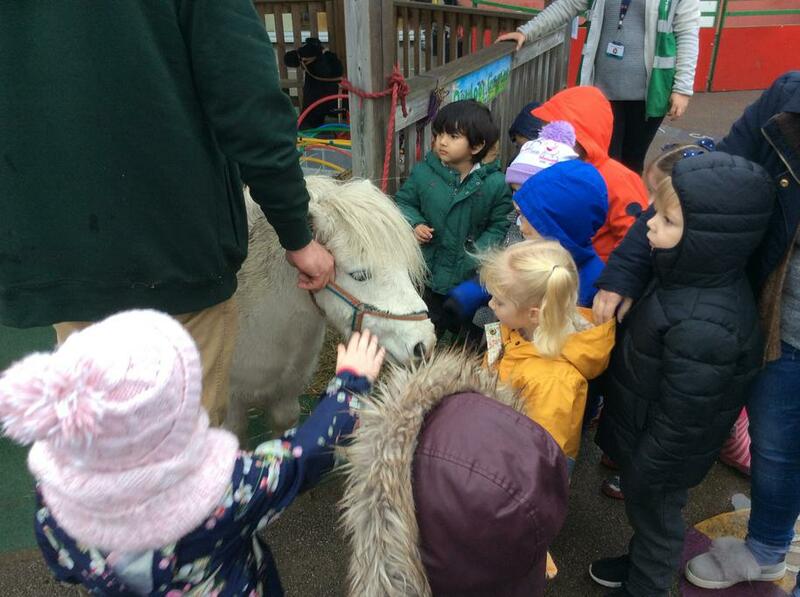 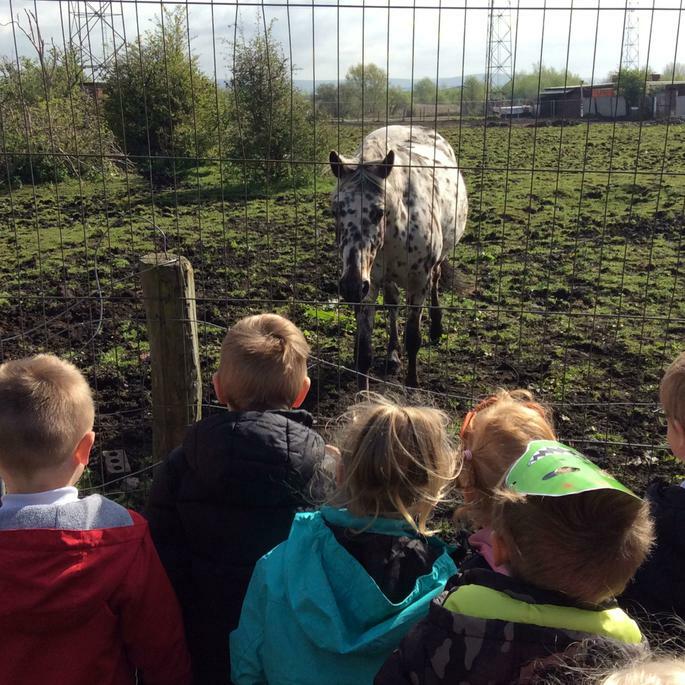 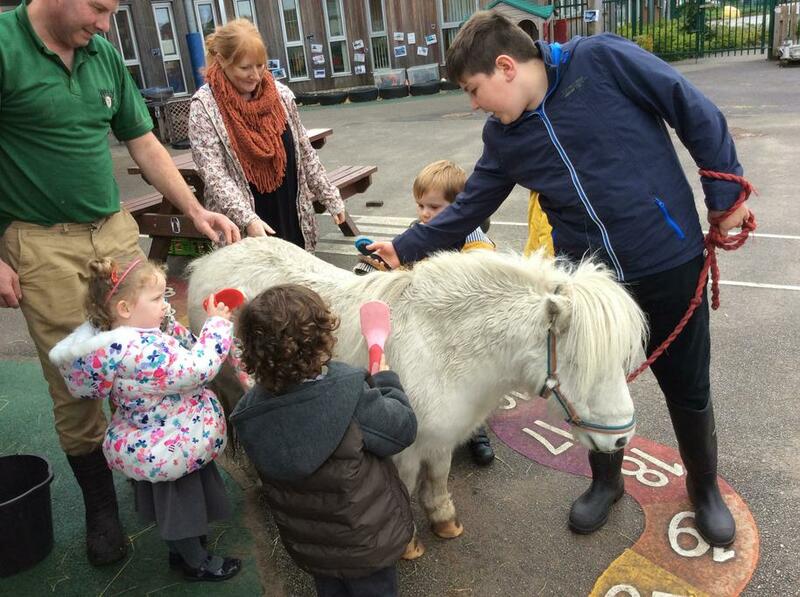 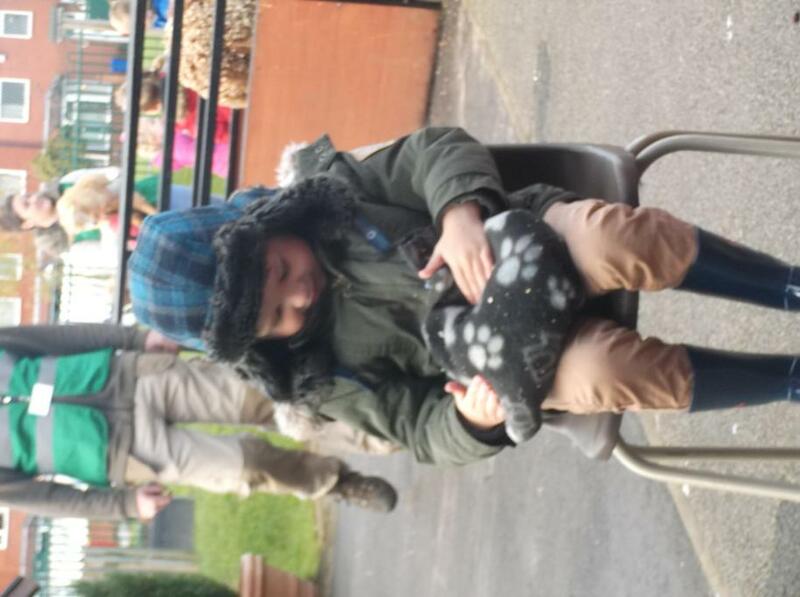 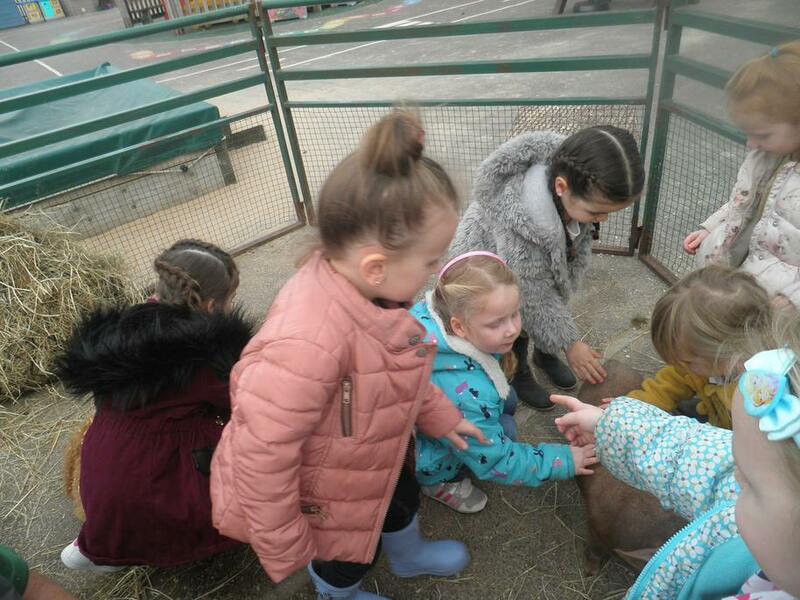 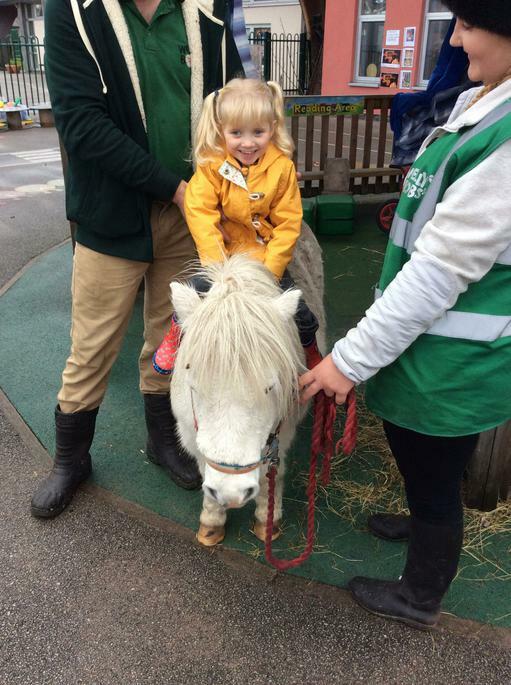 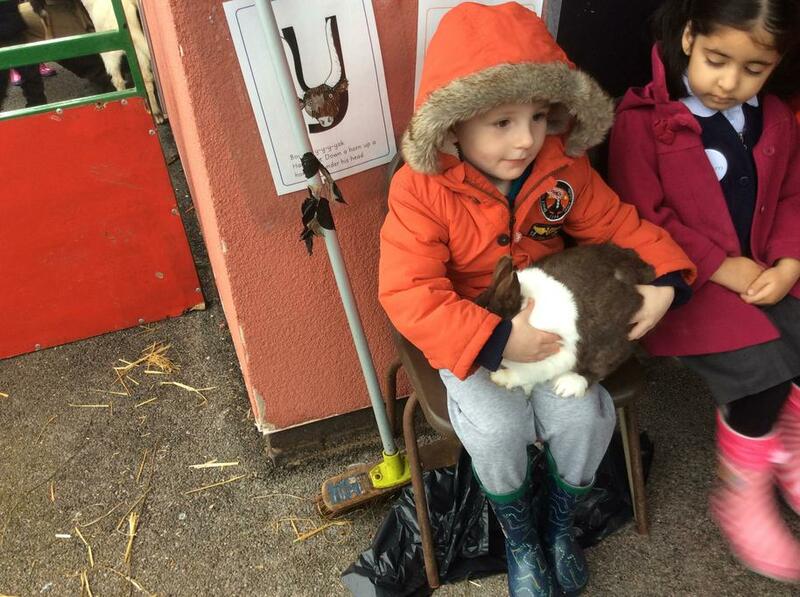 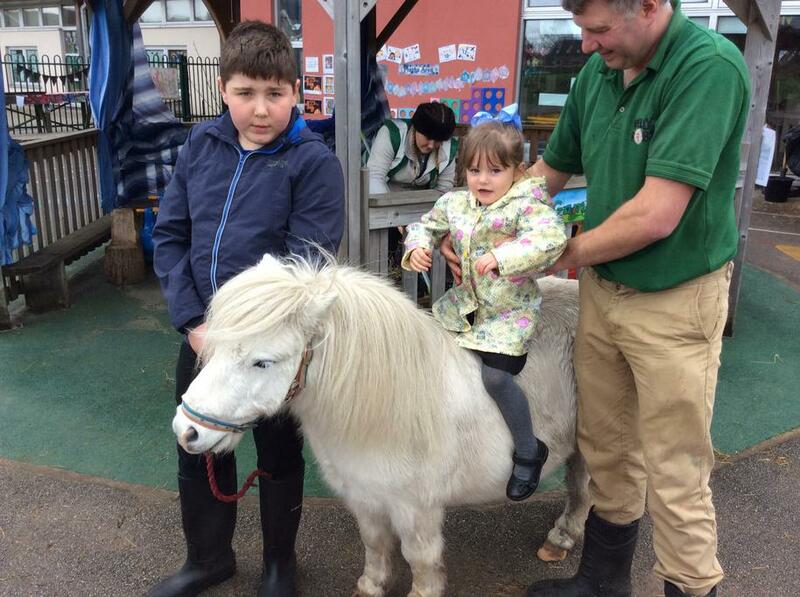 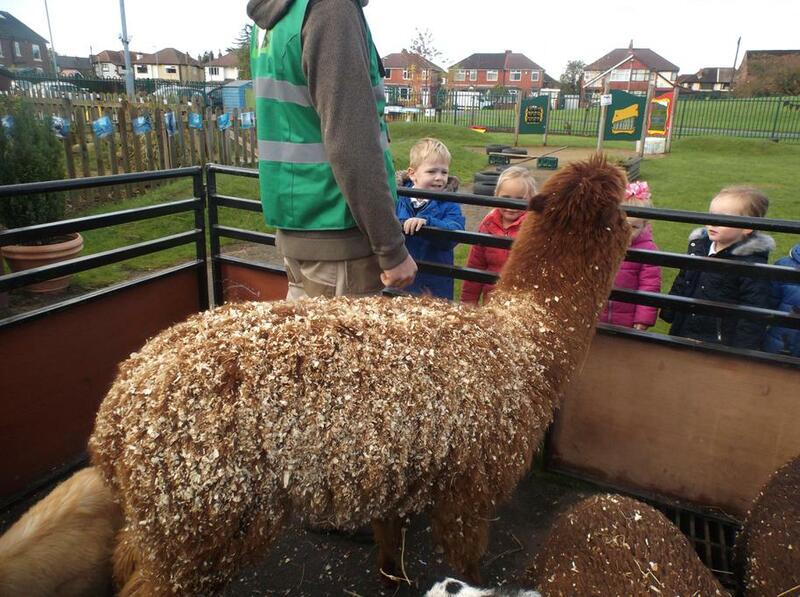 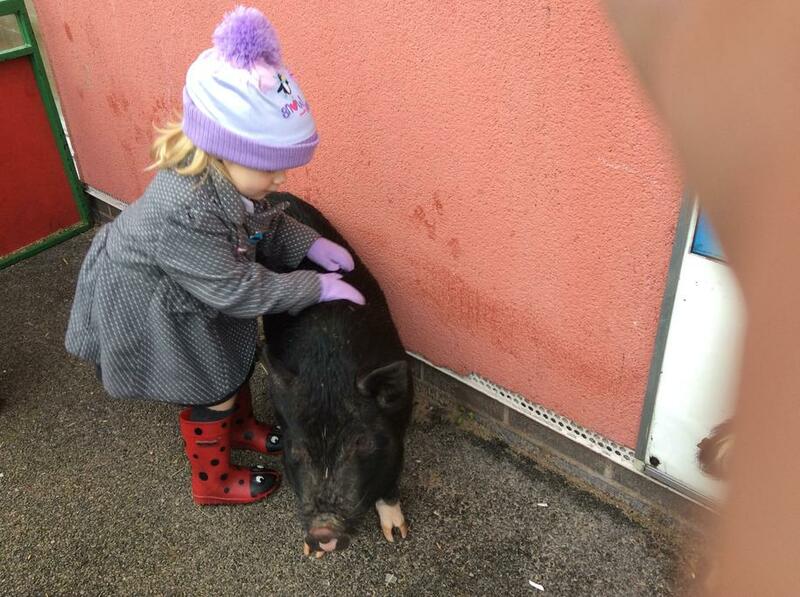 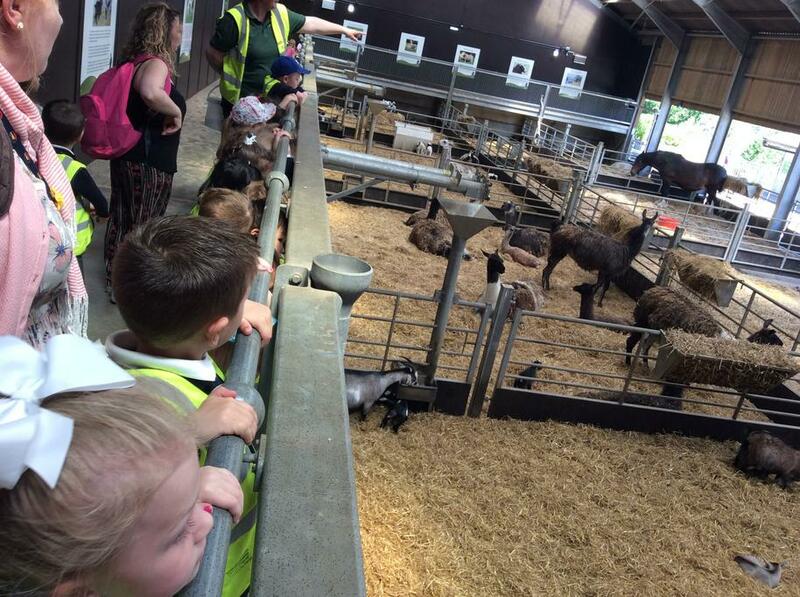 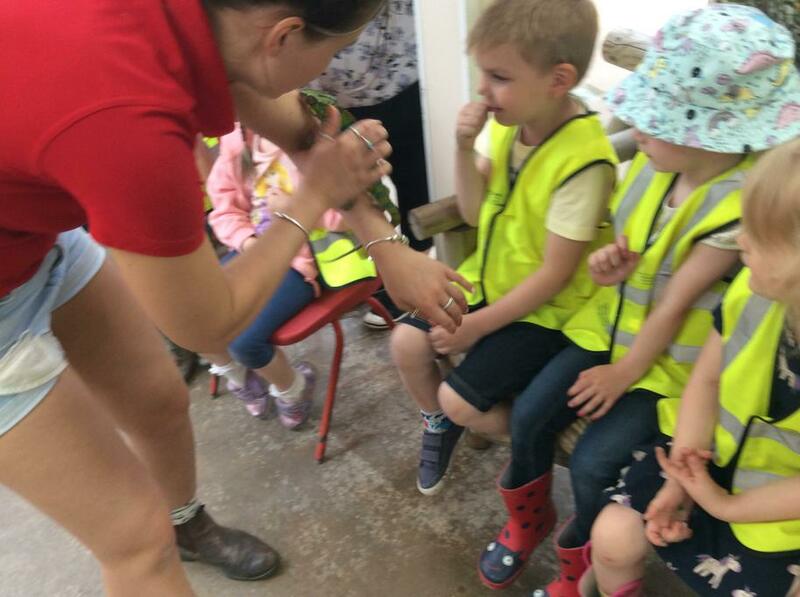 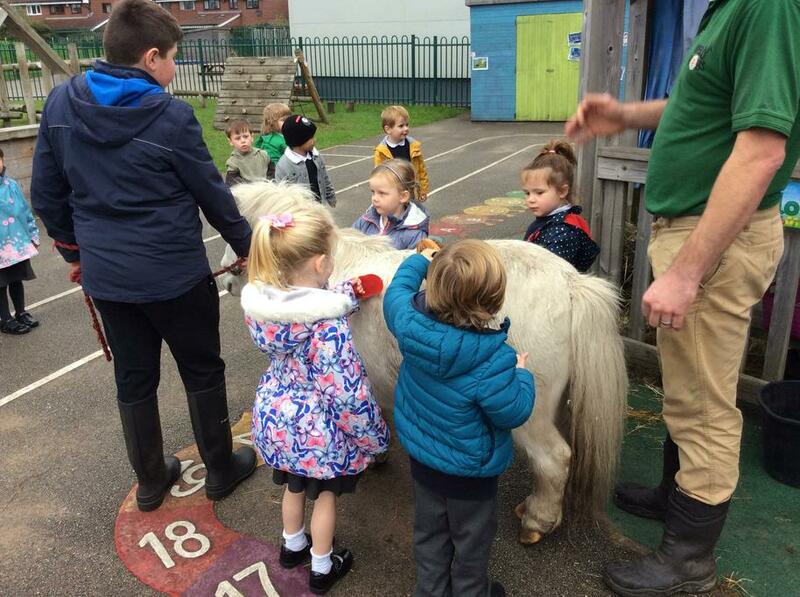 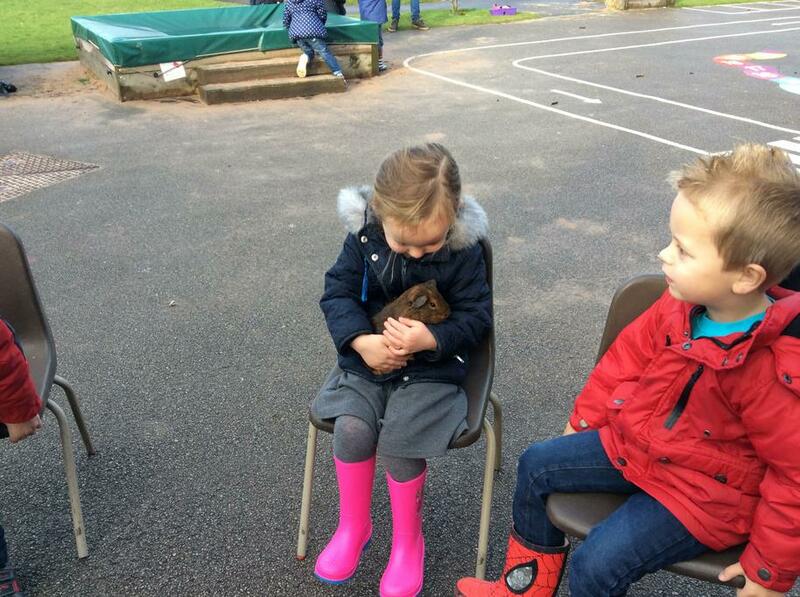 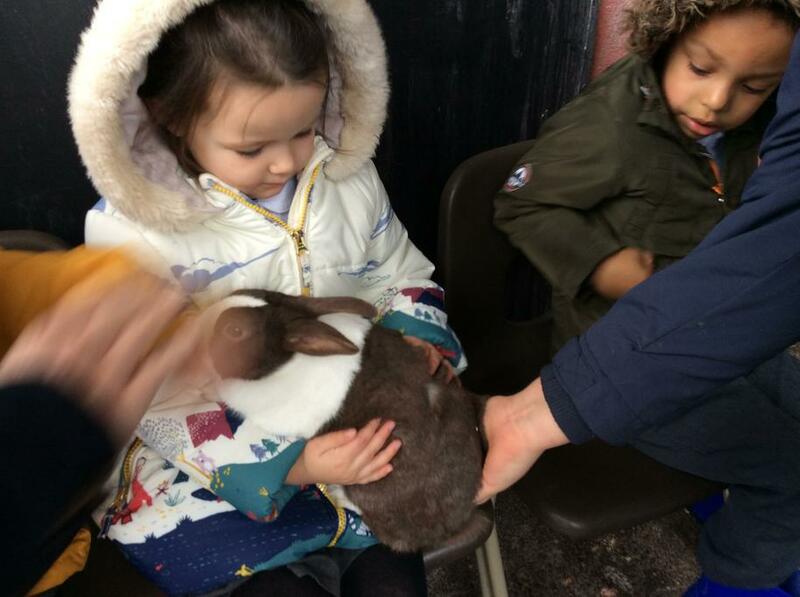 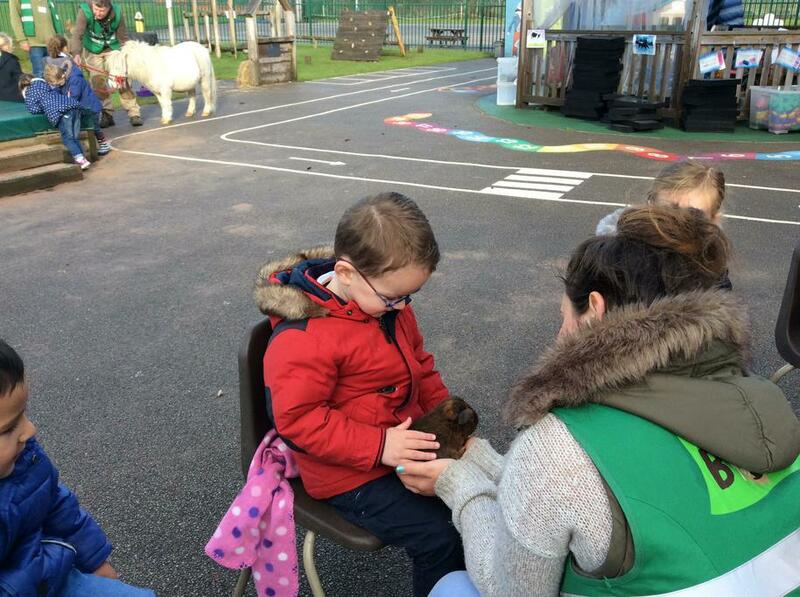 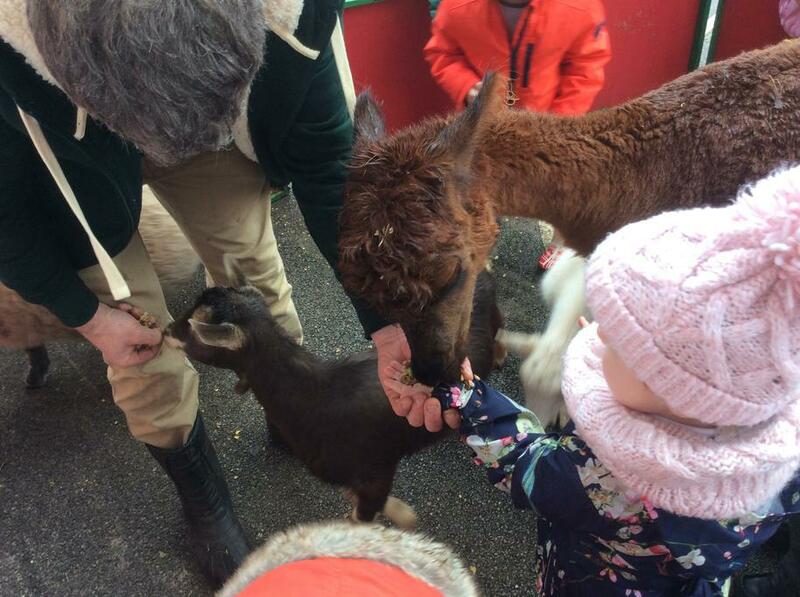 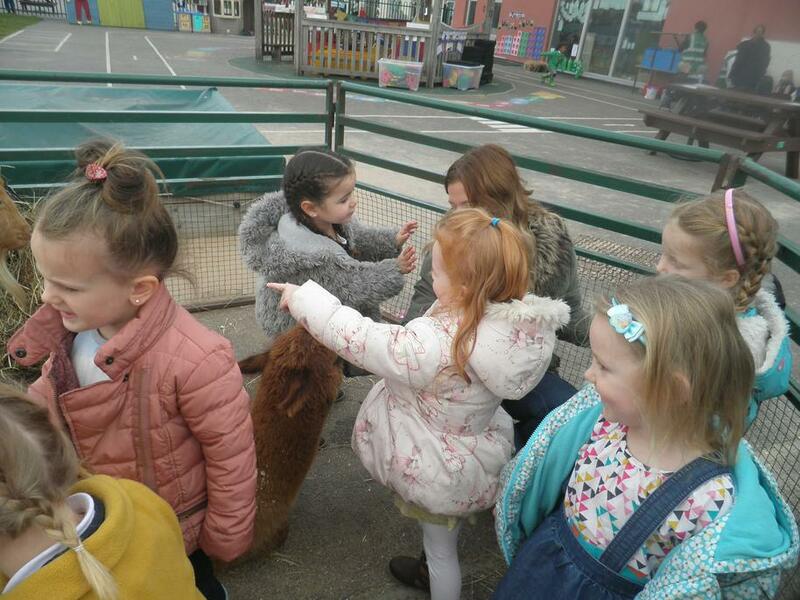 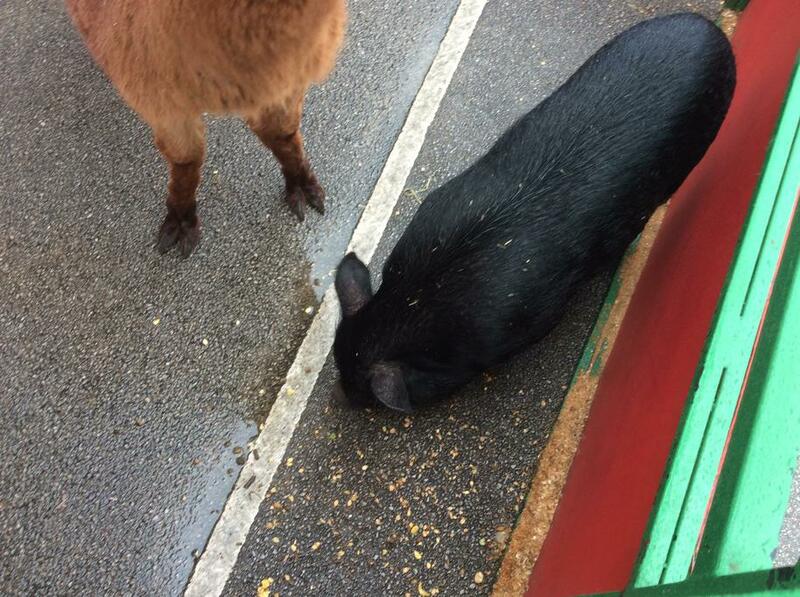 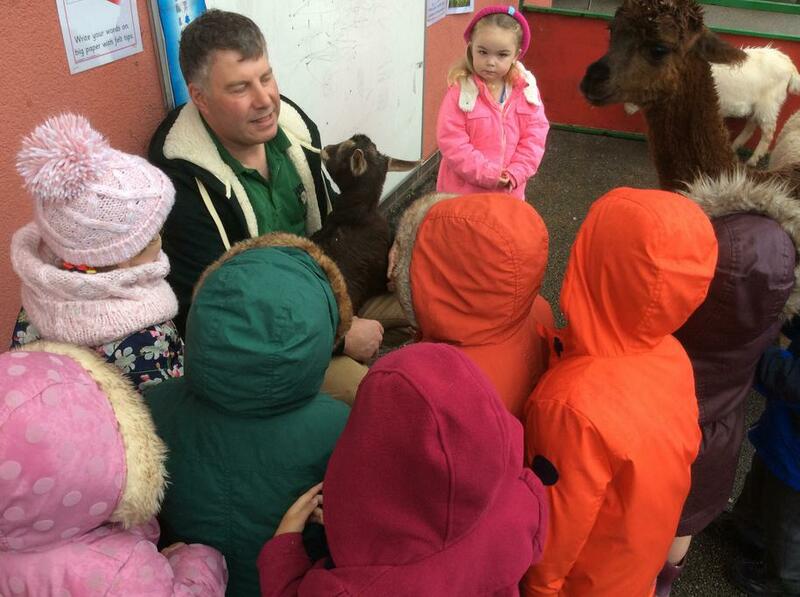 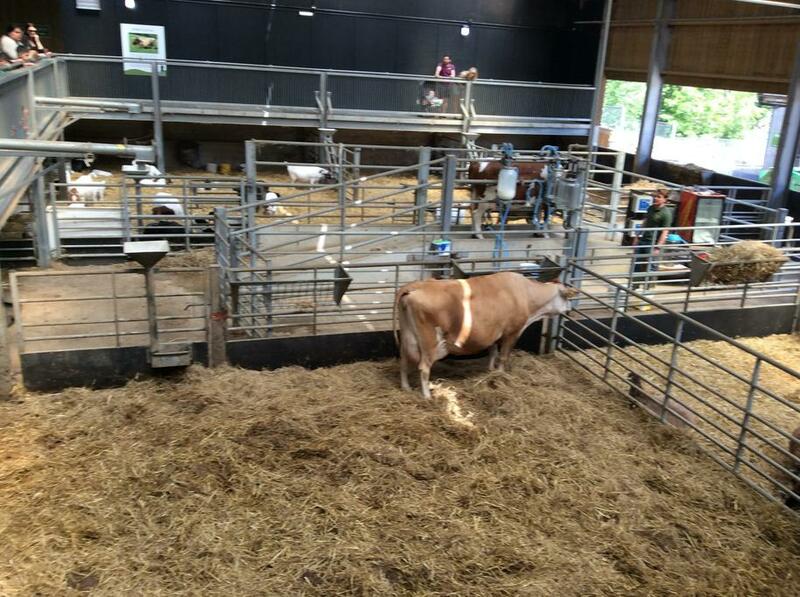 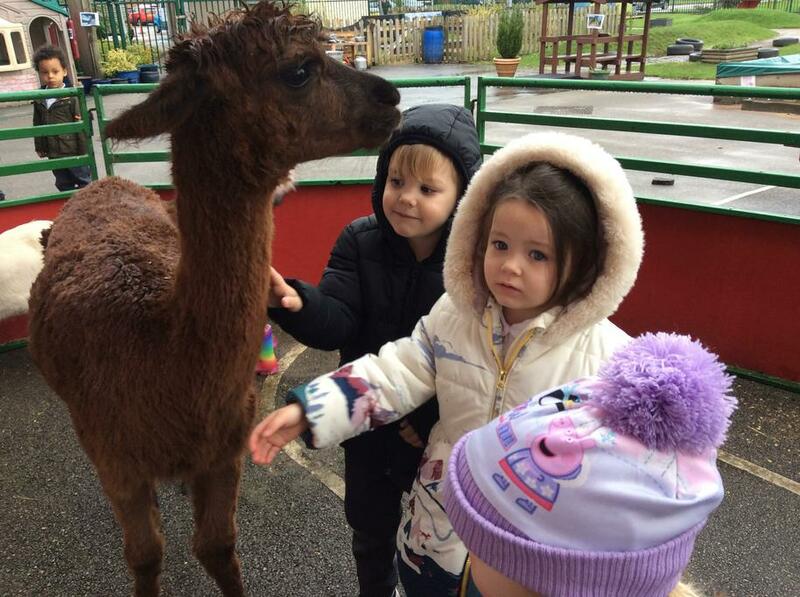 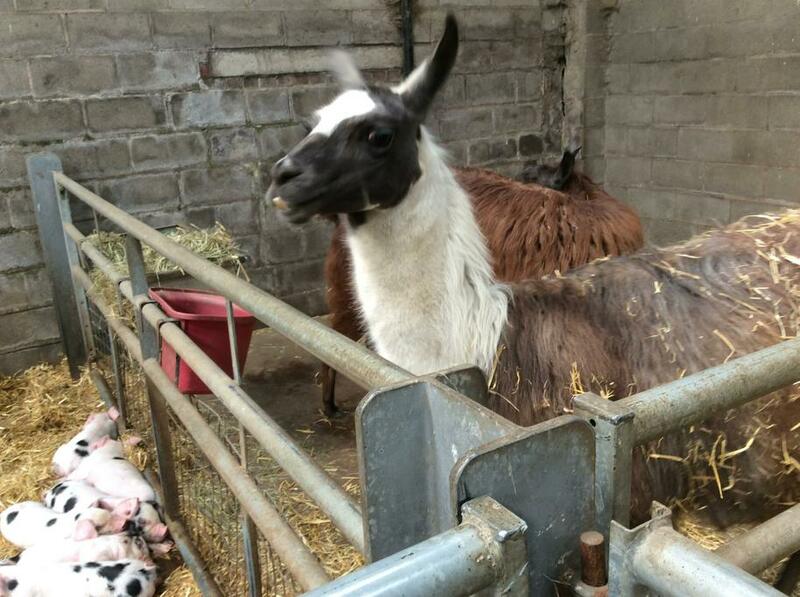 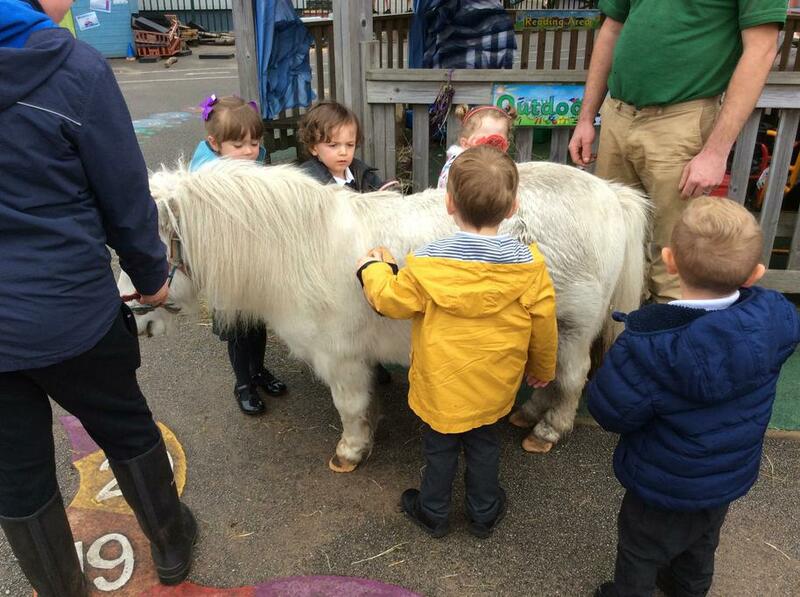 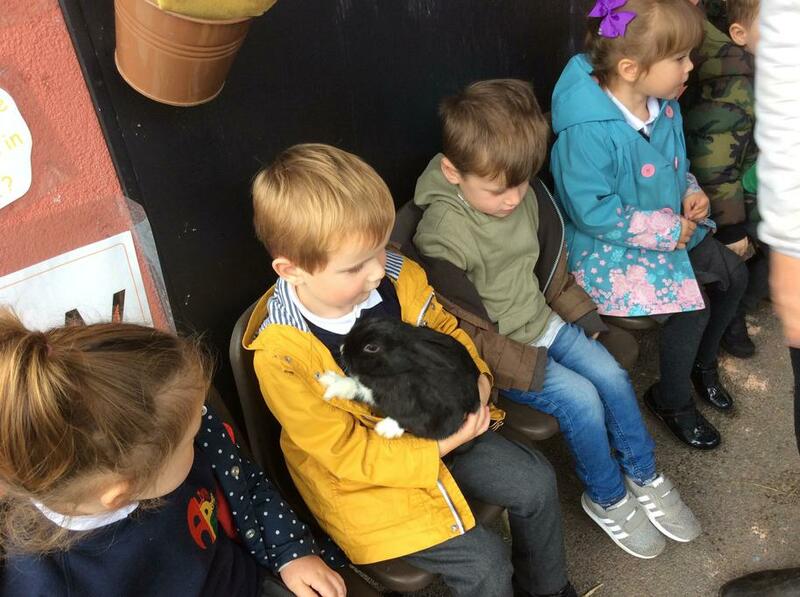 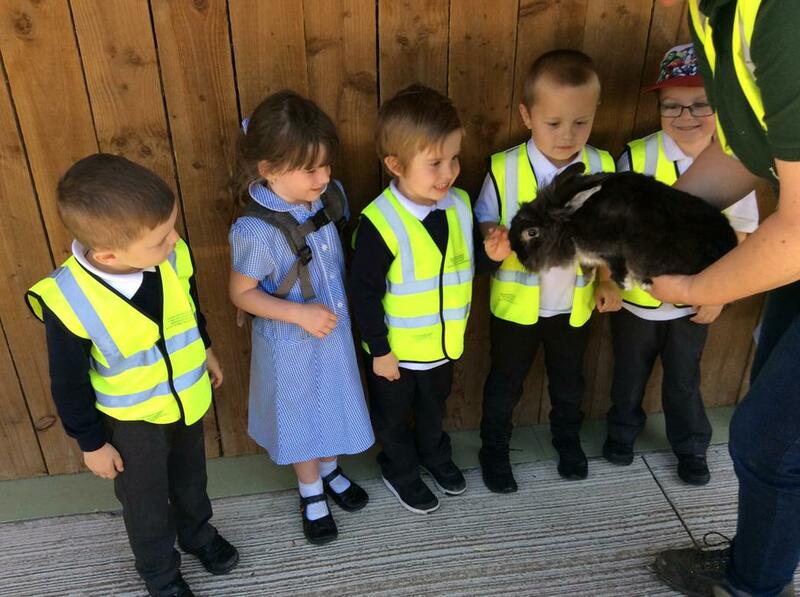 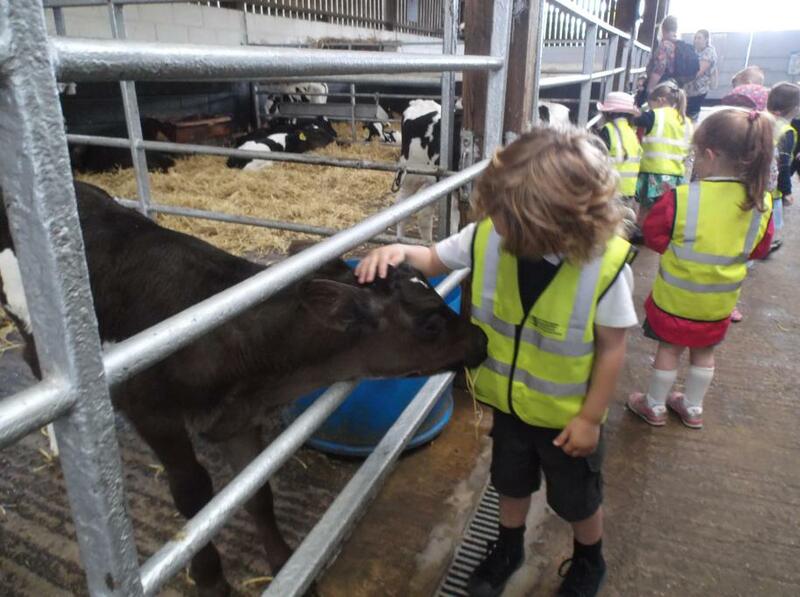 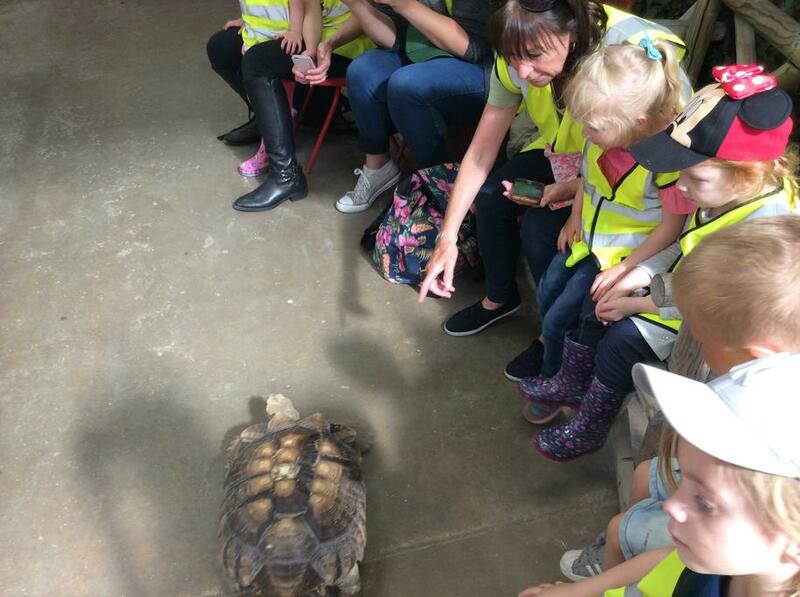 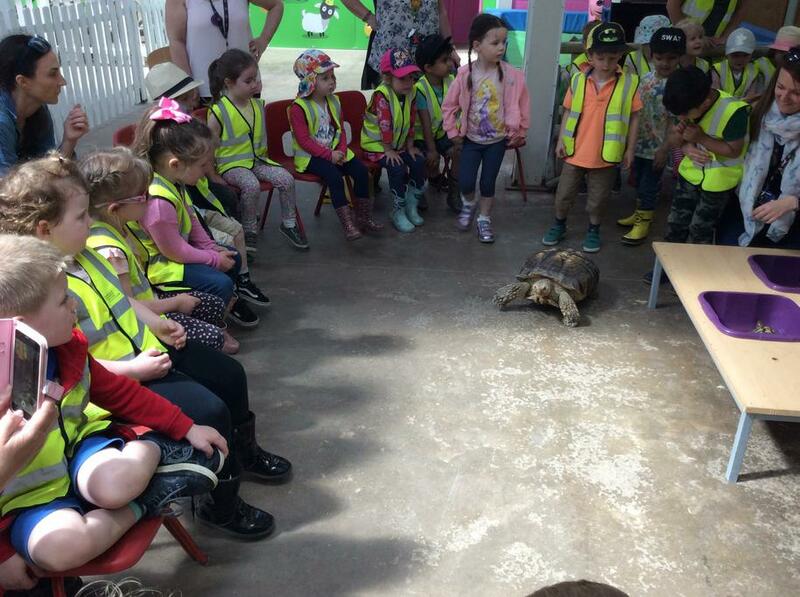 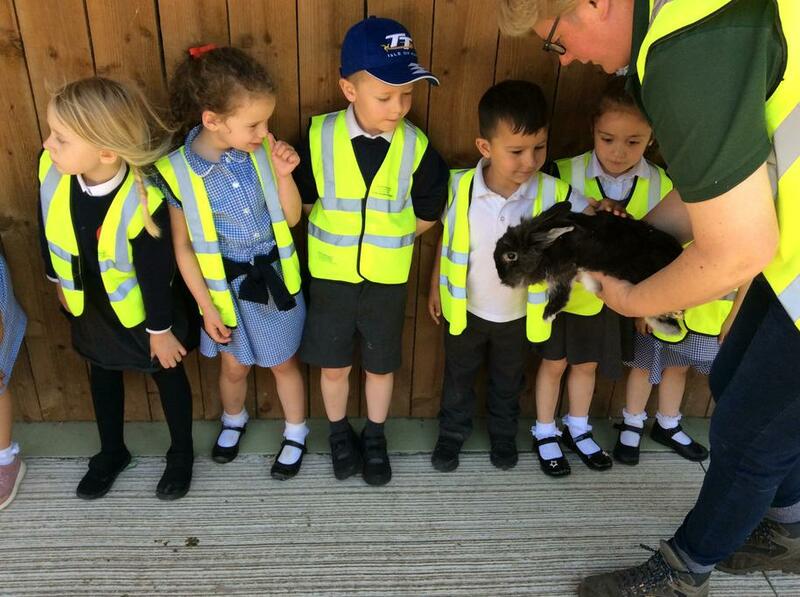 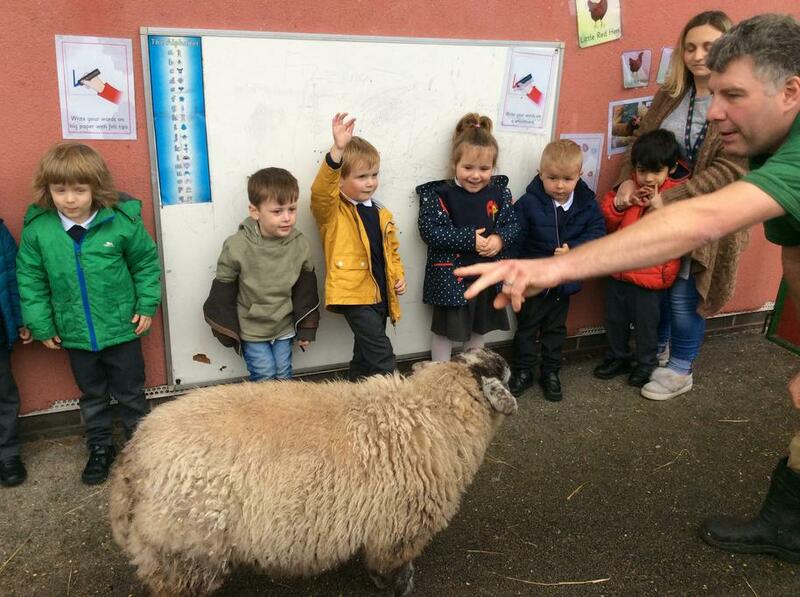 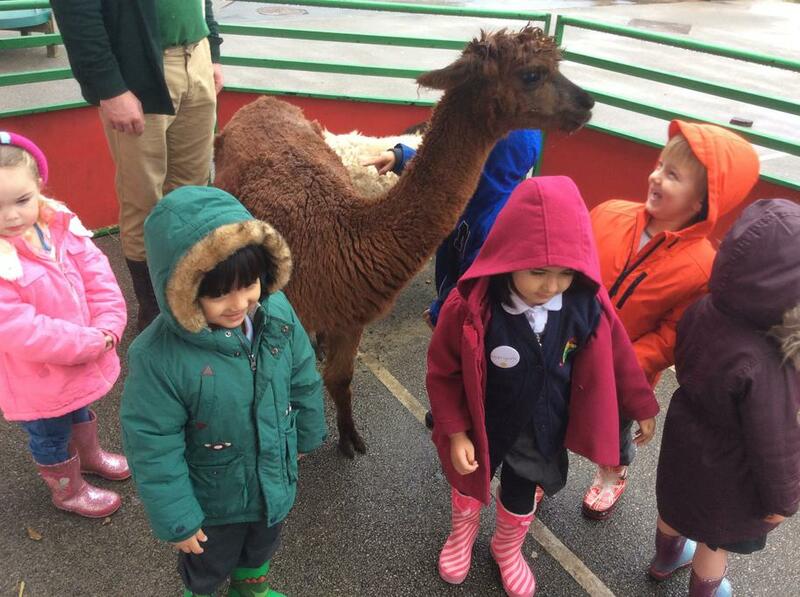 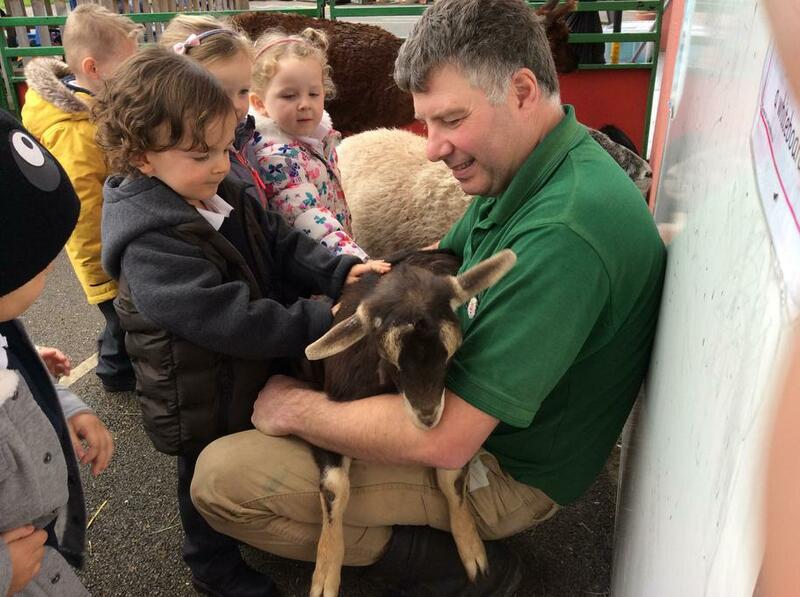 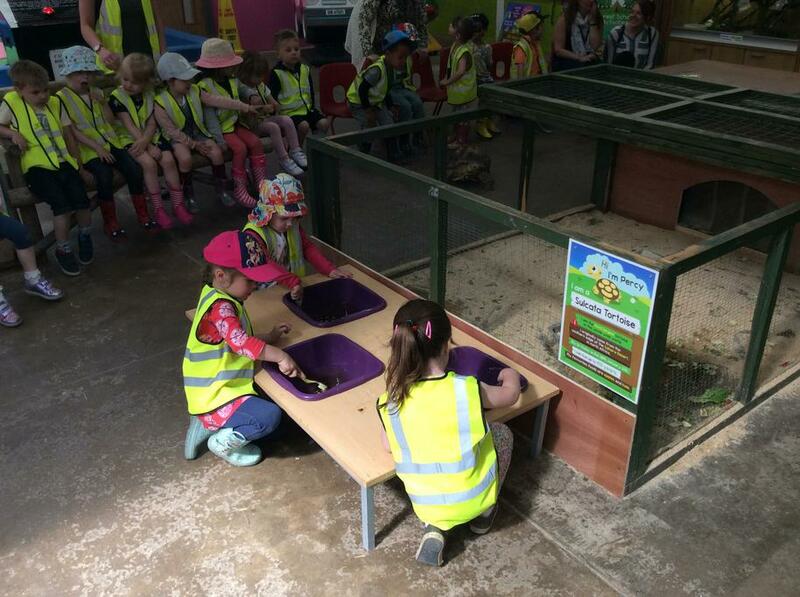 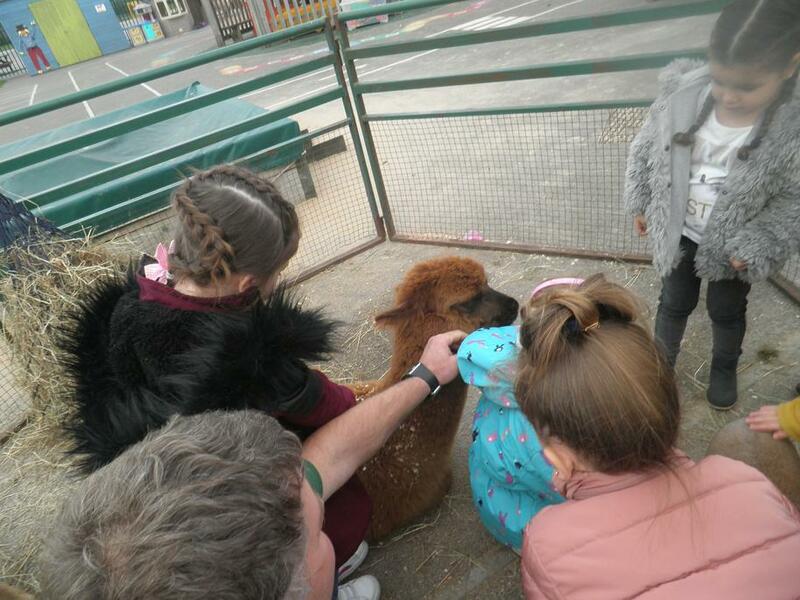 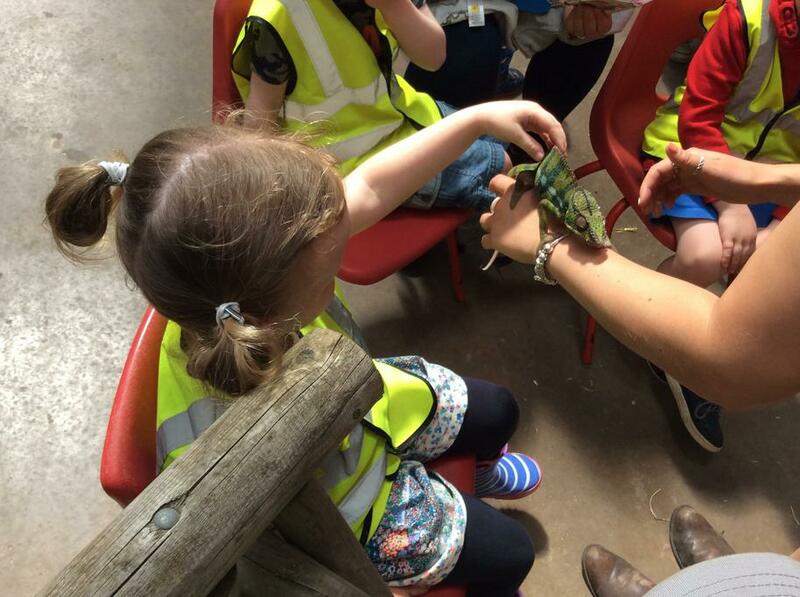 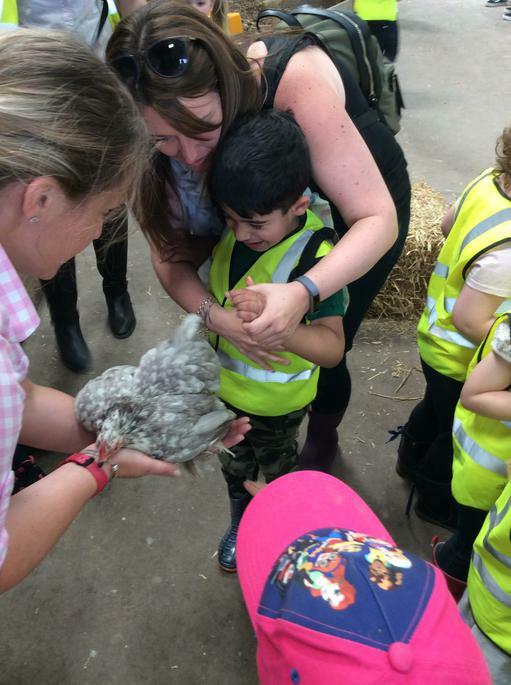 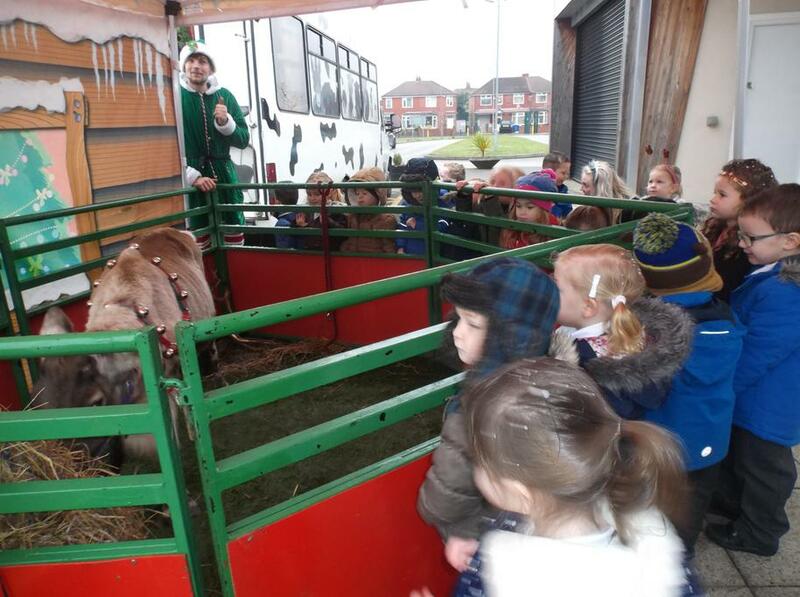 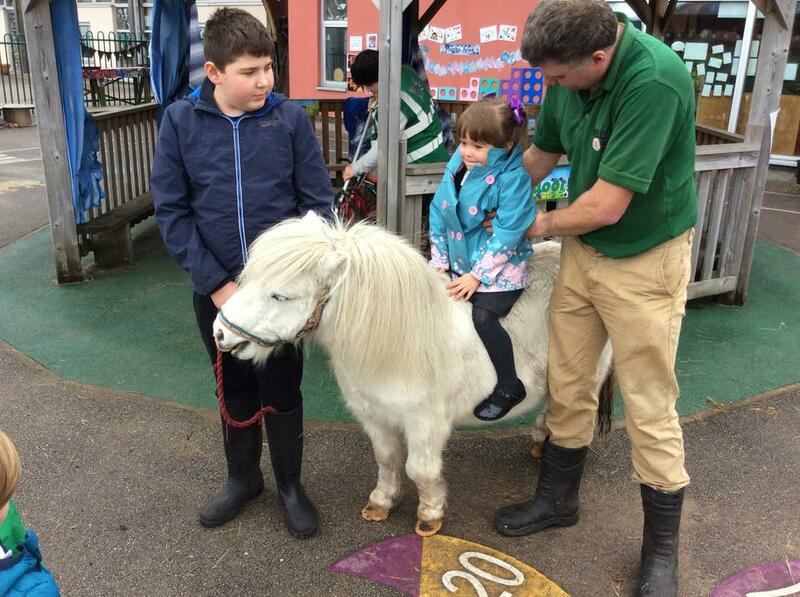 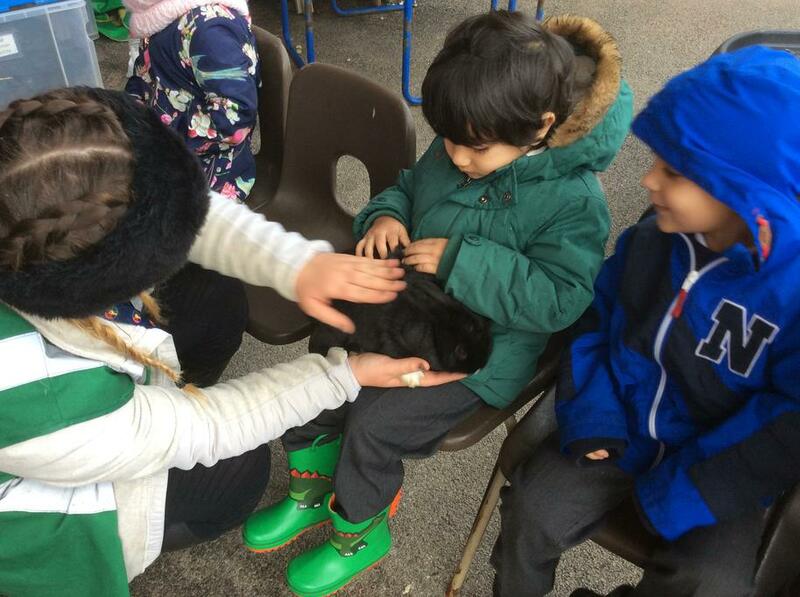 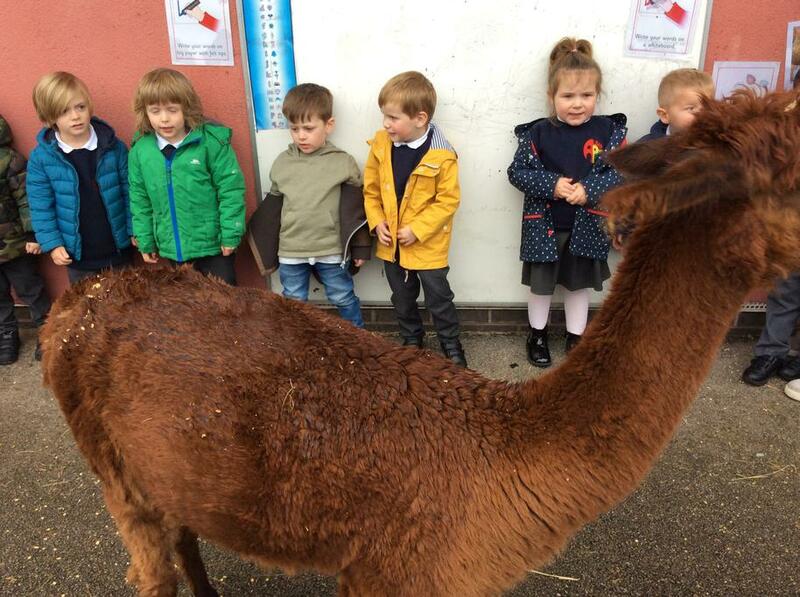 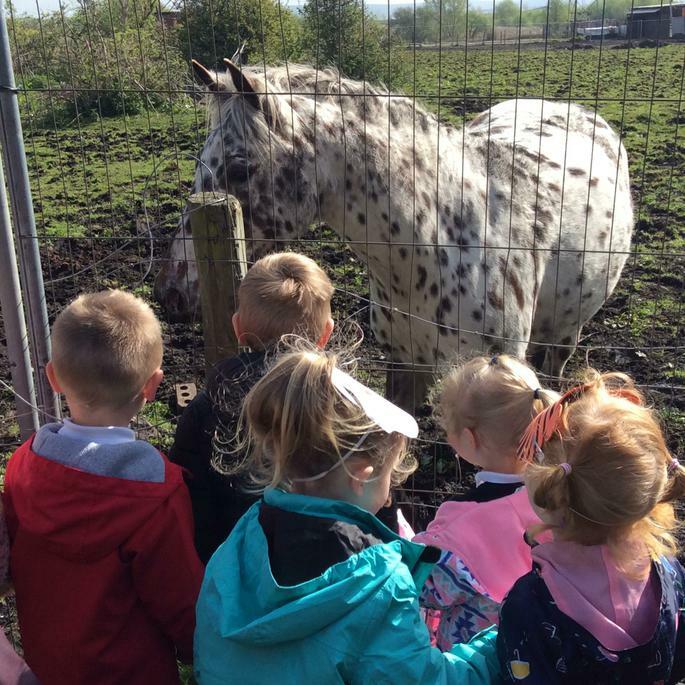 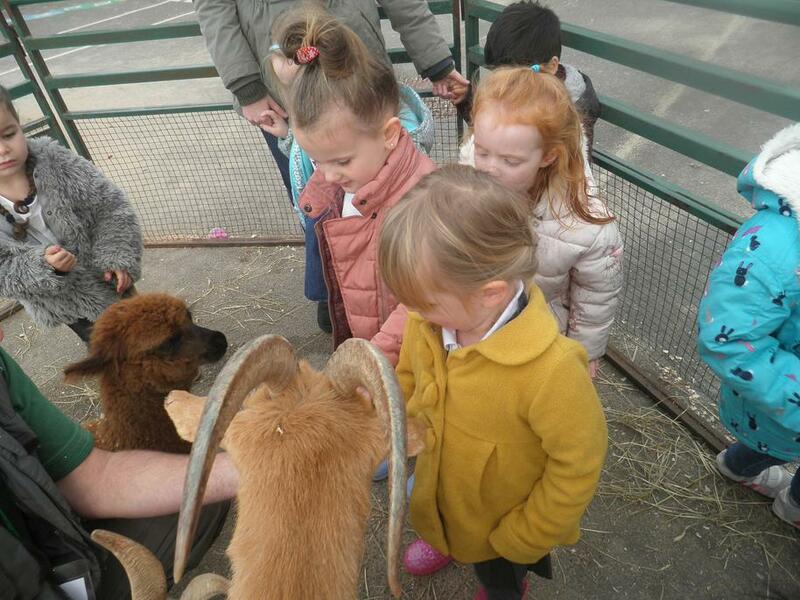 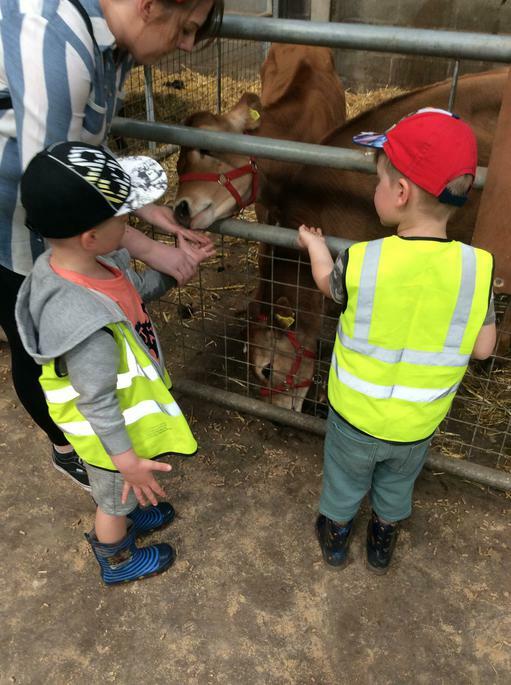 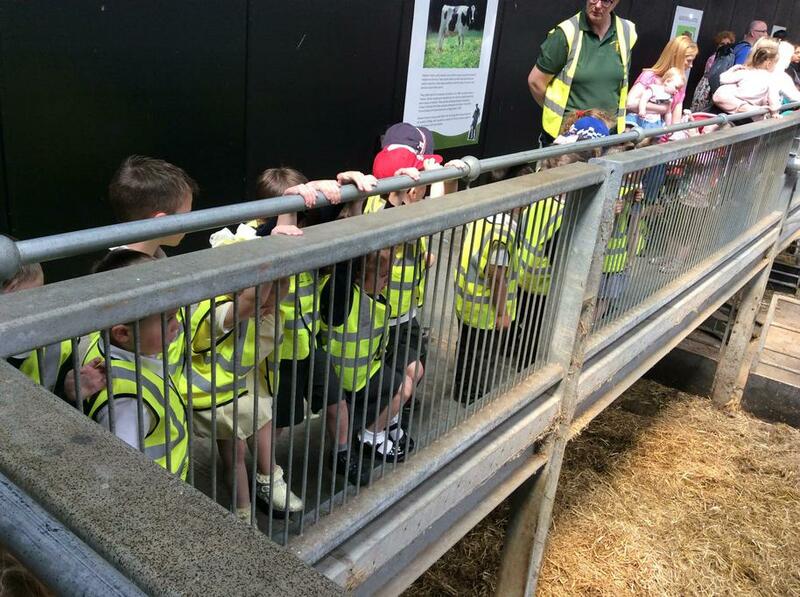 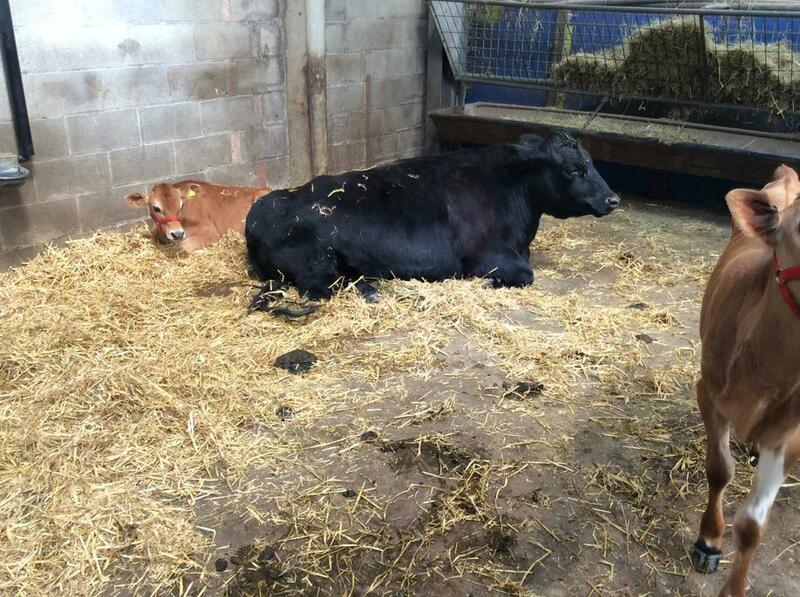 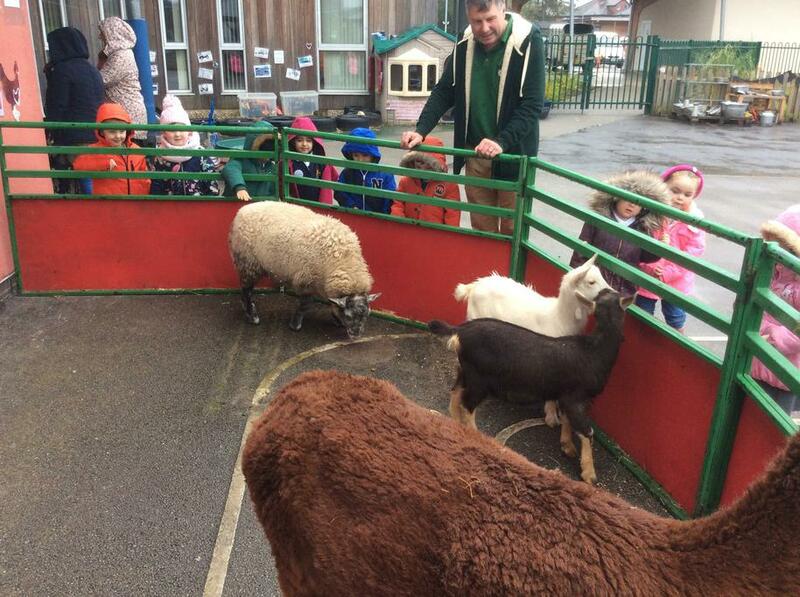 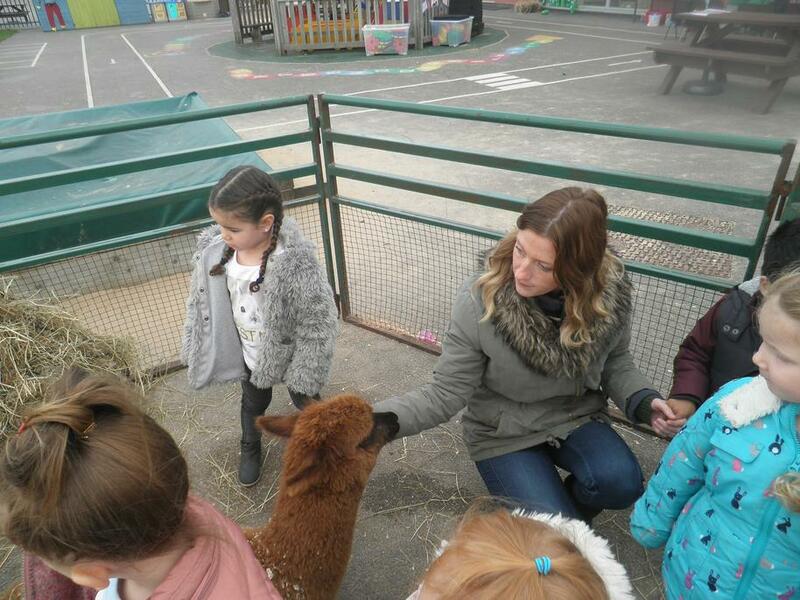 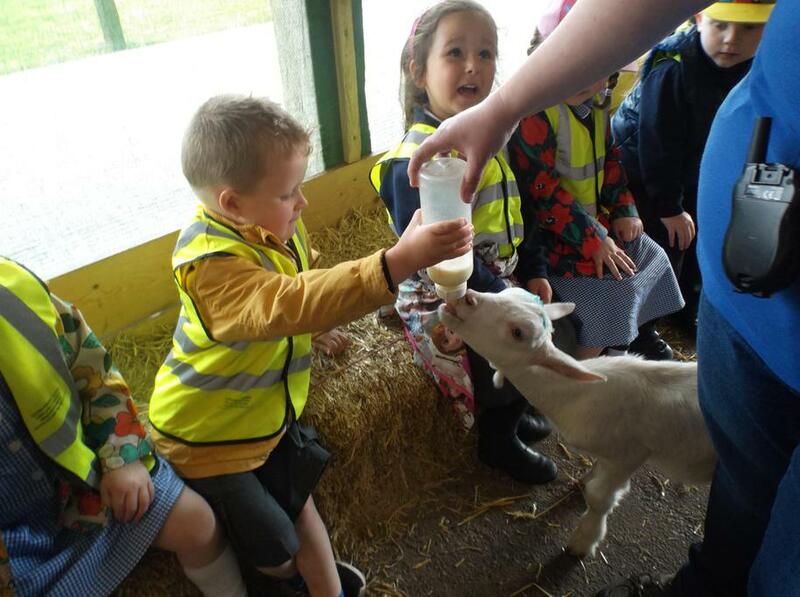 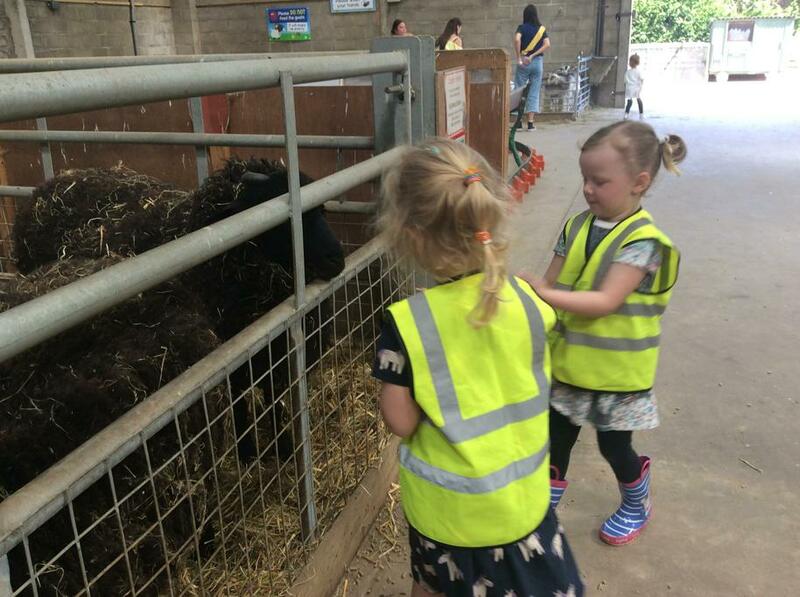 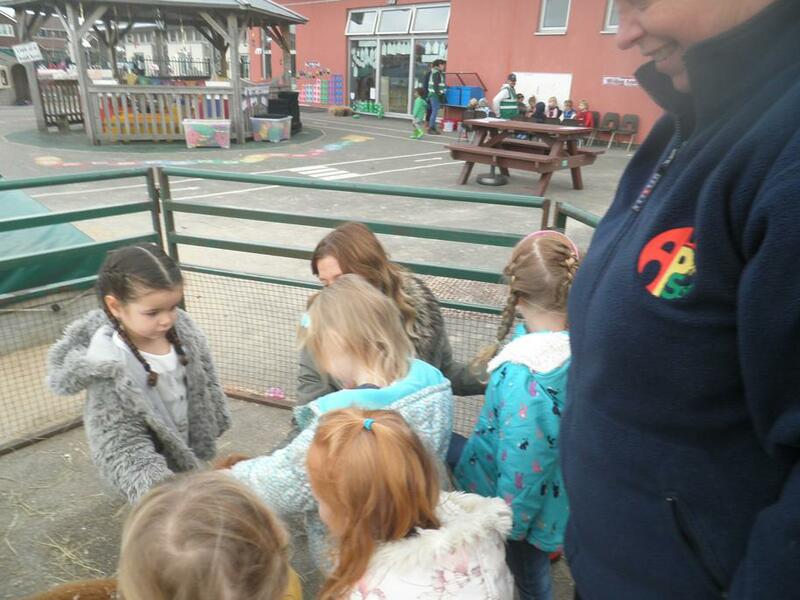 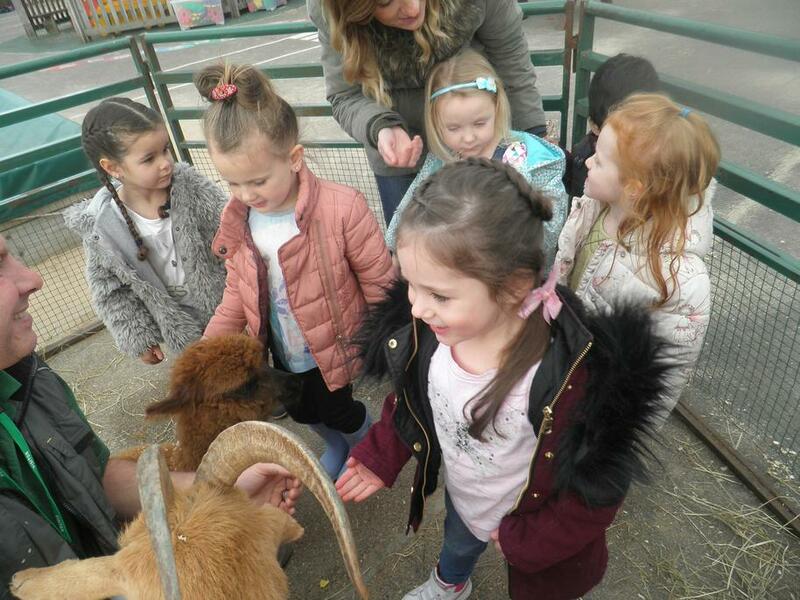 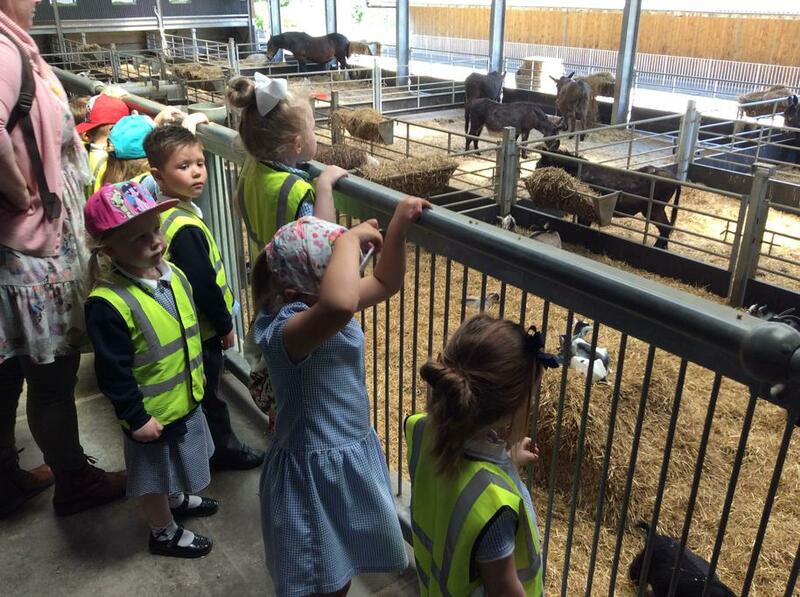 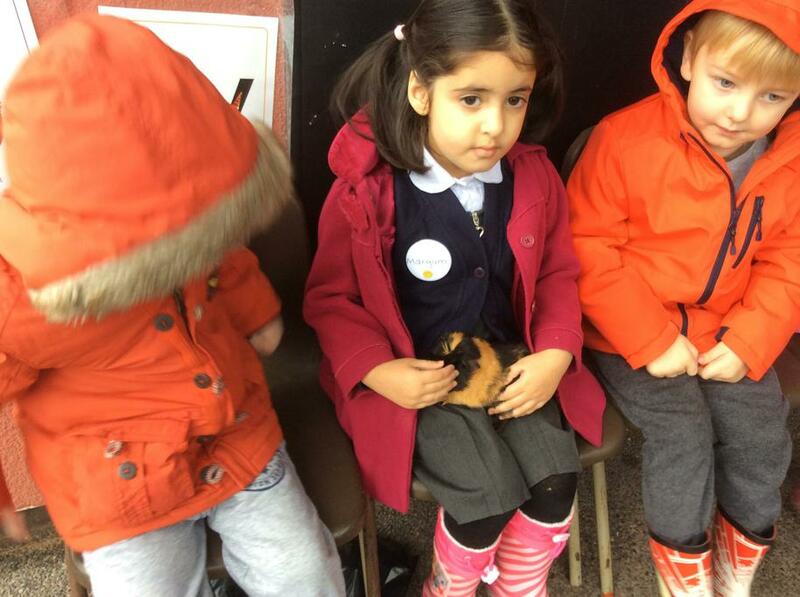 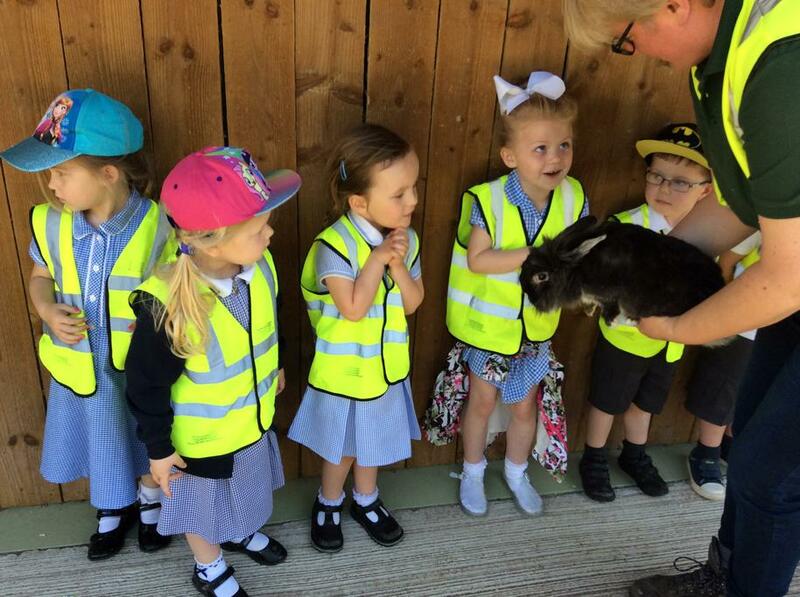 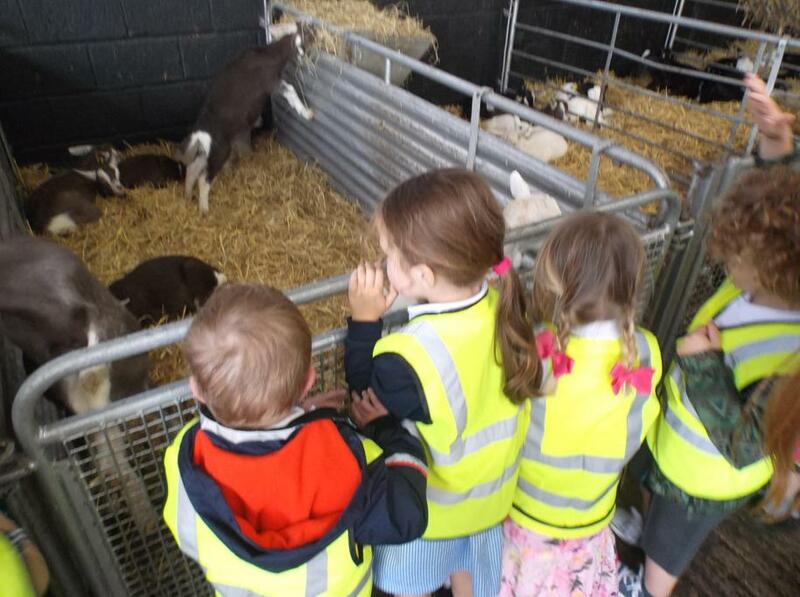 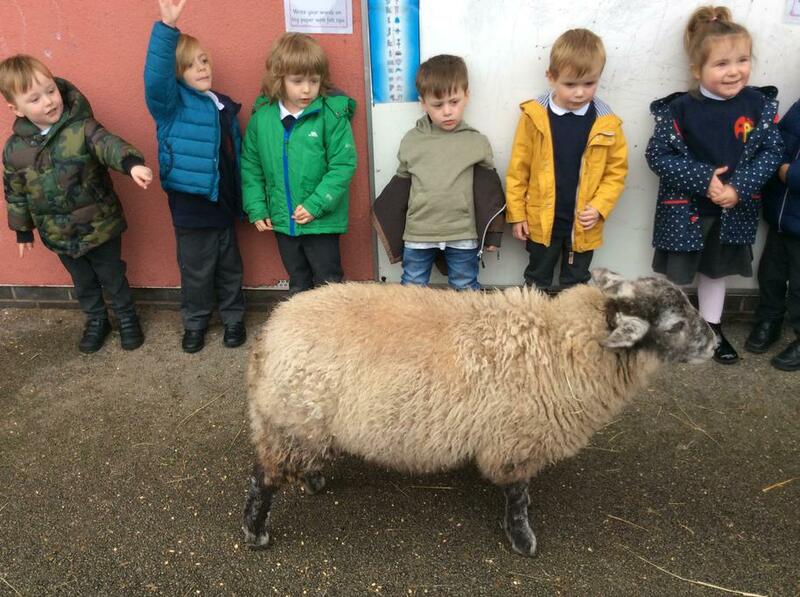 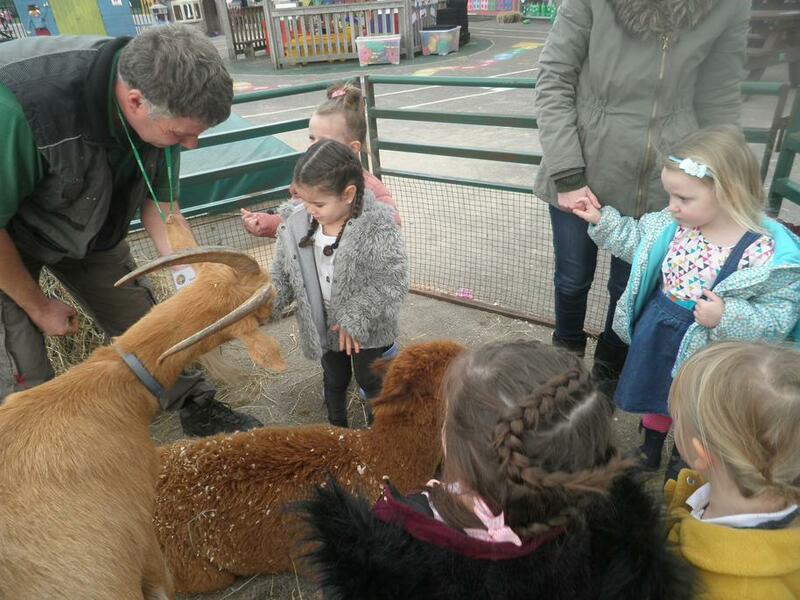 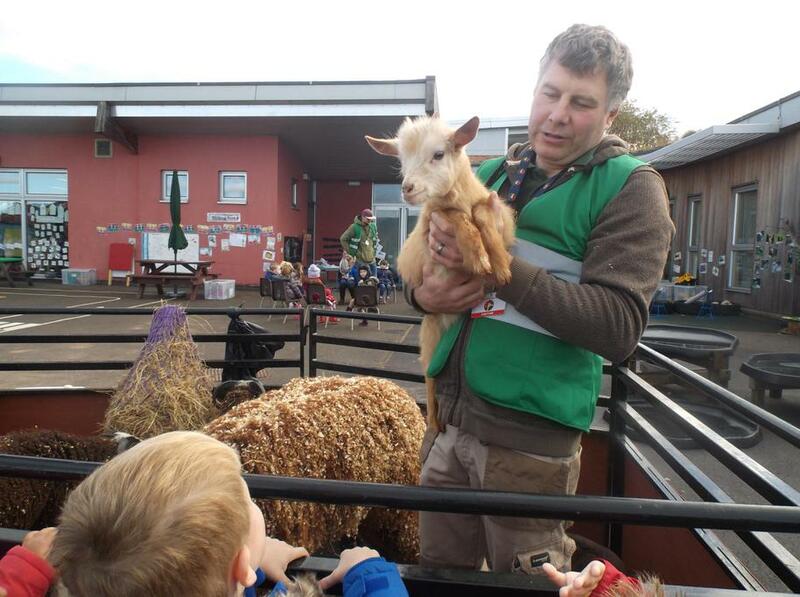 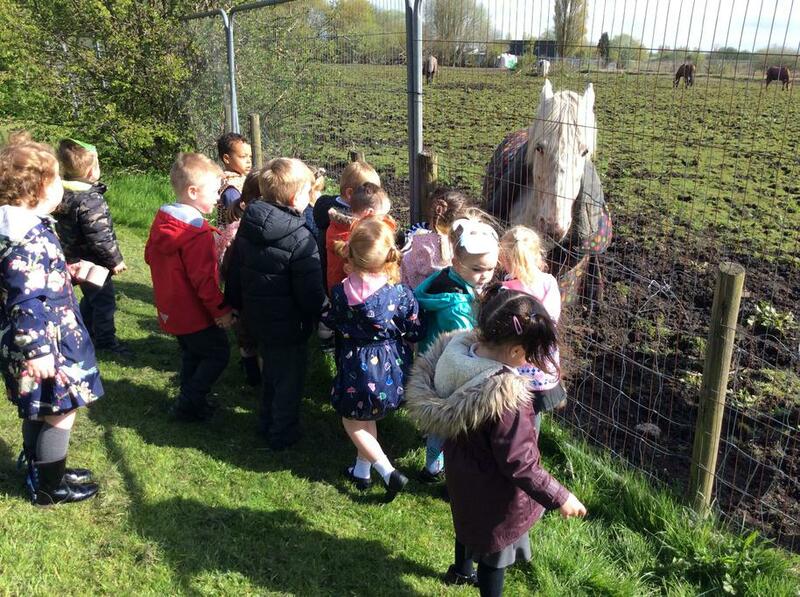 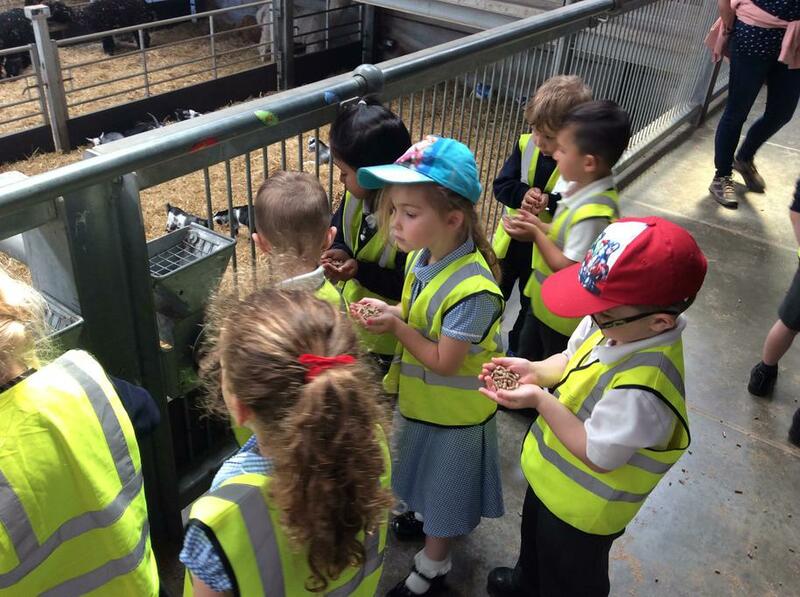 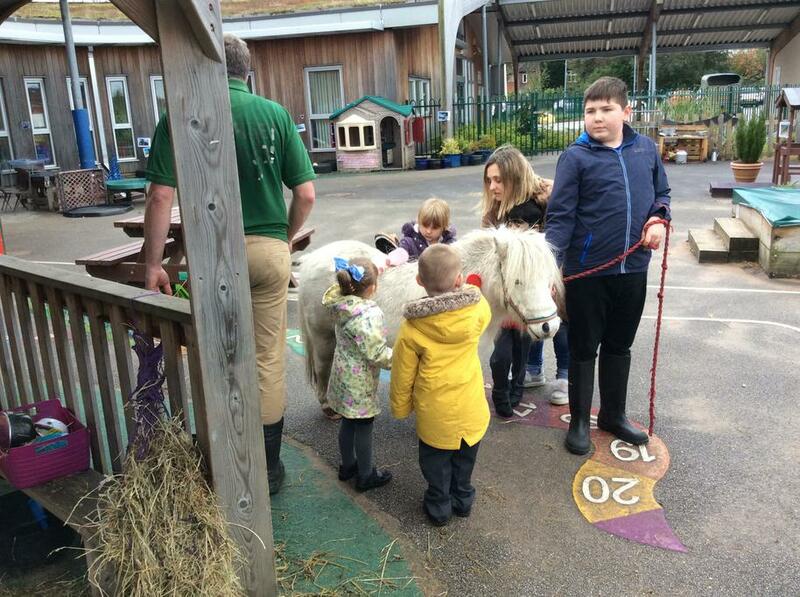 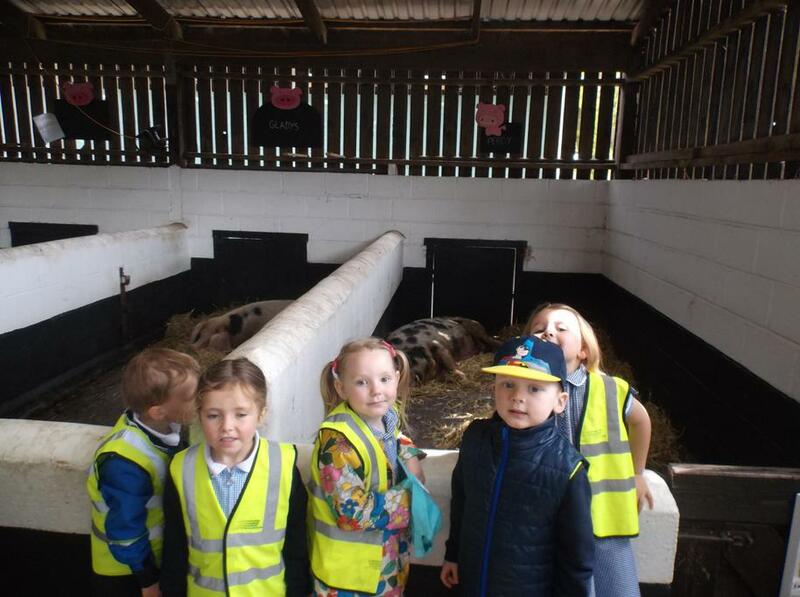 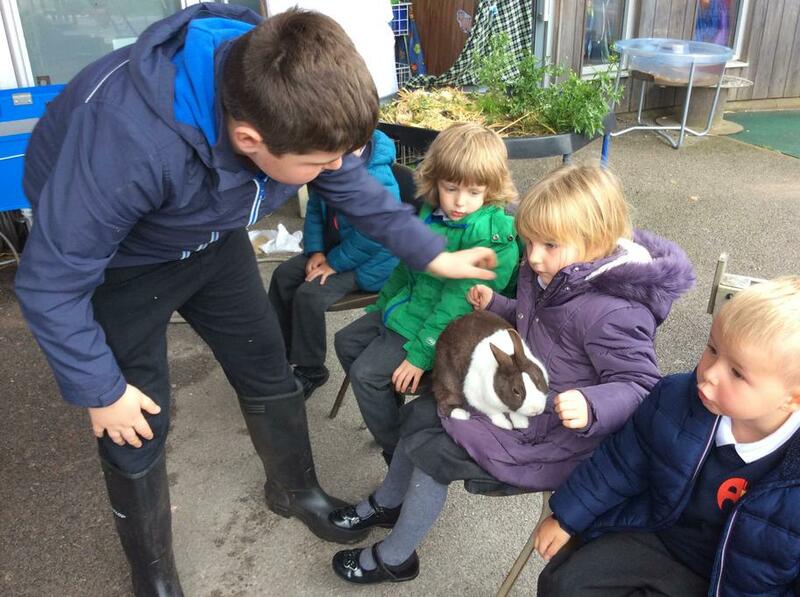 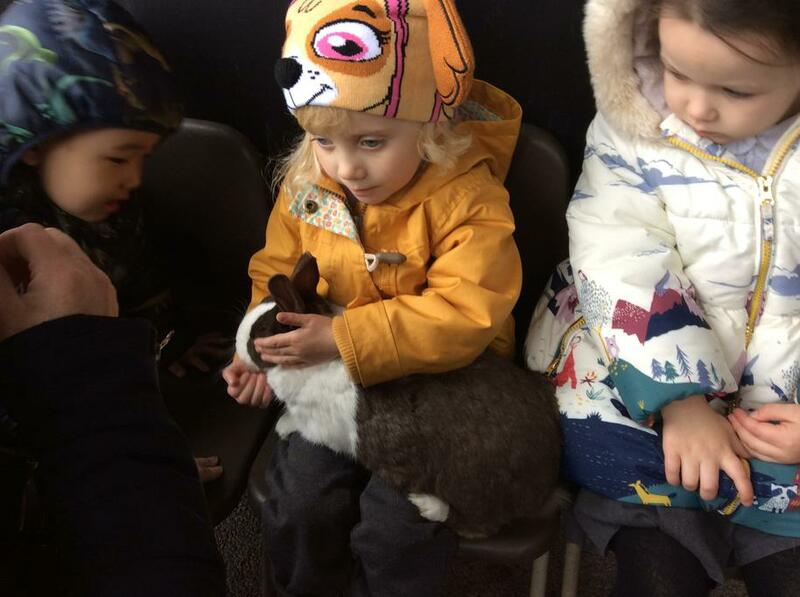 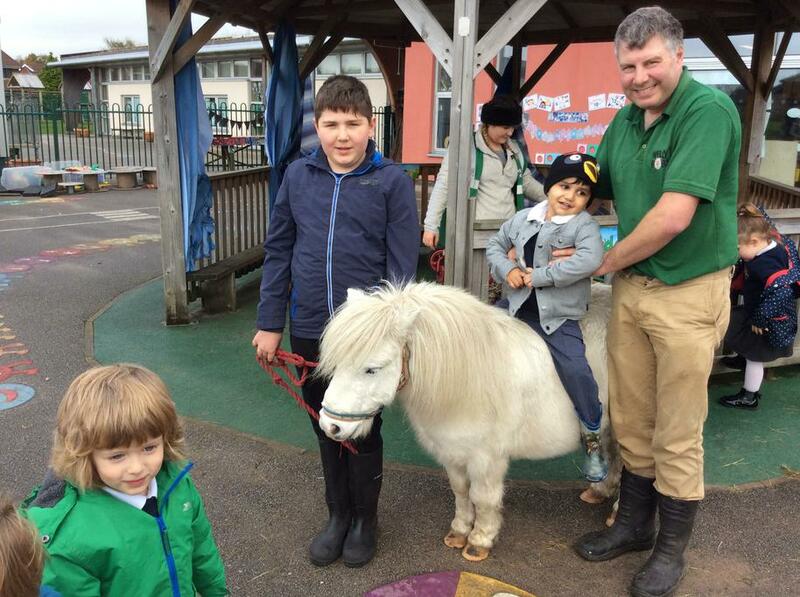 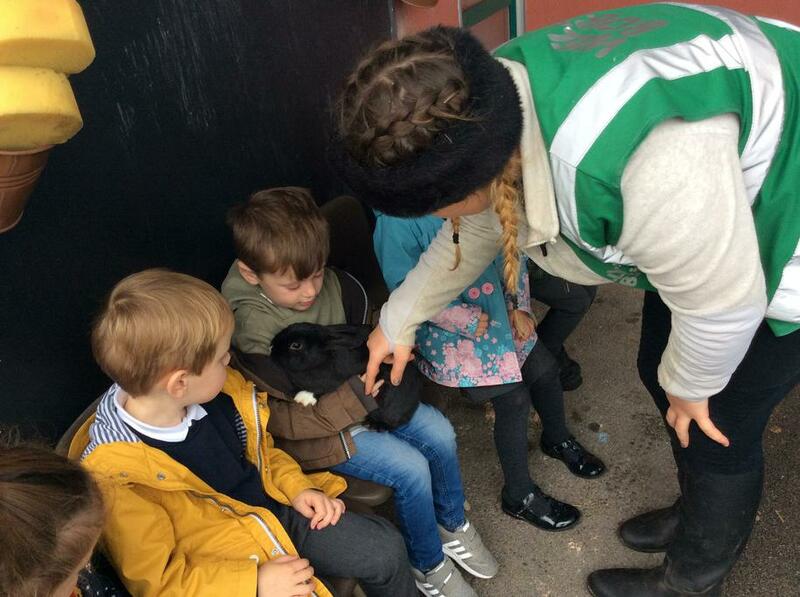 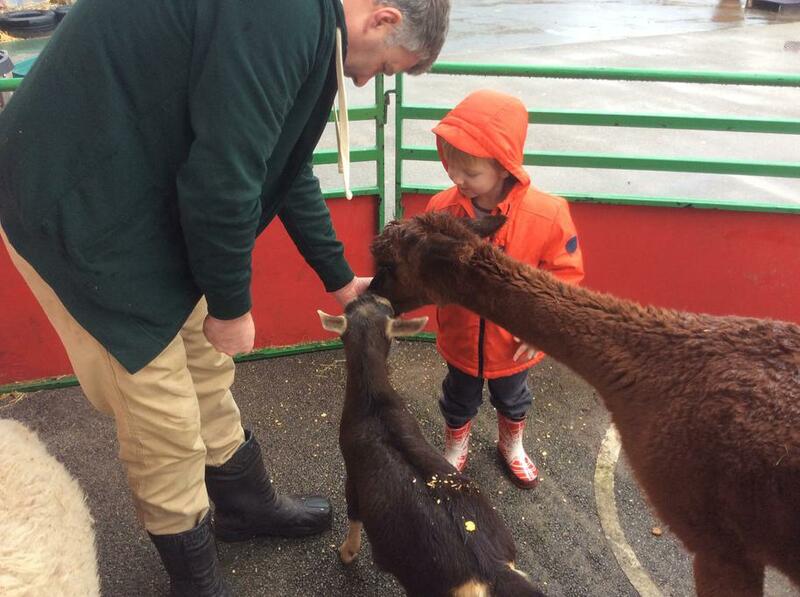 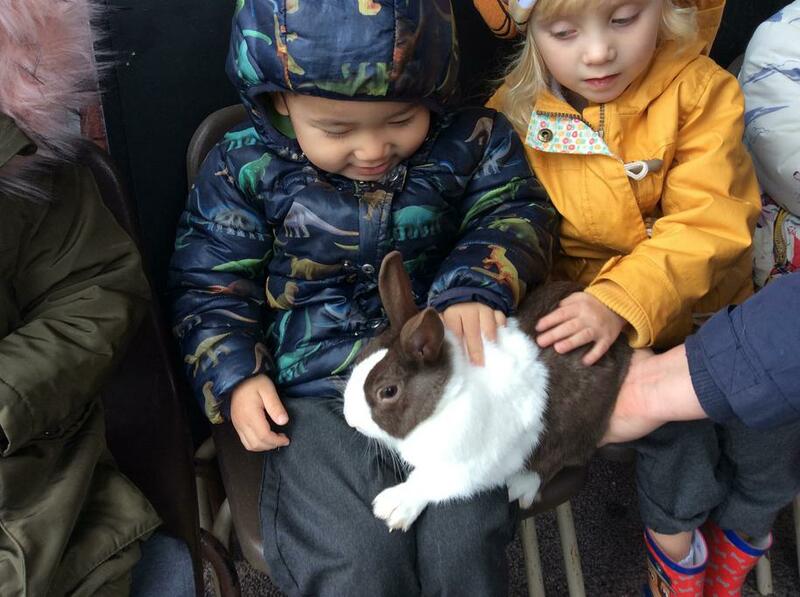 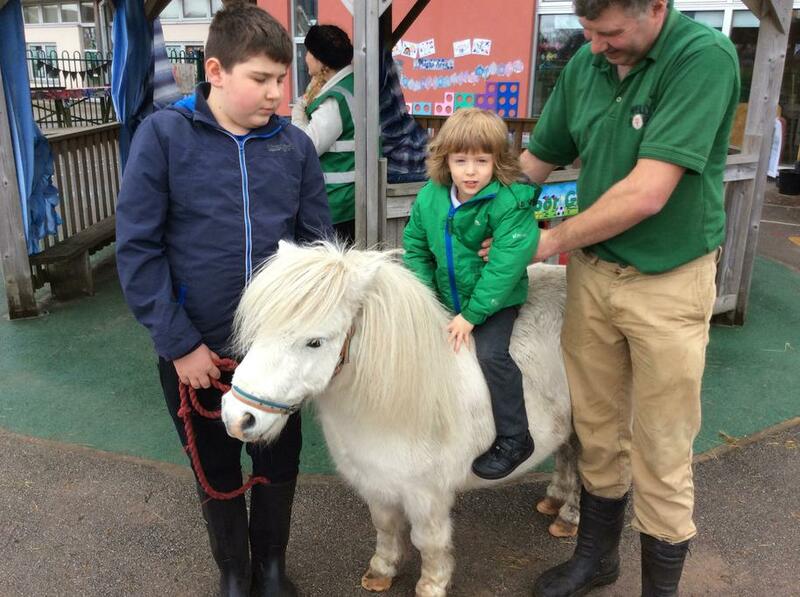 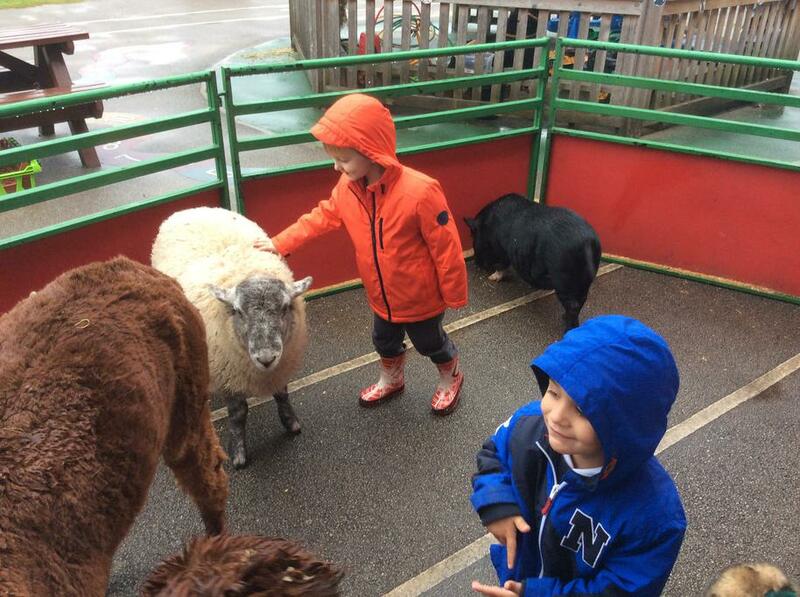 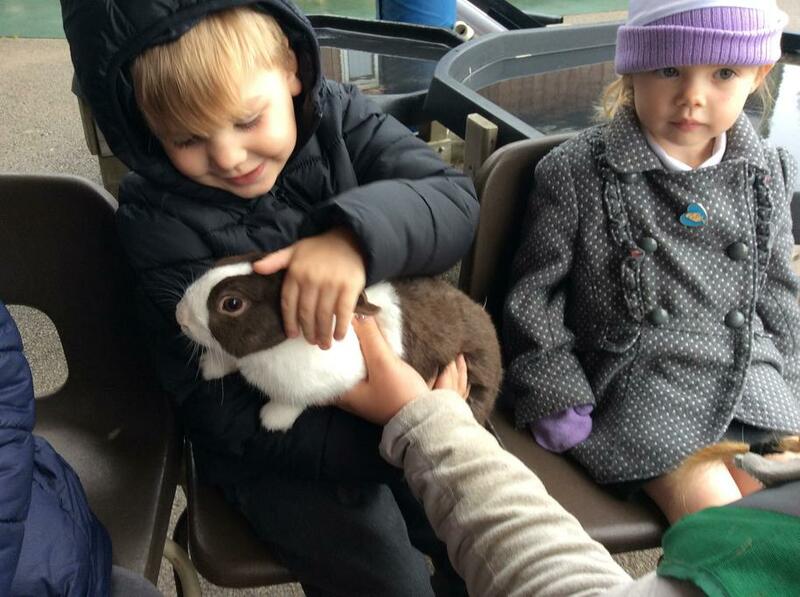 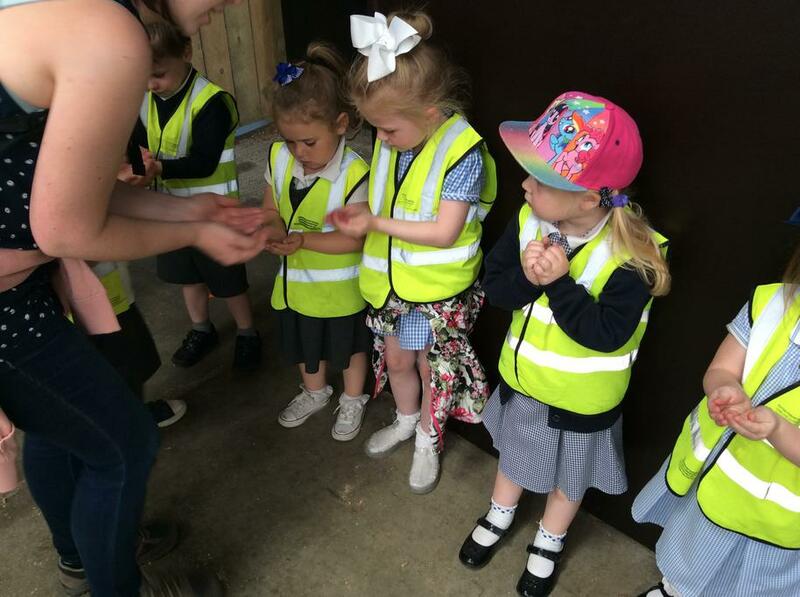 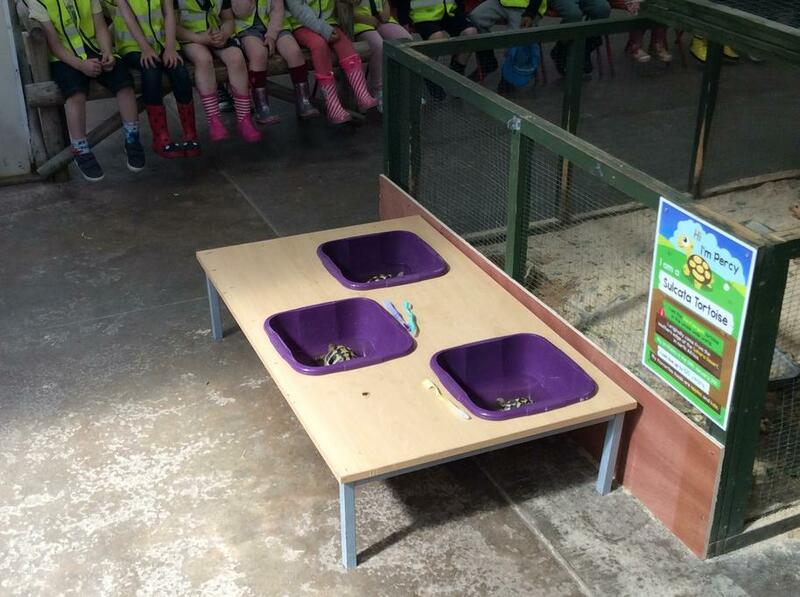 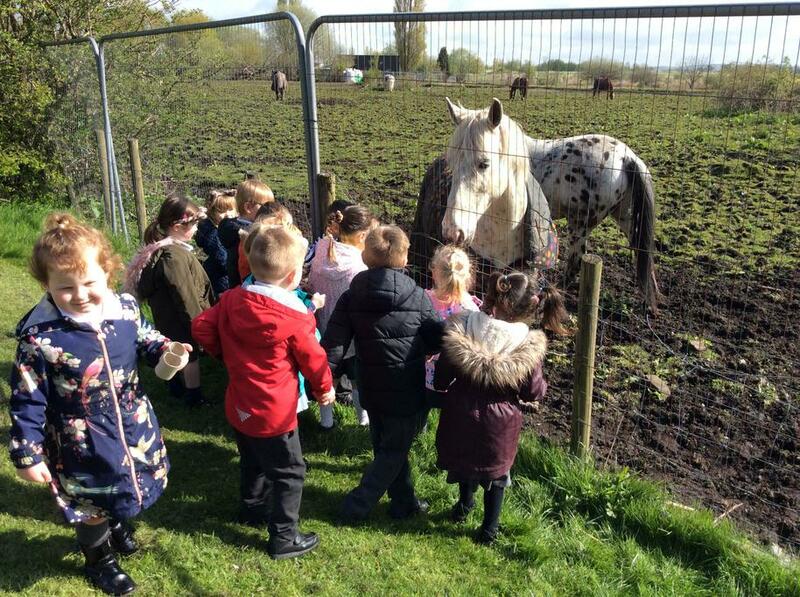 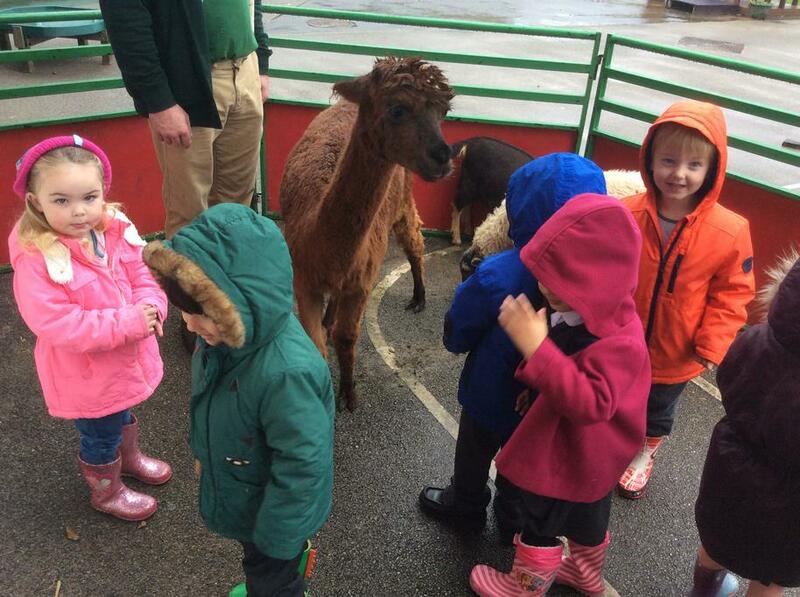 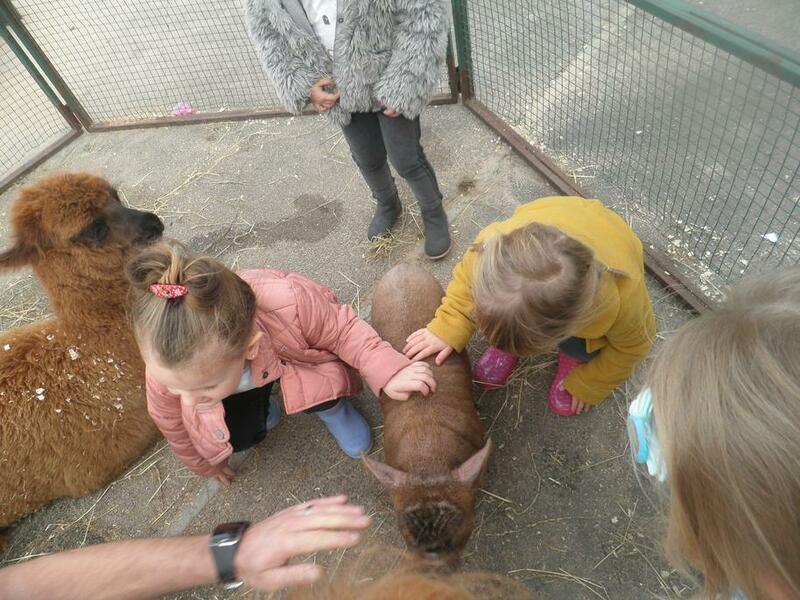 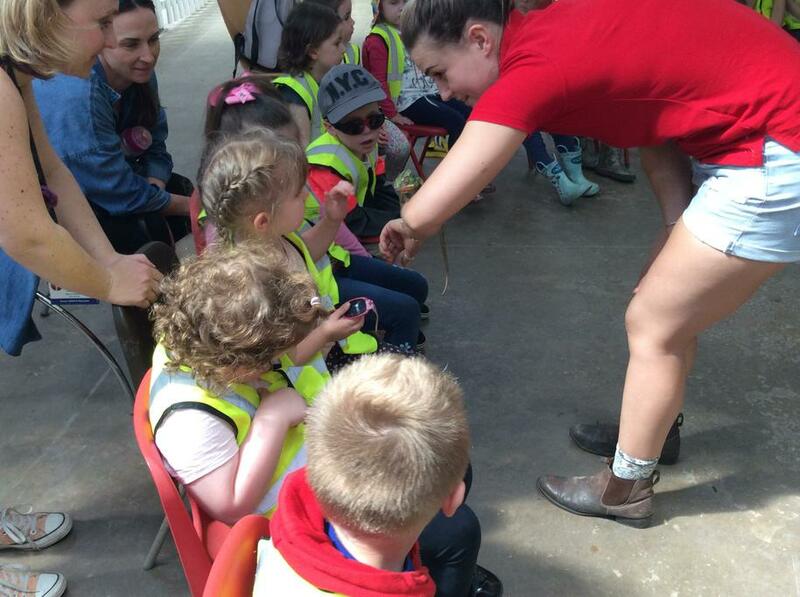 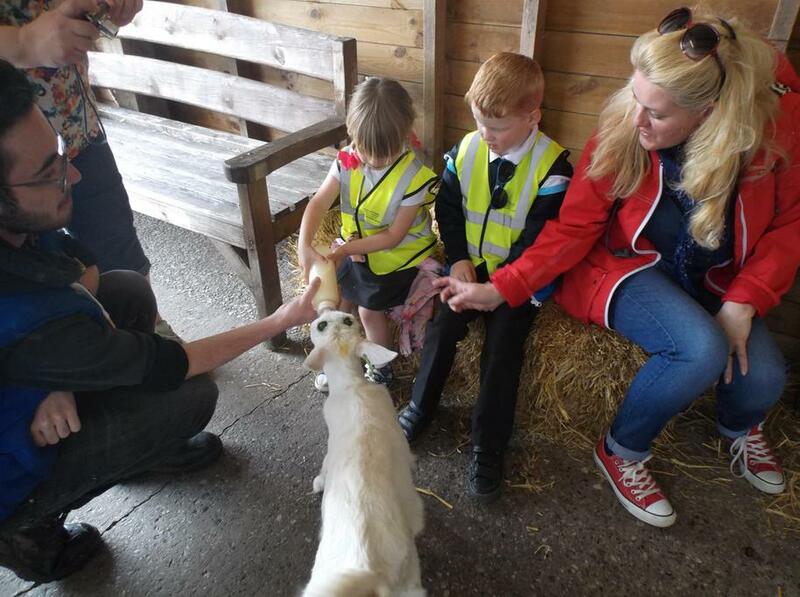 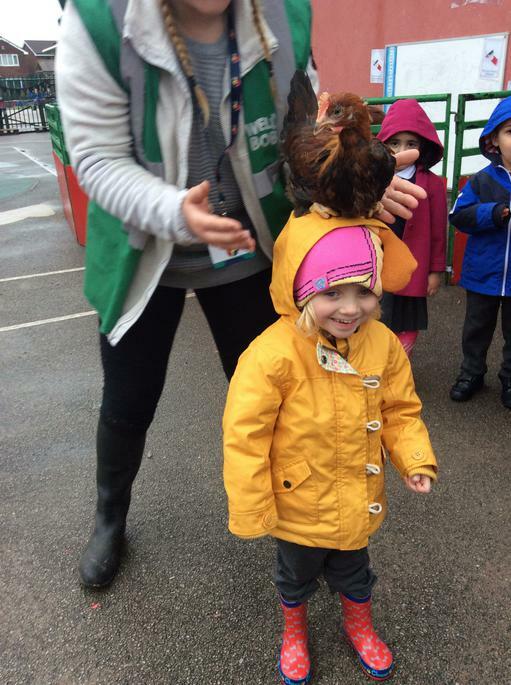 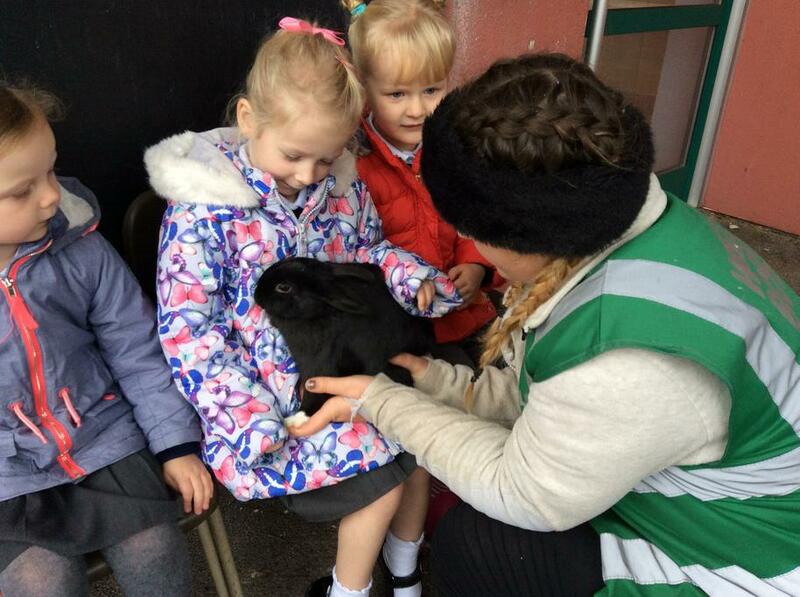 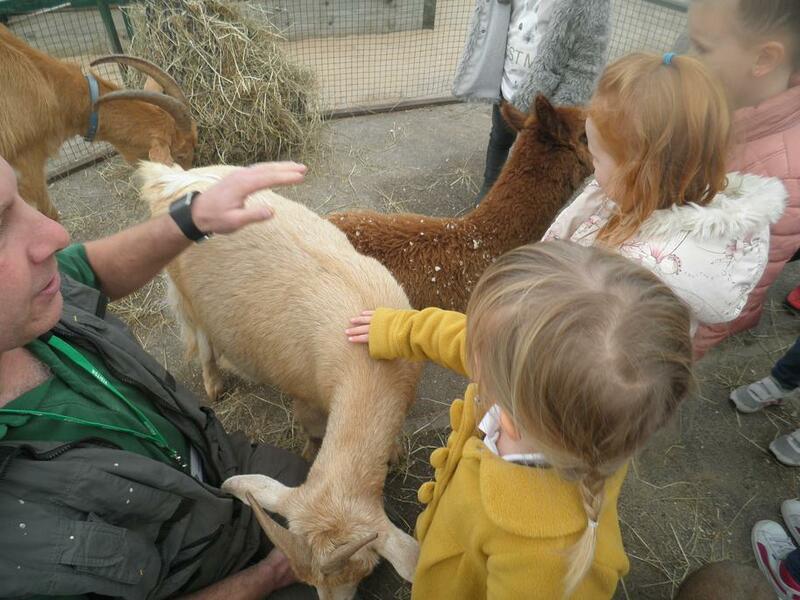 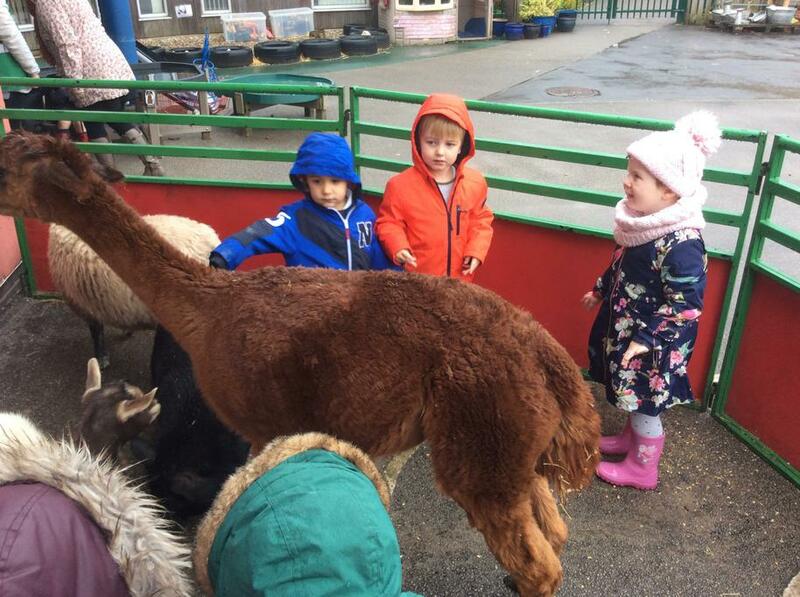 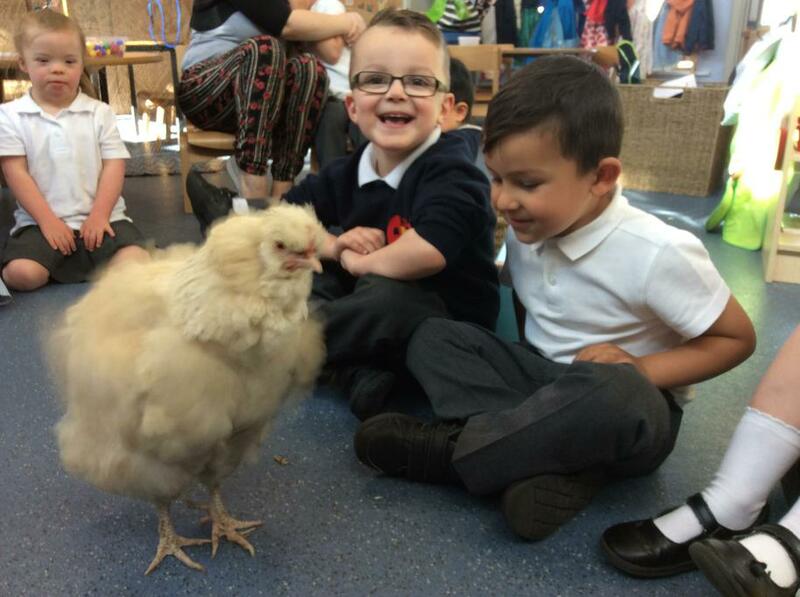 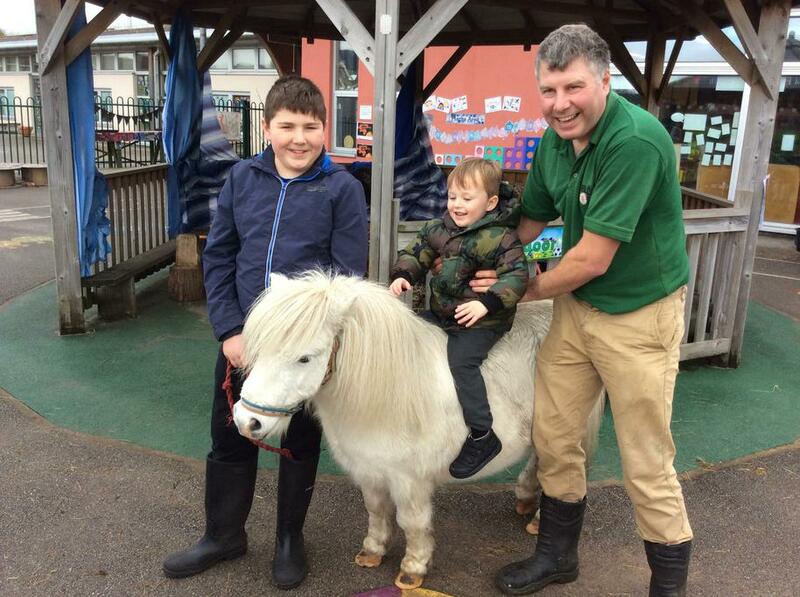 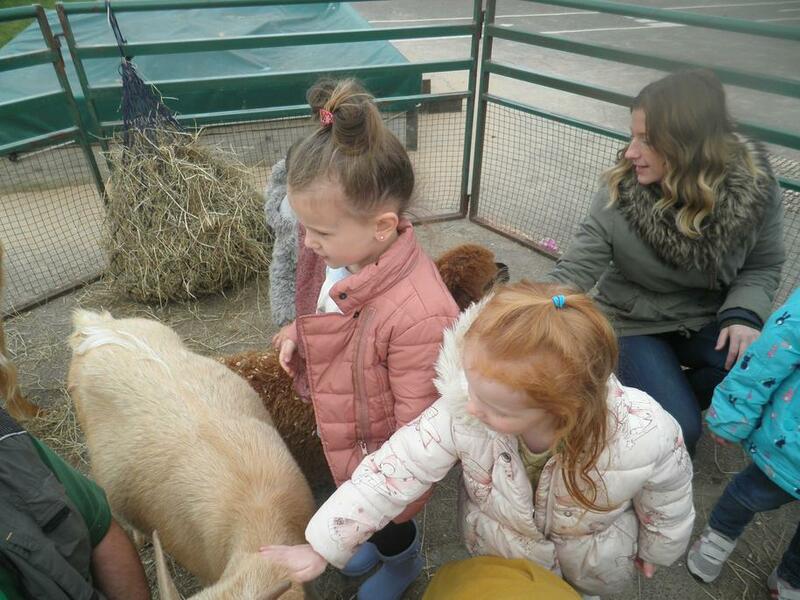 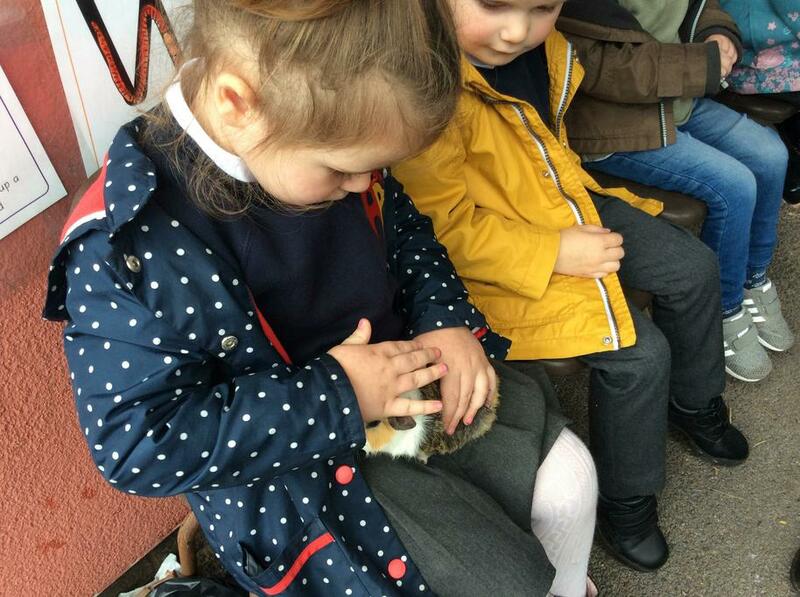 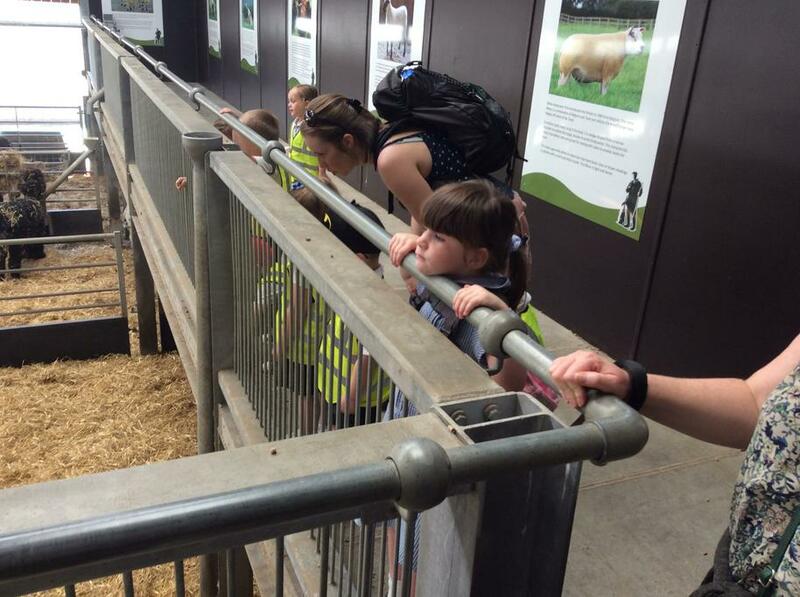 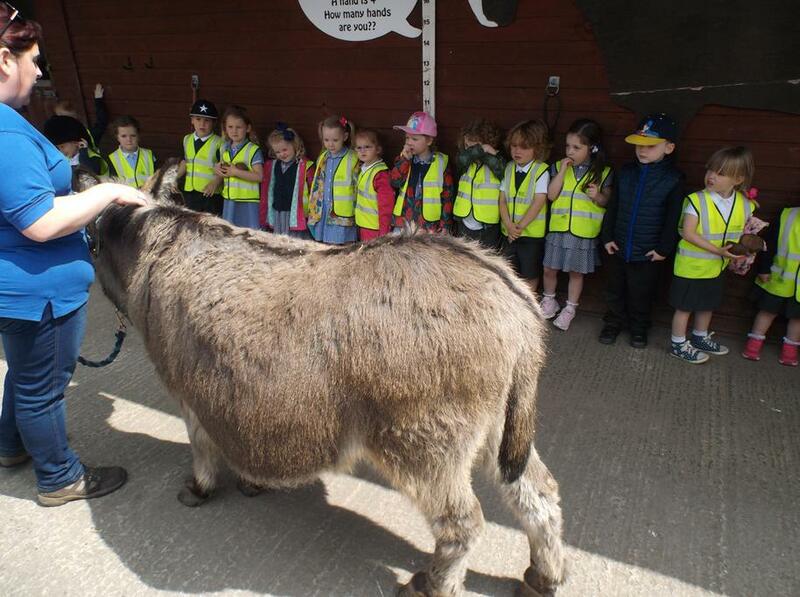 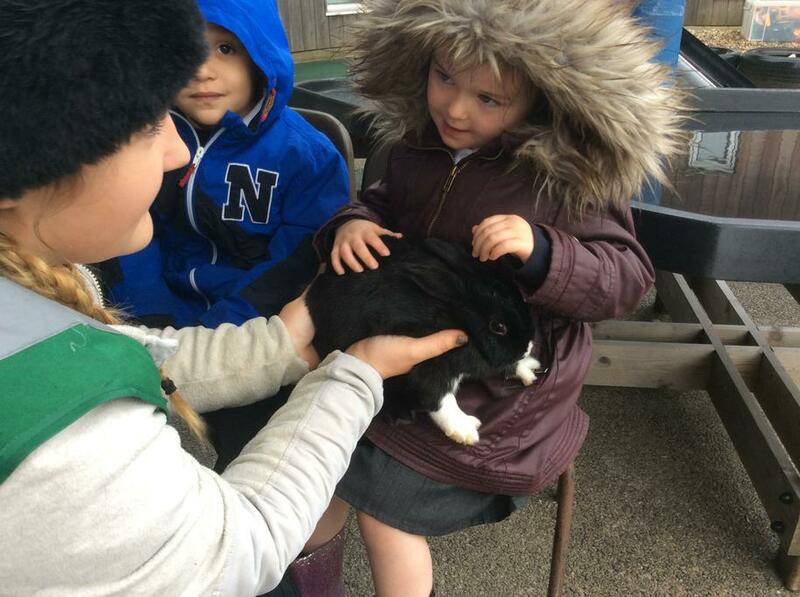 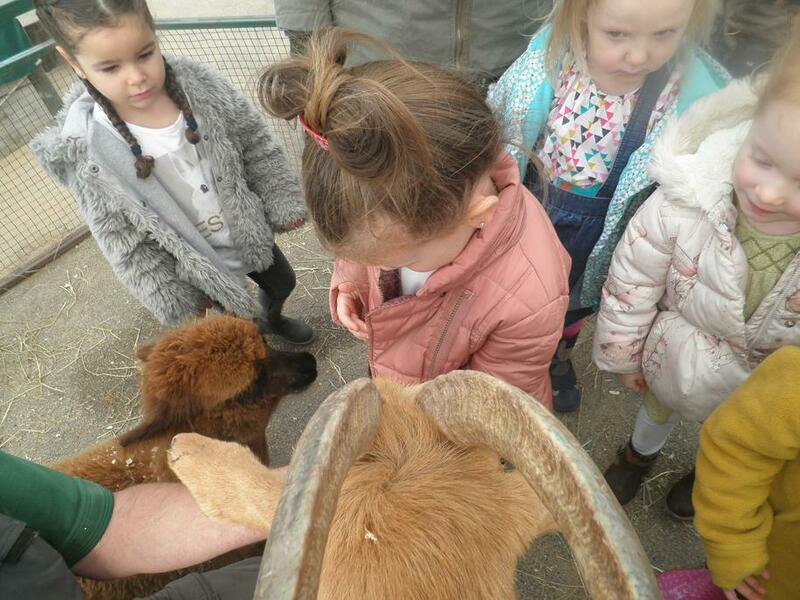 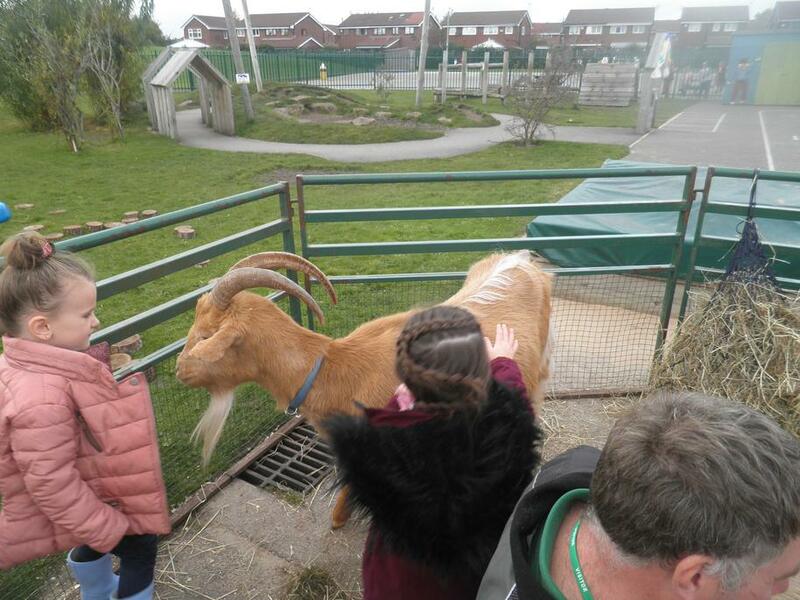 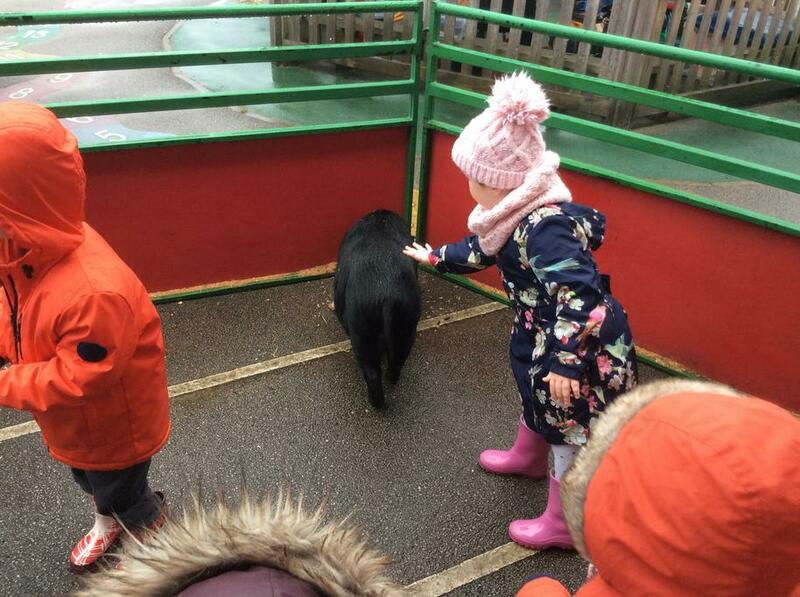 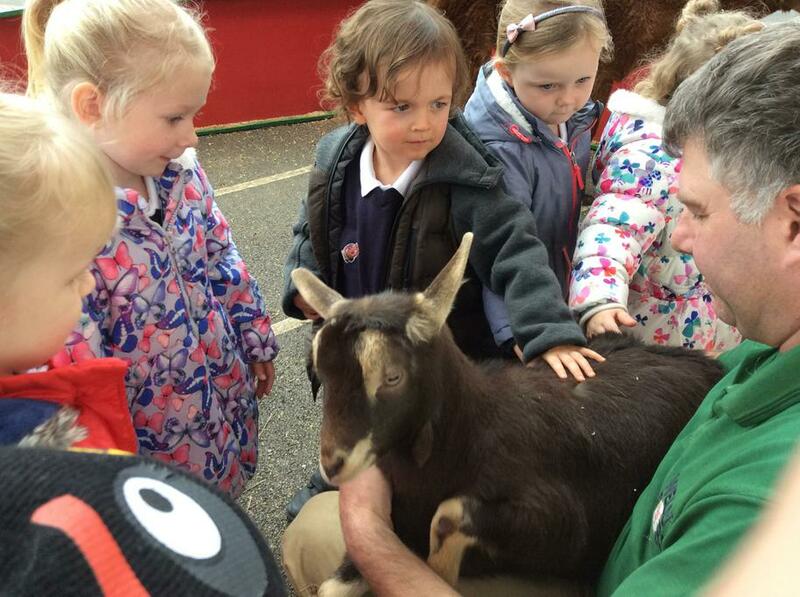 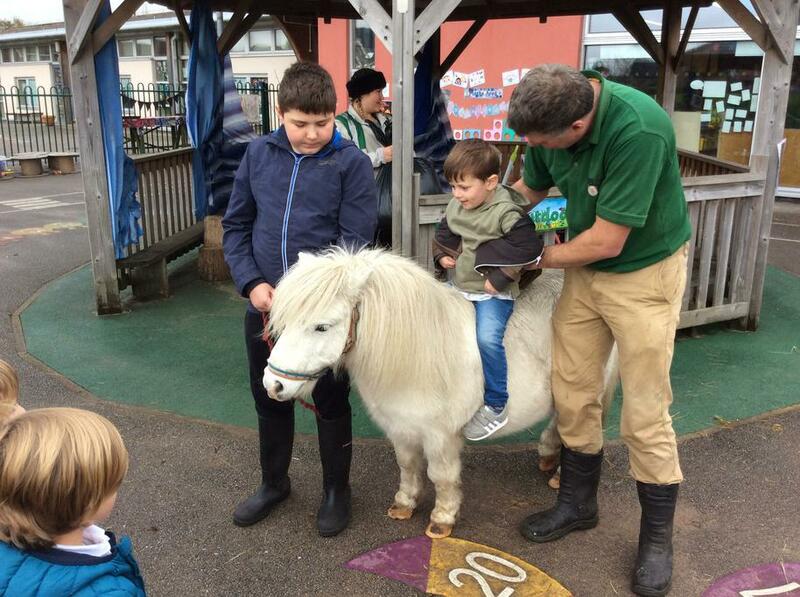 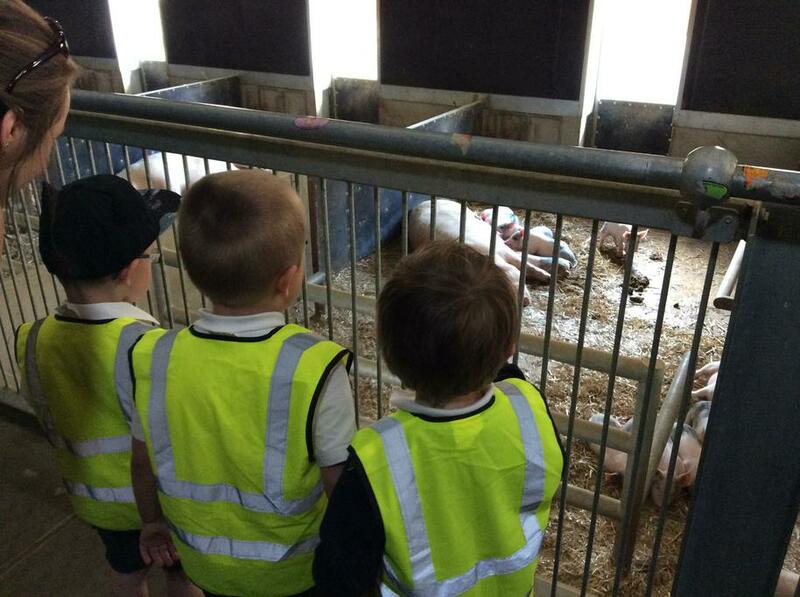 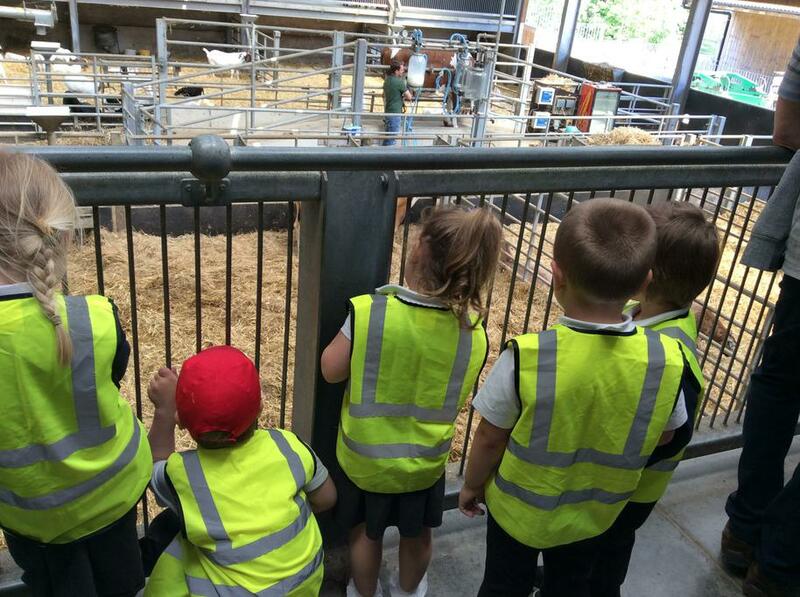 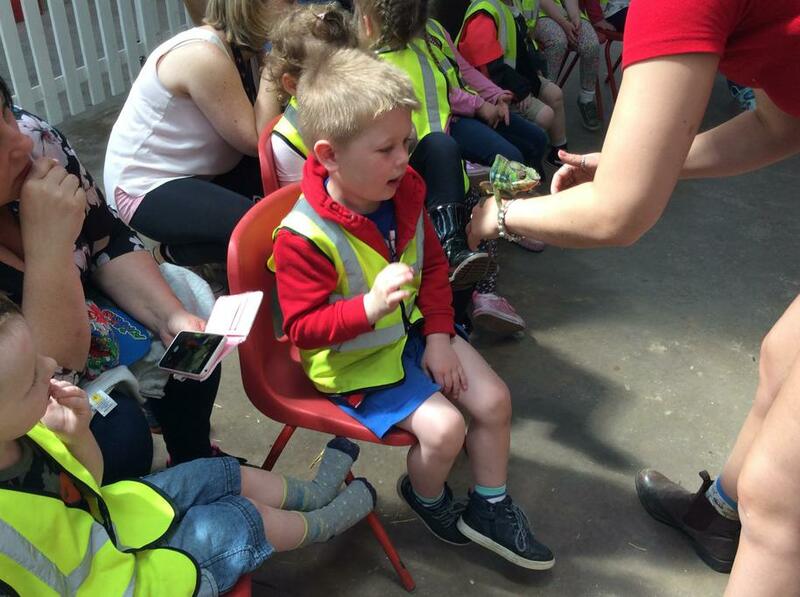 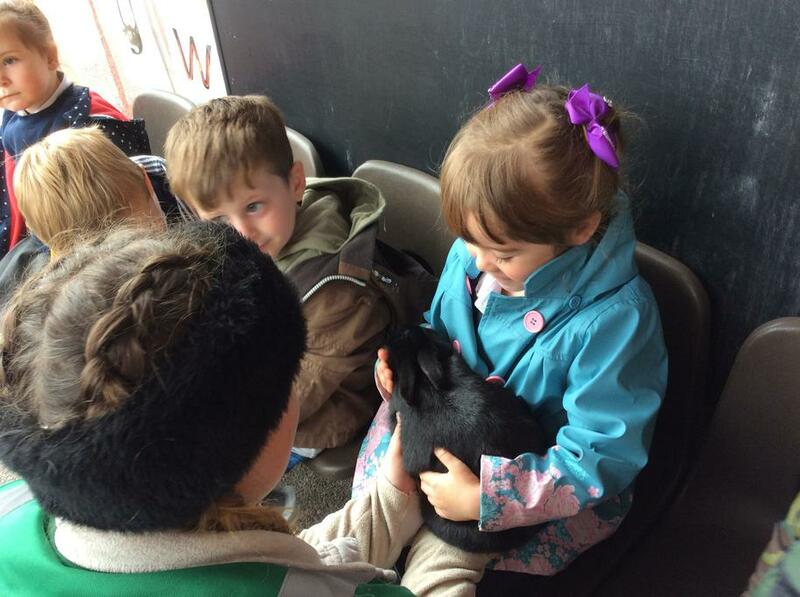 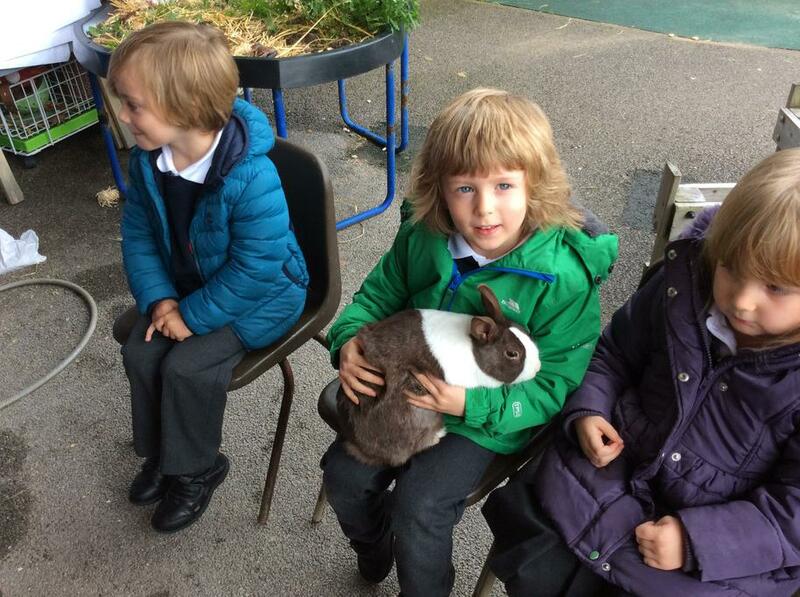 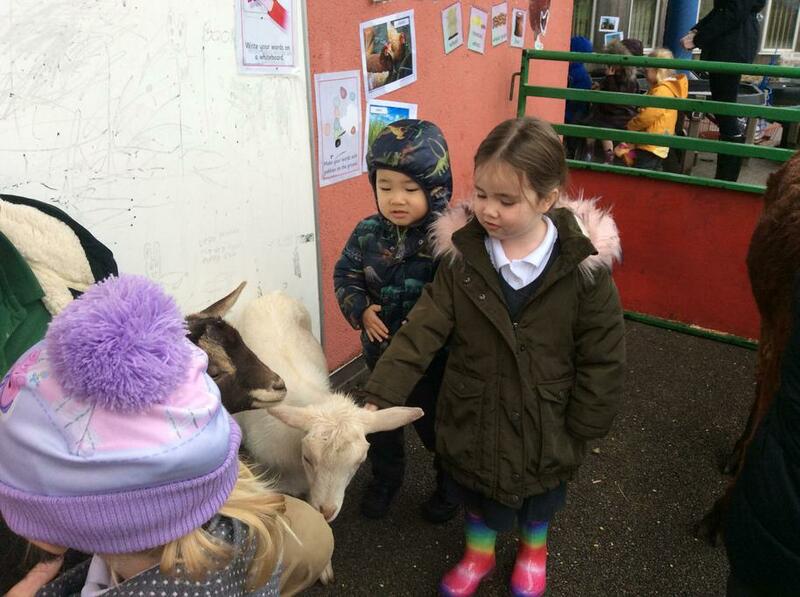 We have enjoyed learning about farm animals and it was lovely to see the animals from Wellybob's Farm! 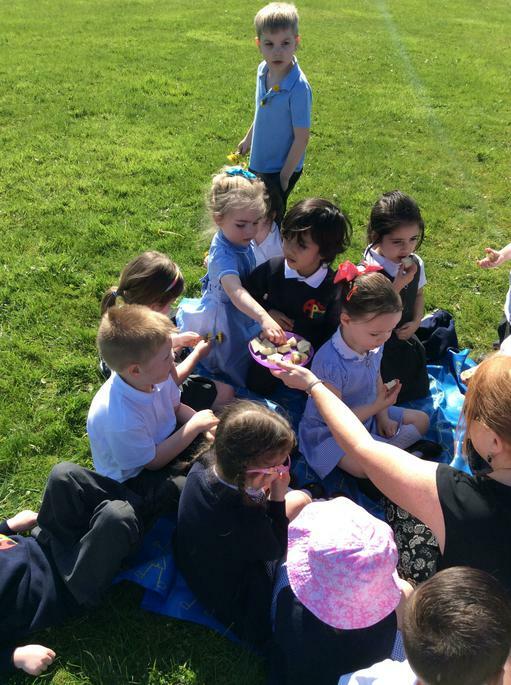 This Friday we had a treat. 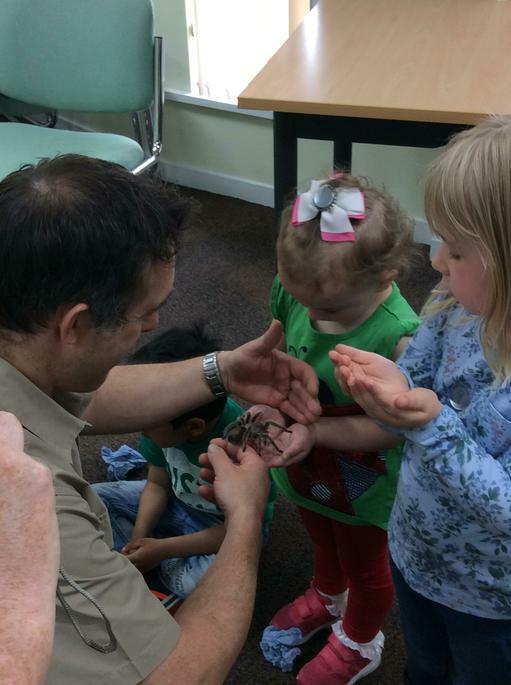 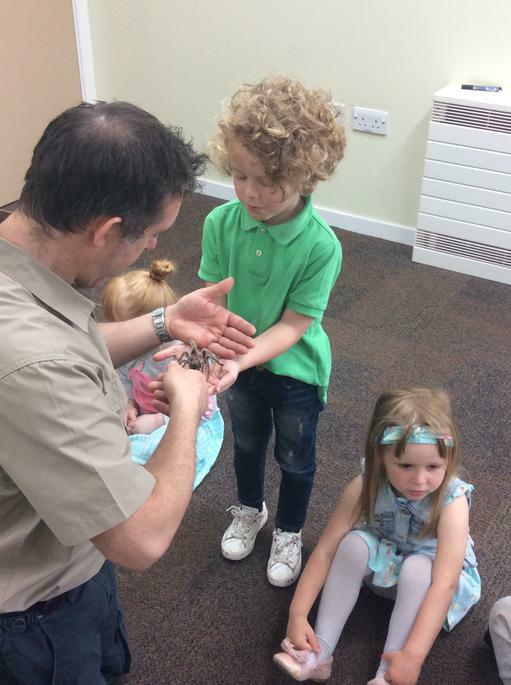 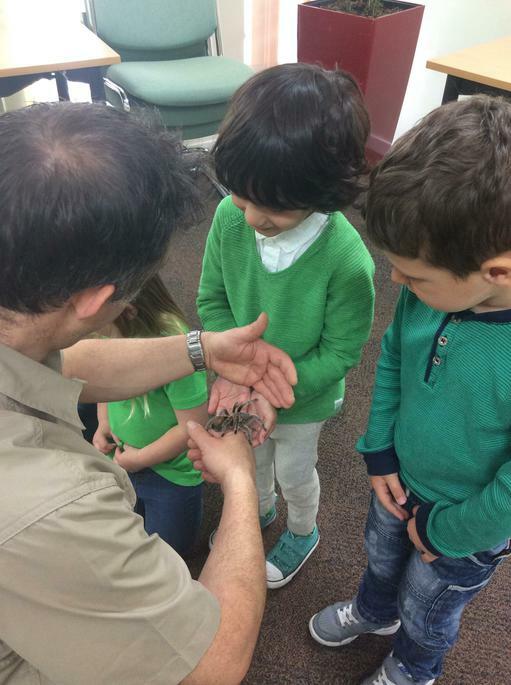 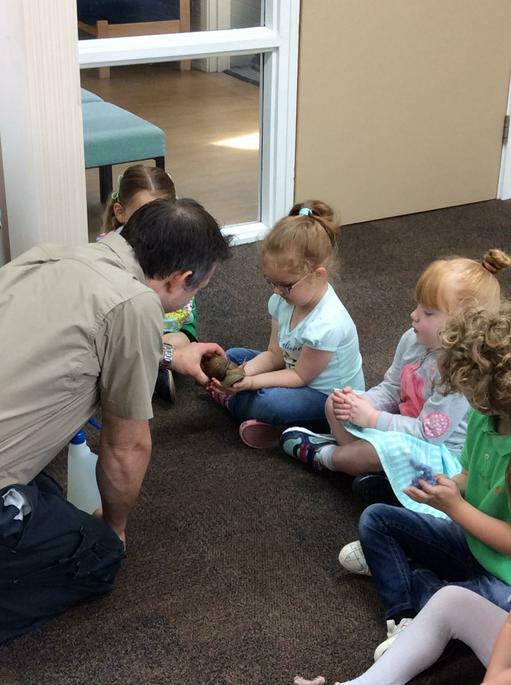 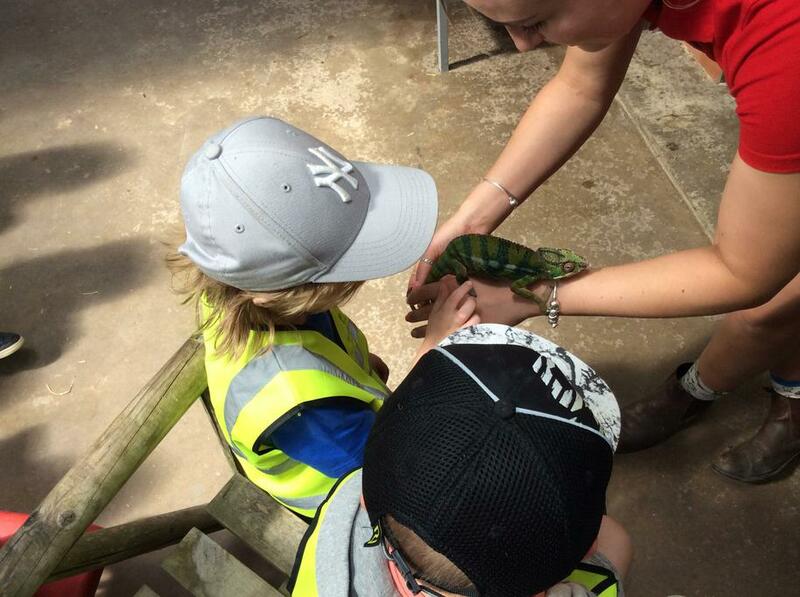 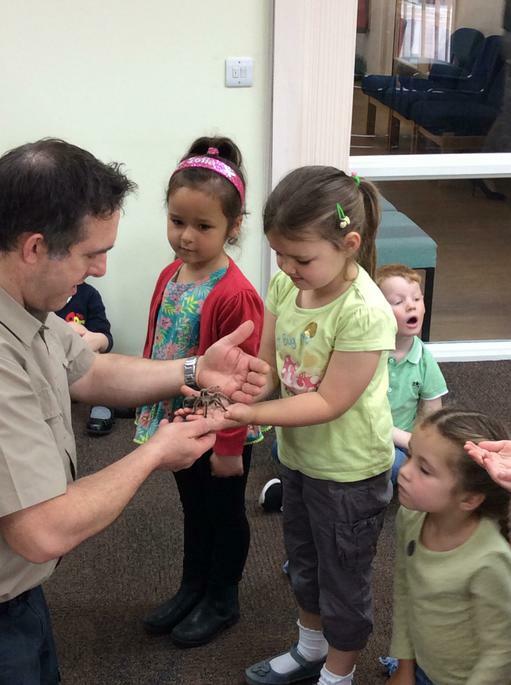 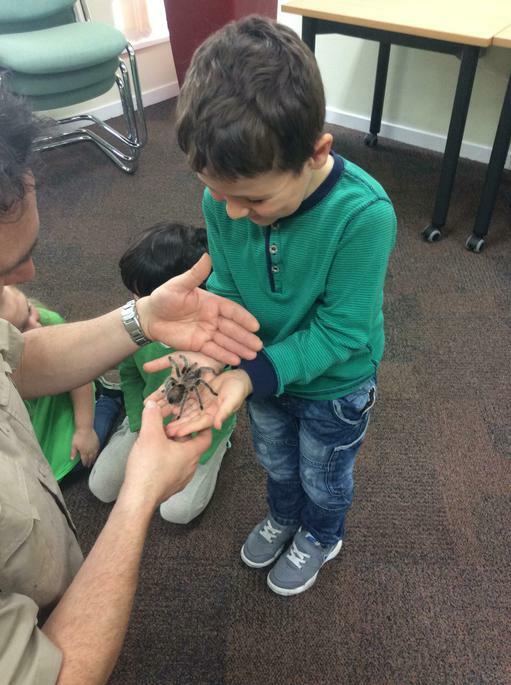 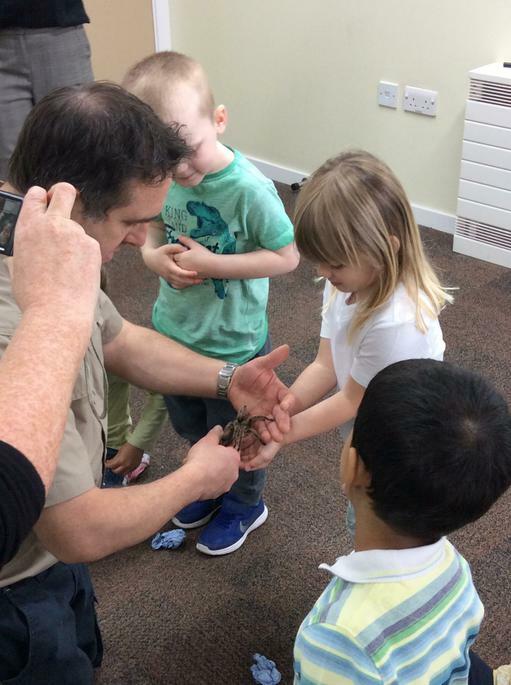 Andy the Minibeast man brought some of his pets to see us. 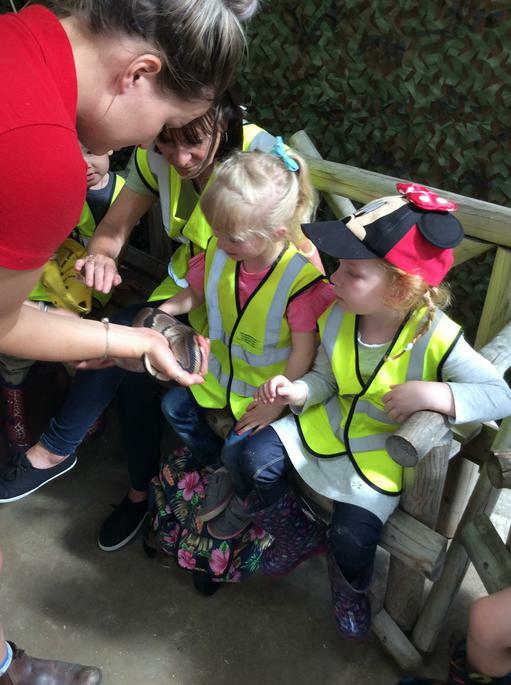 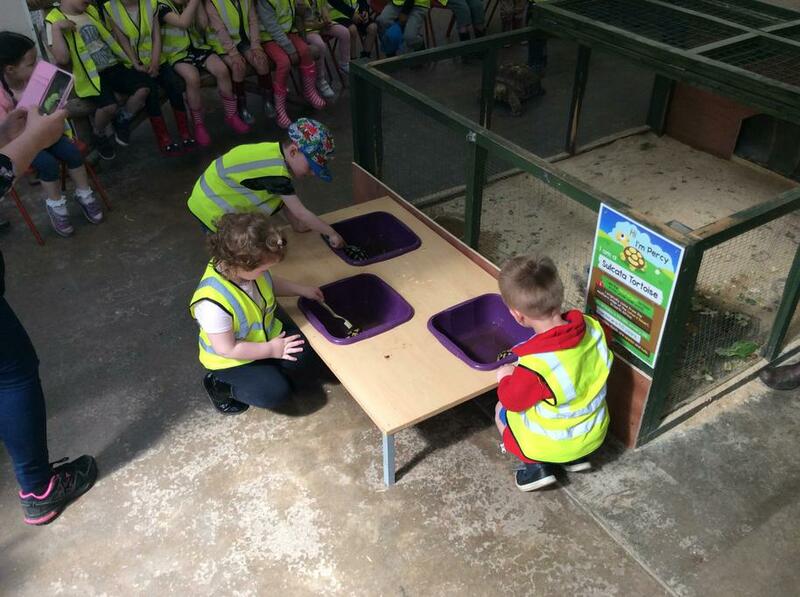 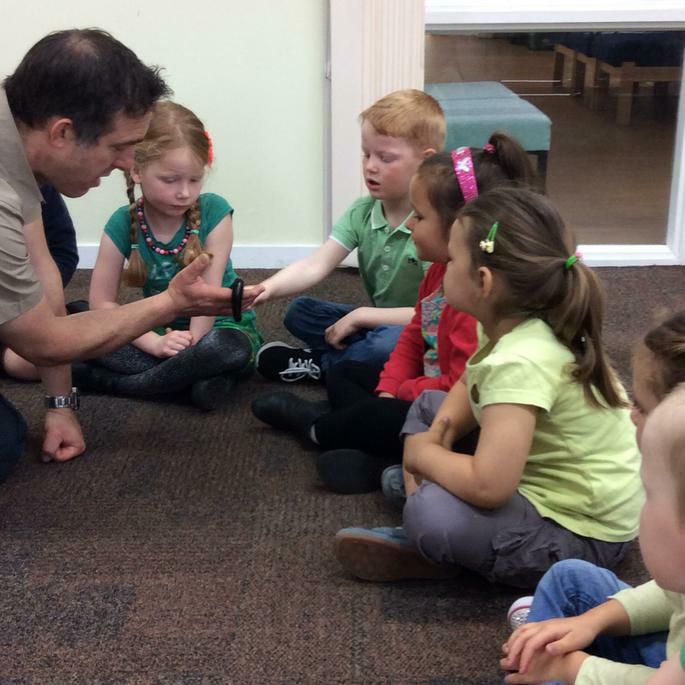 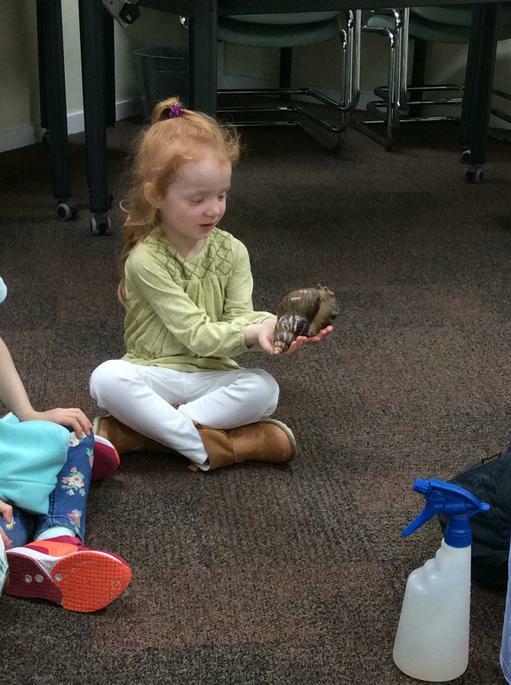 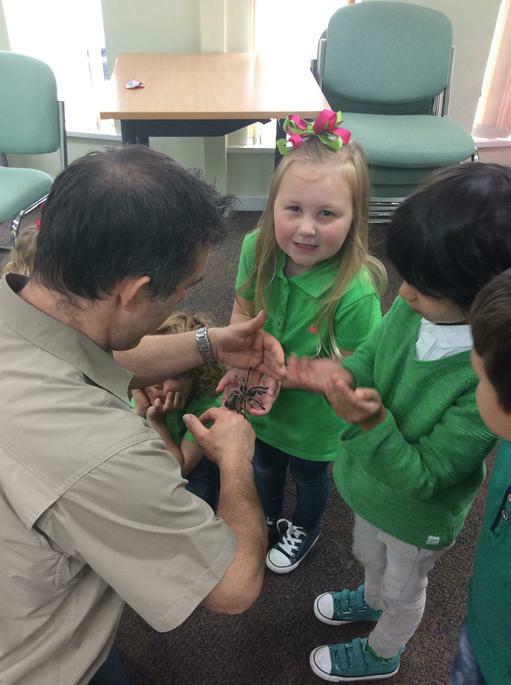 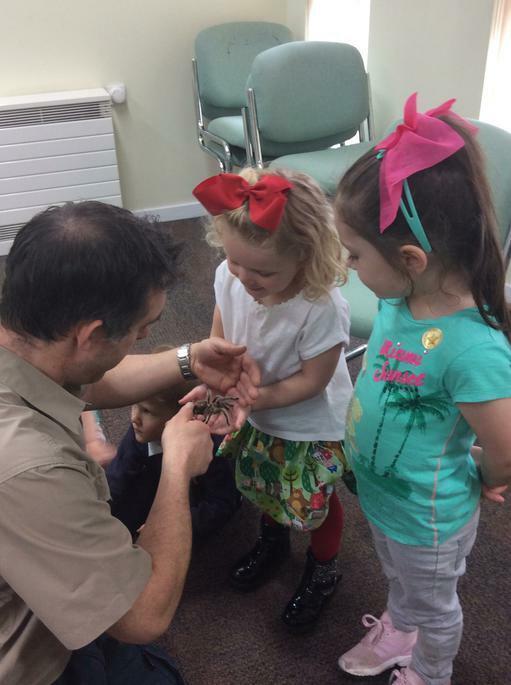 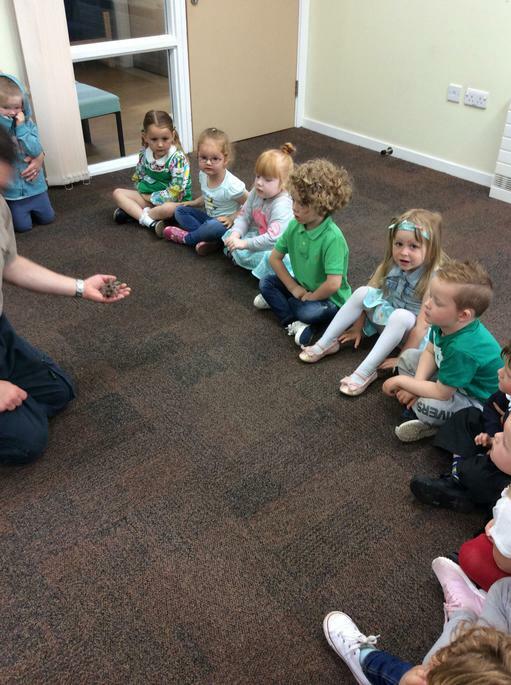 'Marge' the millipede, 'Matilda' the snail and 'Charlotte' the spider. 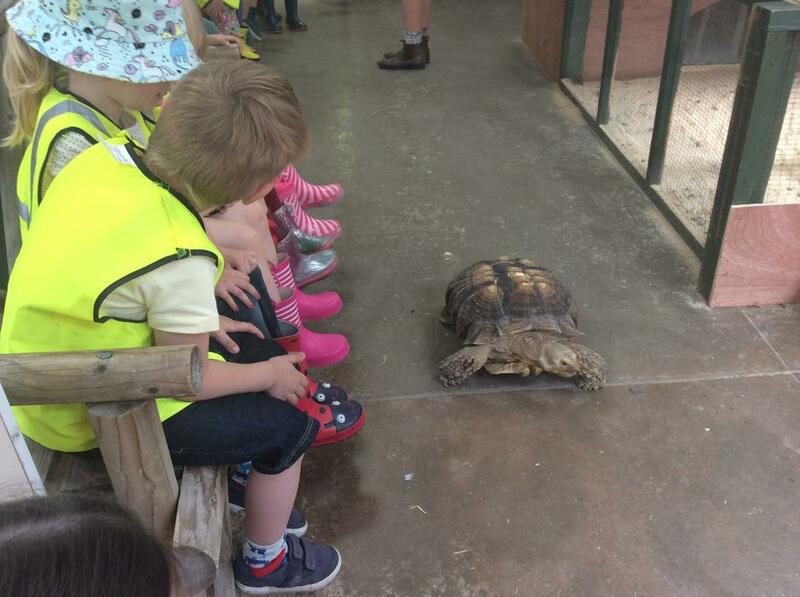 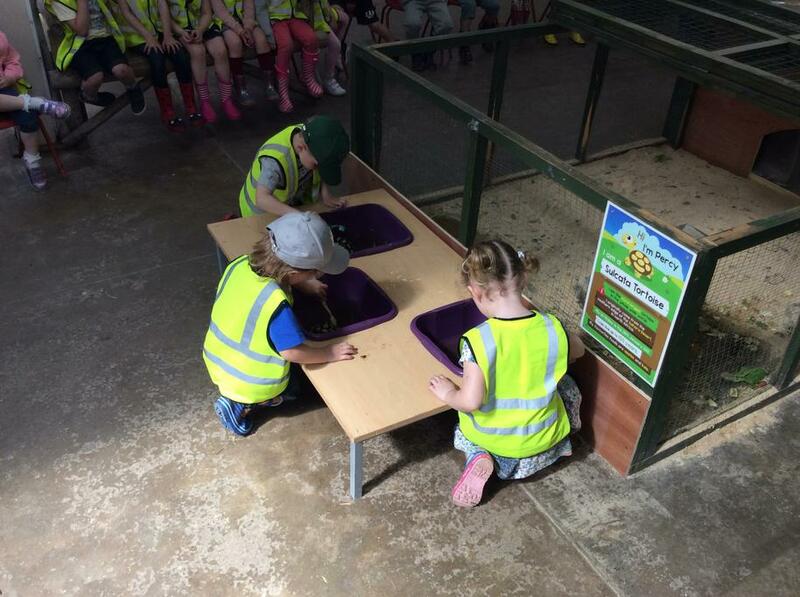 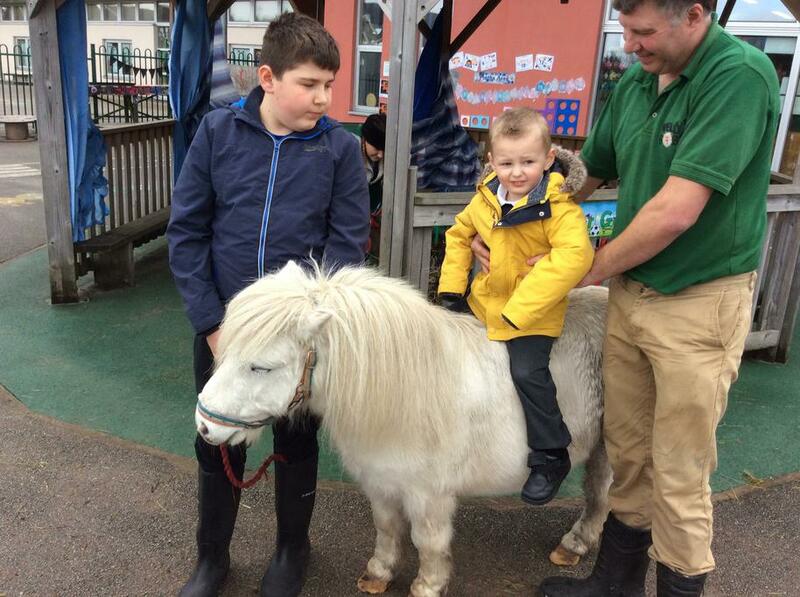 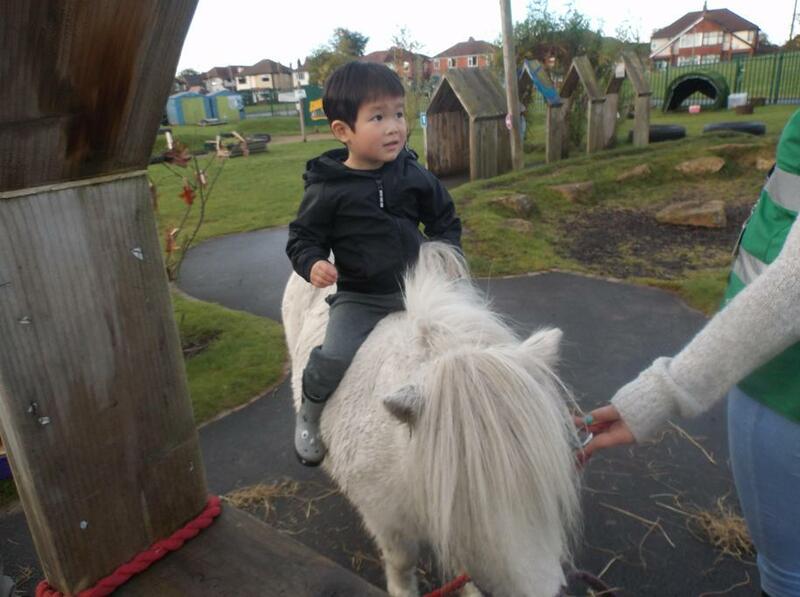 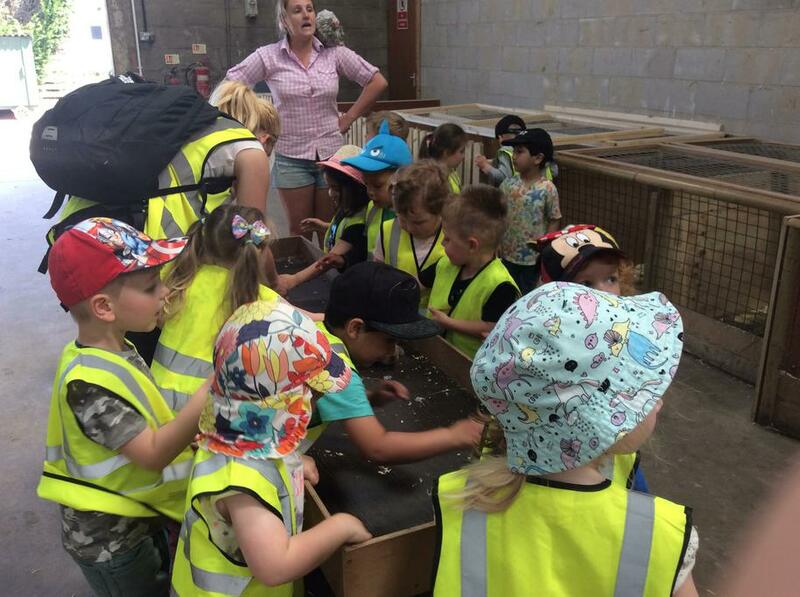 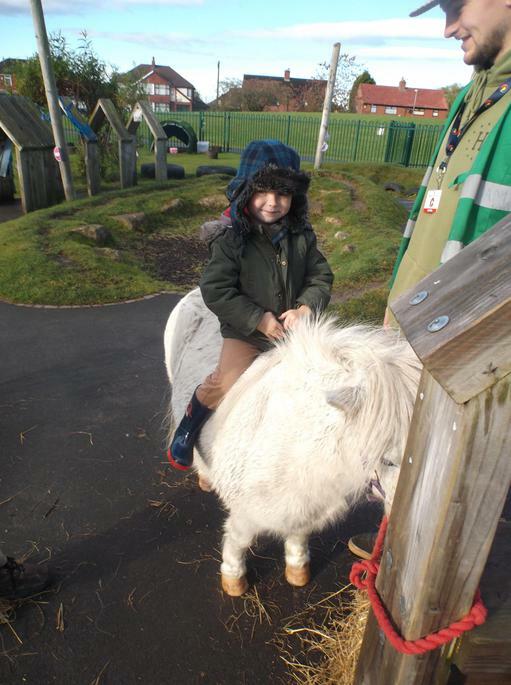 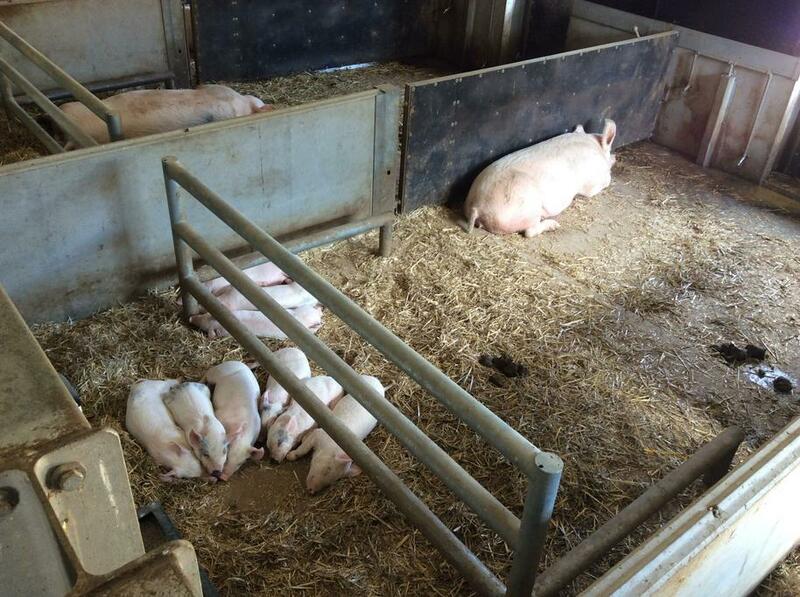 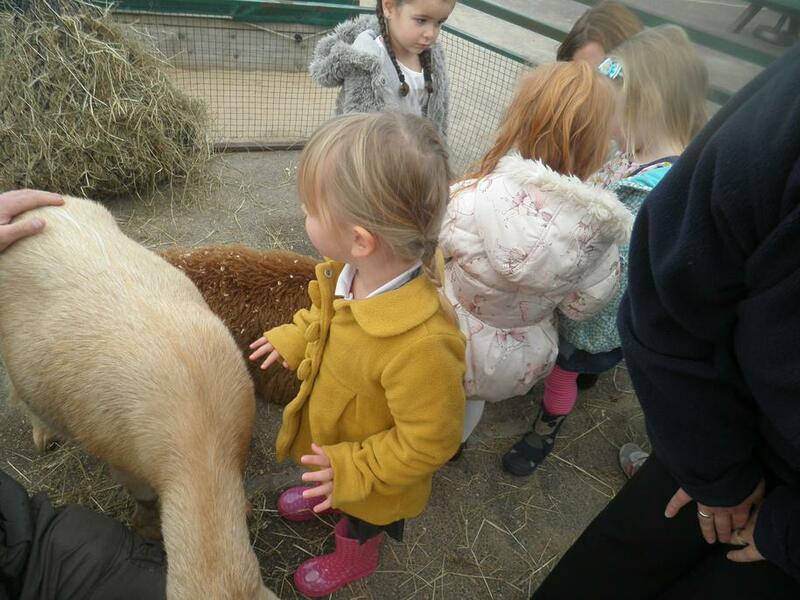 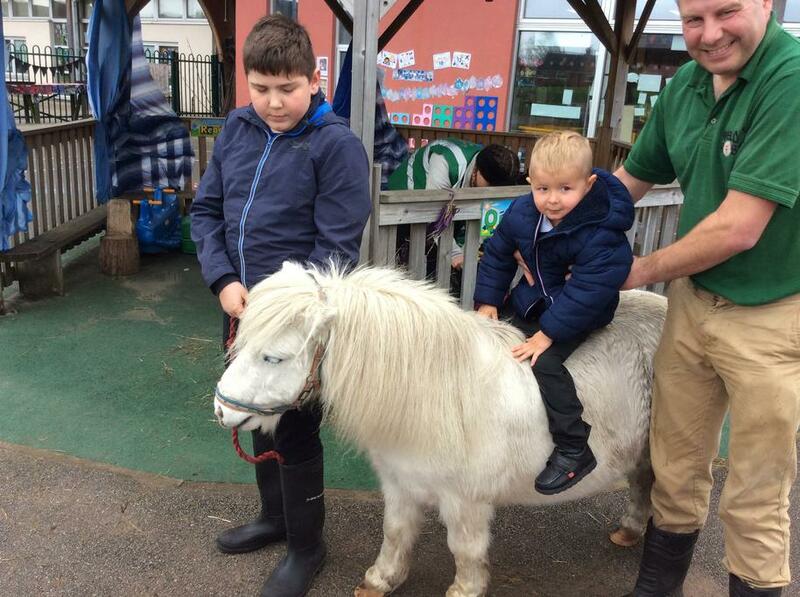 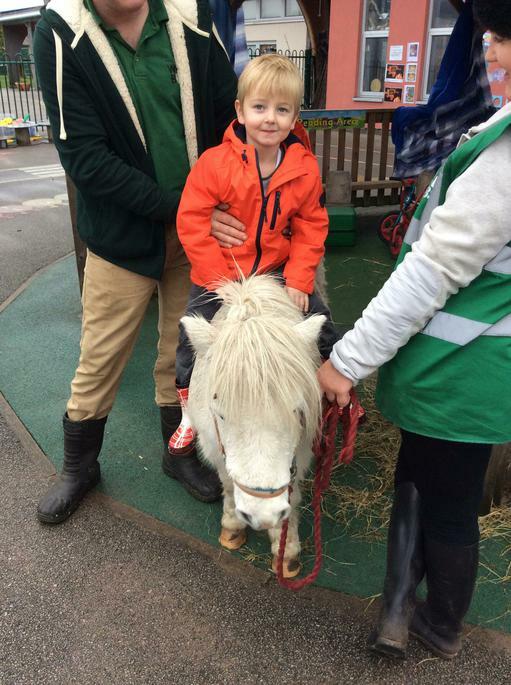 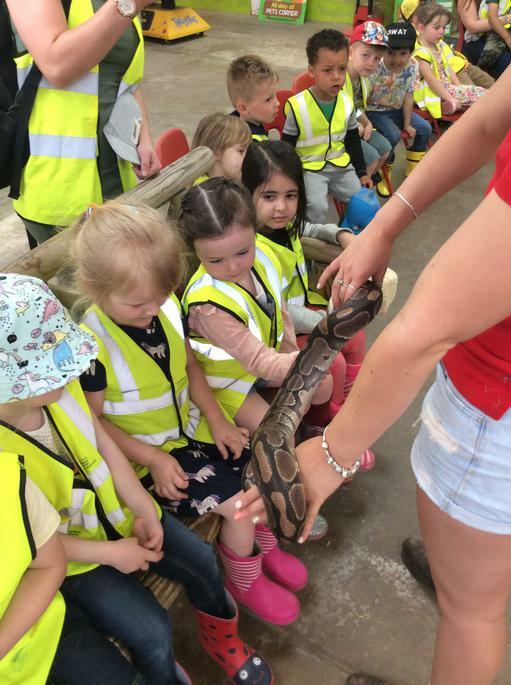 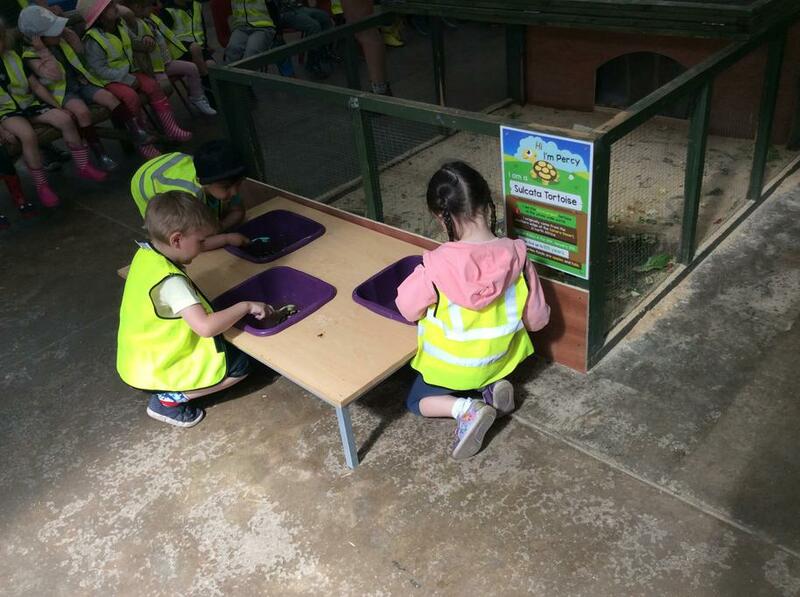 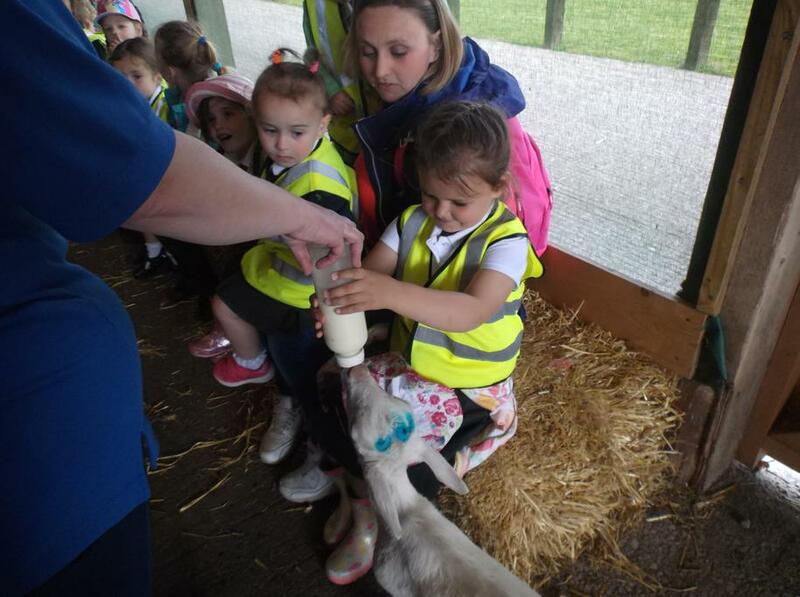 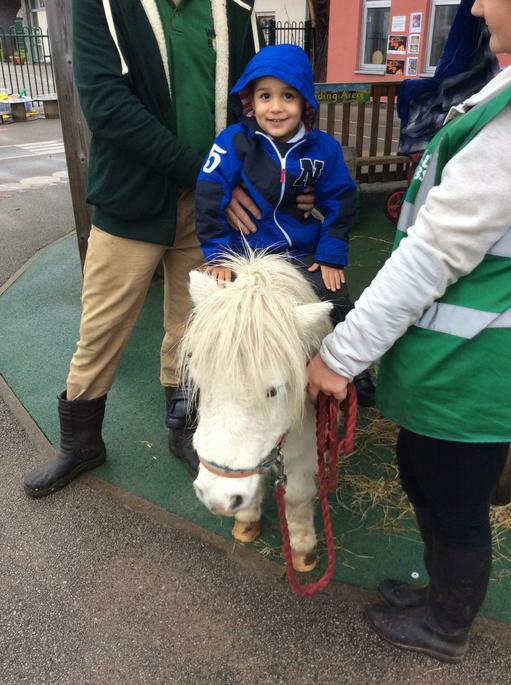 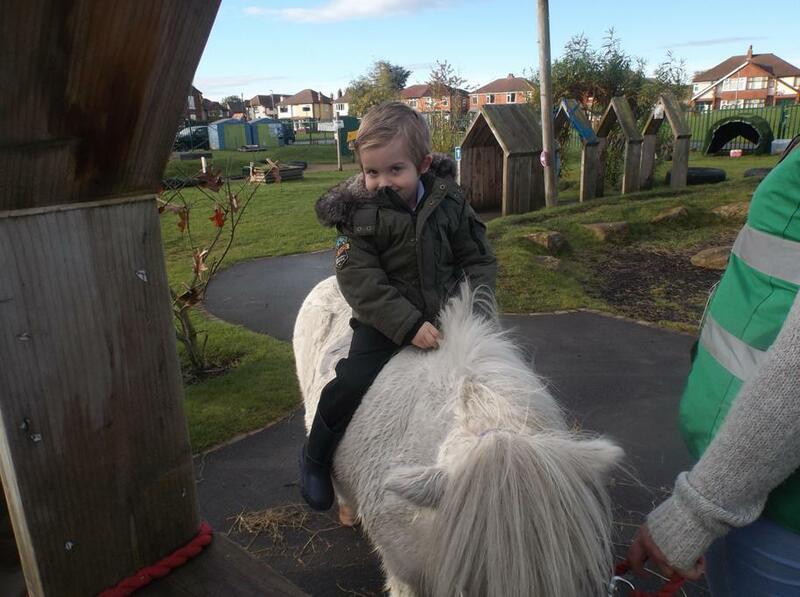 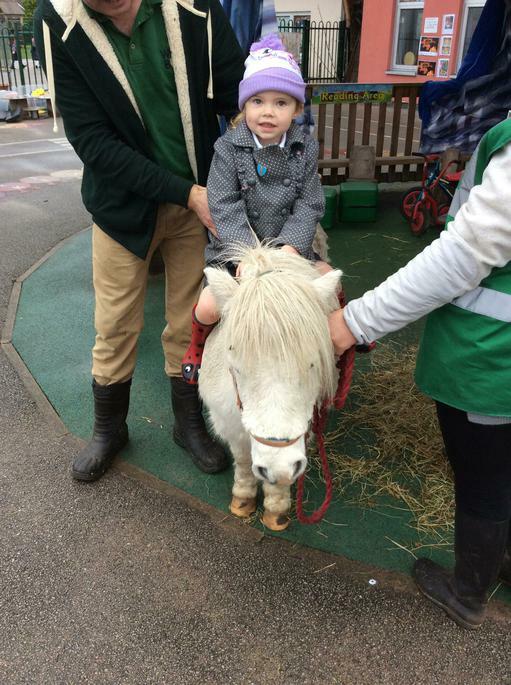 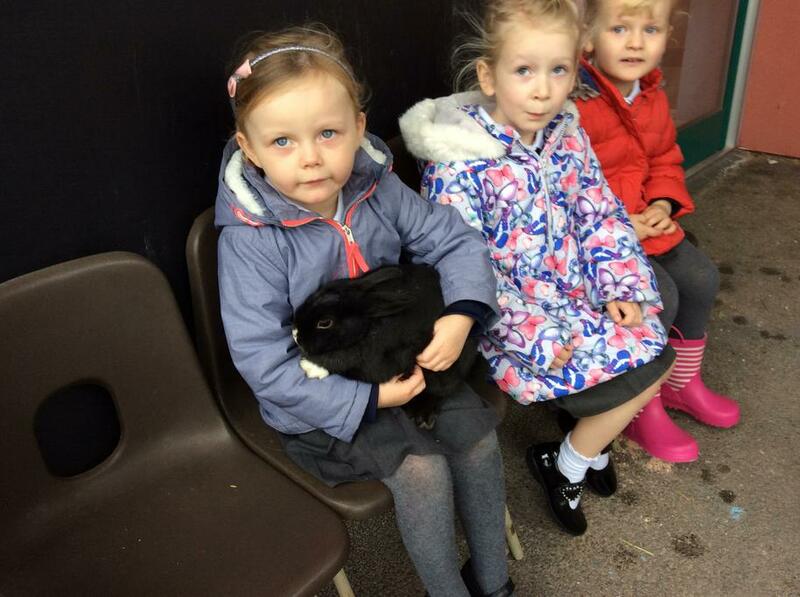 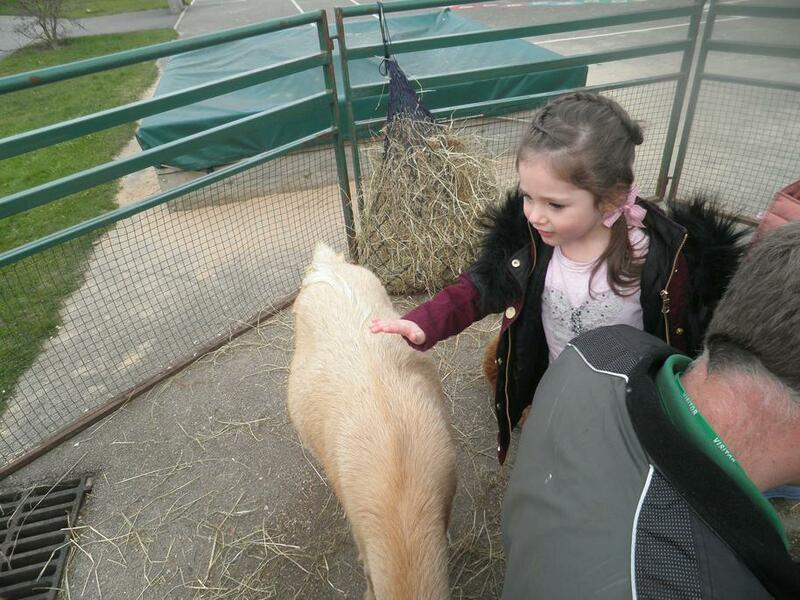 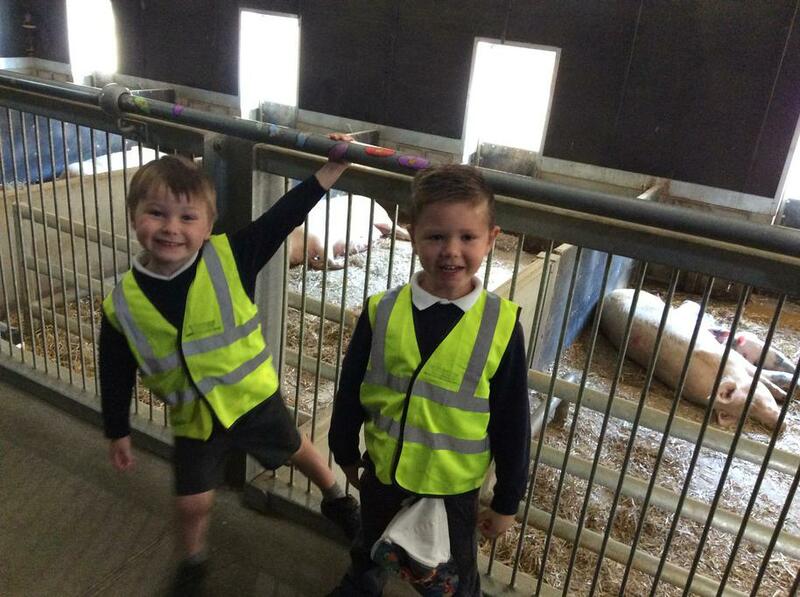 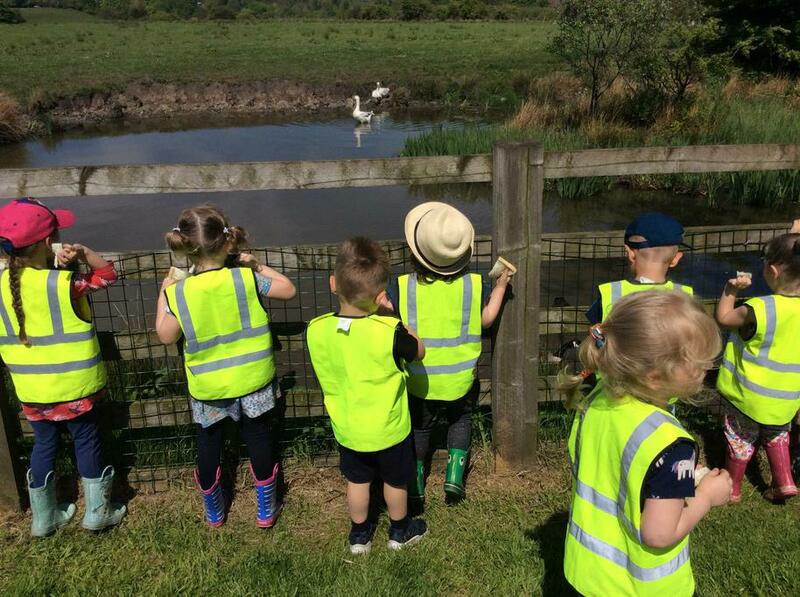 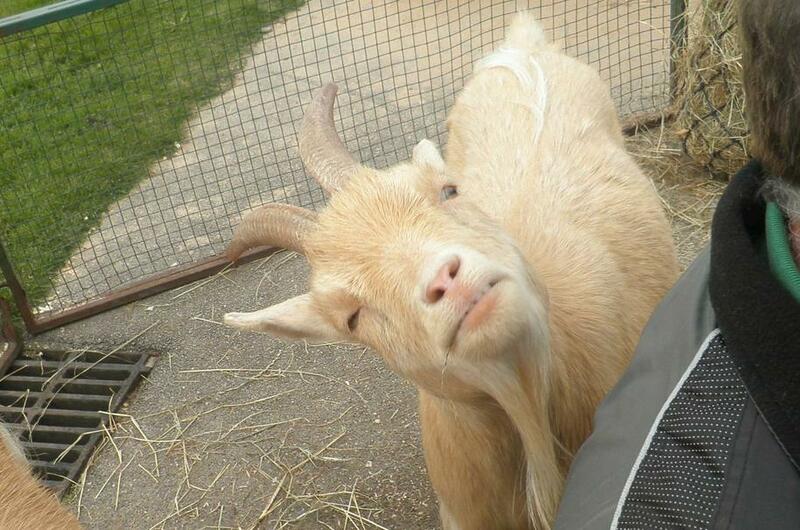 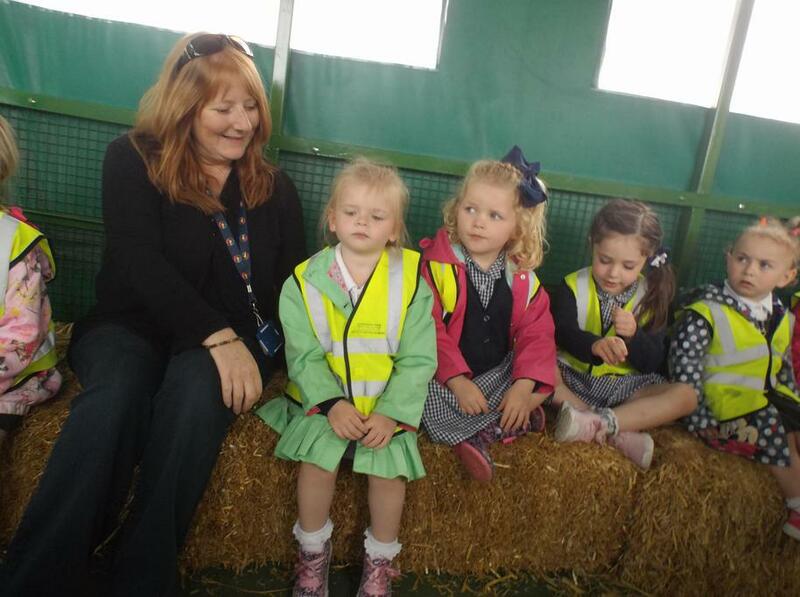 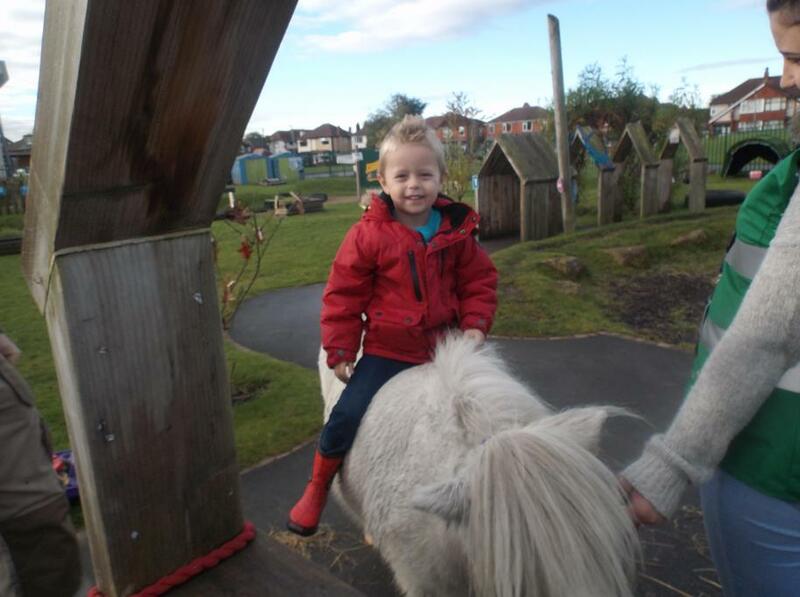 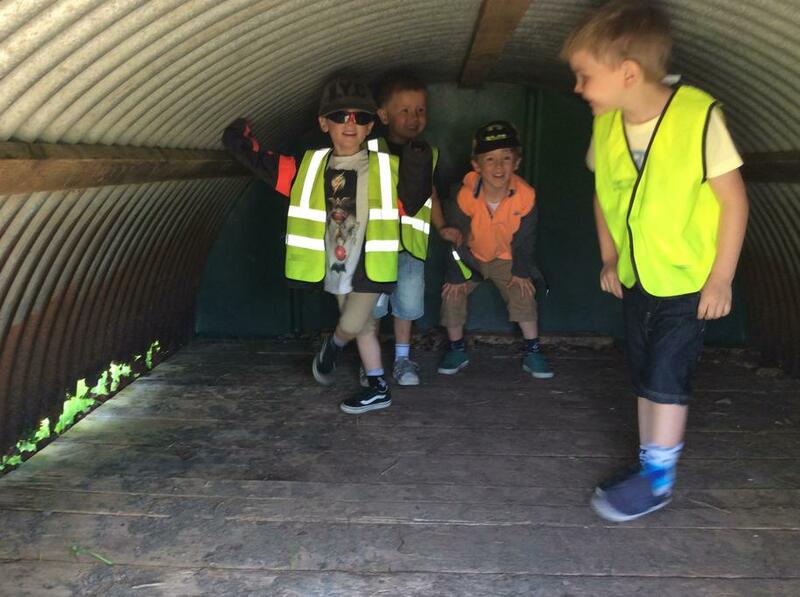 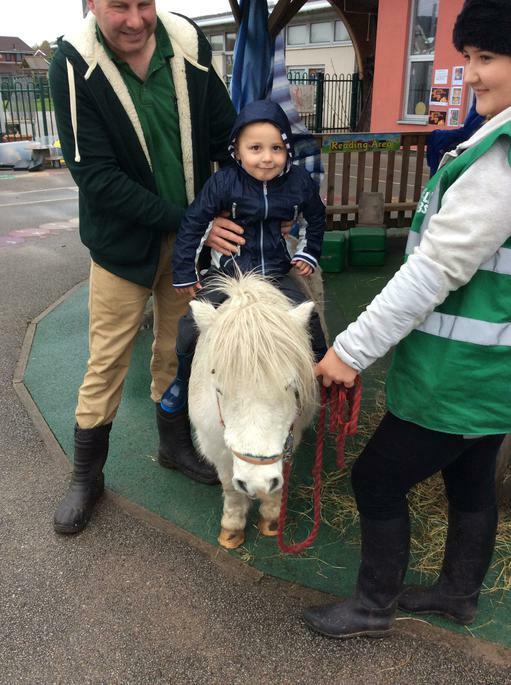 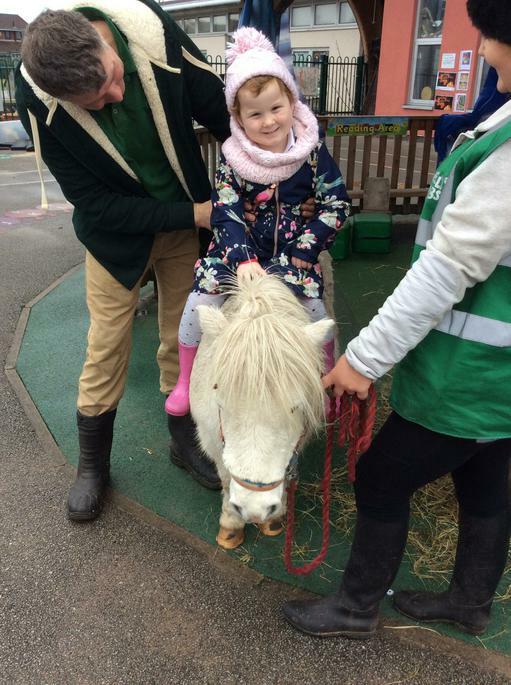 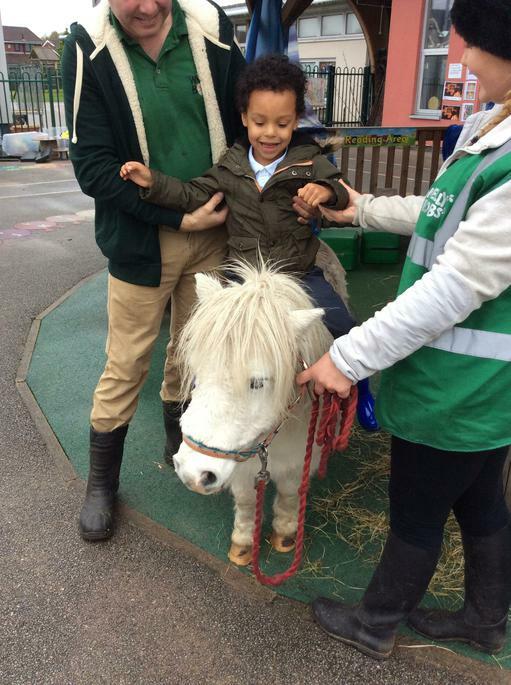 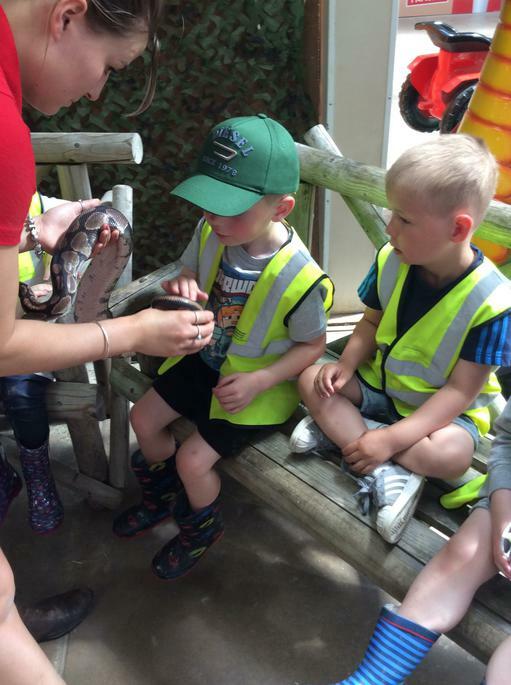 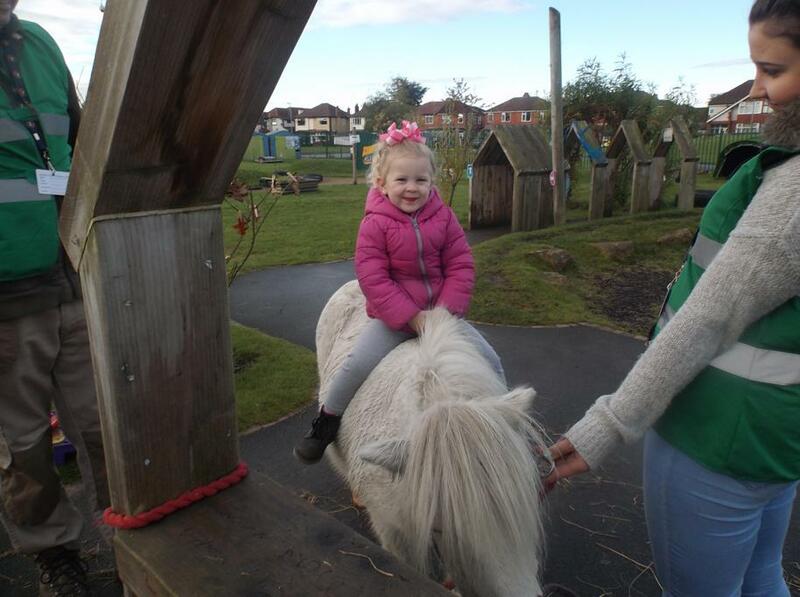 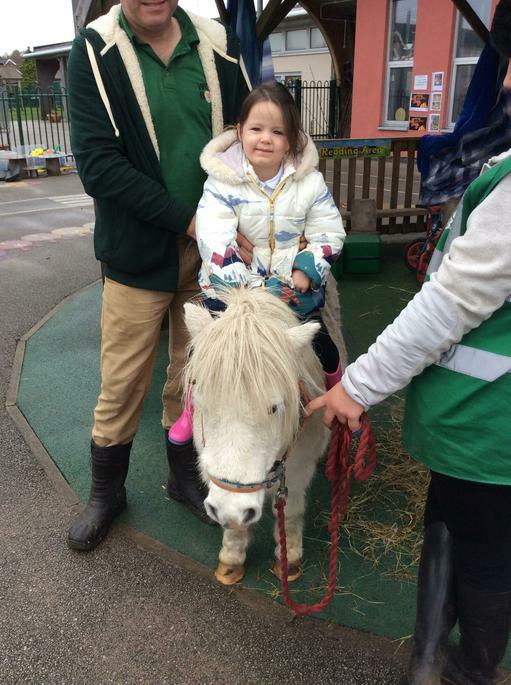 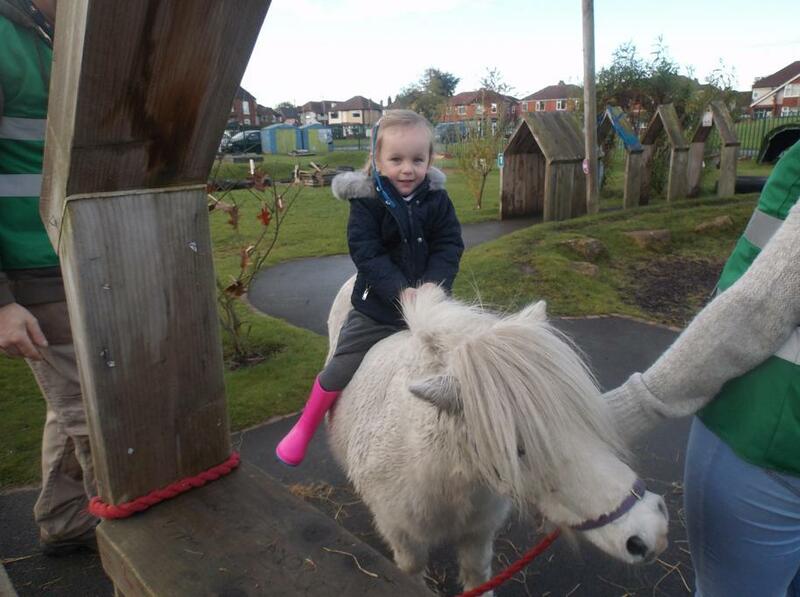 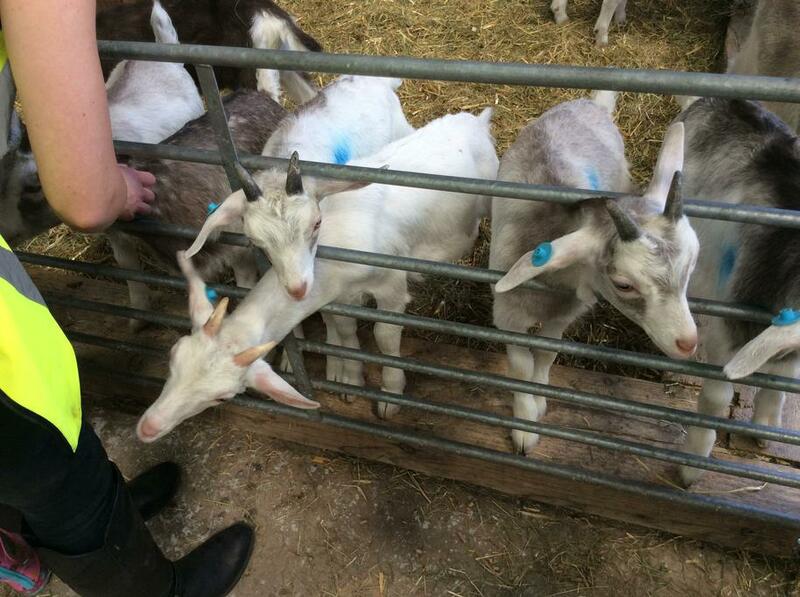 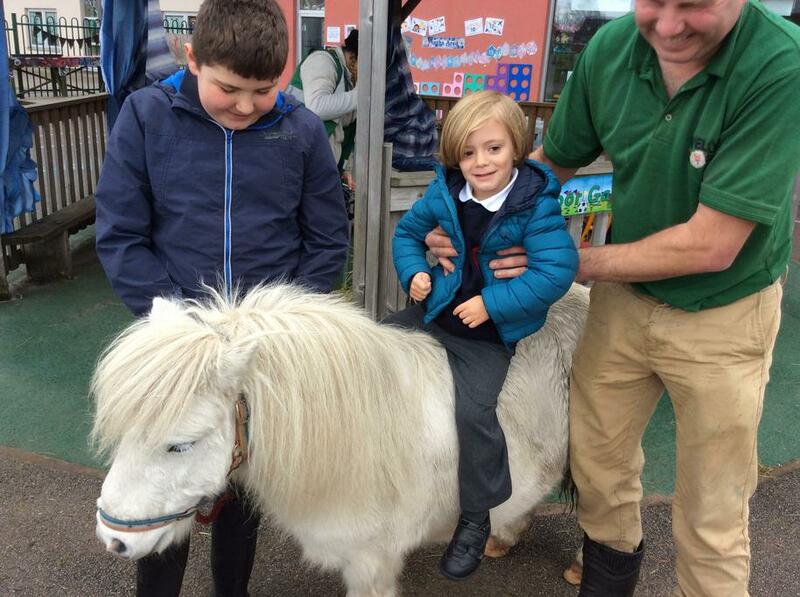 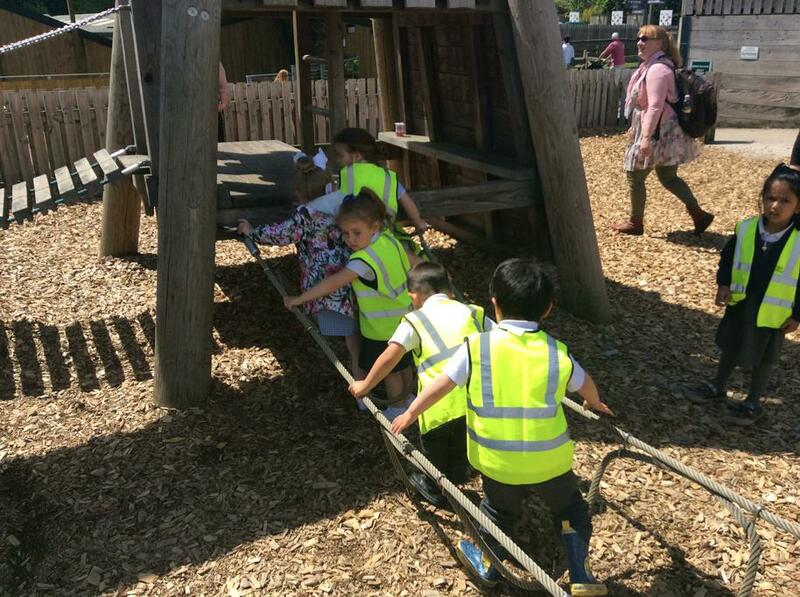 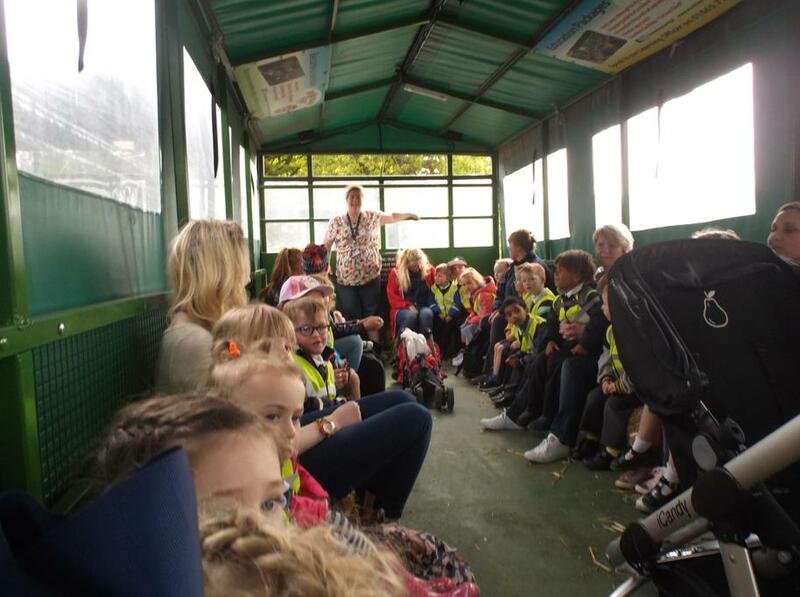 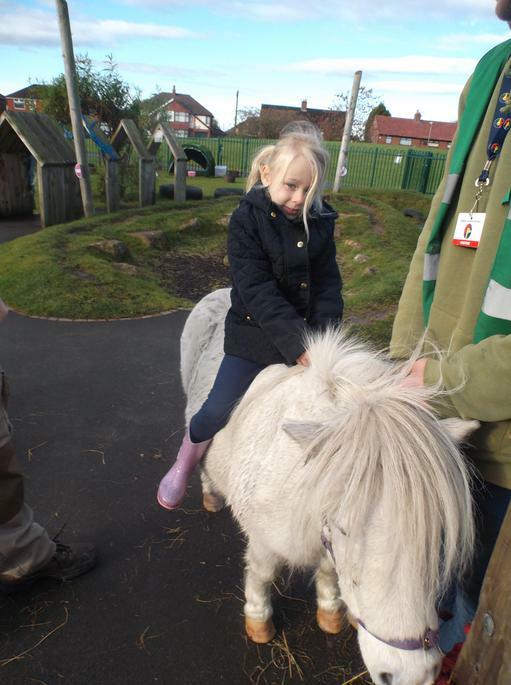 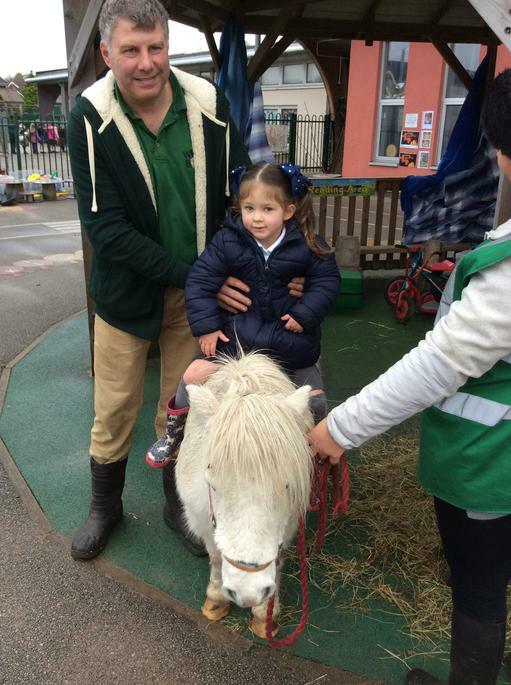 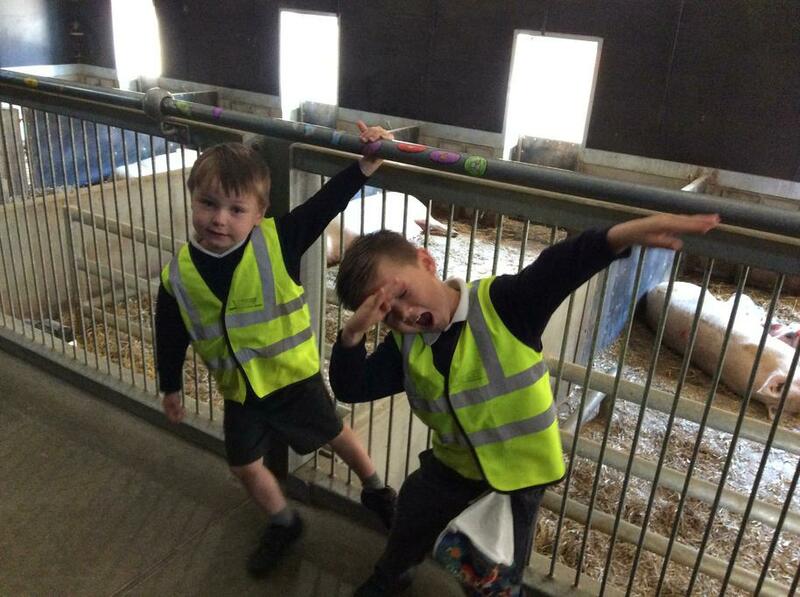 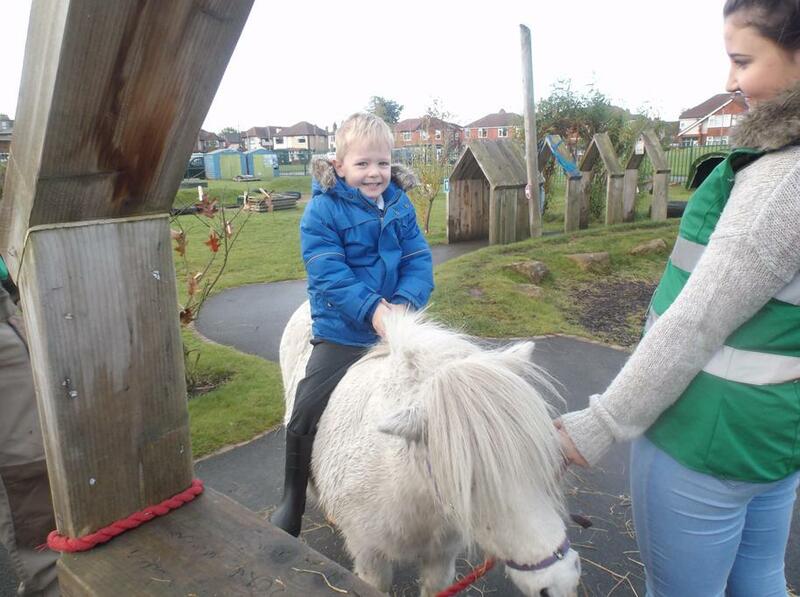 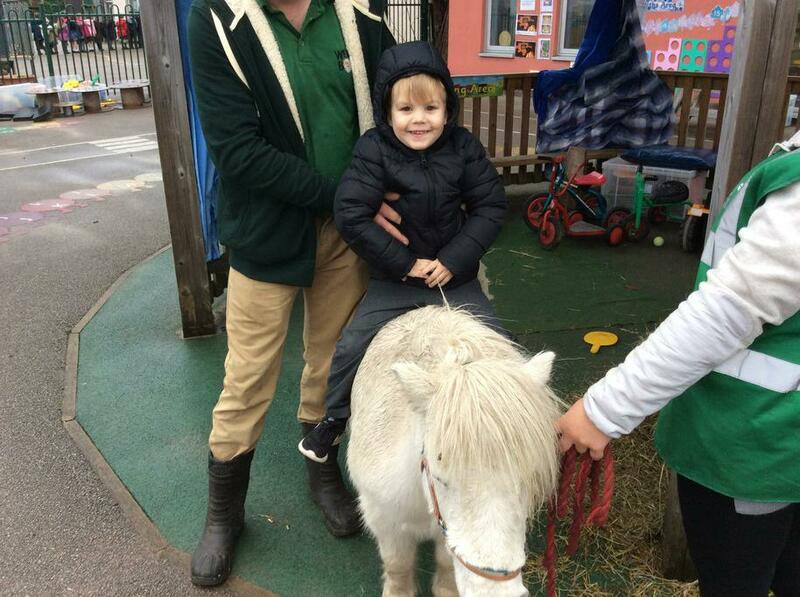 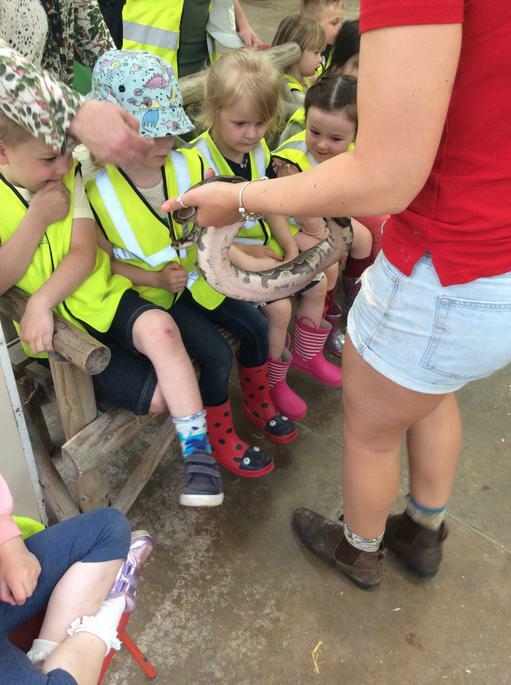 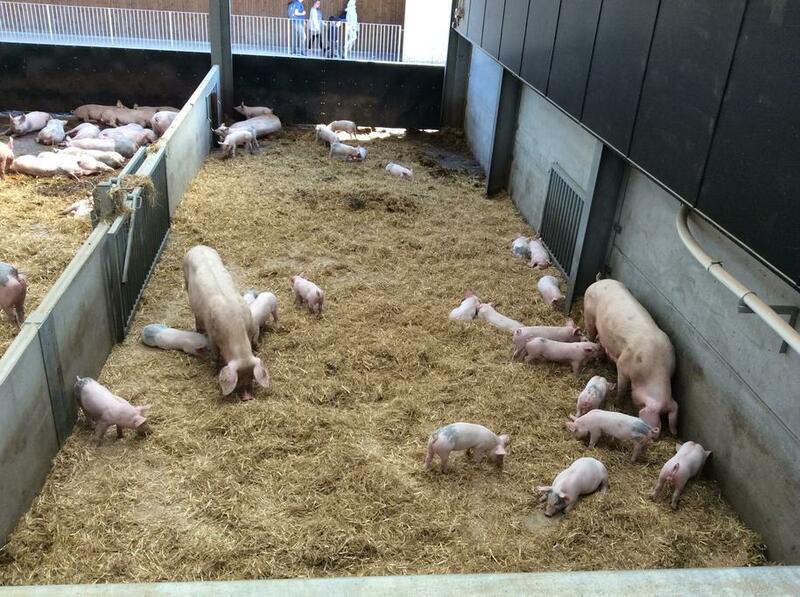 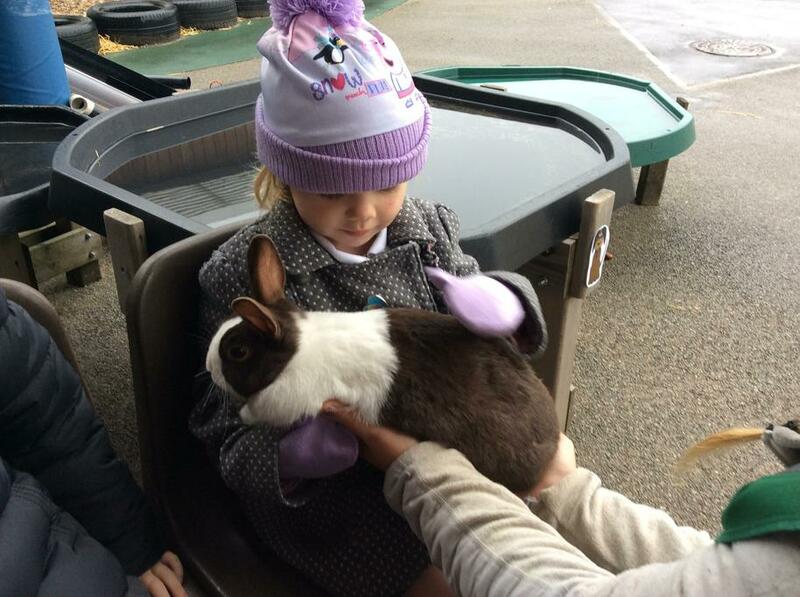 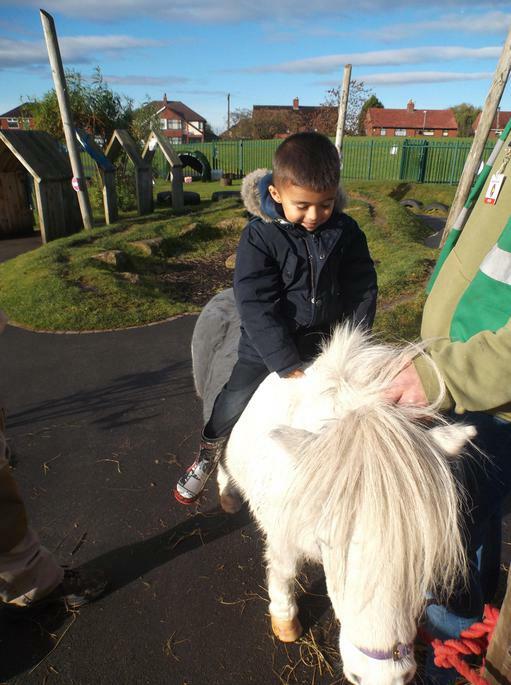 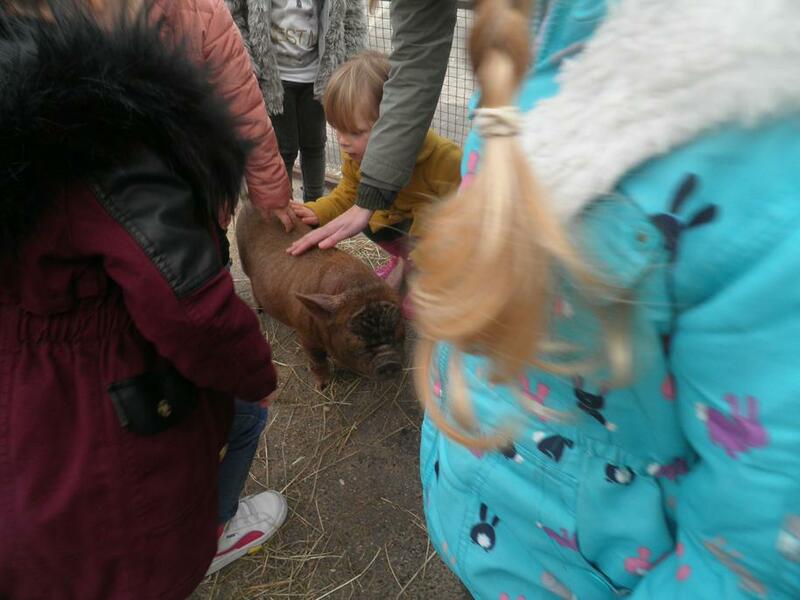 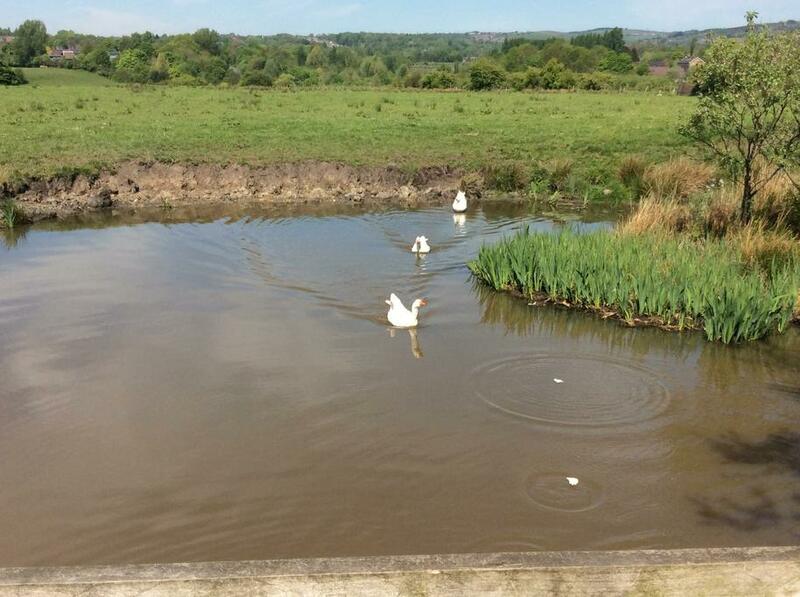 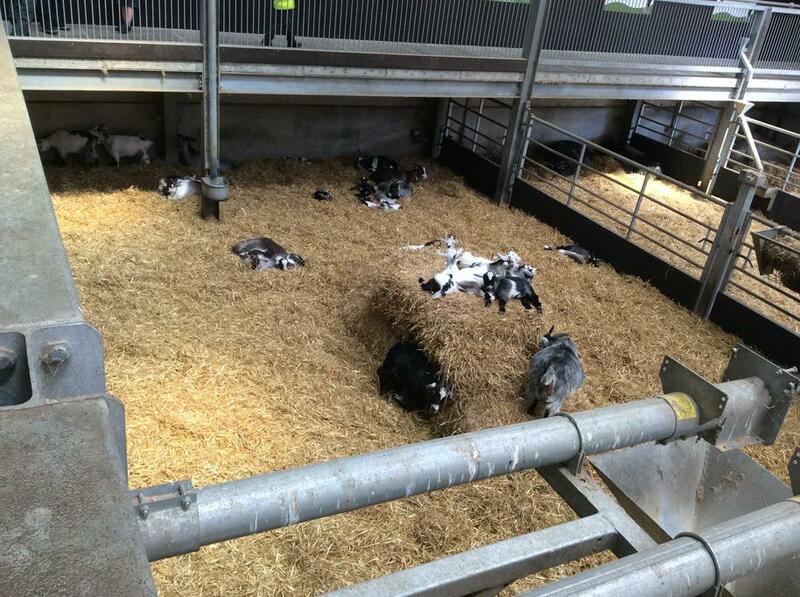 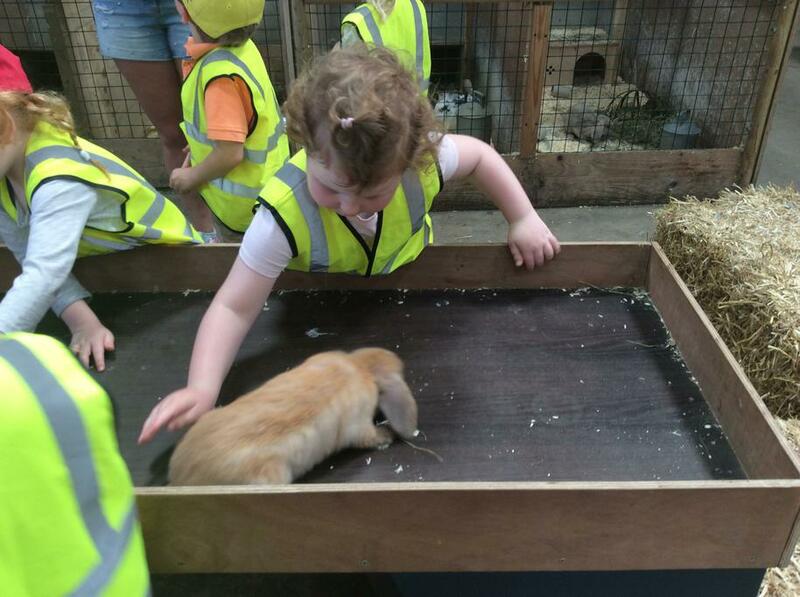 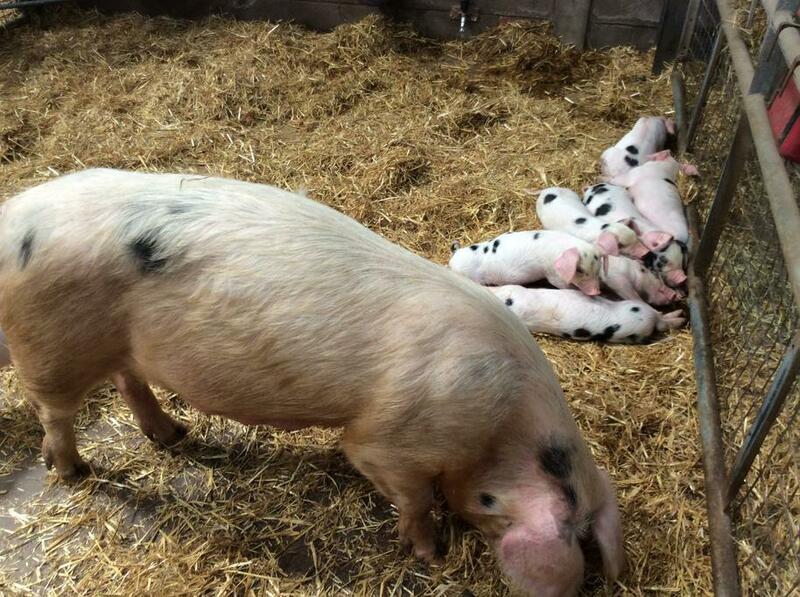 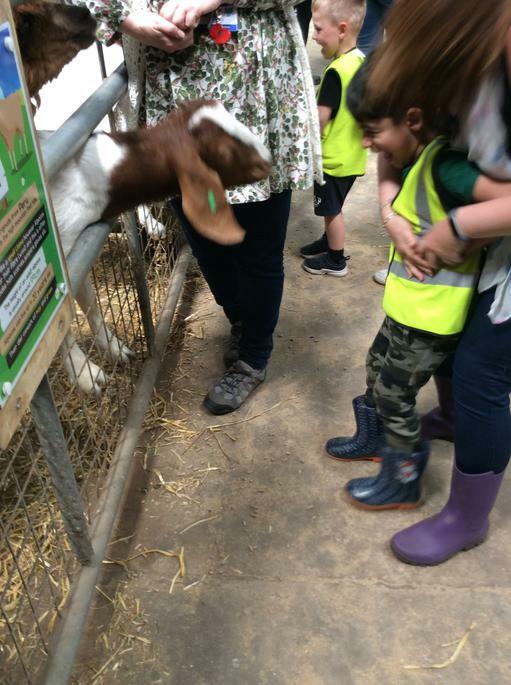 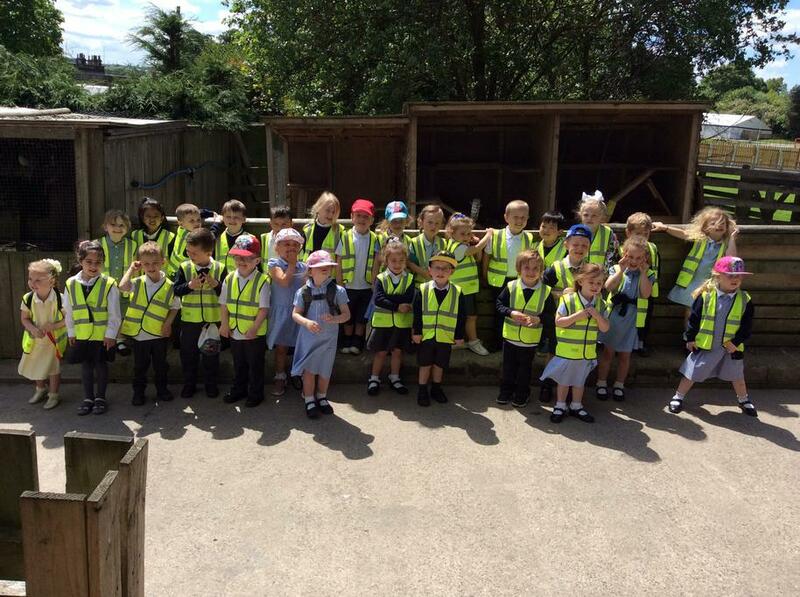 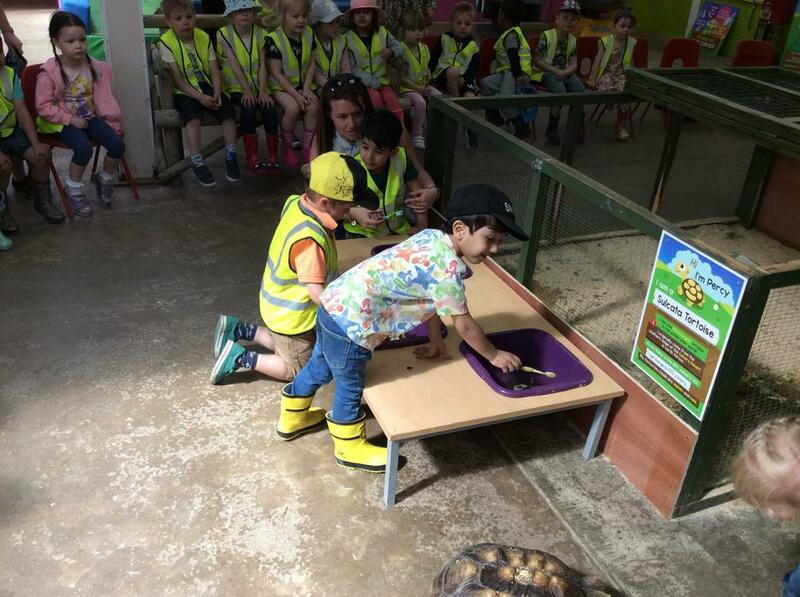 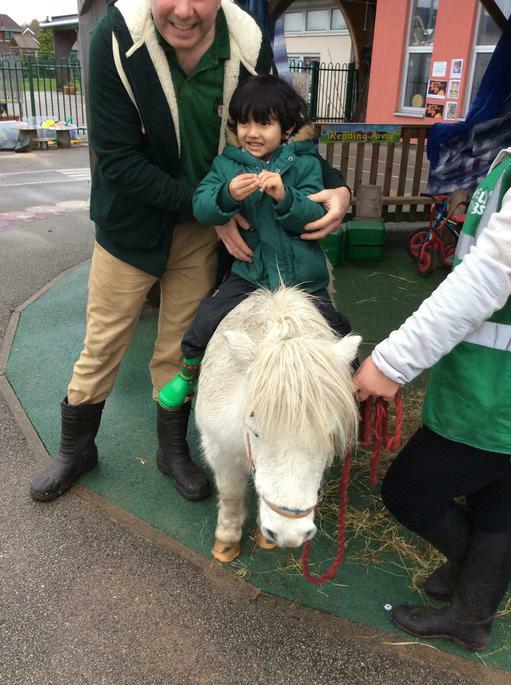 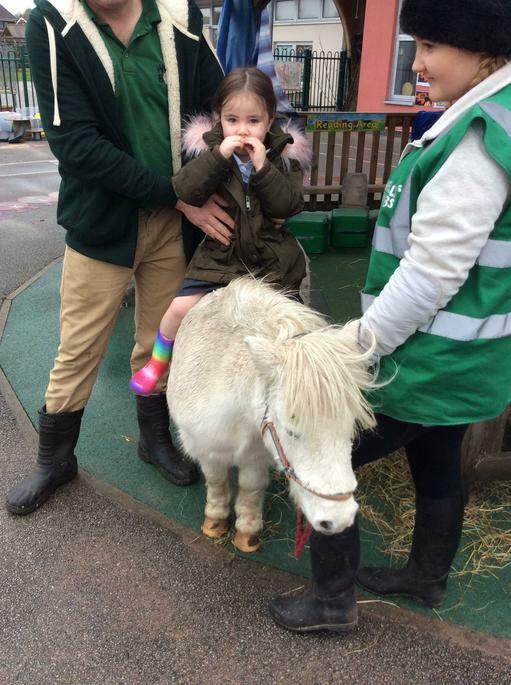 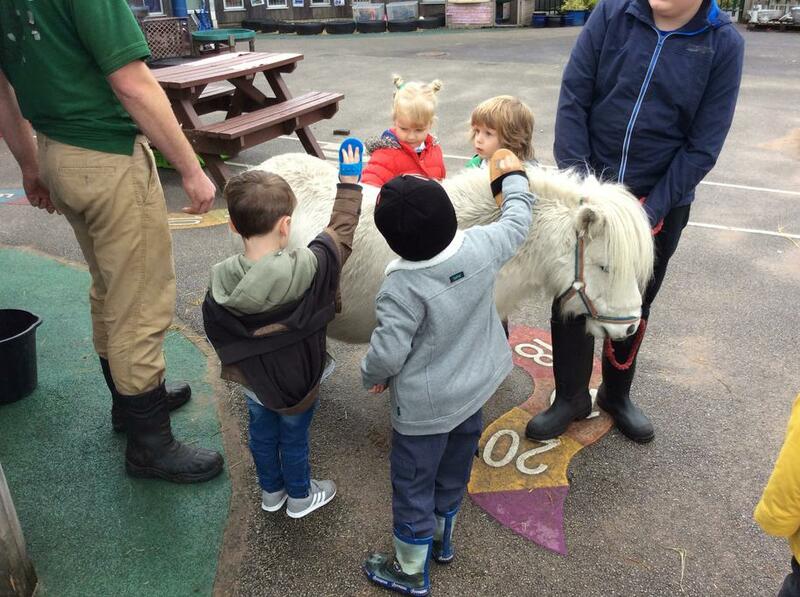 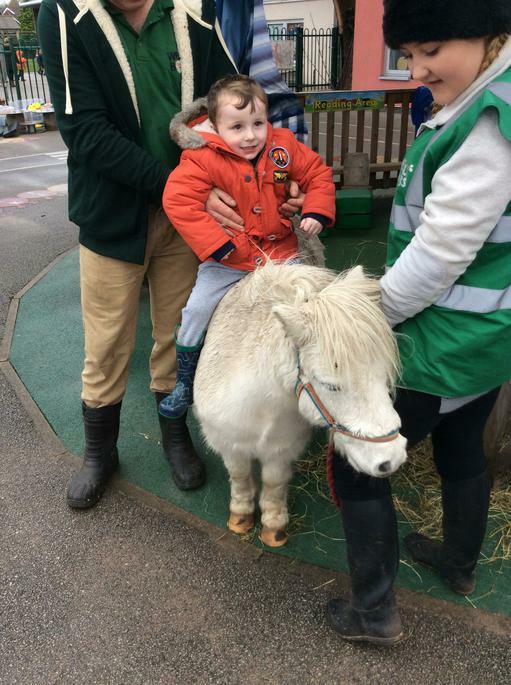 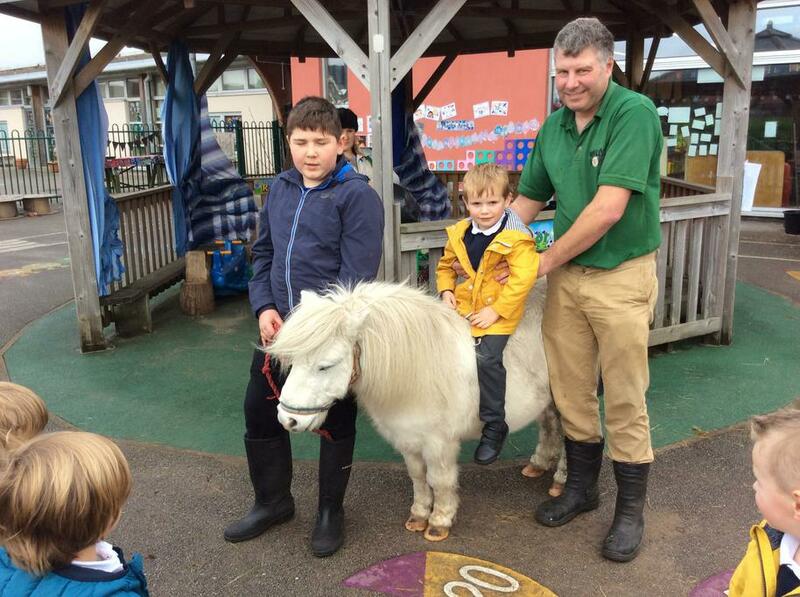 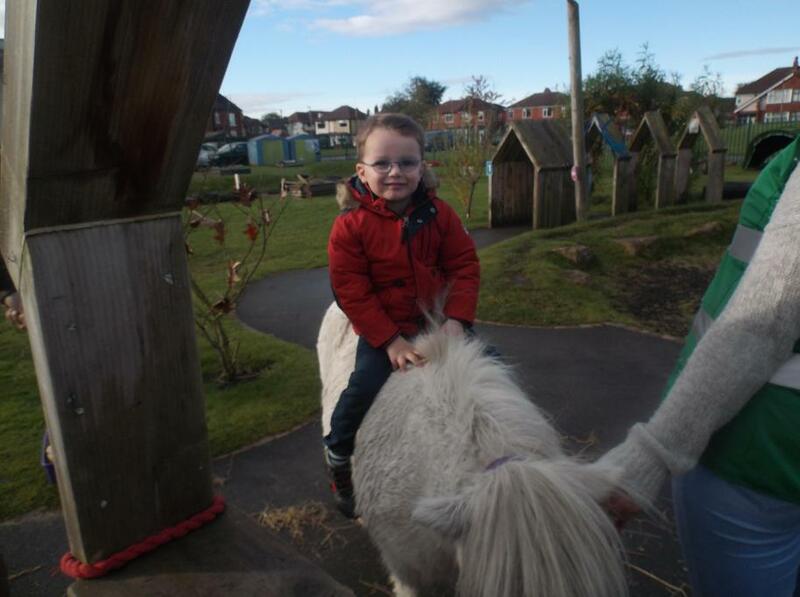 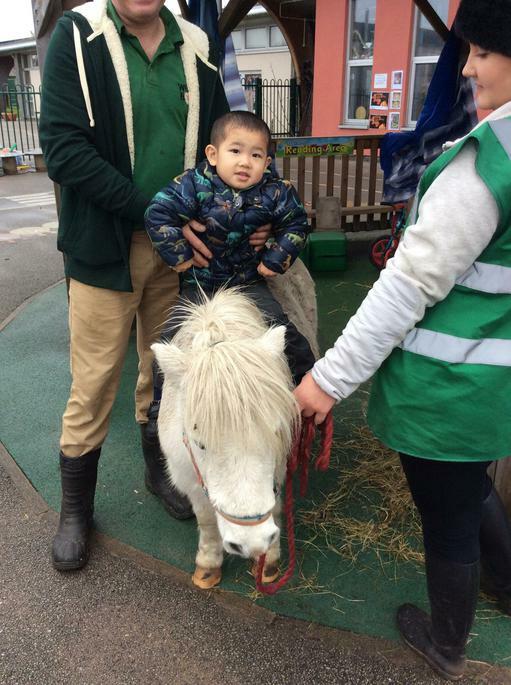 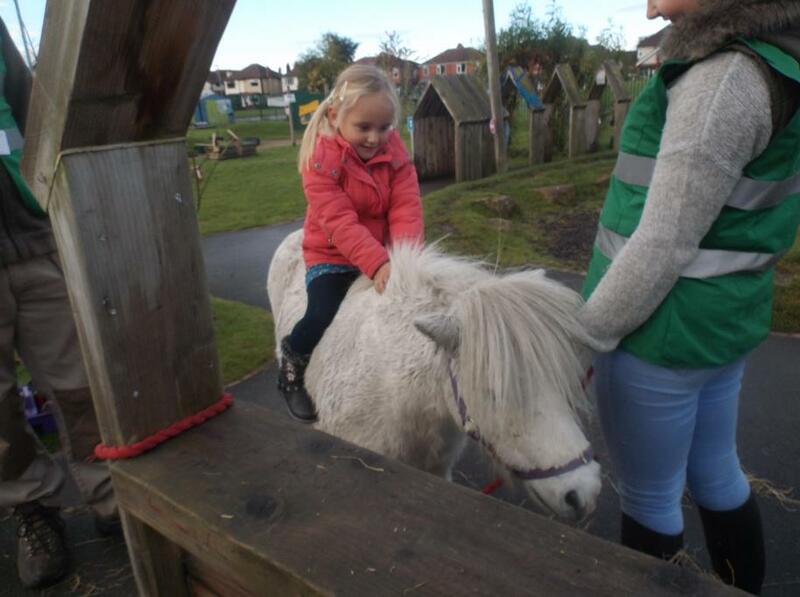 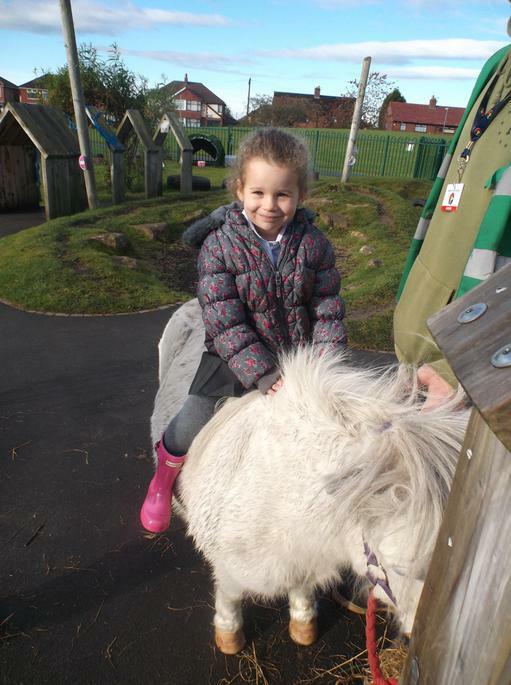 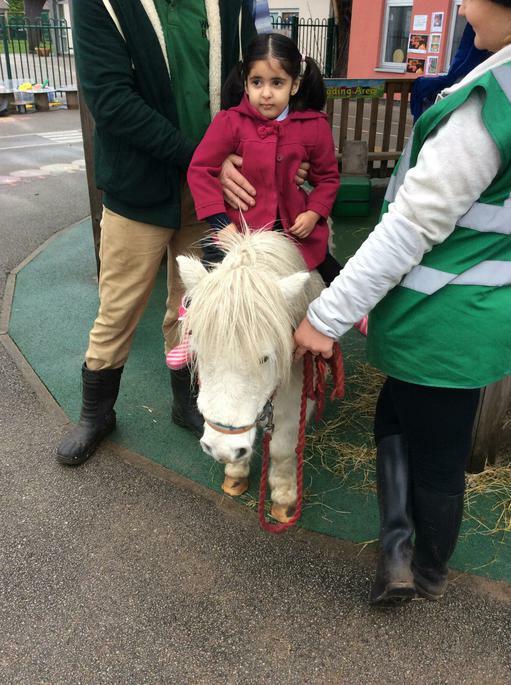 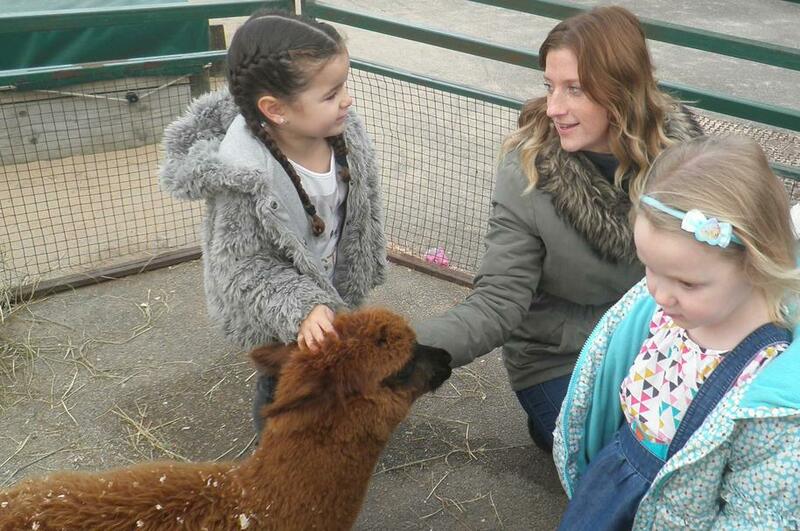 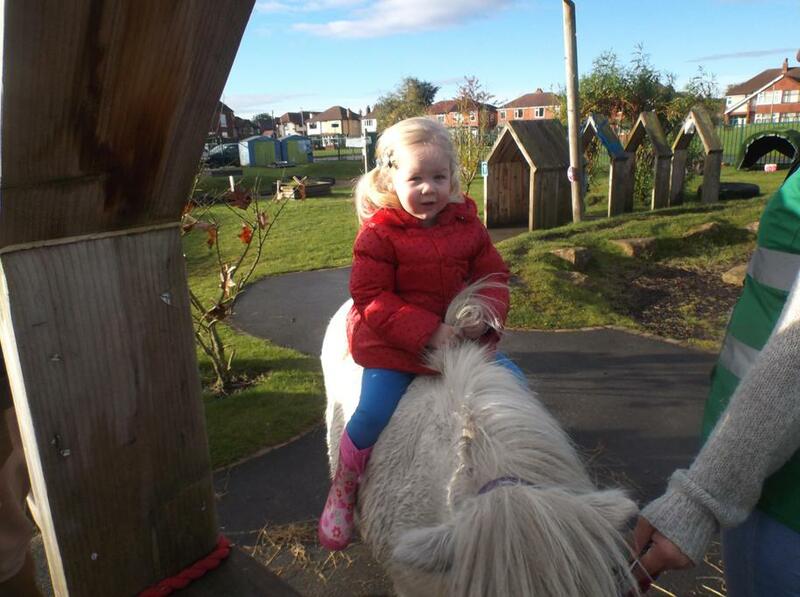 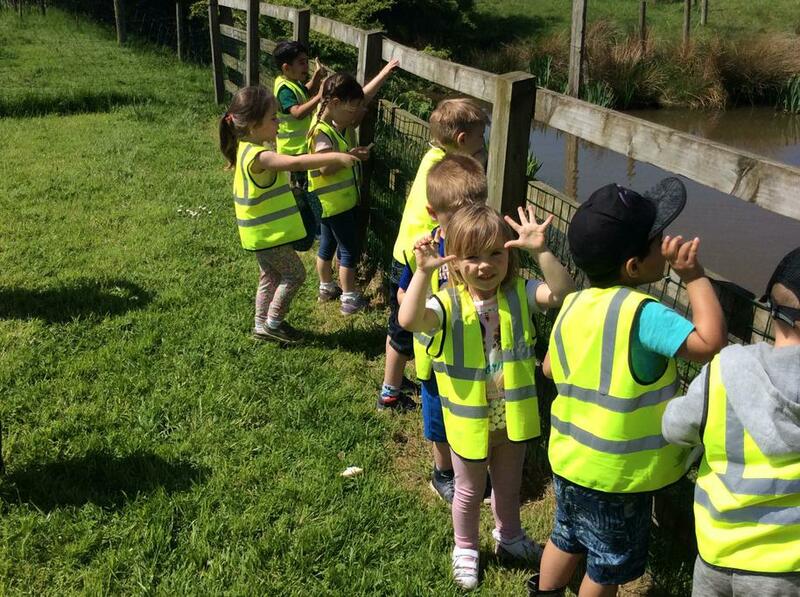 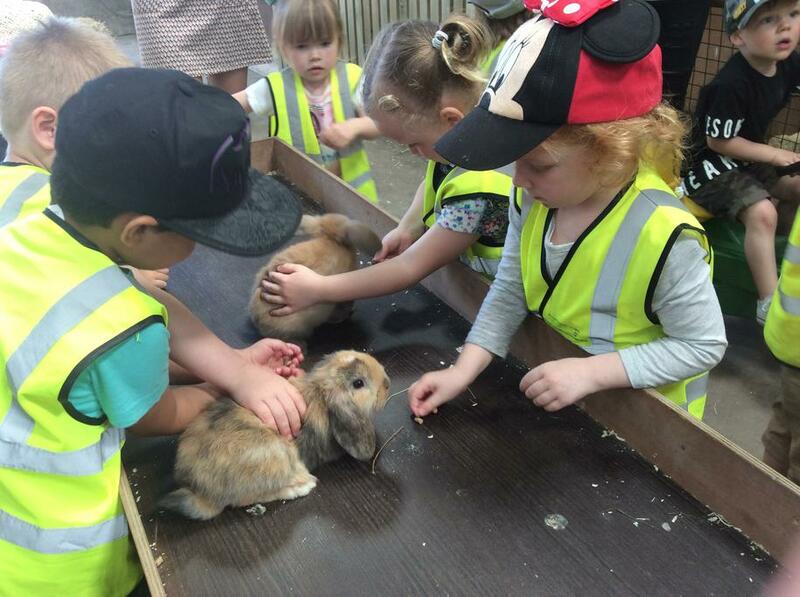 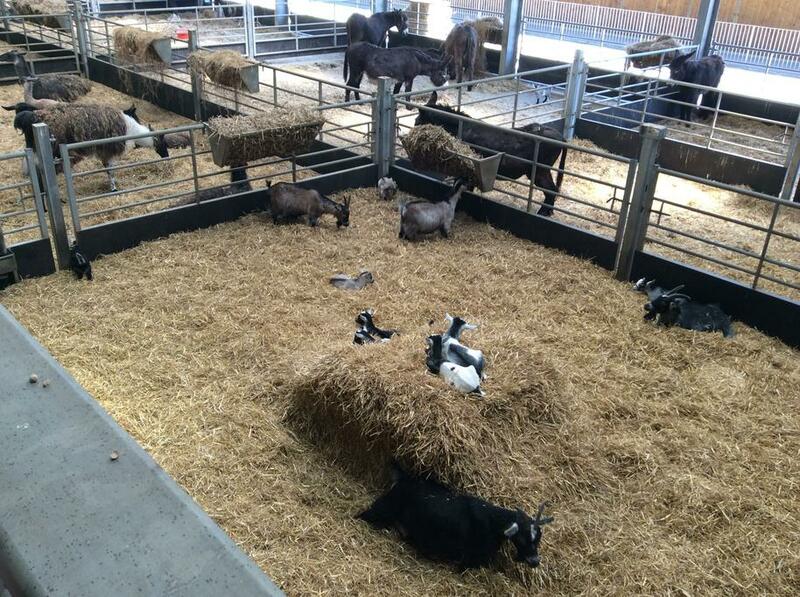 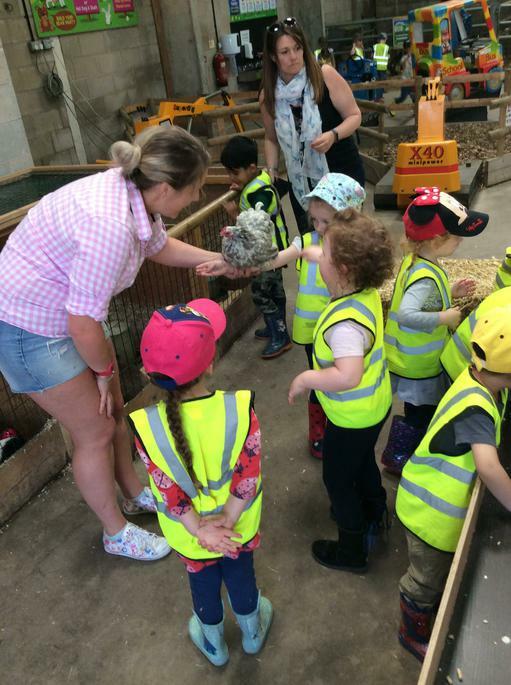 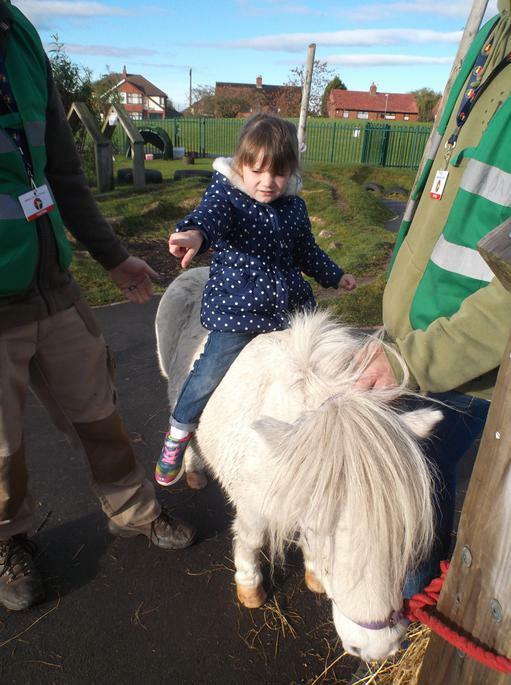 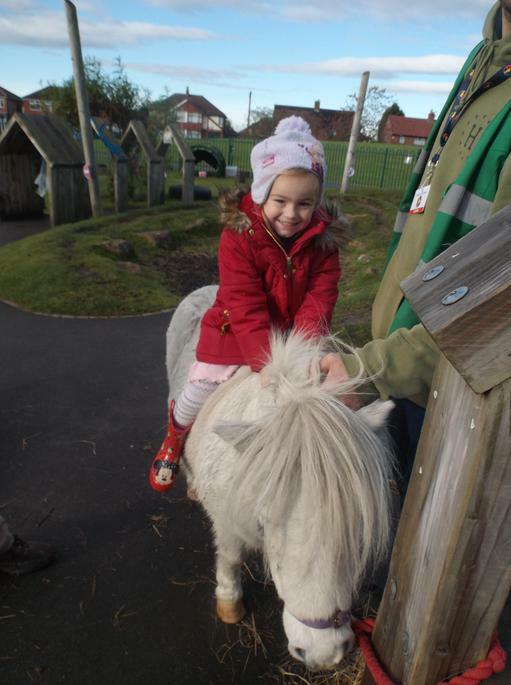 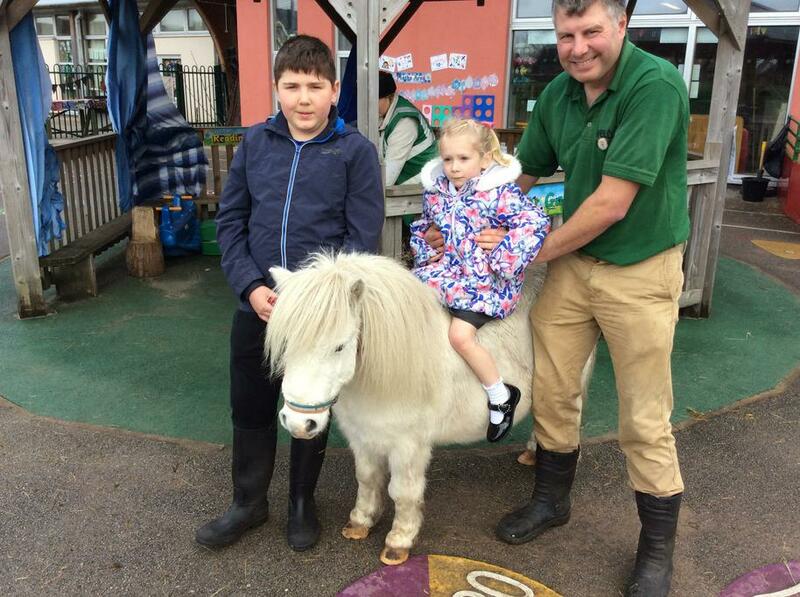 We really enjoyed our trip to 'Stockley farm' on Tuesday. 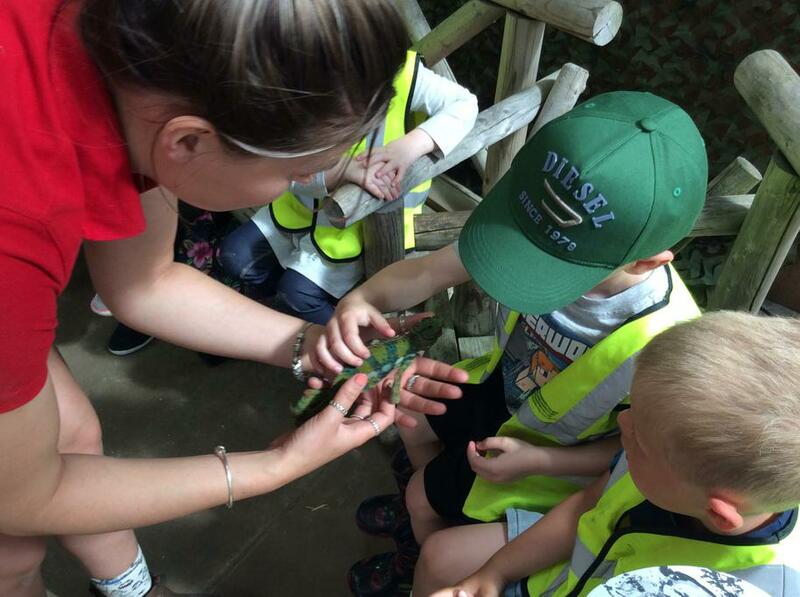 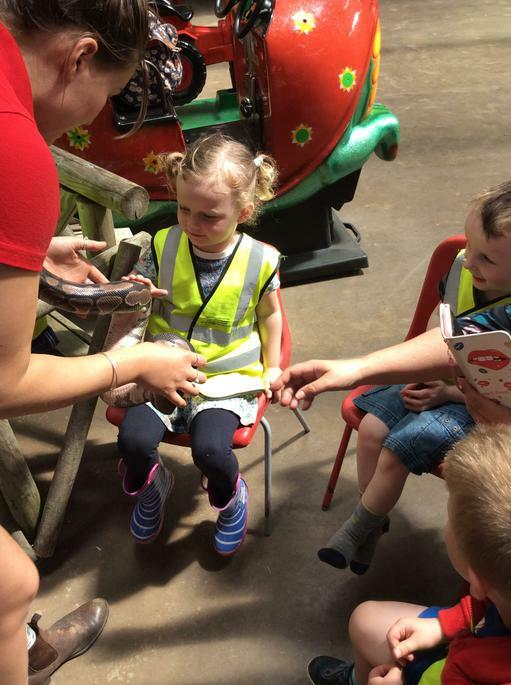 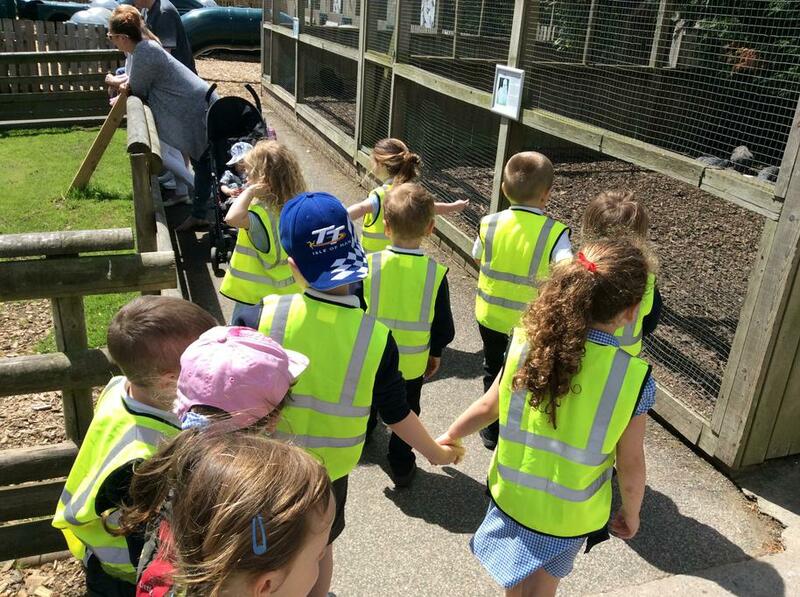 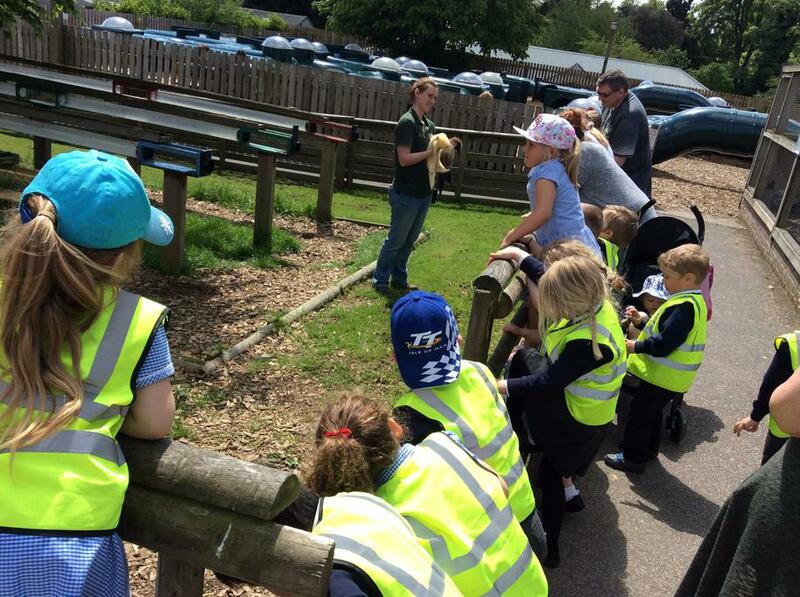 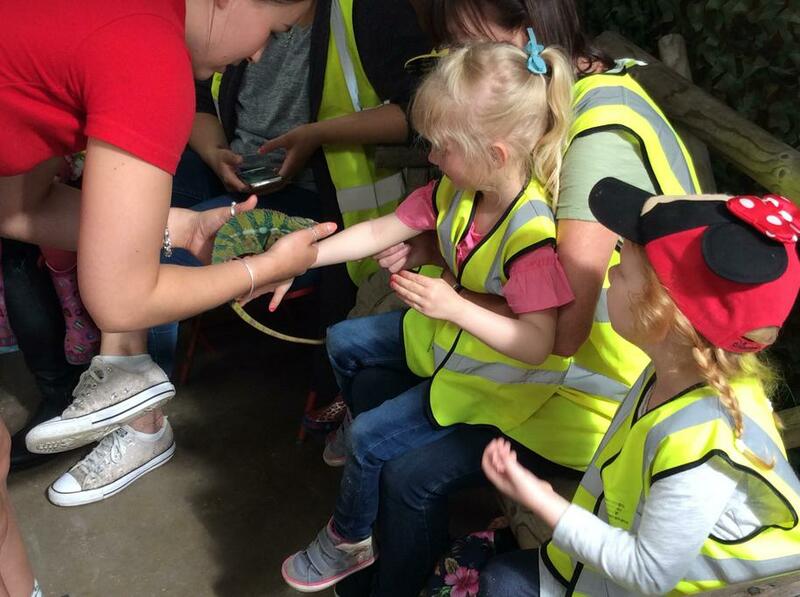 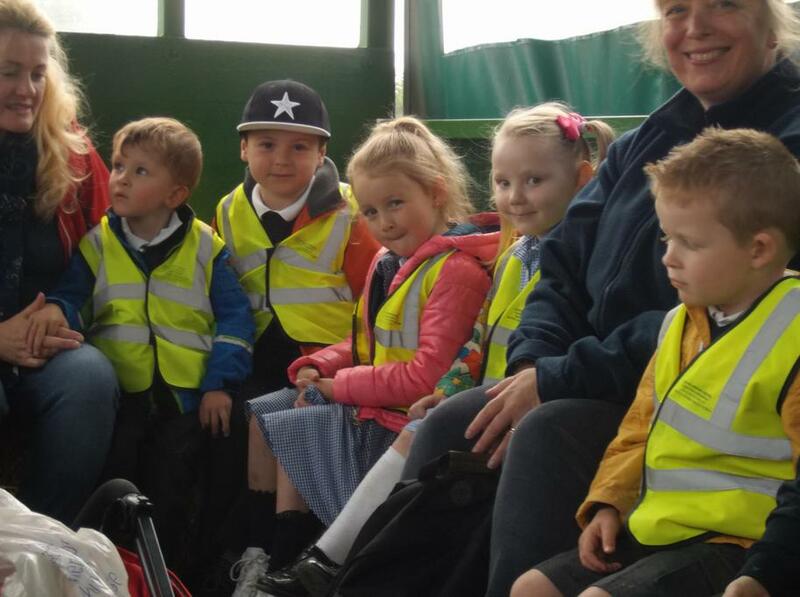 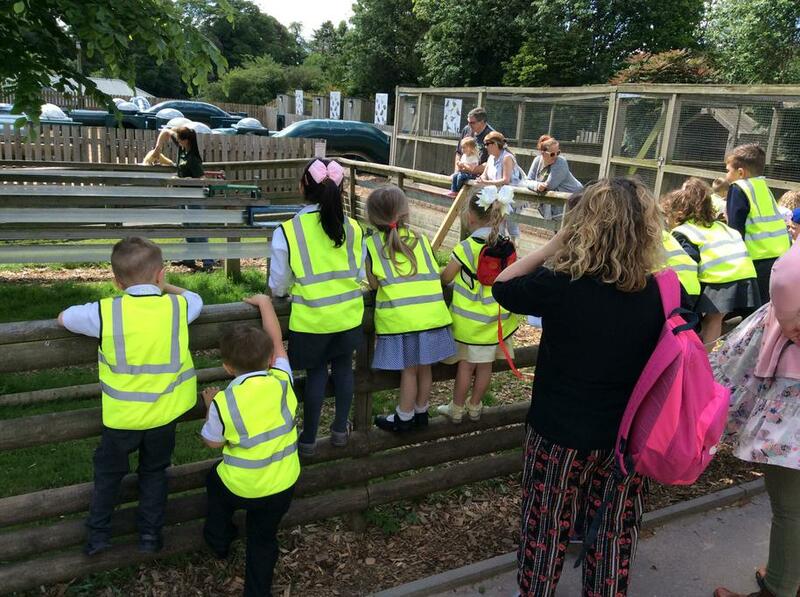 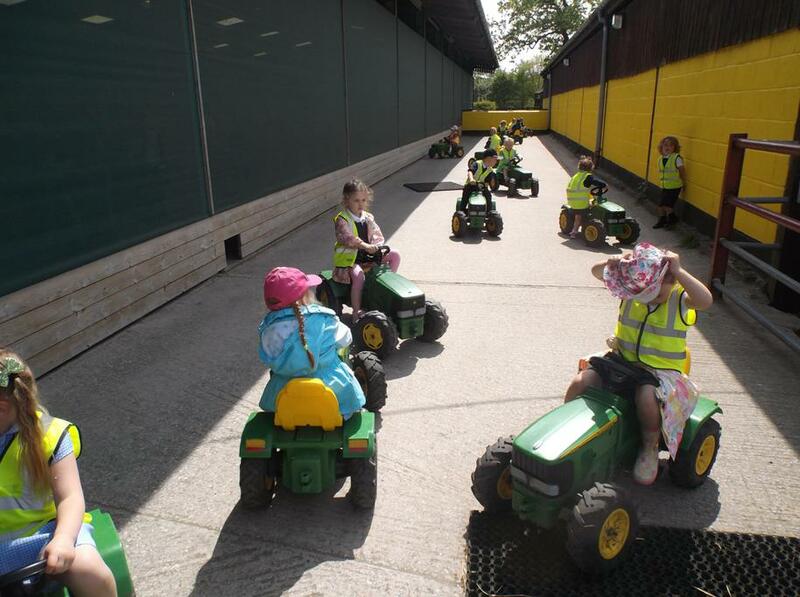 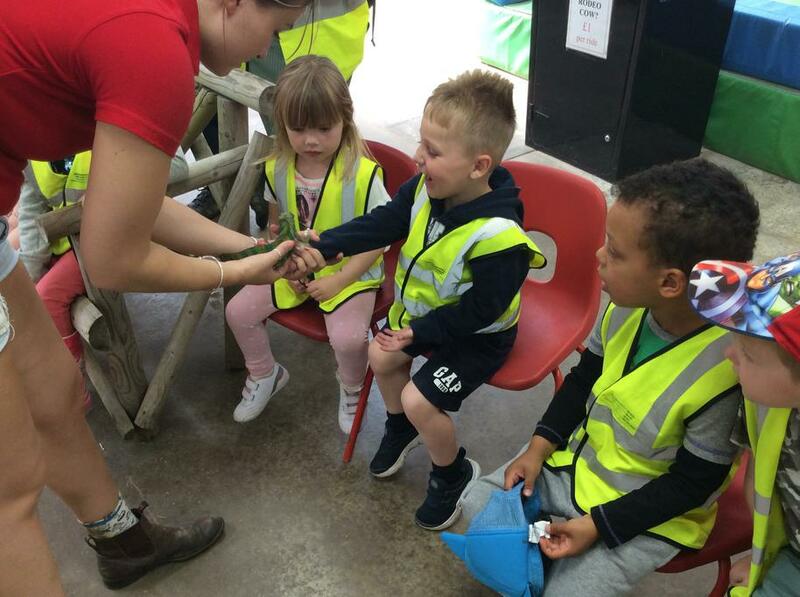 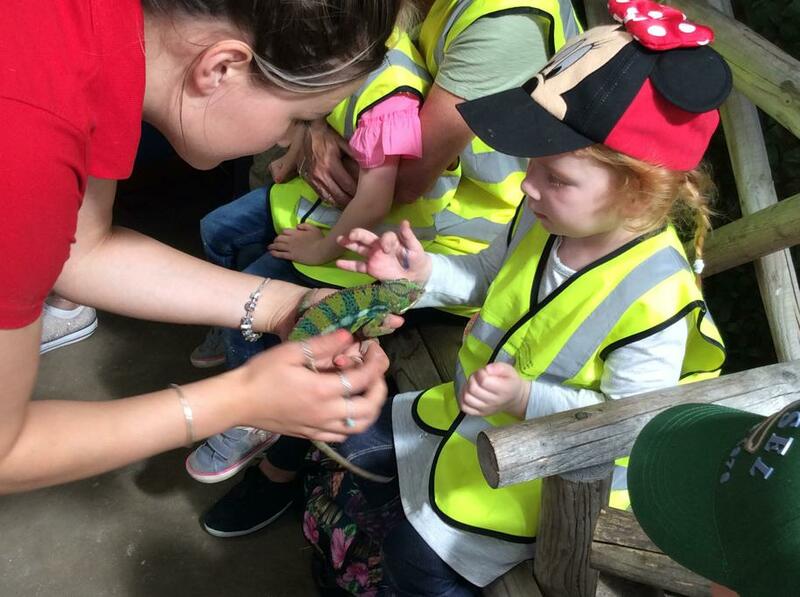 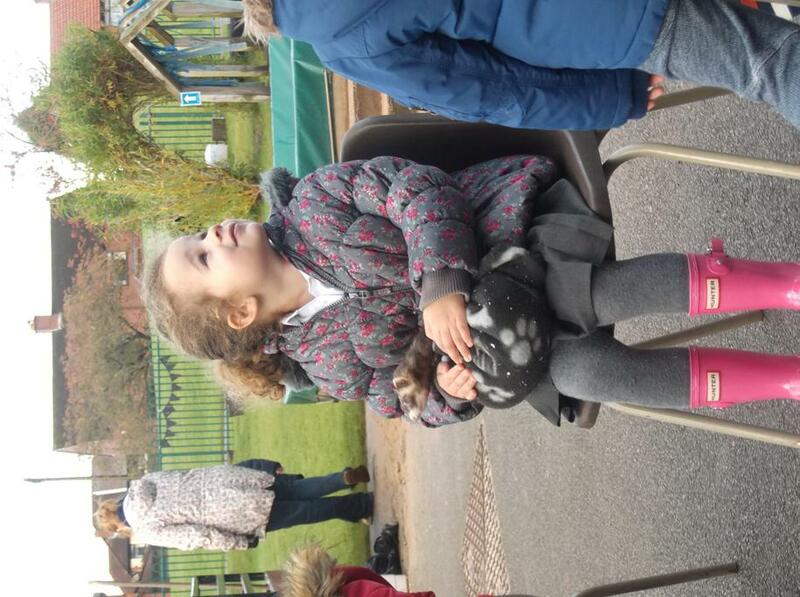 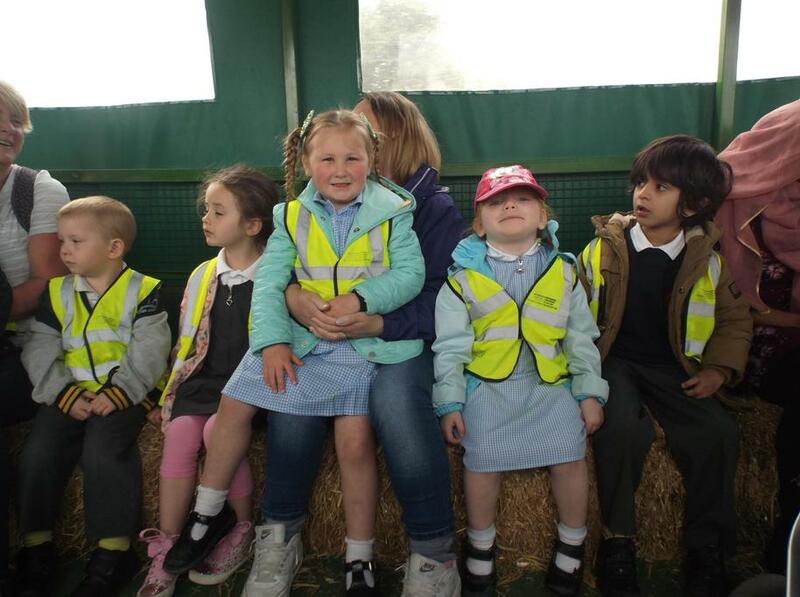 We loved seeing all the different animals and going on the tractor ride. 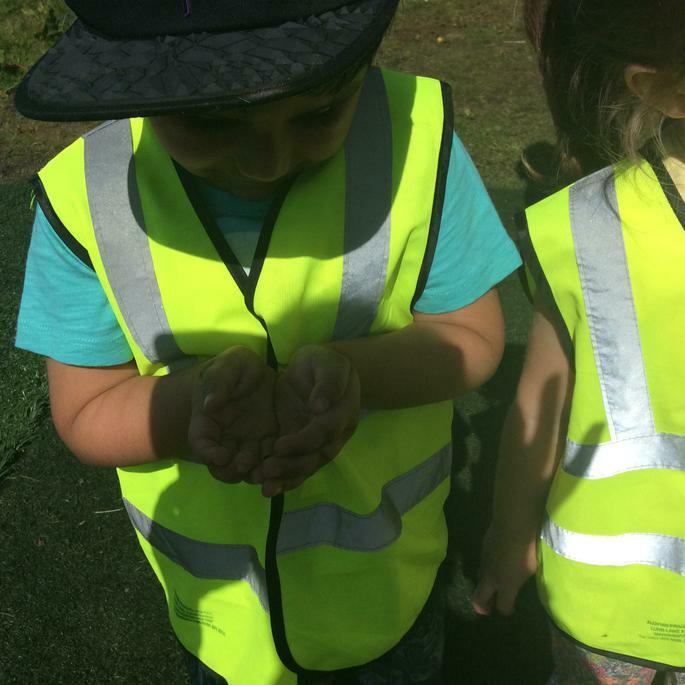 We also went on a nature walk and saw lots of different bugs. 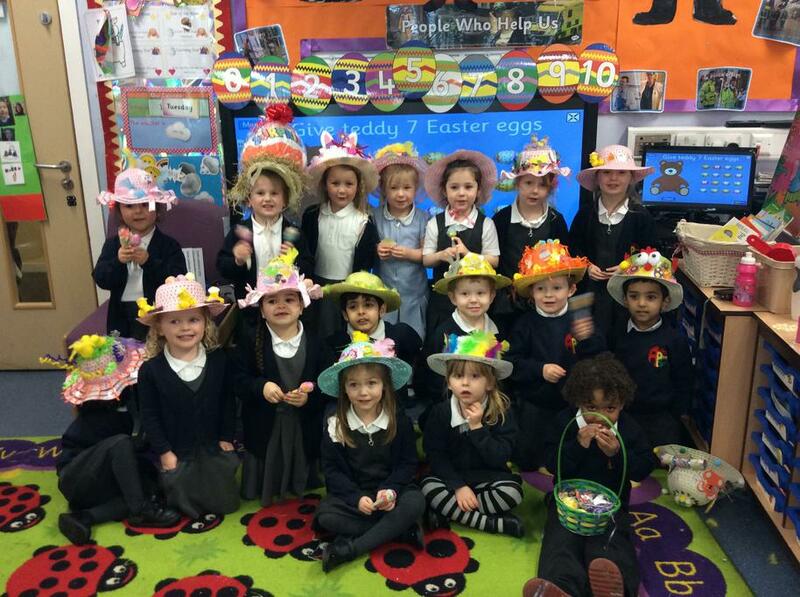 Don't we look great in our Easter bonnets! 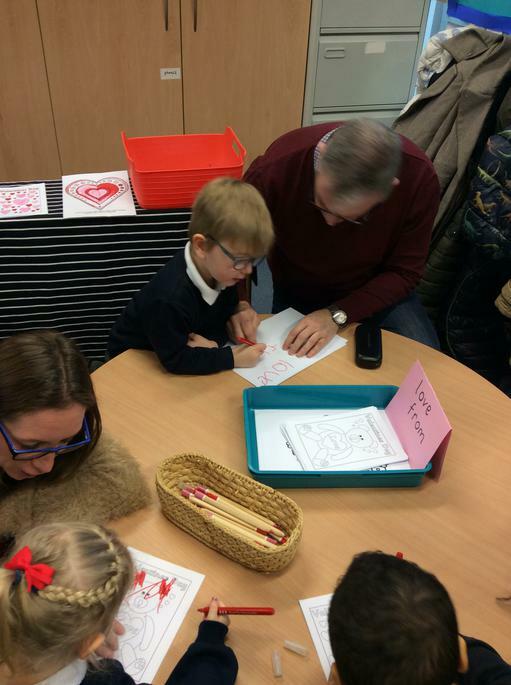 We enjoyed inviting our parents and carers into nursery to share in our learning. 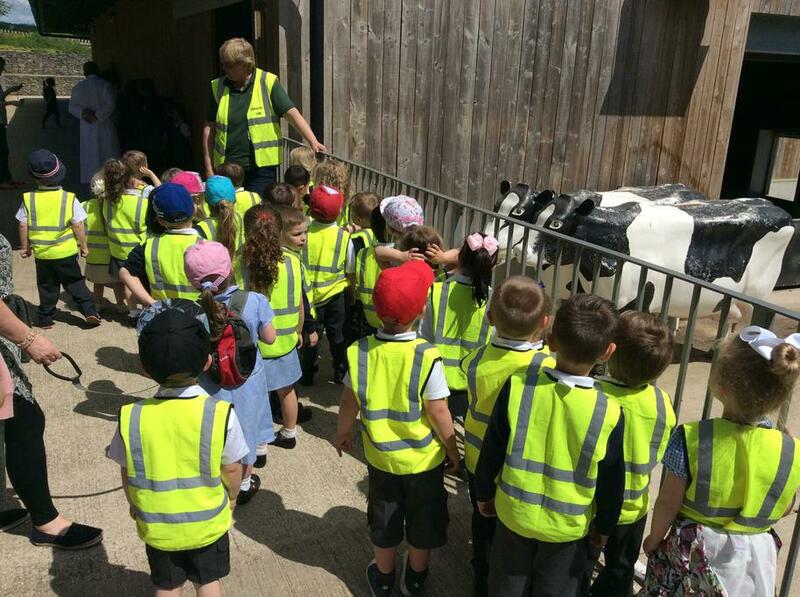 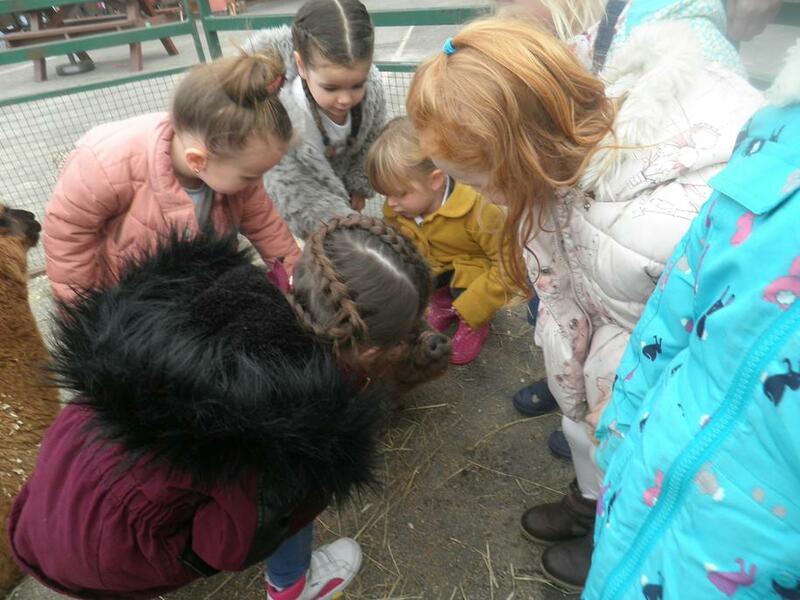 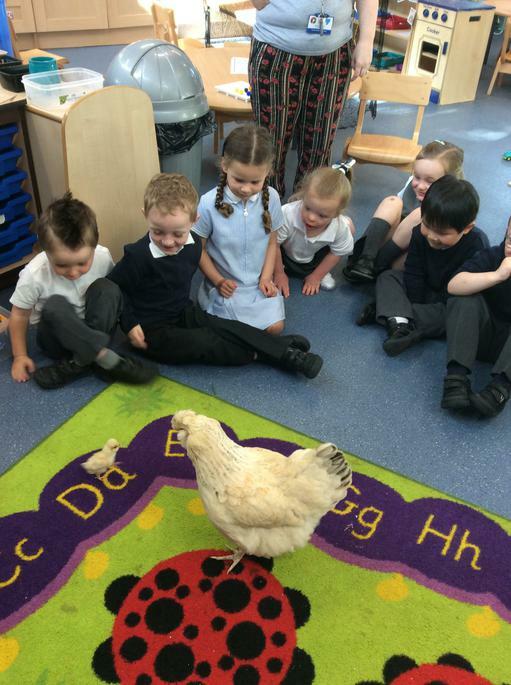 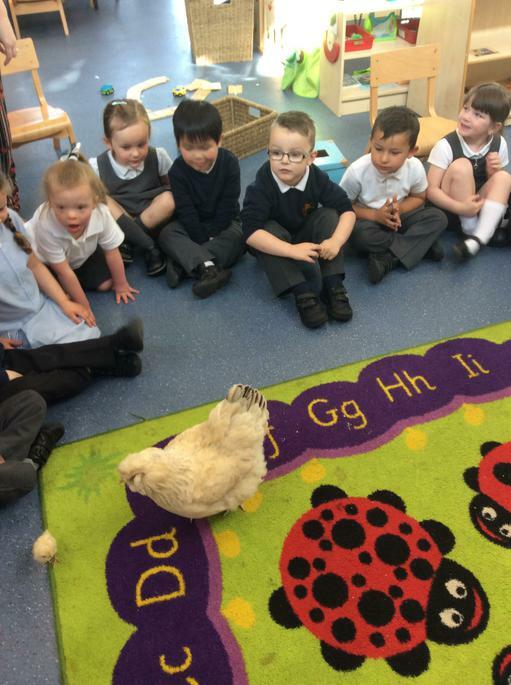 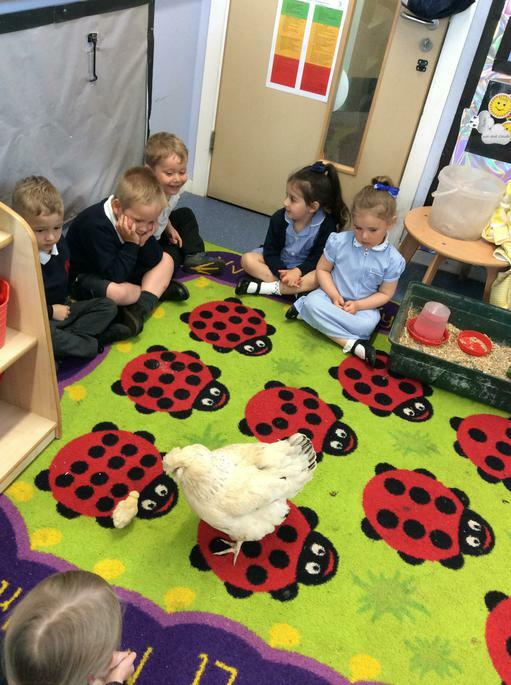 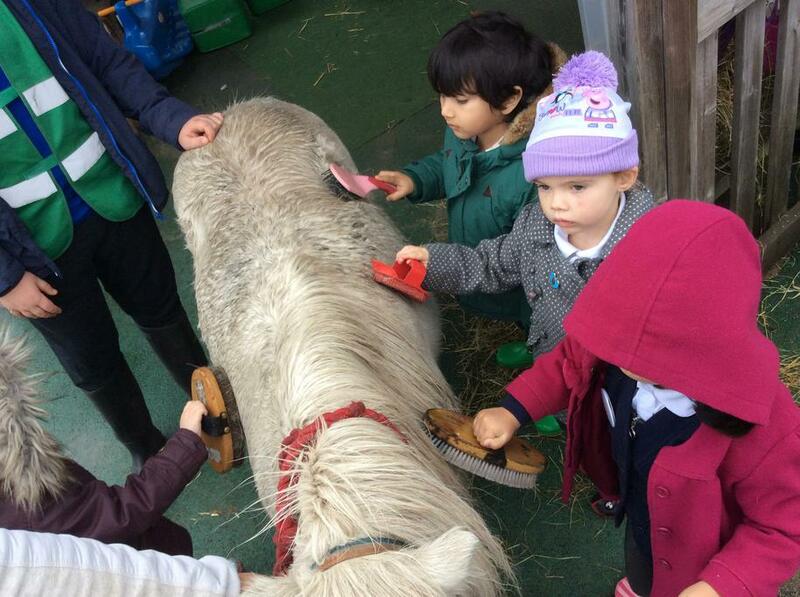 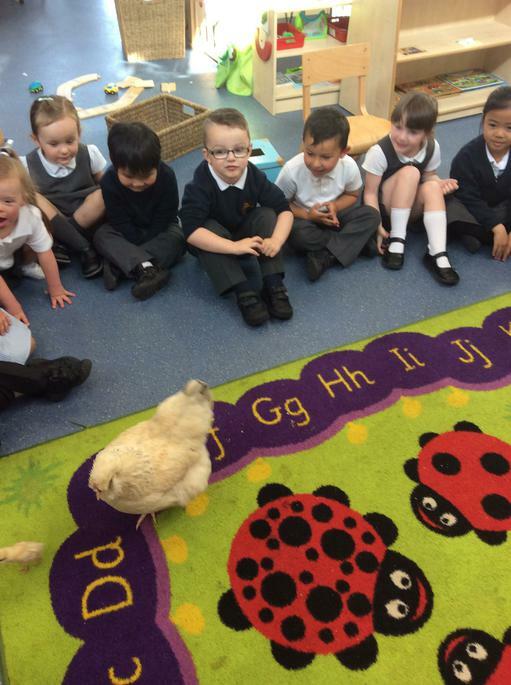 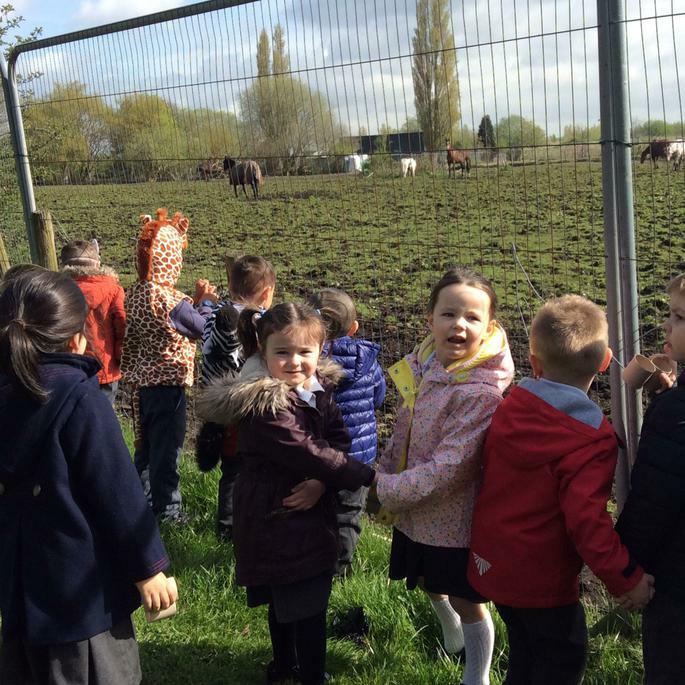 We are enjoying learning all about Old MacDonalds Farm in nursery. 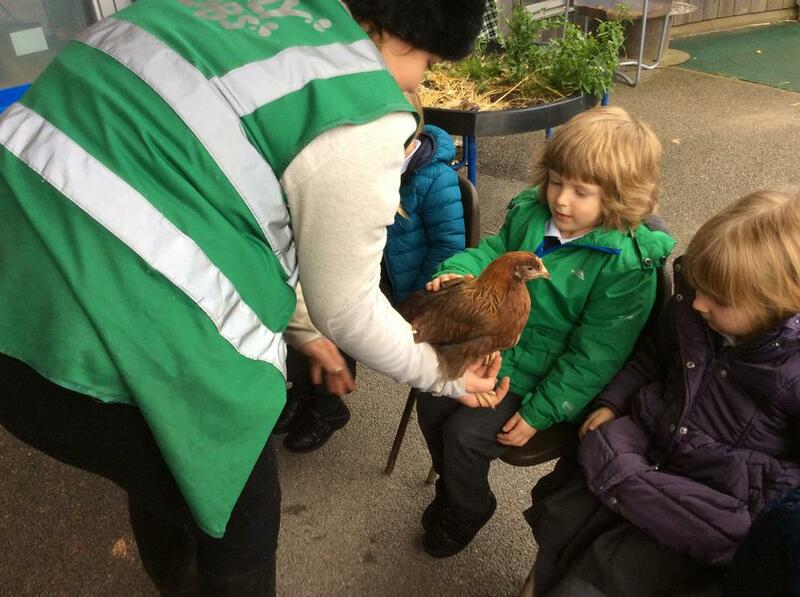 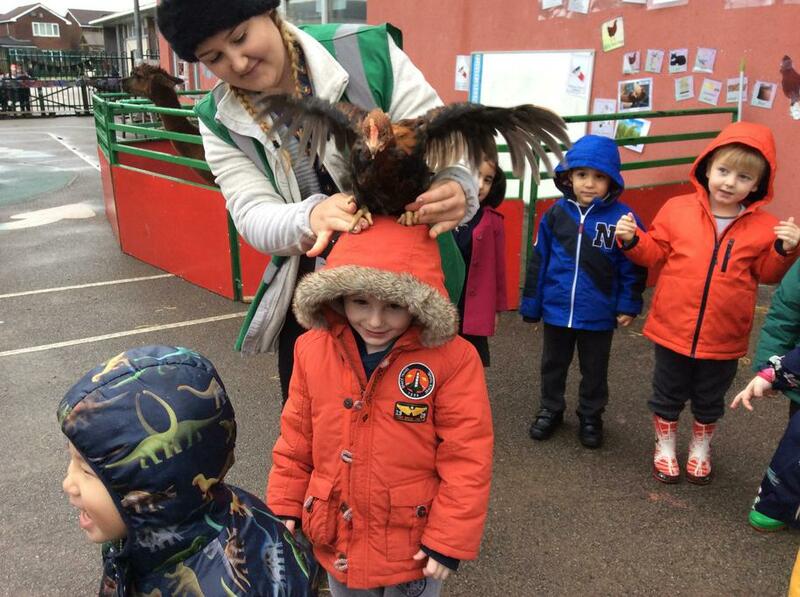 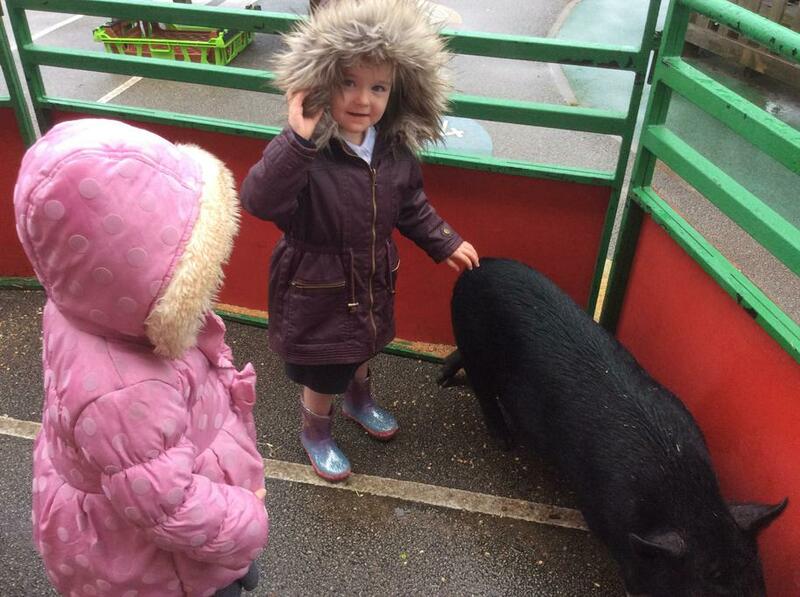 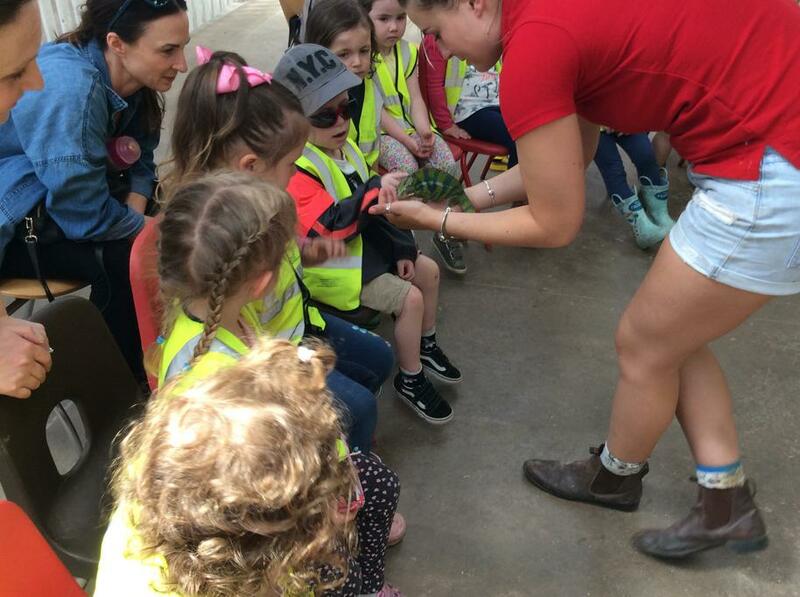 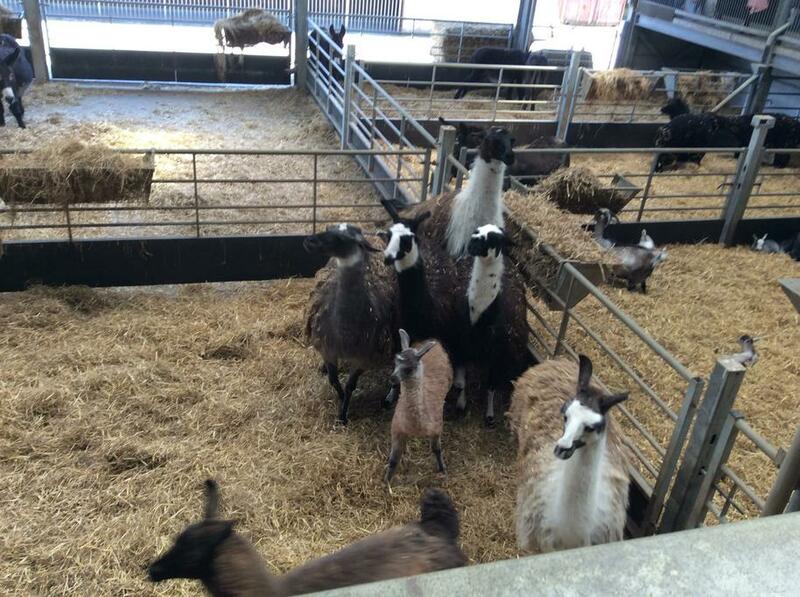 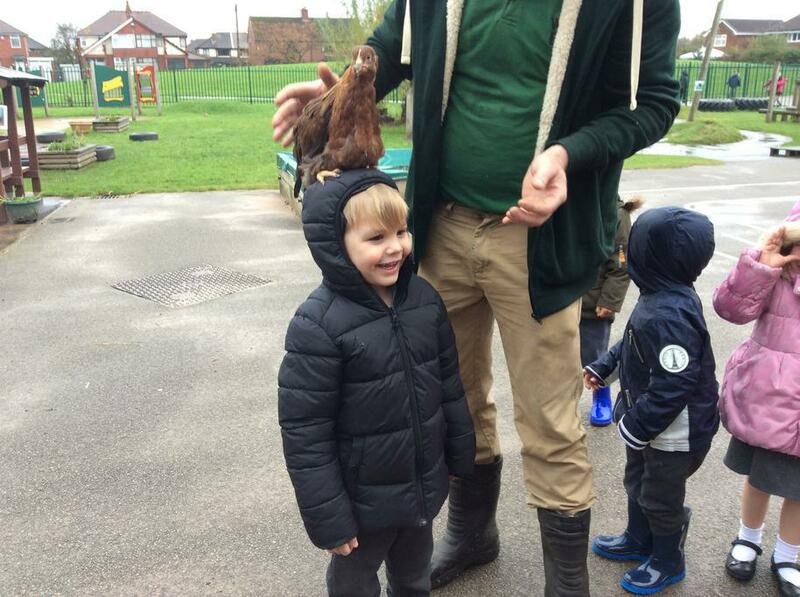 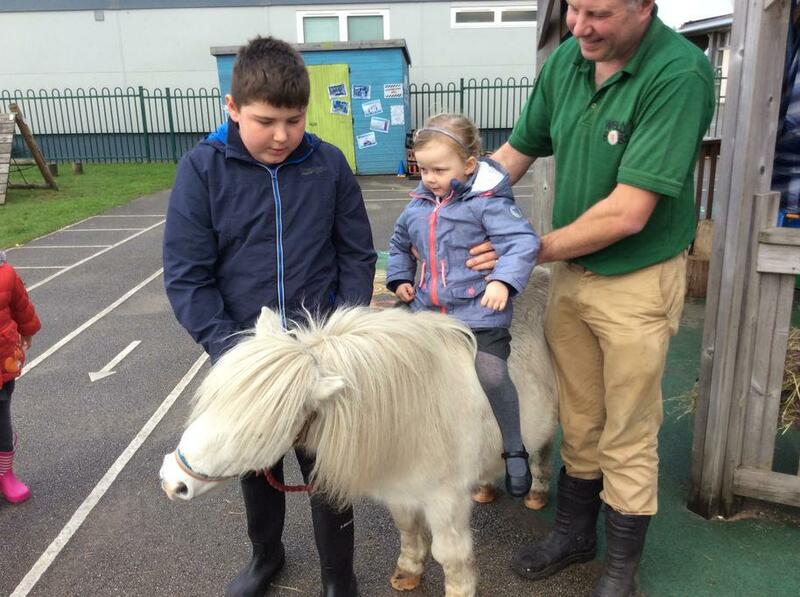 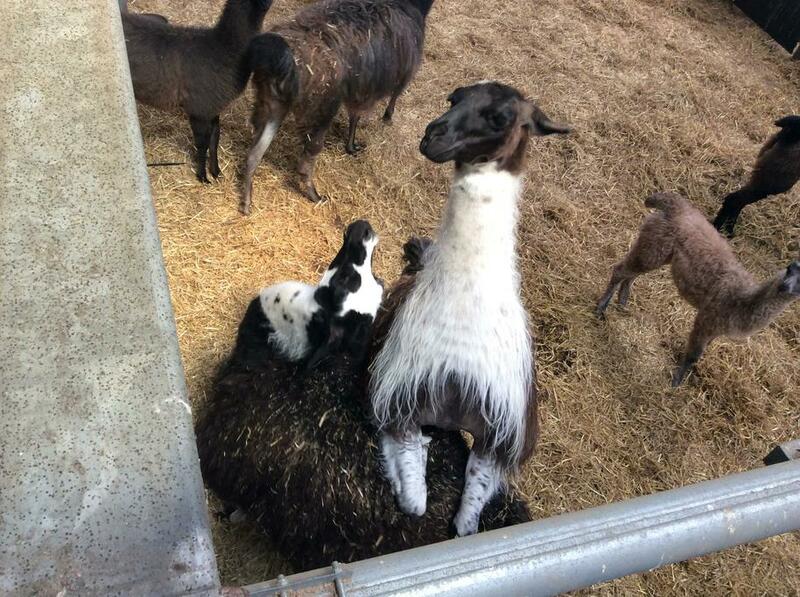 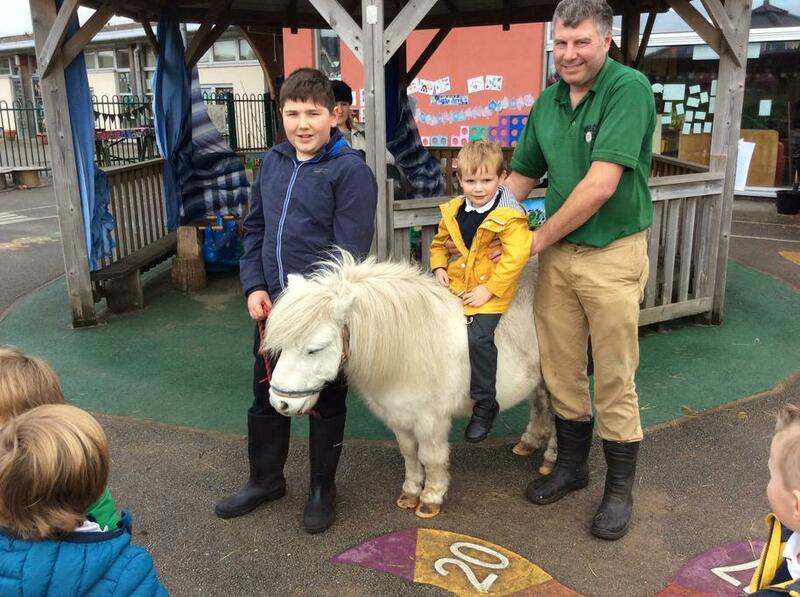 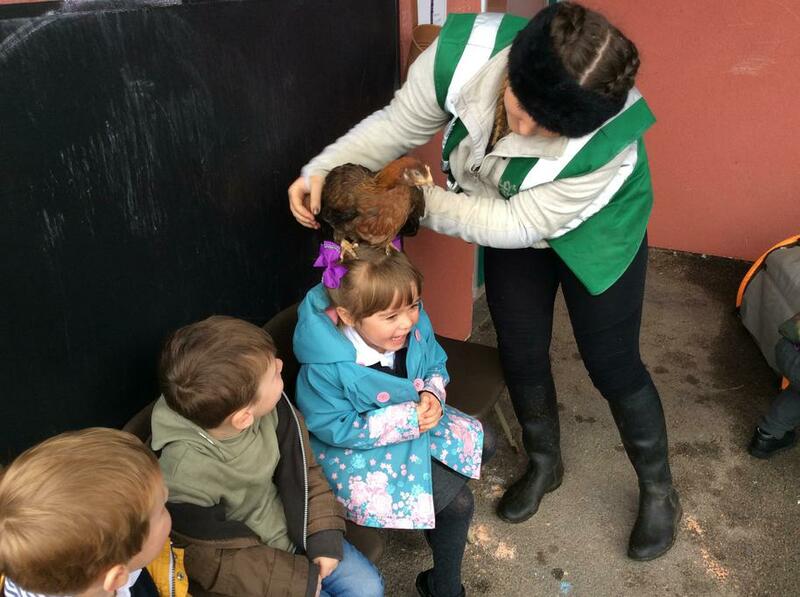 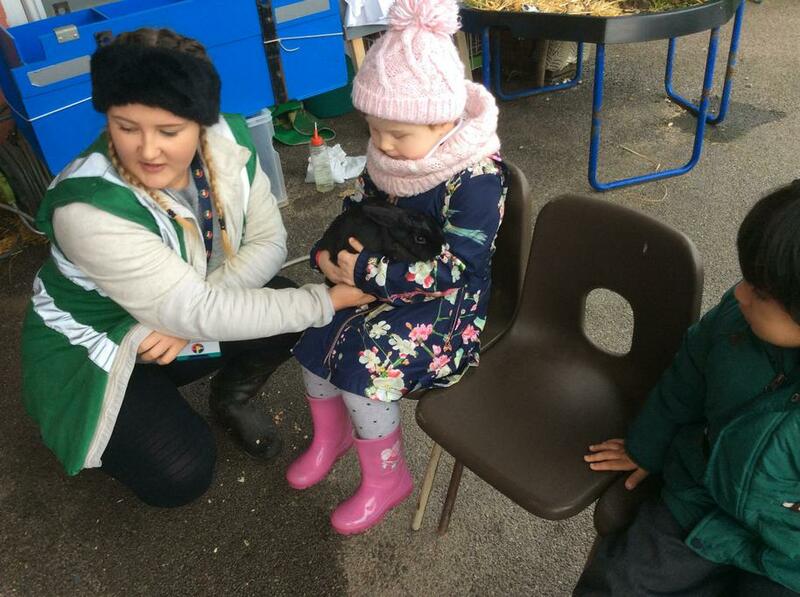 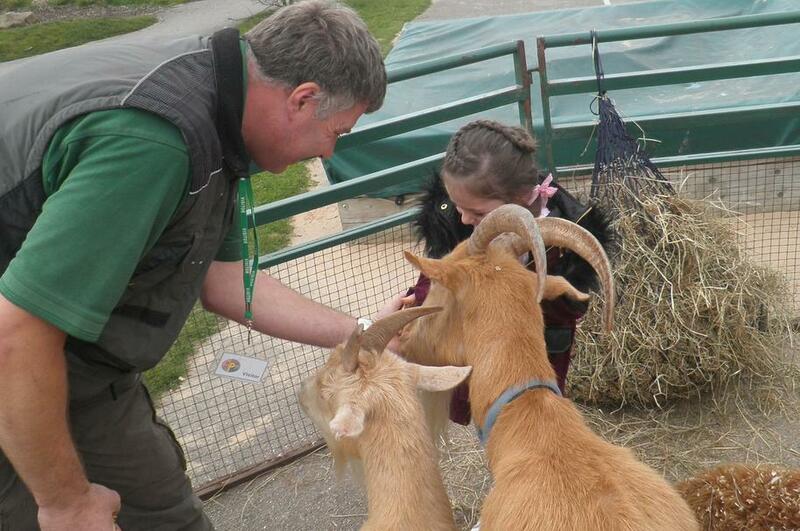 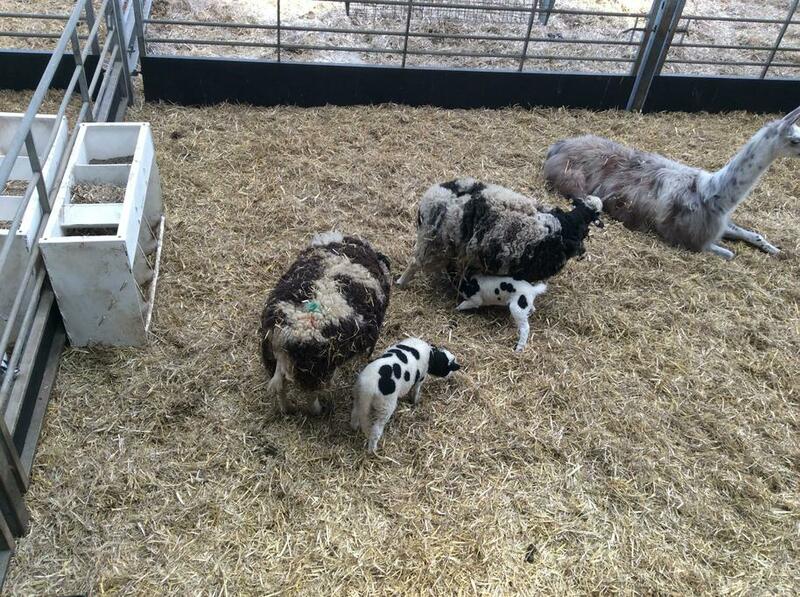 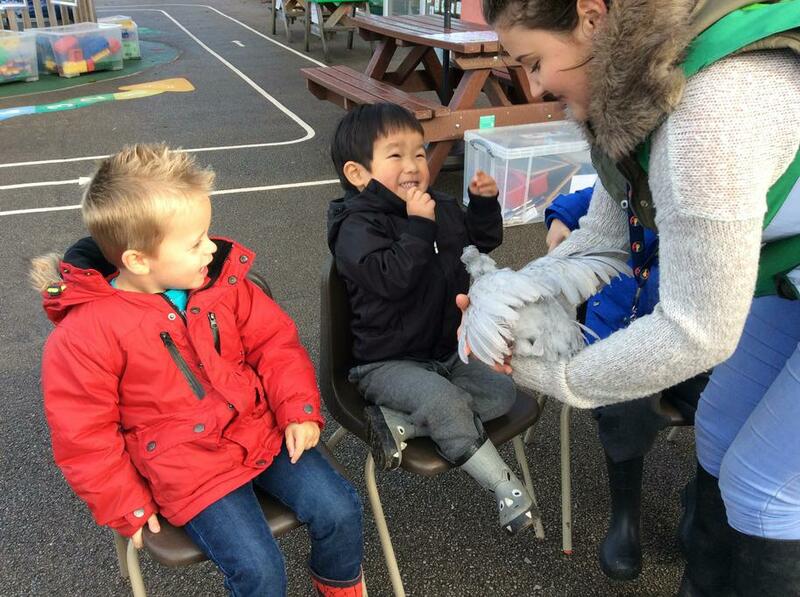 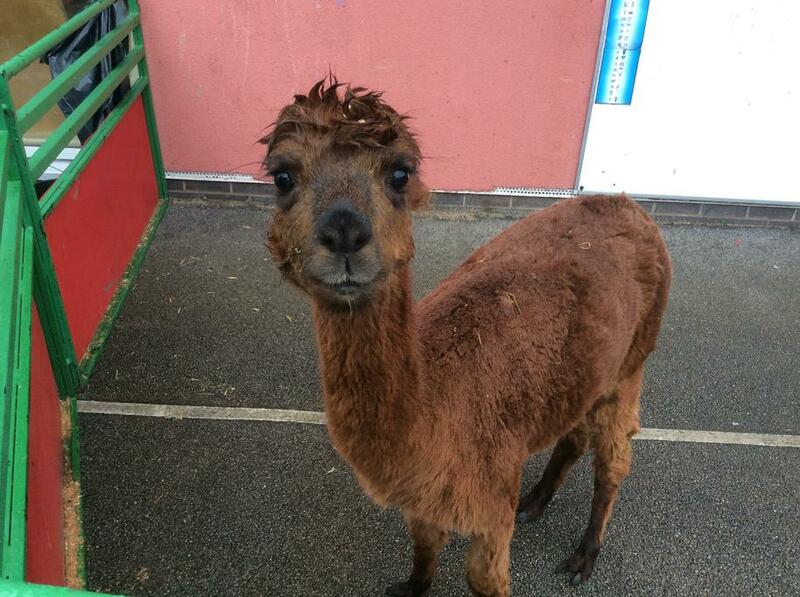 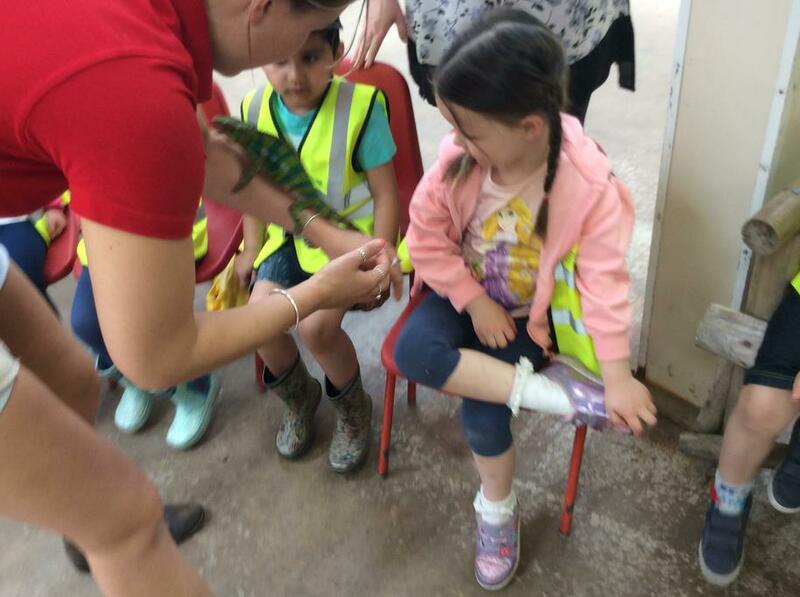 Next week Farmer Heath will be bringing the Wellybobs Roadshow to school to visit us with a selection of farm animals. 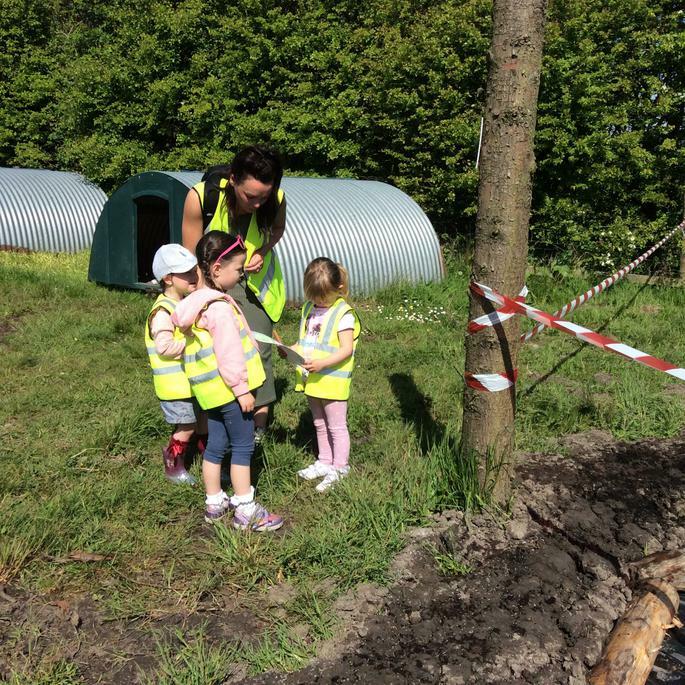 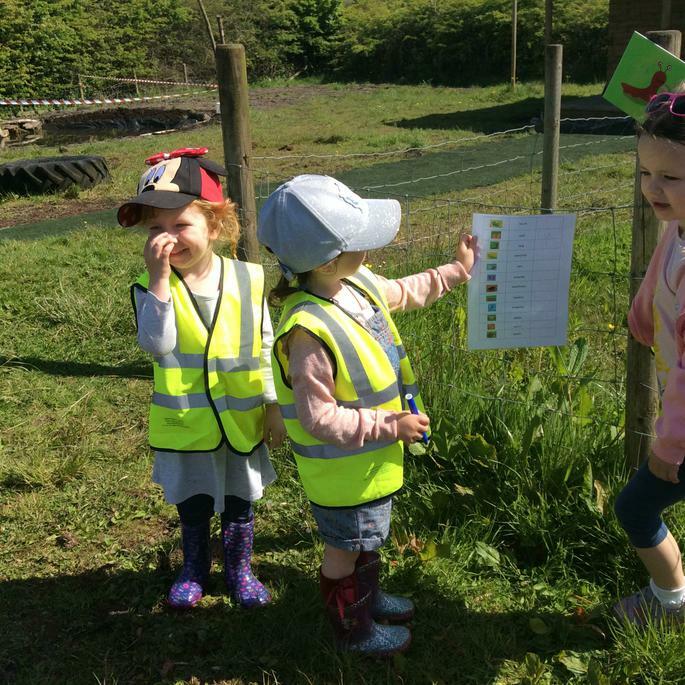 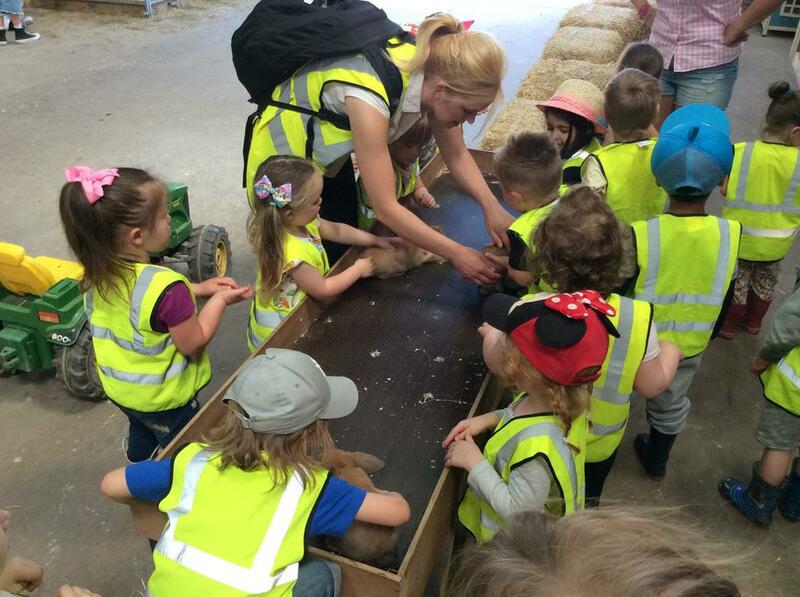 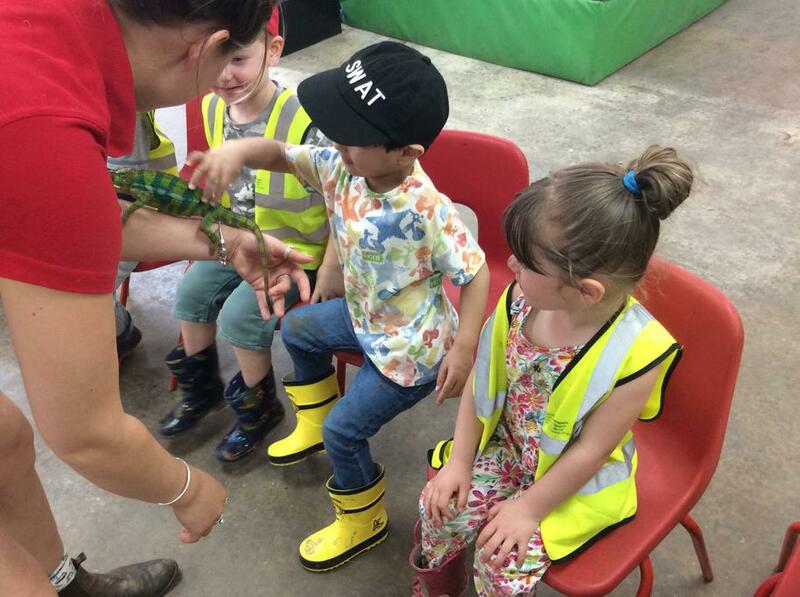 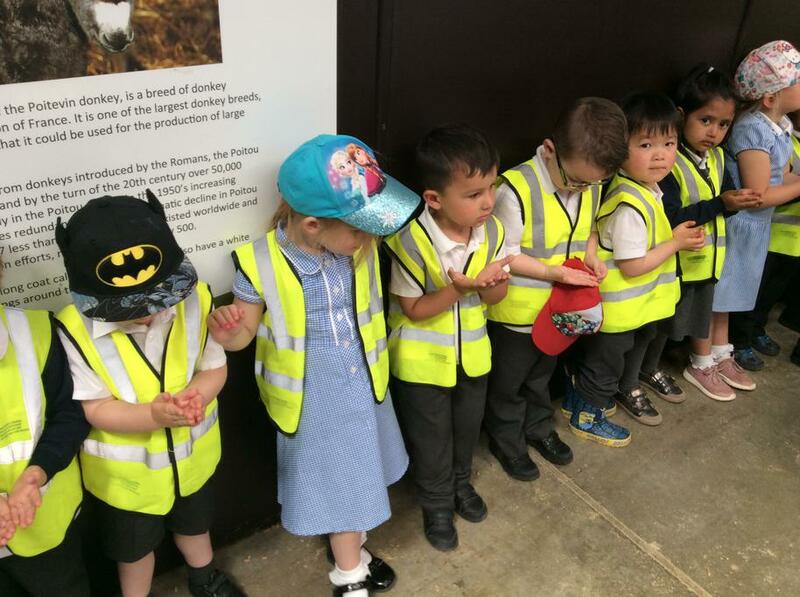 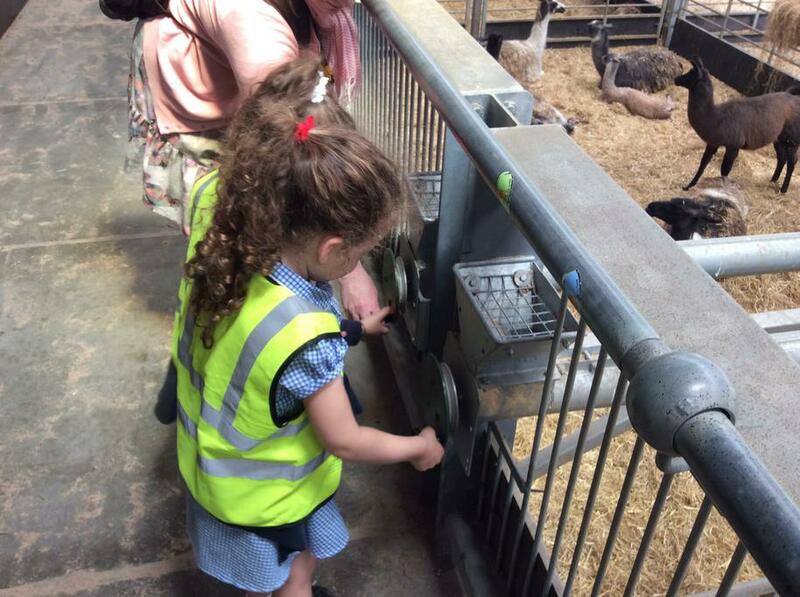 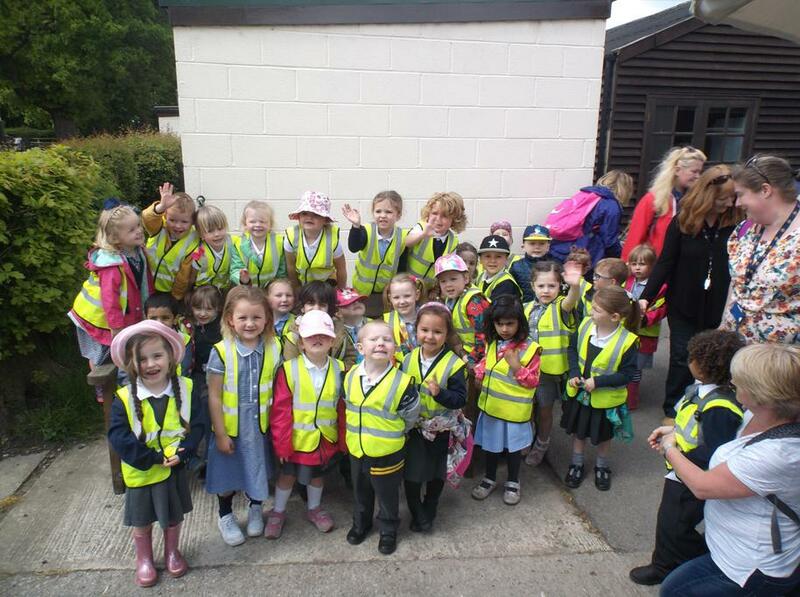 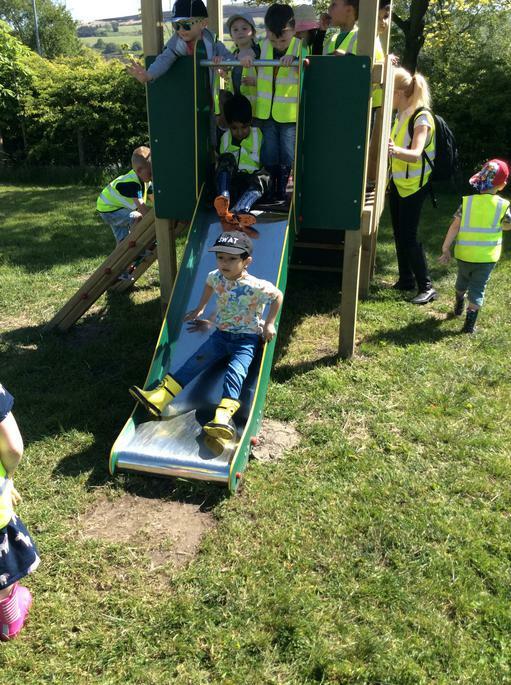 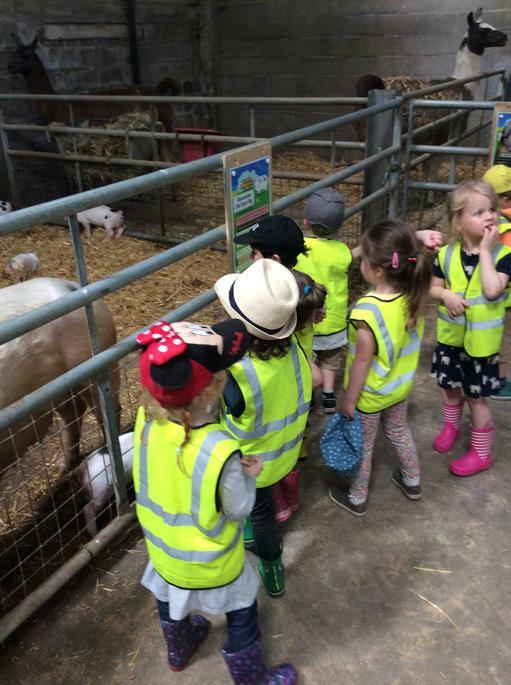 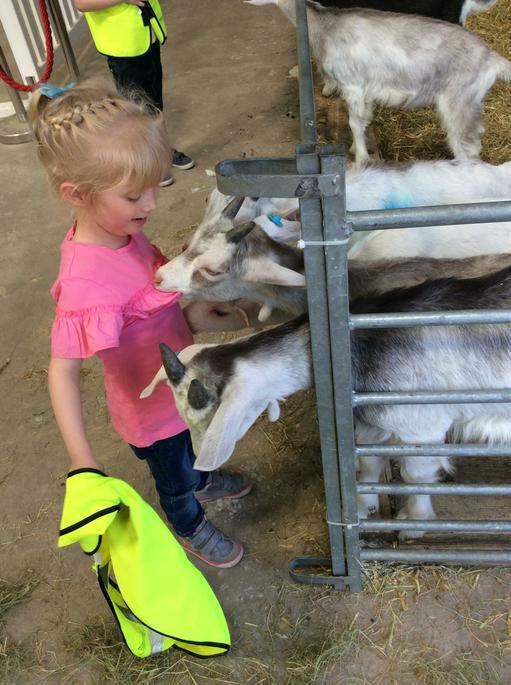 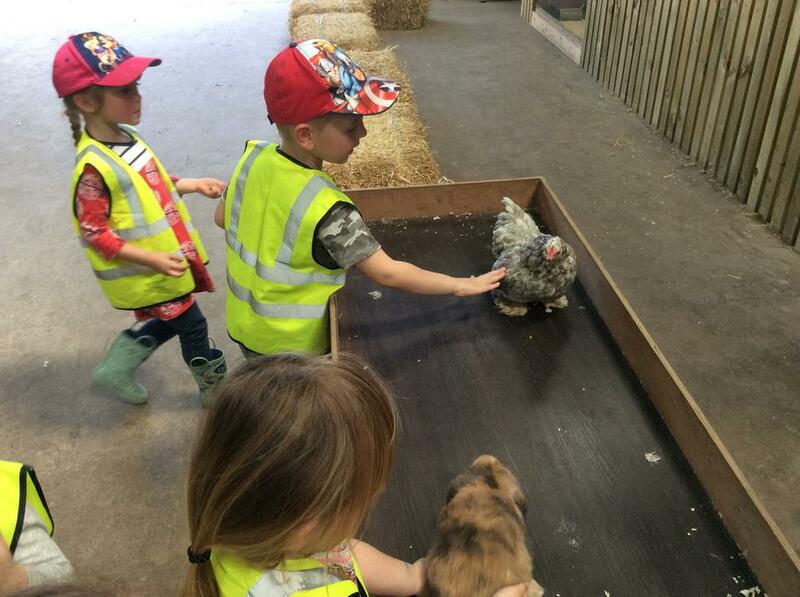 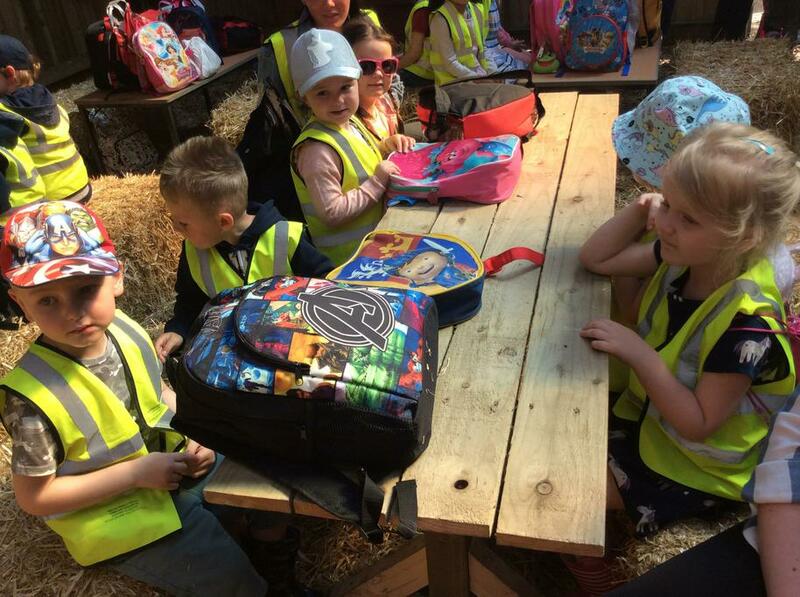 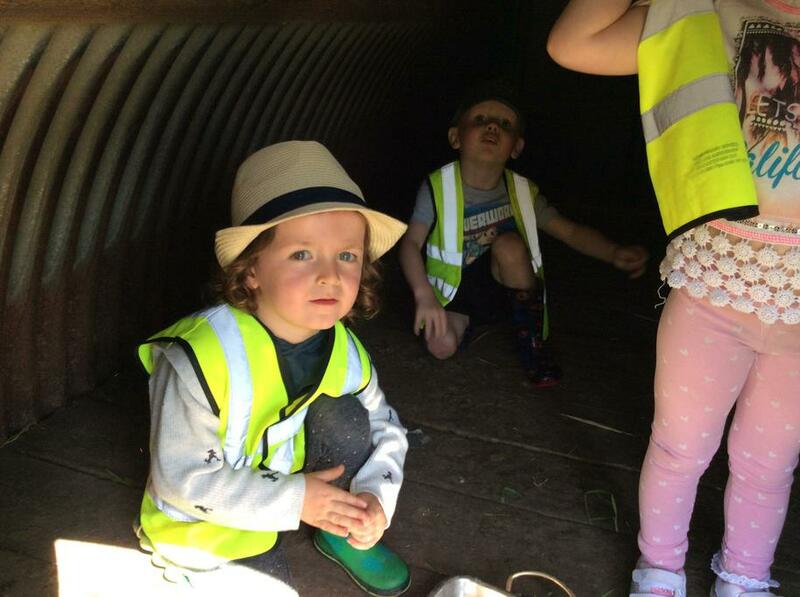 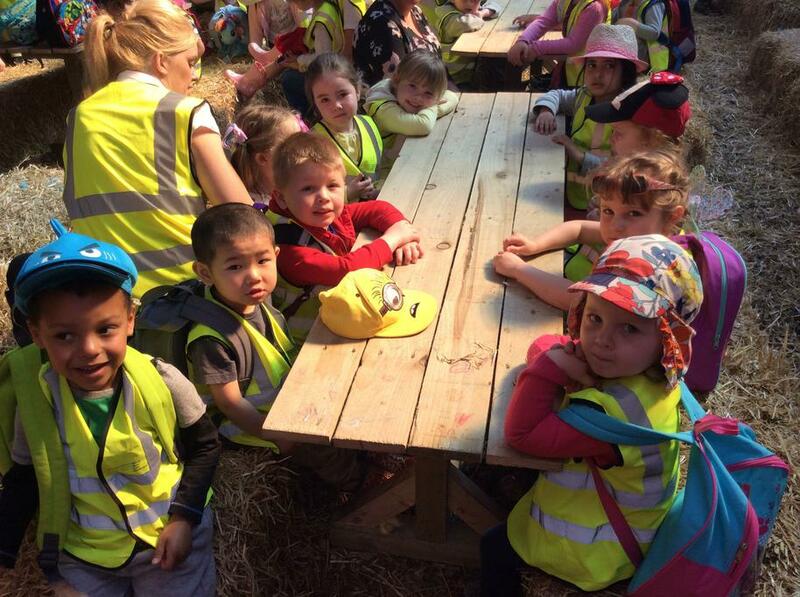 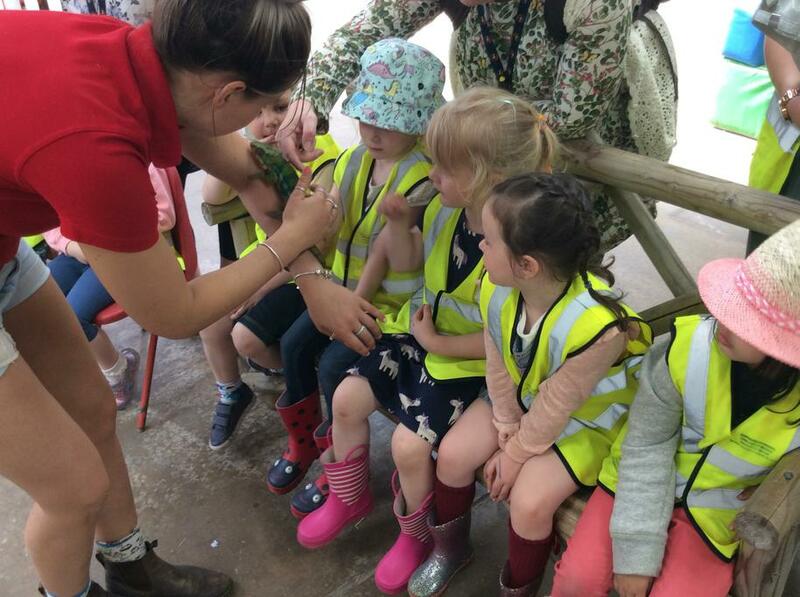 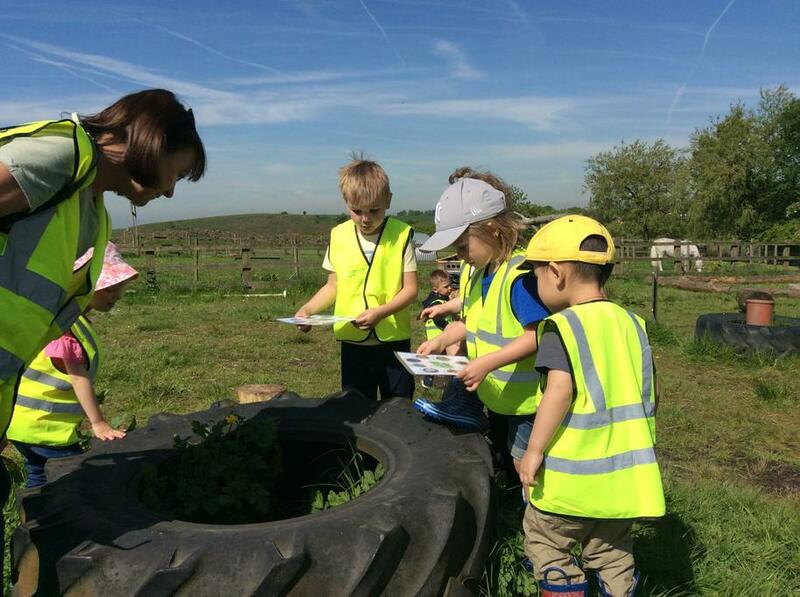 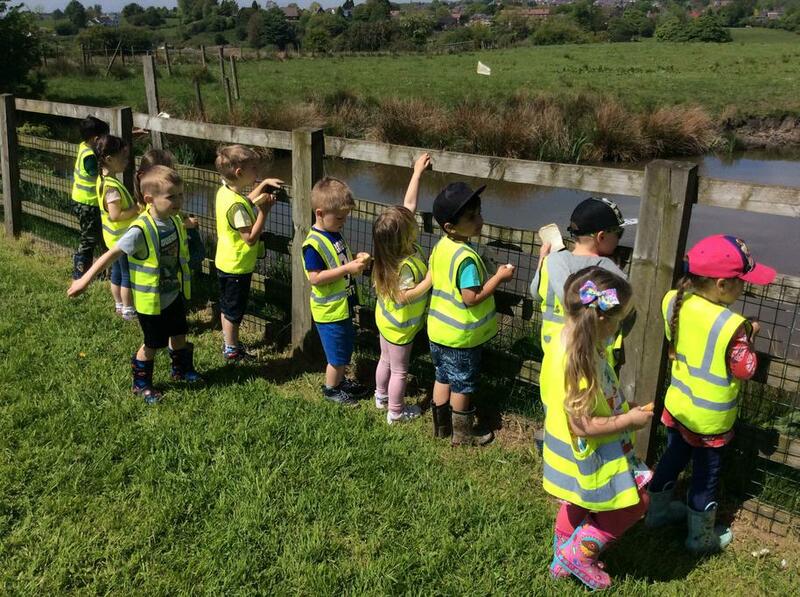 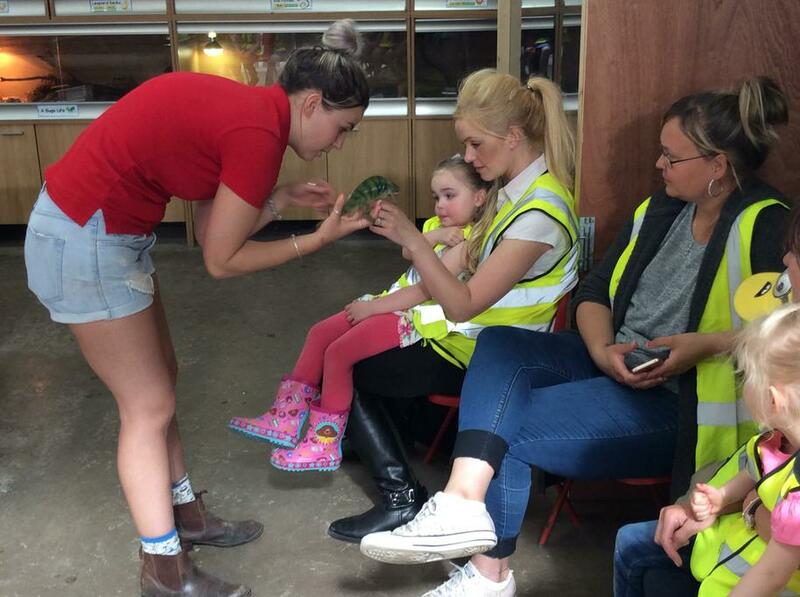 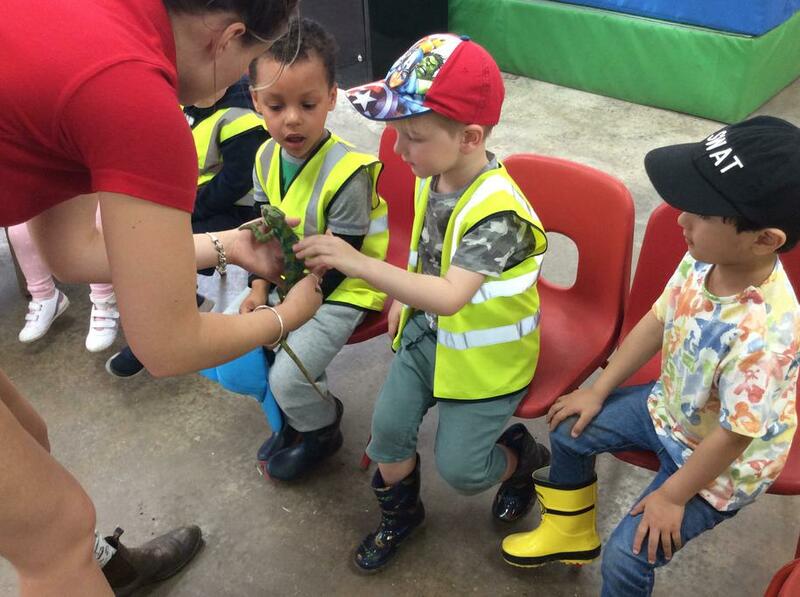 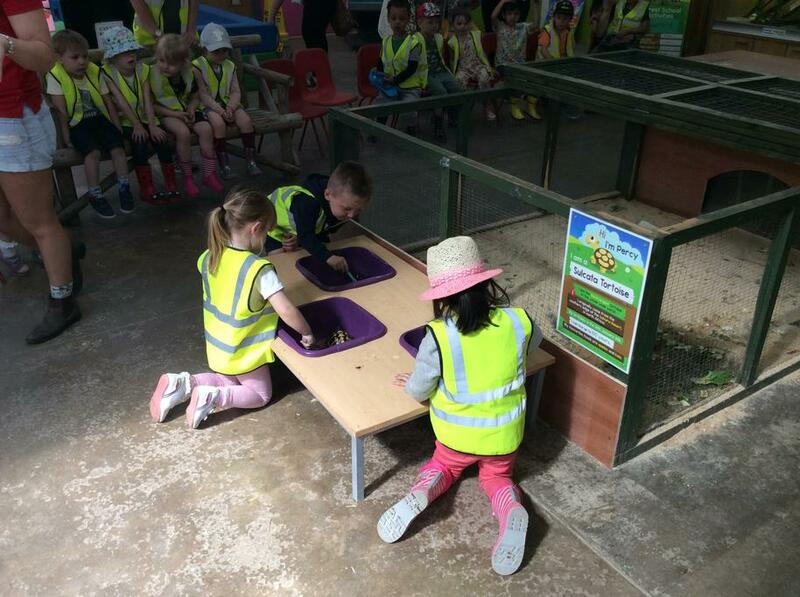 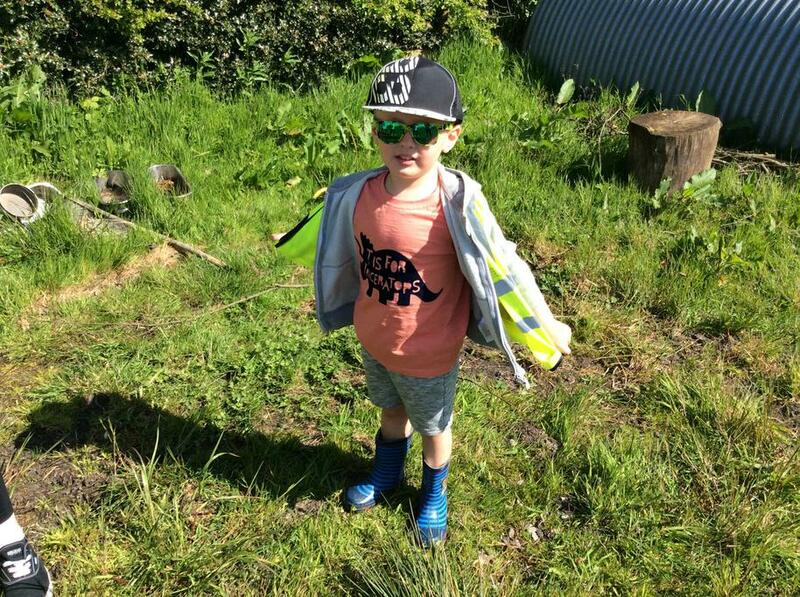 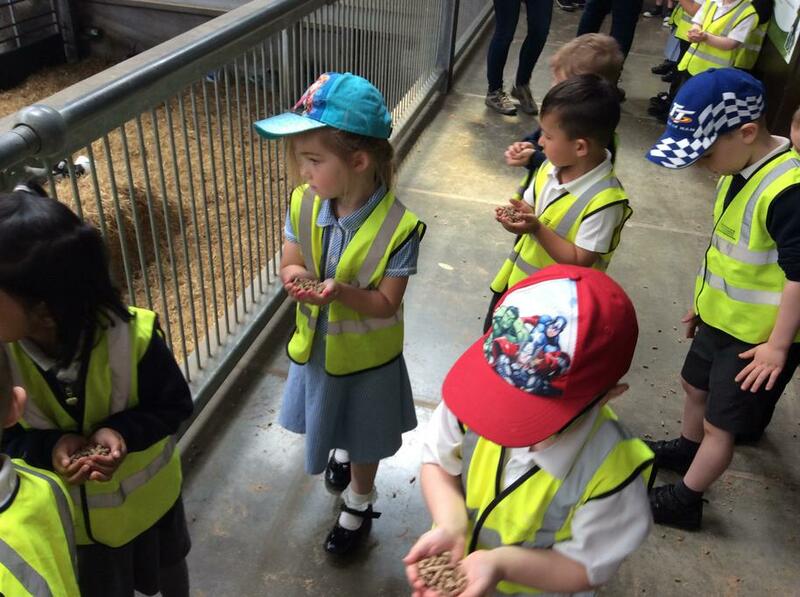 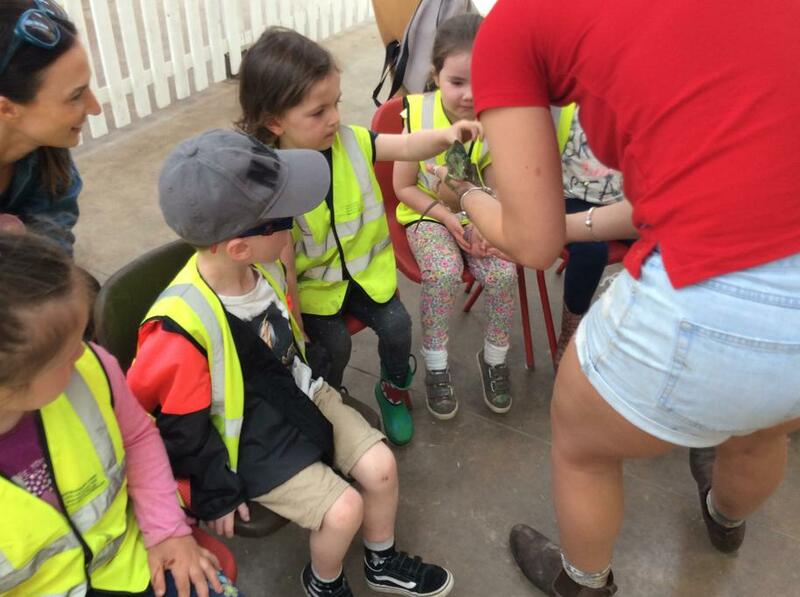 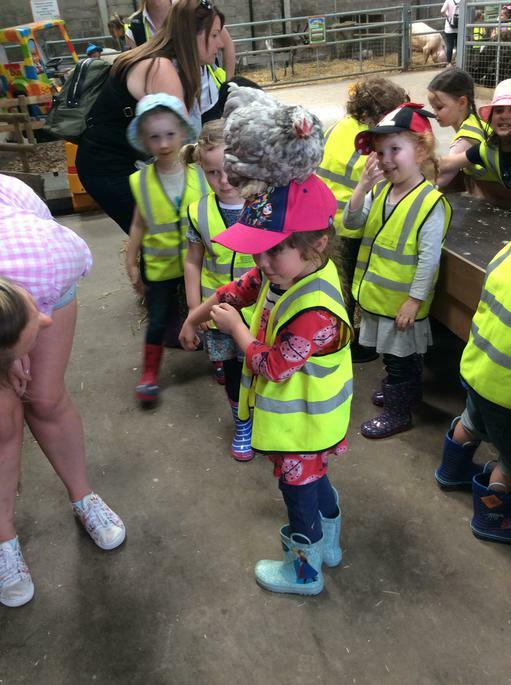 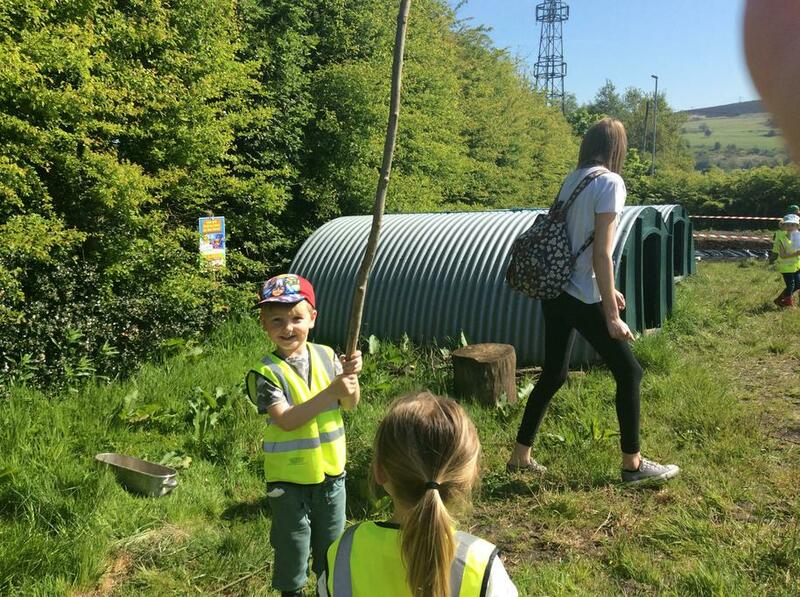 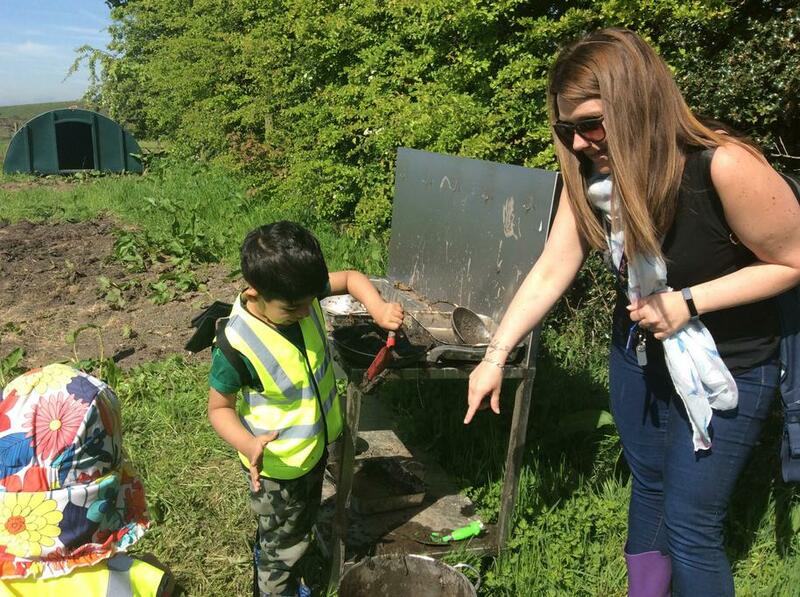 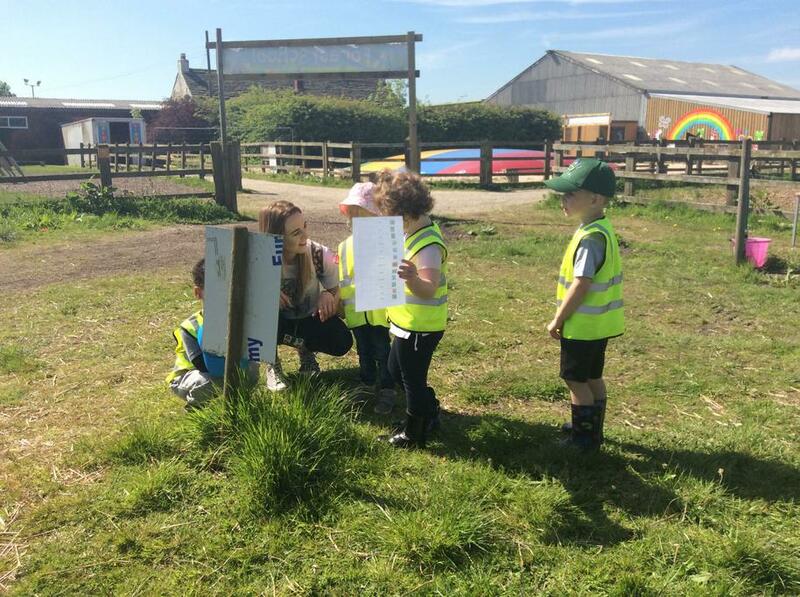 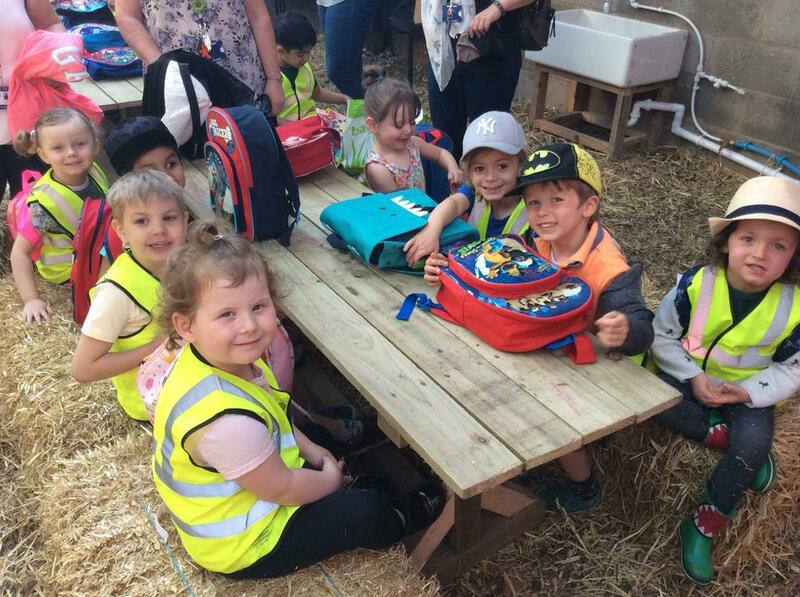 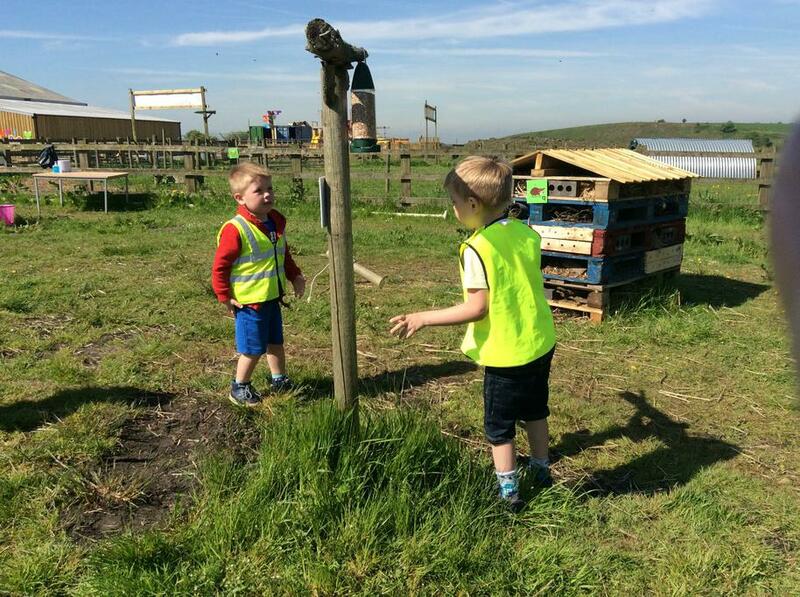 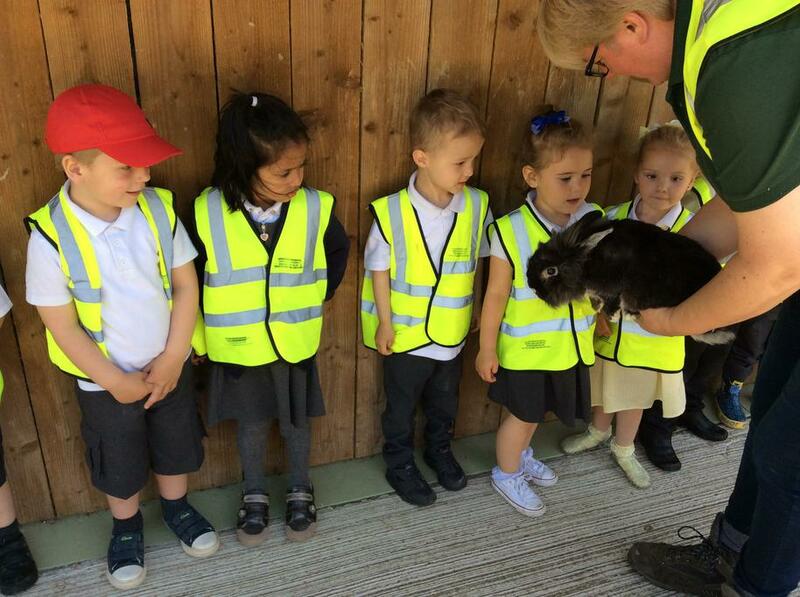 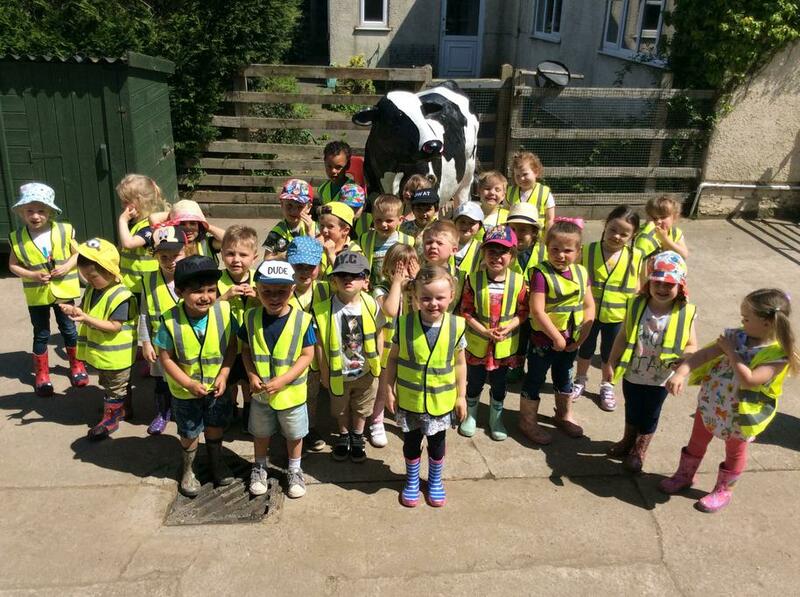 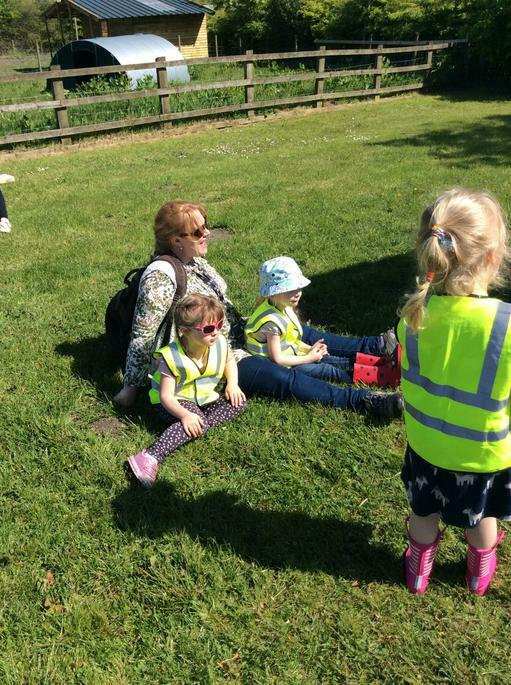 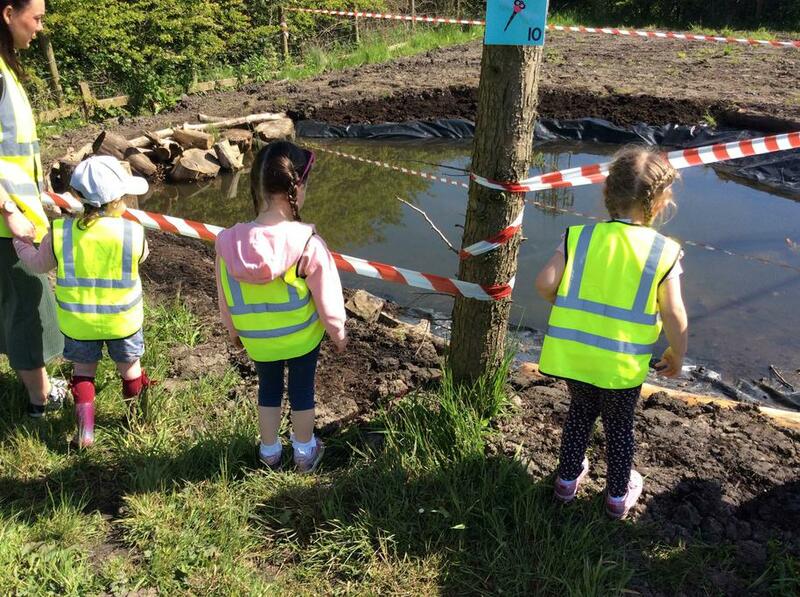 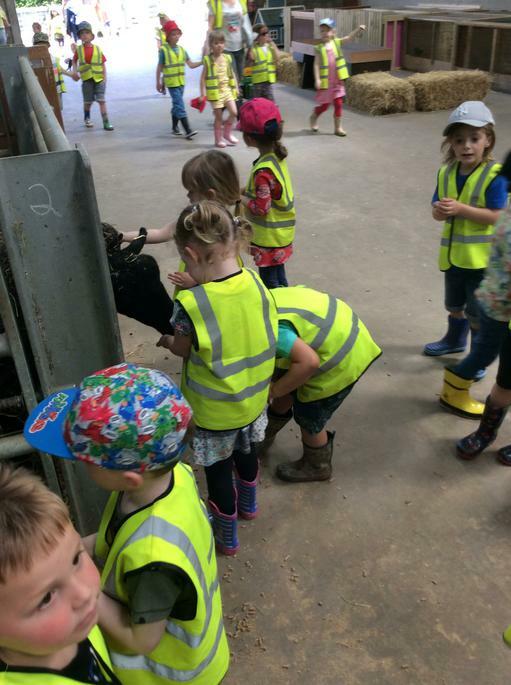 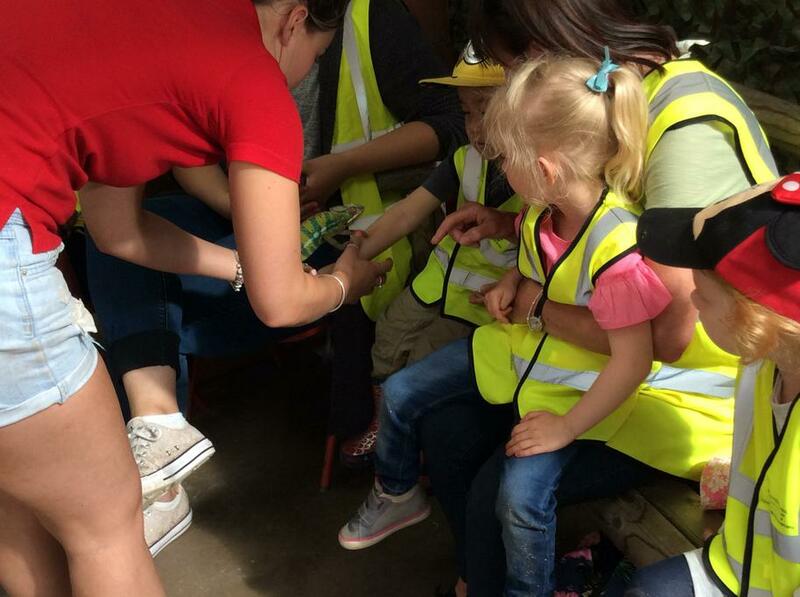 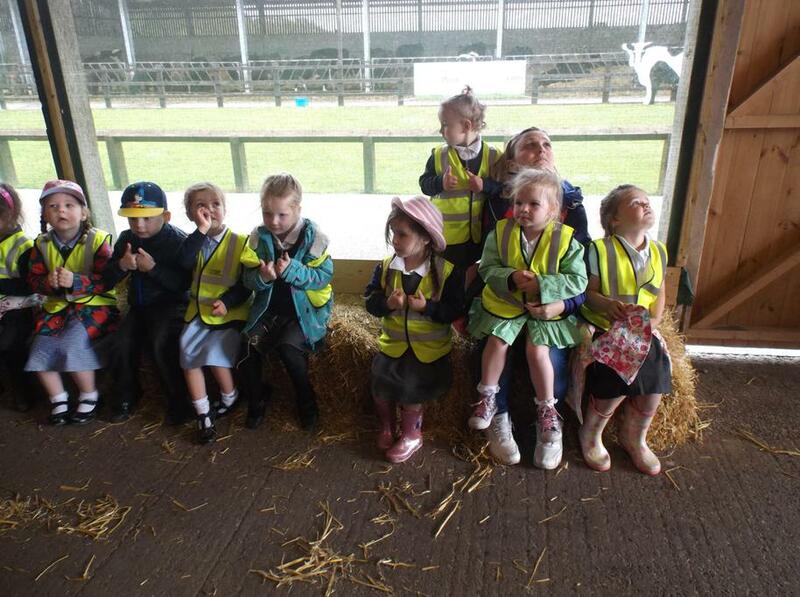 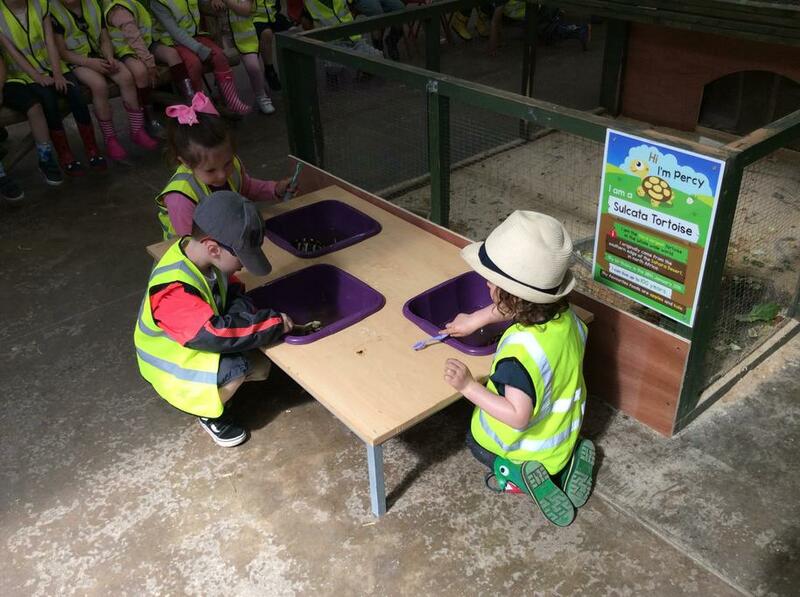 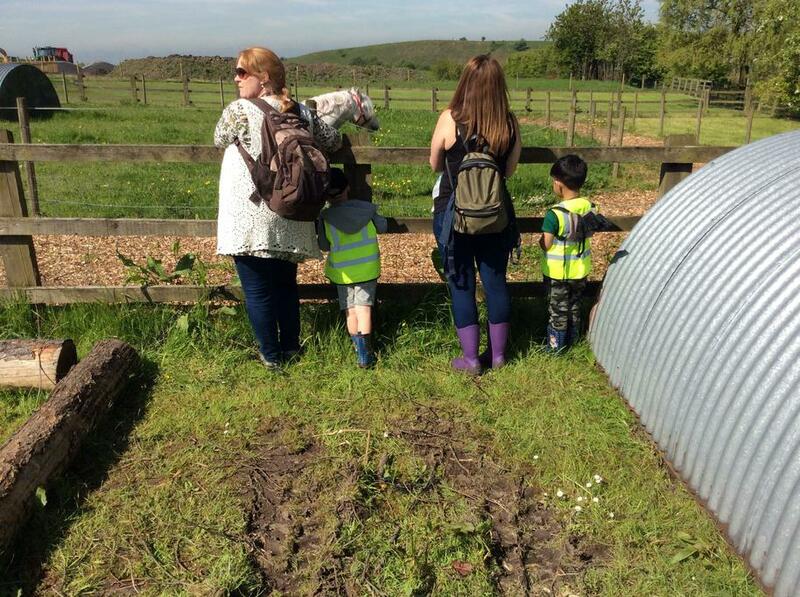 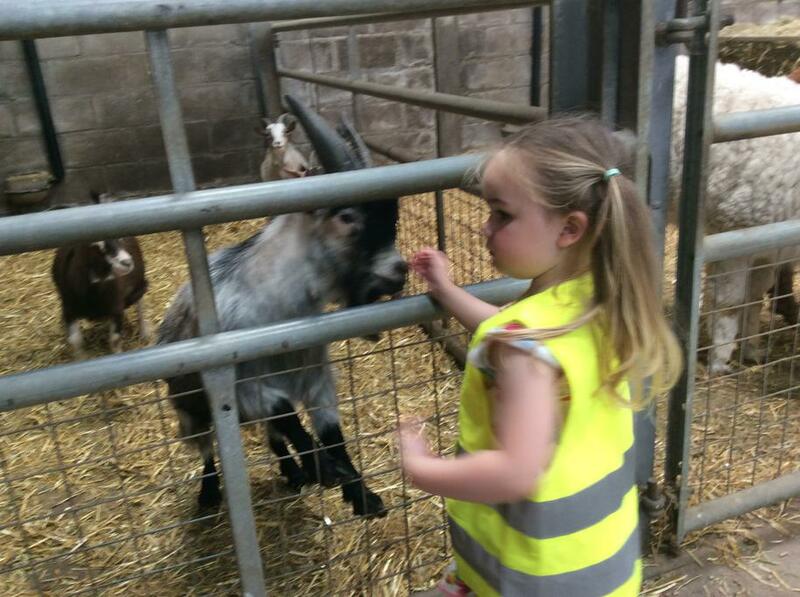 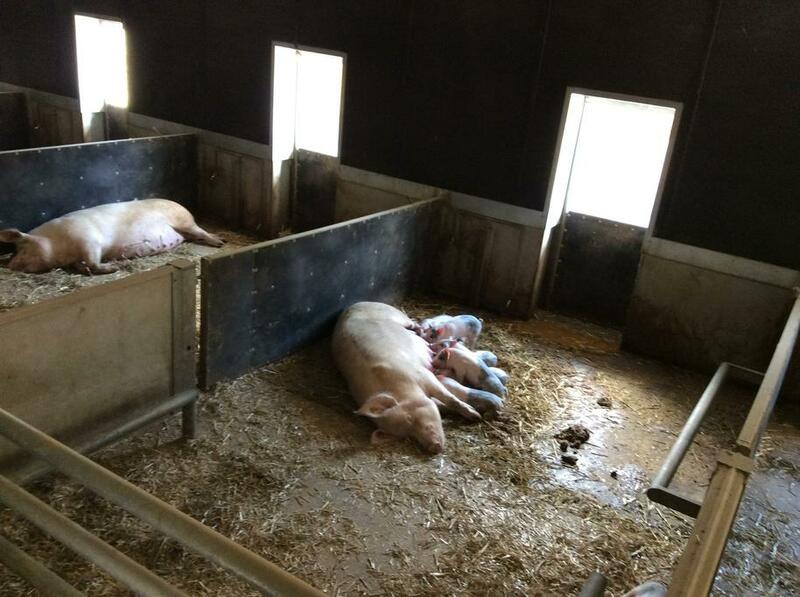 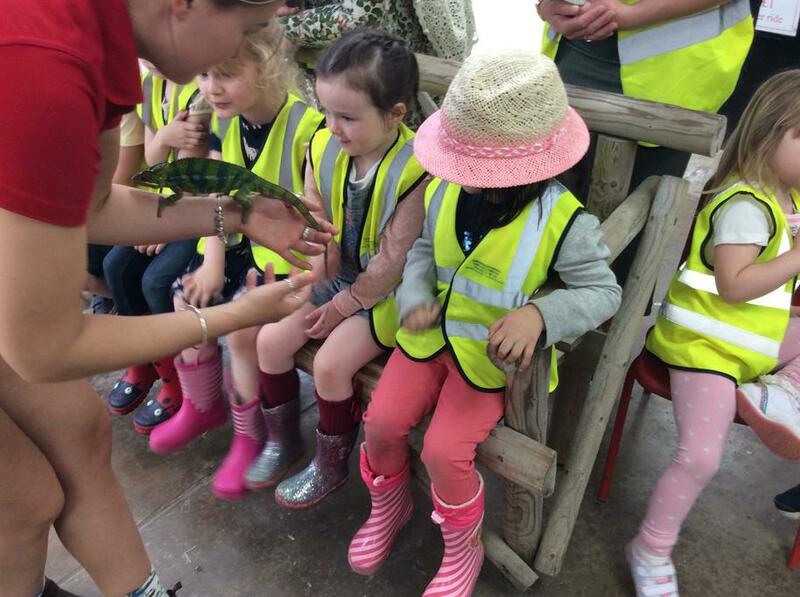 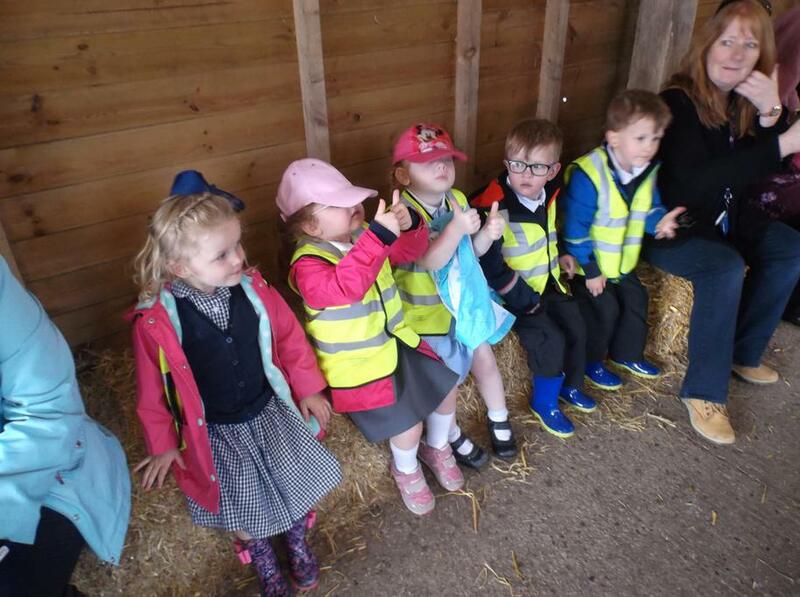 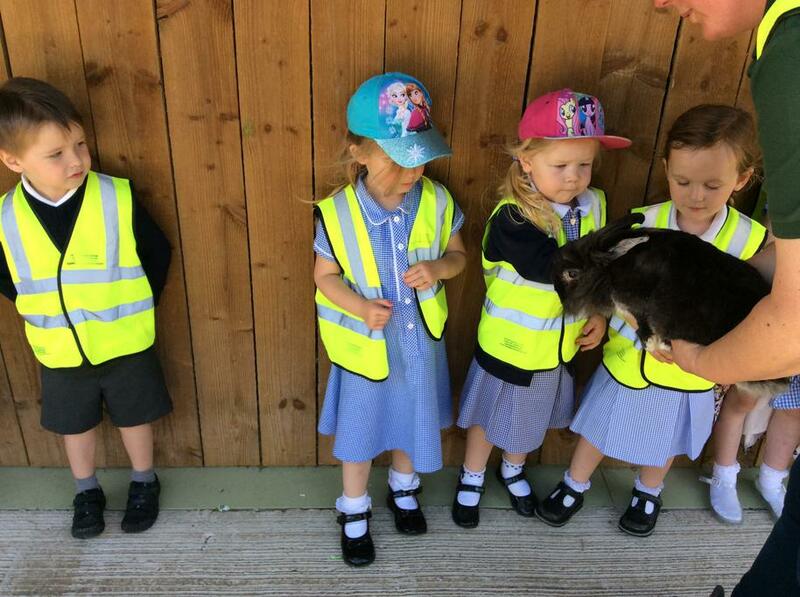 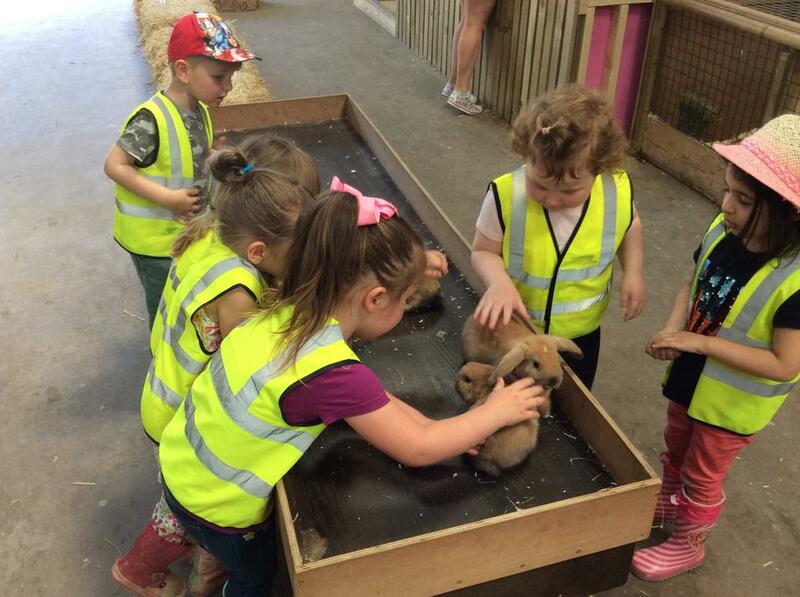 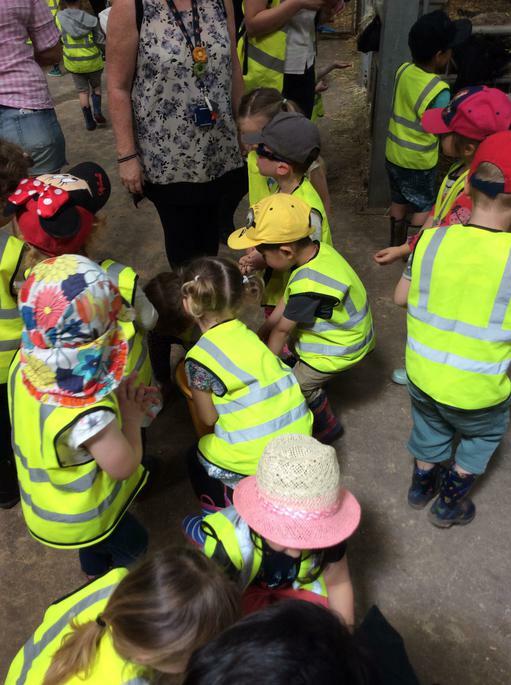 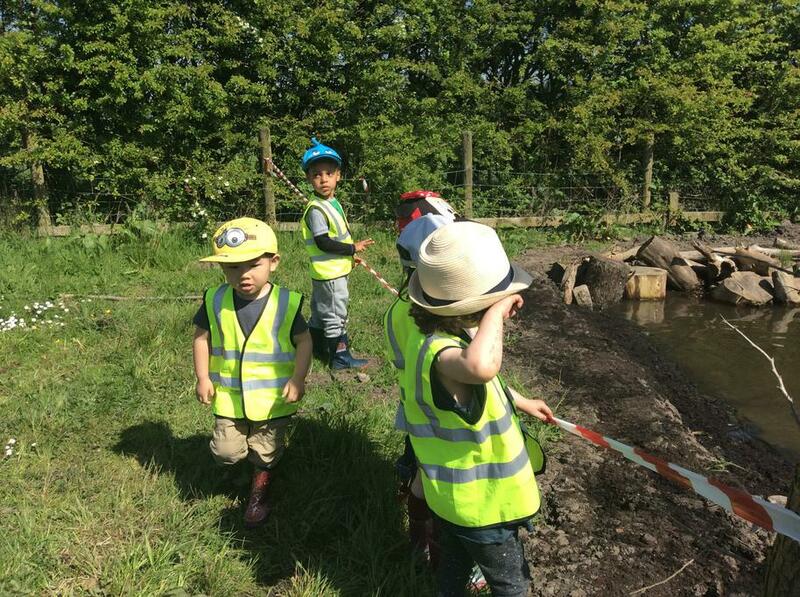 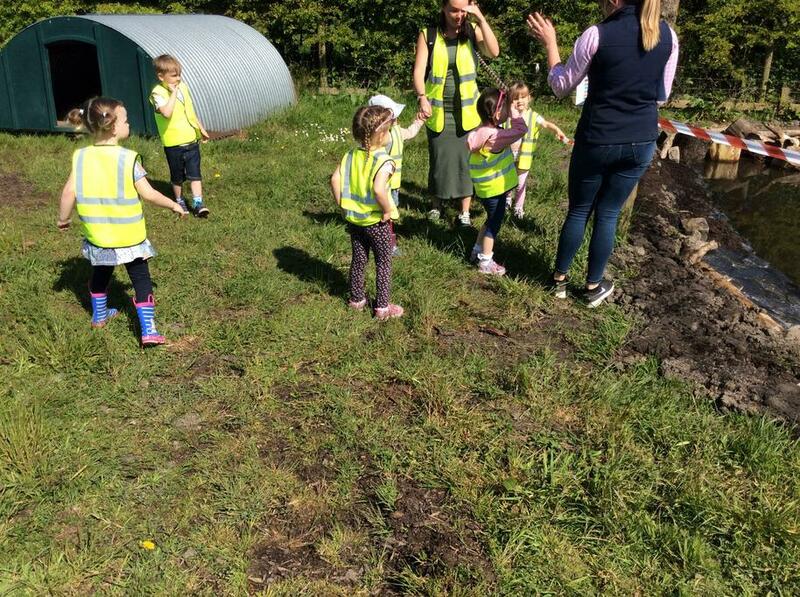 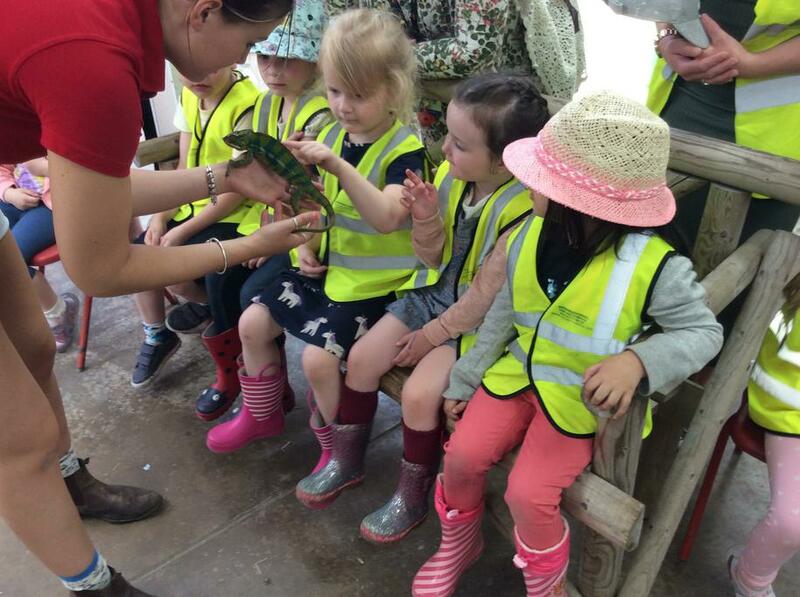 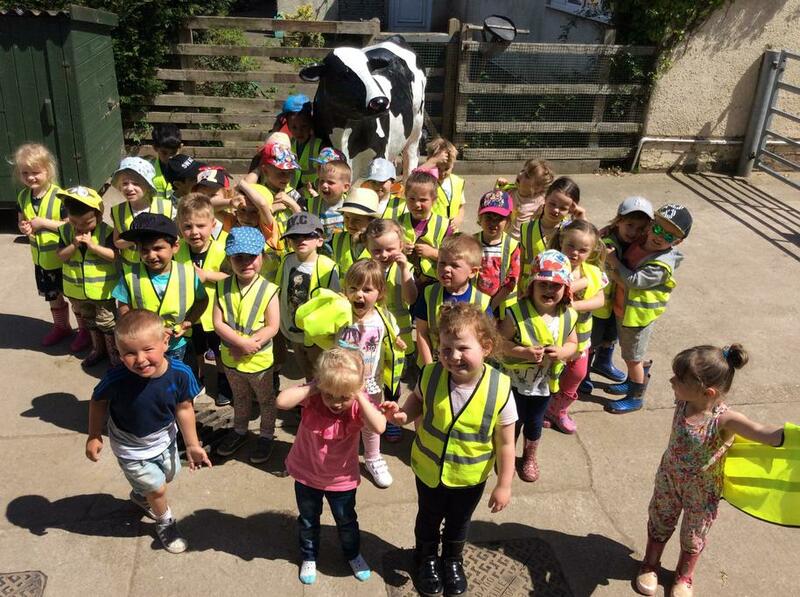 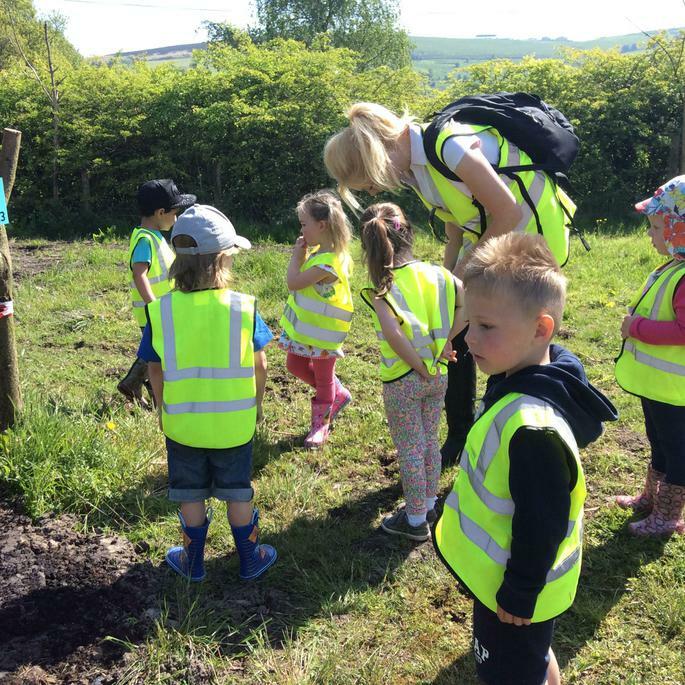 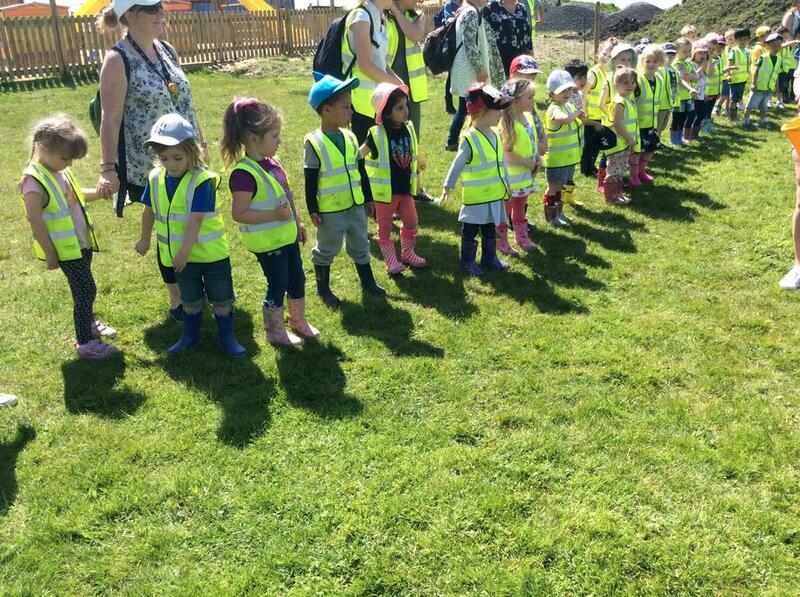 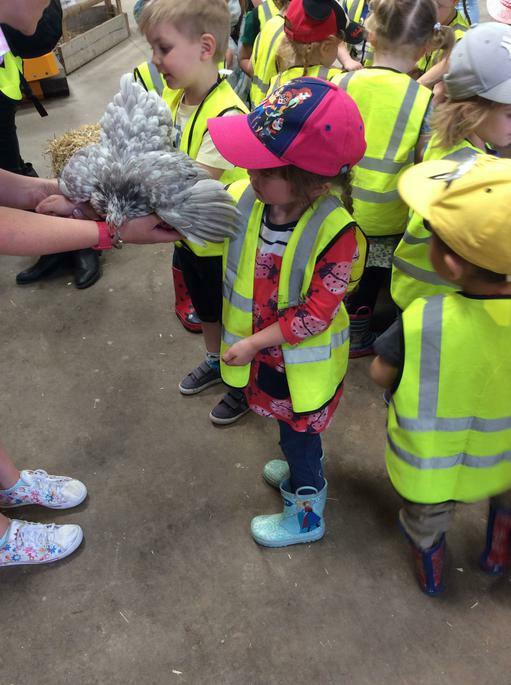 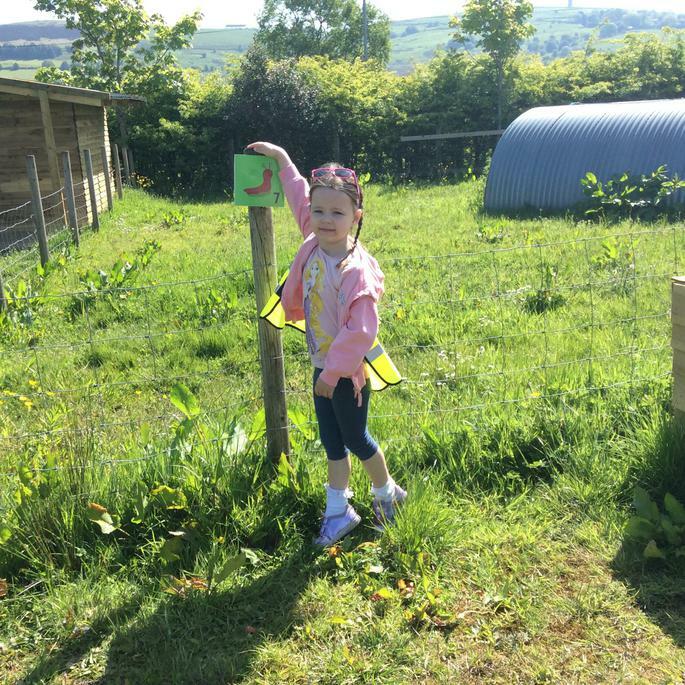 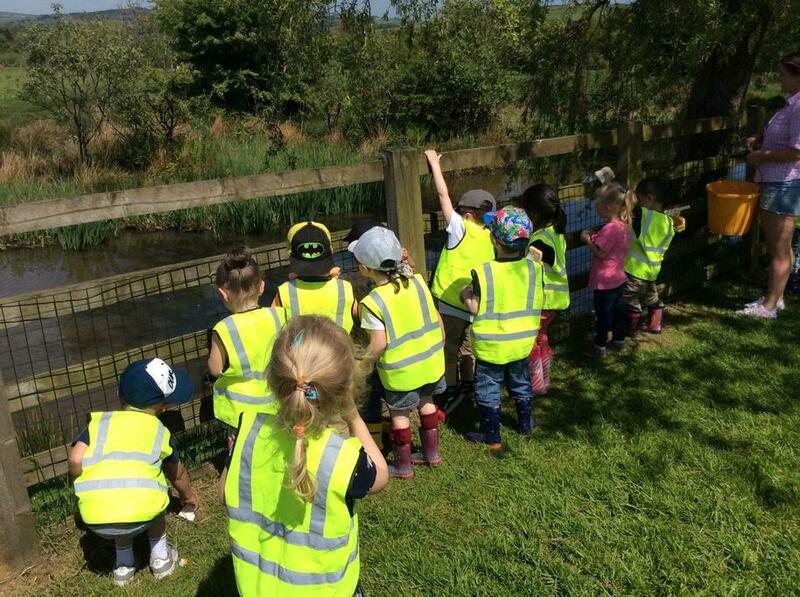 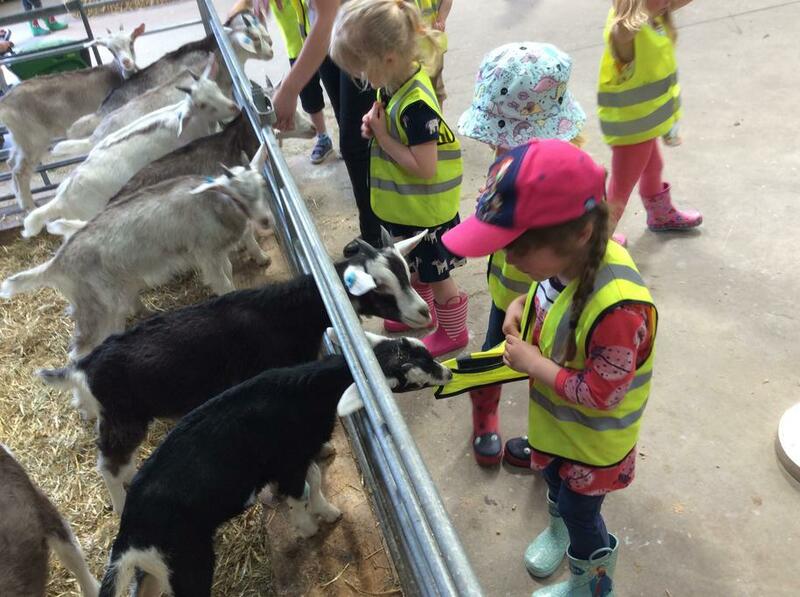 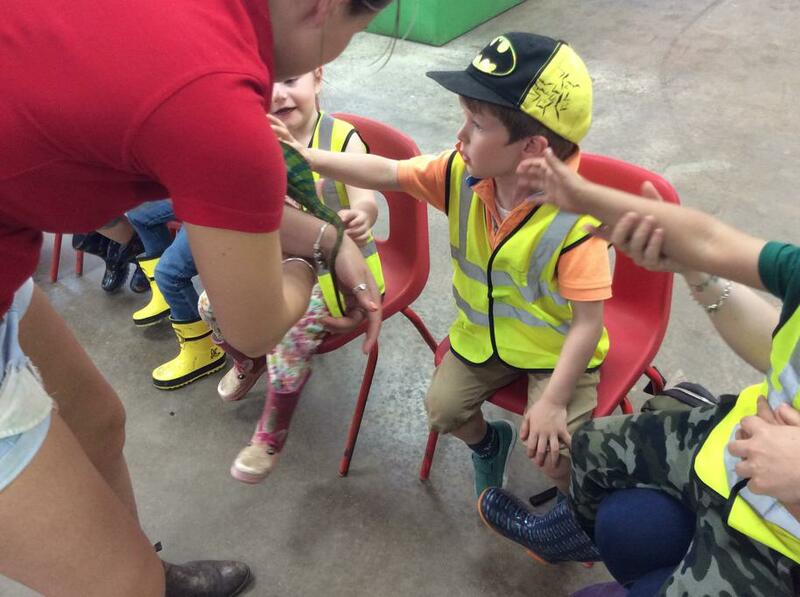 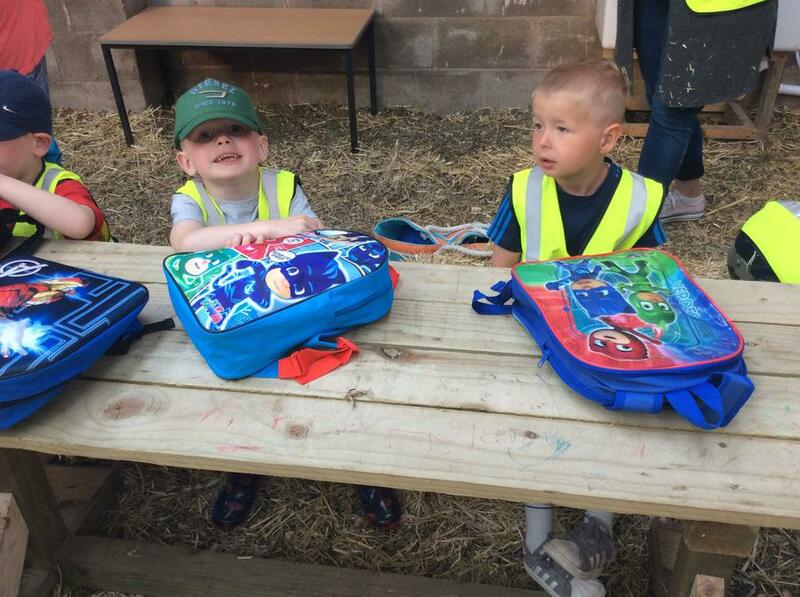 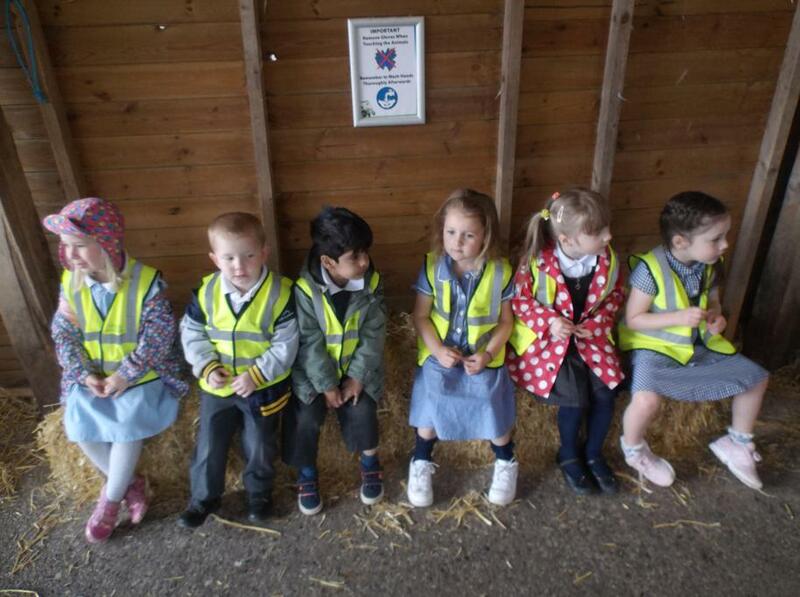 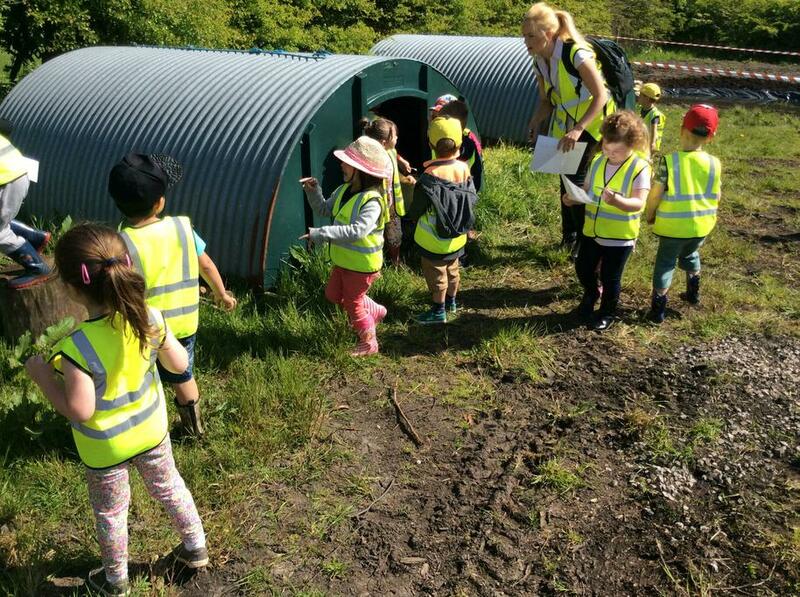 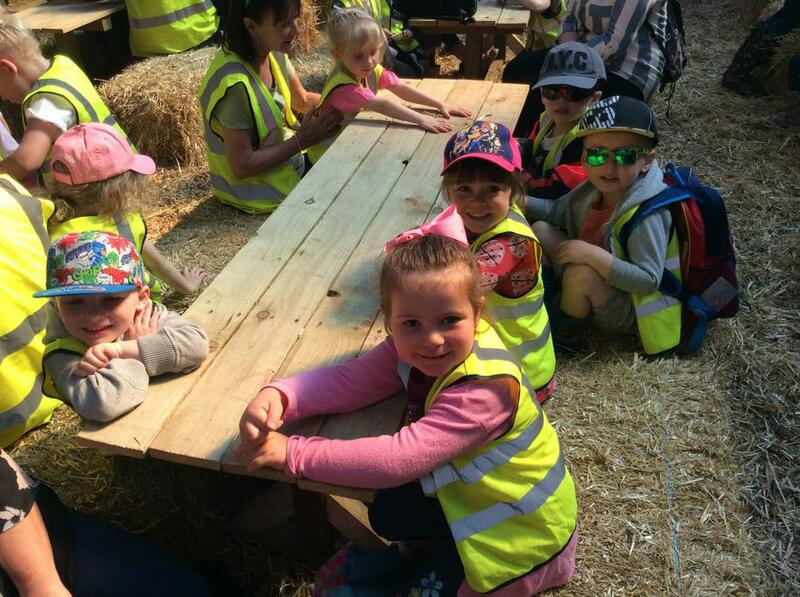 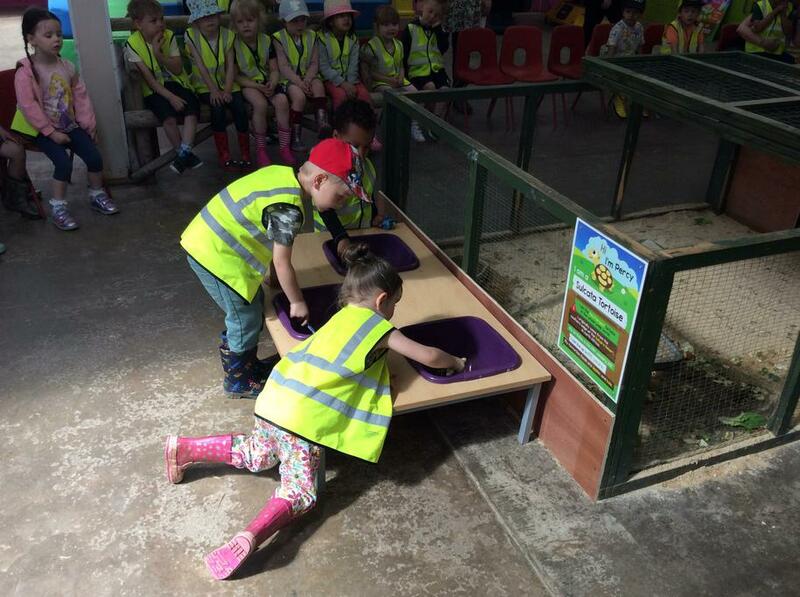 Children should wear their own clothes and come dressed suitably for a day on the farm. 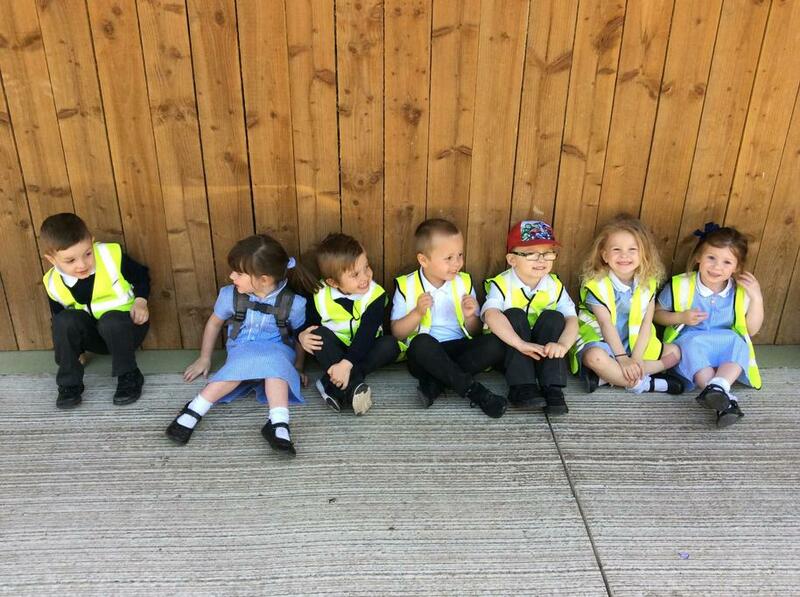 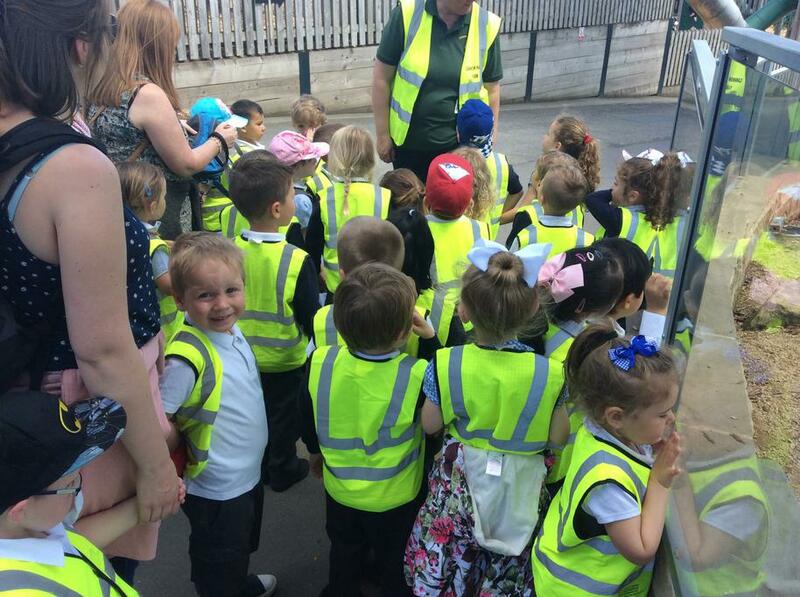 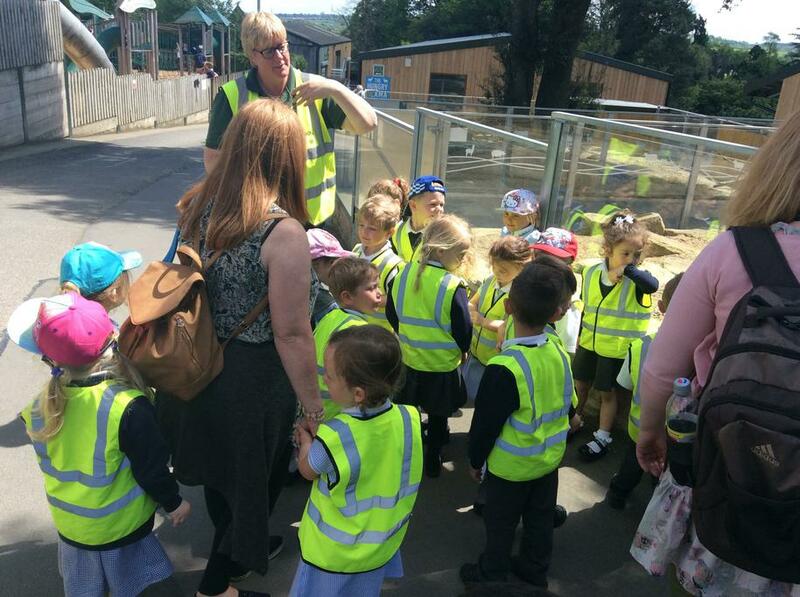 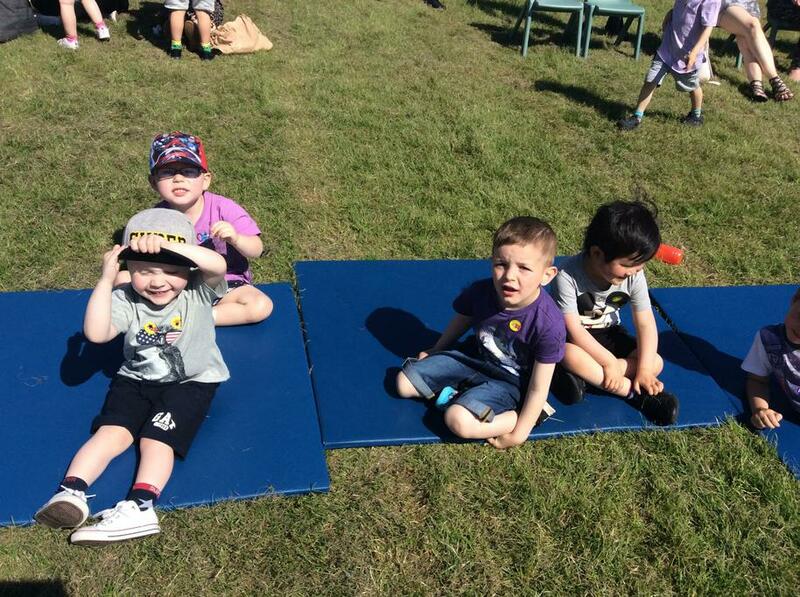 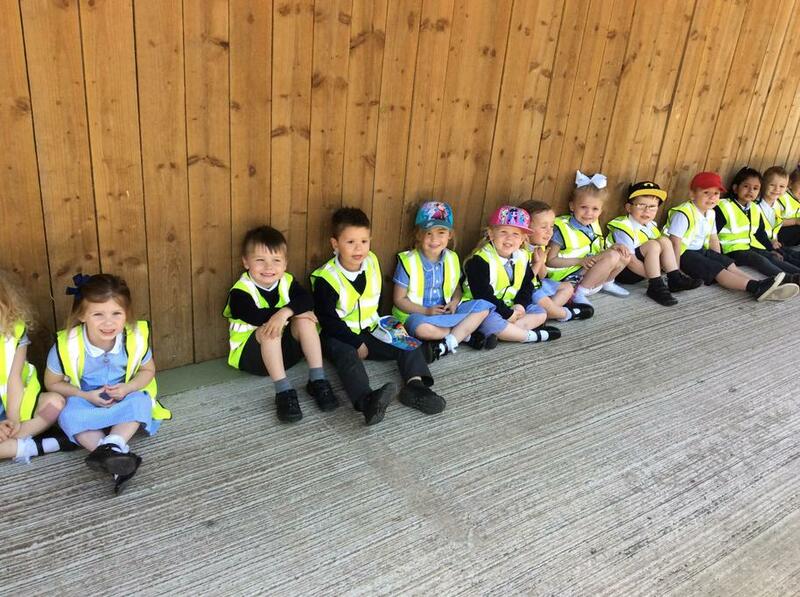 We are all settling well into nursery and are becoming familiar with the routines of the day. 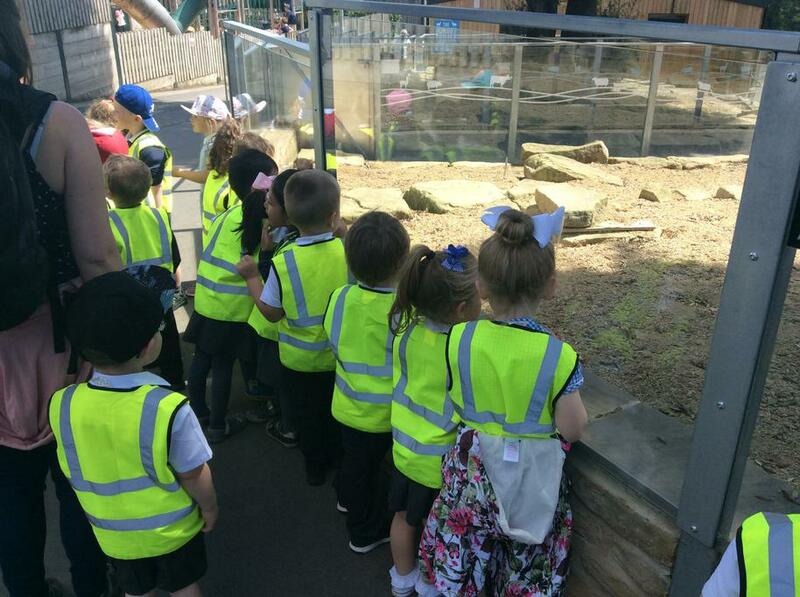 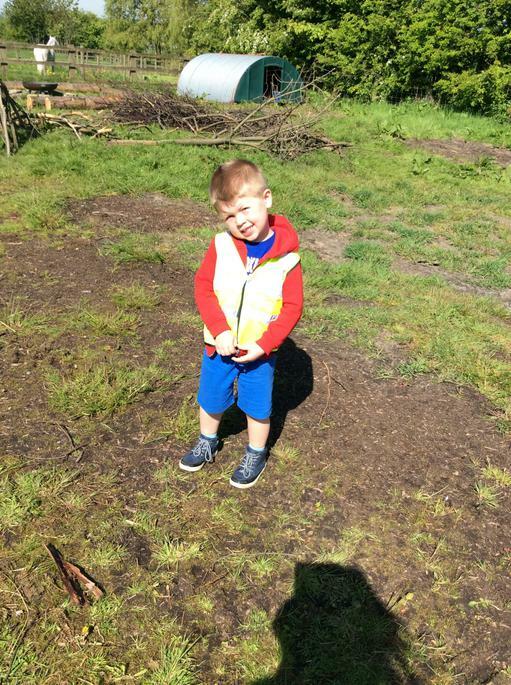 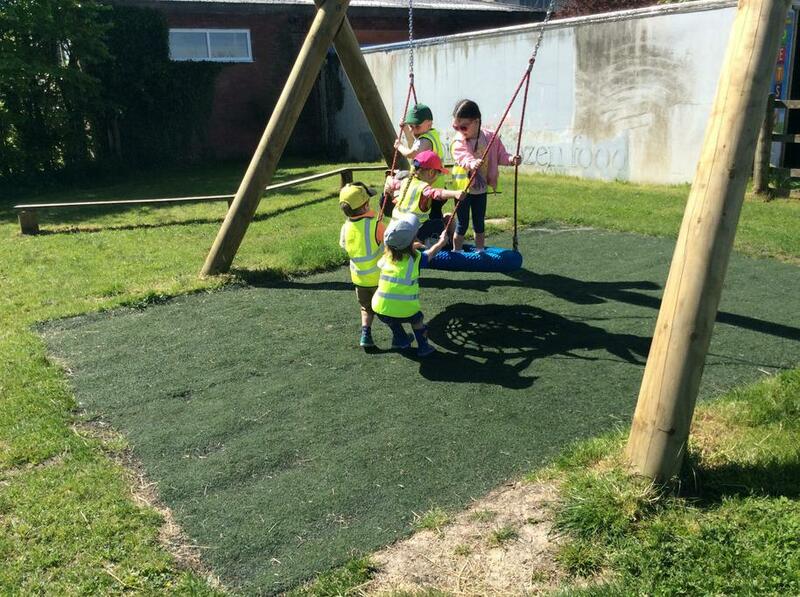 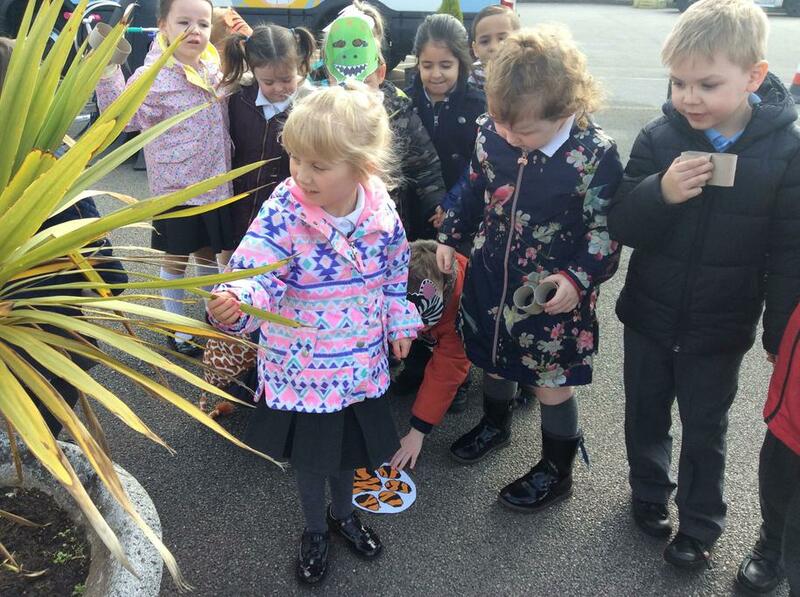 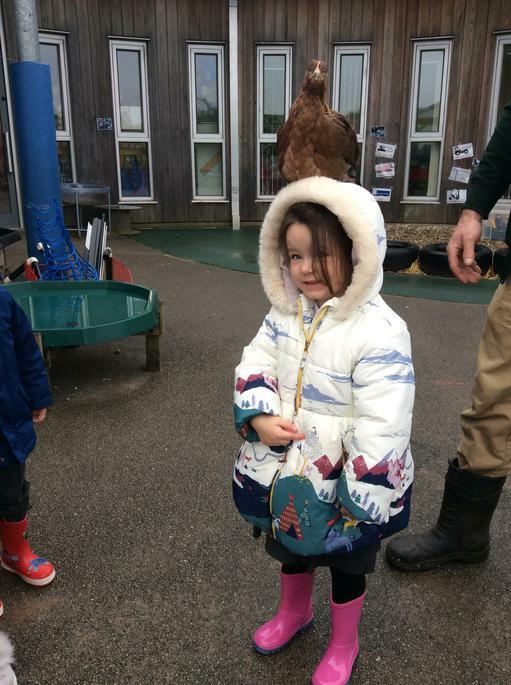 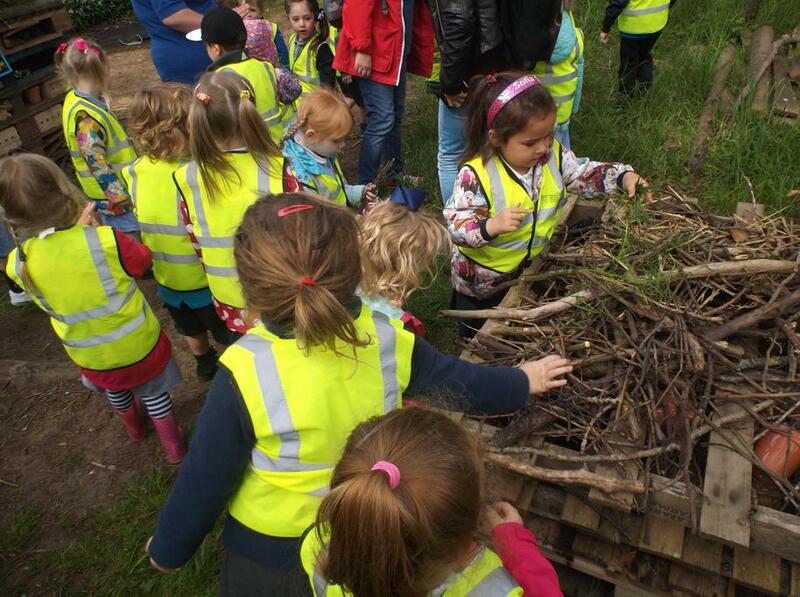 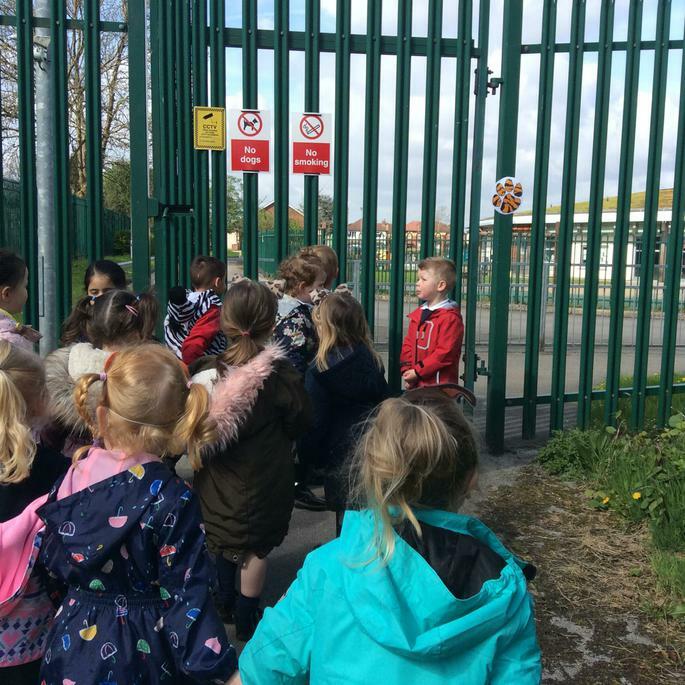 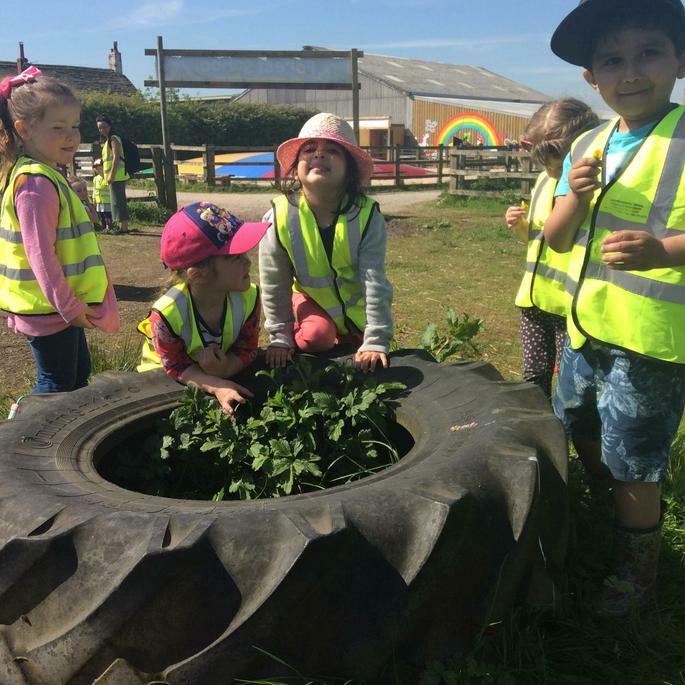 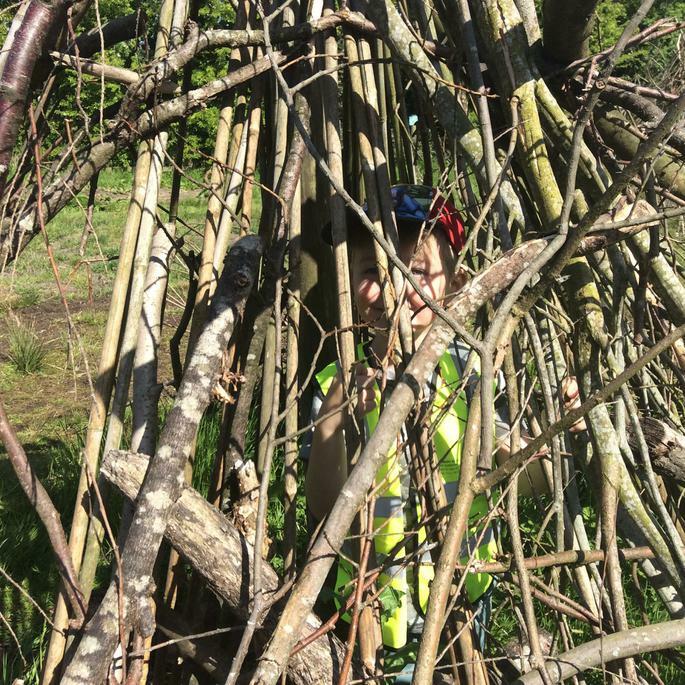 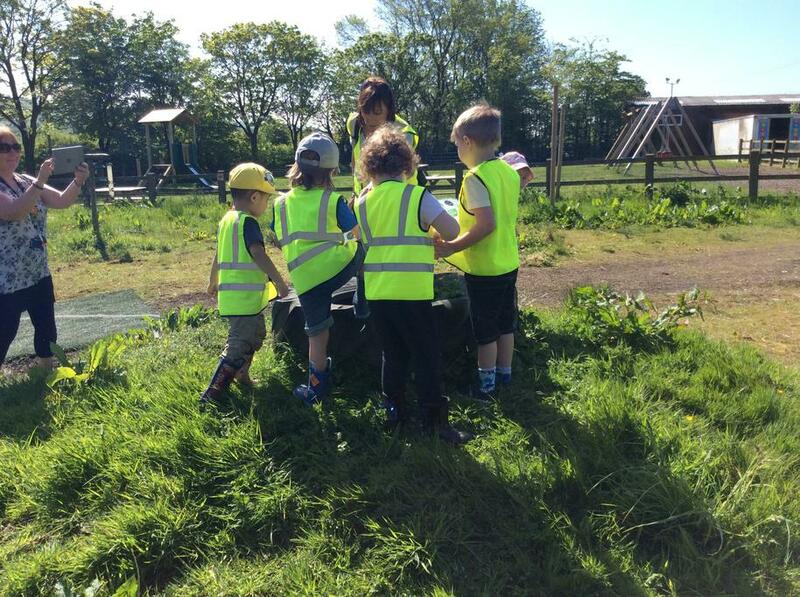 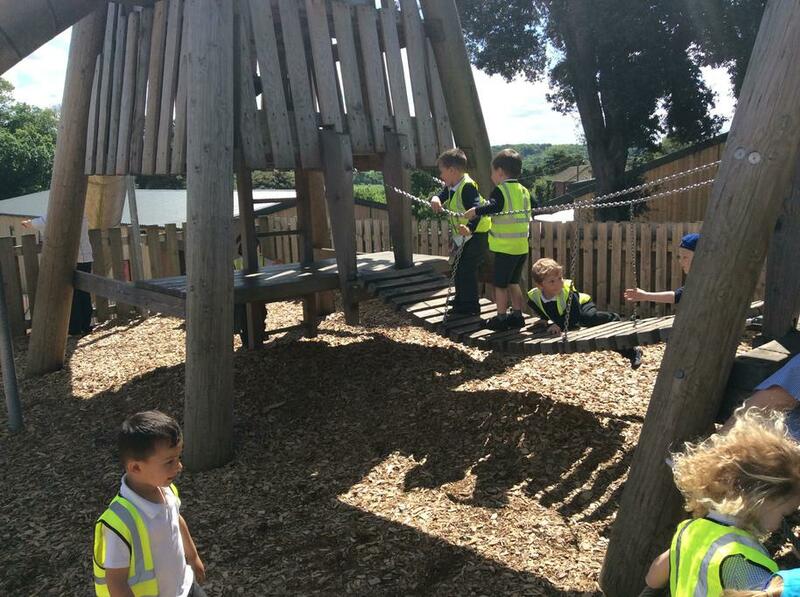 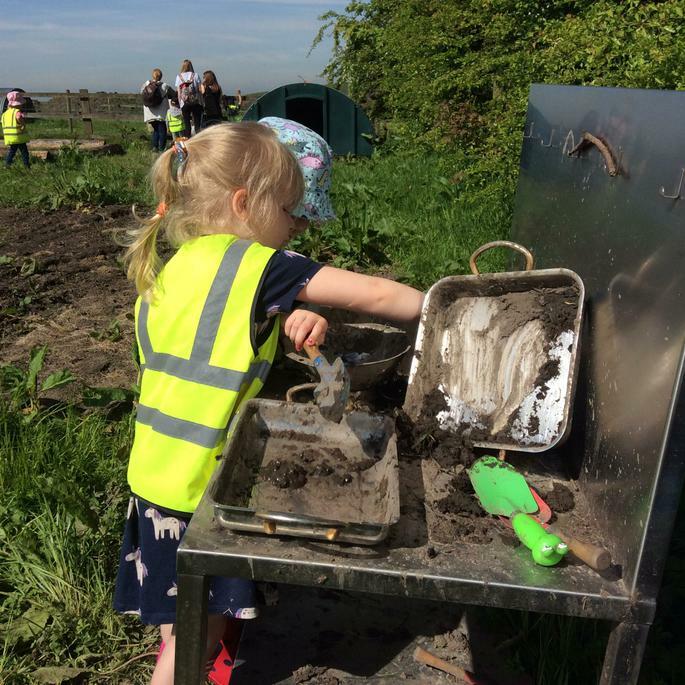 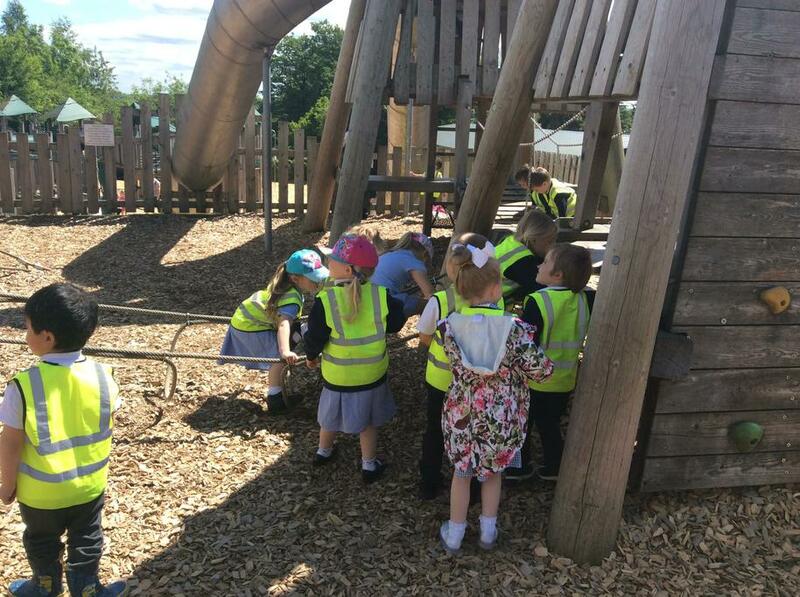 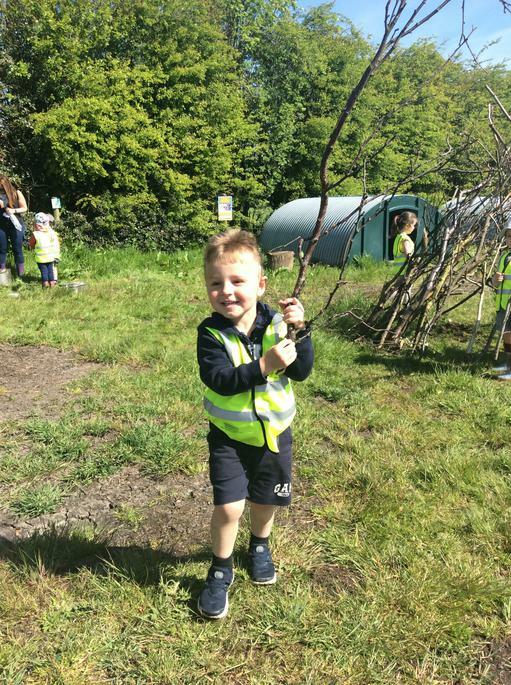 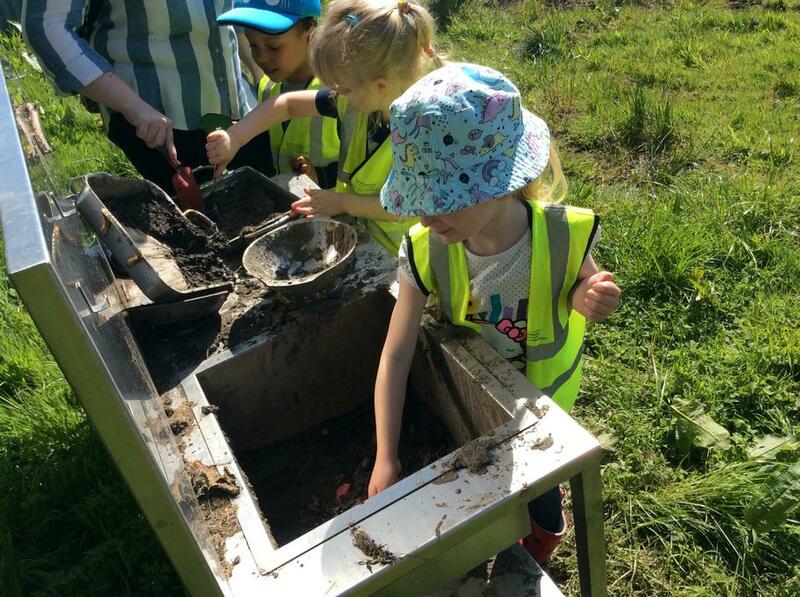 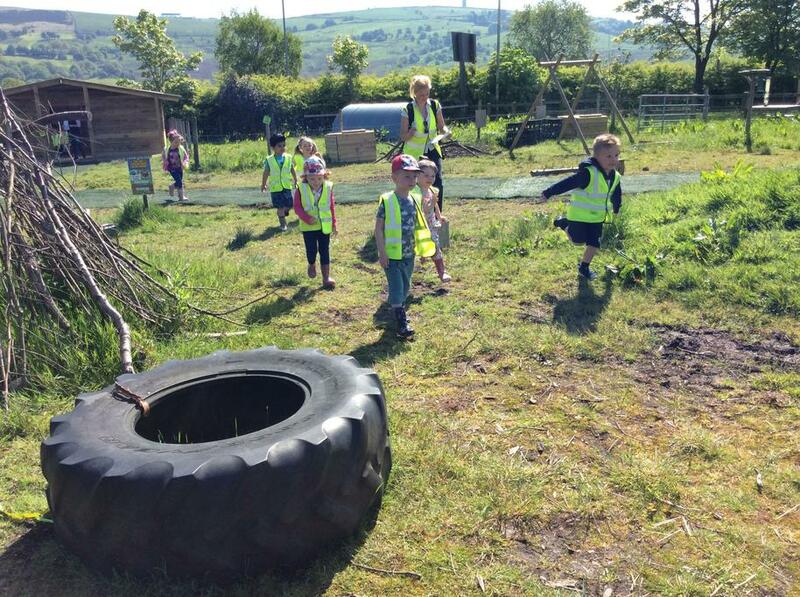 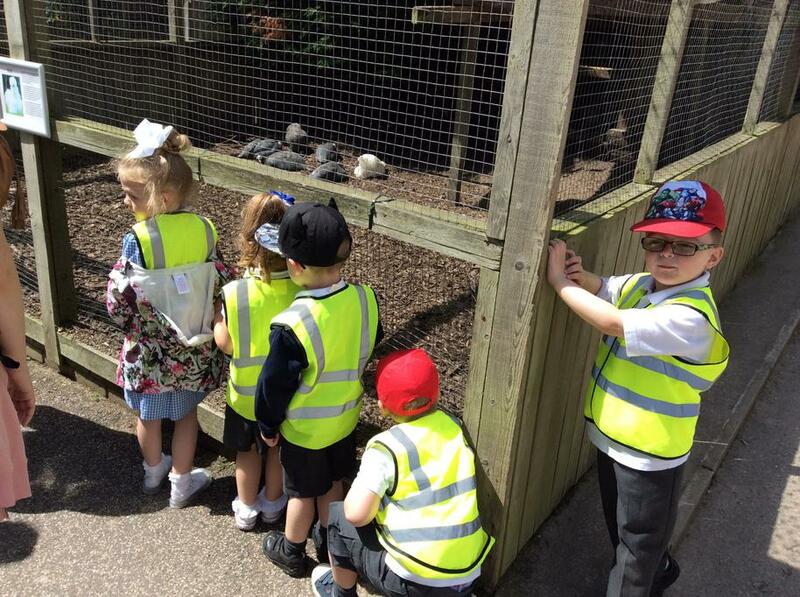 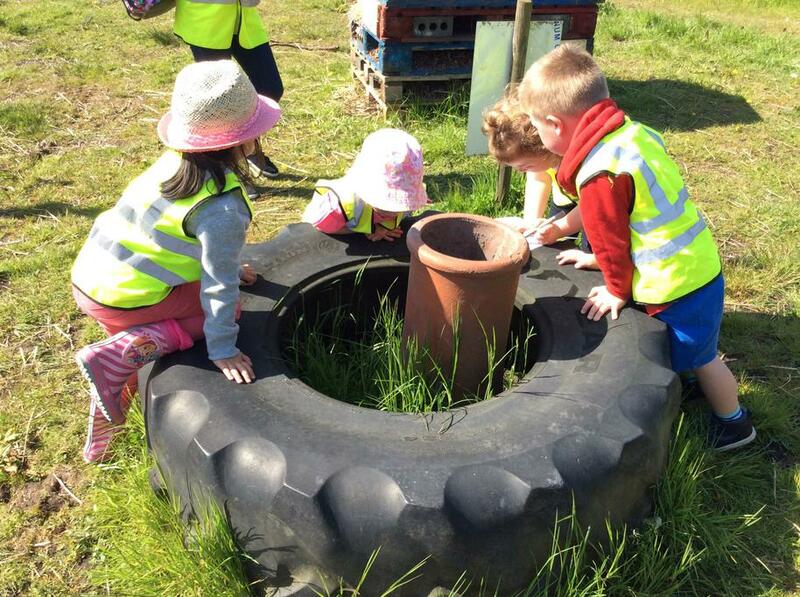 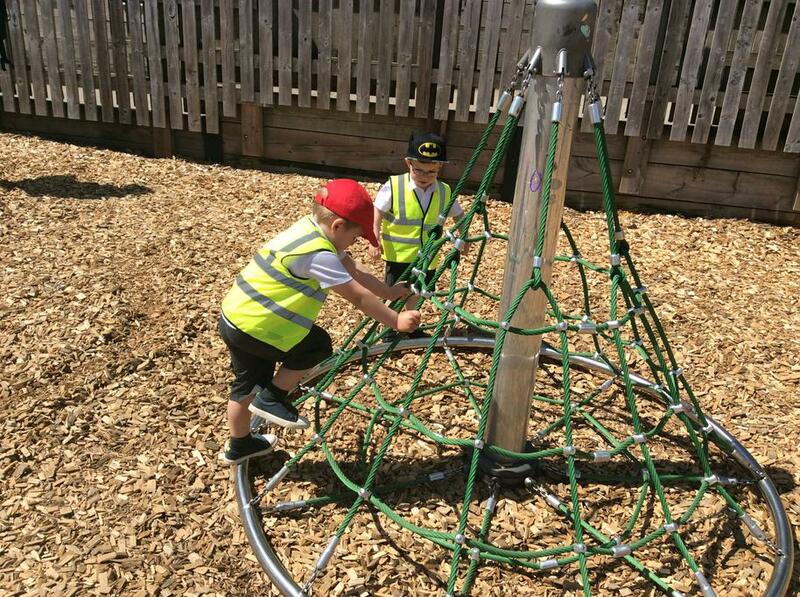 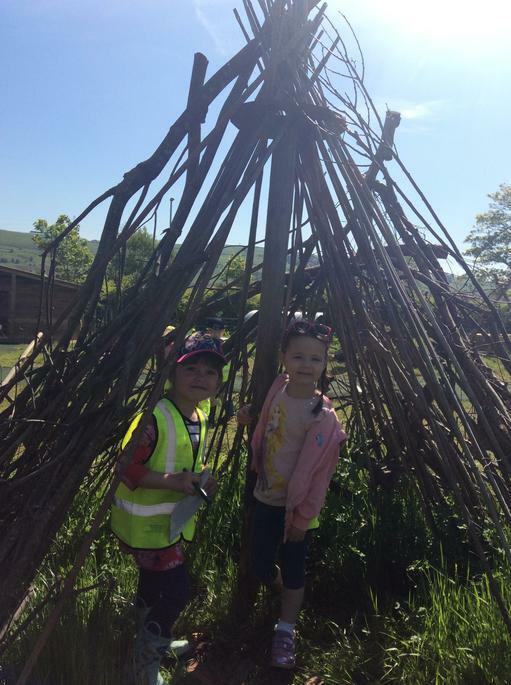 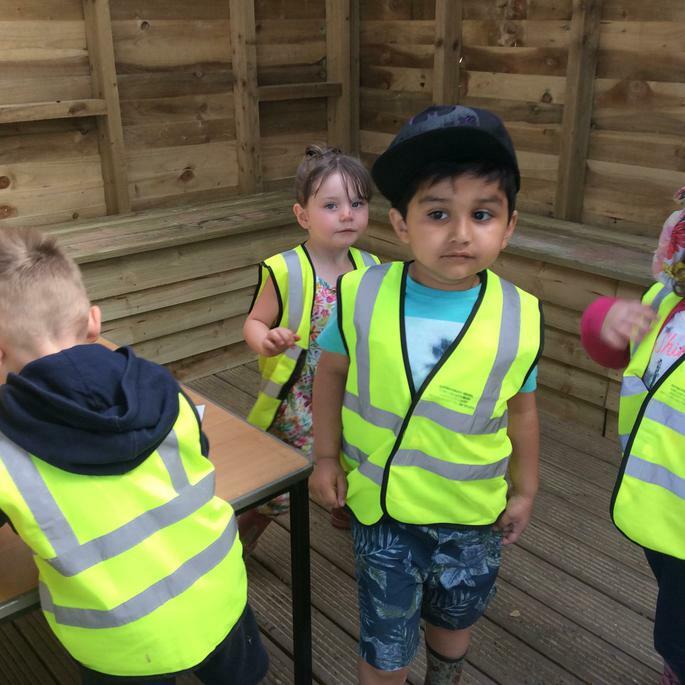 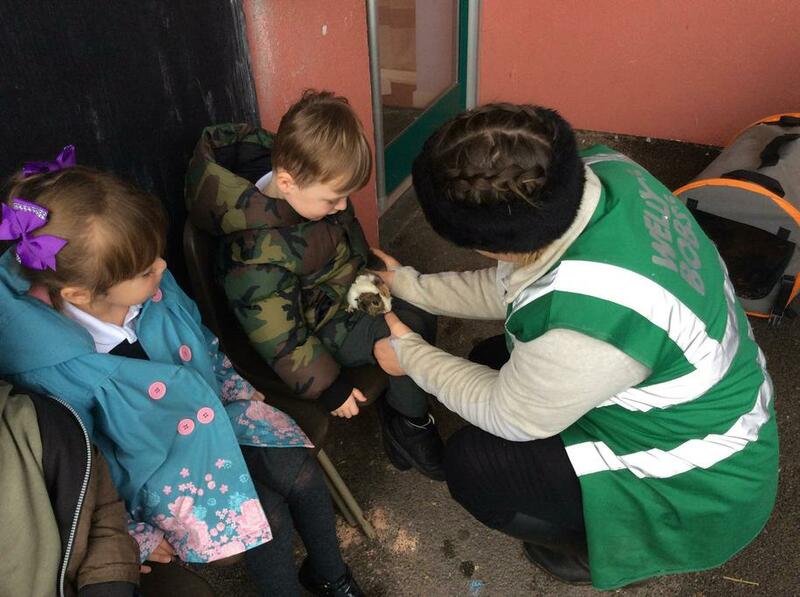 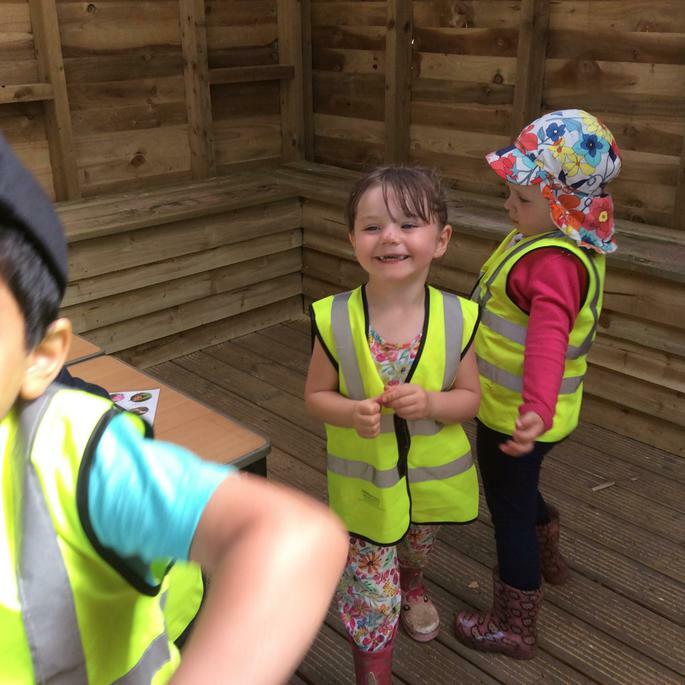 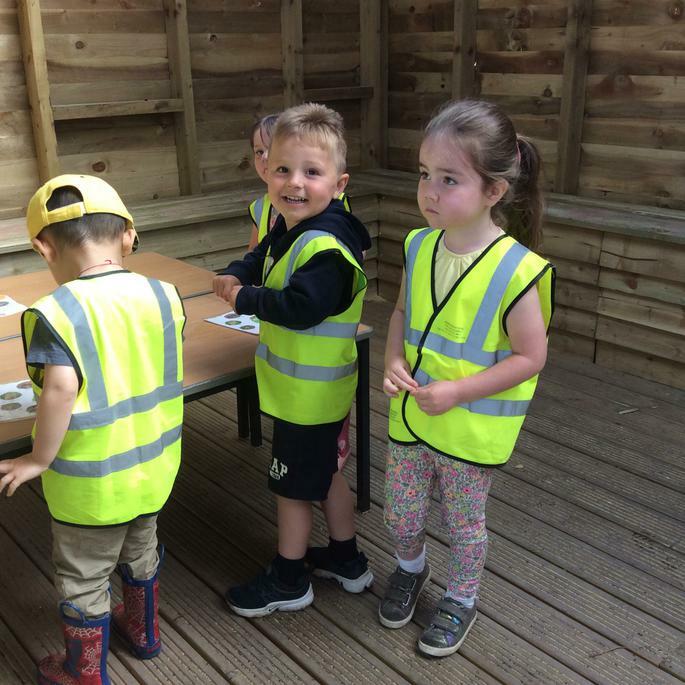 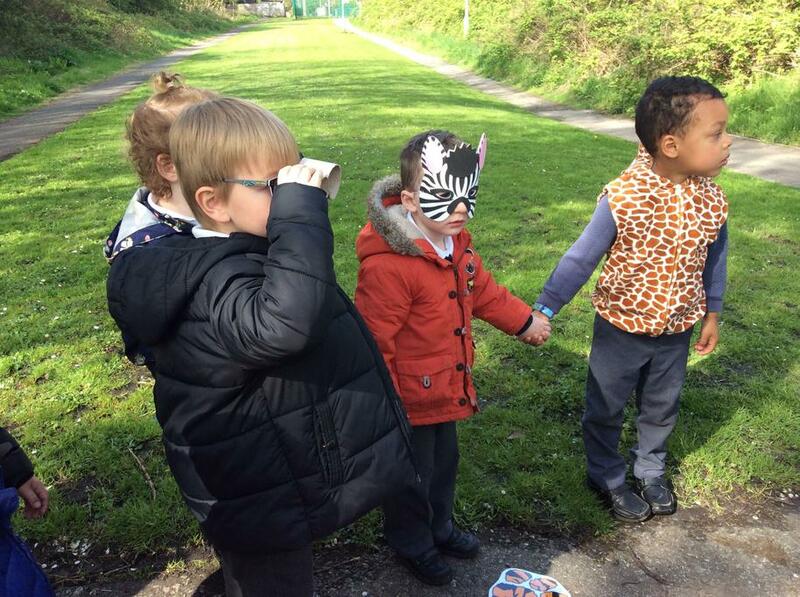 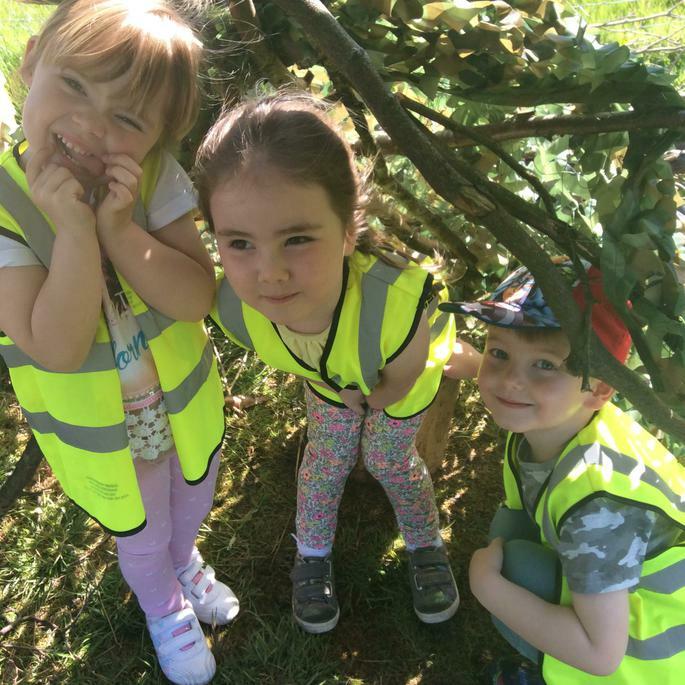 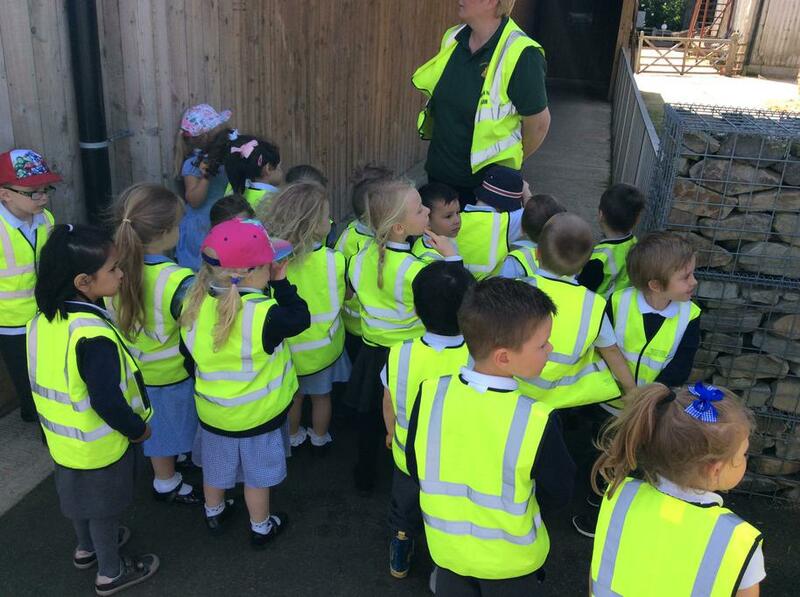 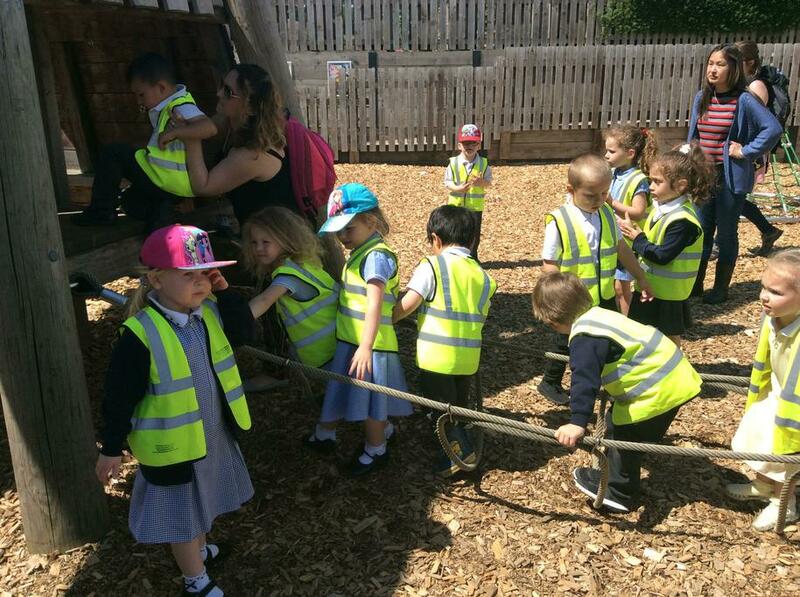 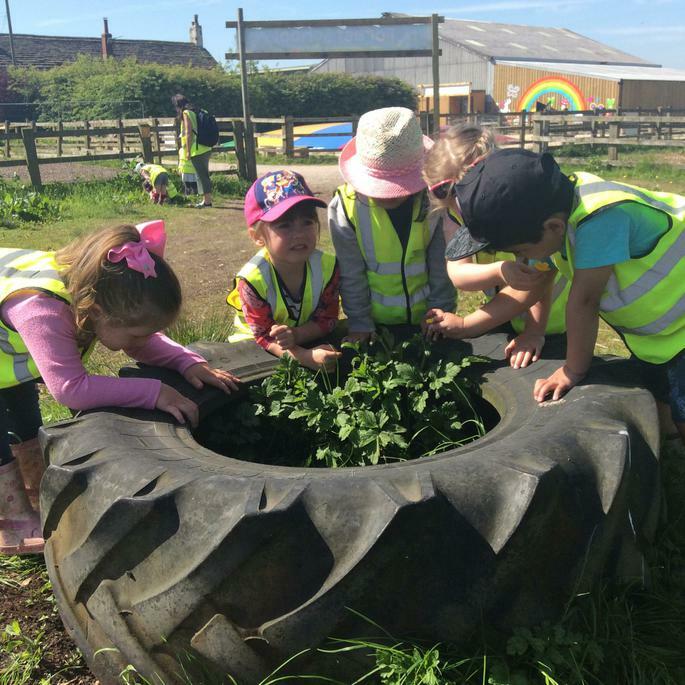 We all enjoy exploring and investigating the different areas in the nursery and spending time in the outdoor learning environment. 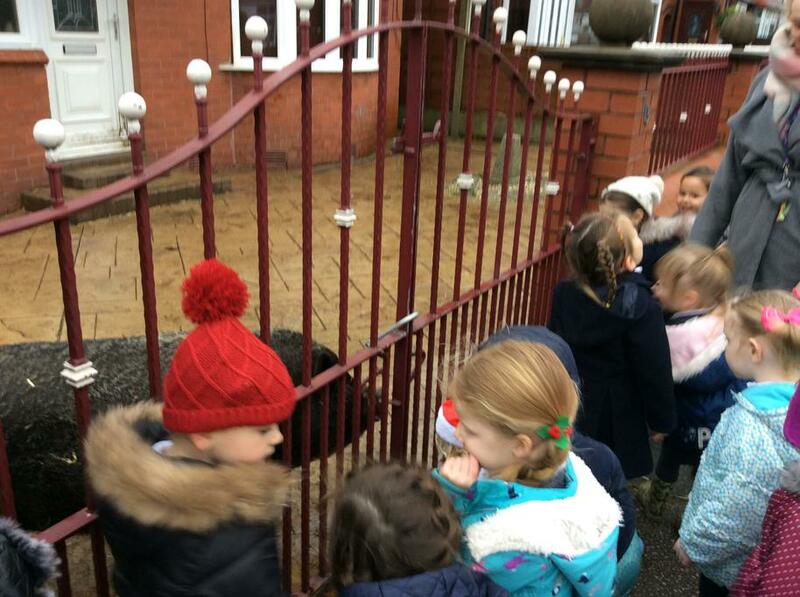 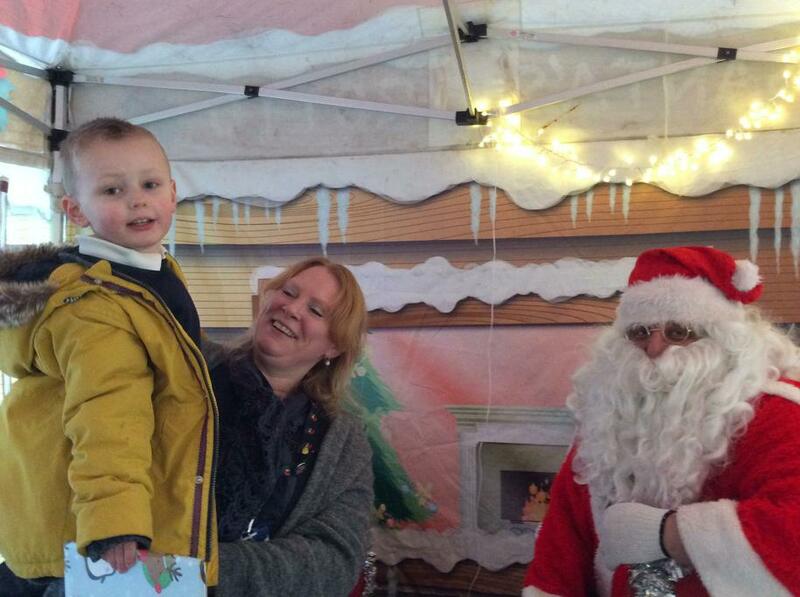 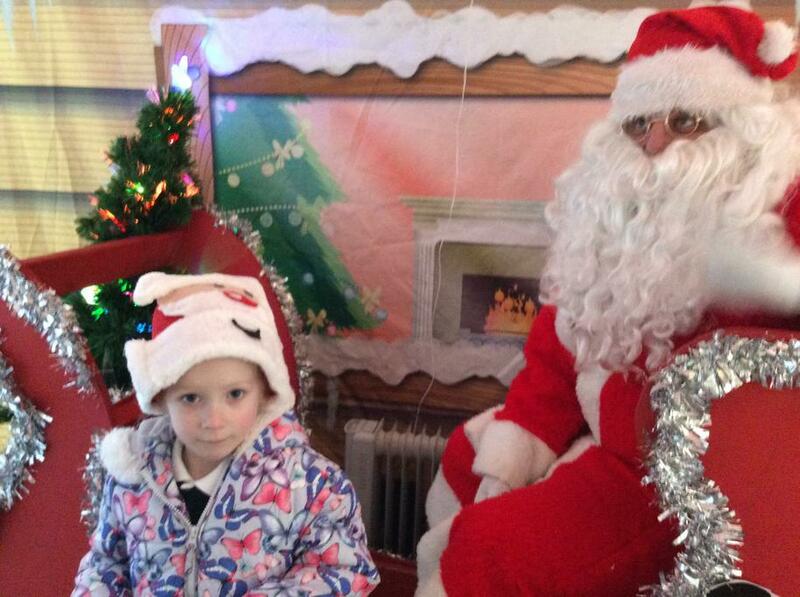 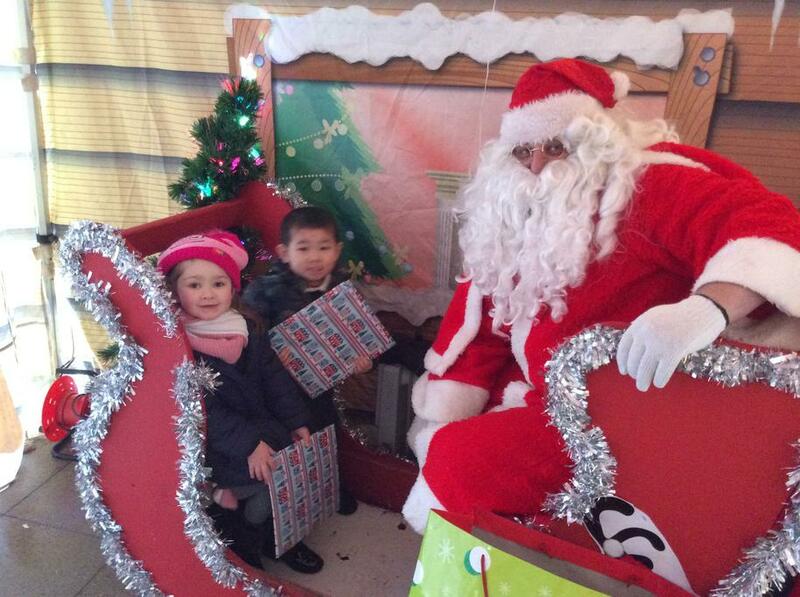 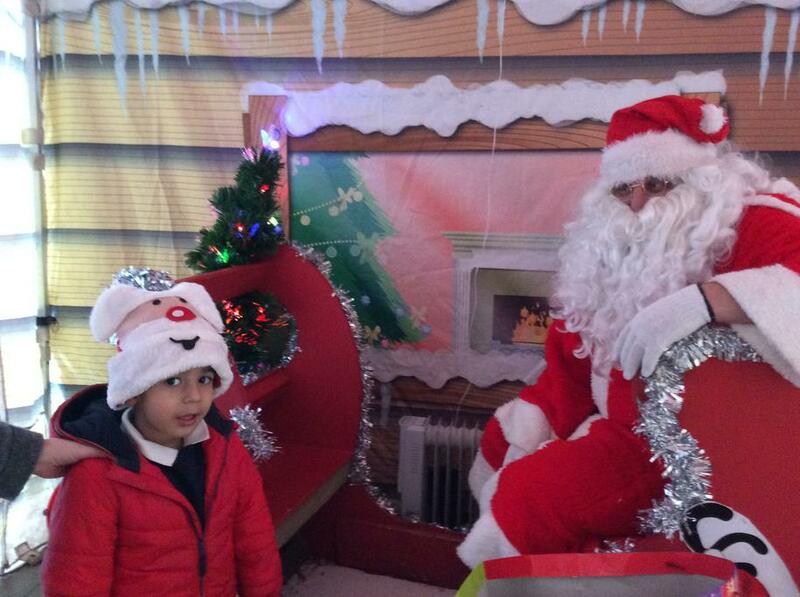 Father Christmas came to visit nursery. 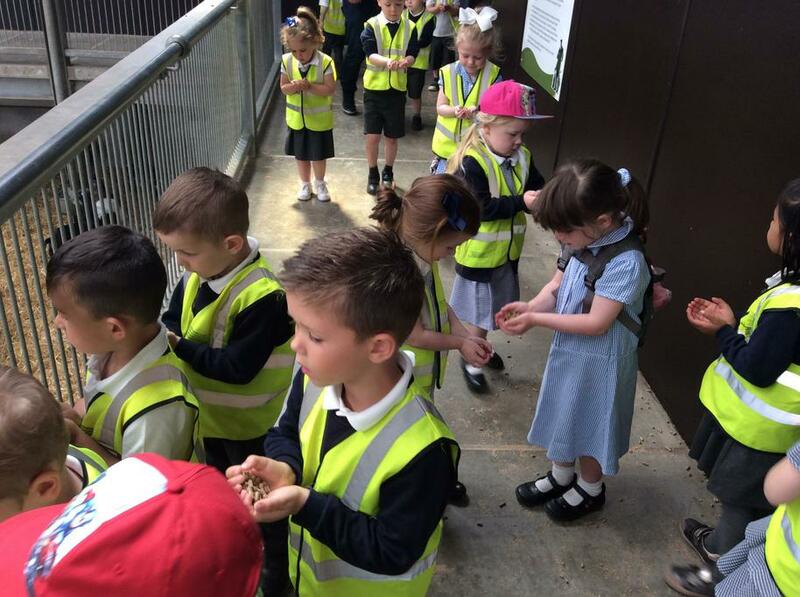 We have enjoyed observing the caterpillars as they grew and changed as they moved through their lifecycle. 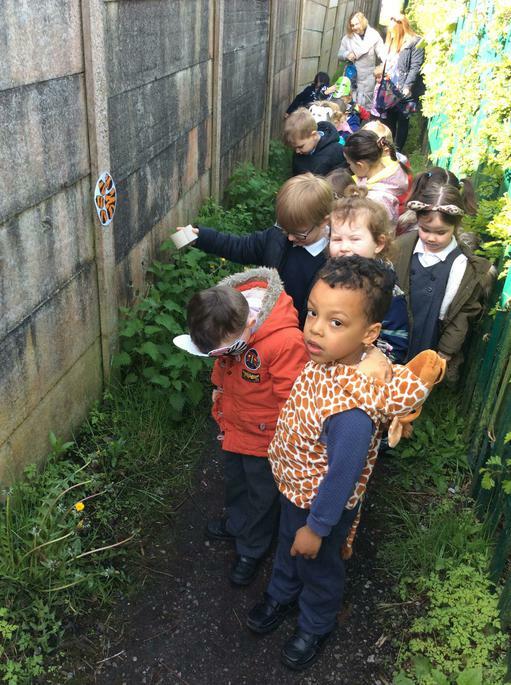 All ten caterpillars went into cocoons and emerged as beautiful butterflies. 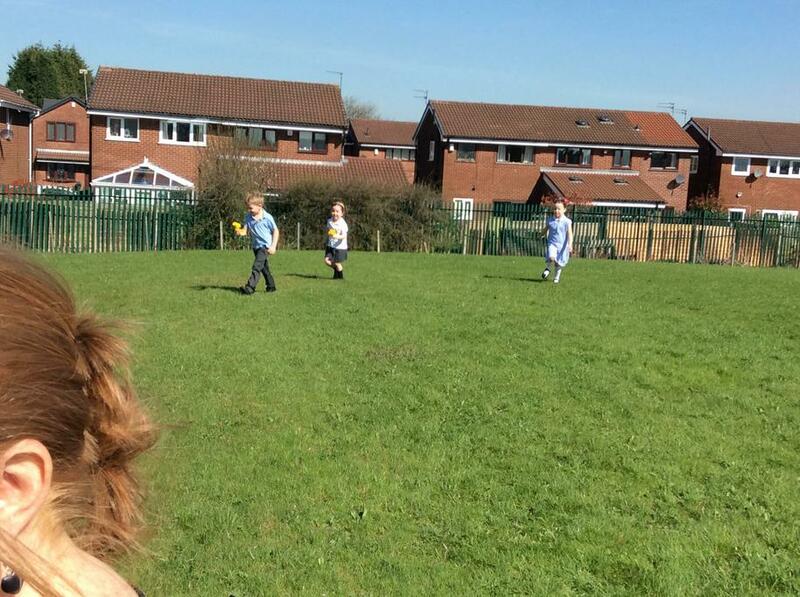 Mrs Clark released them on a sunny day. 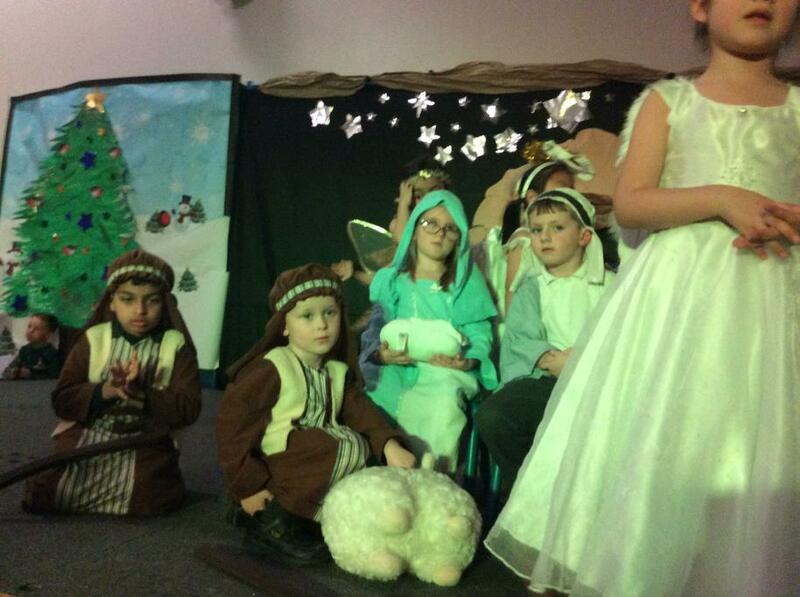 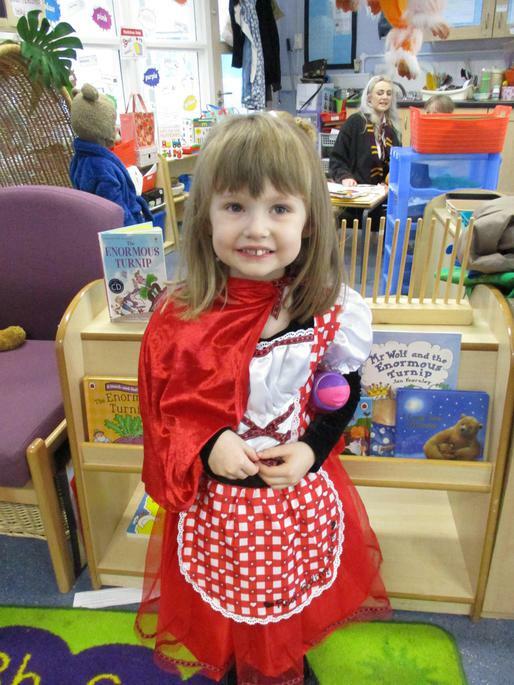 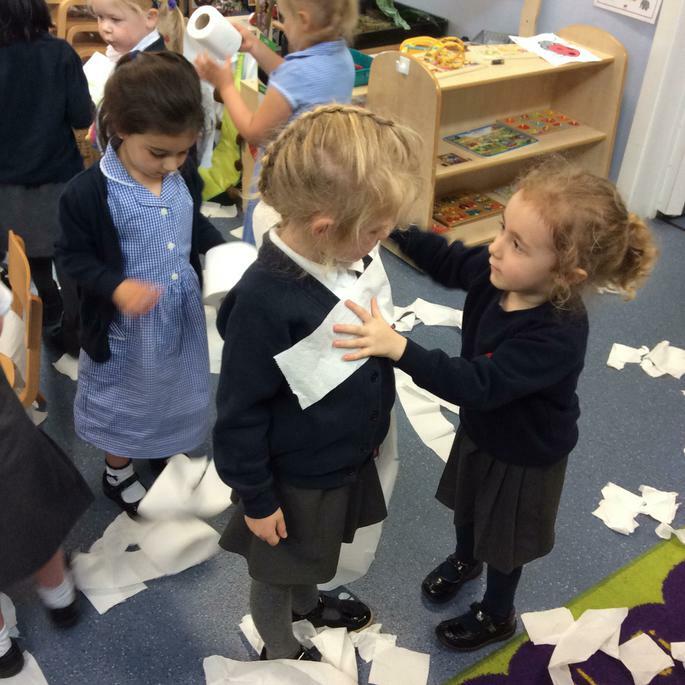 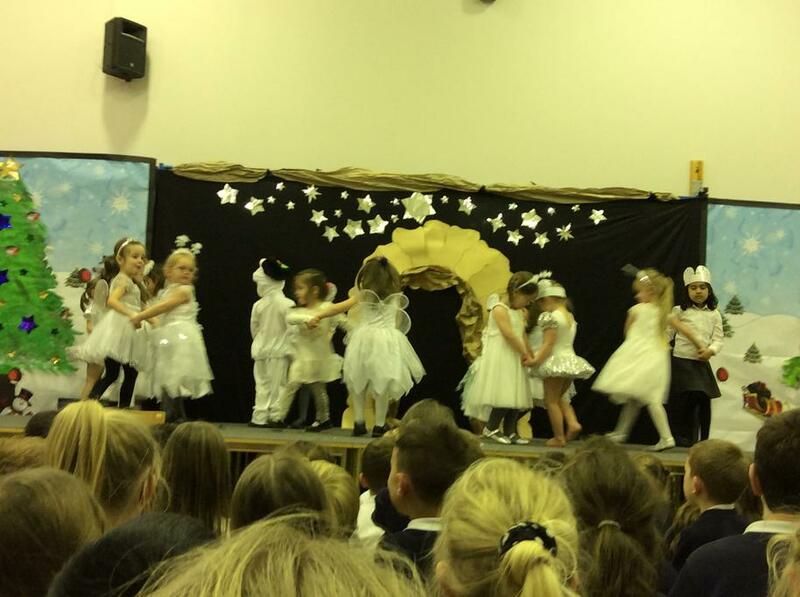 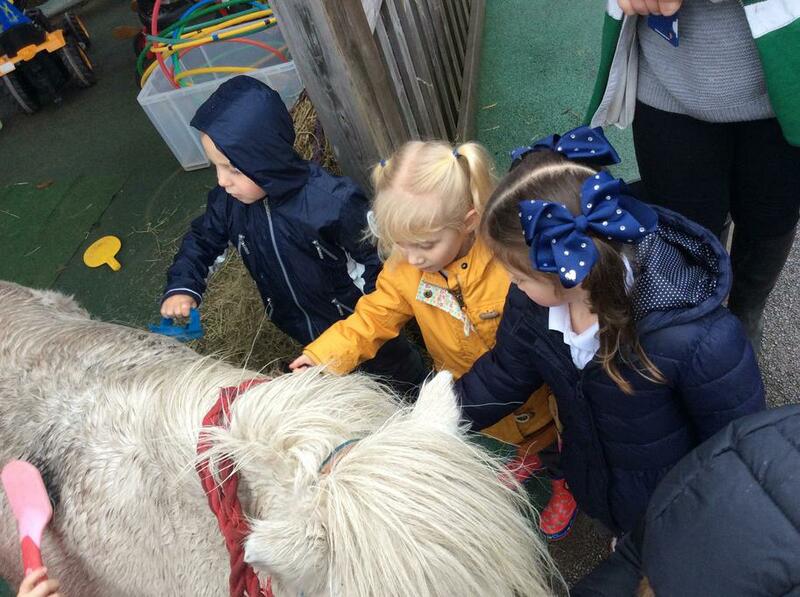 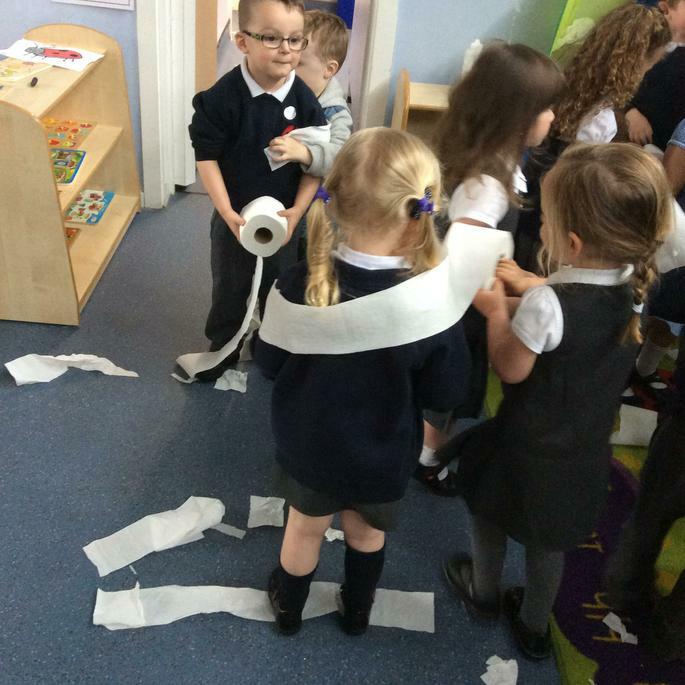 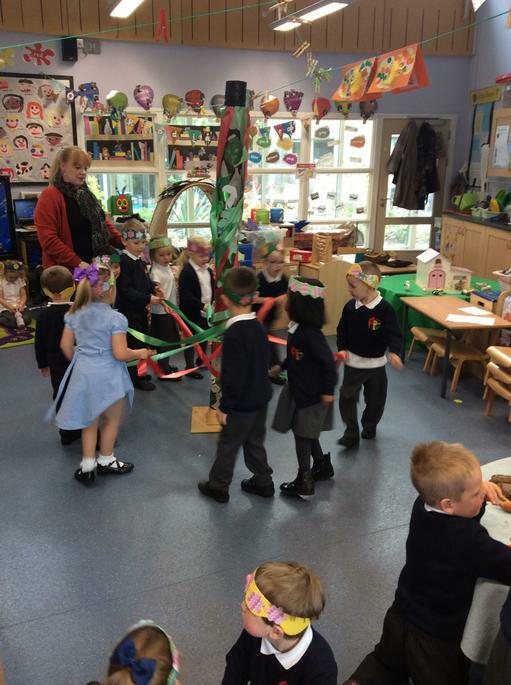 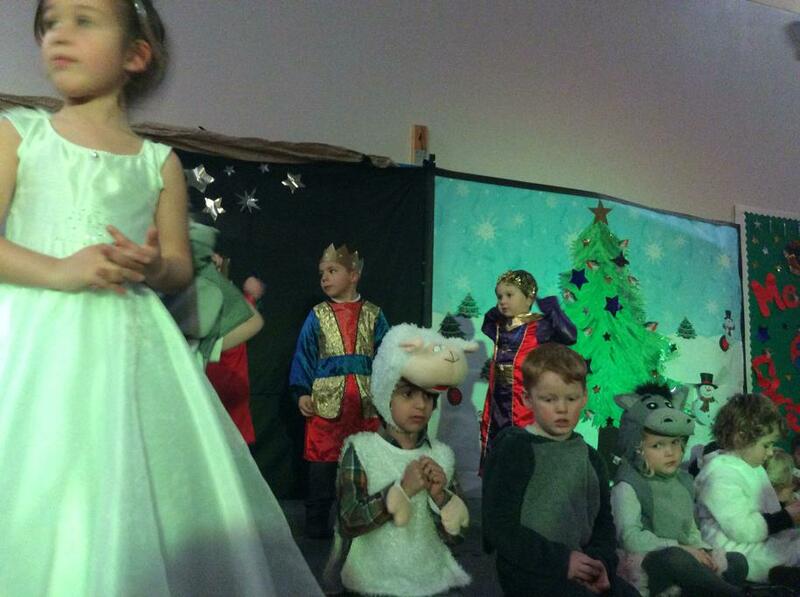 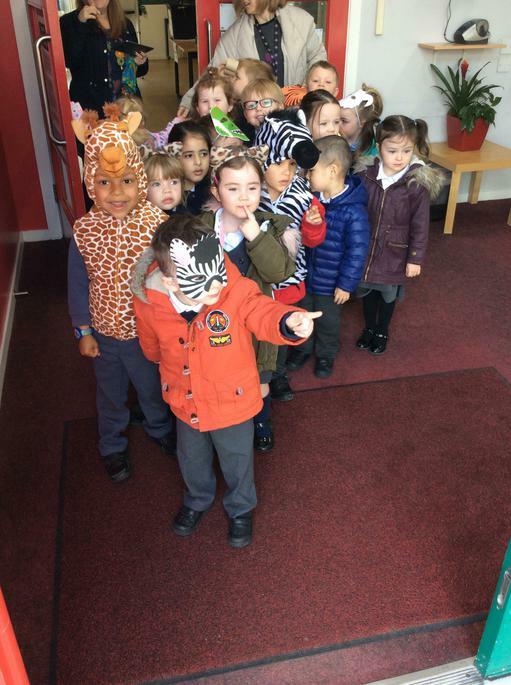 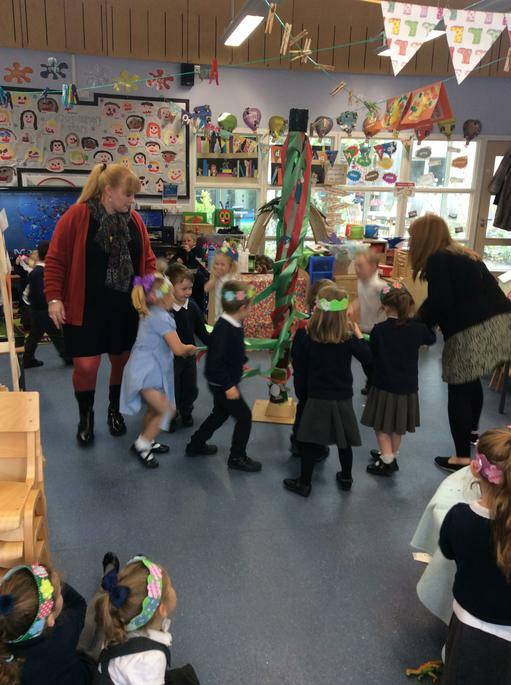 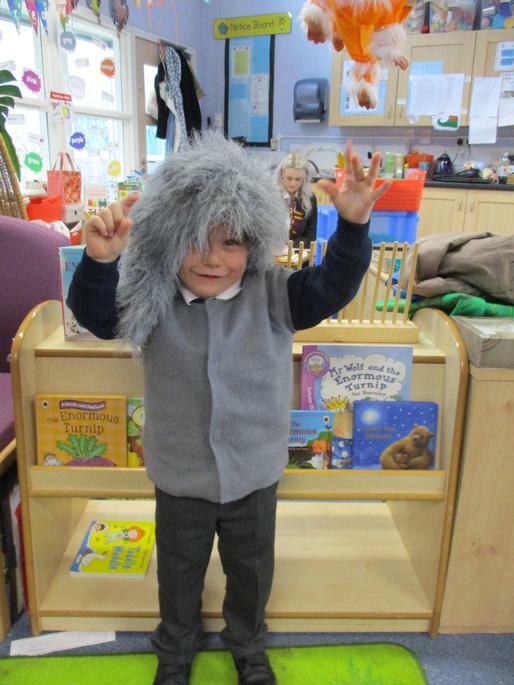 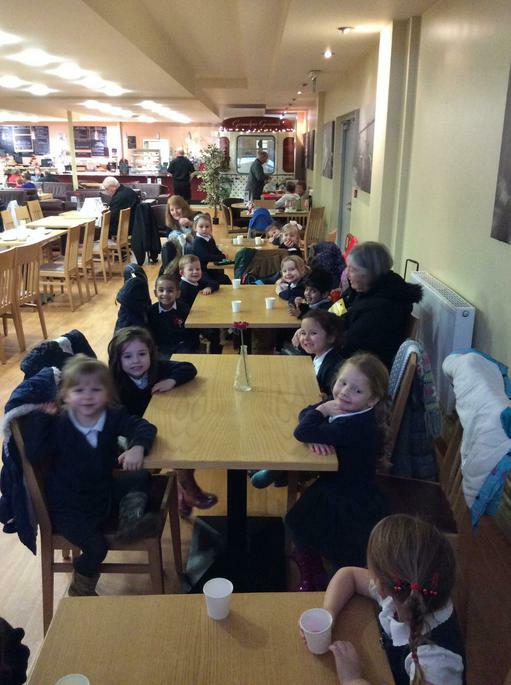 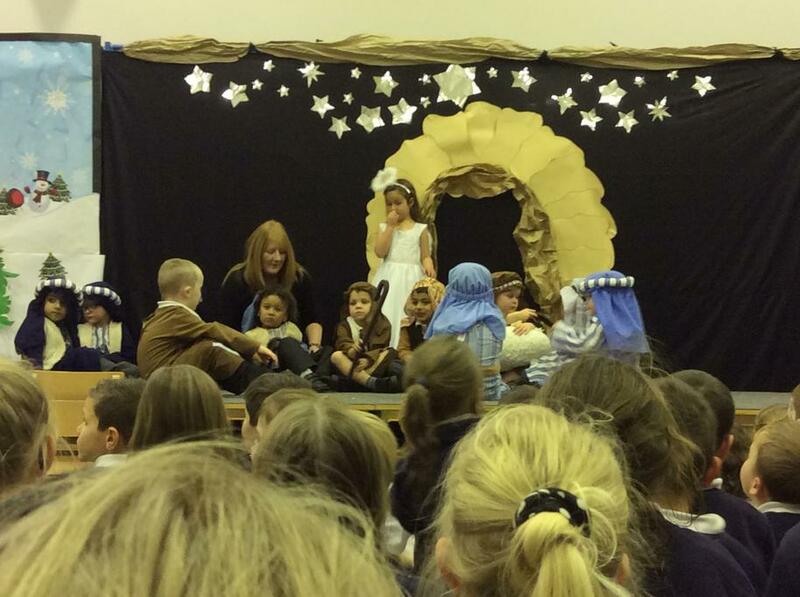 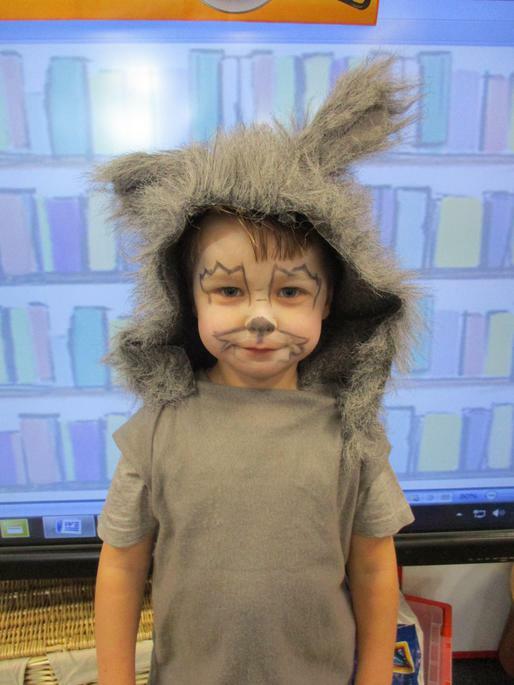 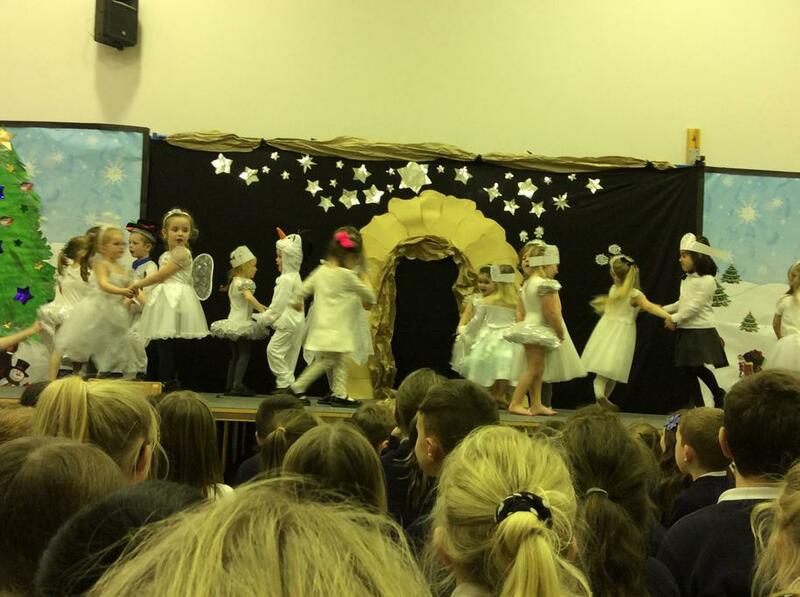 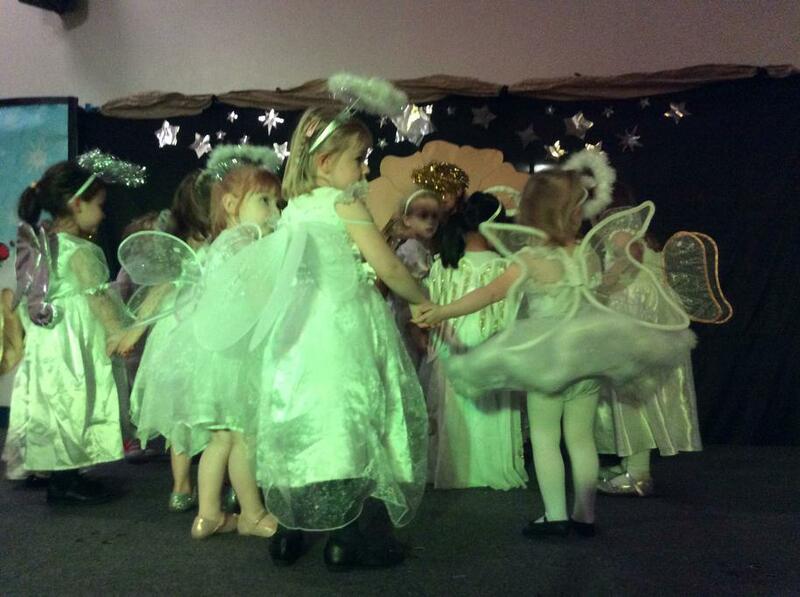 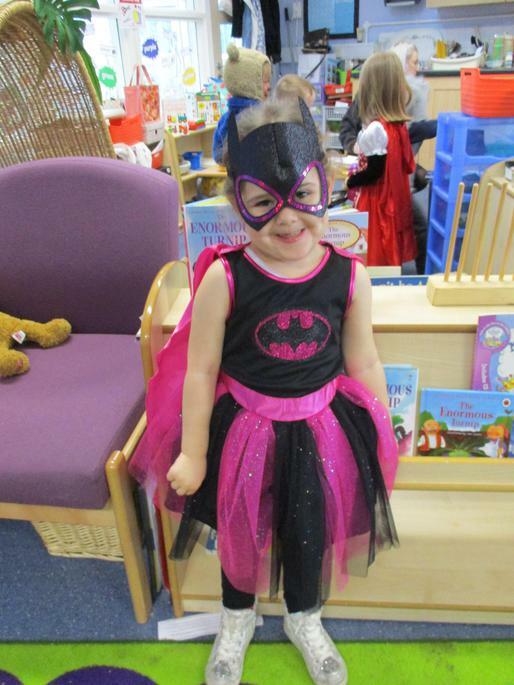 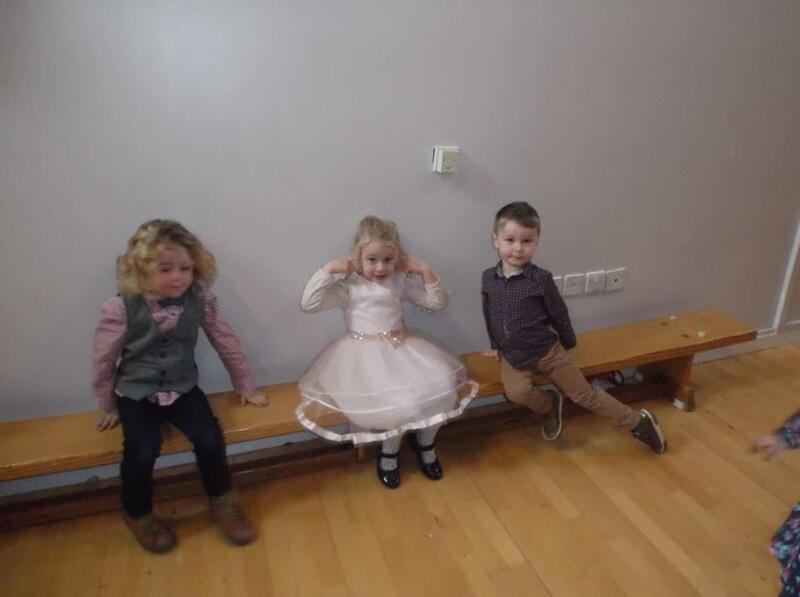 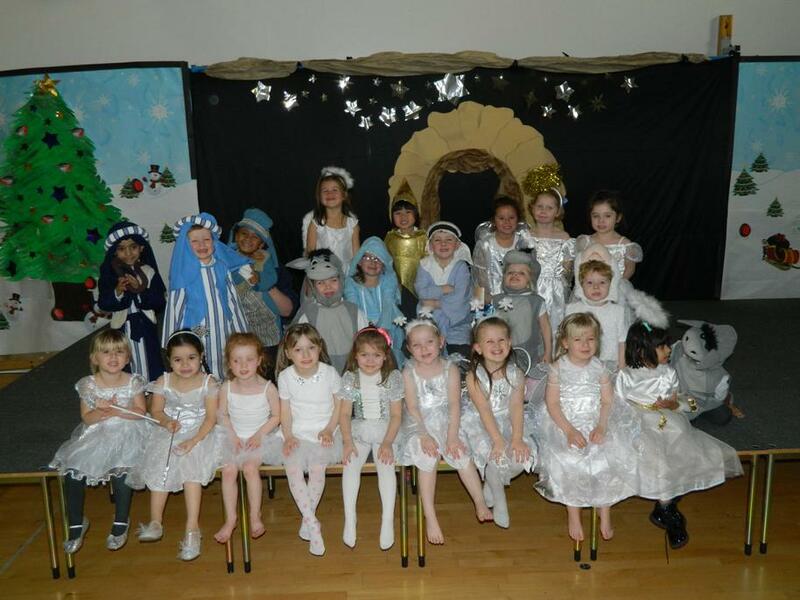 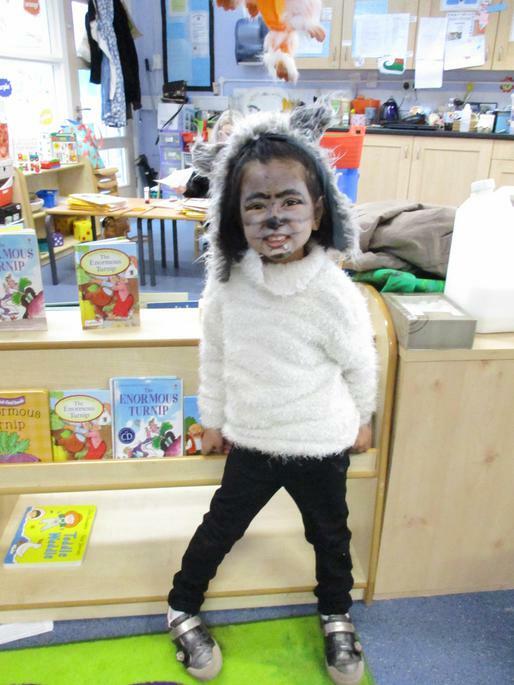 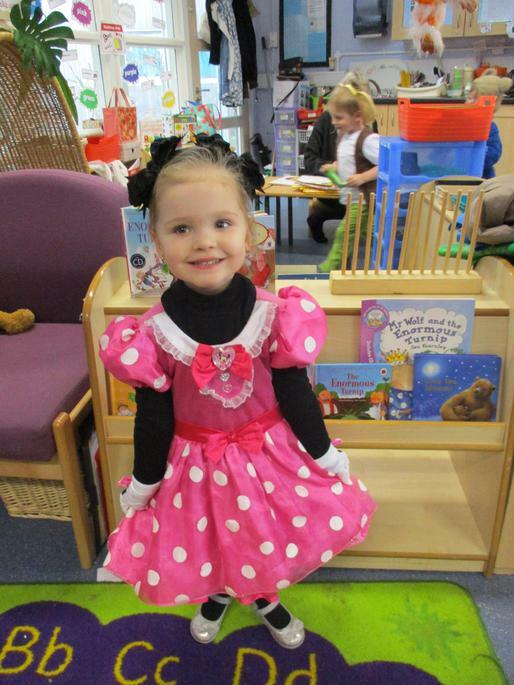 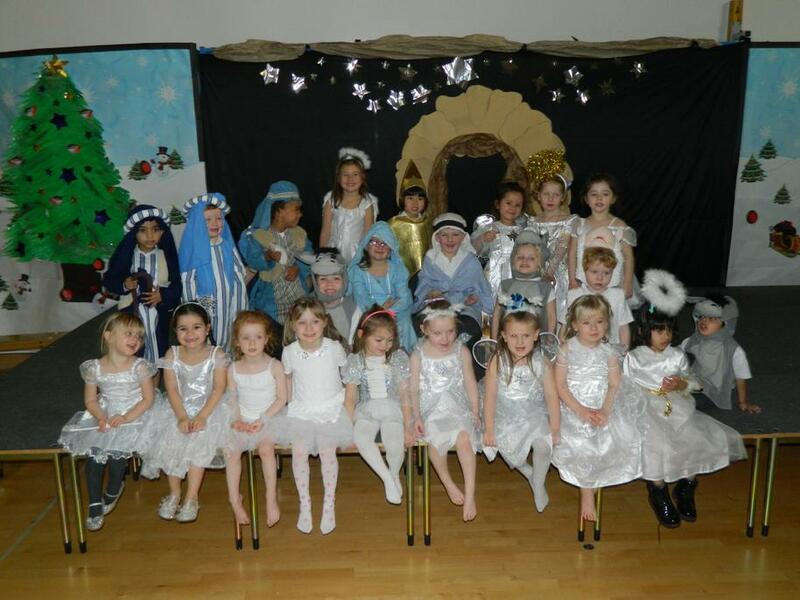 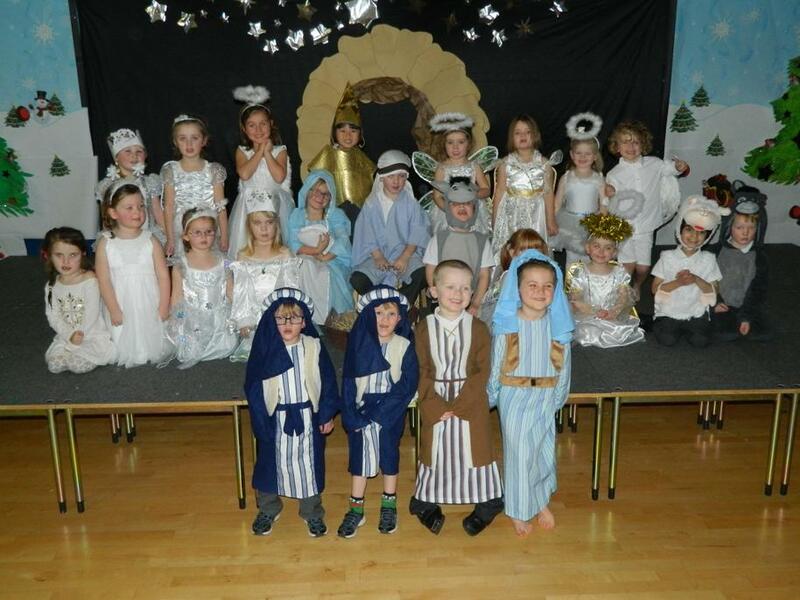 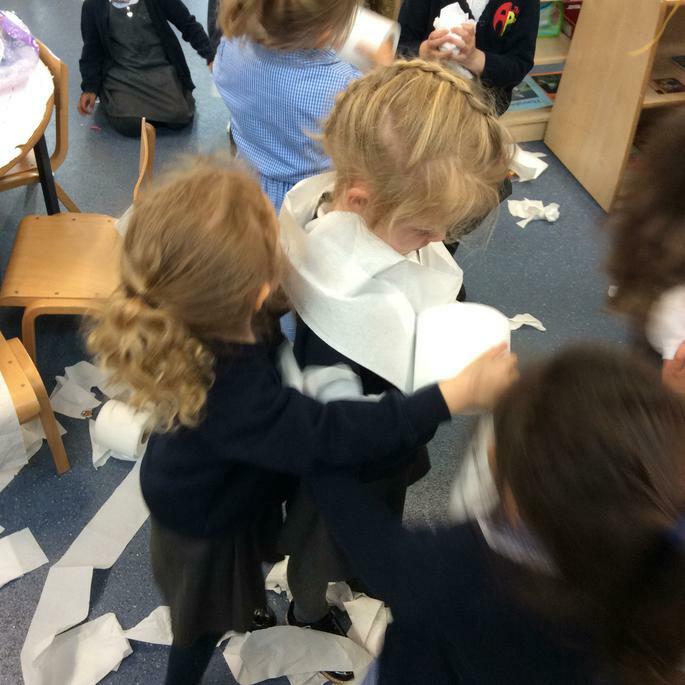 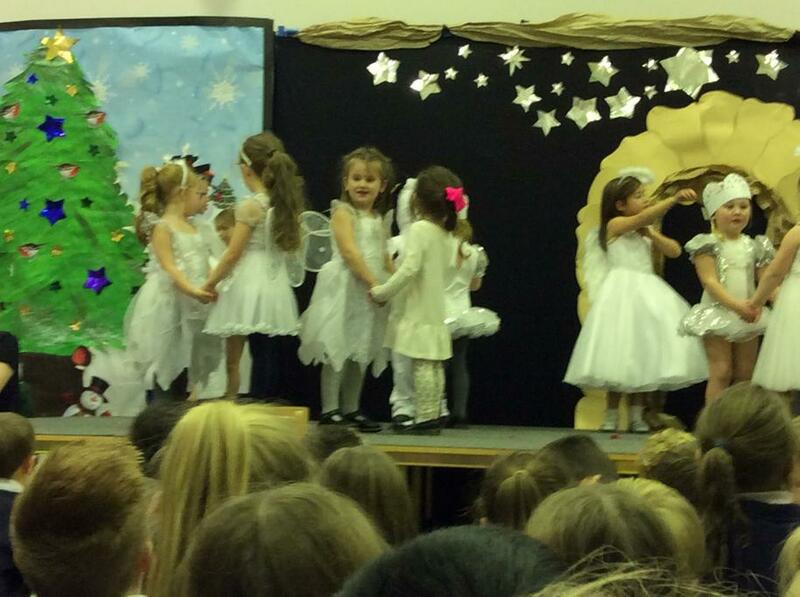 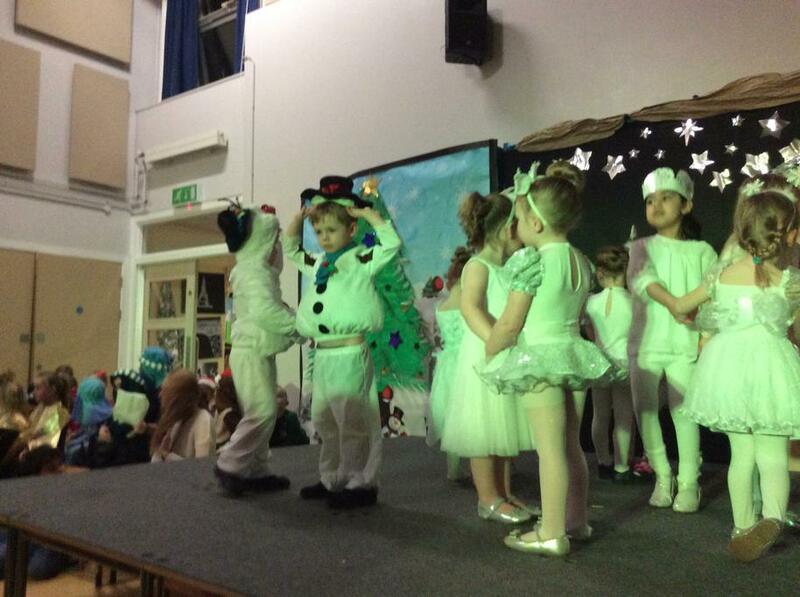 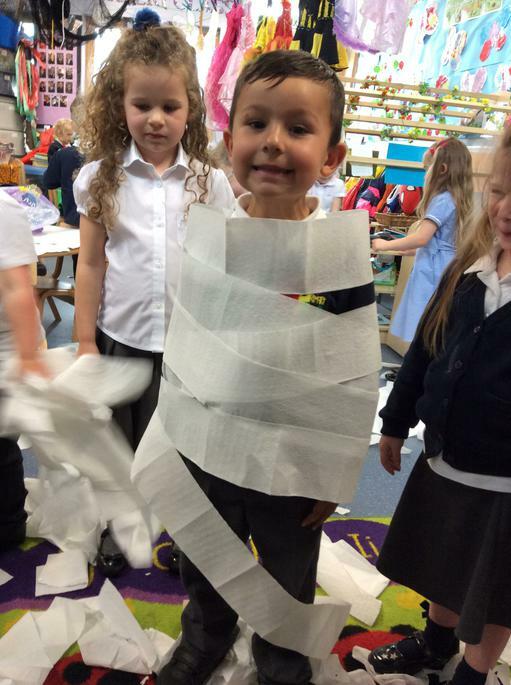 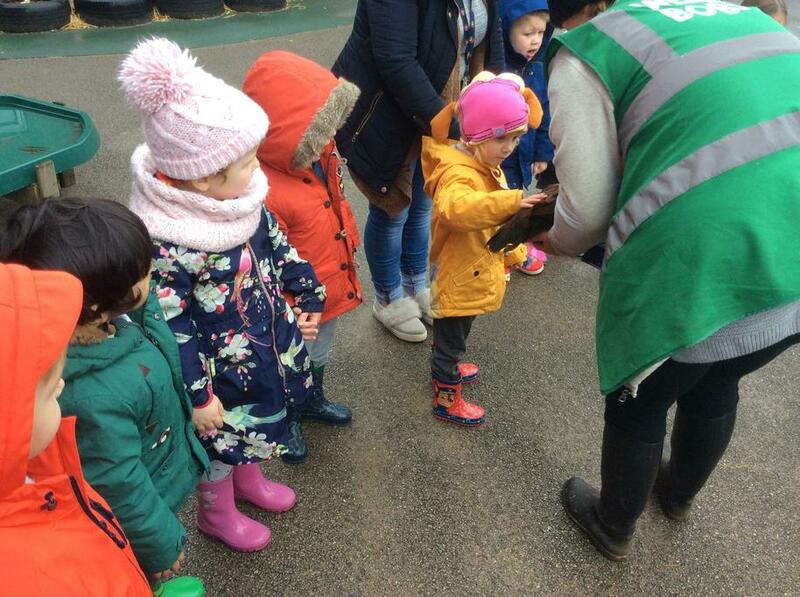 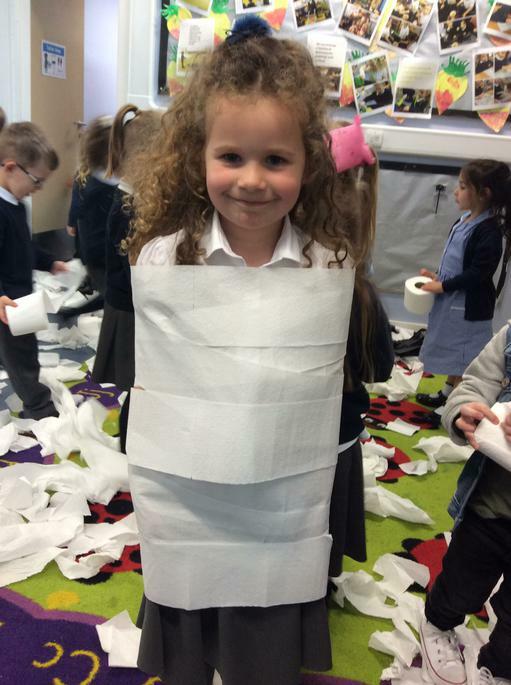 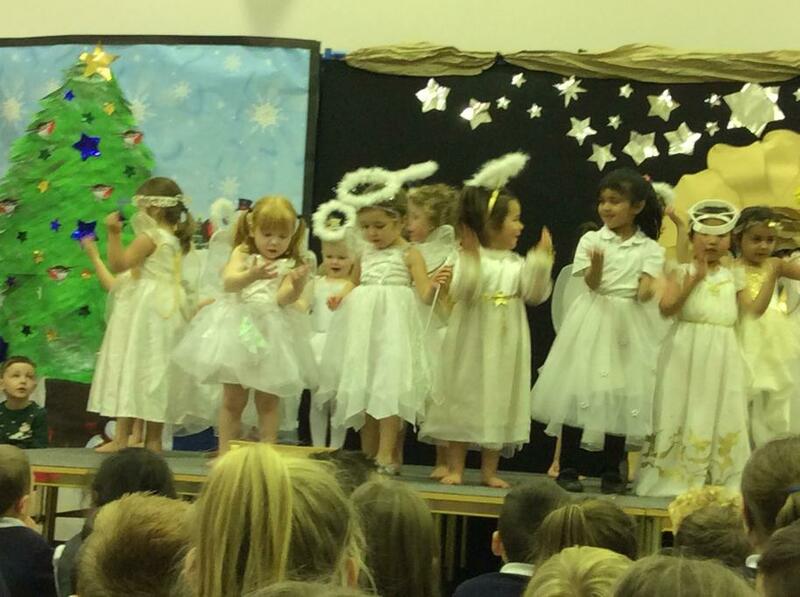 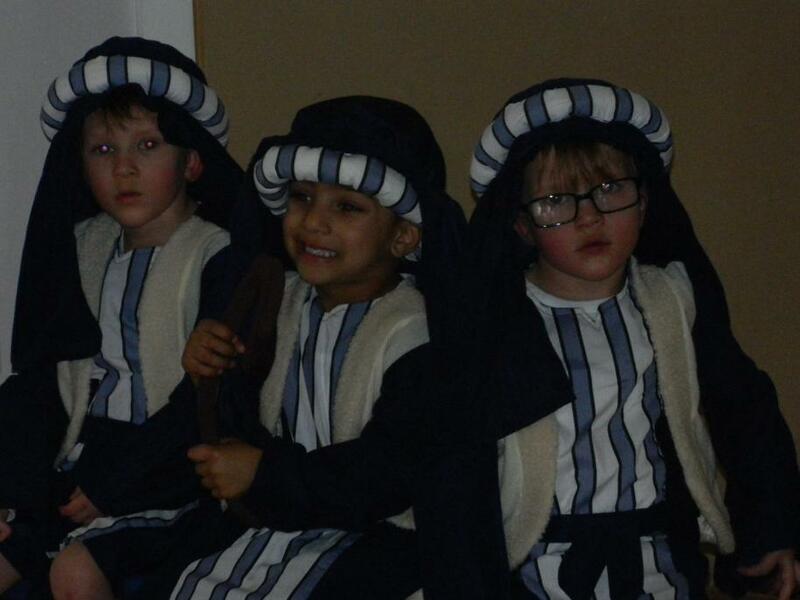 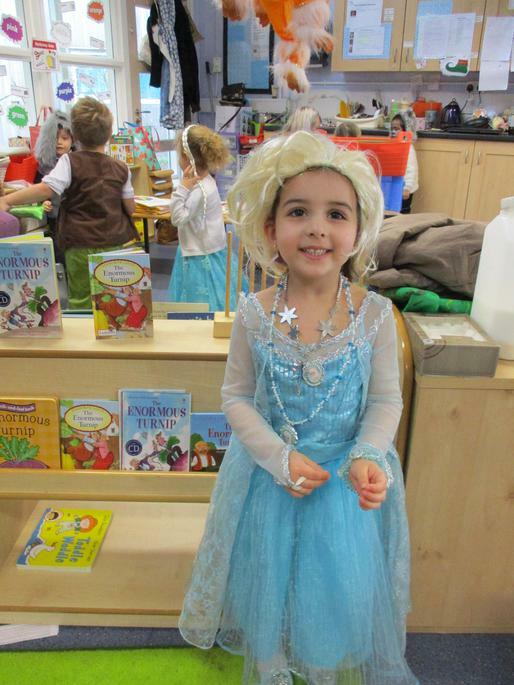 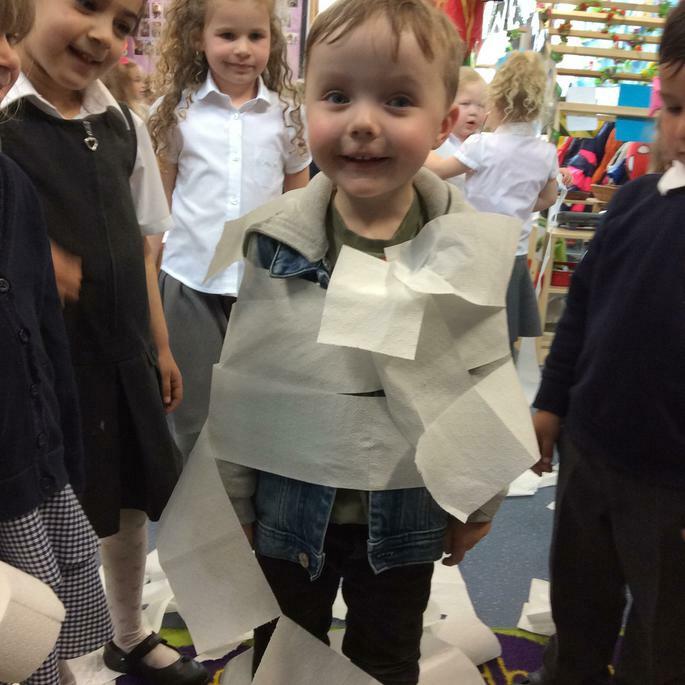 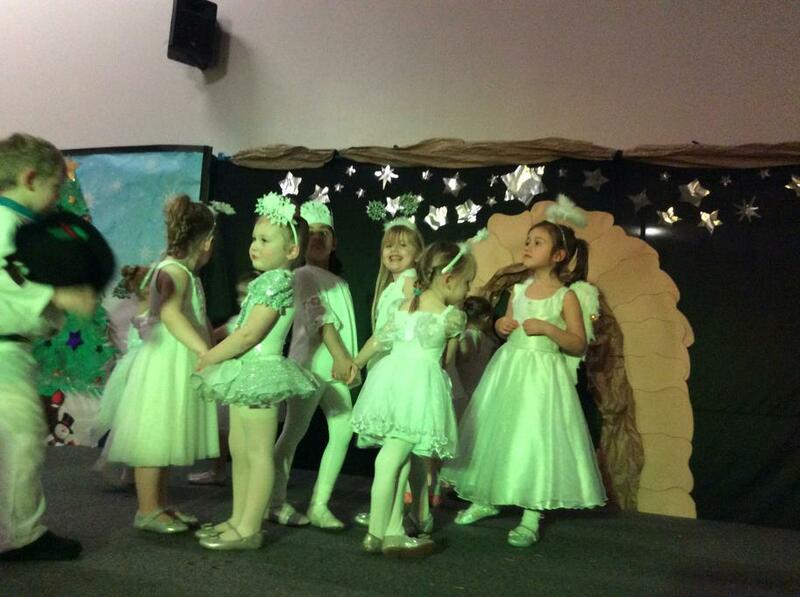 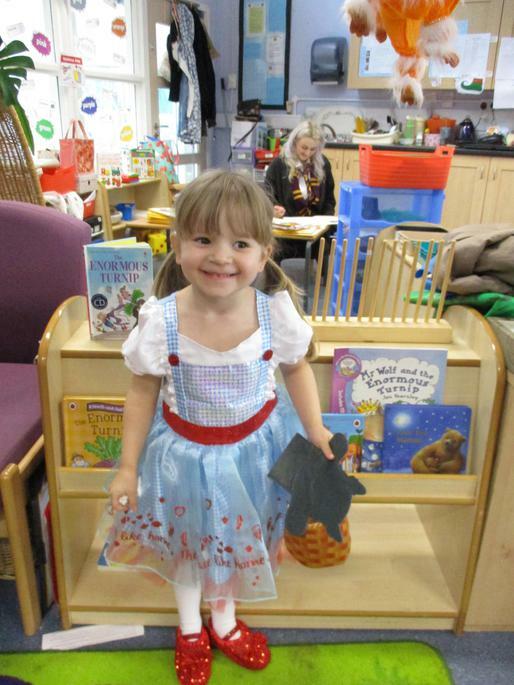 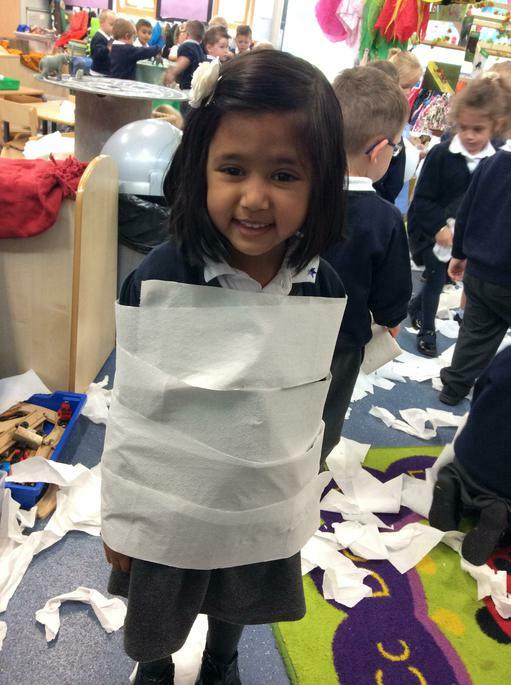 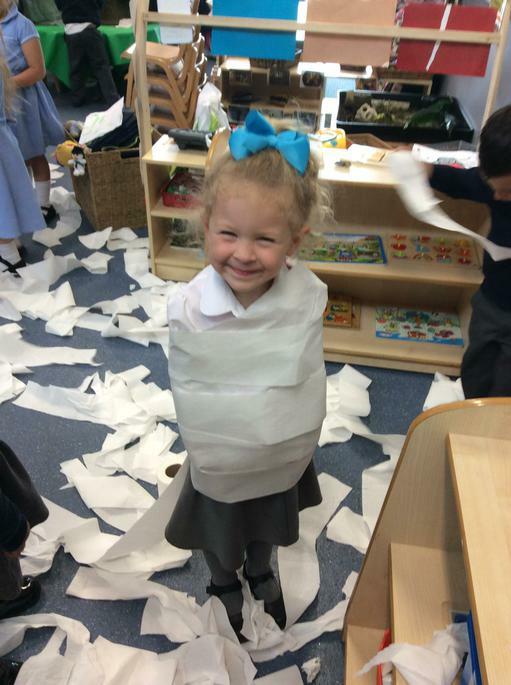 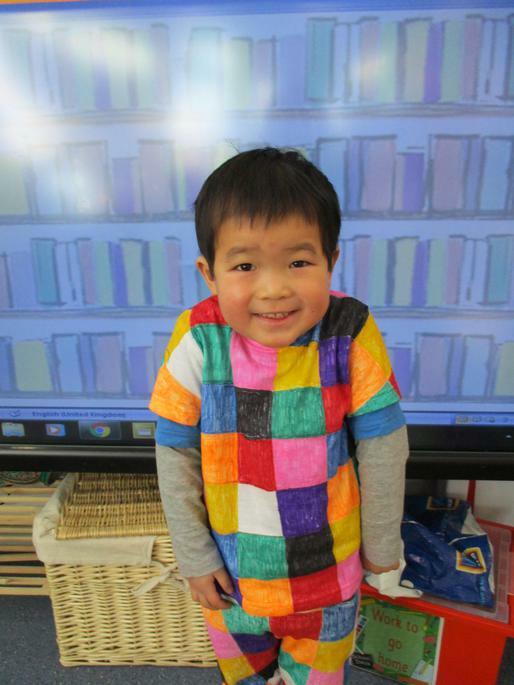 The nursery children have had a busy half term. 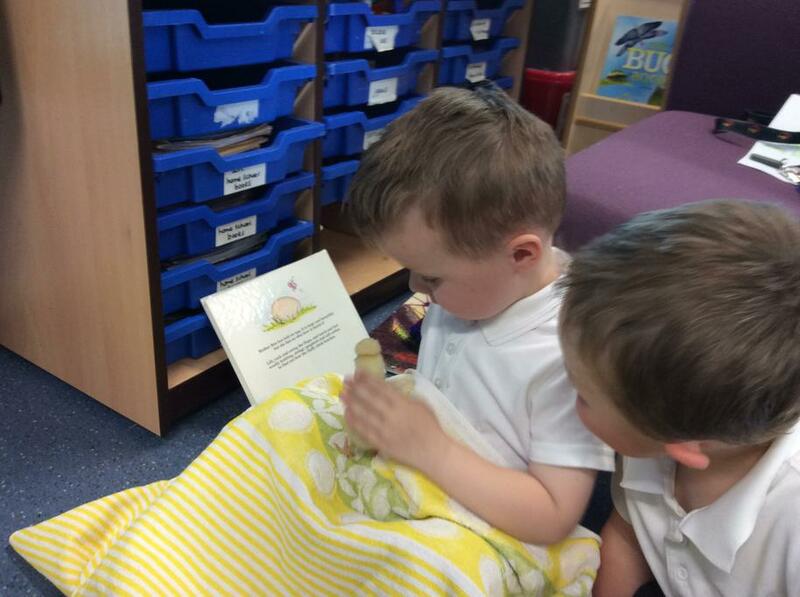 We have used the story of Dear Zoo as our starting point for our learning. 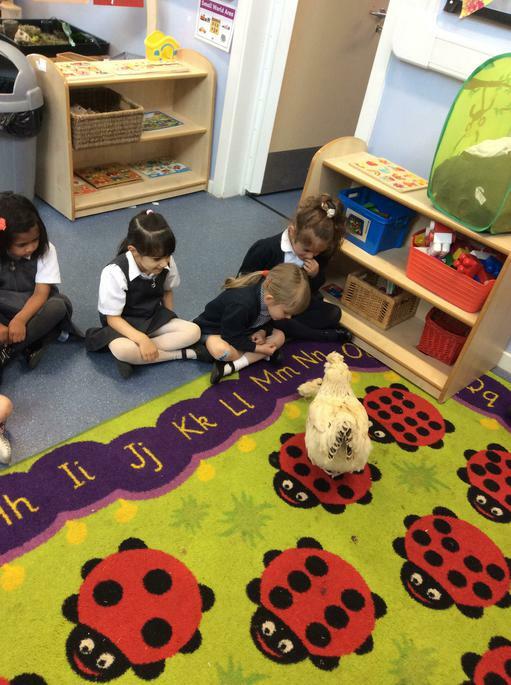 In group activities we have been learning about animals: their size, shape and skin patterns. 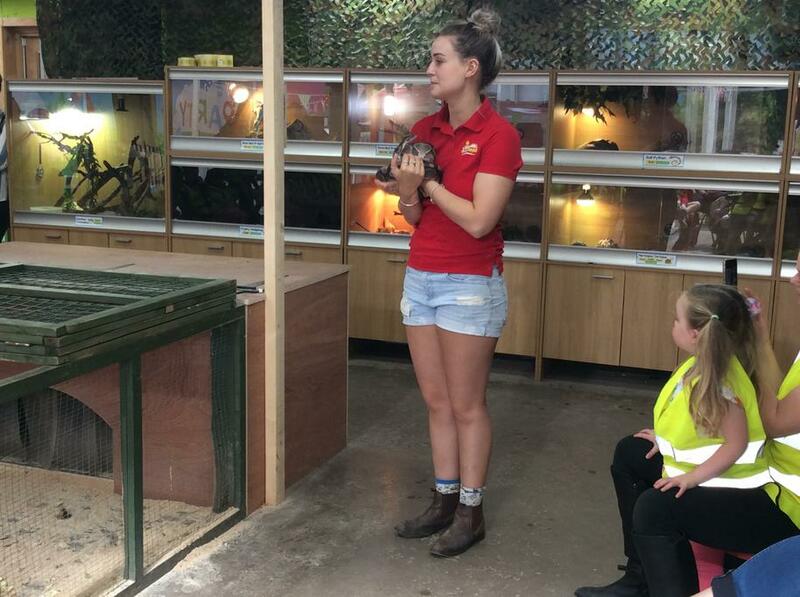 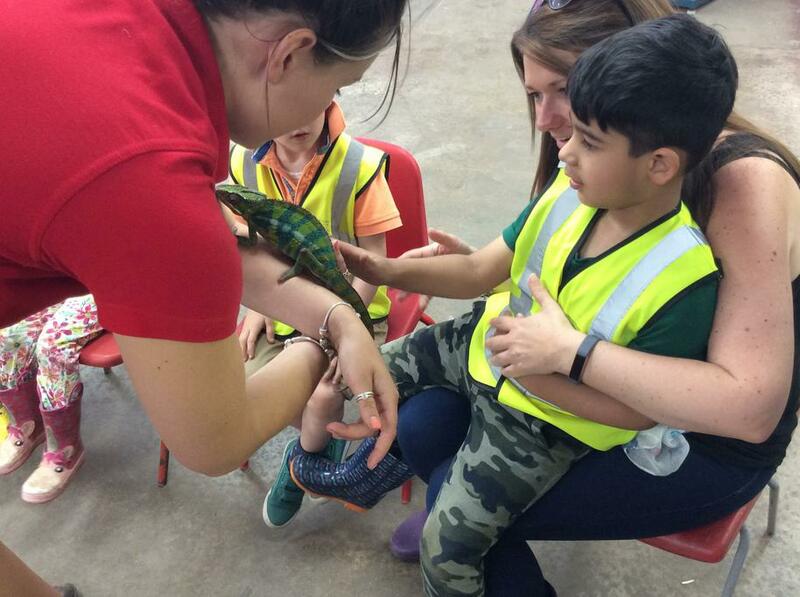 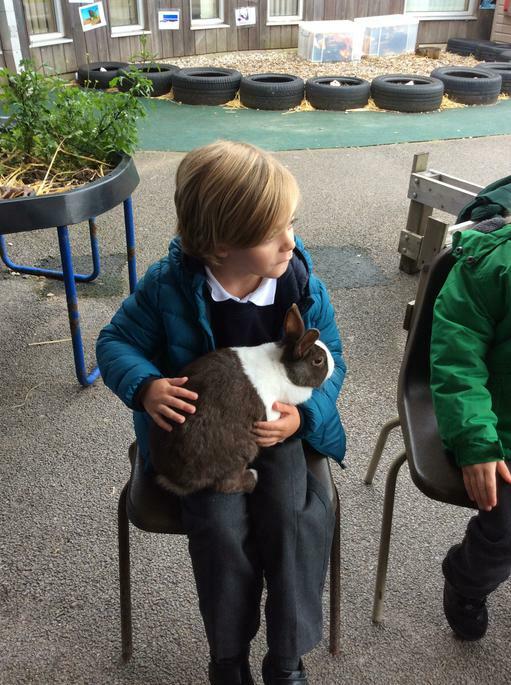 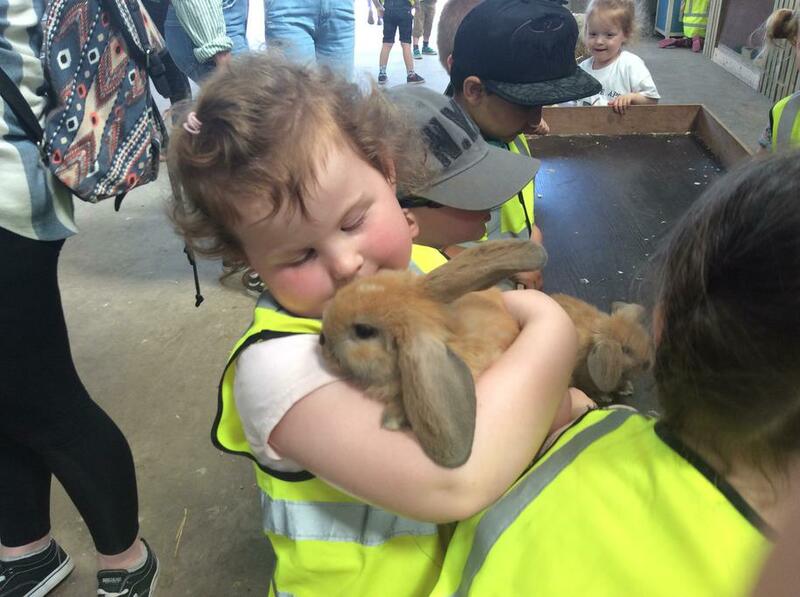 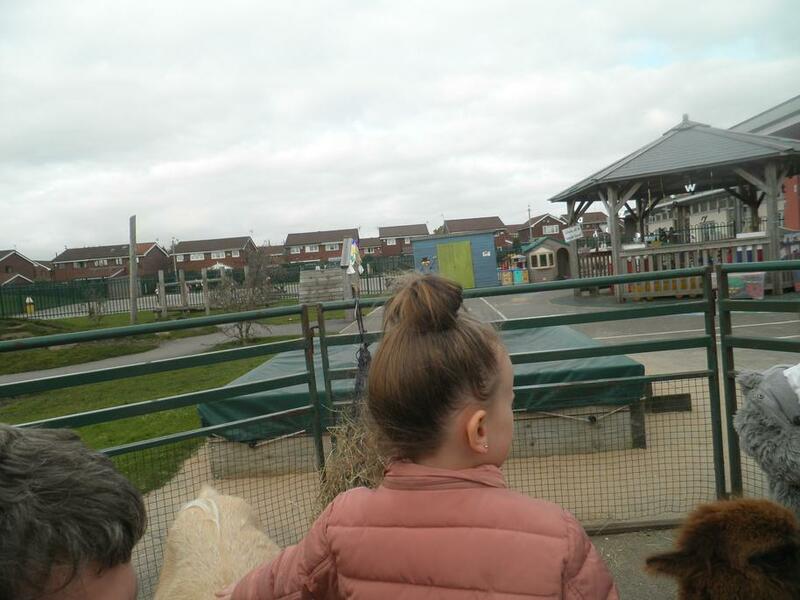 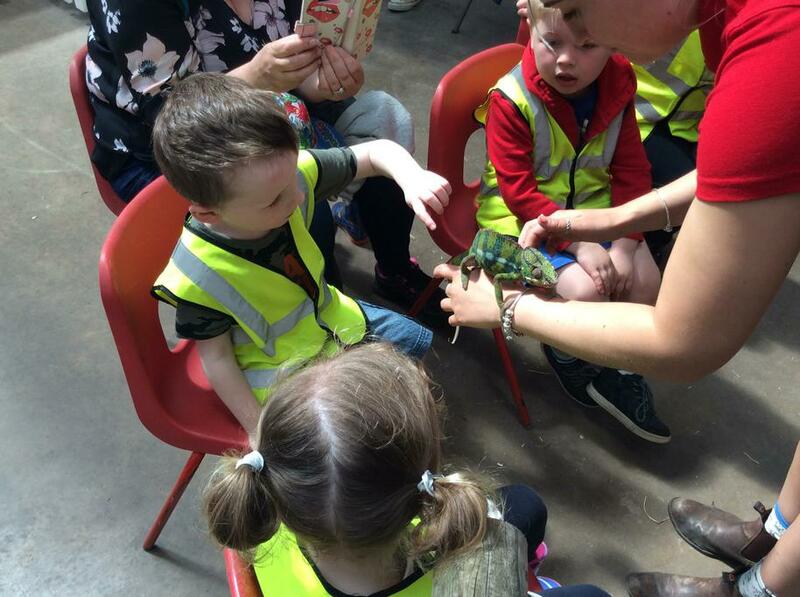 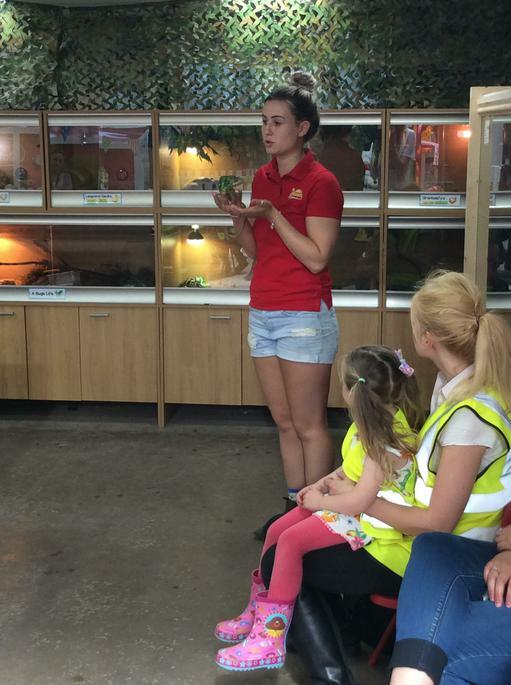 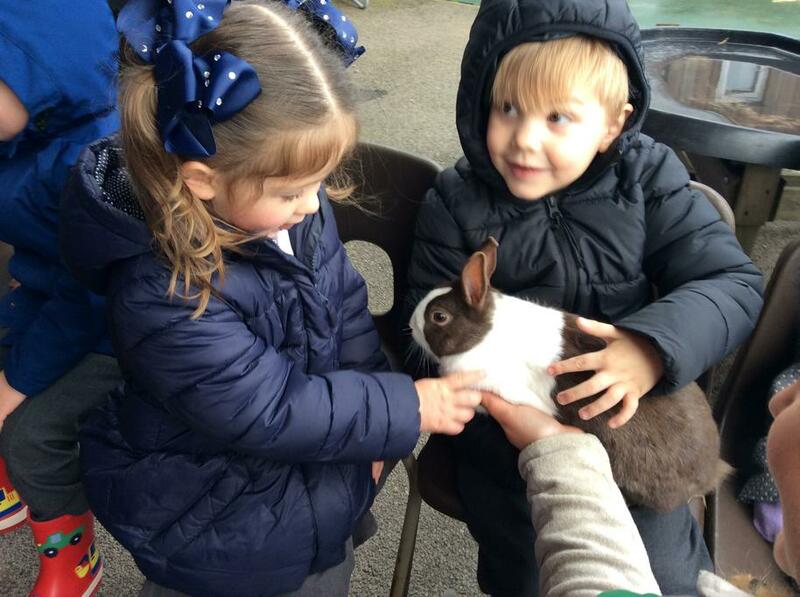 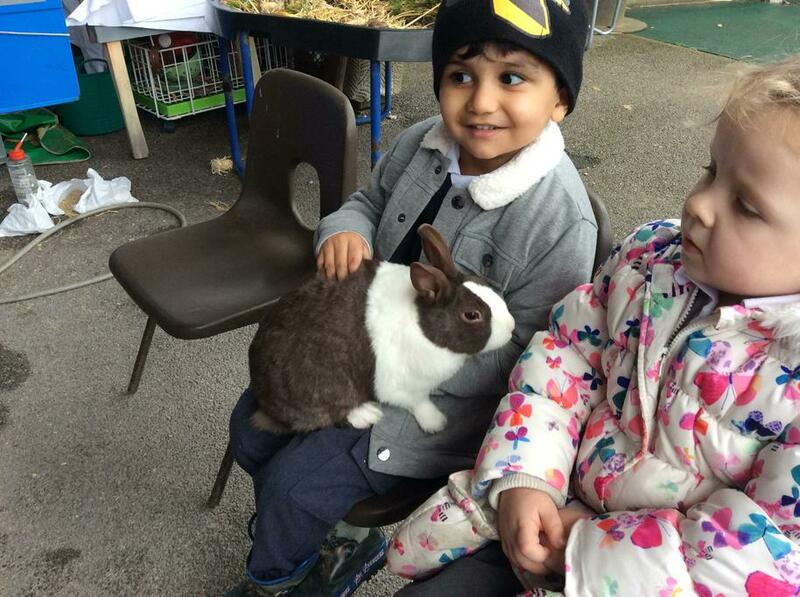 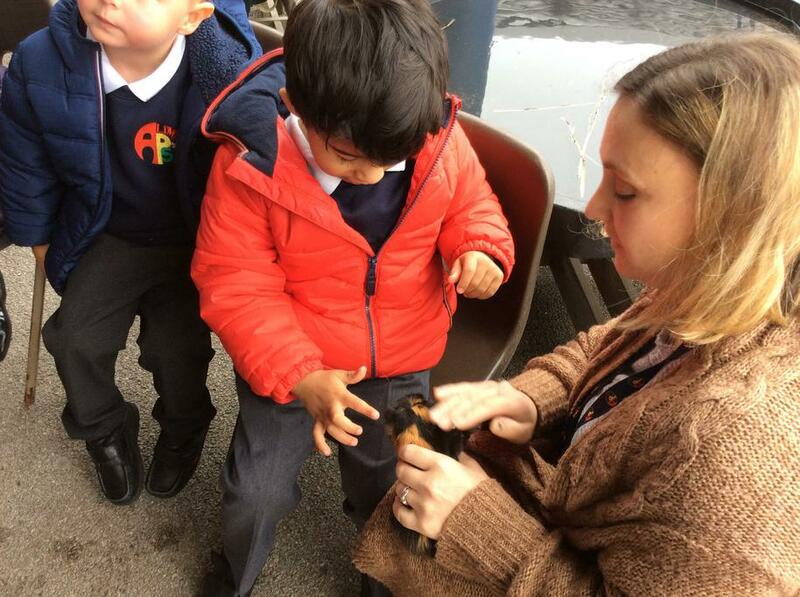 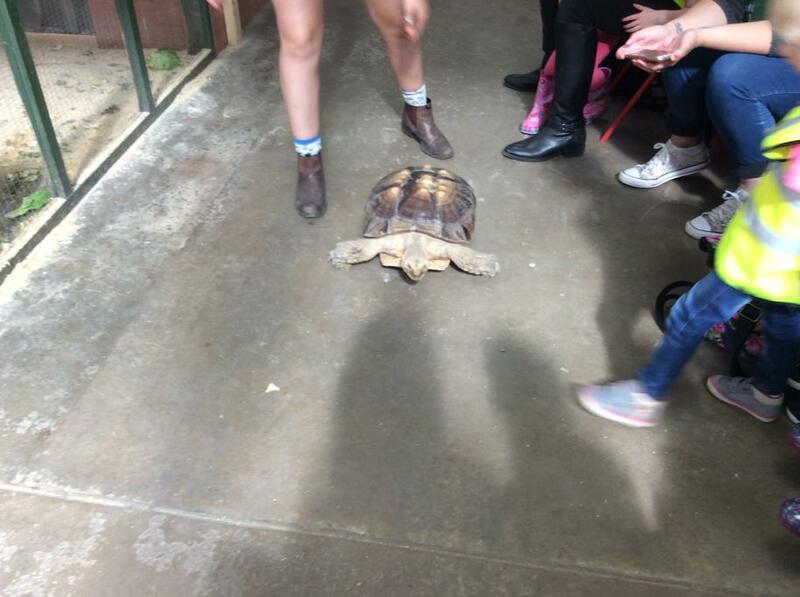 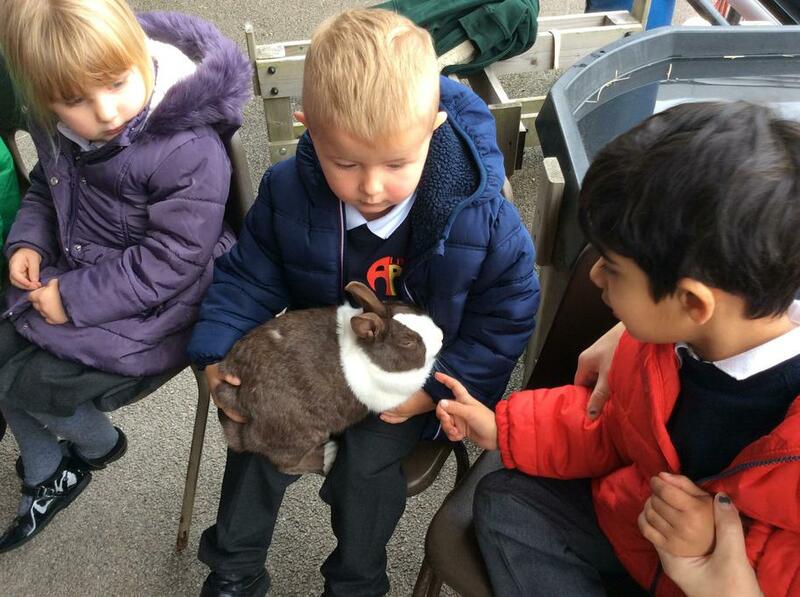 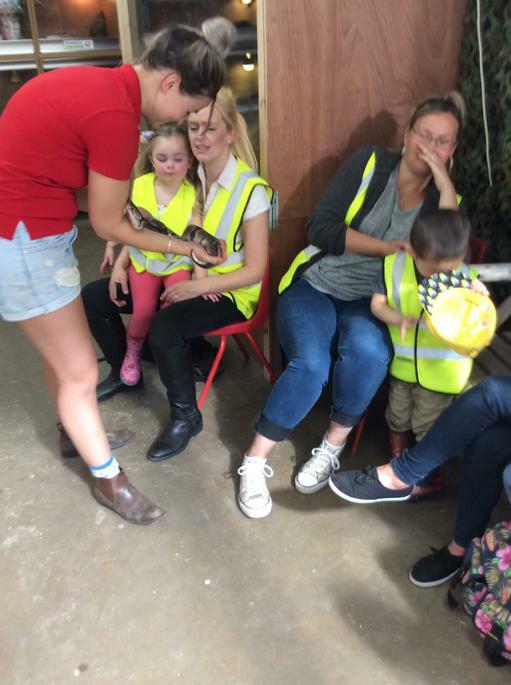 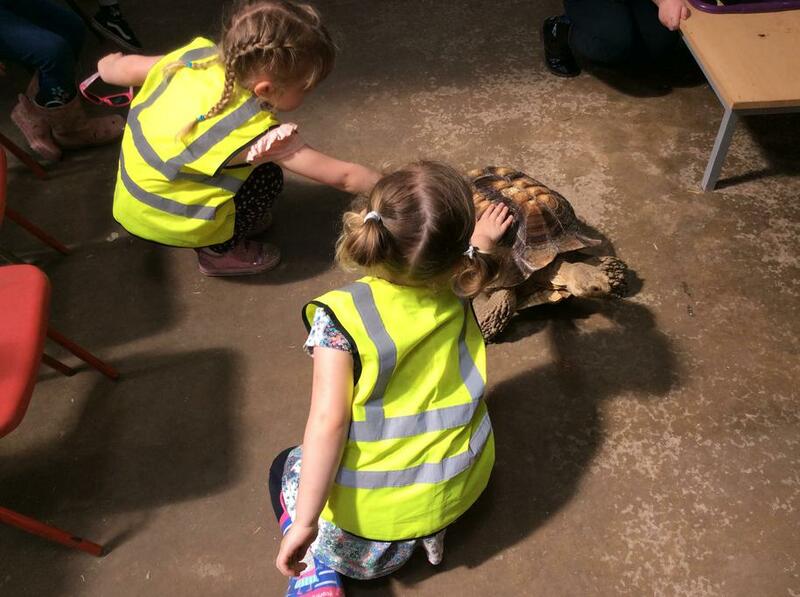 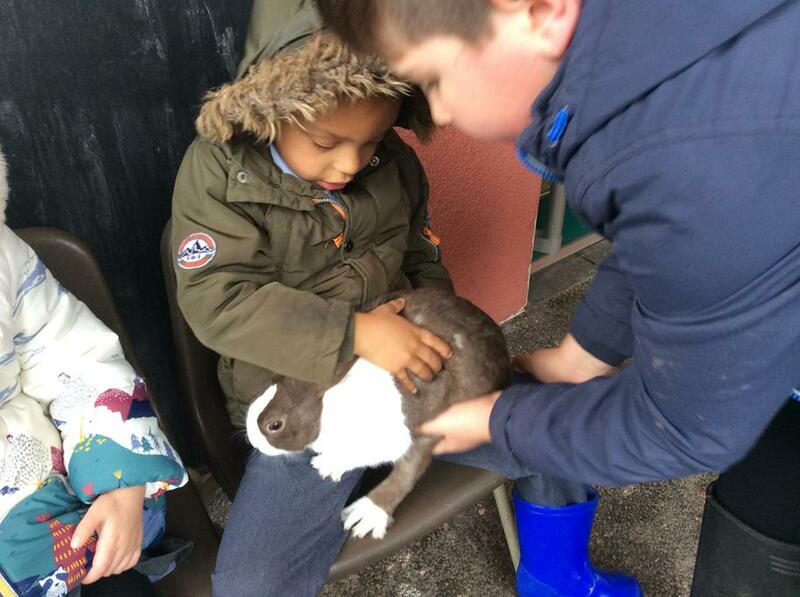 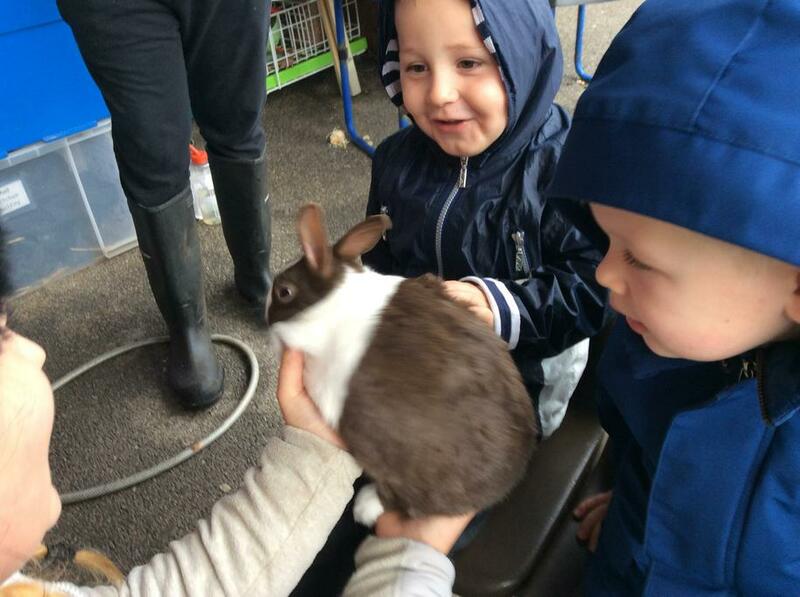 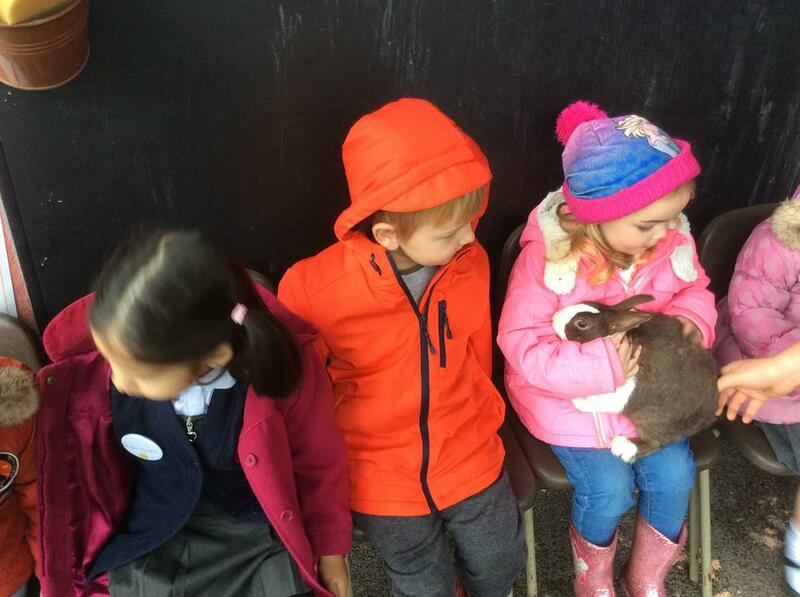 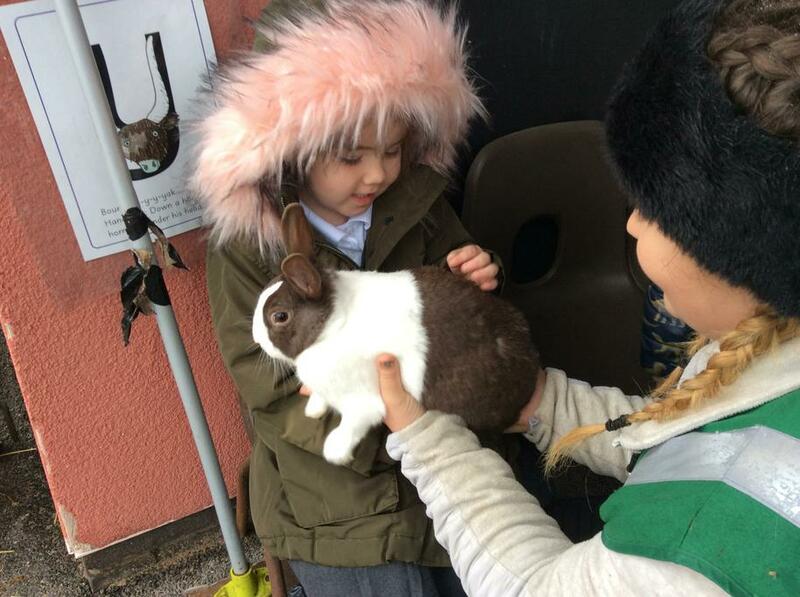 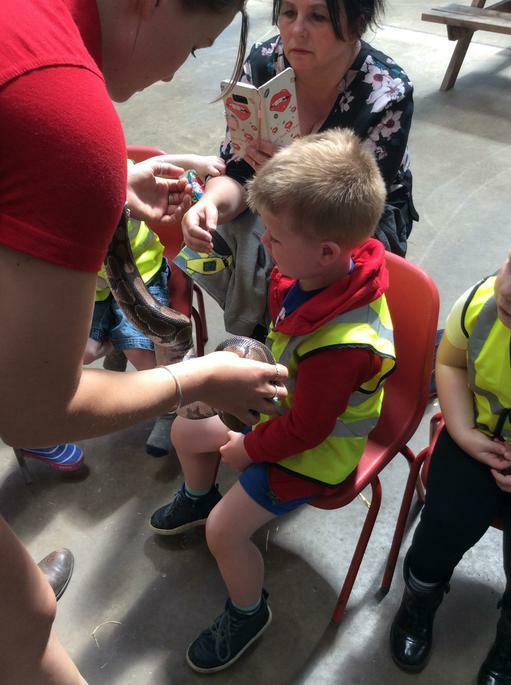 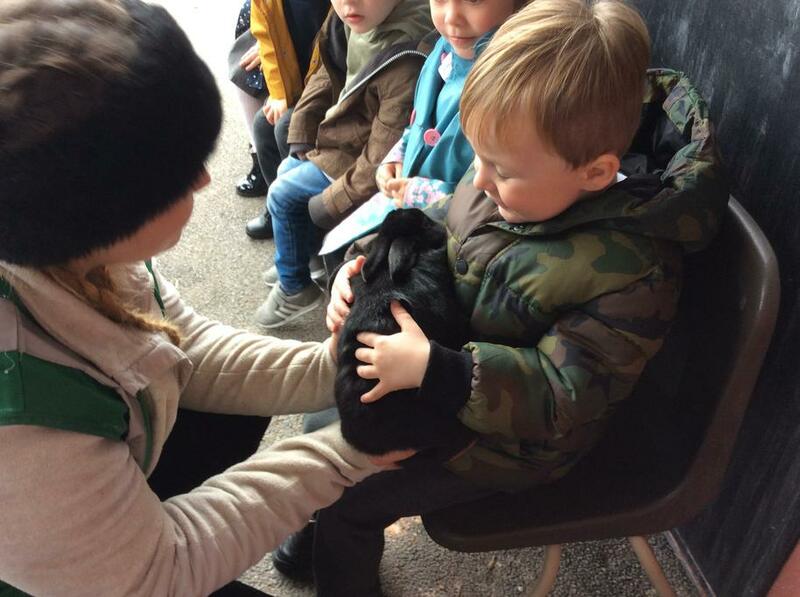 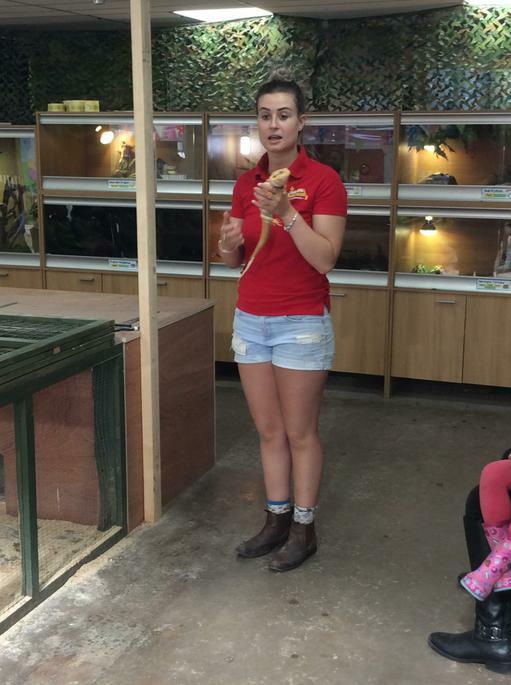 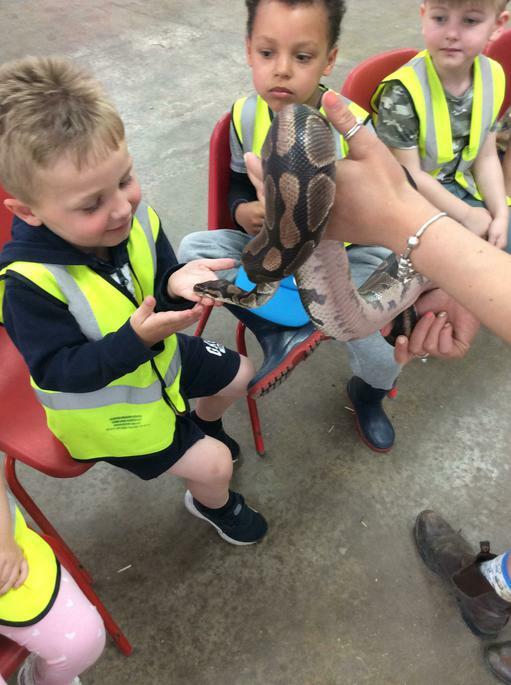 We have thought about animals that would be good to have as pets and we have visited Pets at Home on the Snipe to look at some of the pets that you could buy to live at your house. 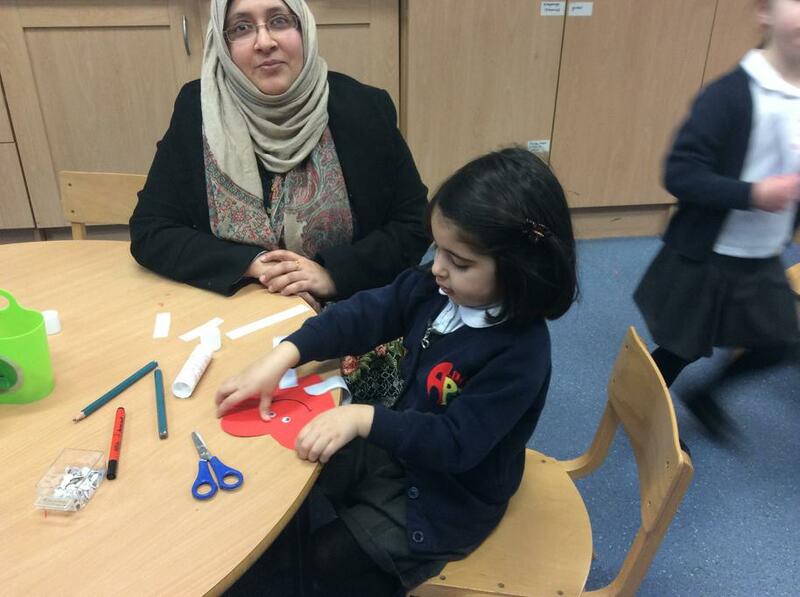 For Mothers Day, we talked about our mums, what makes them special and what can make them cross. 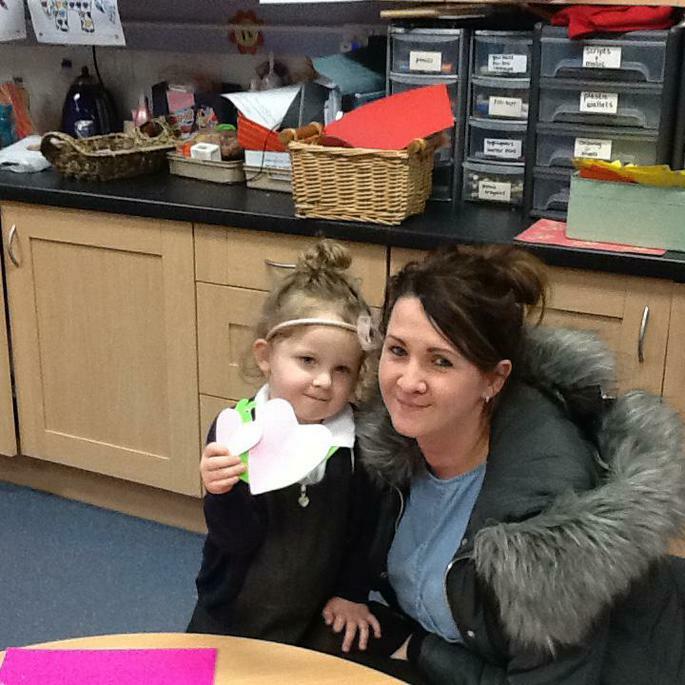 We made lots of lovely things to give to our mums as treats. 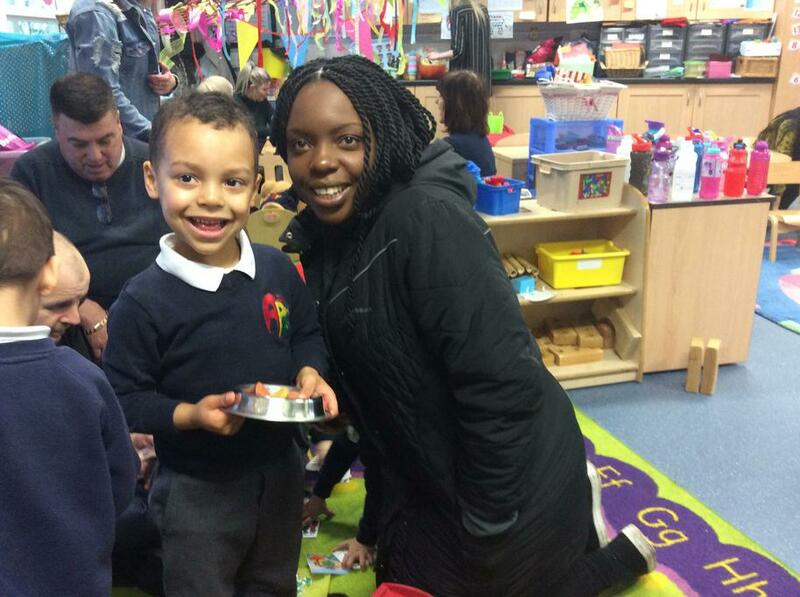 We enjoyed bringing in some money from home and choosing a gift for our mummys from the Mothers Day stall.